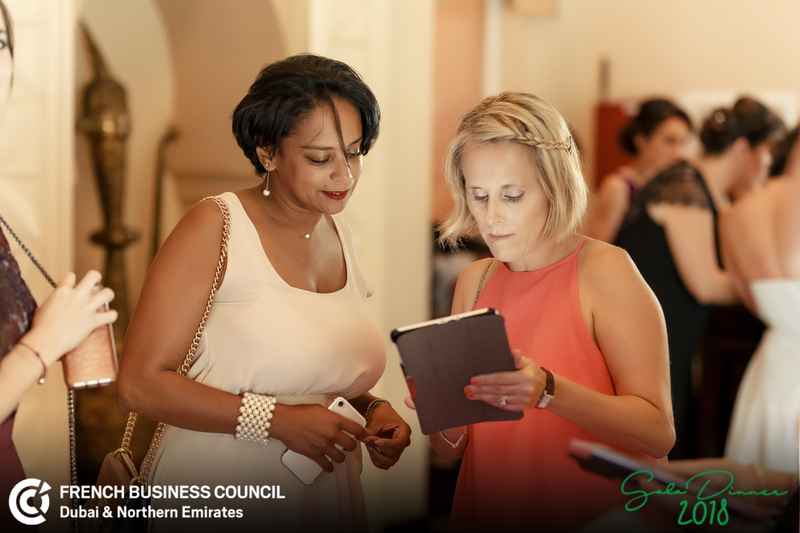 Diversity and Inclusion is an engine for economic prosperity and positive change. 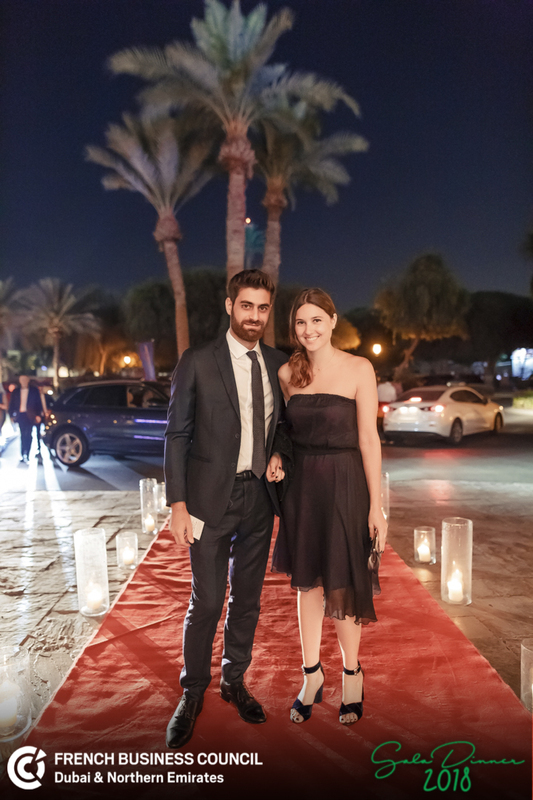 This year, we wish to share with you a memorable evening. 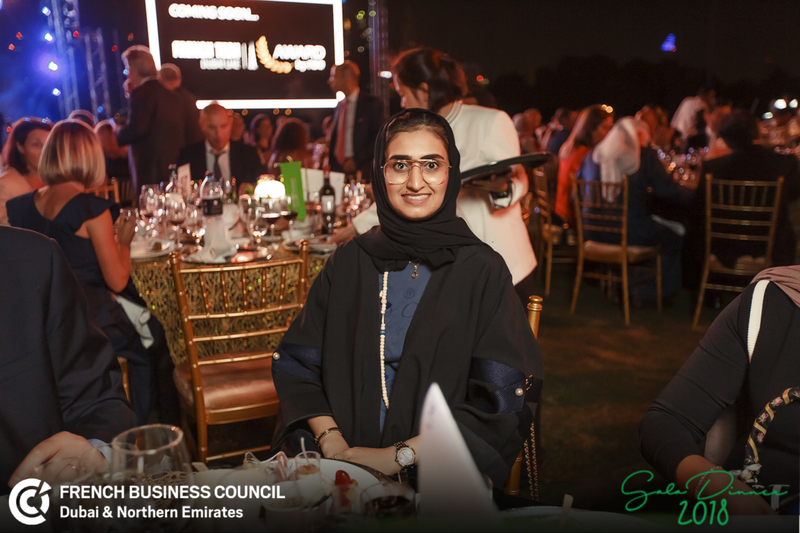 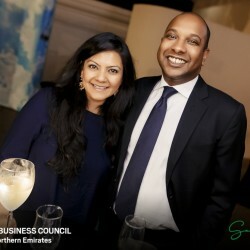 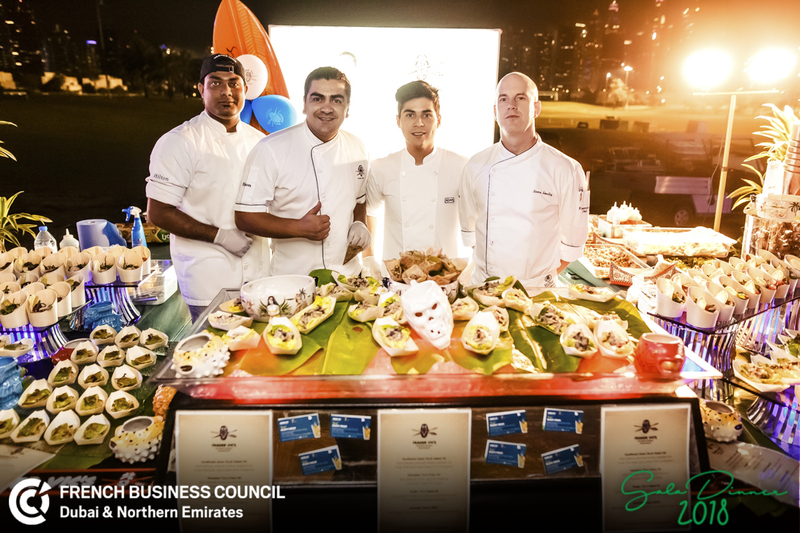 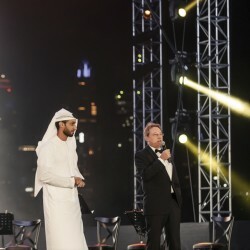 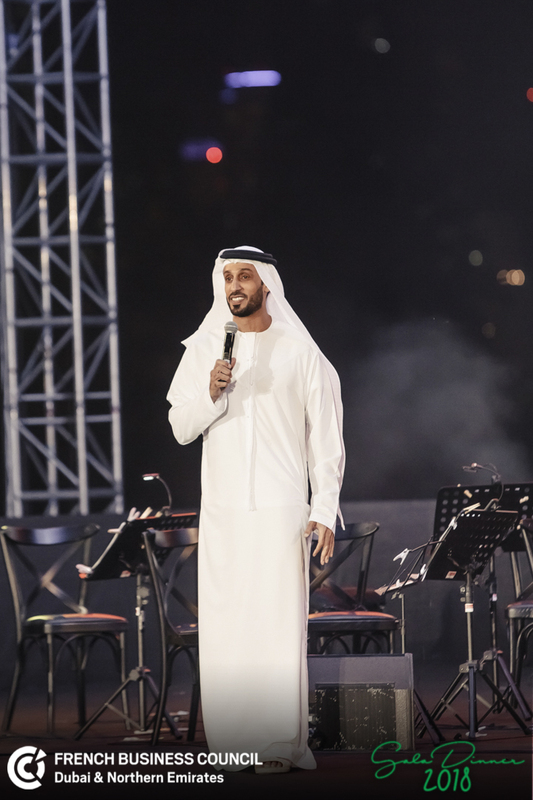 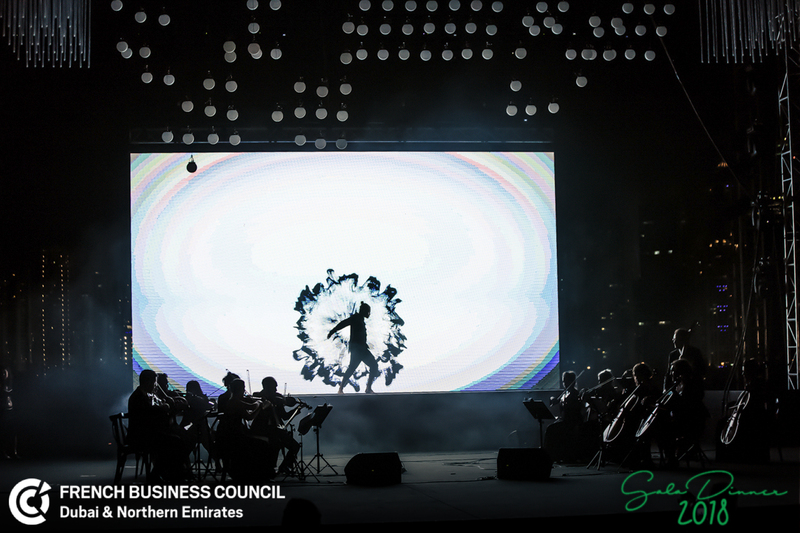 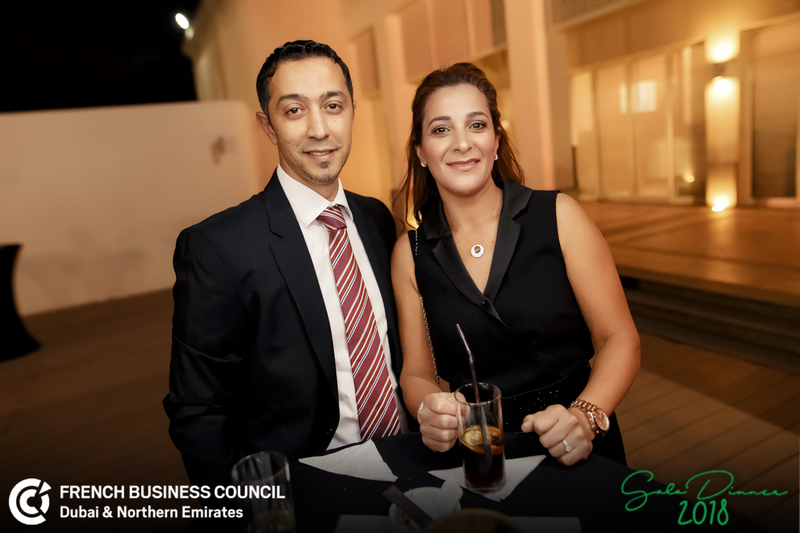 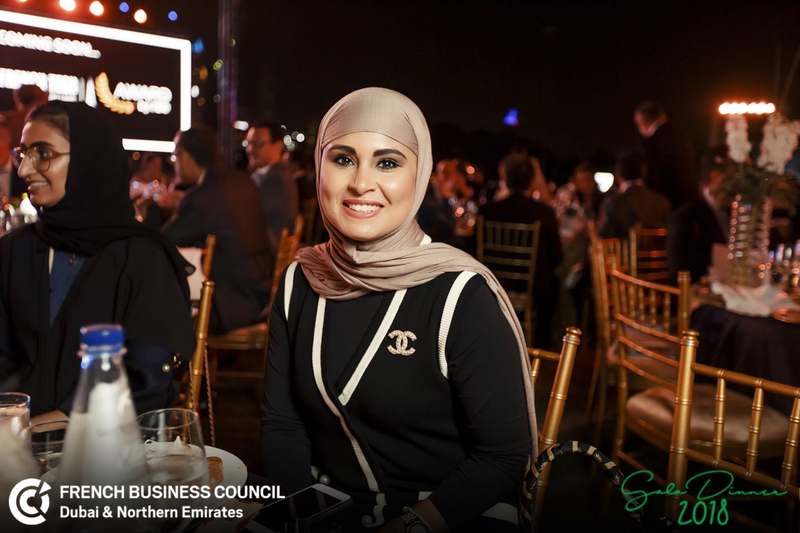 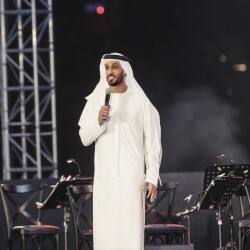 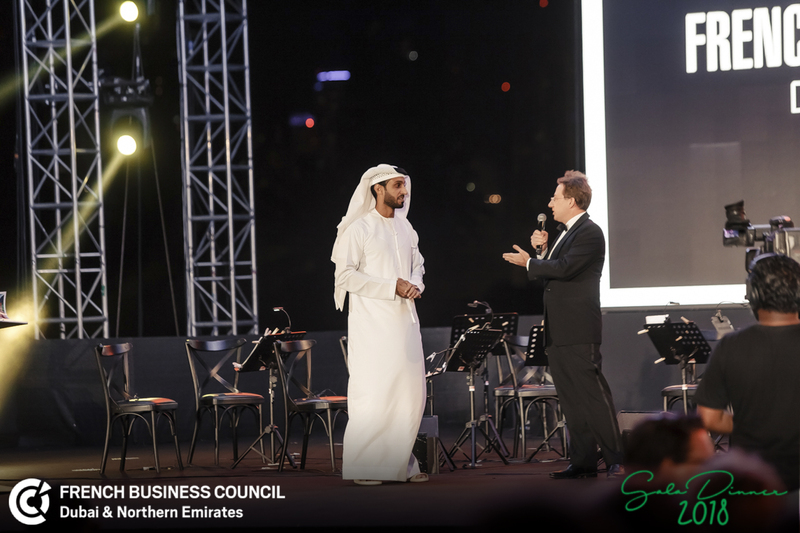 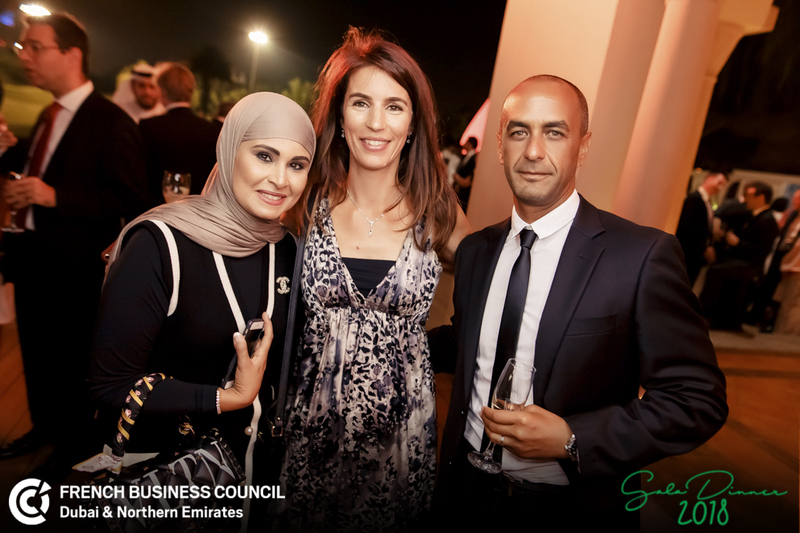 An evening to “Embrace Diversity” together, in memory of late Sheikh Zayed, Father of the Nation. 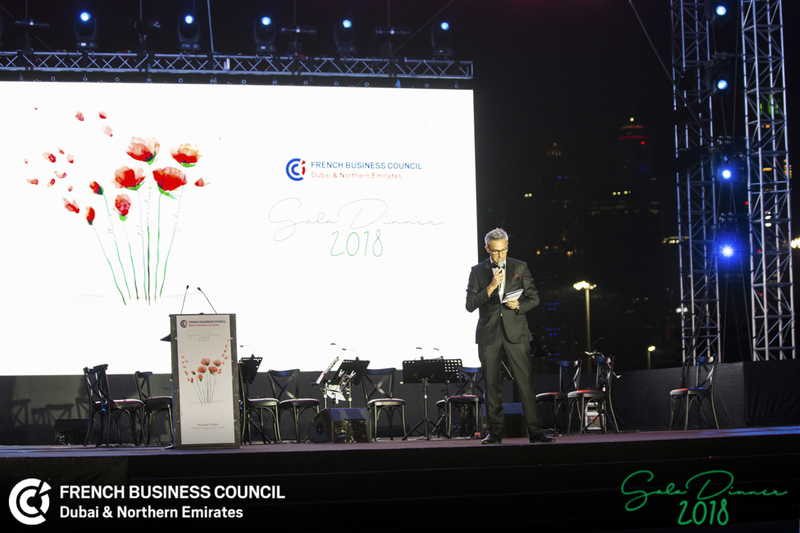 To illustrate our 2018 Gala Dinner theme, we have chosen the poppy, in French “Coquelicot”. 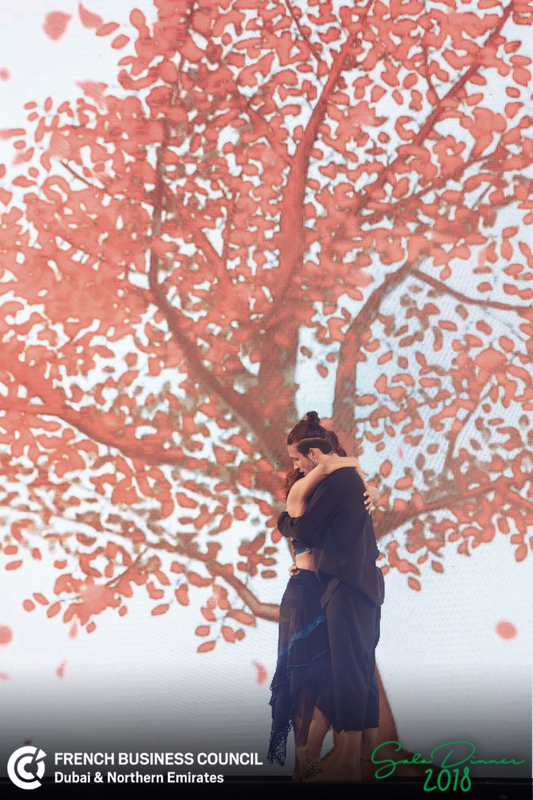 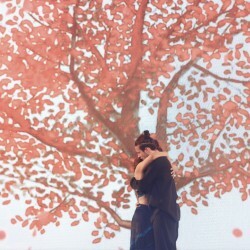 Indeed this flower grows and lives together in harmony with all other flowers. 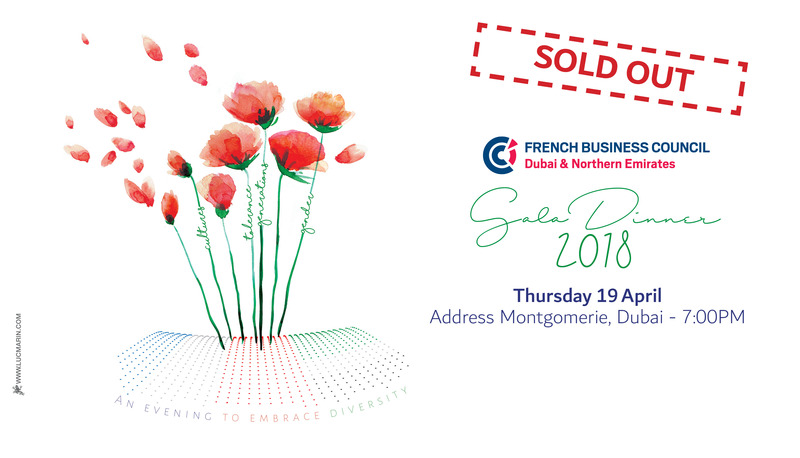 This invitation is a unique watercolor painting created exclusively for the FBC Gala Dinner by Mr. Luc Marin, French artist based in Dubai. 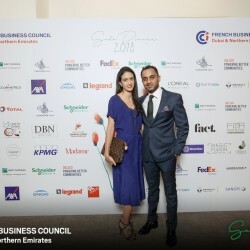 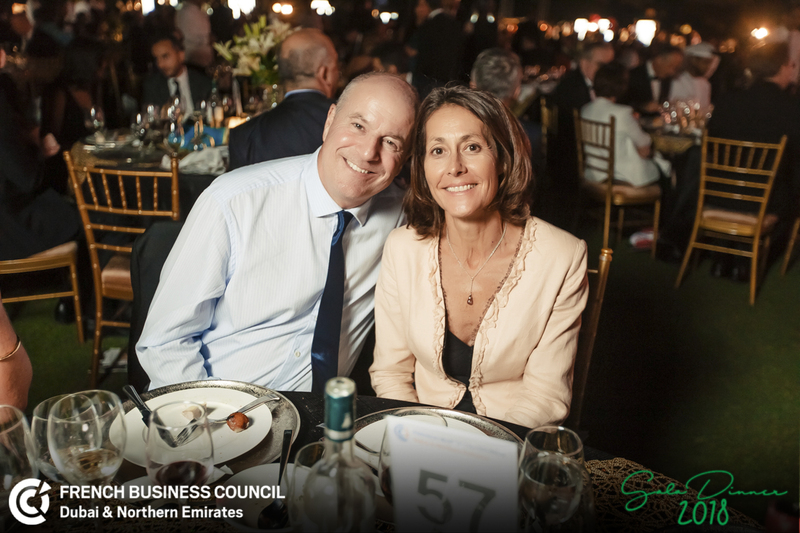 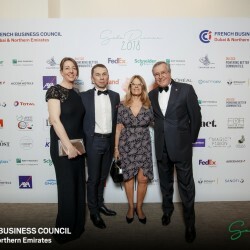 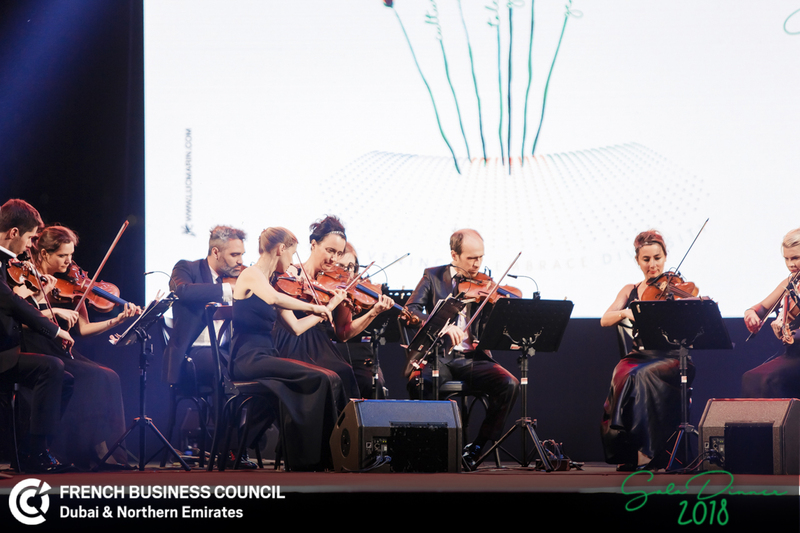 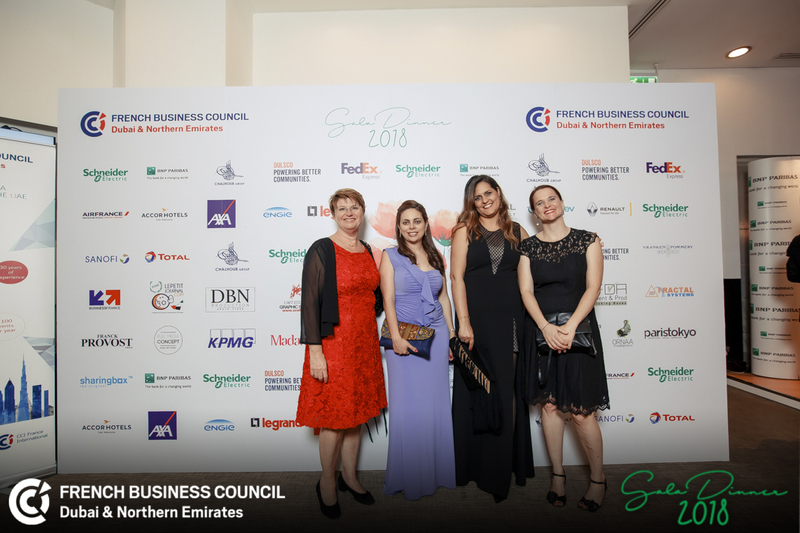 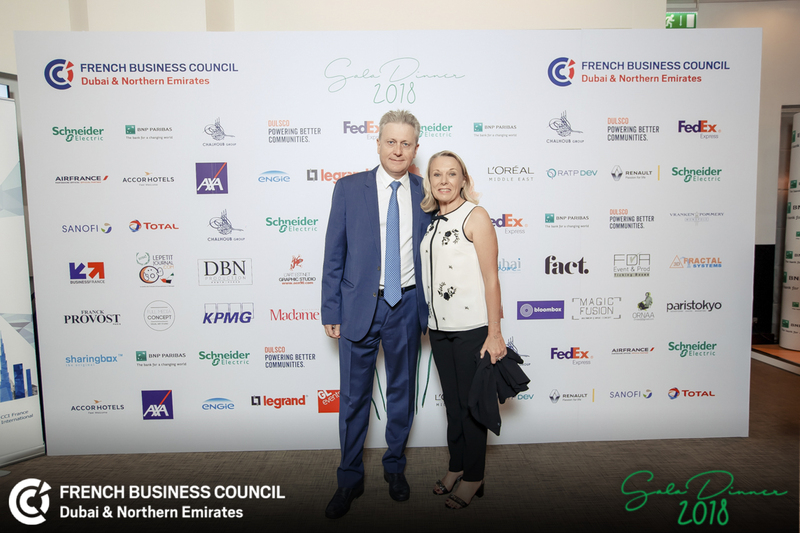 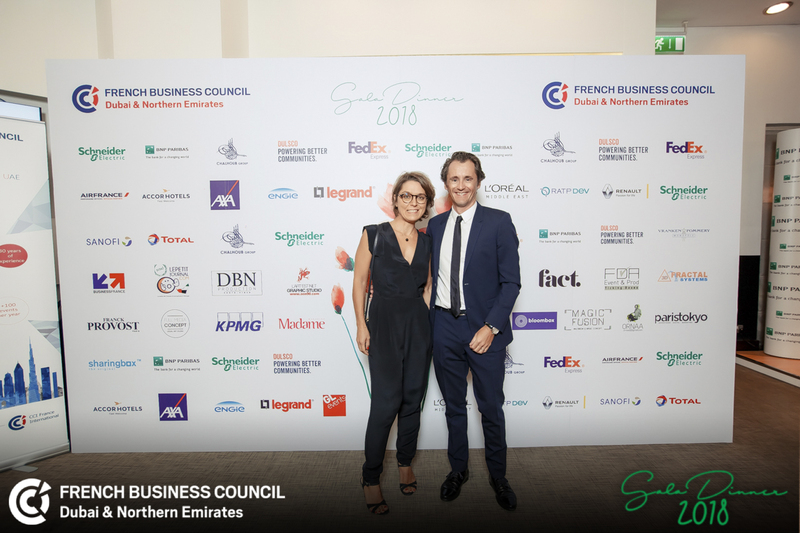 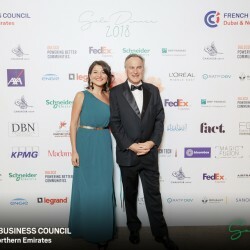 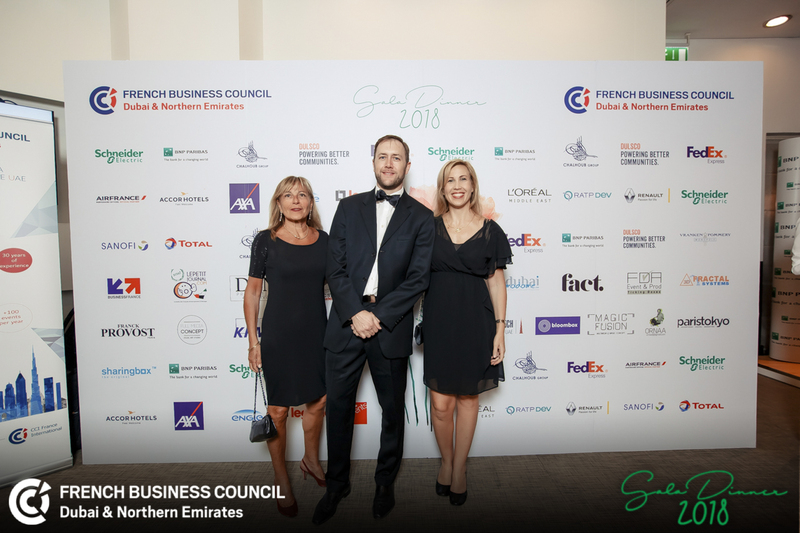 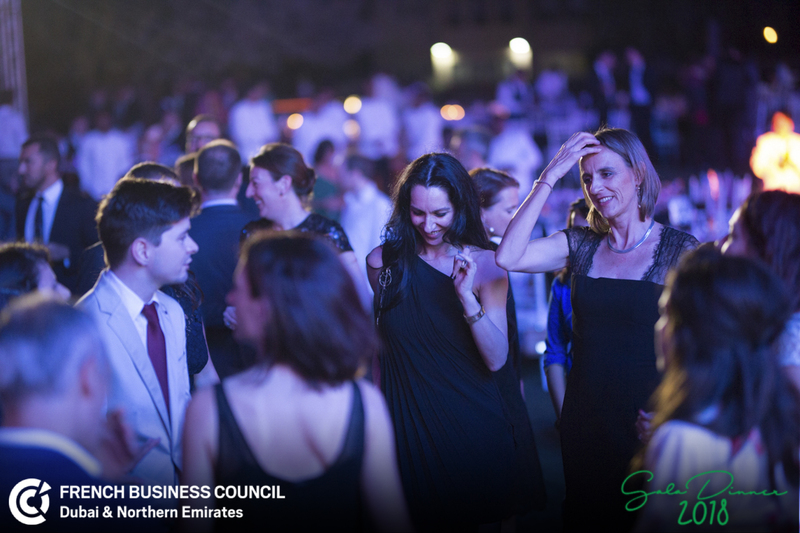 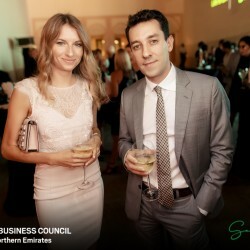 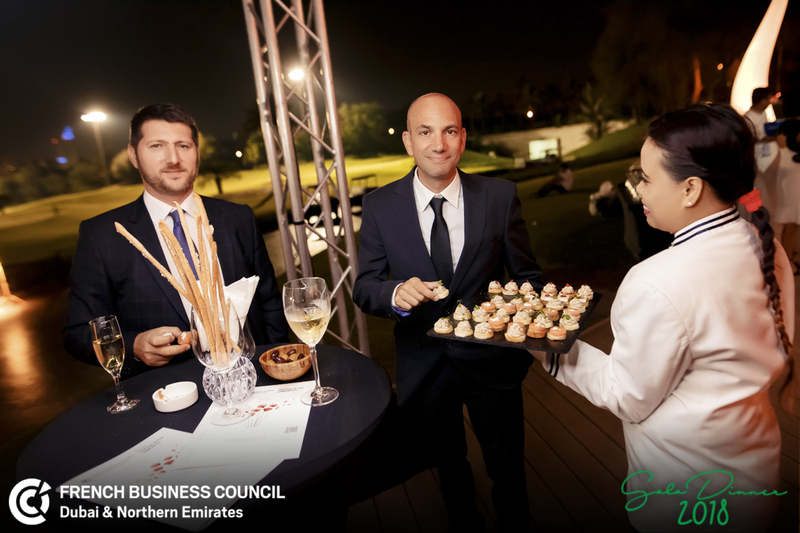 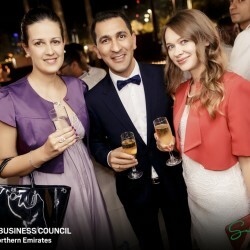 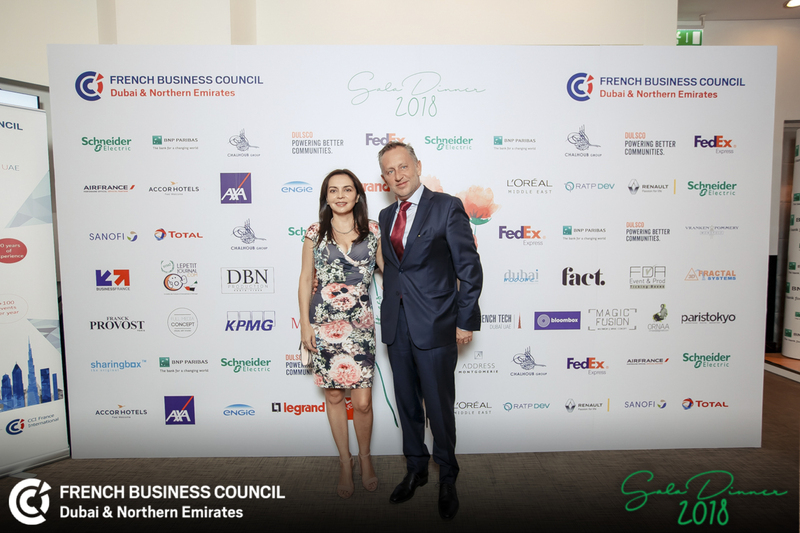 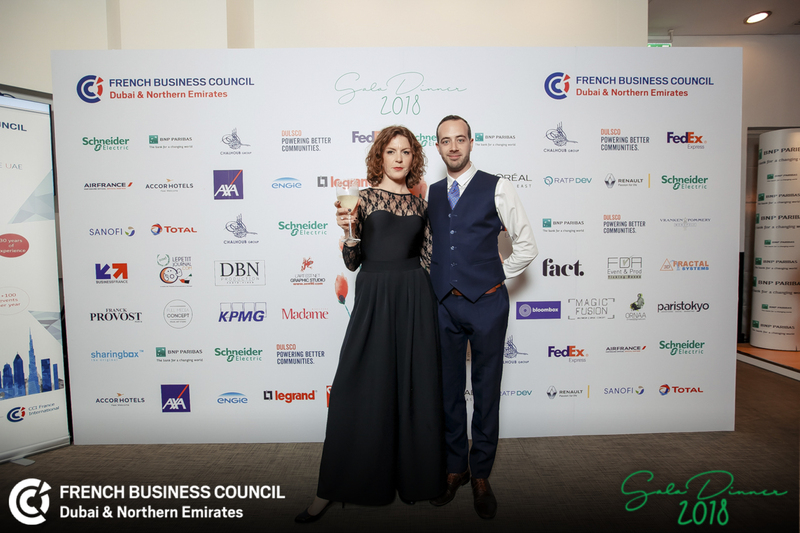 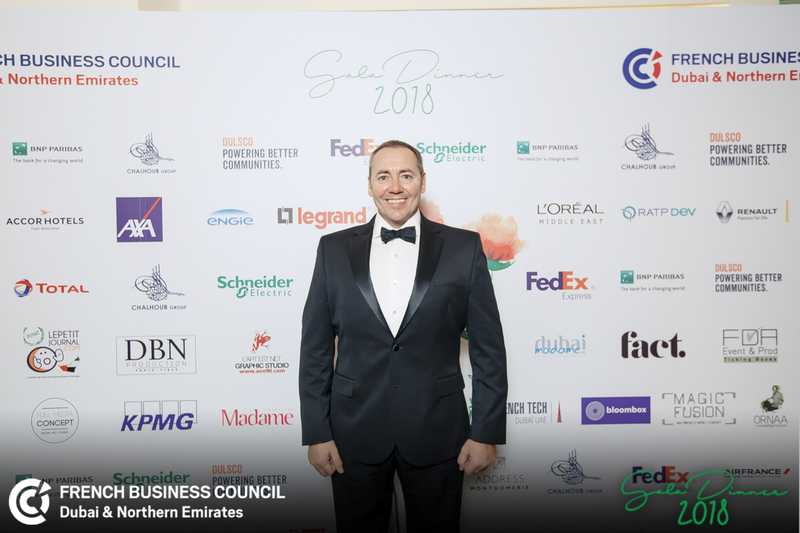 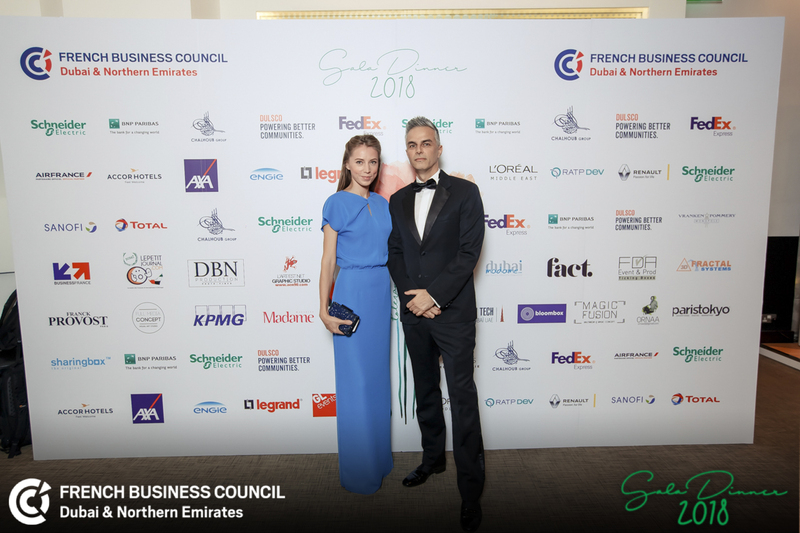 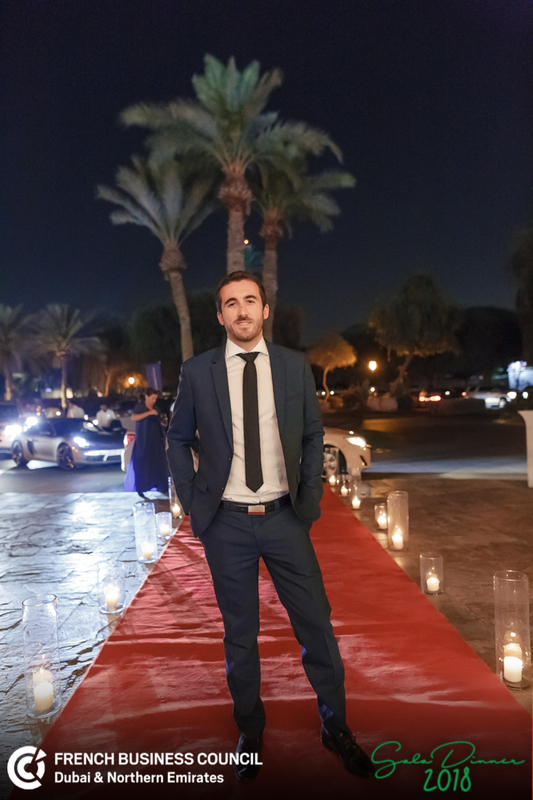 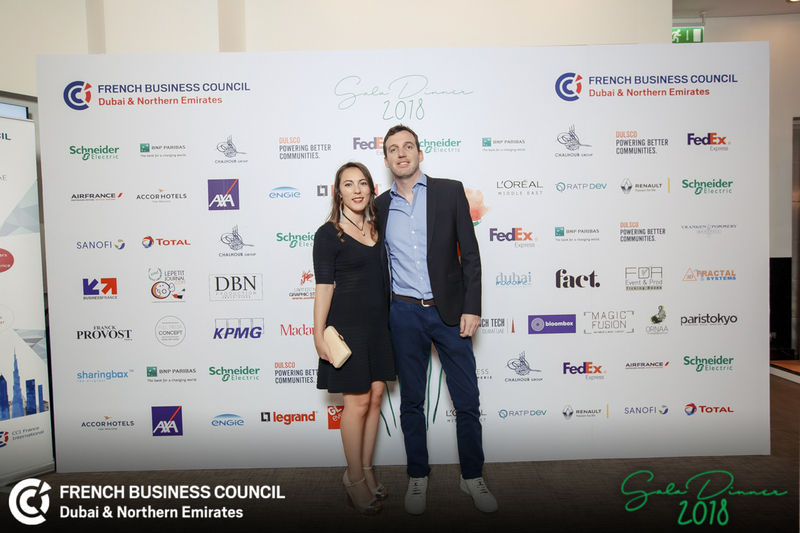 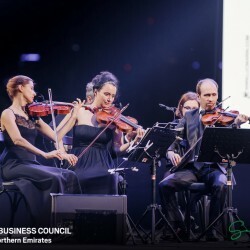 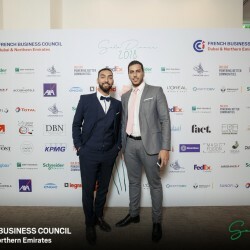 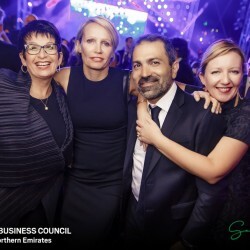 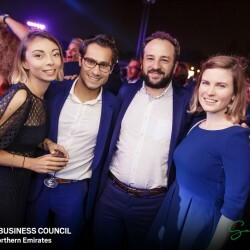 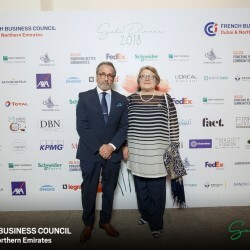 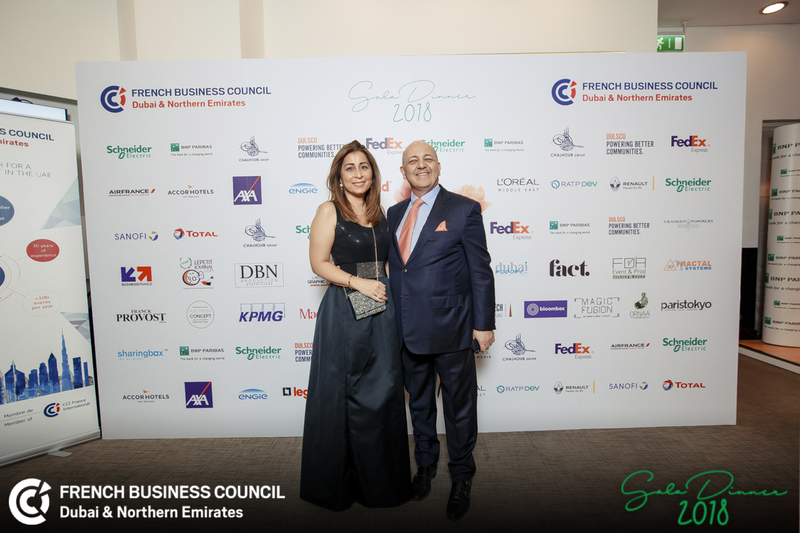 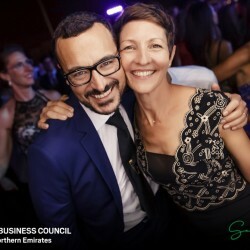 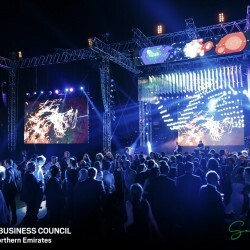 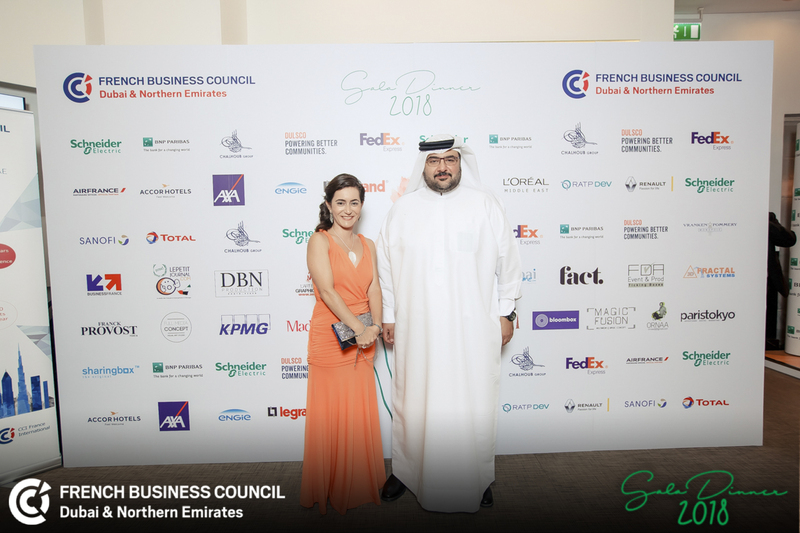 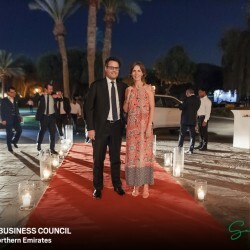 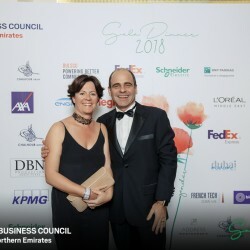 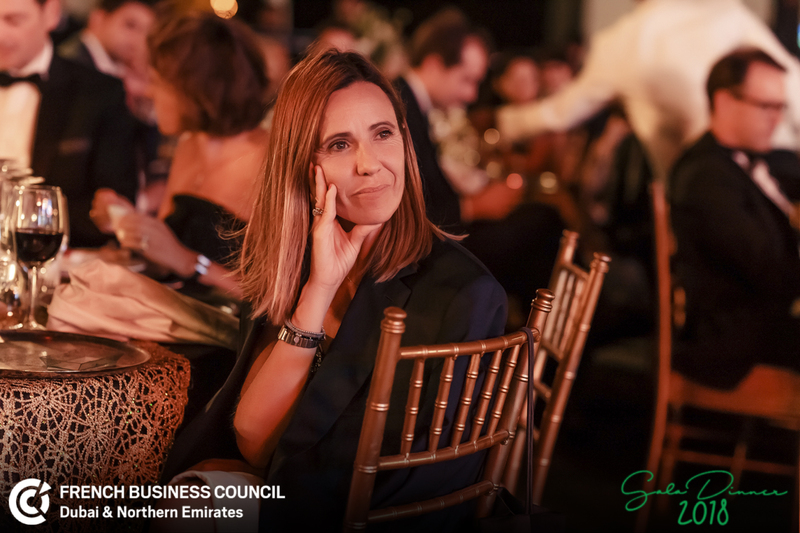 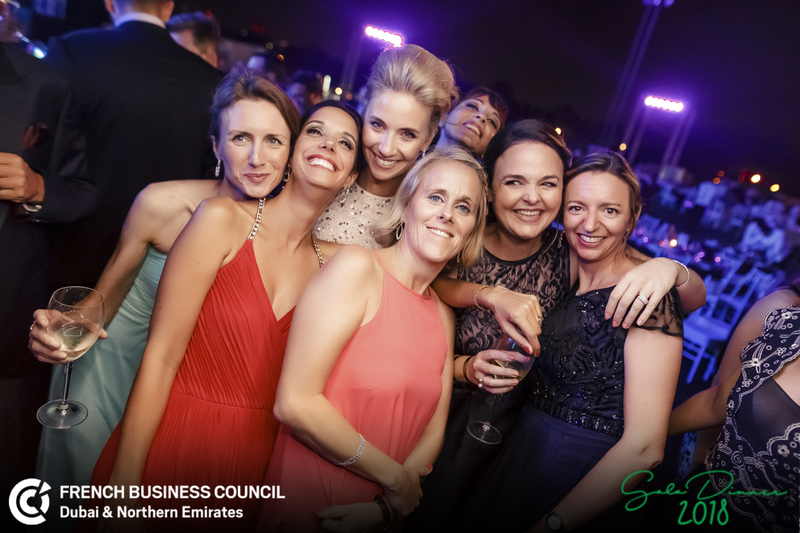 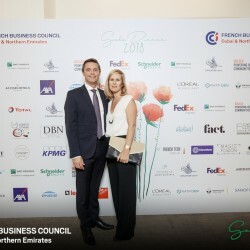 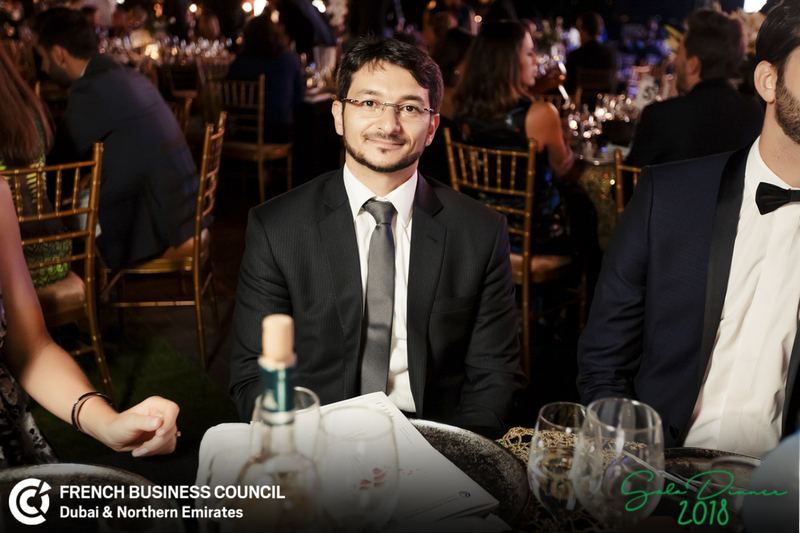 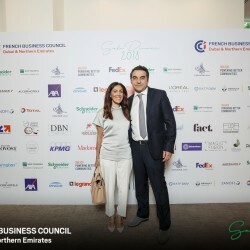 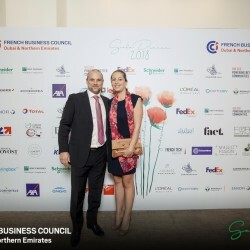 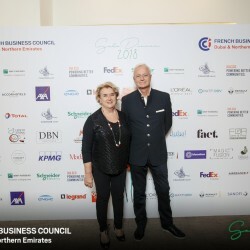 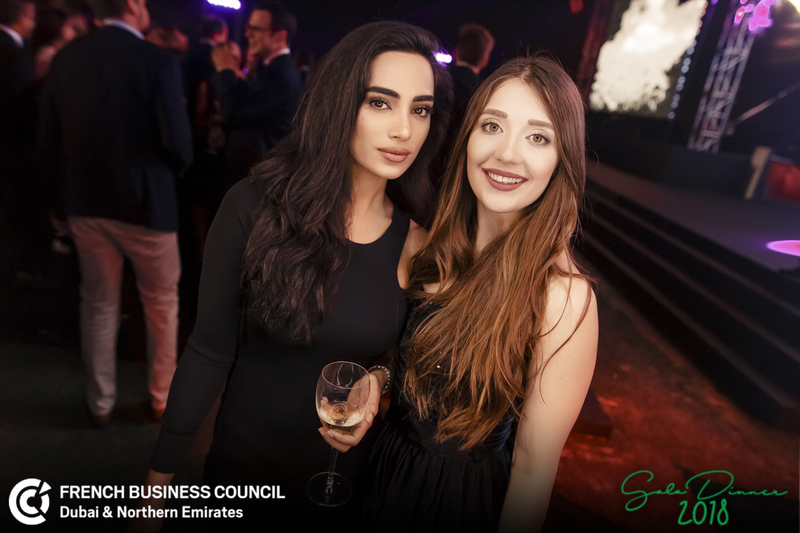 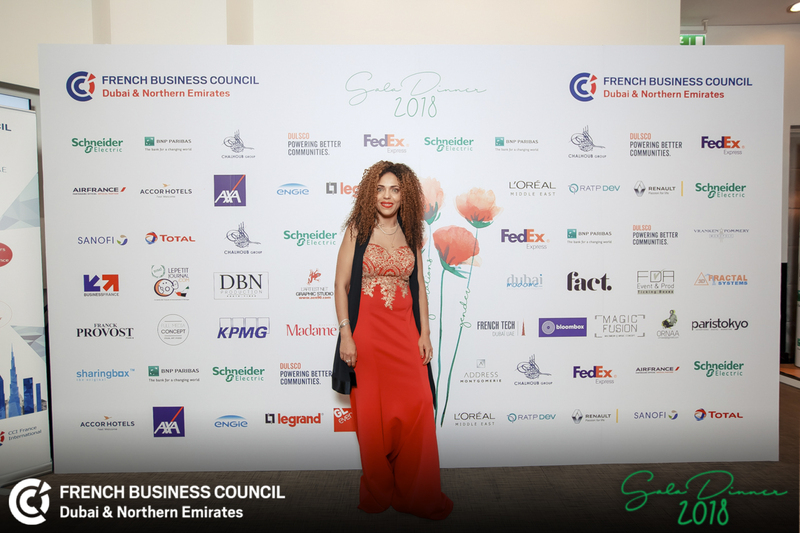 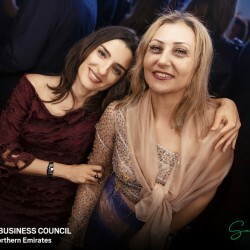 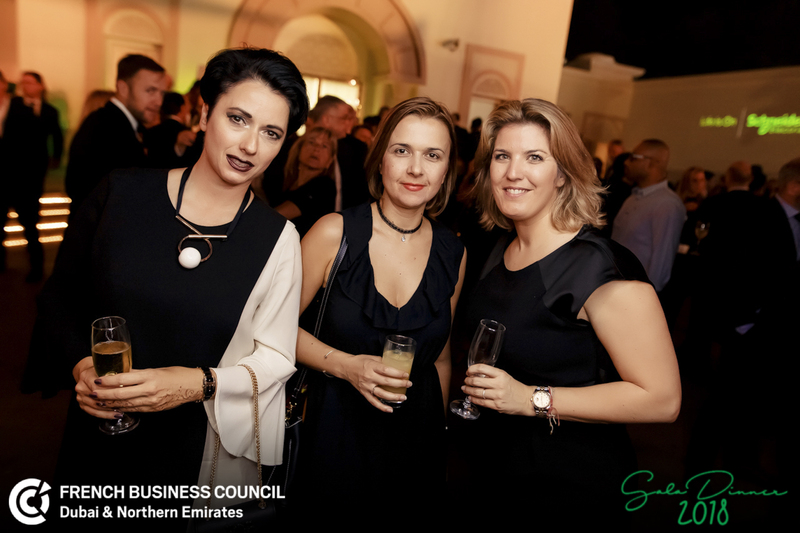 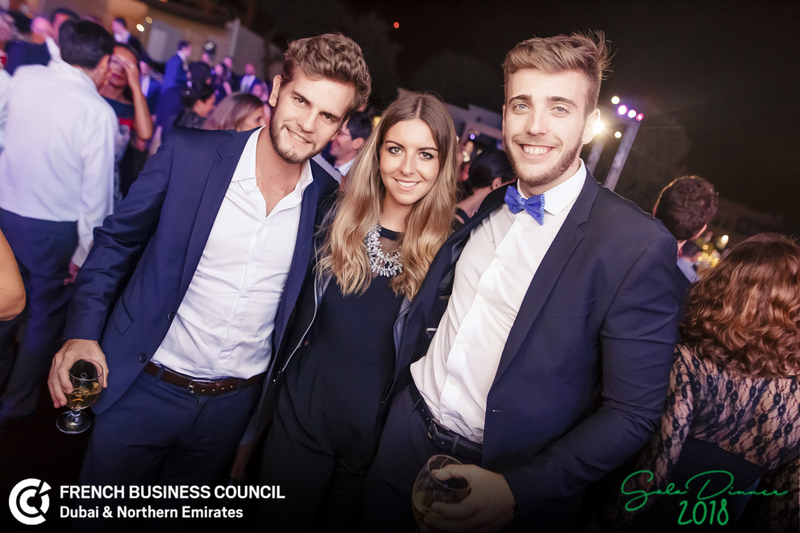 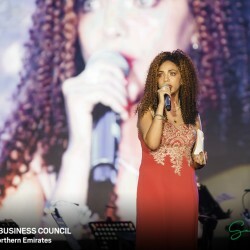 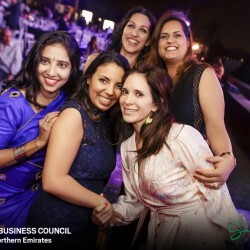 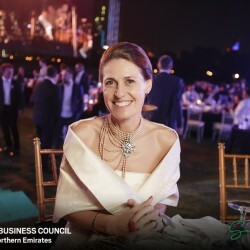 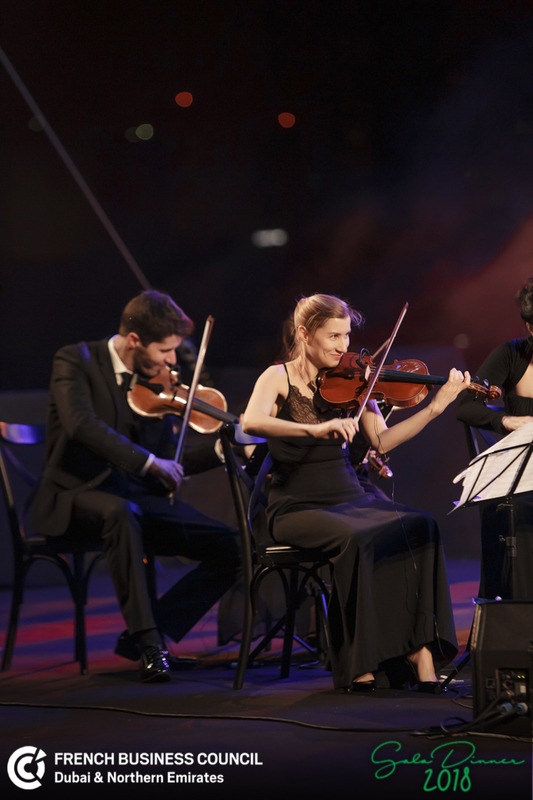 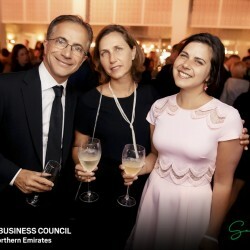 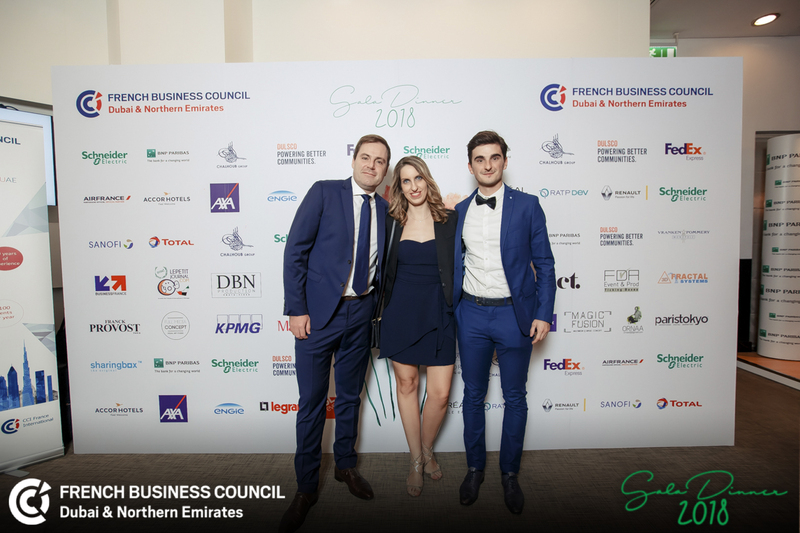 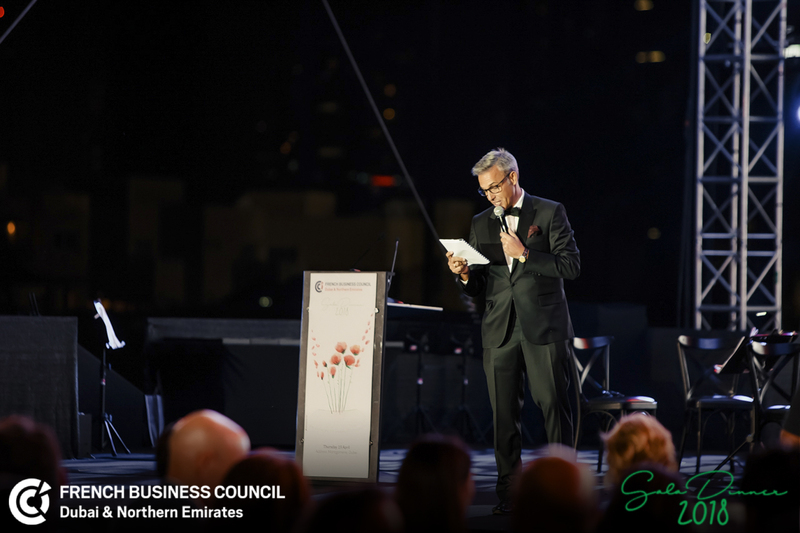 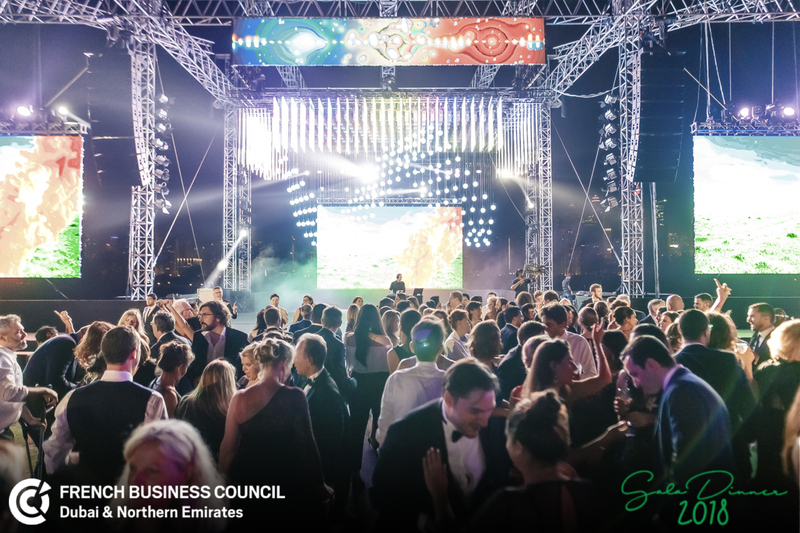 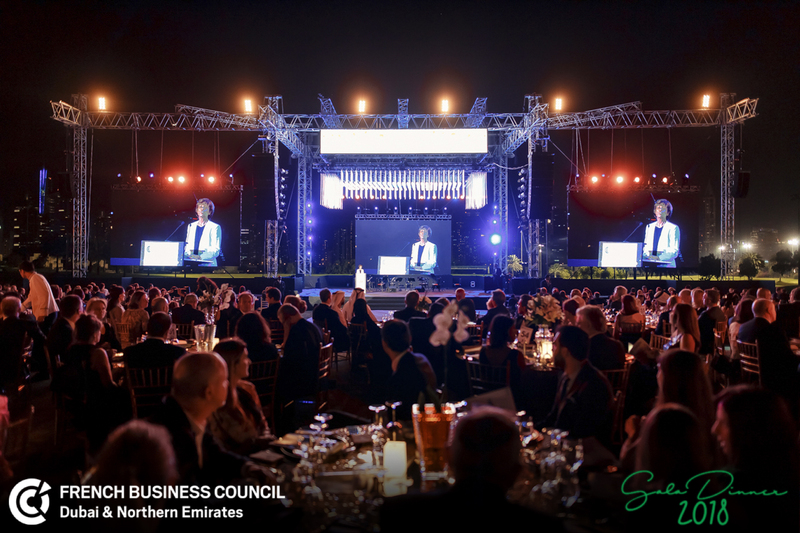 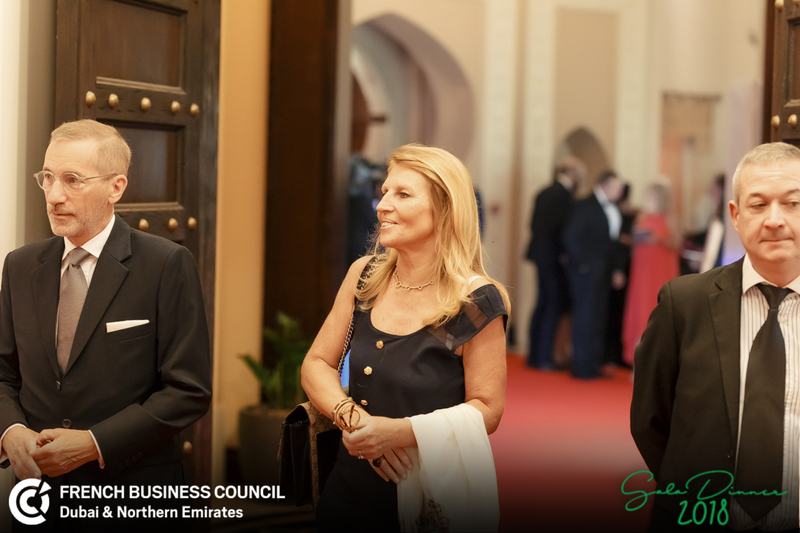 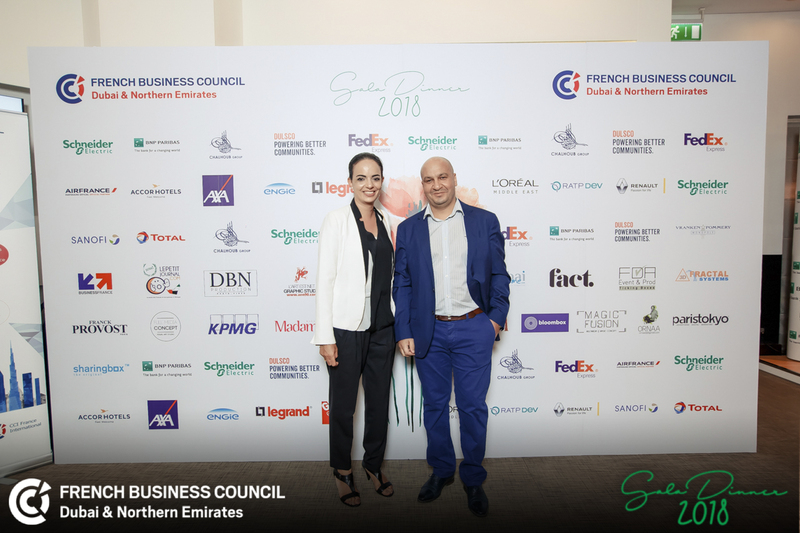 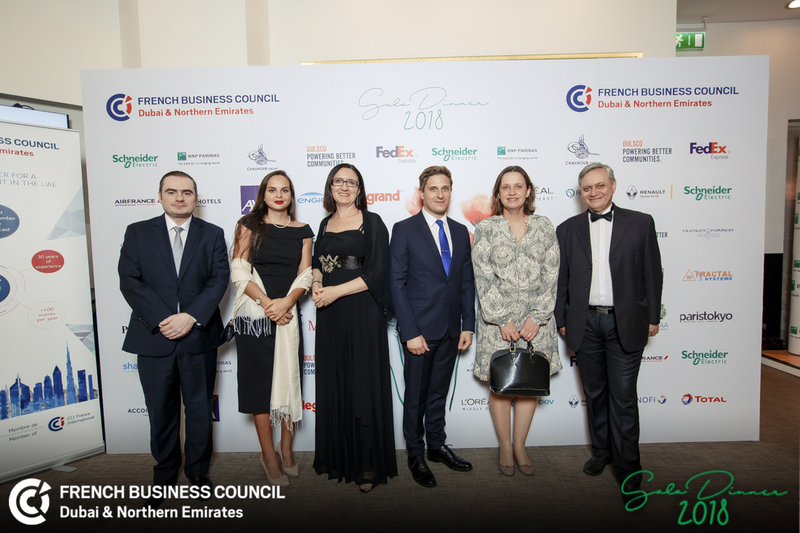 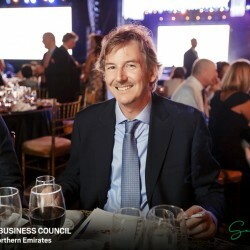 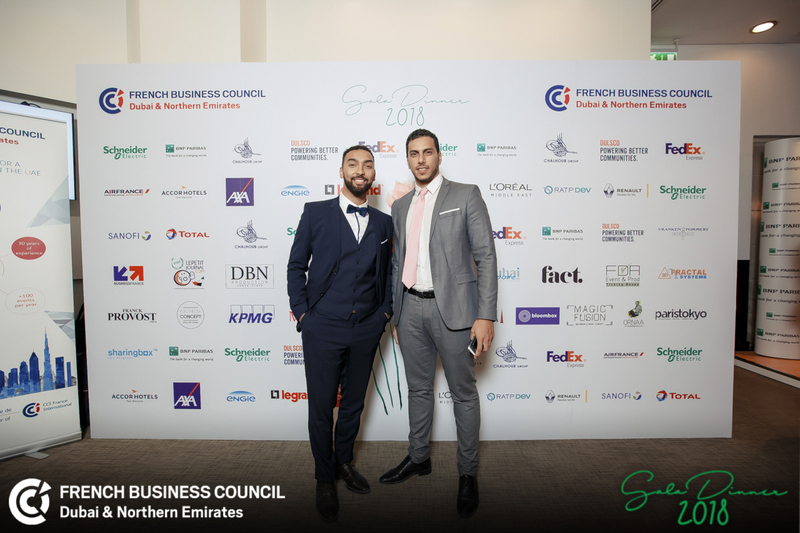 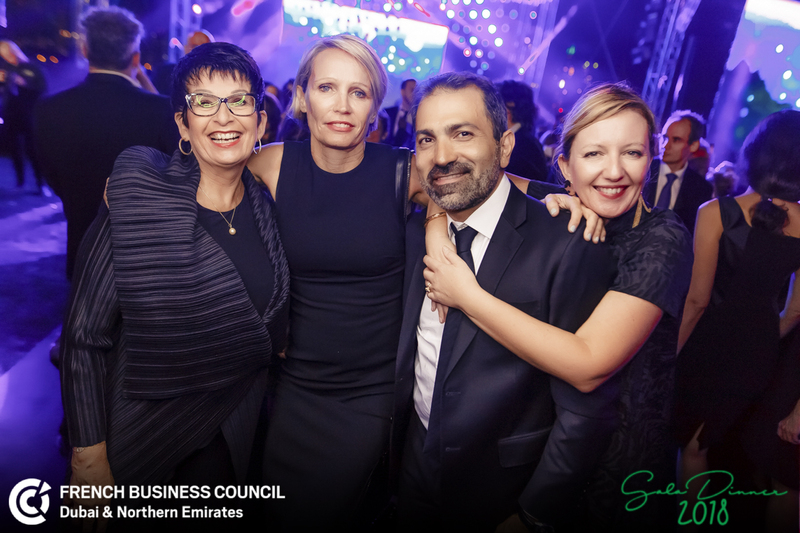 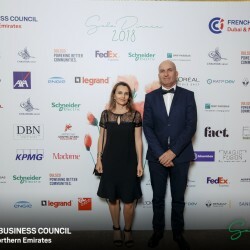 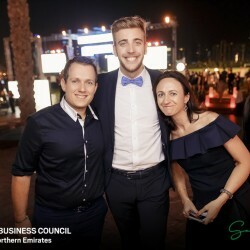 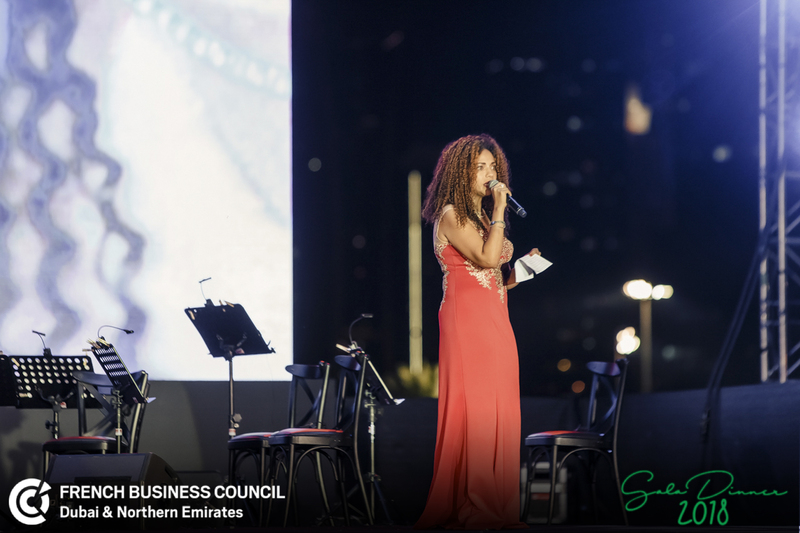 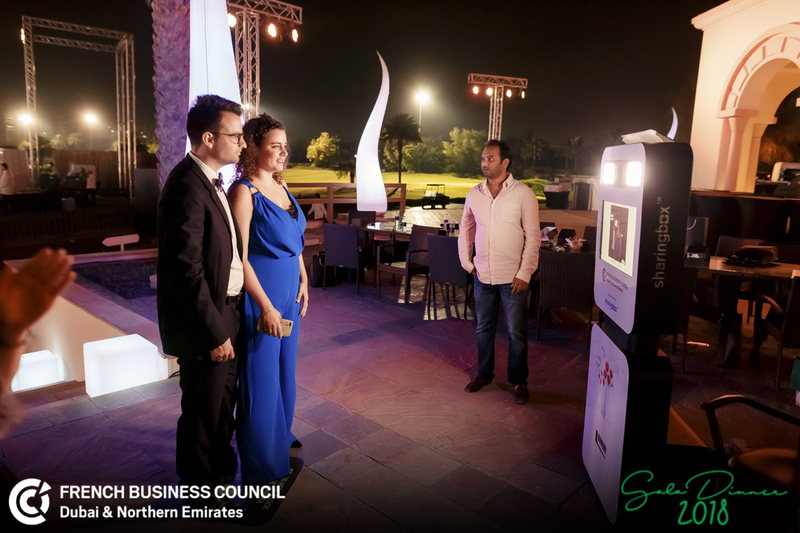 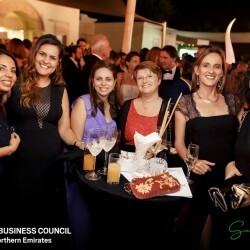 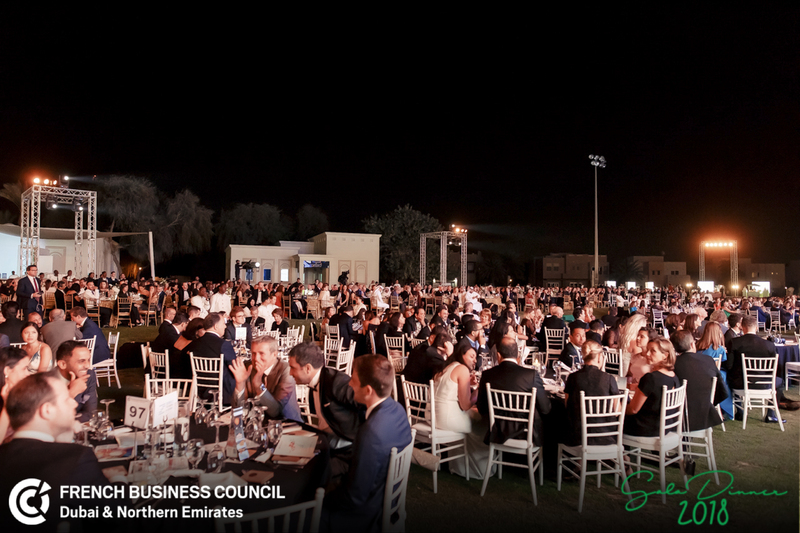 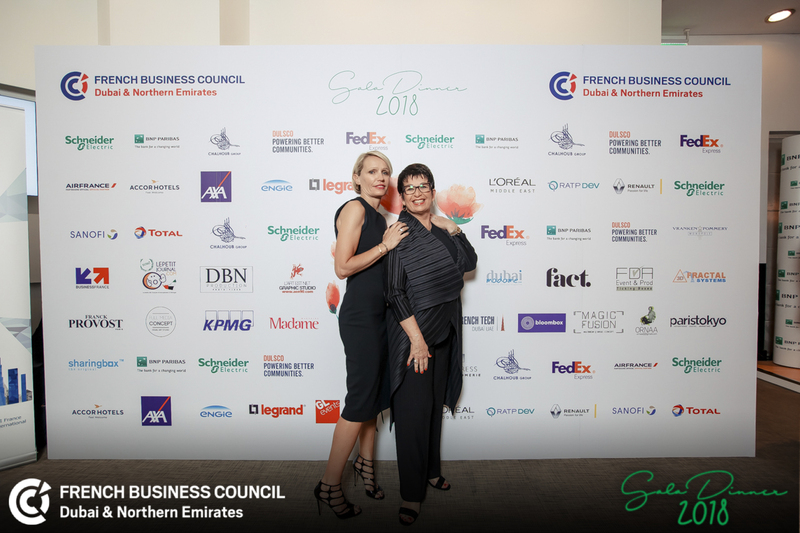 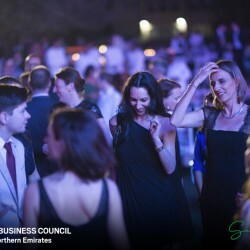 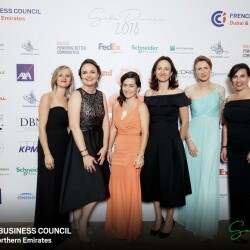 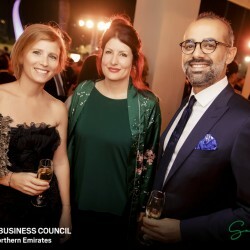 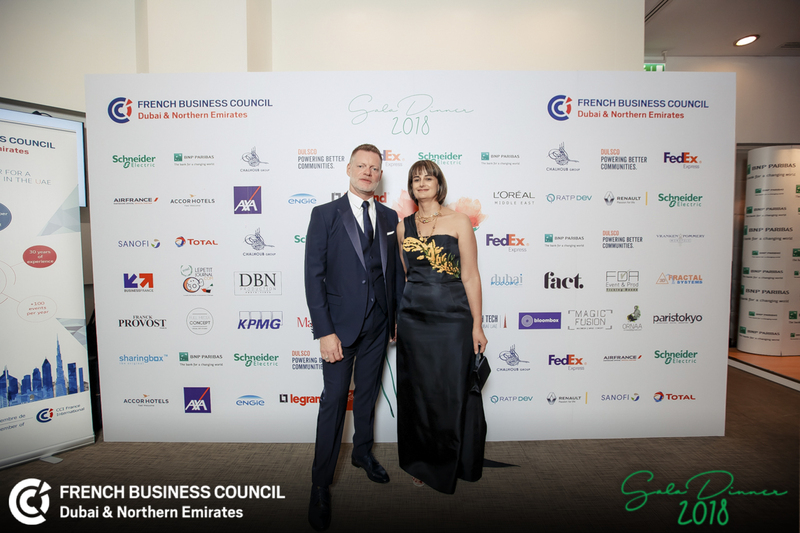 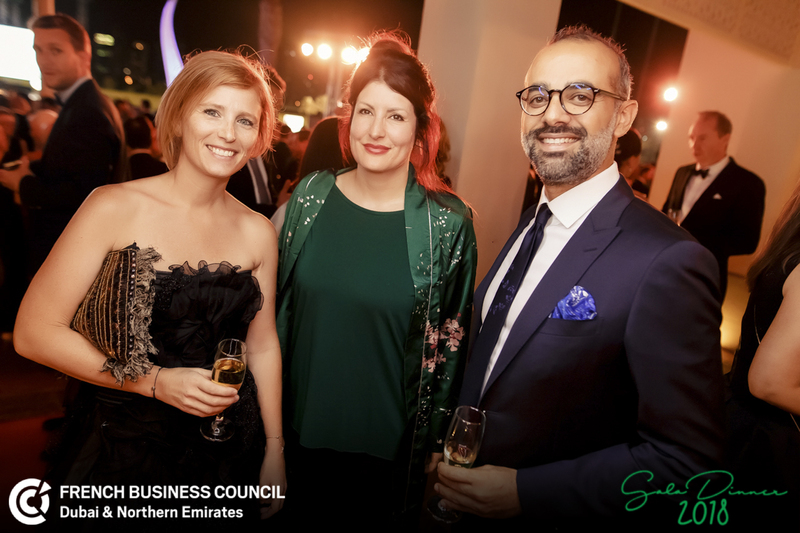 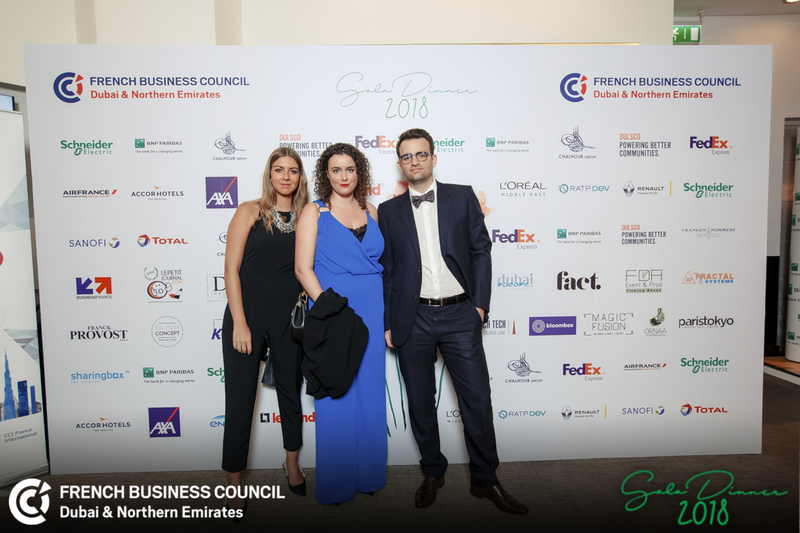 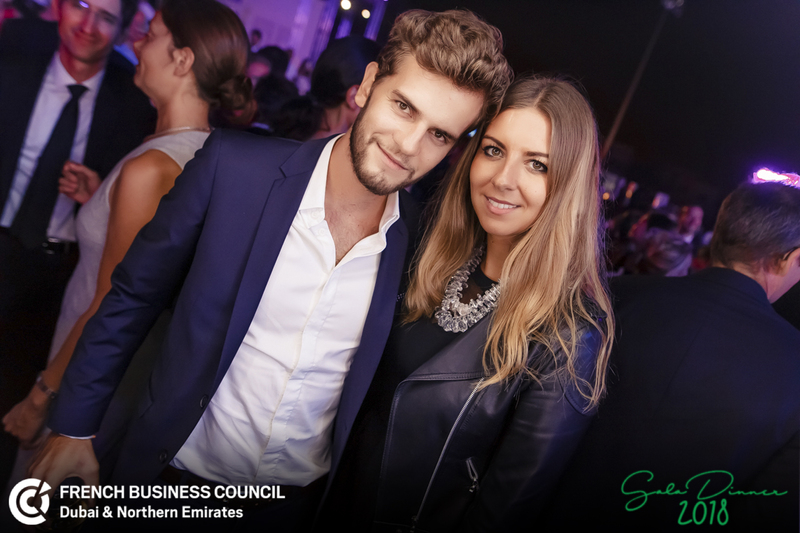 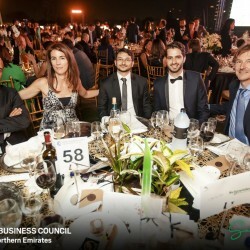 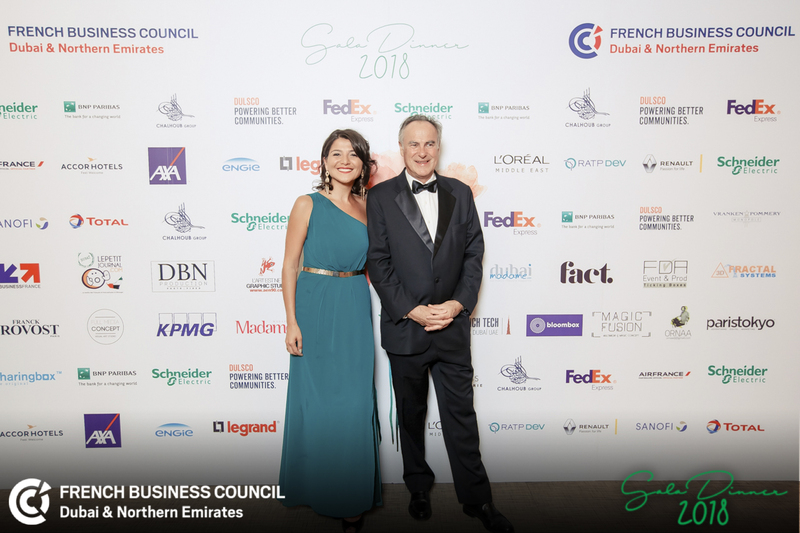 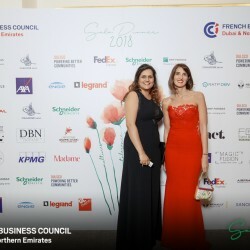 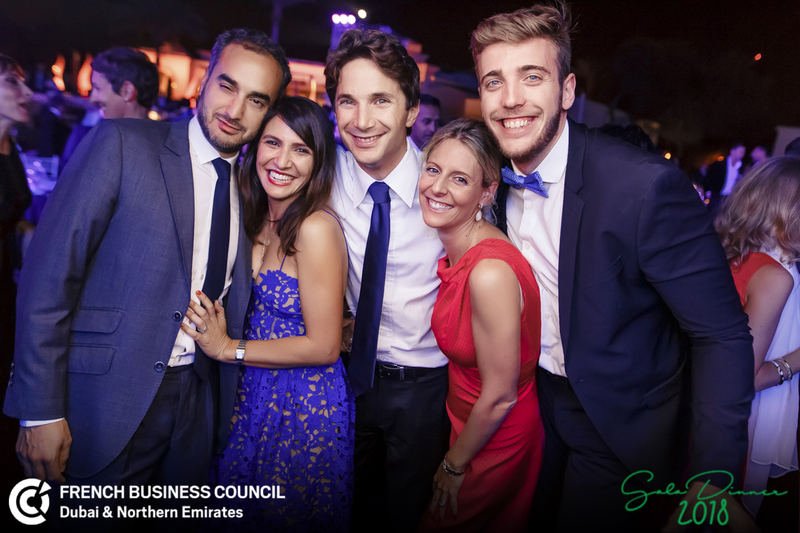 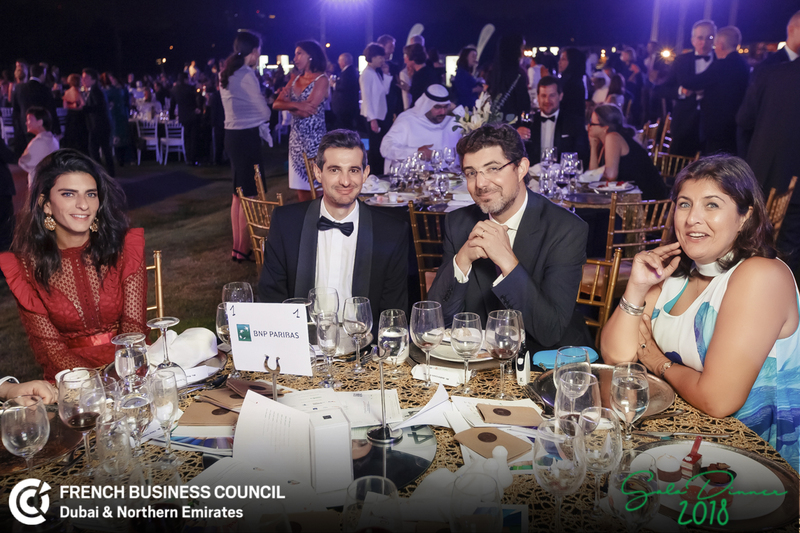 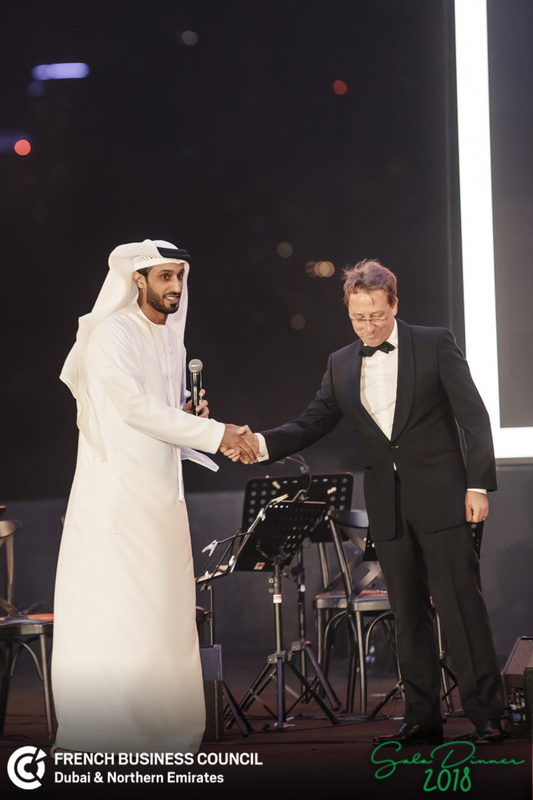 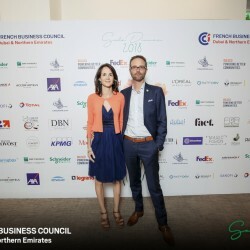 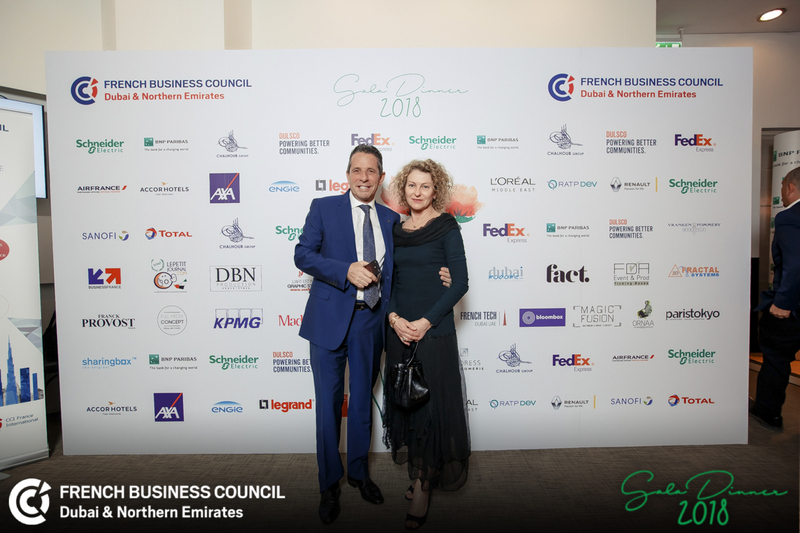 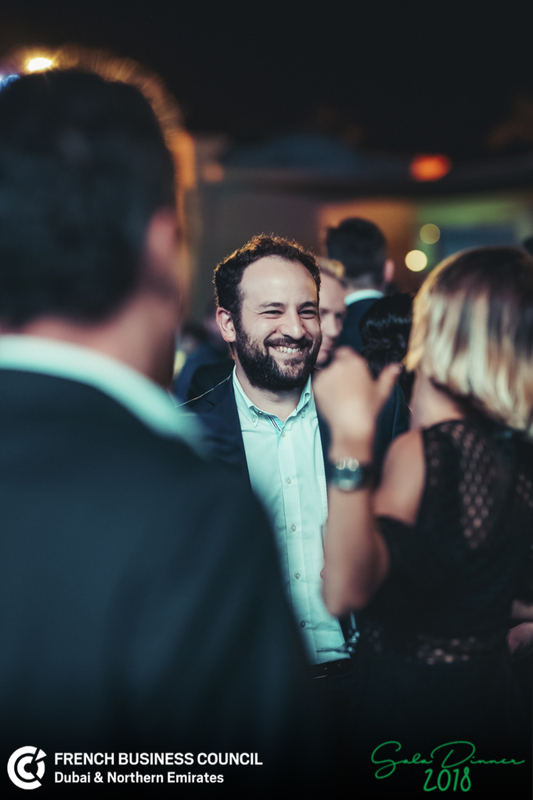 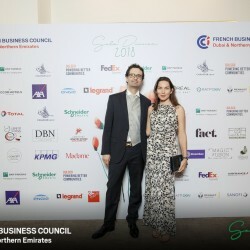 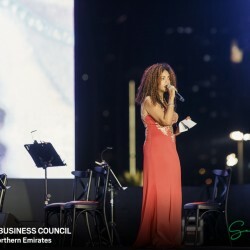 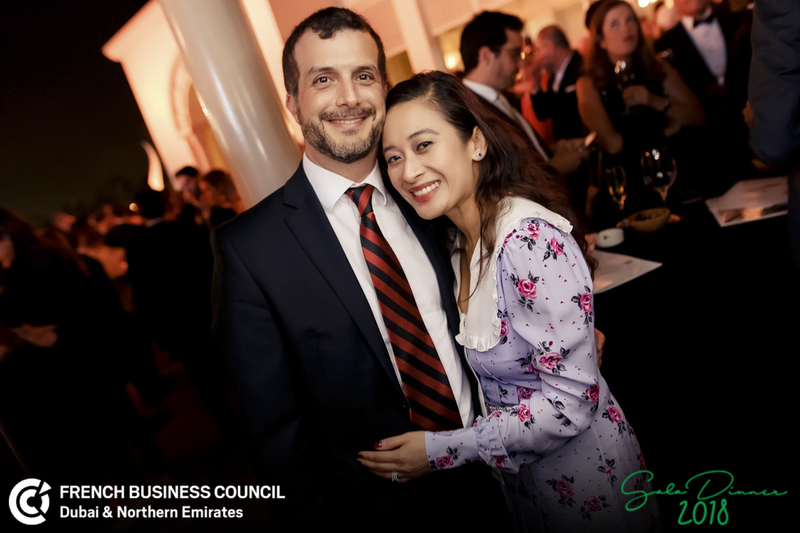 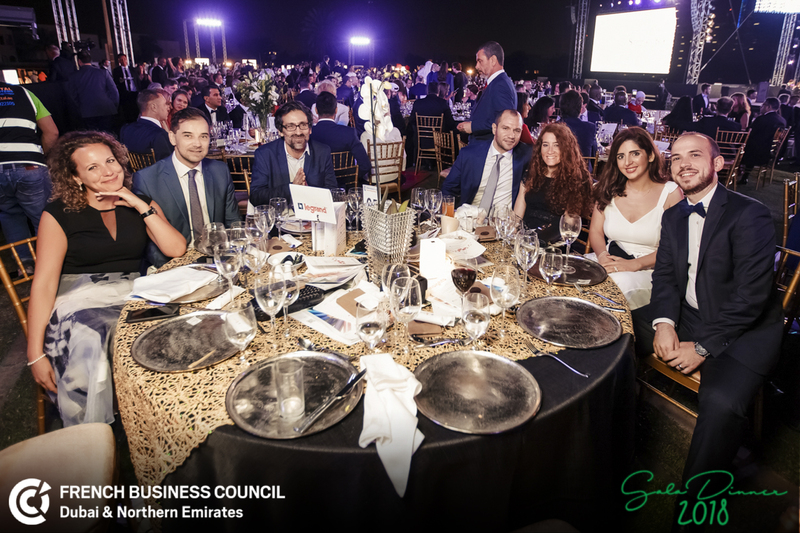 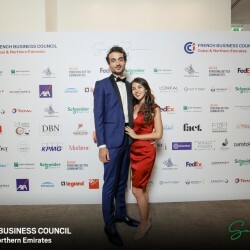 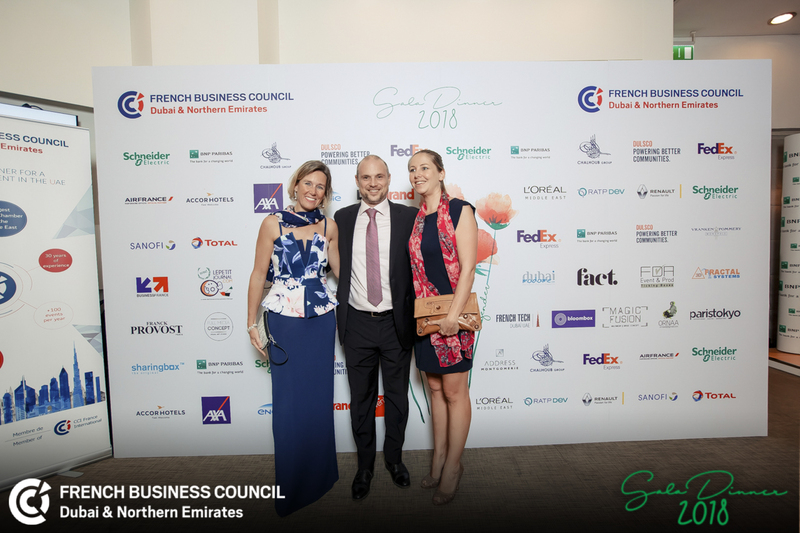 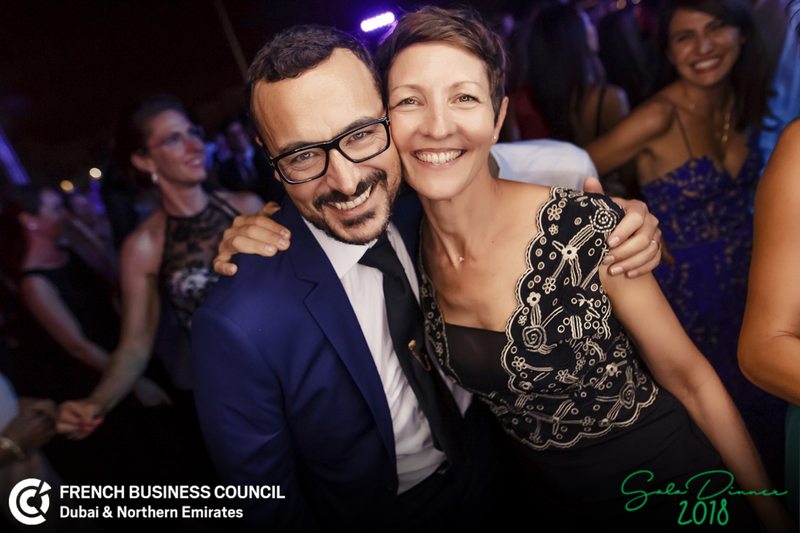 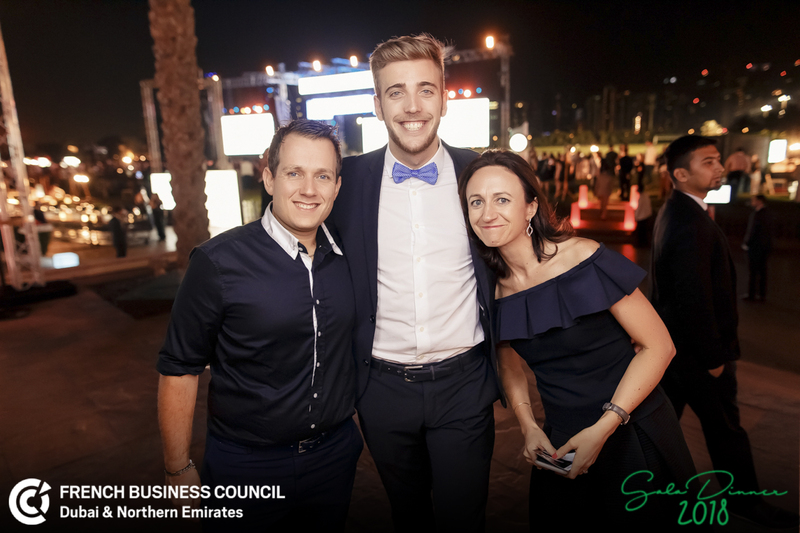 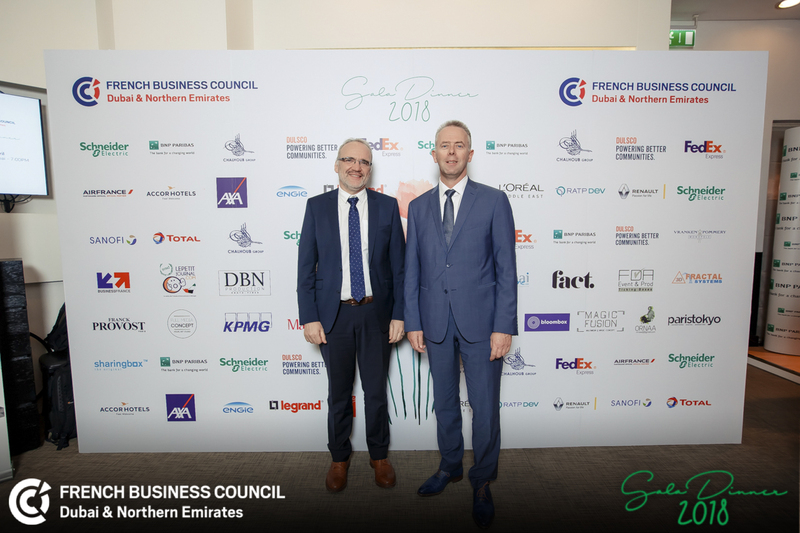 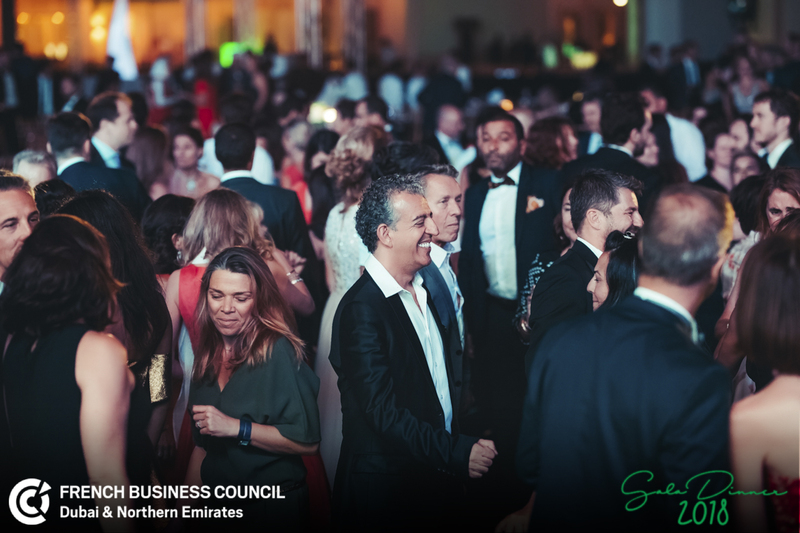 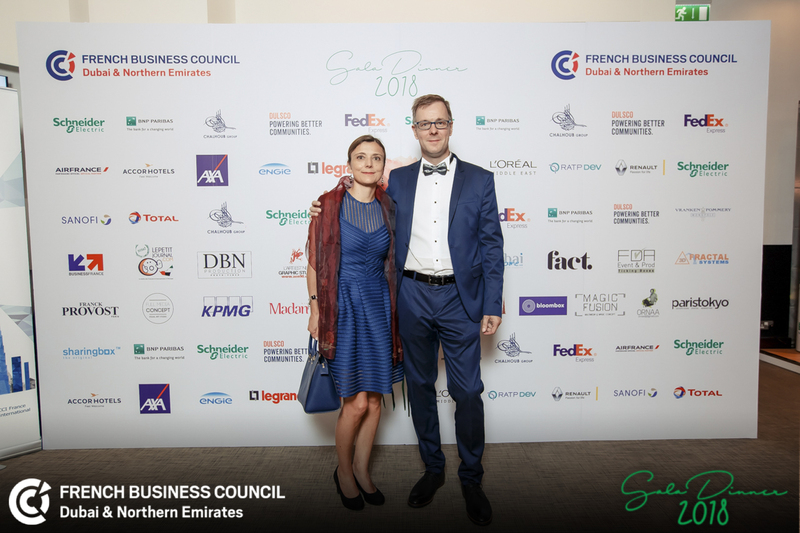 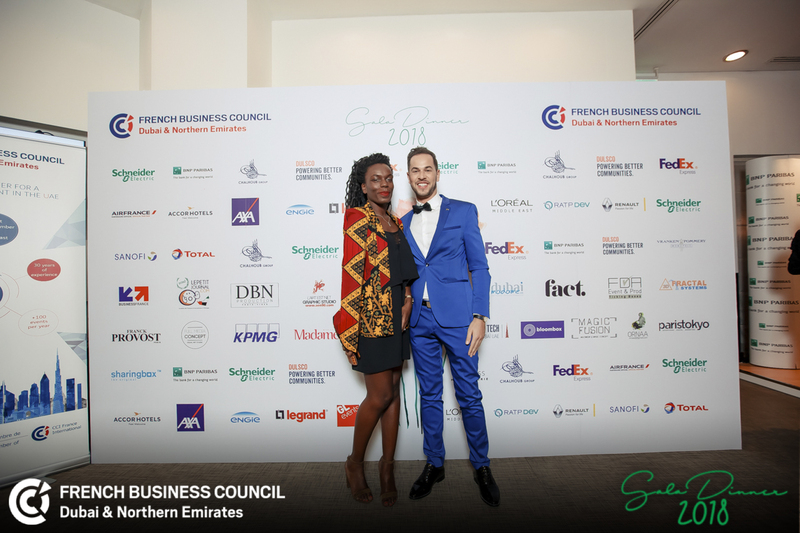 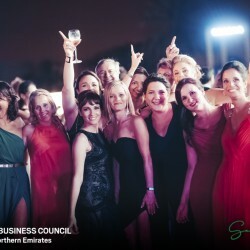 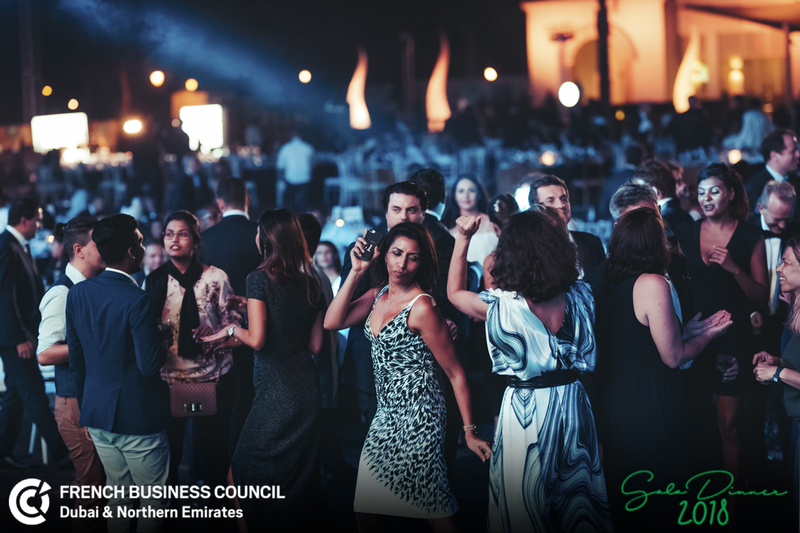 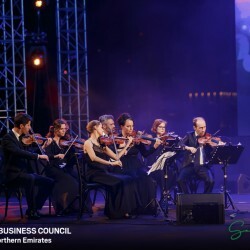 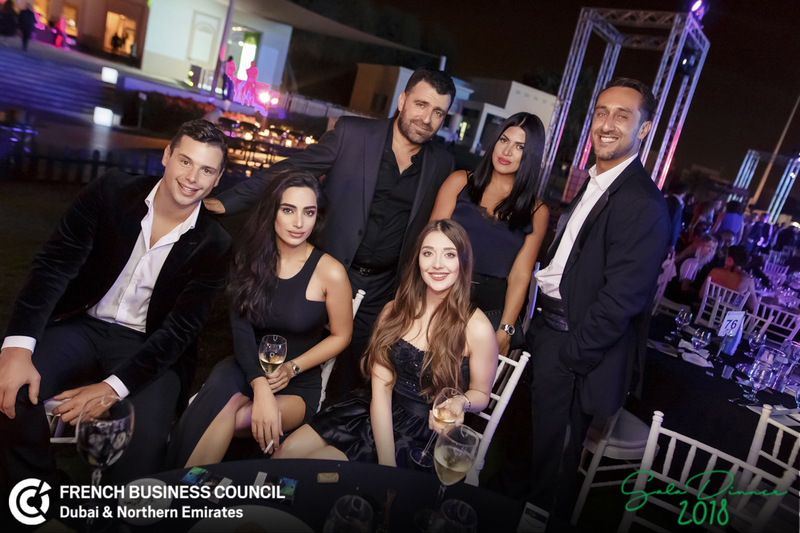 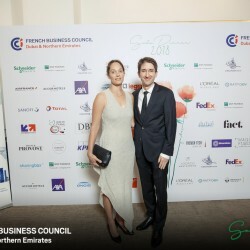 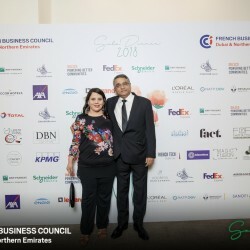 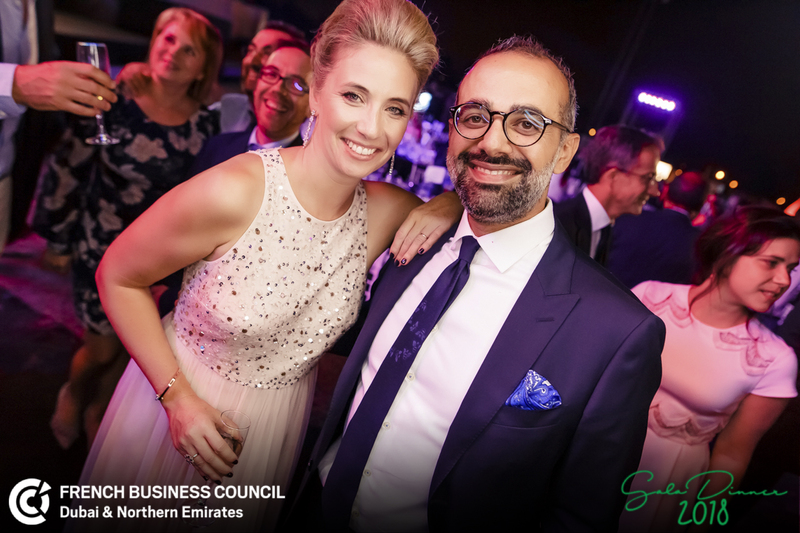 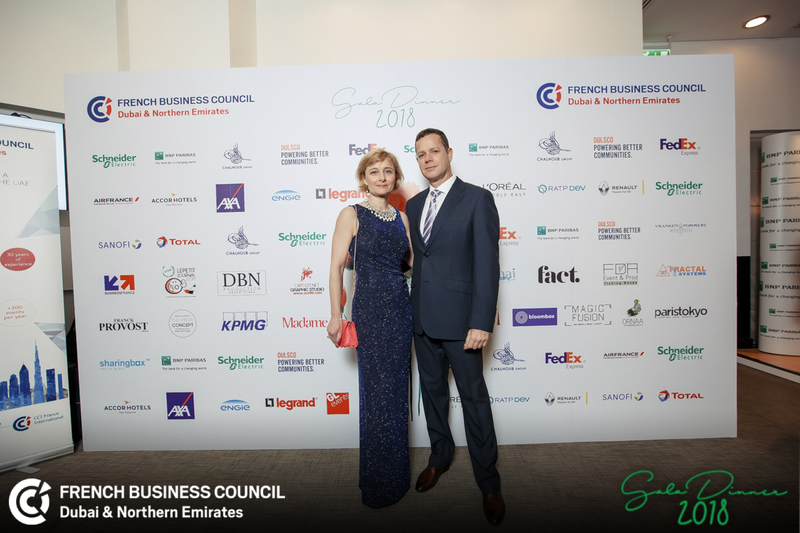 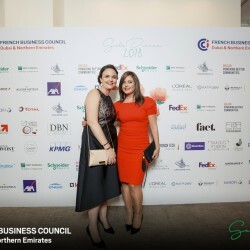 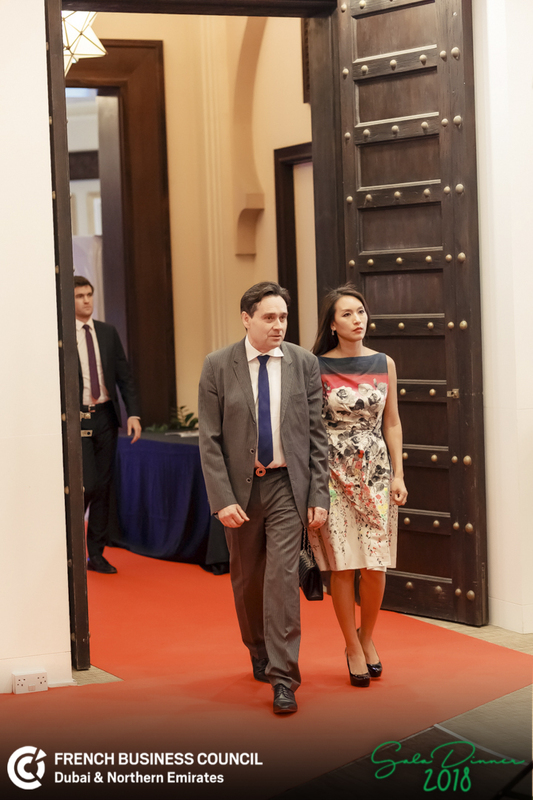 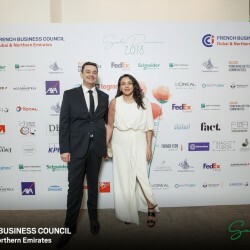 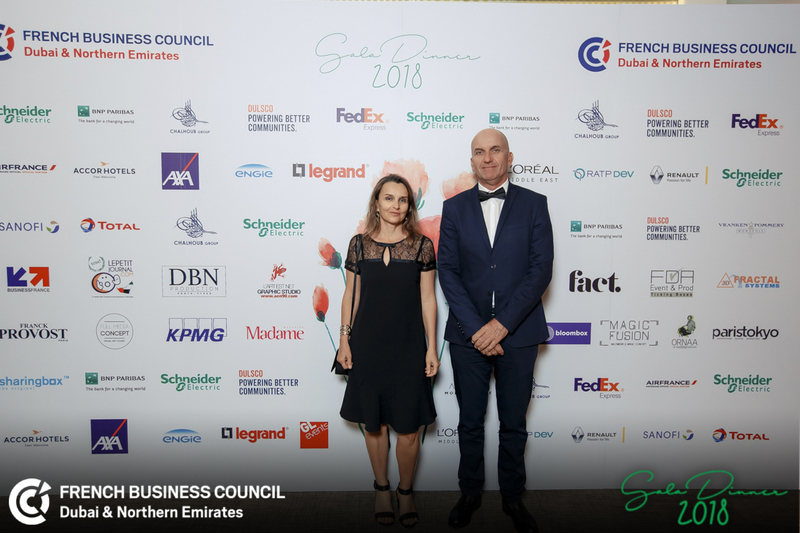 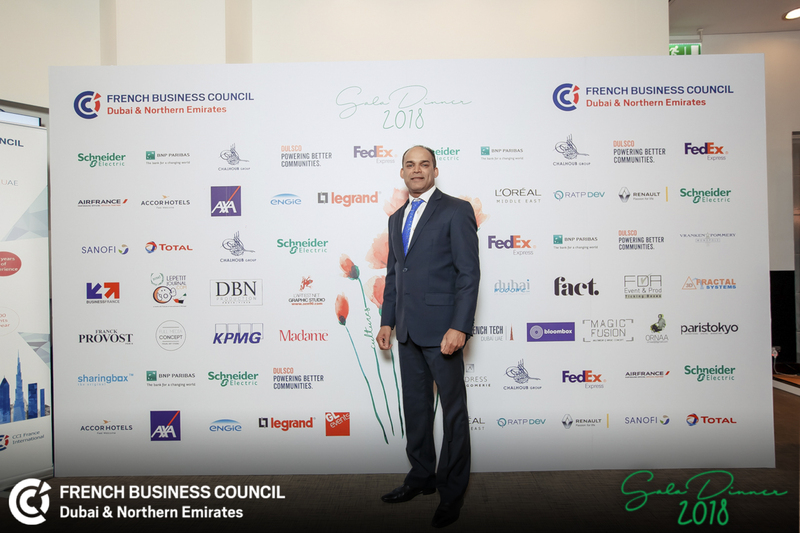 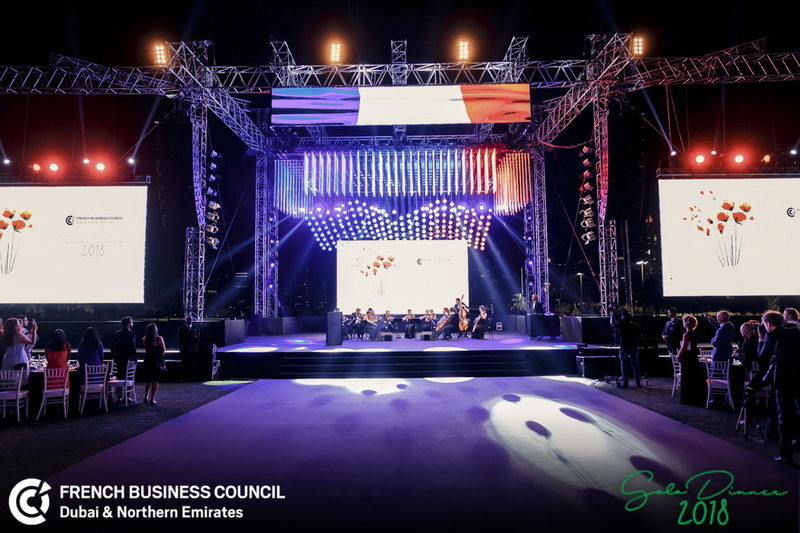 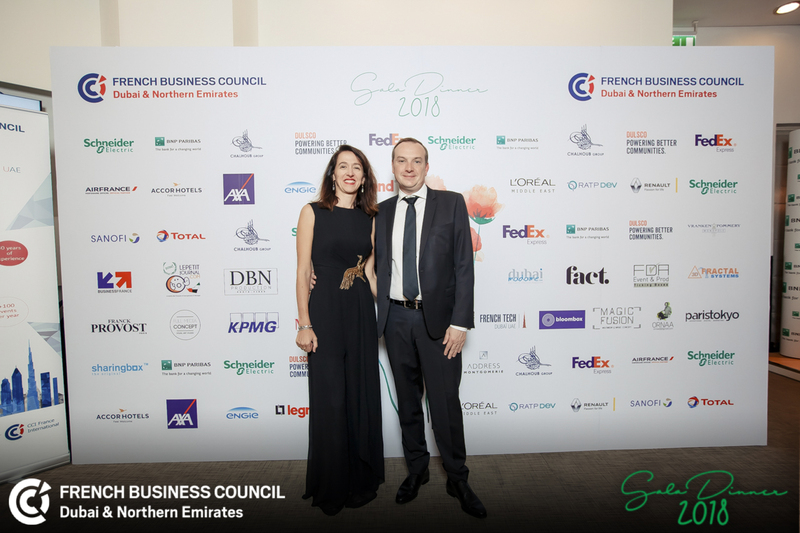 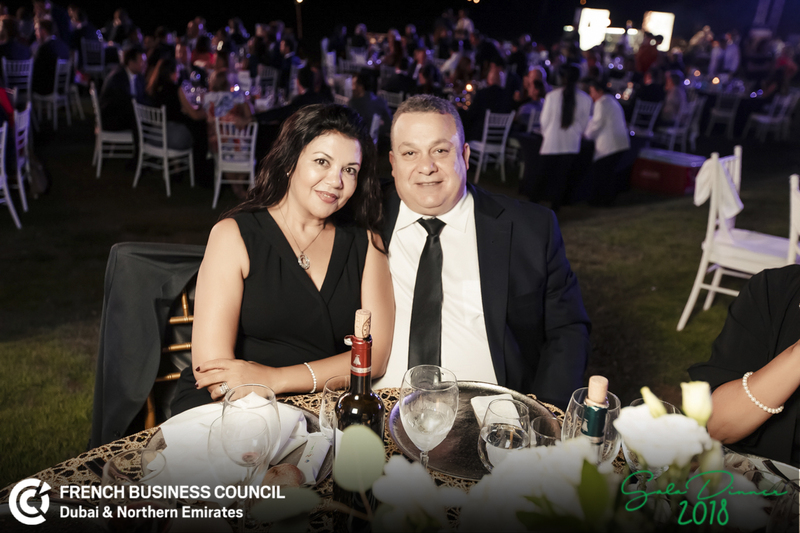 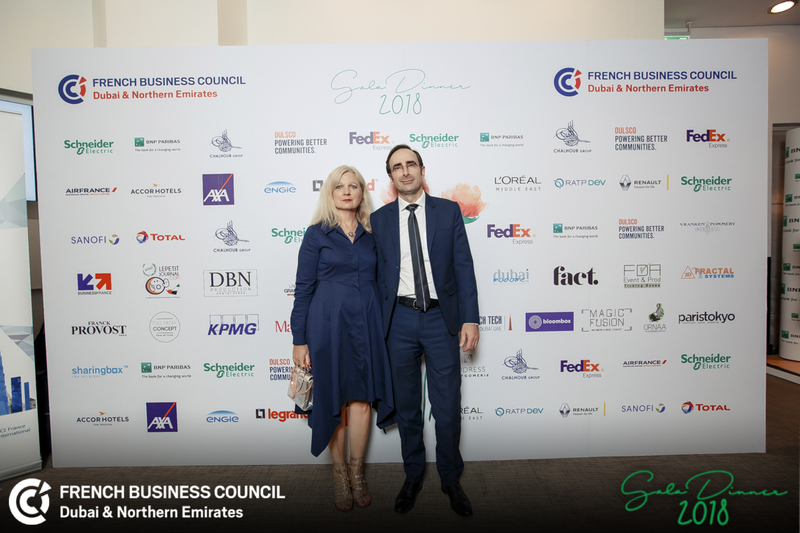 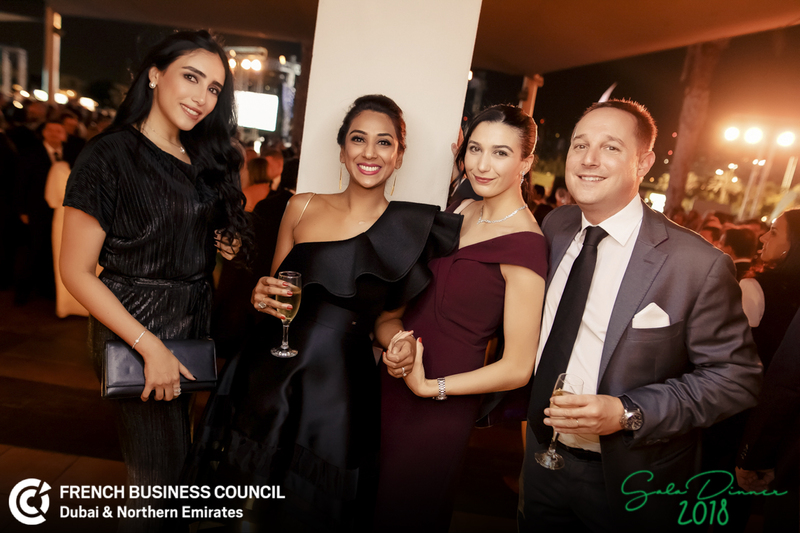 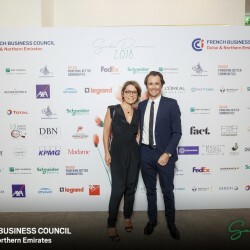 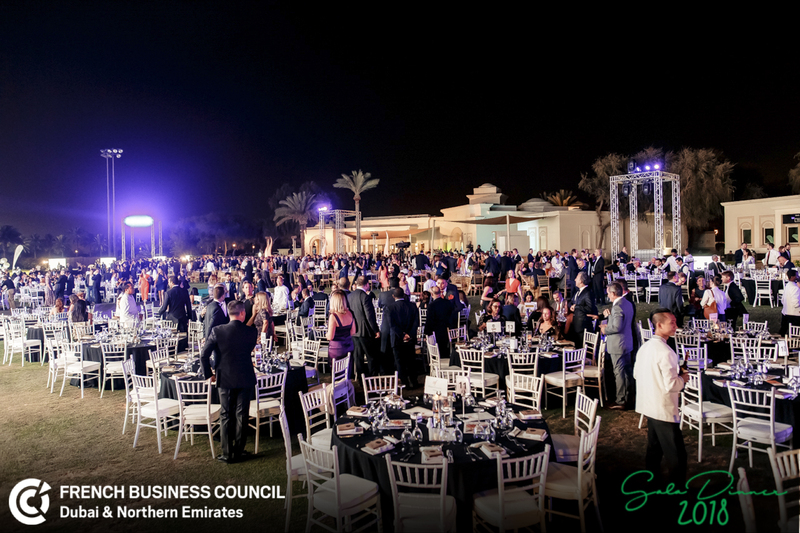 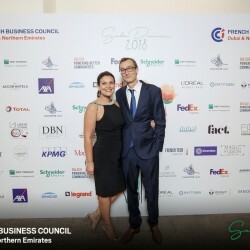 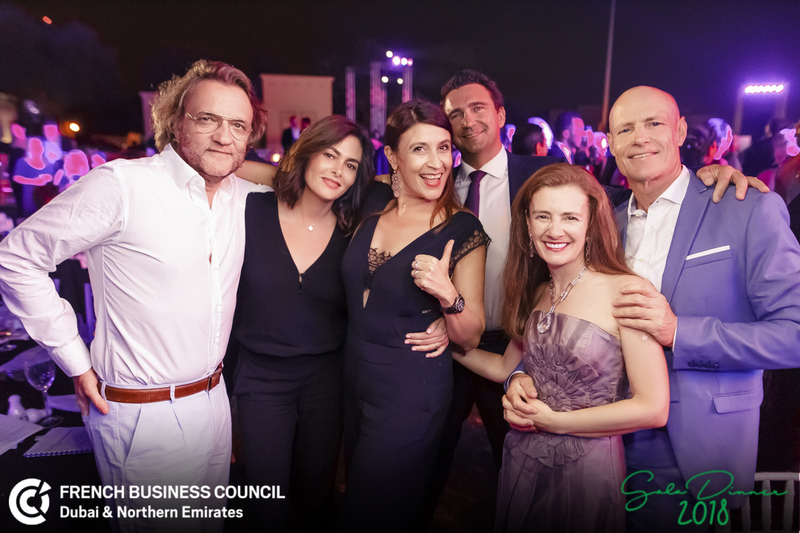 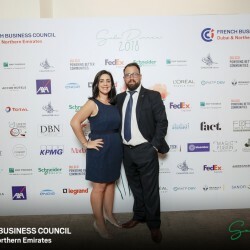 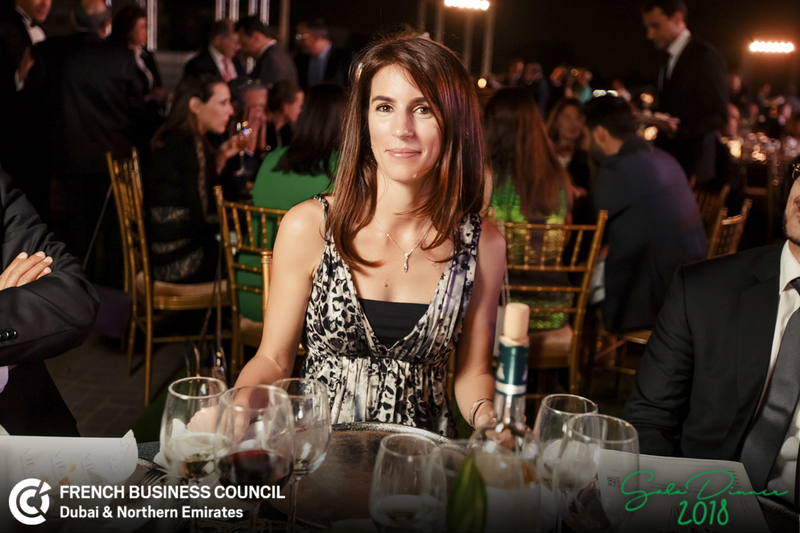 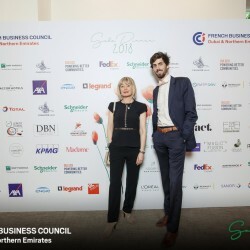 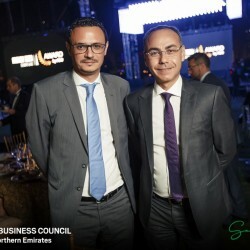 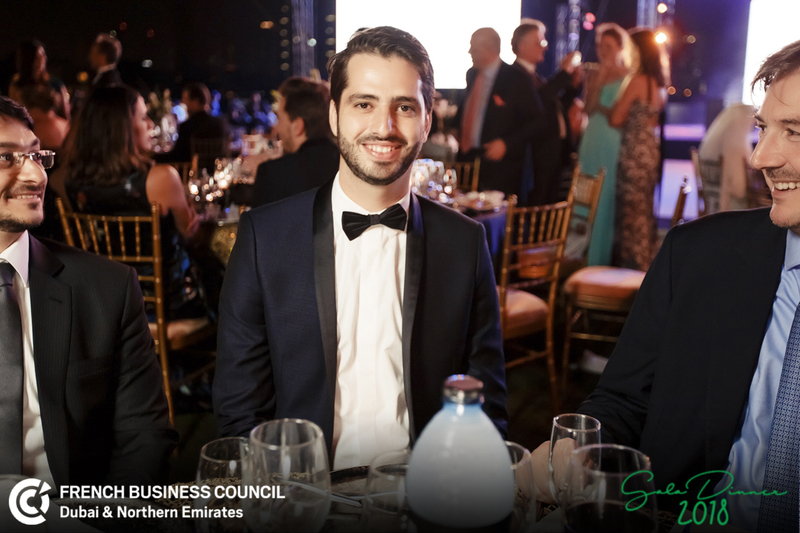 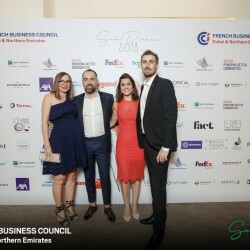 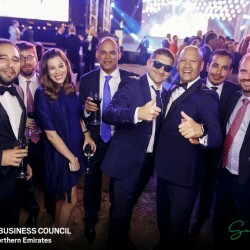 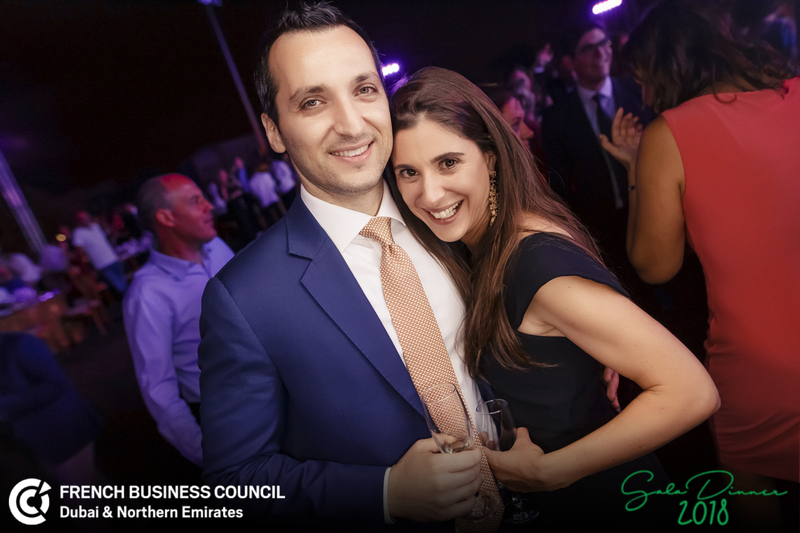 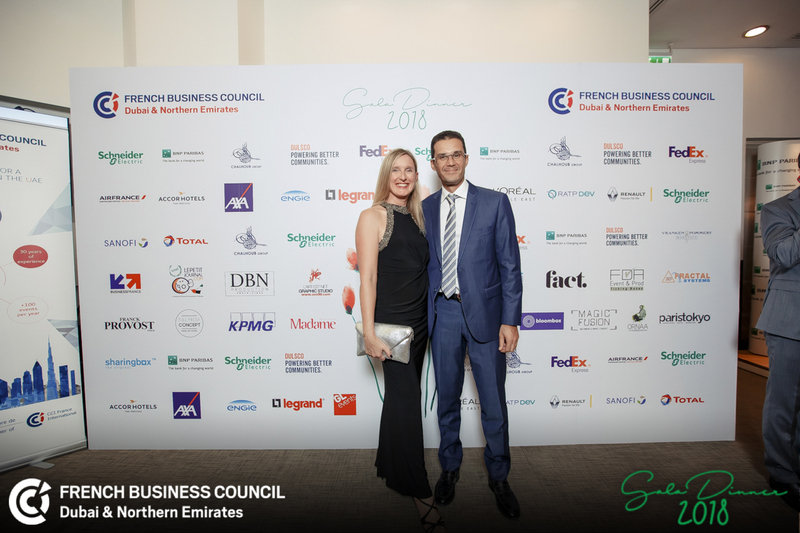 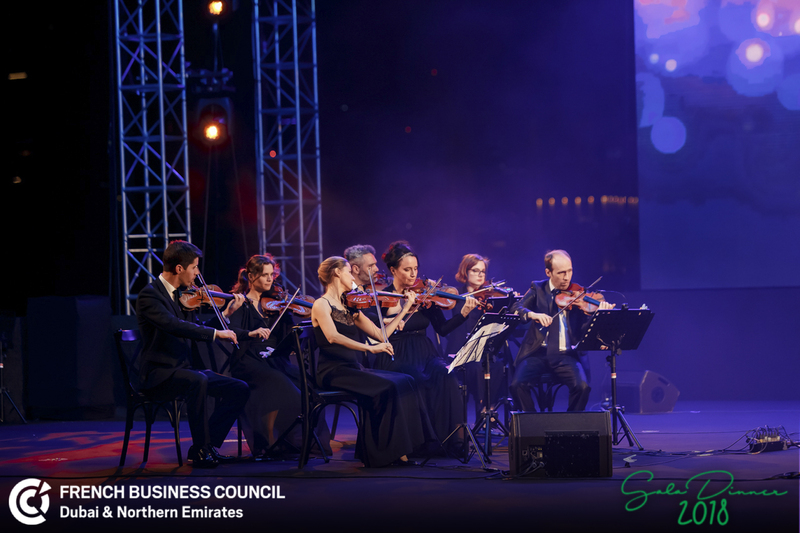 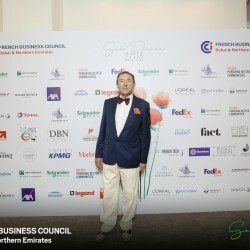 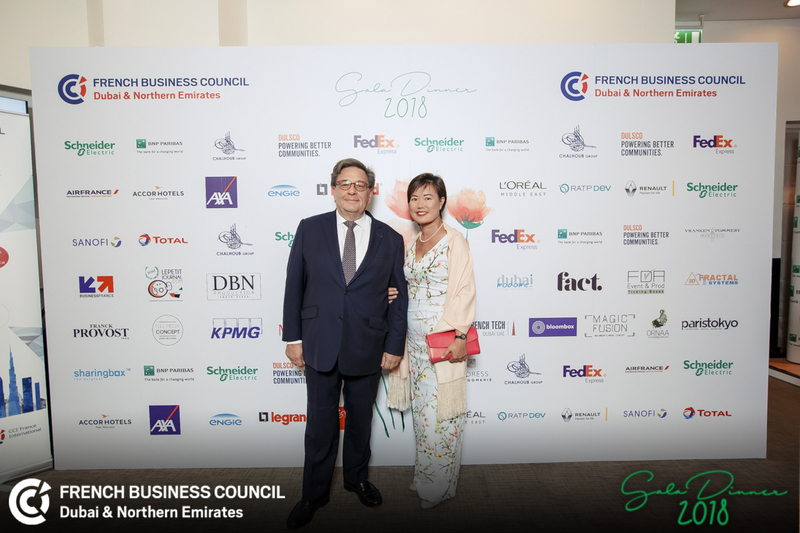 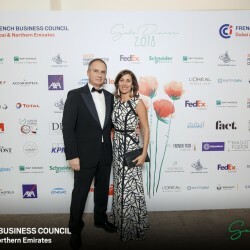 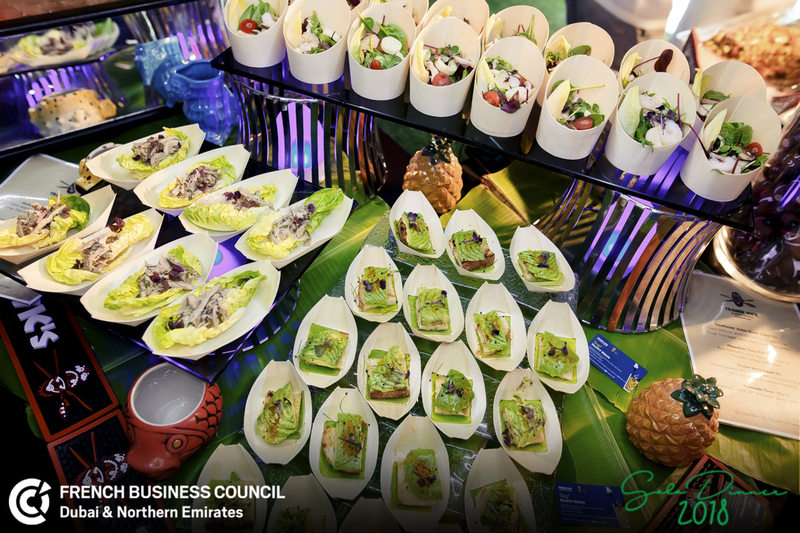 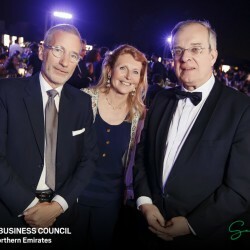 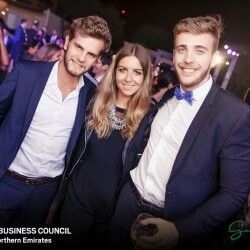 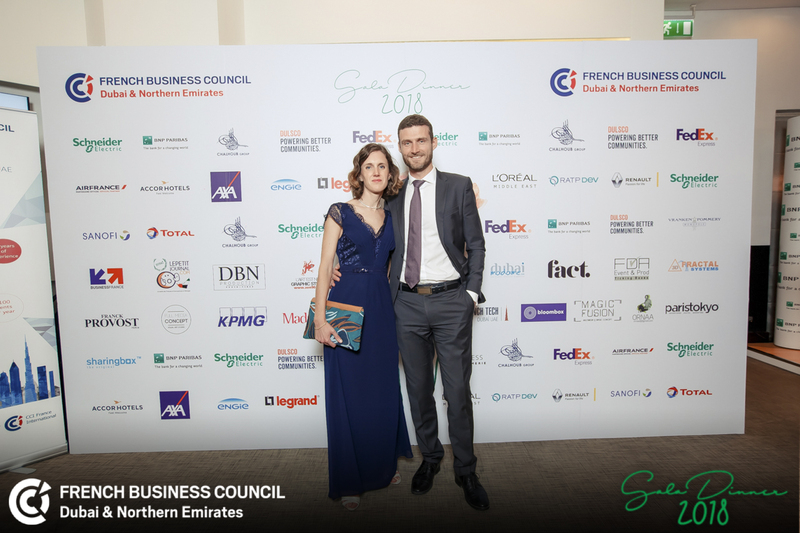 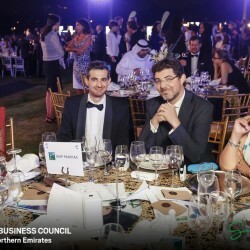 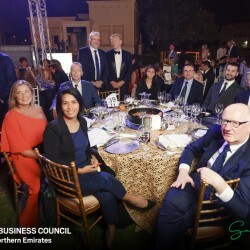 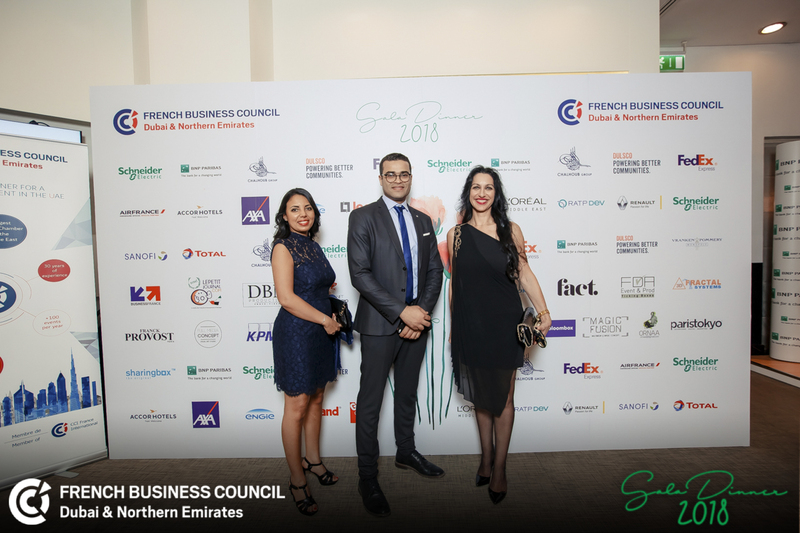 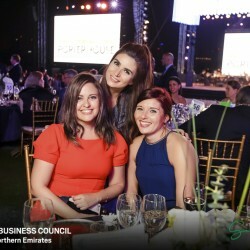 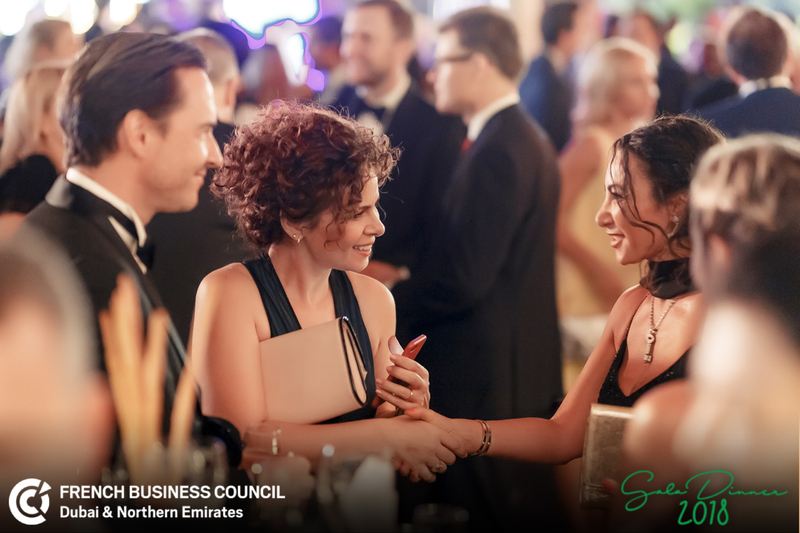 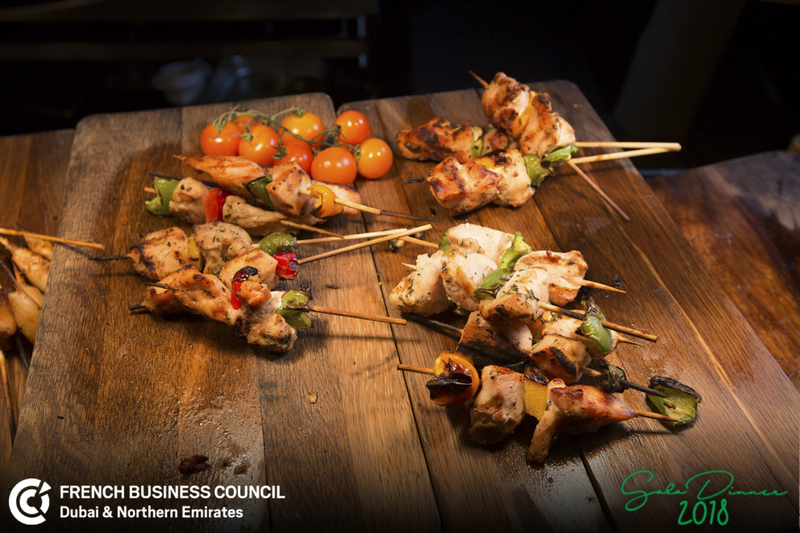 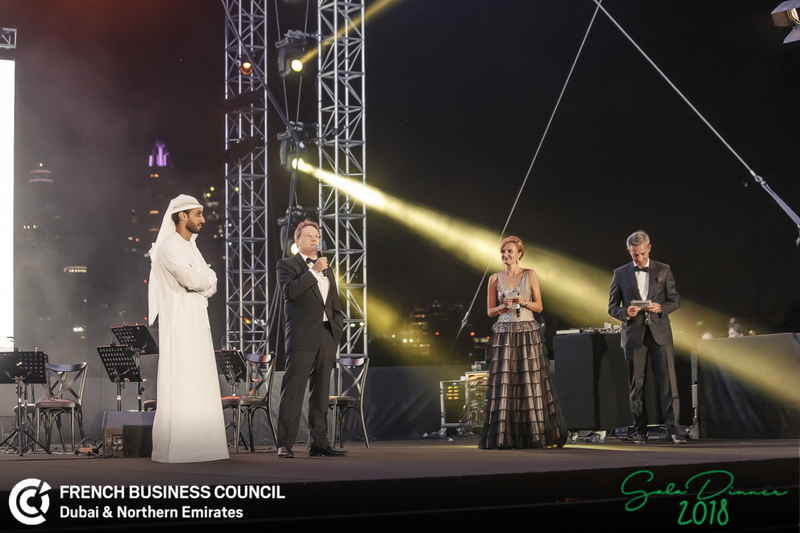 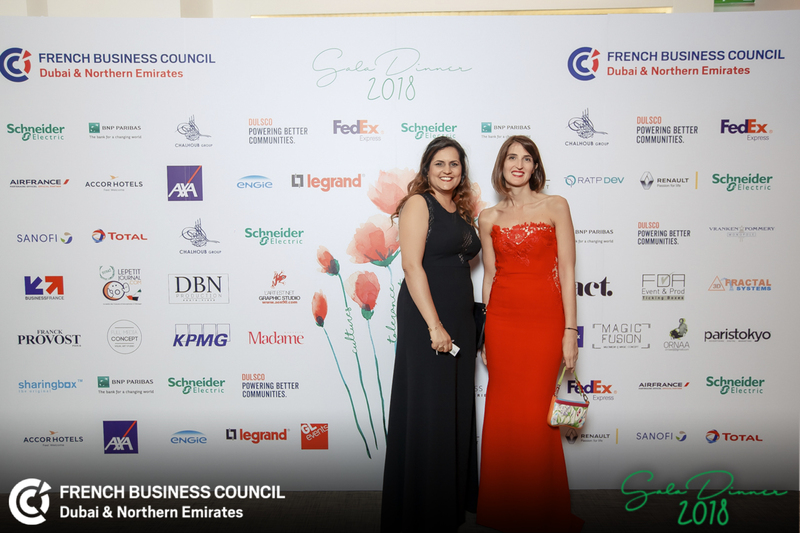 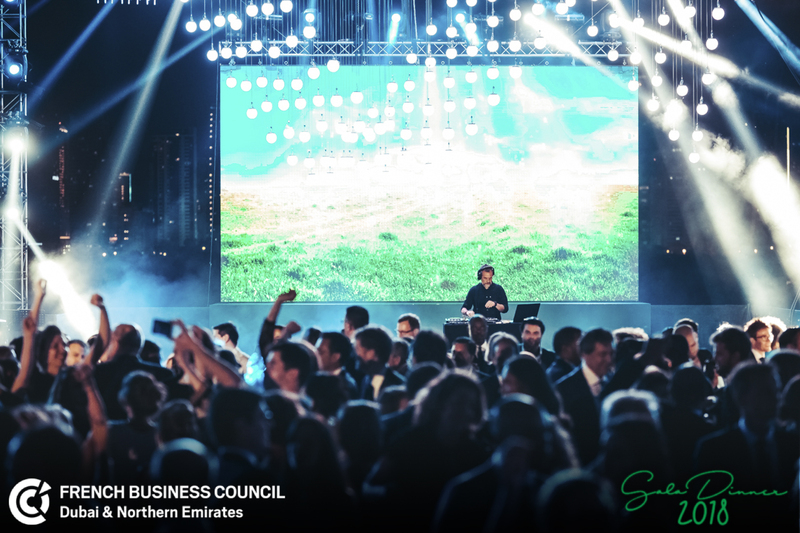 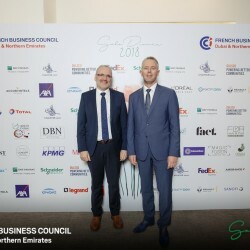 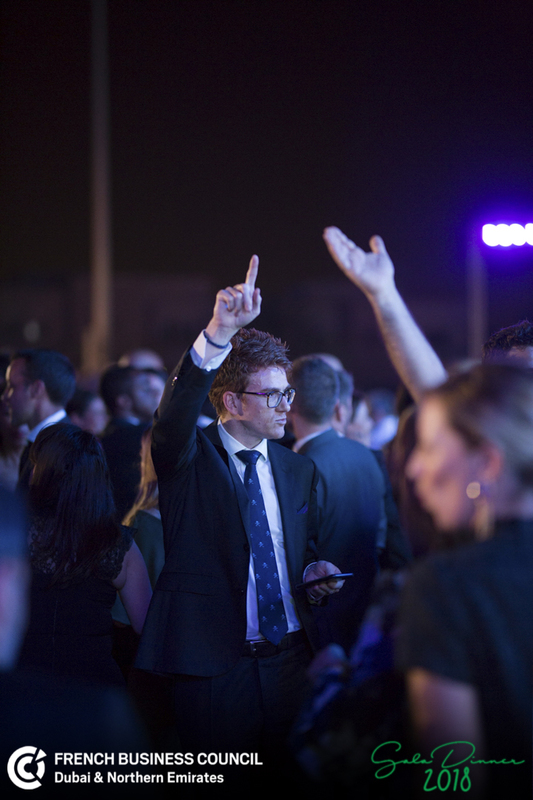 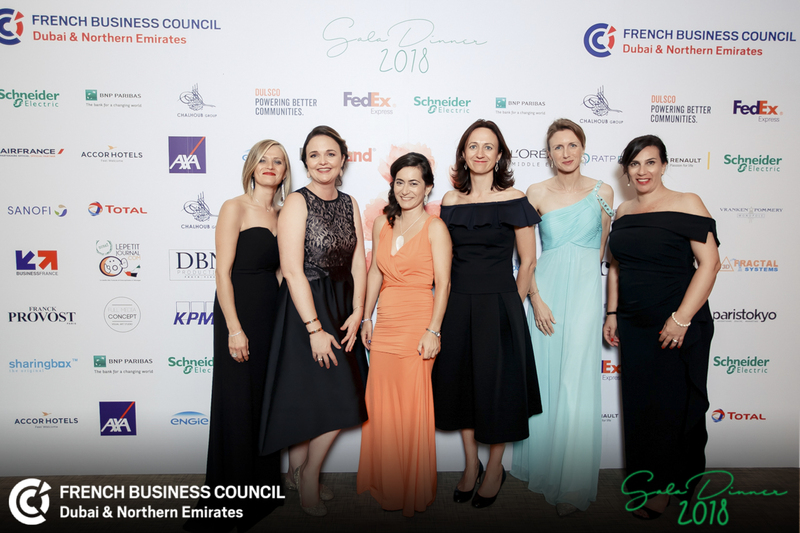 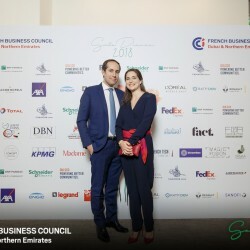 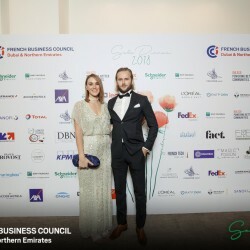 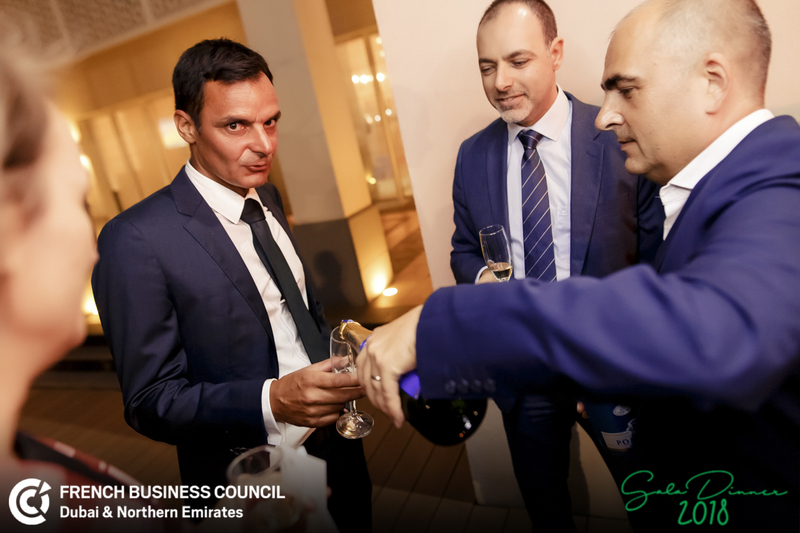 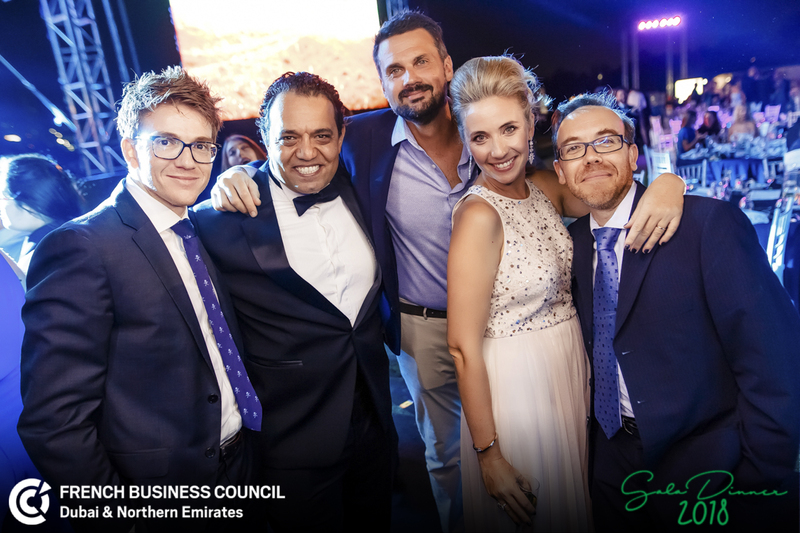 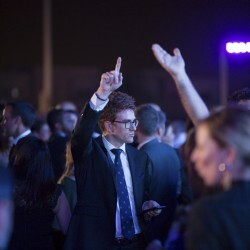 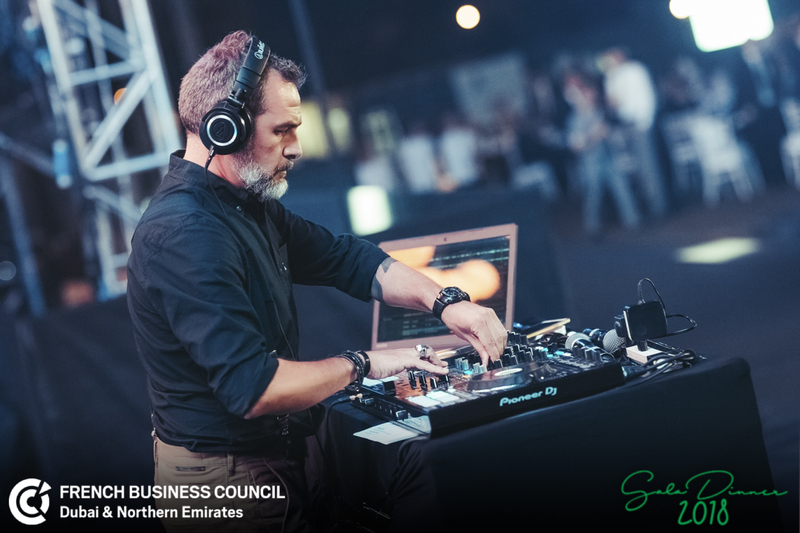 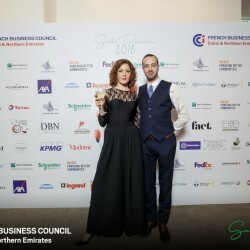 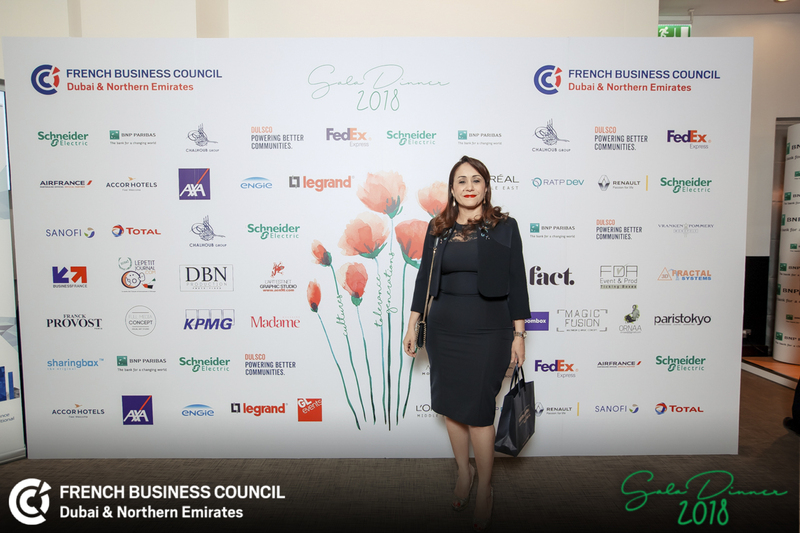 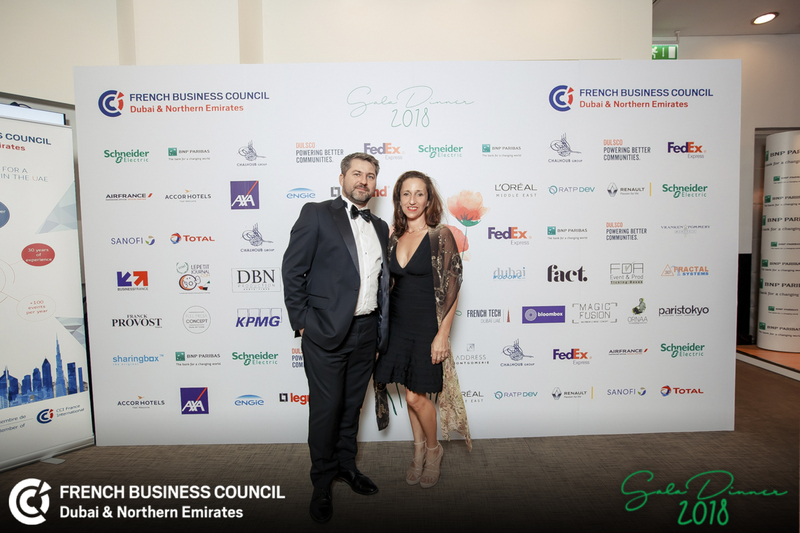 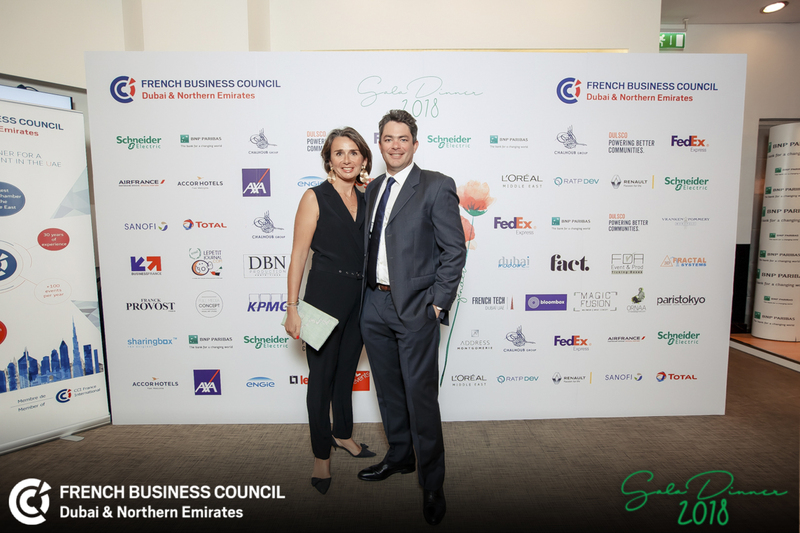 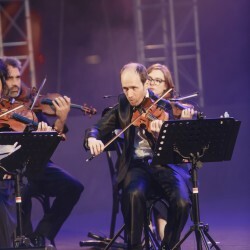 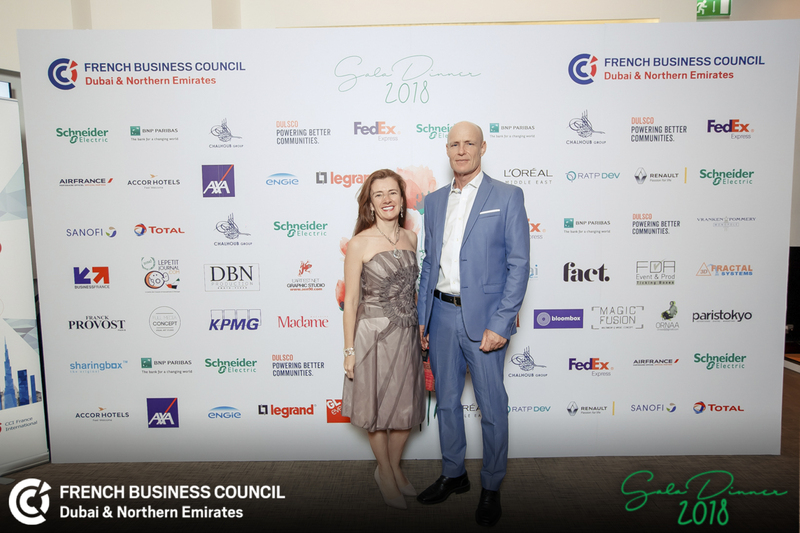 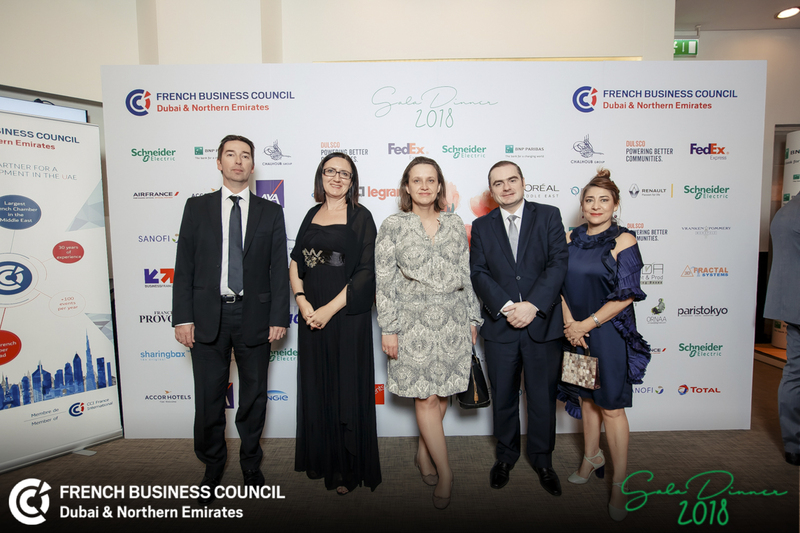 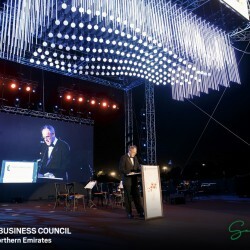 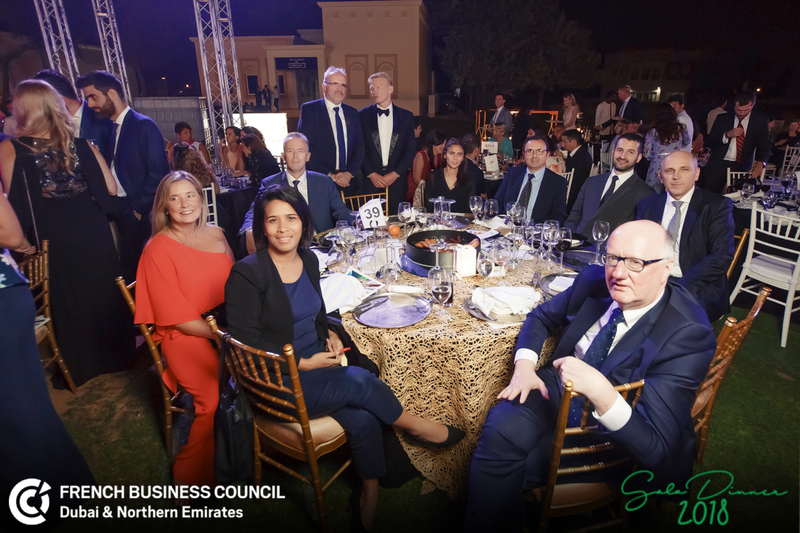 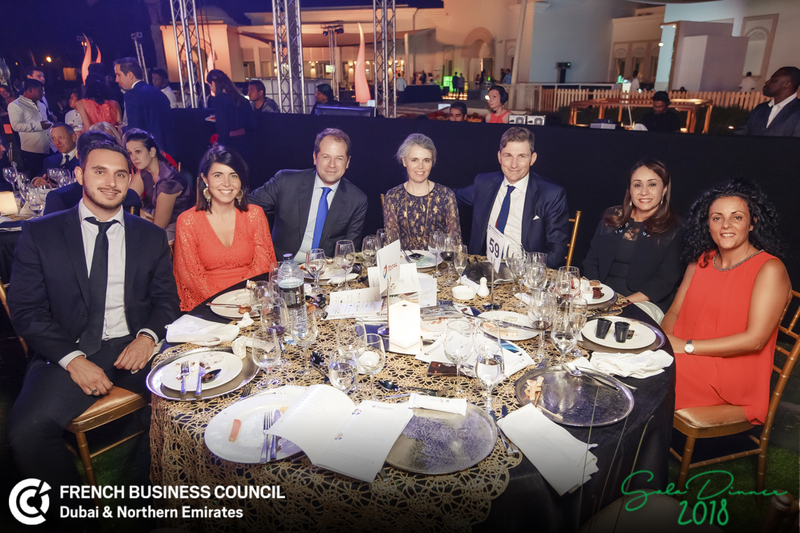 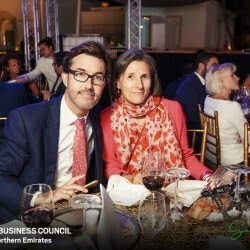 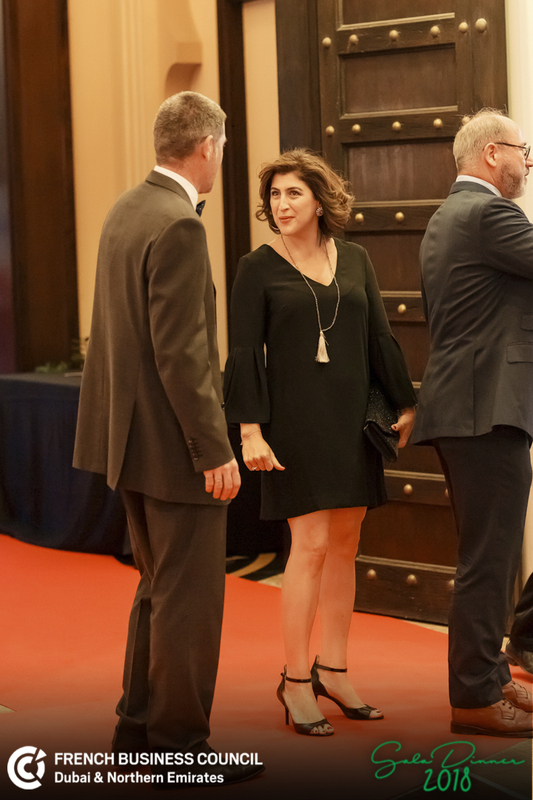 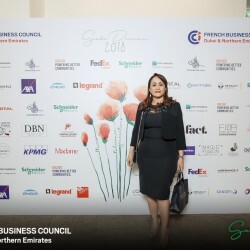 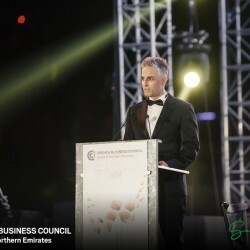 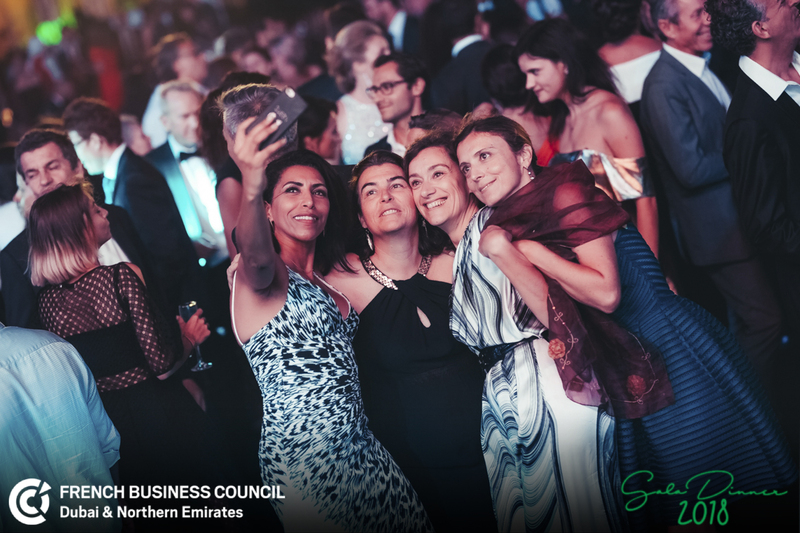 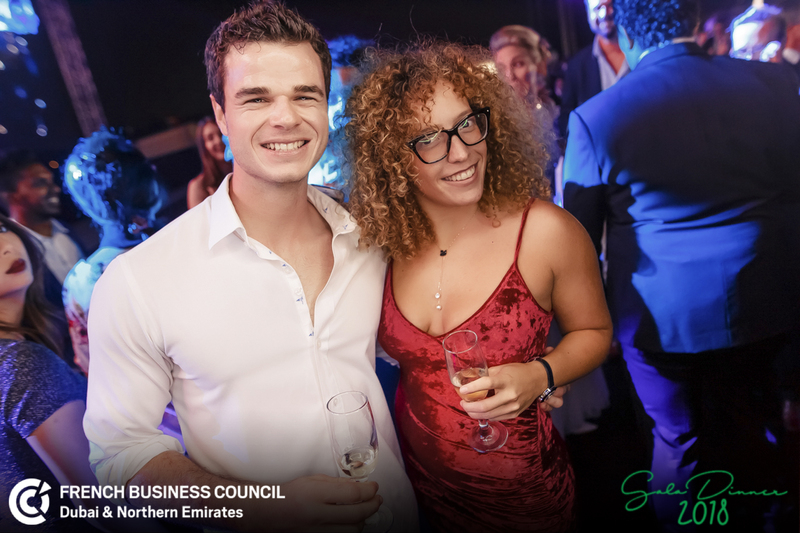 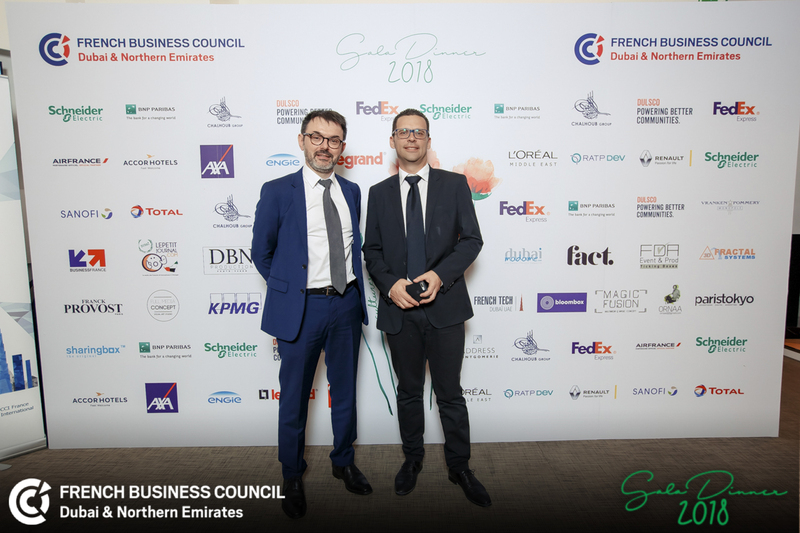 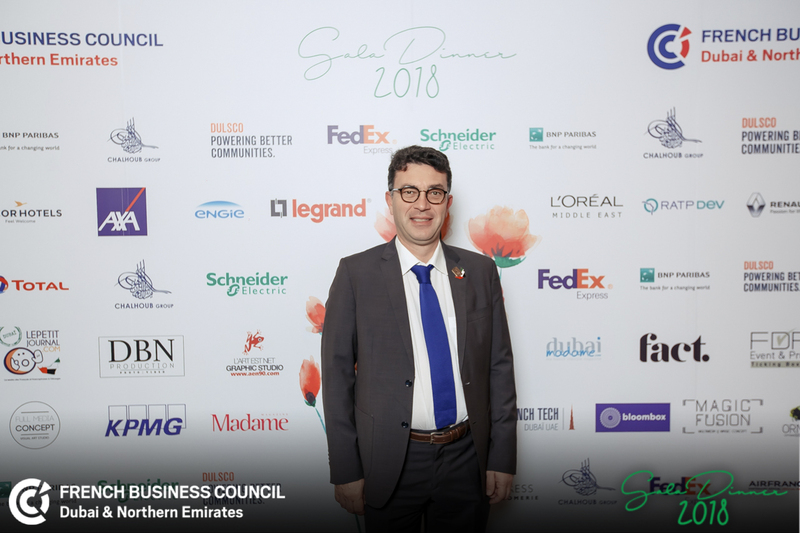 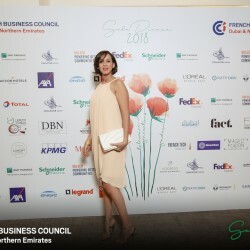 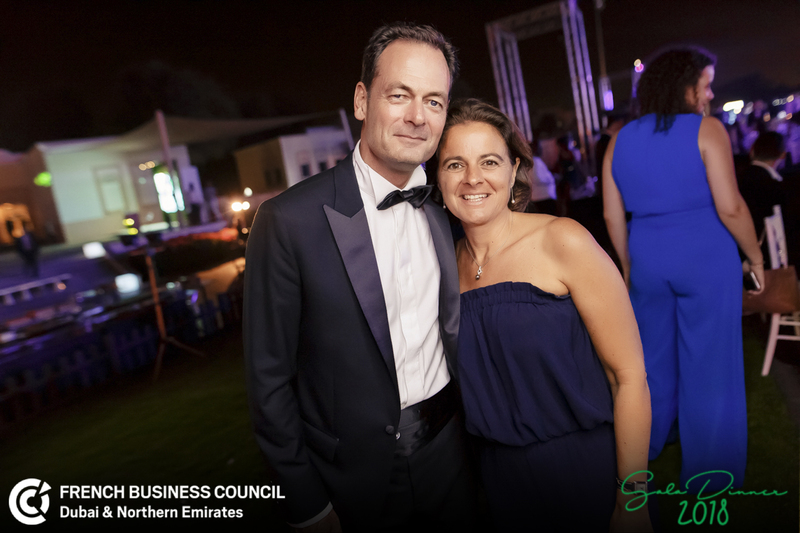 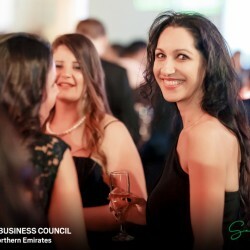 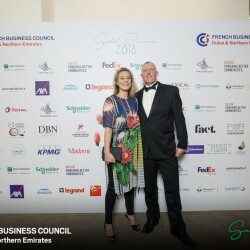 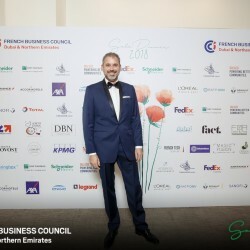 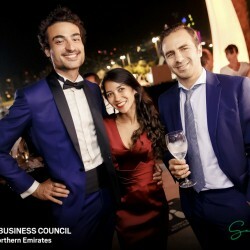 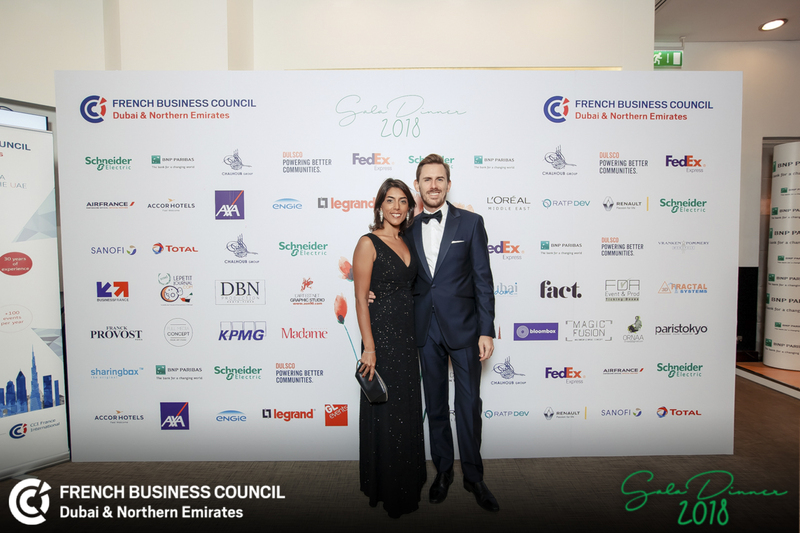 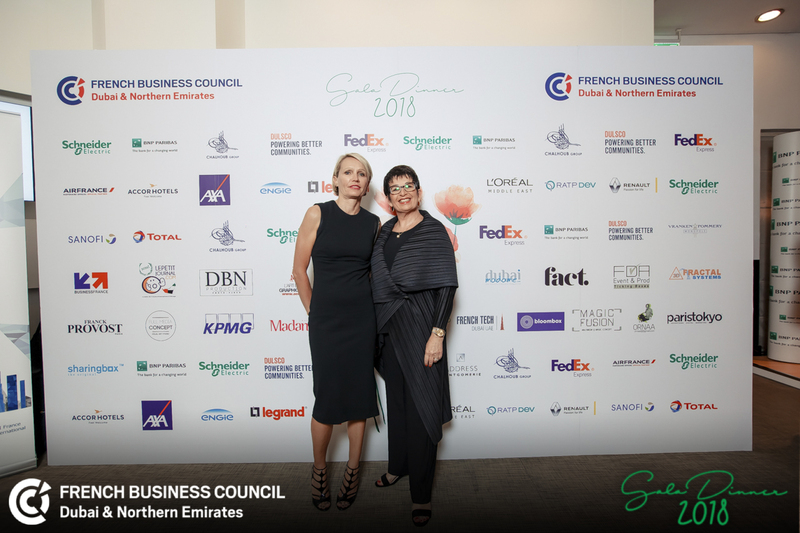 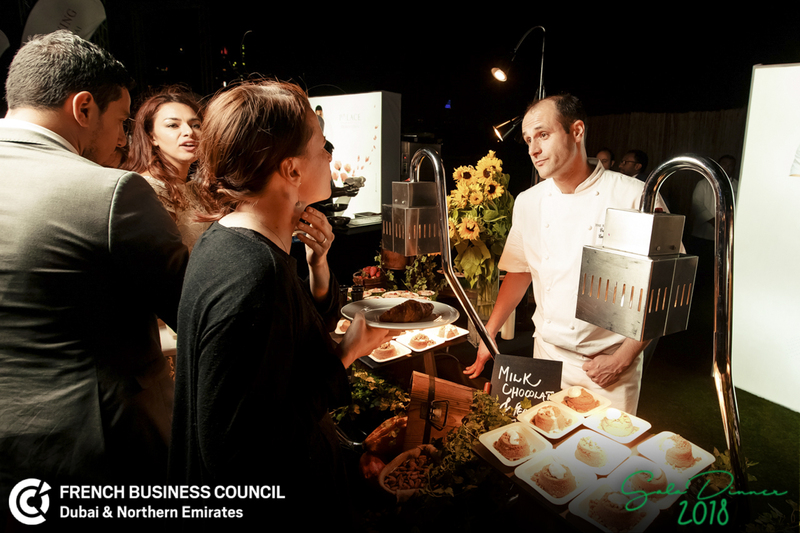 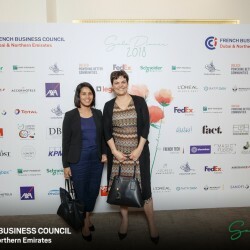 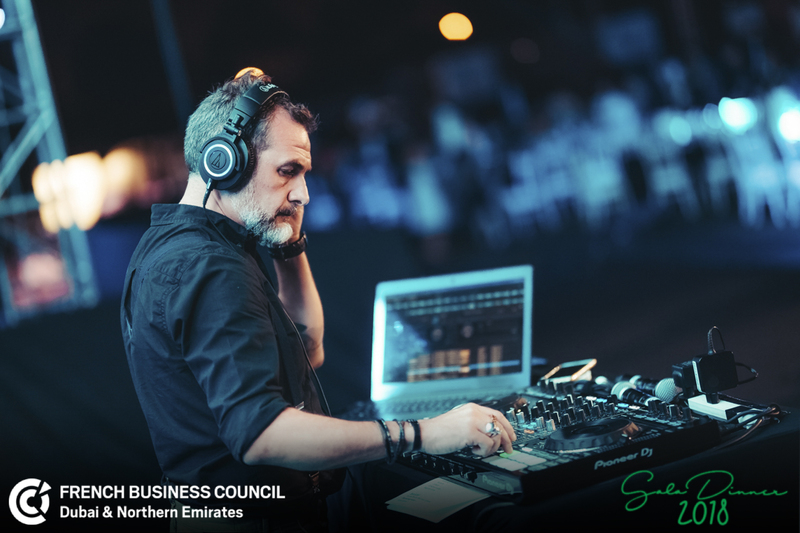 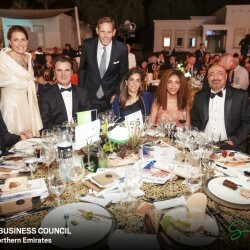 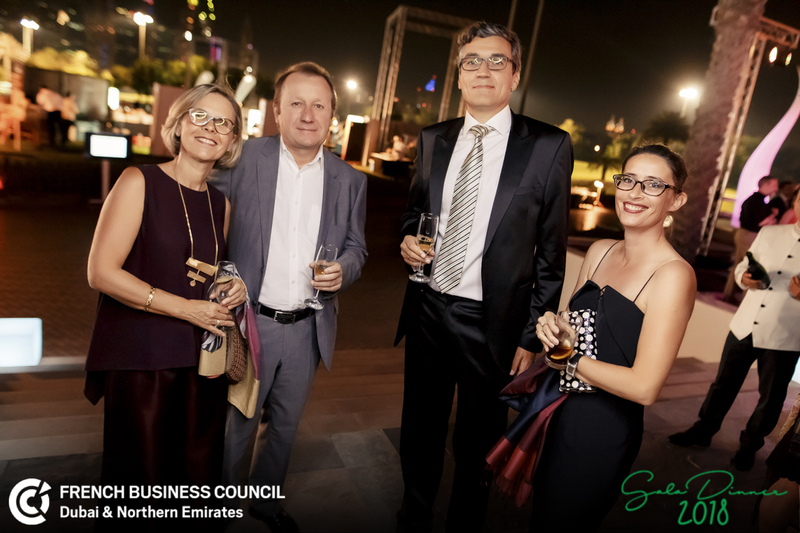 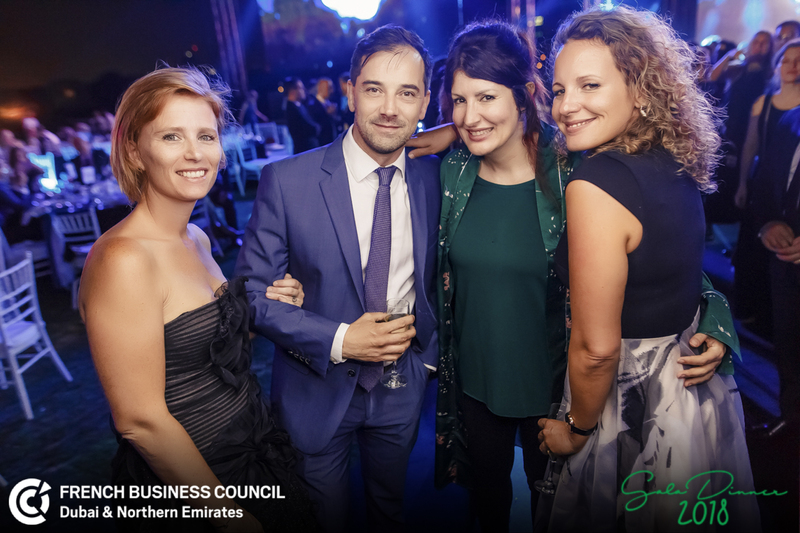 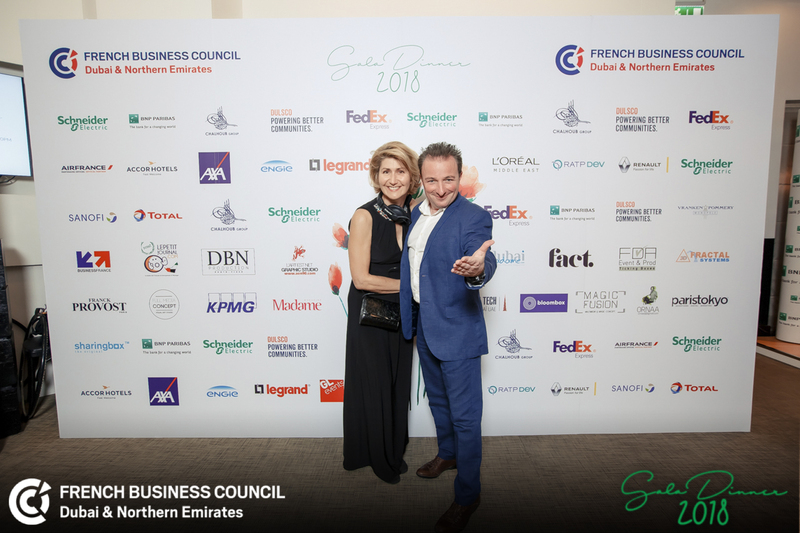 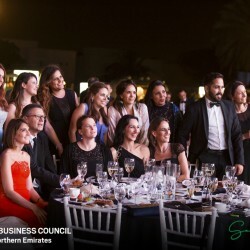 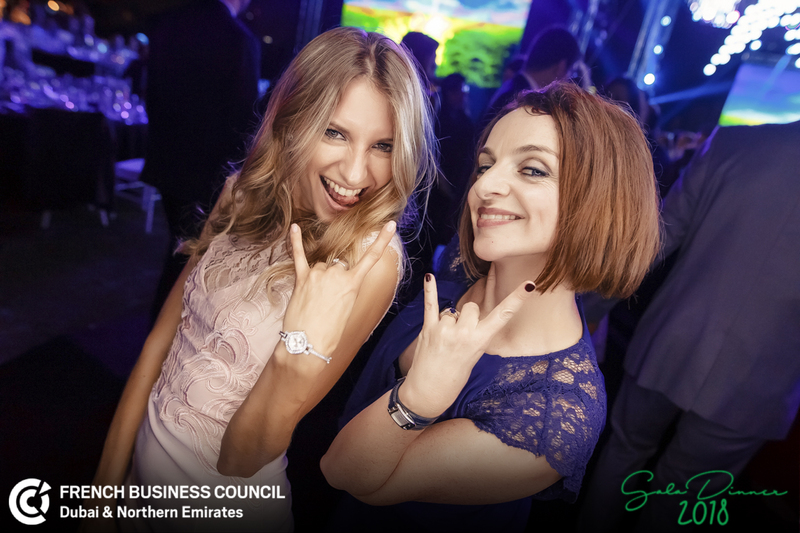 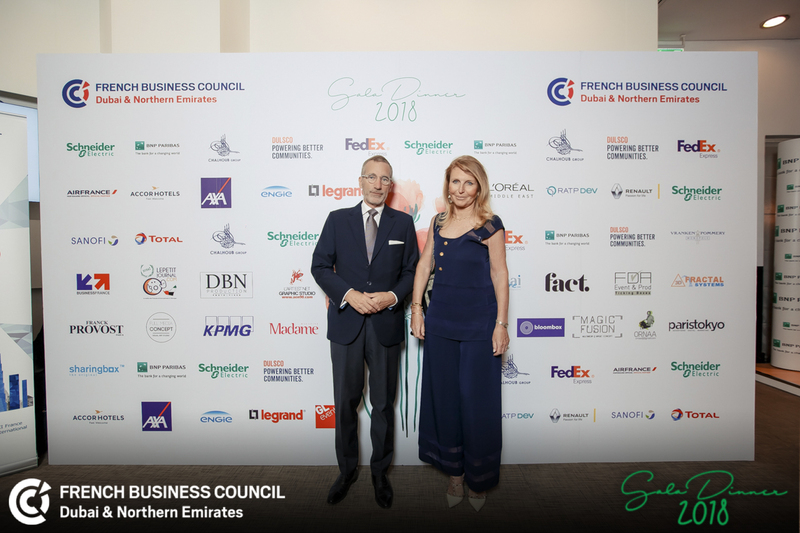 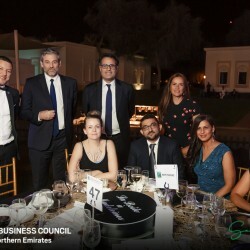 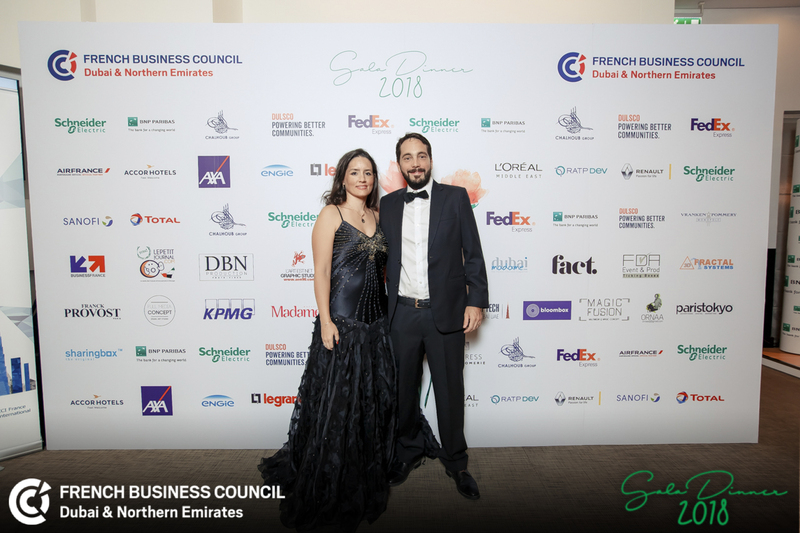 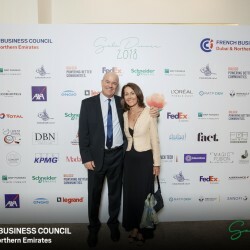 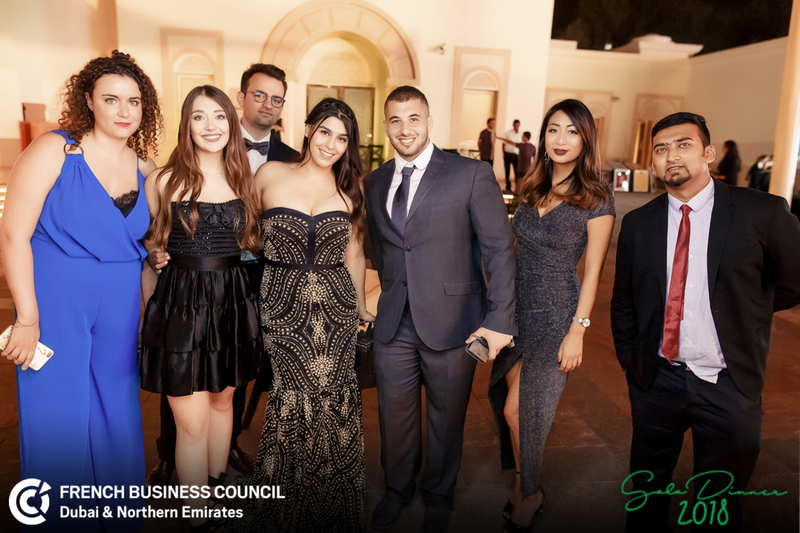 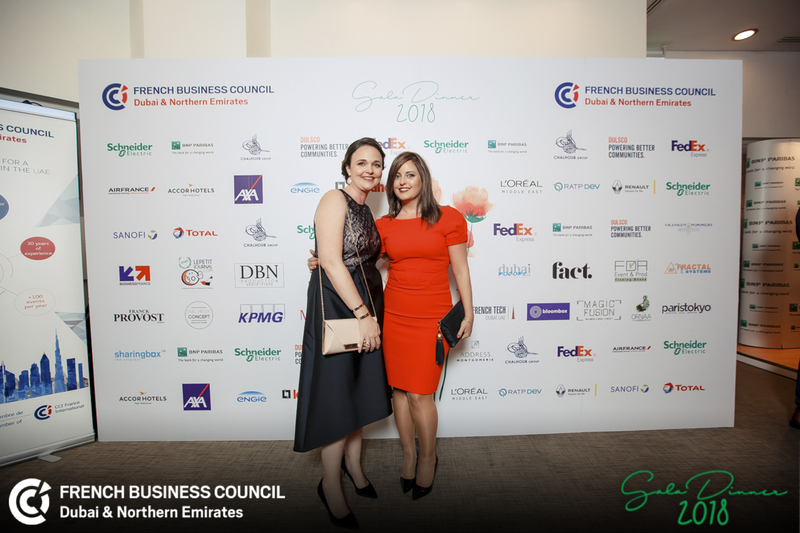 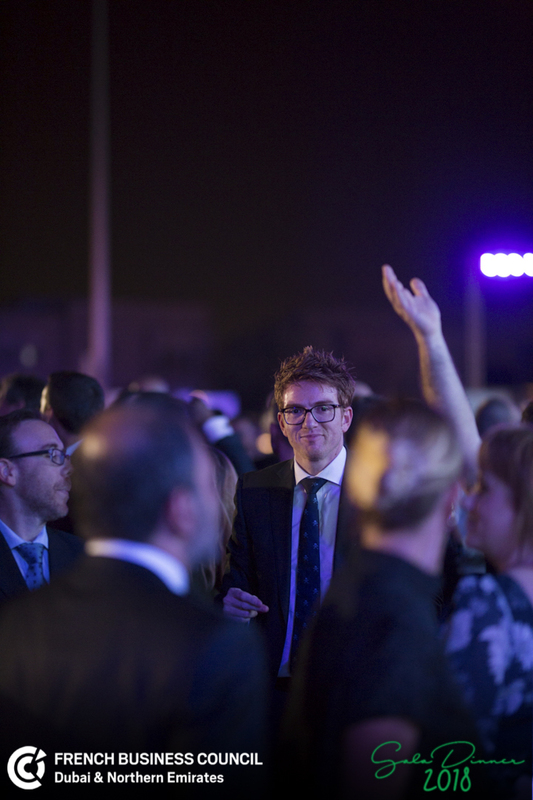 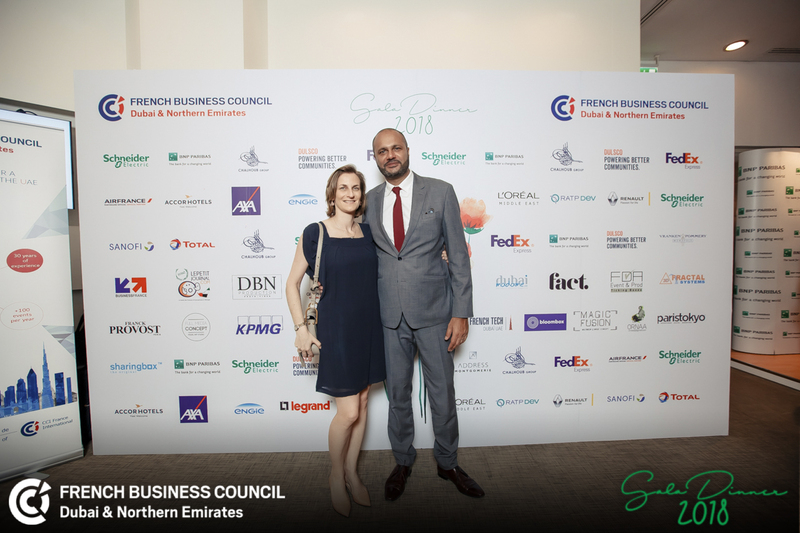 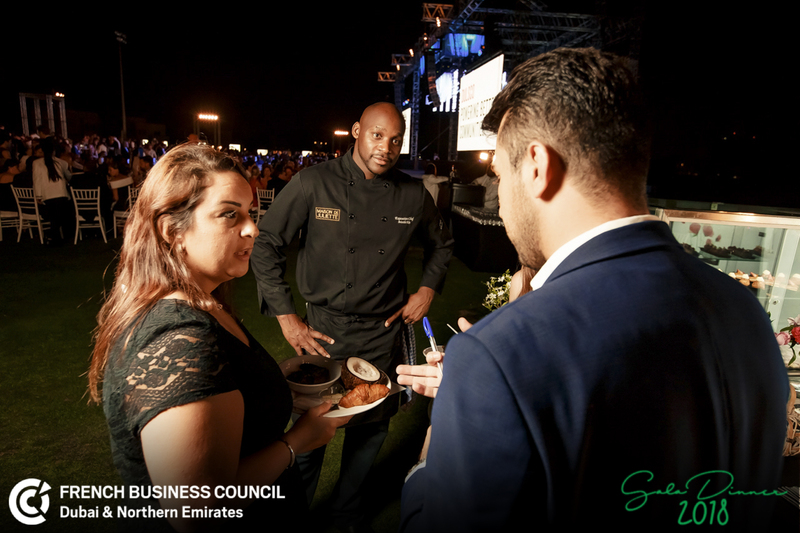 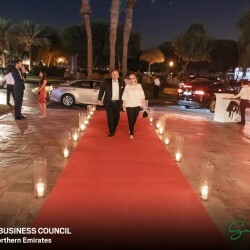 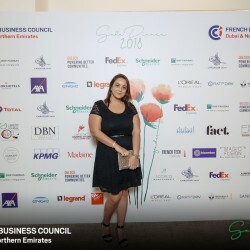 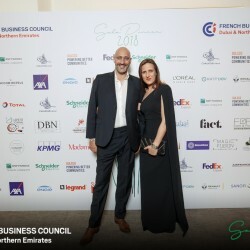 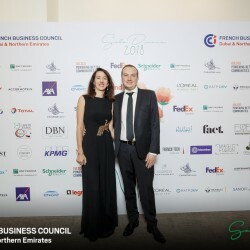 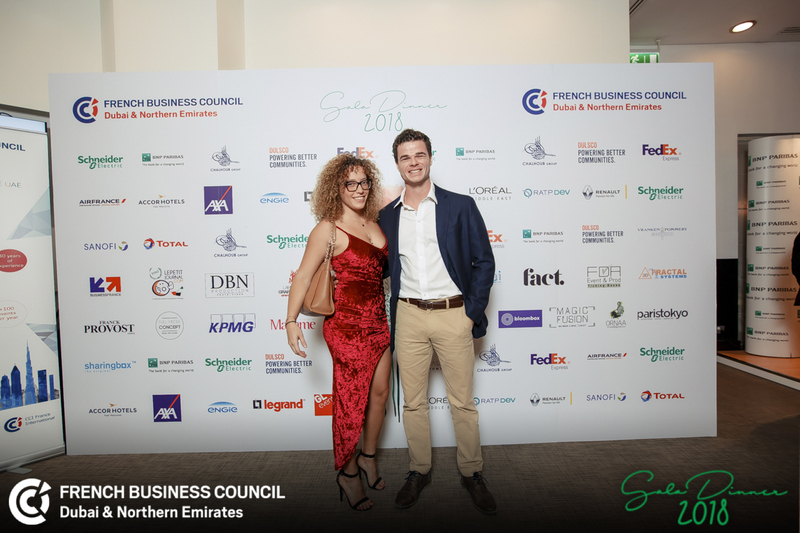 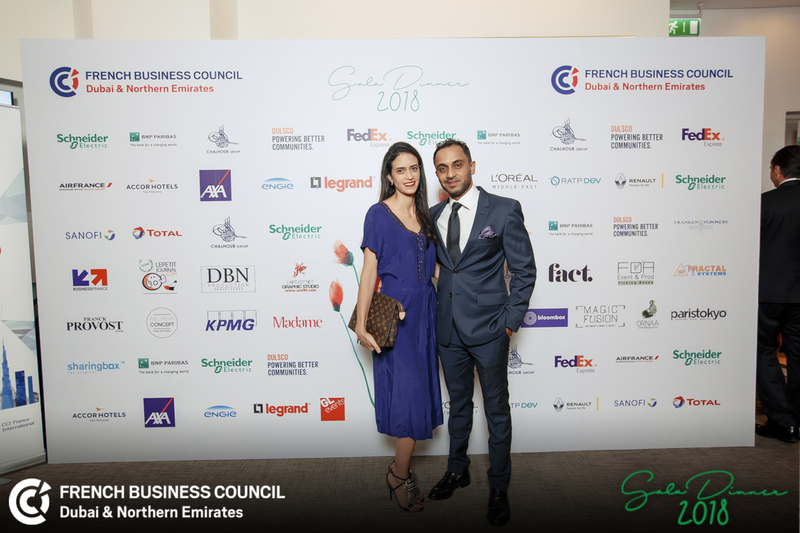 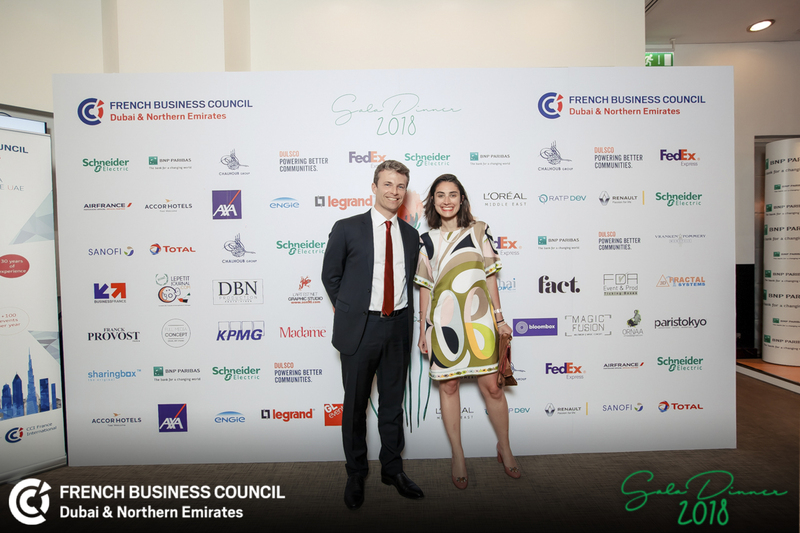 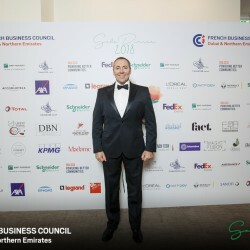 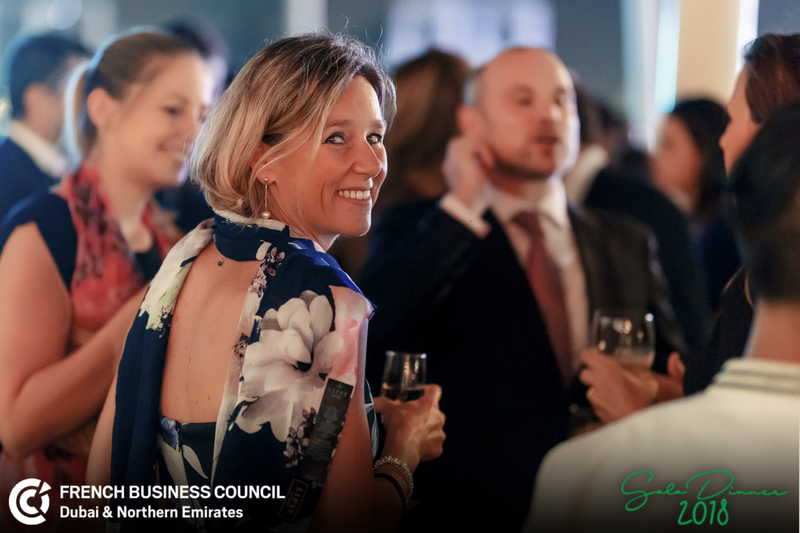 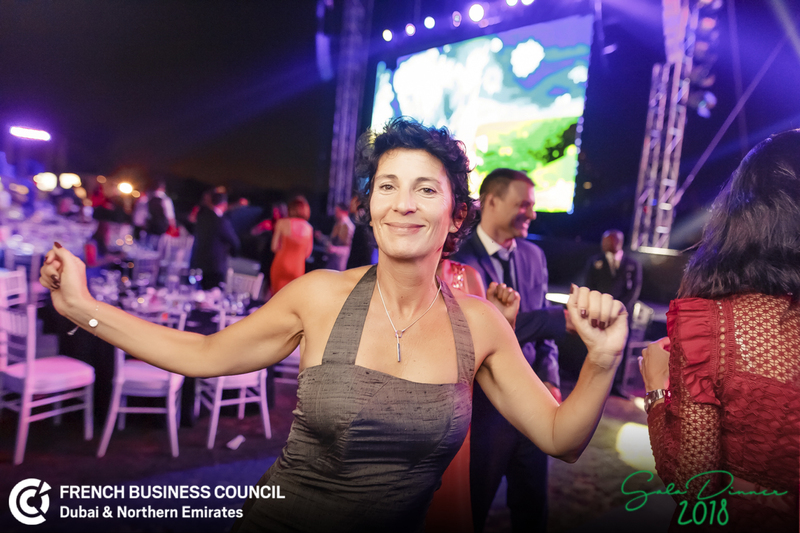 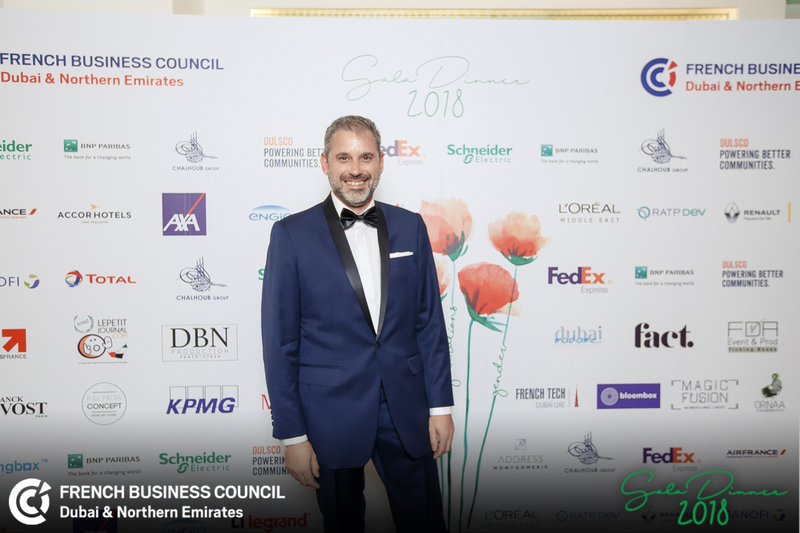 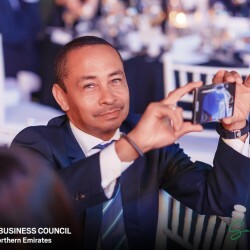 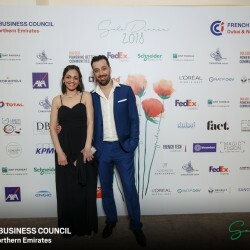 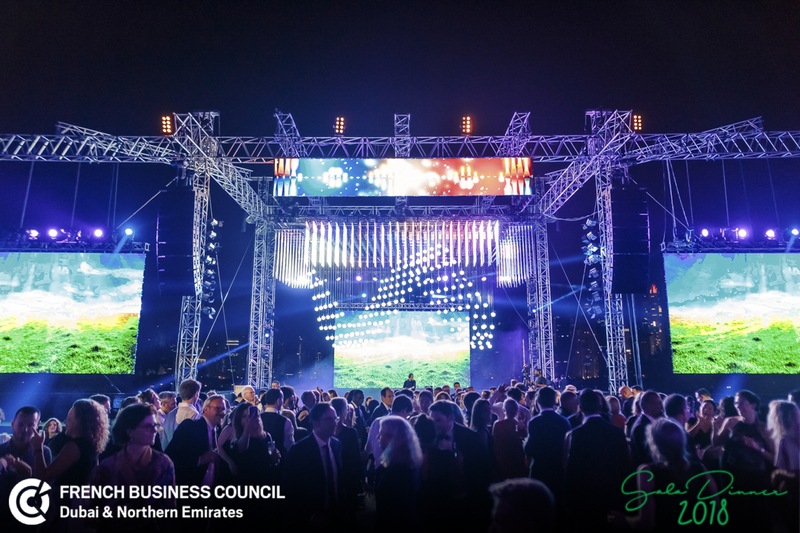 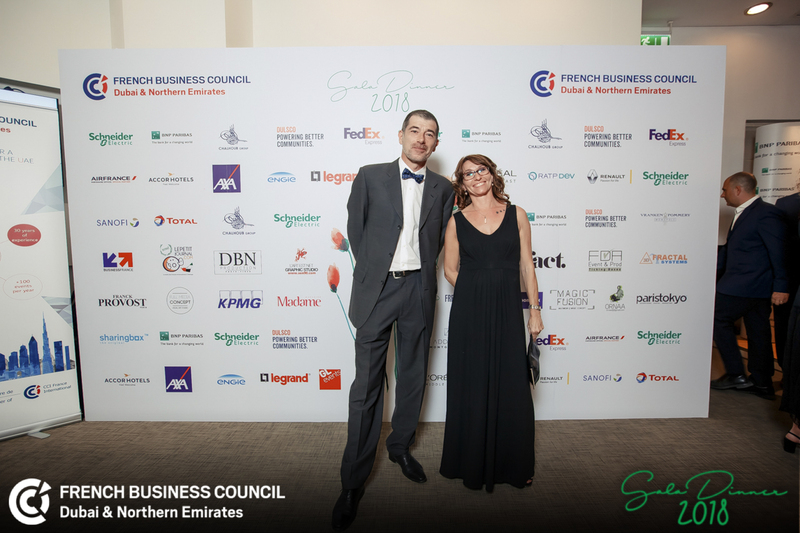 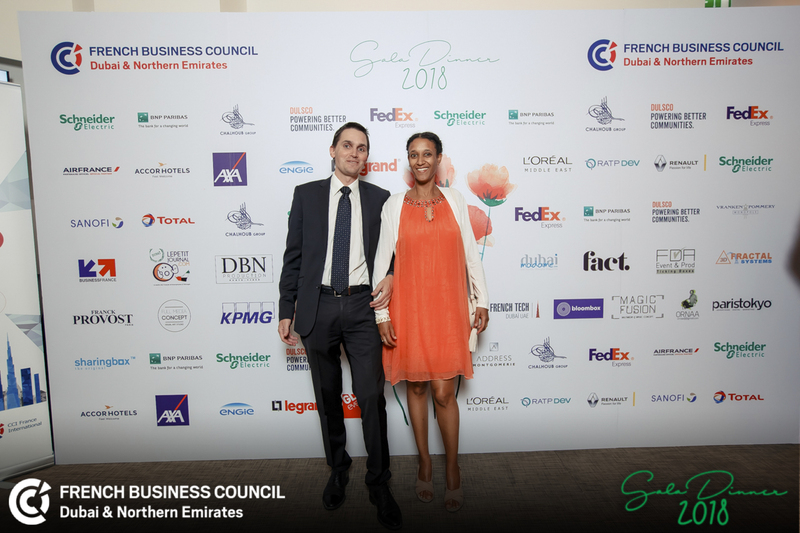 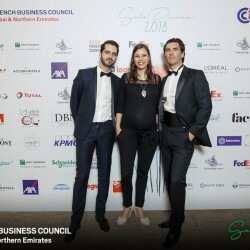 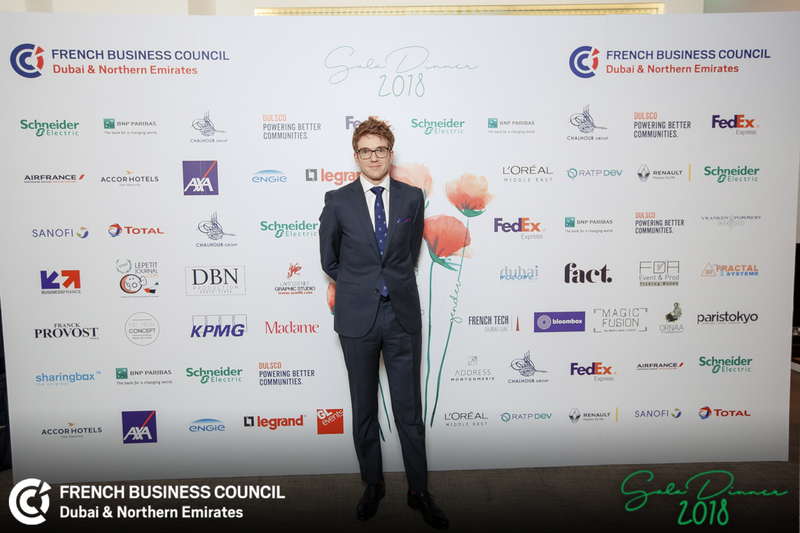 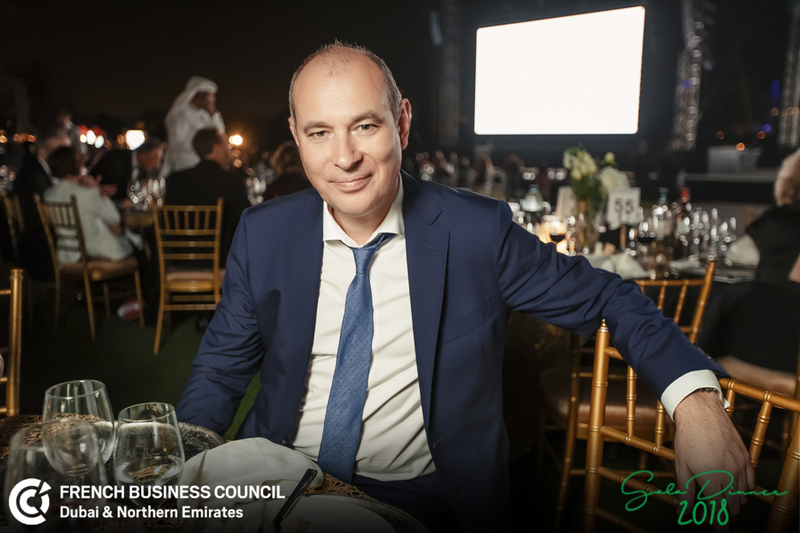 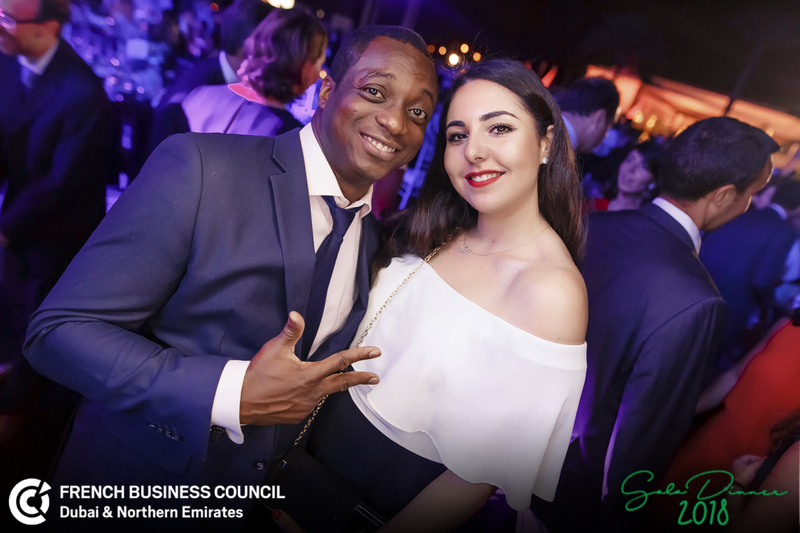 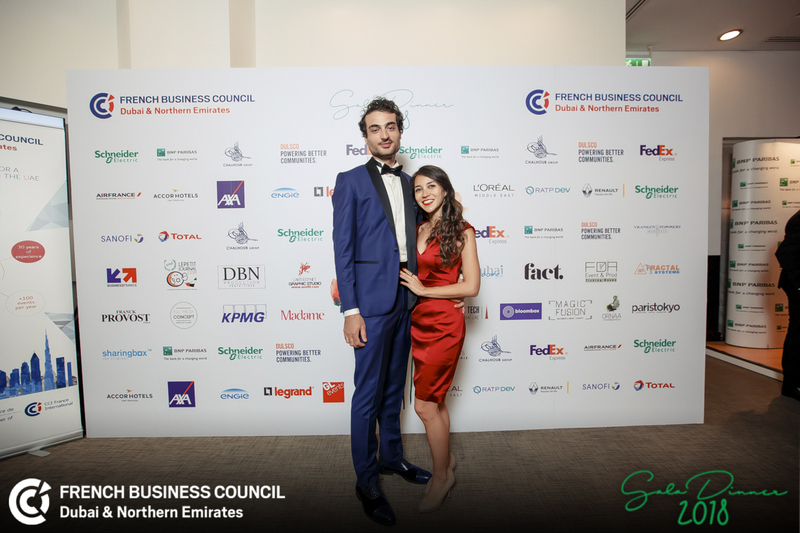 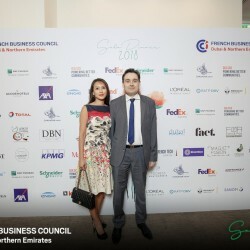 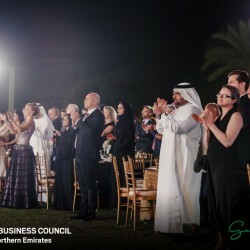 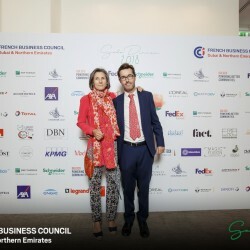 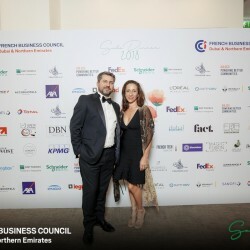 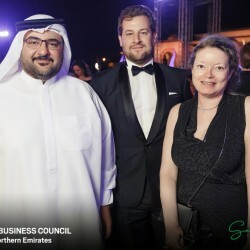 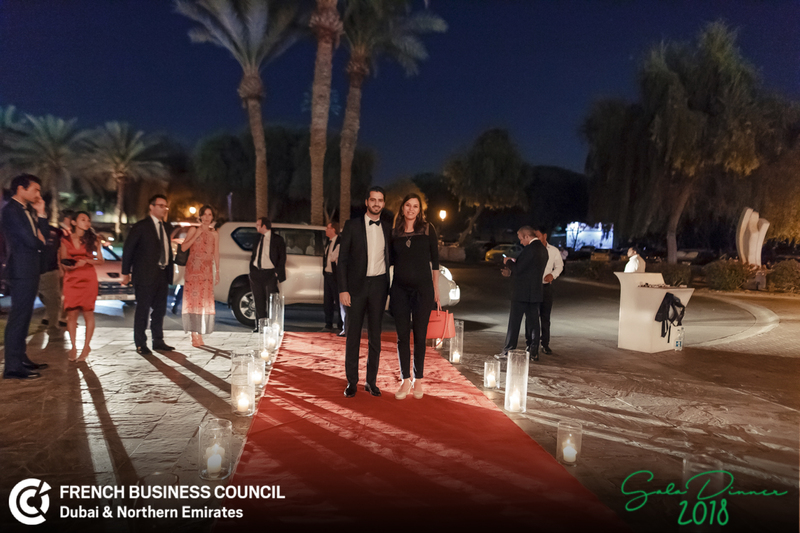 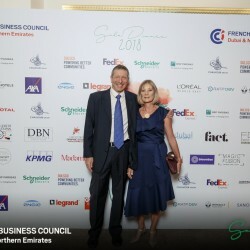 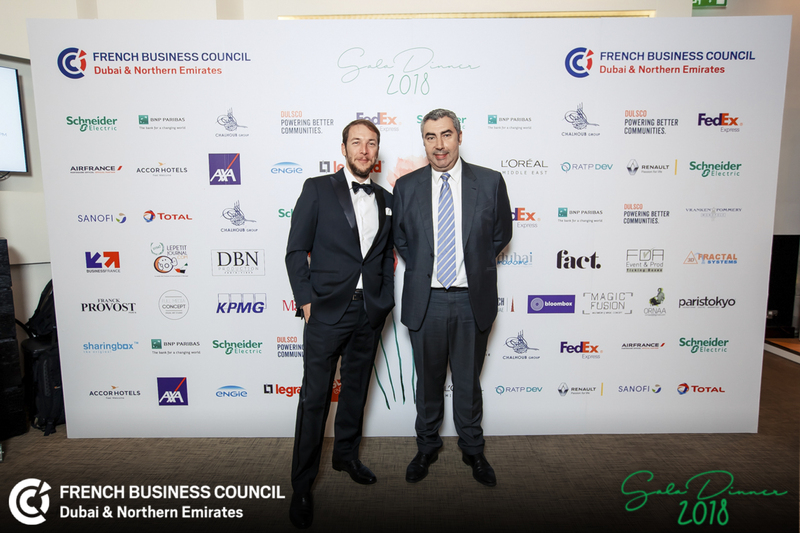 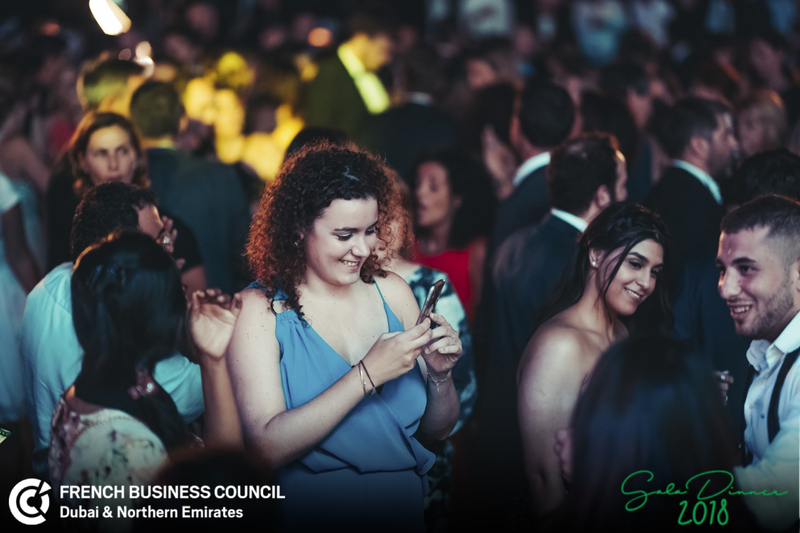 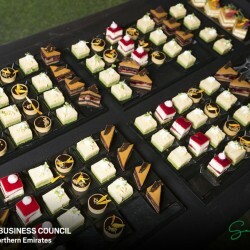 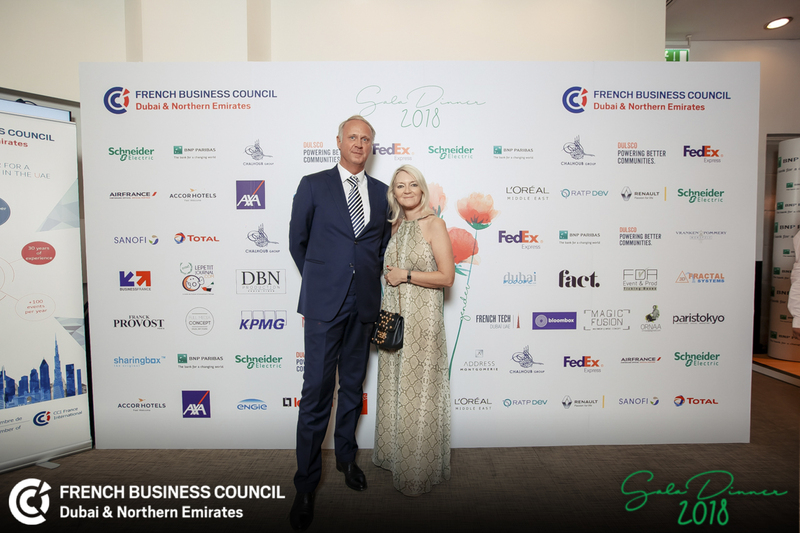 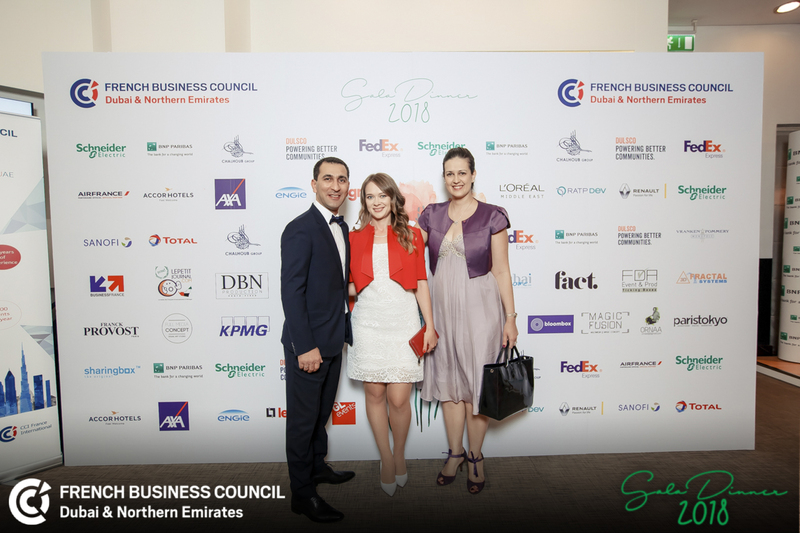 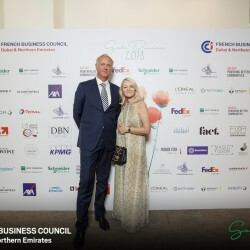 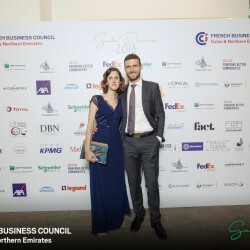 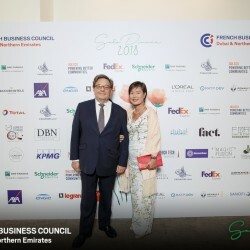 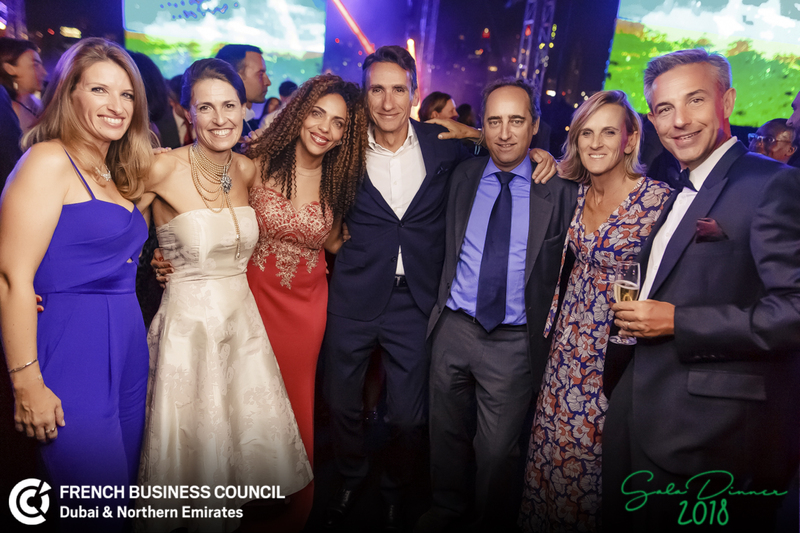 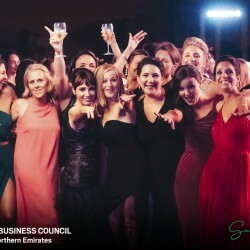 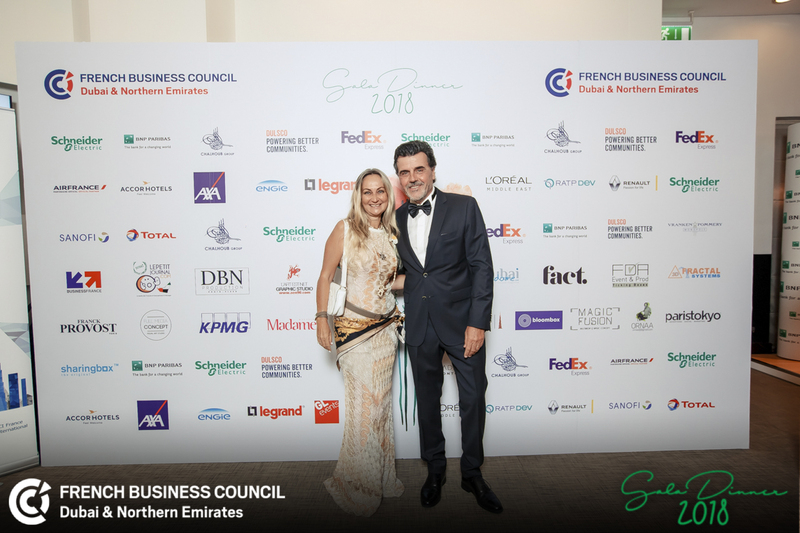 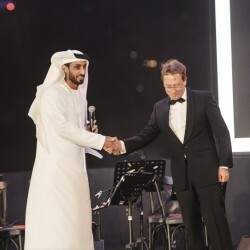 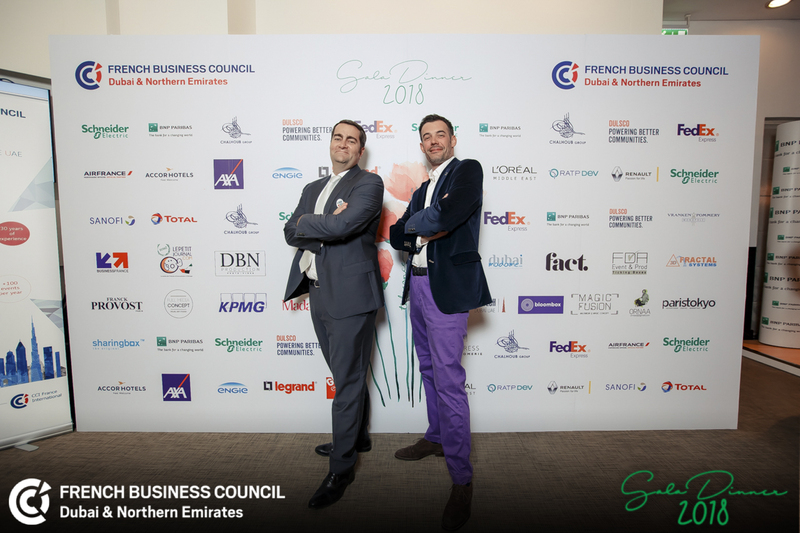 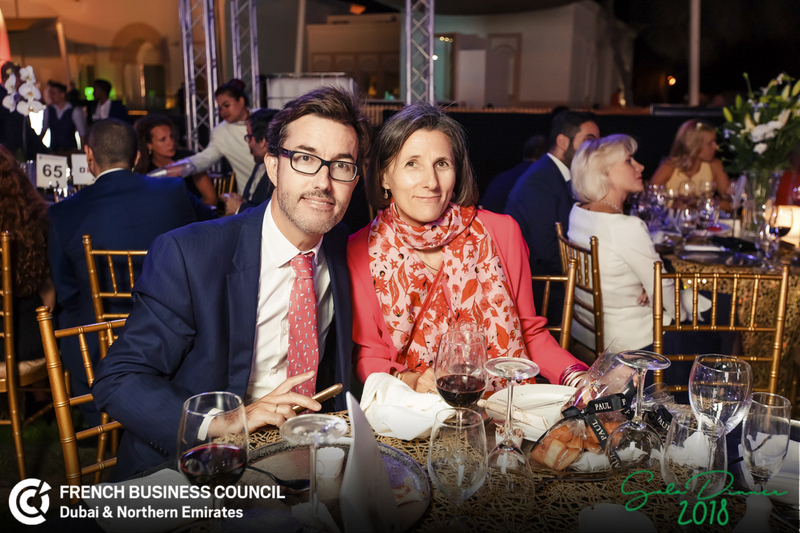 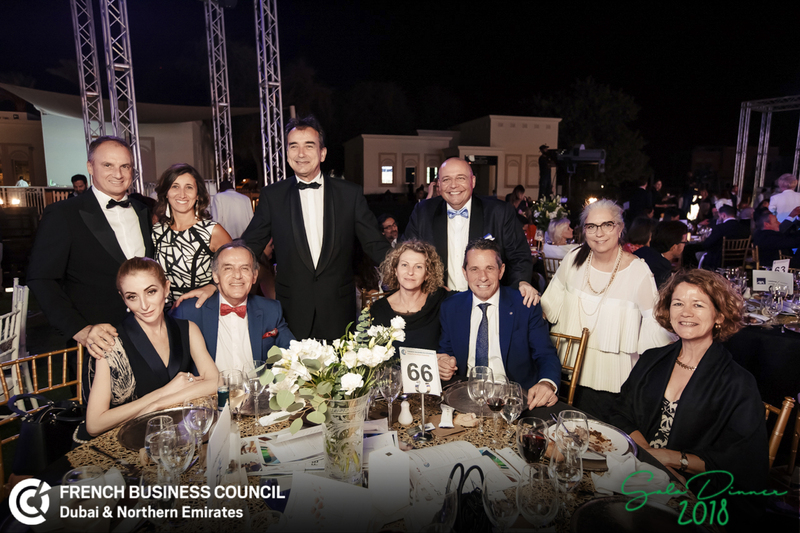 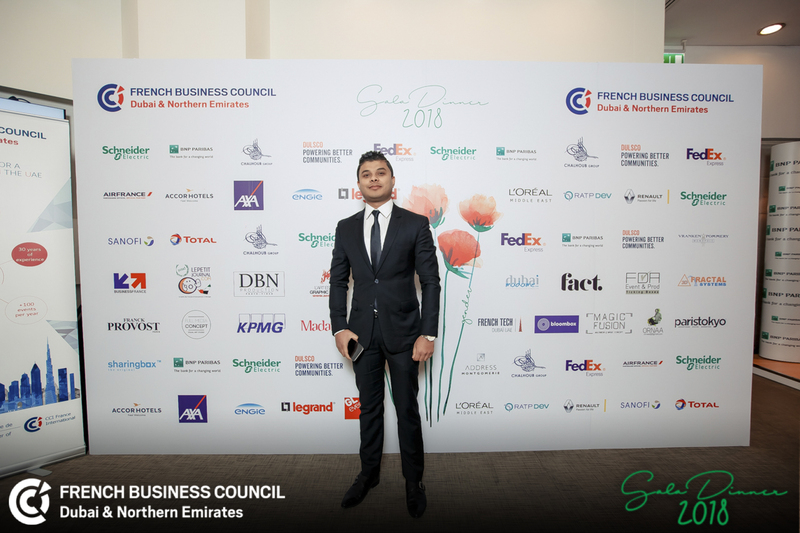 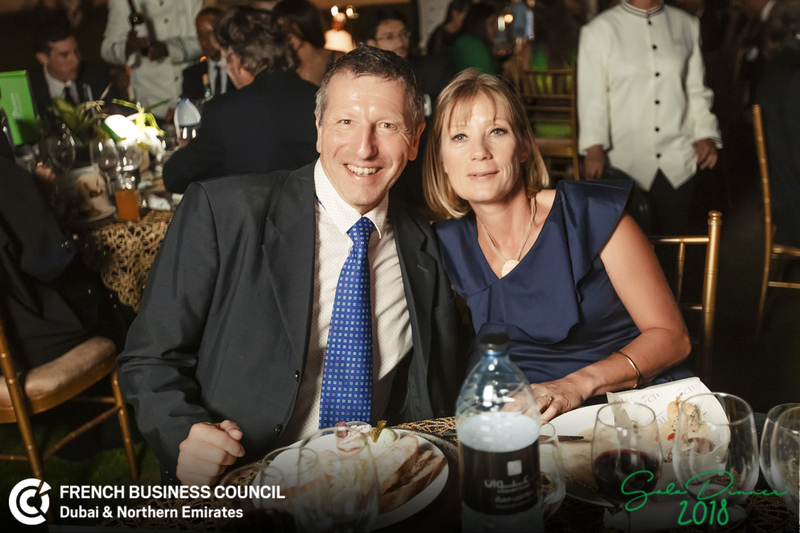 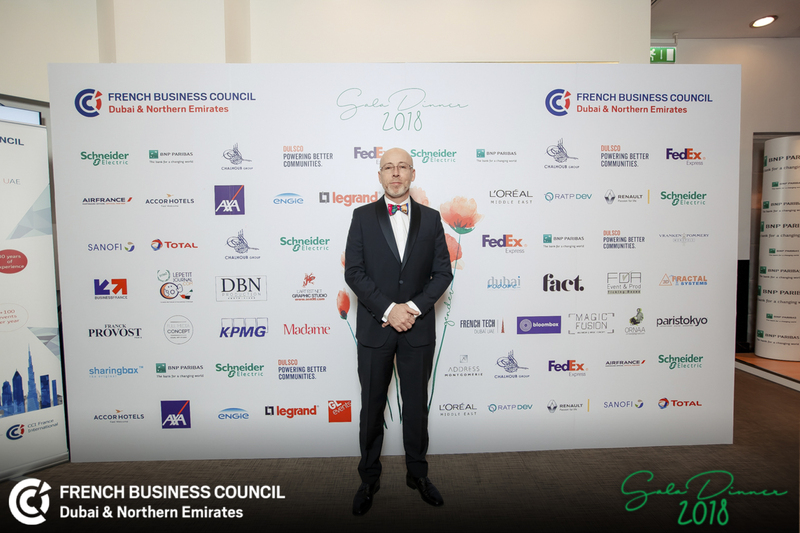 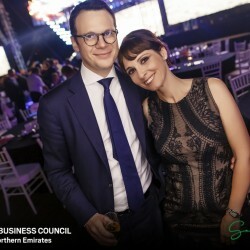 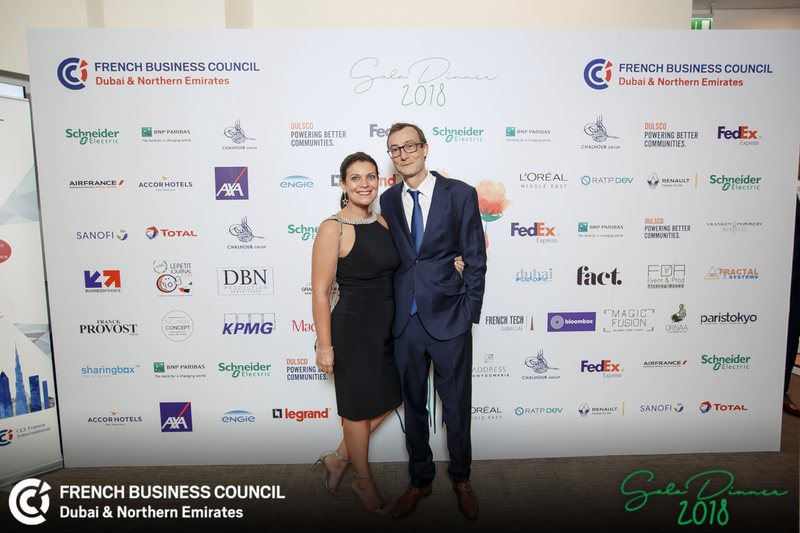 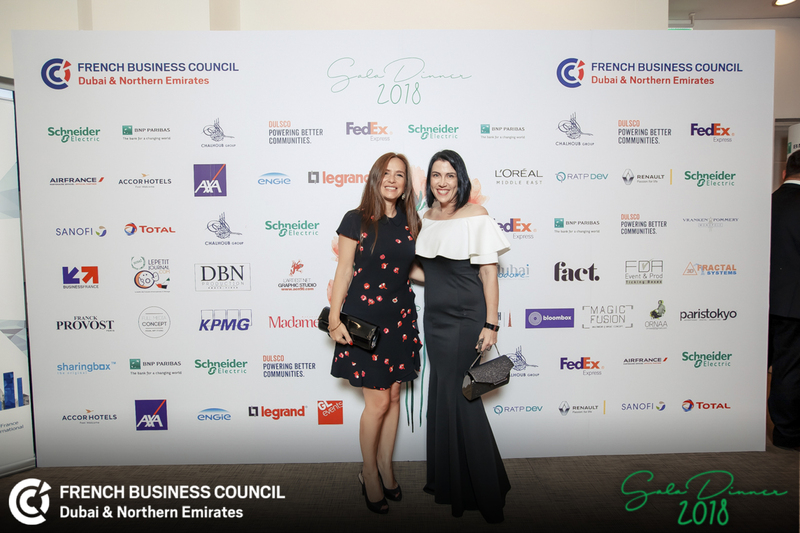 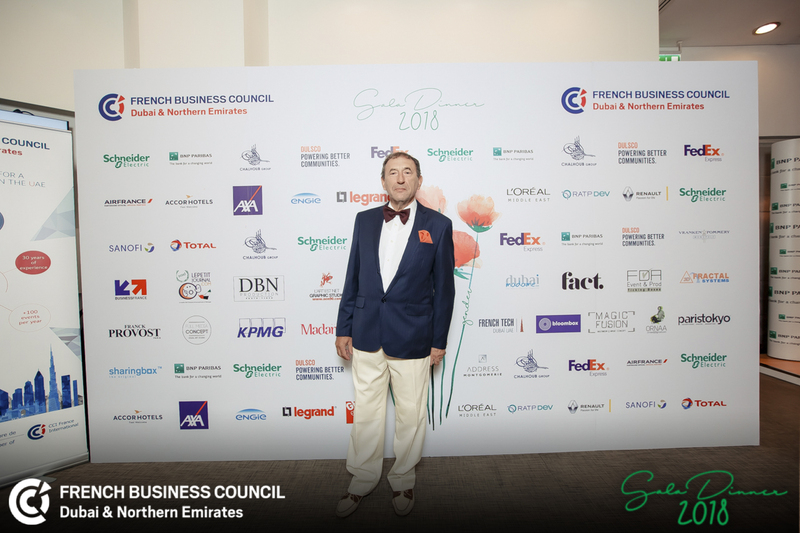 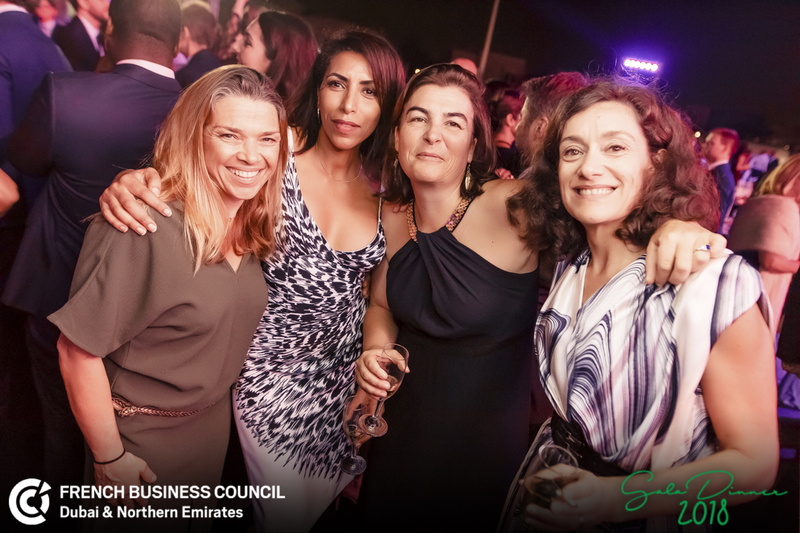 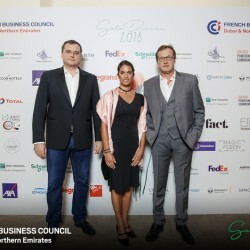 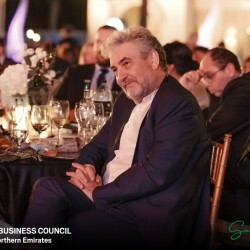 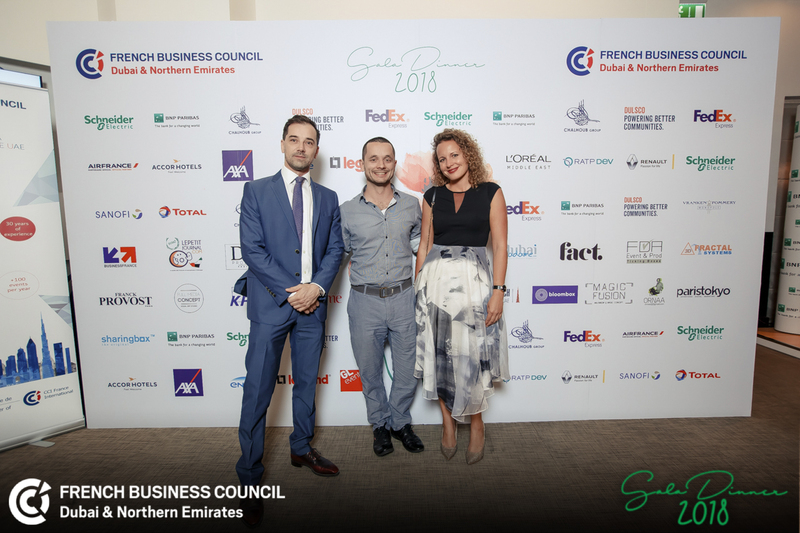 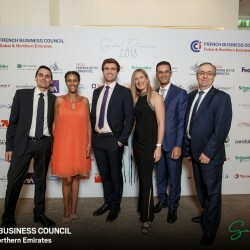 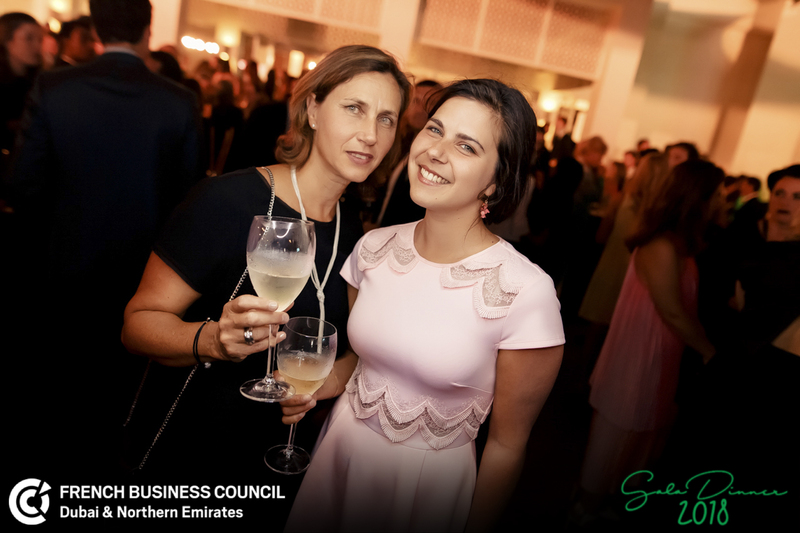 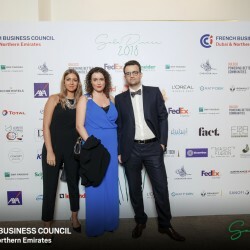 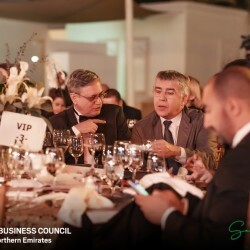 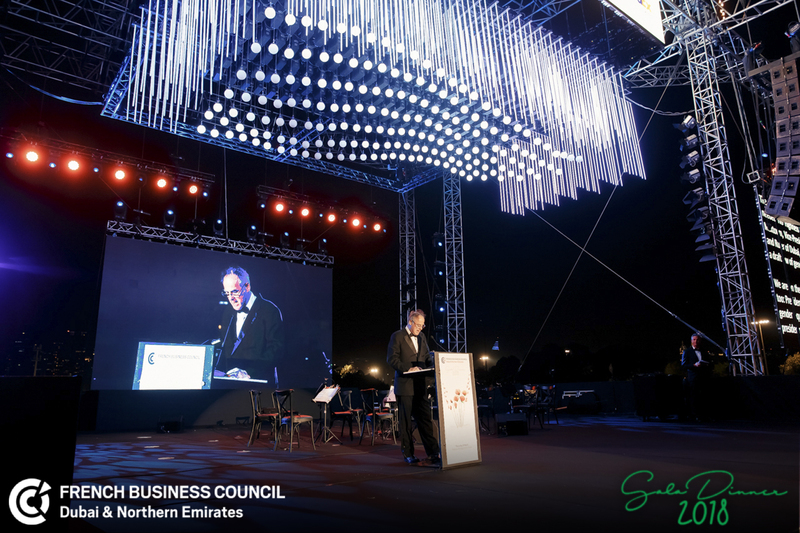 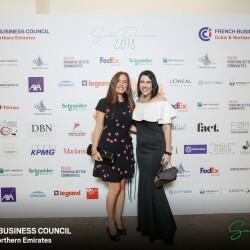 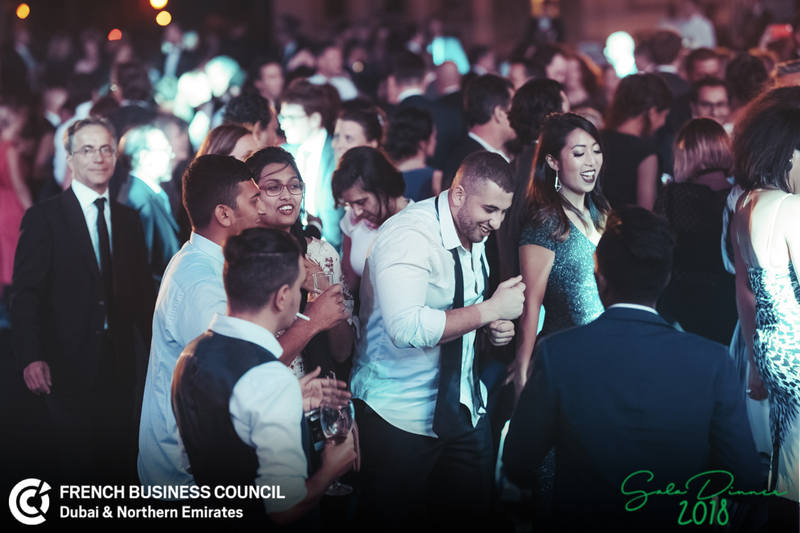 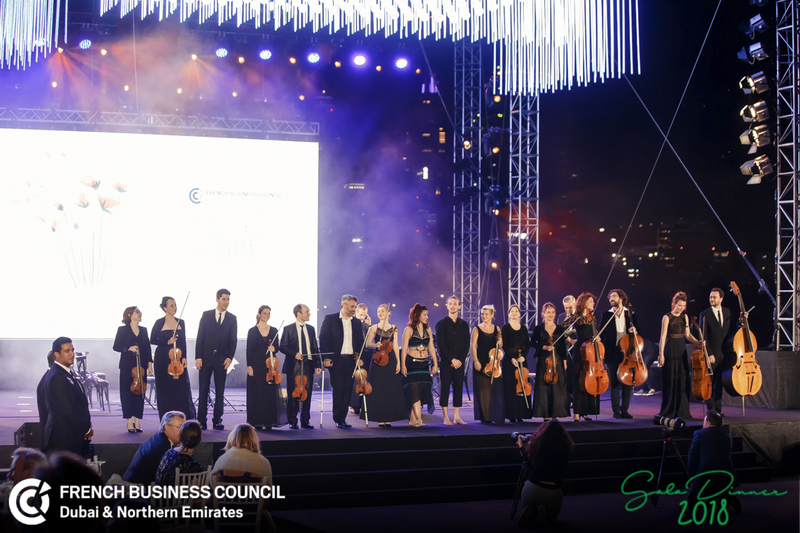 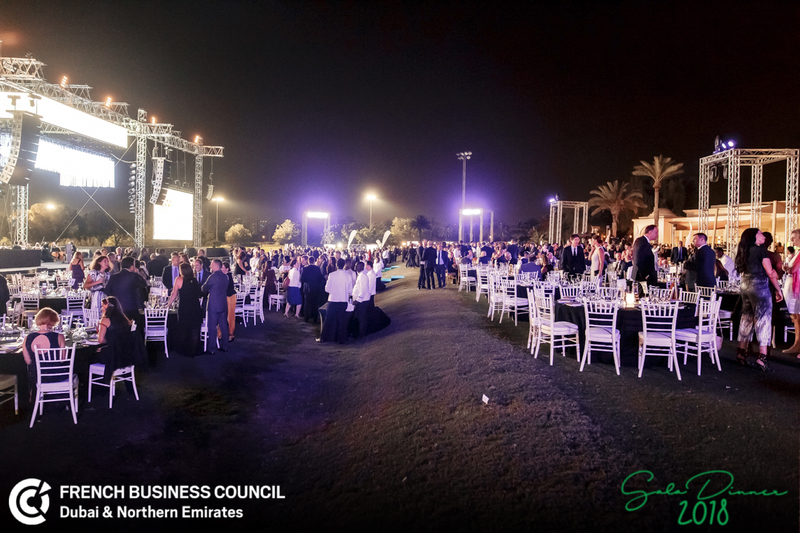 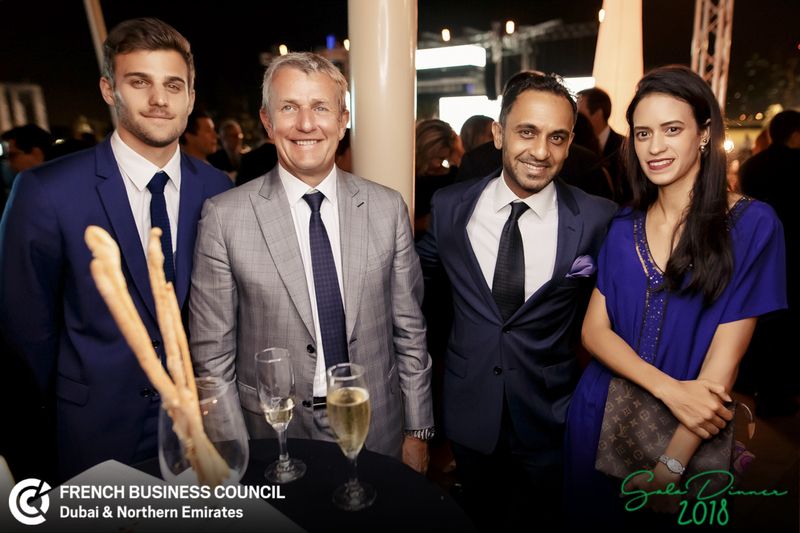 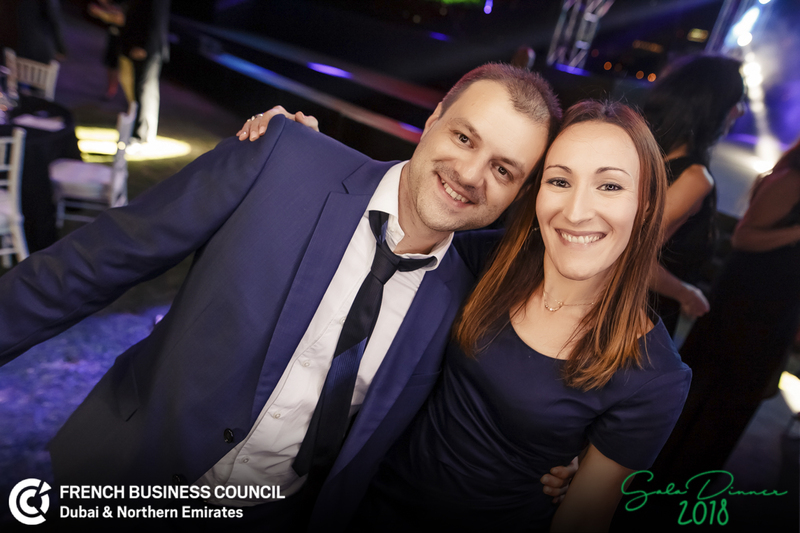 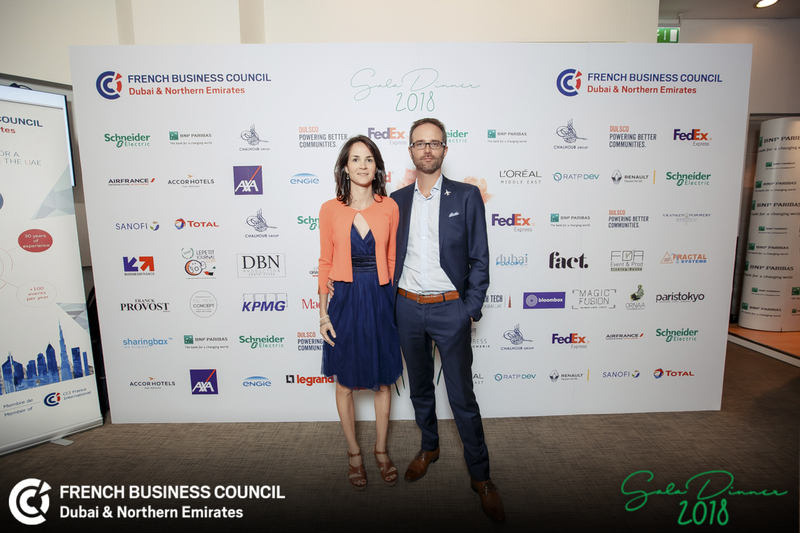 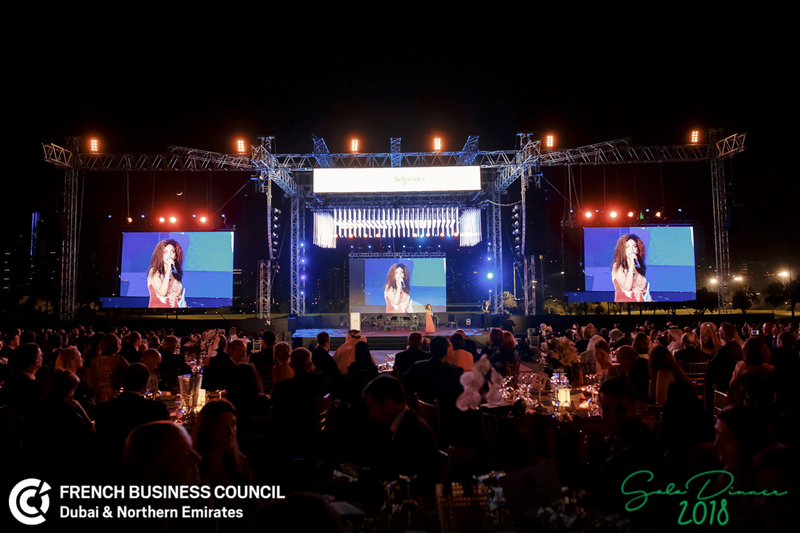 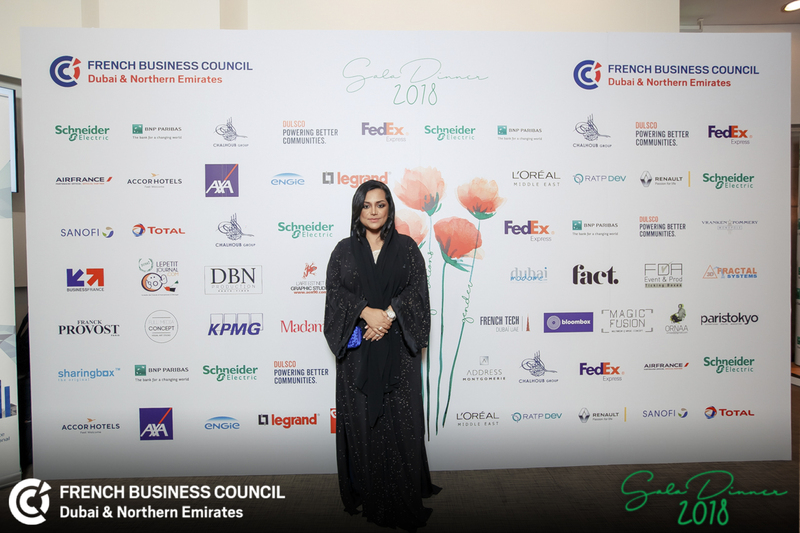 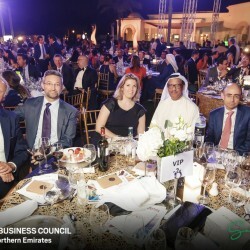 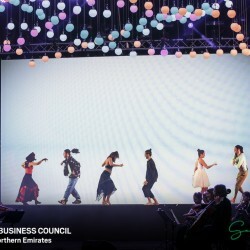 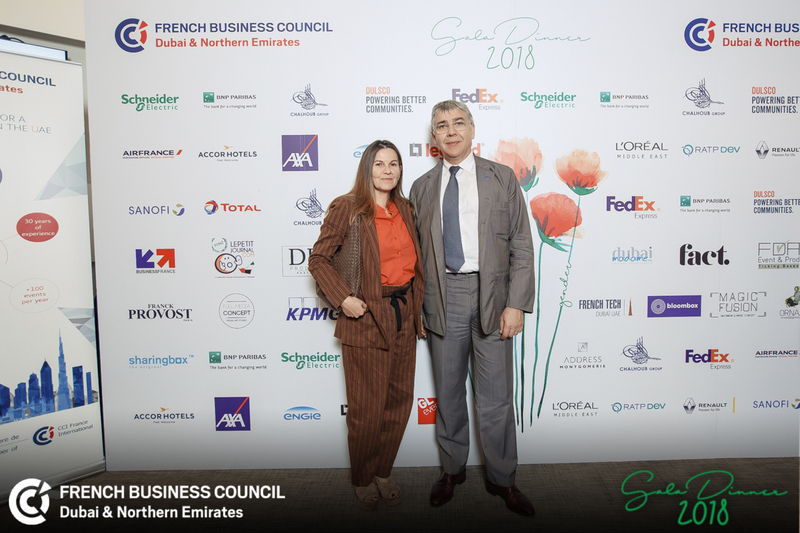 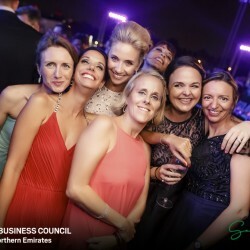 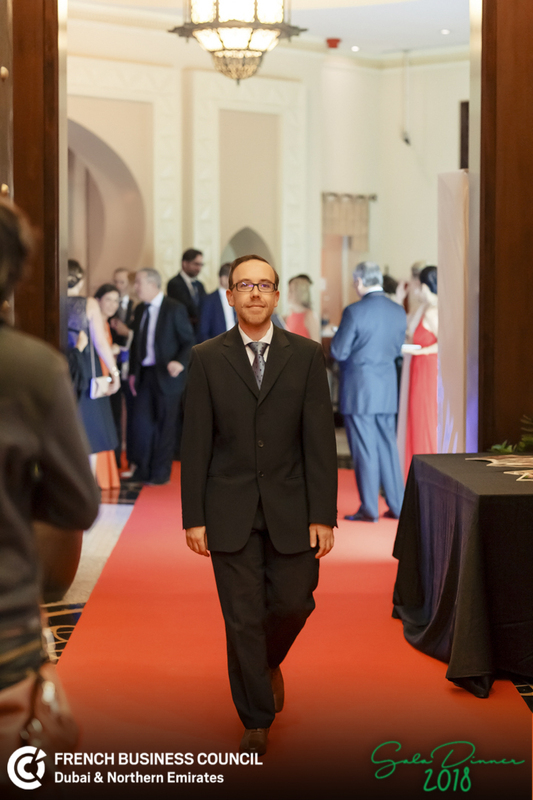 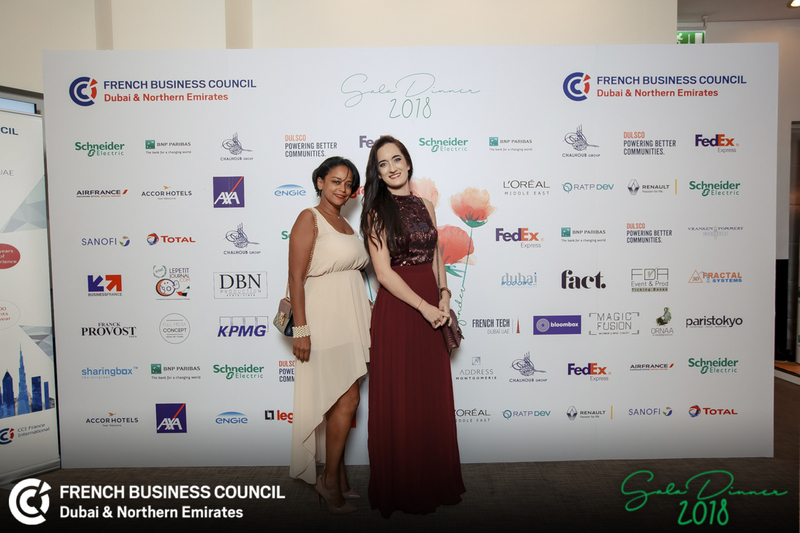 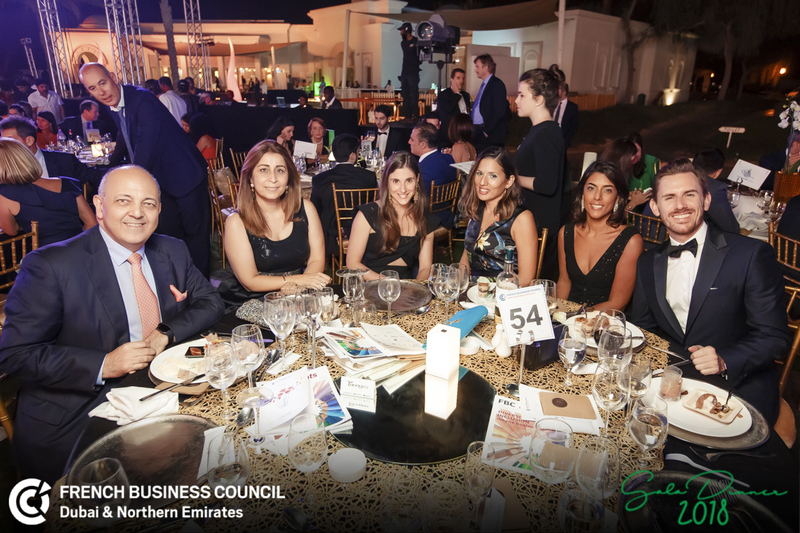 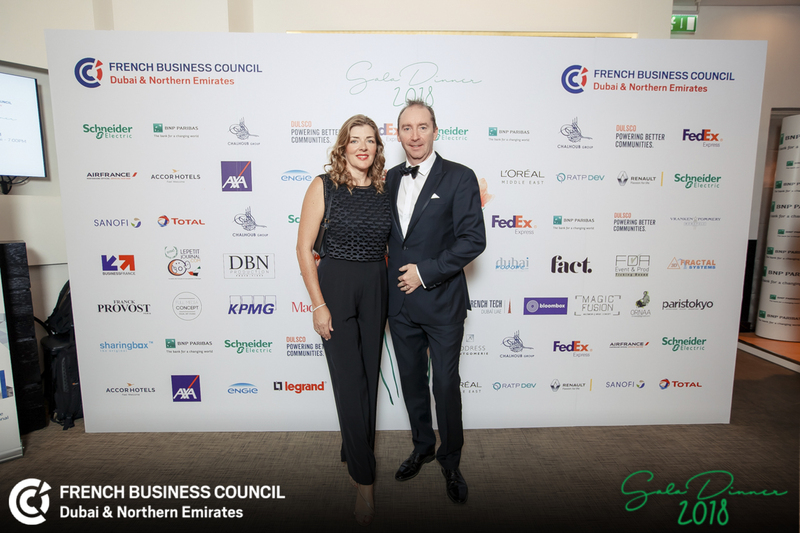 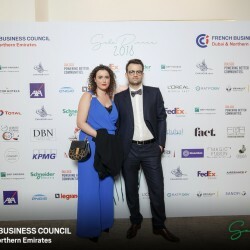 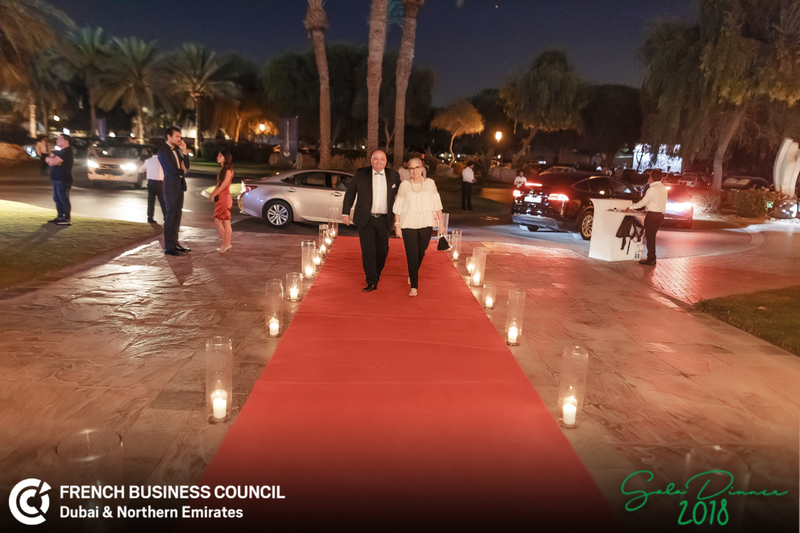 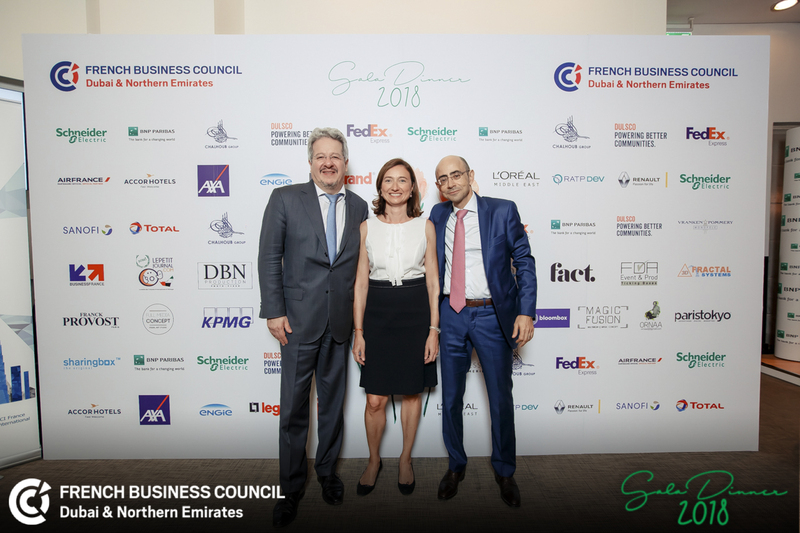 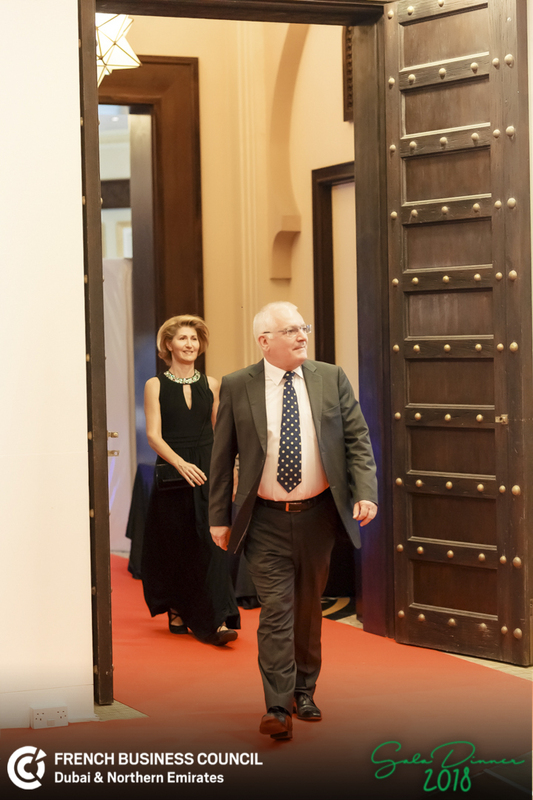 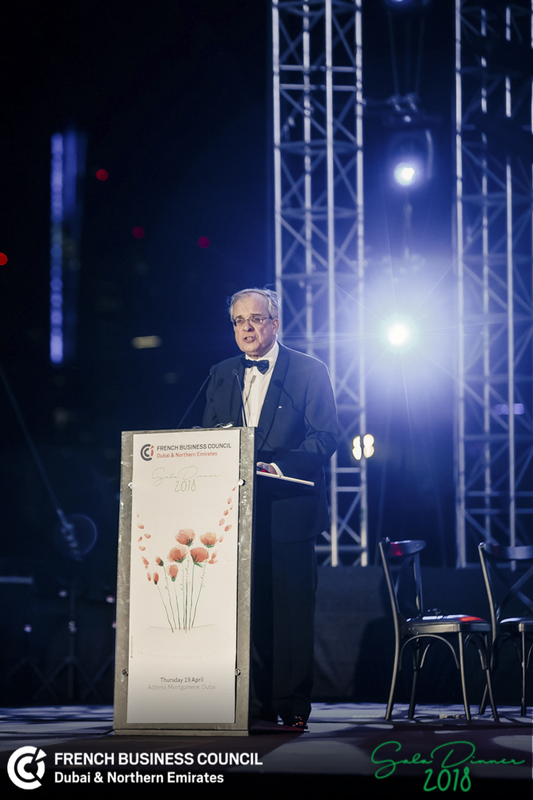 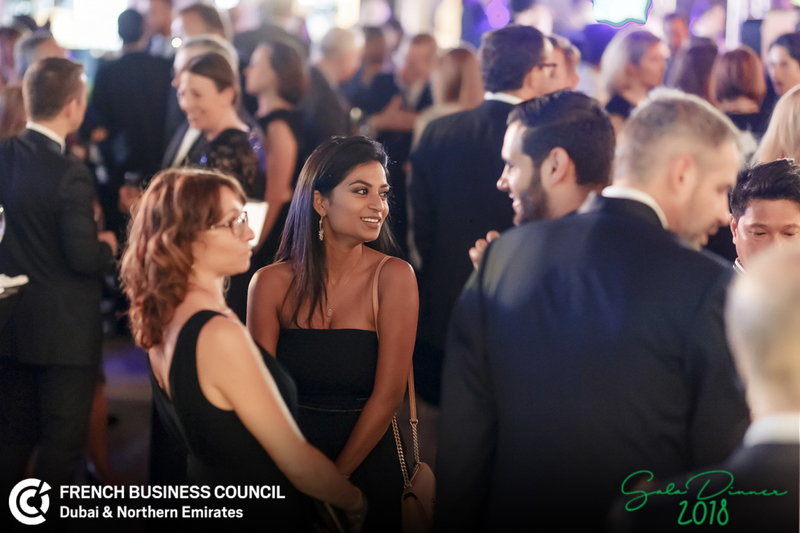 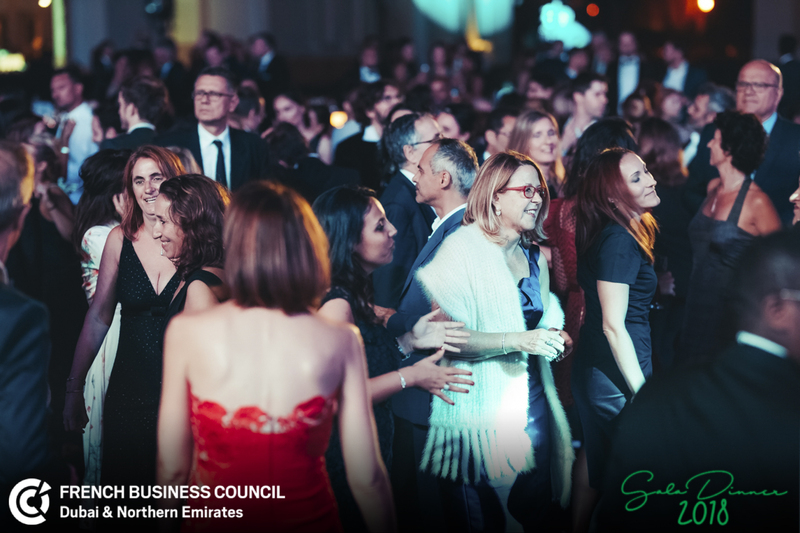 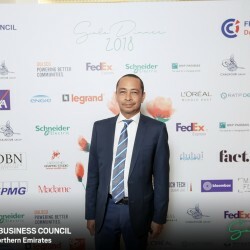 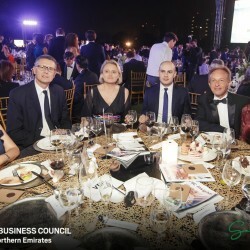 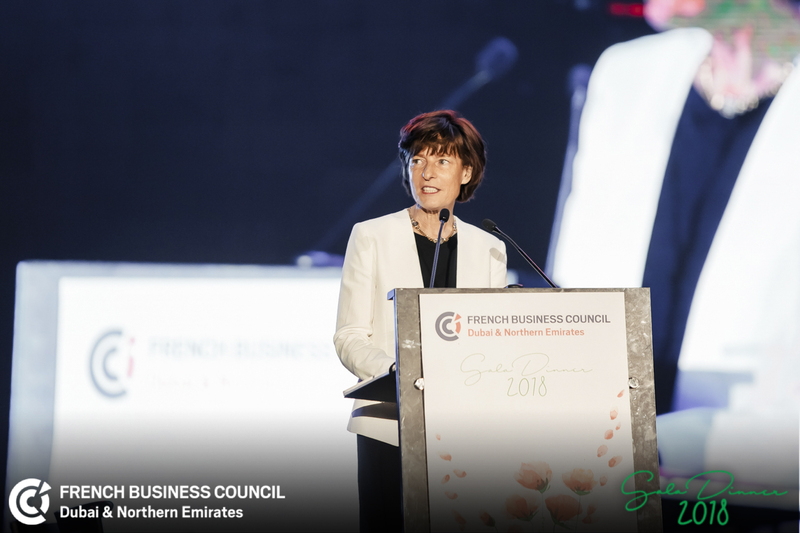 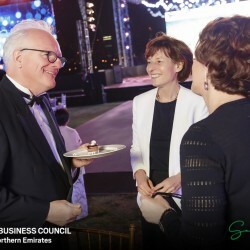 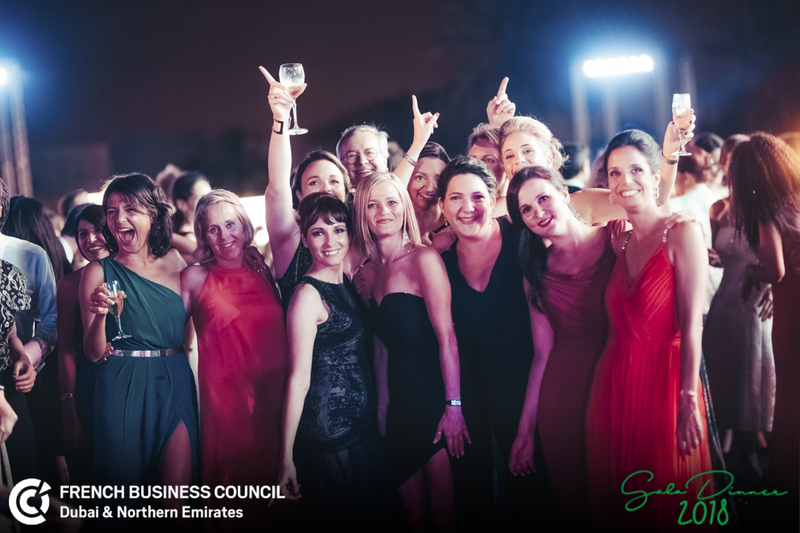 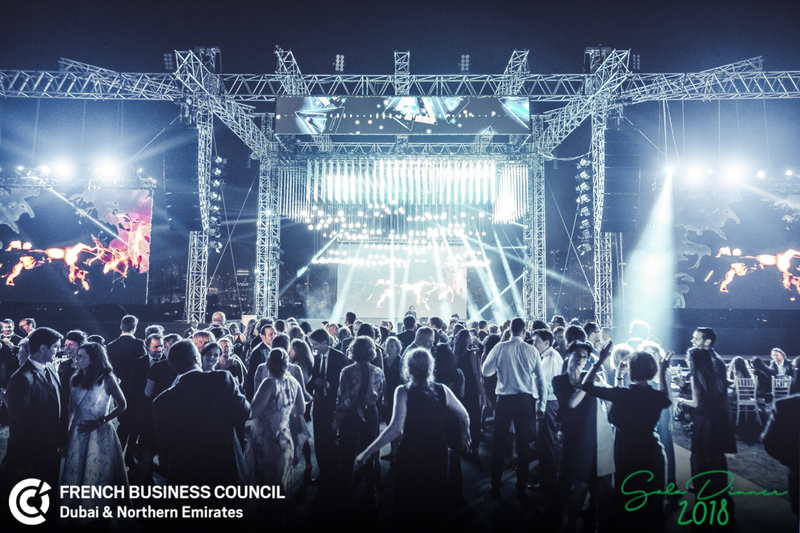 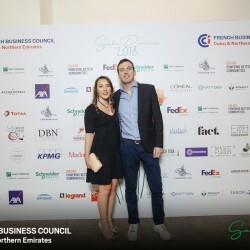 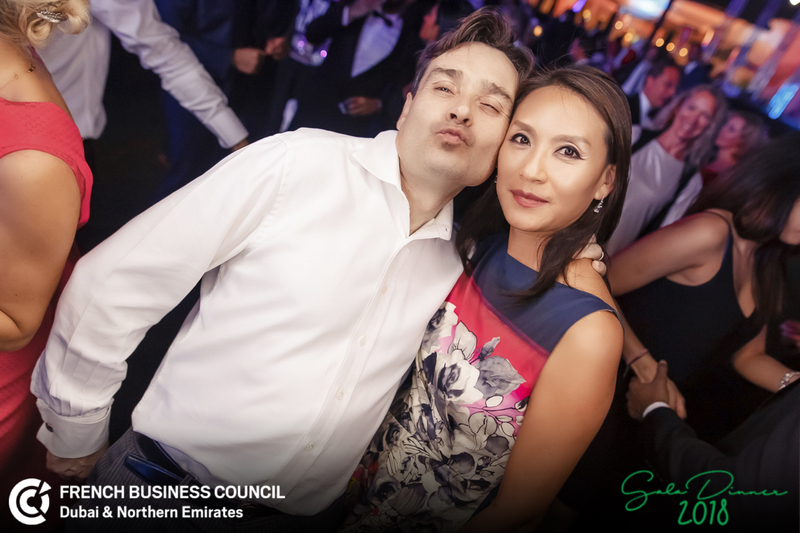 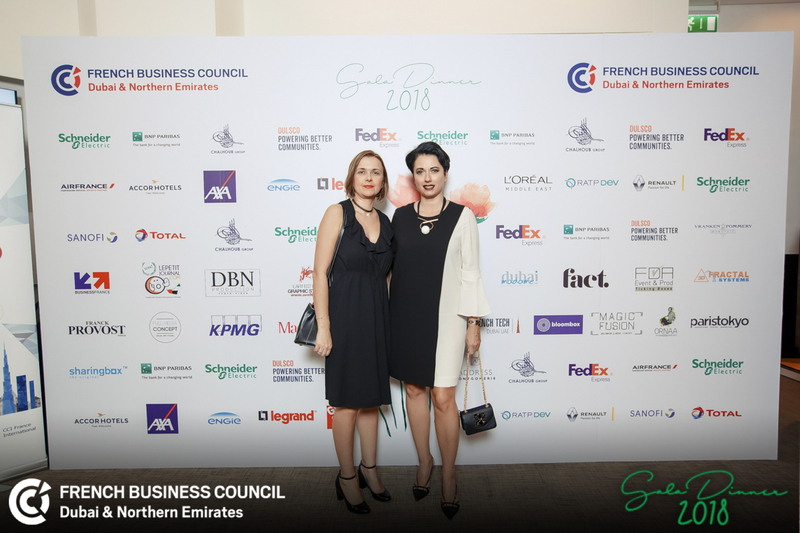 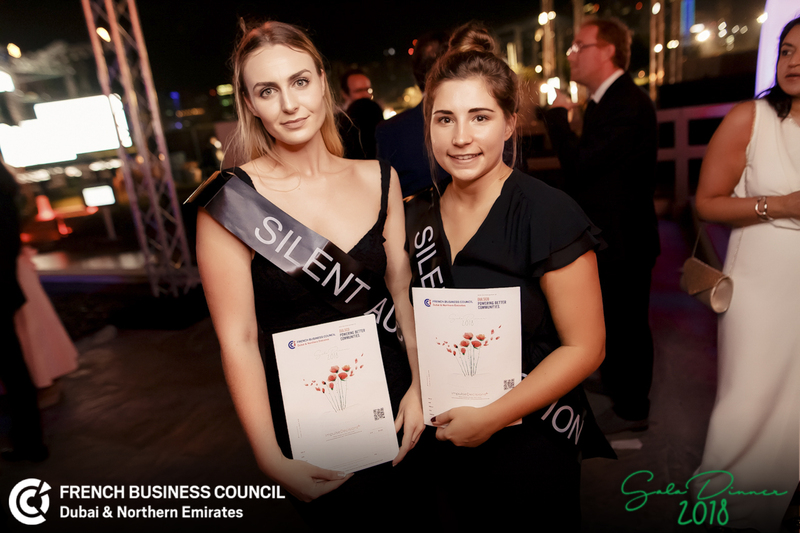 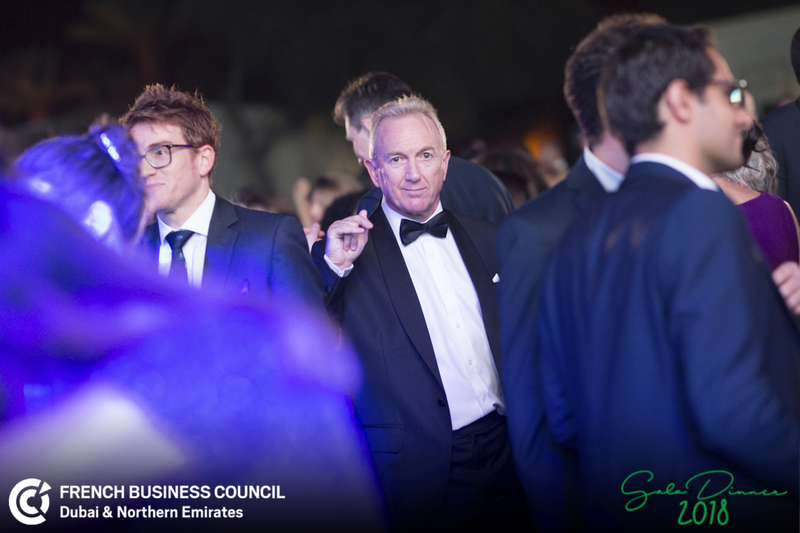 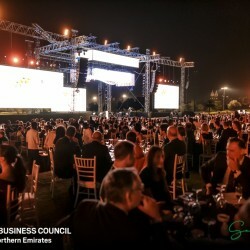 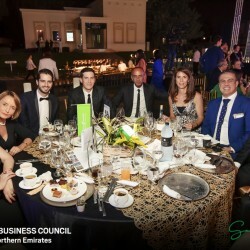 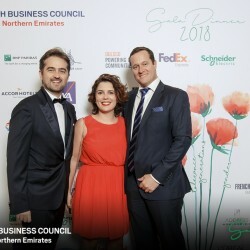 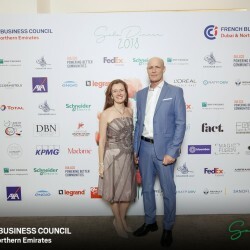 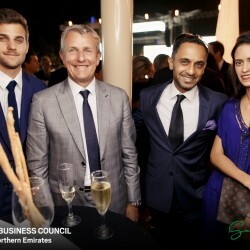 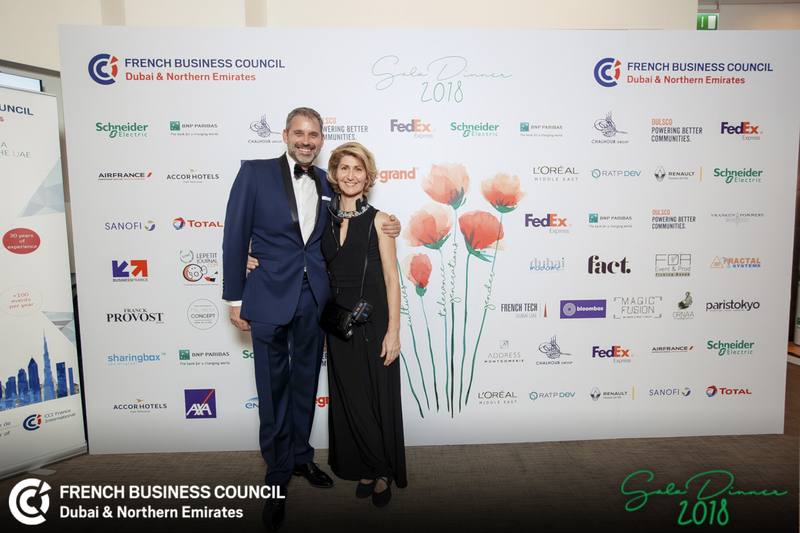 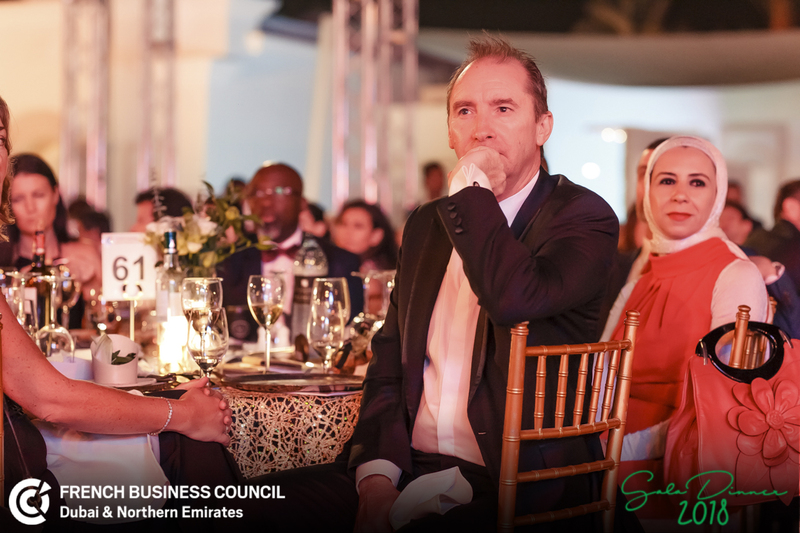 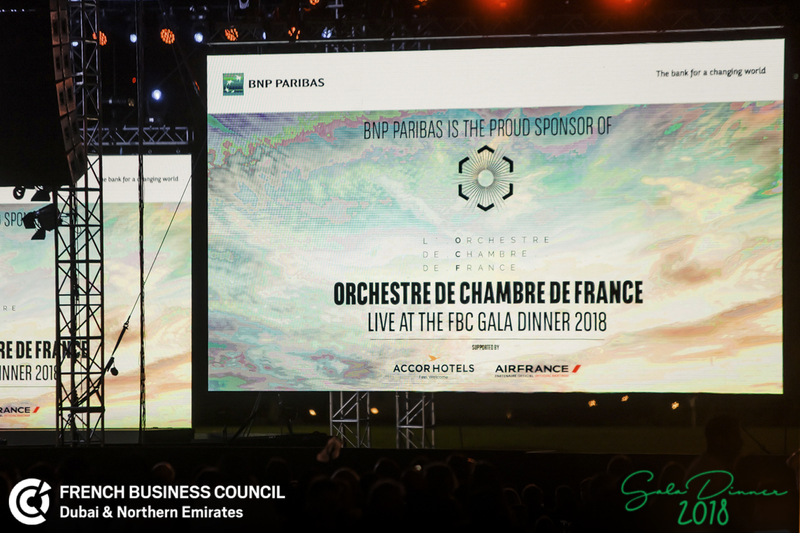 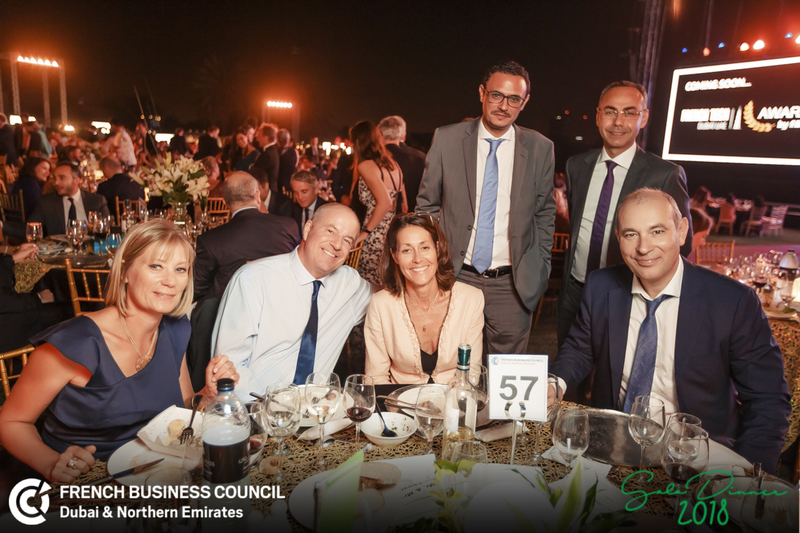 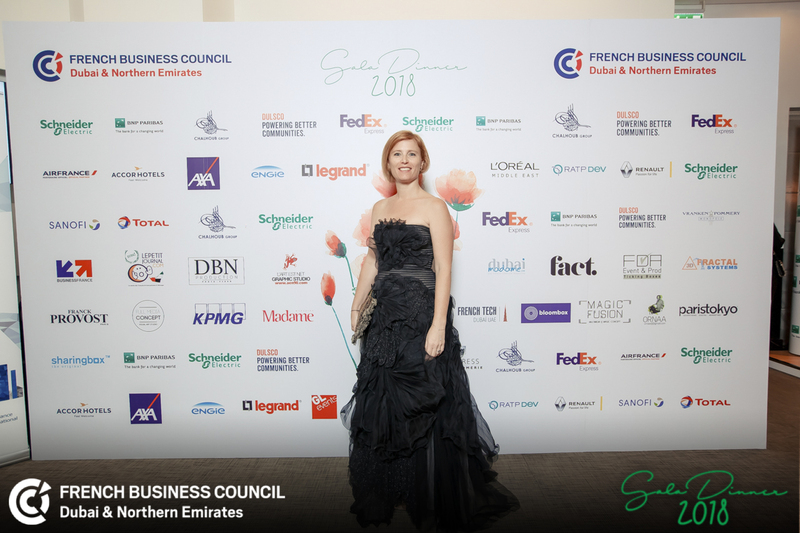 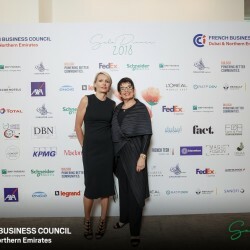 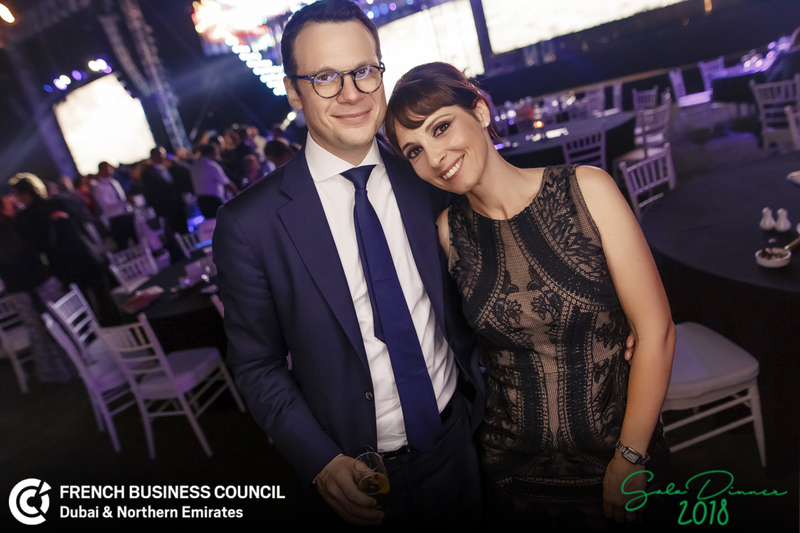 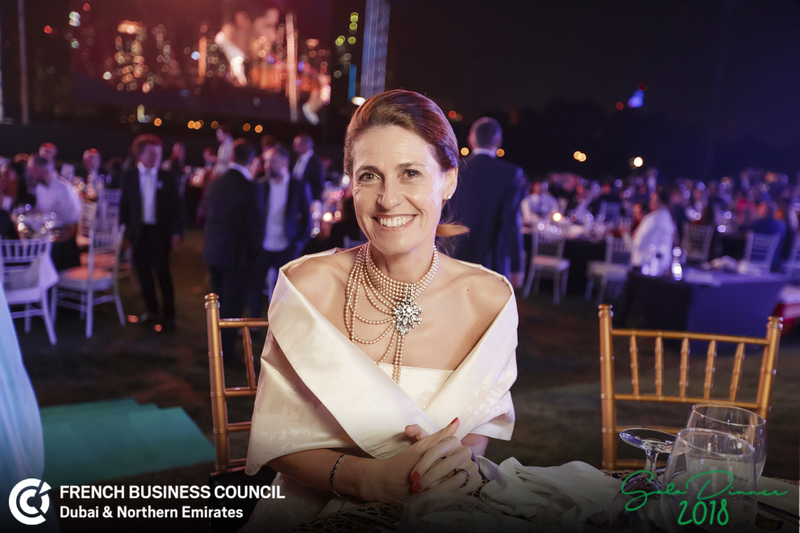 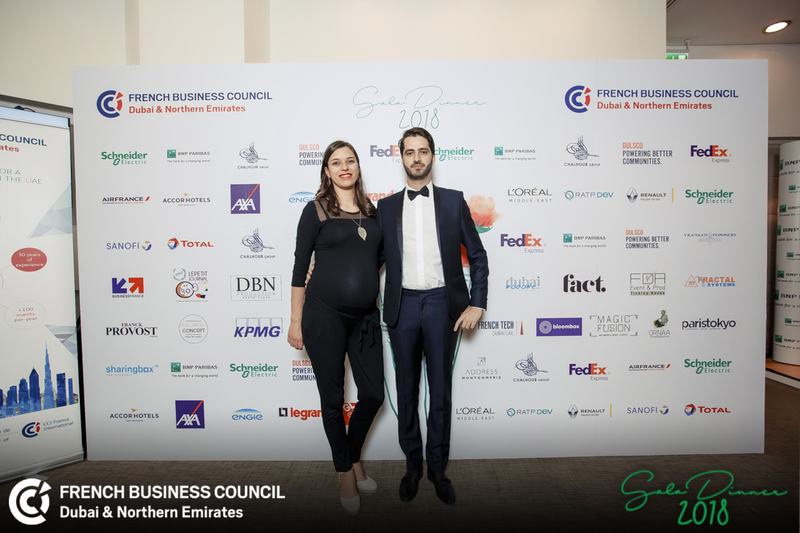 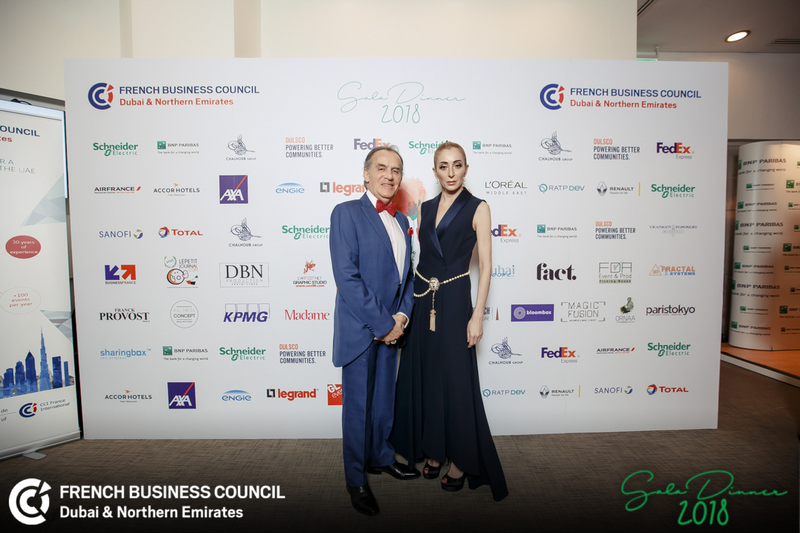 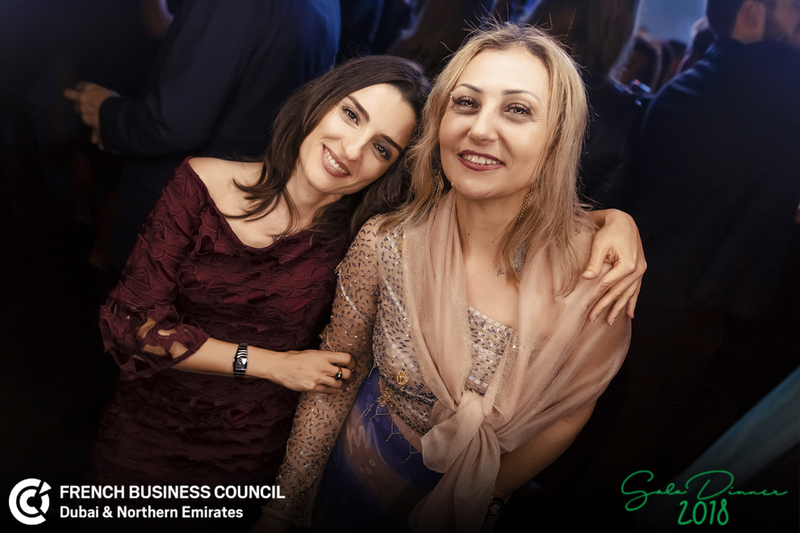 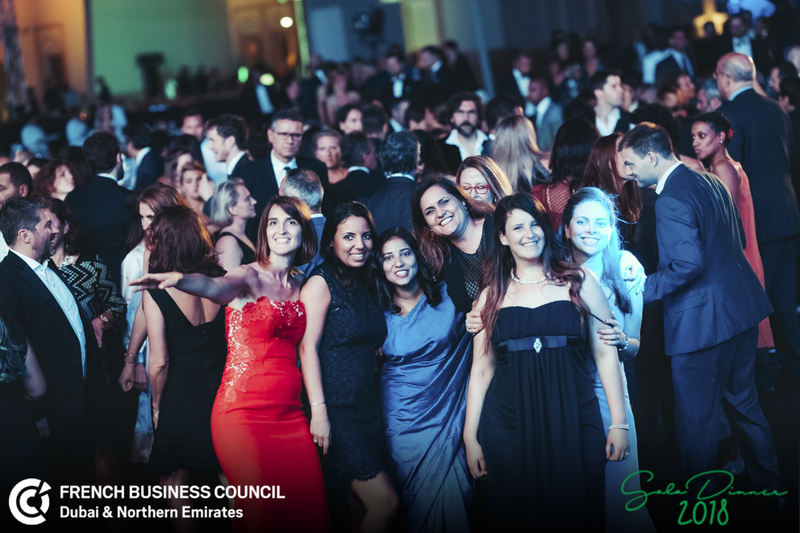 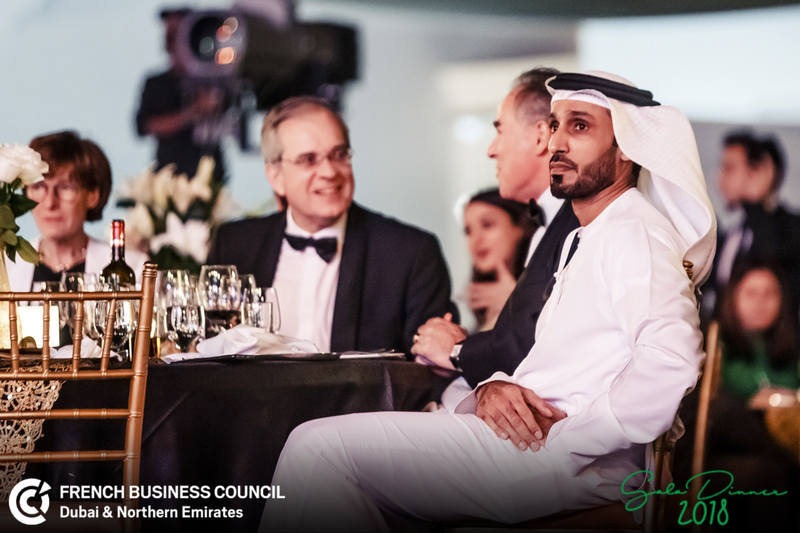 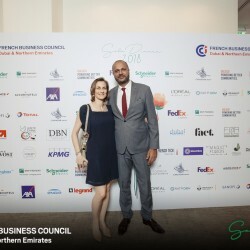 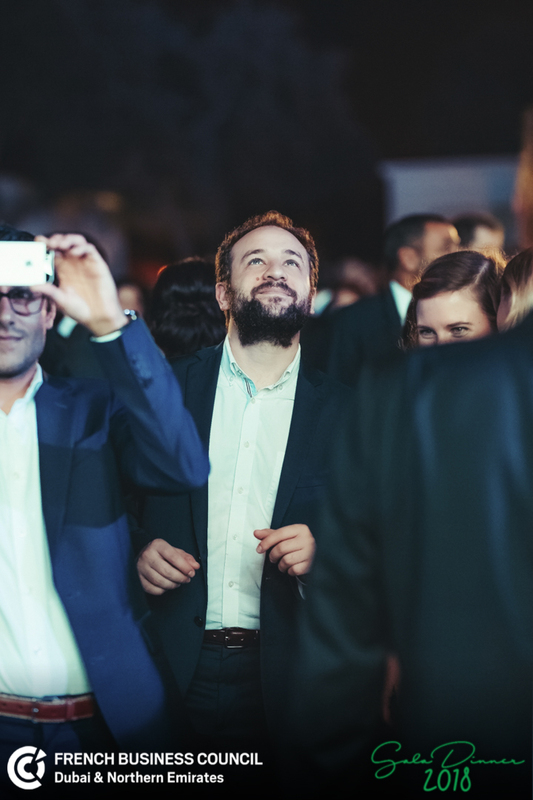 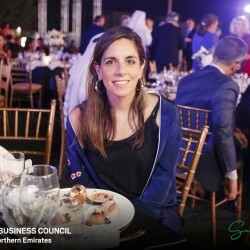 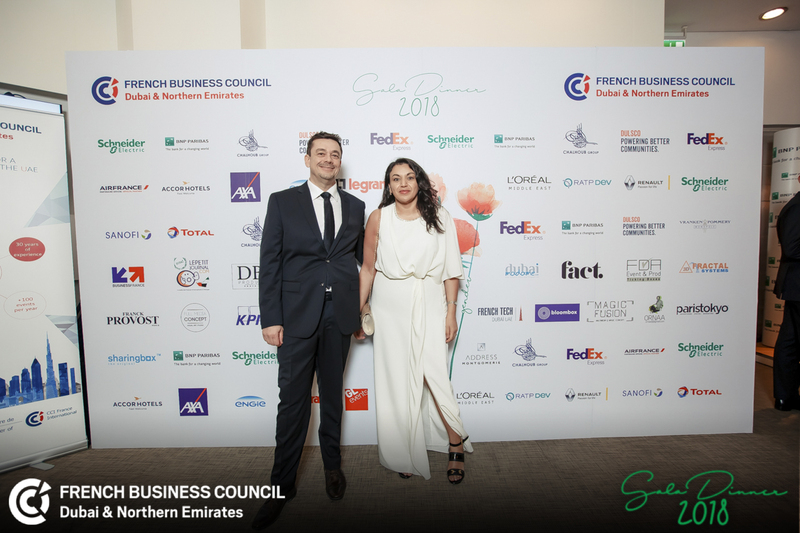 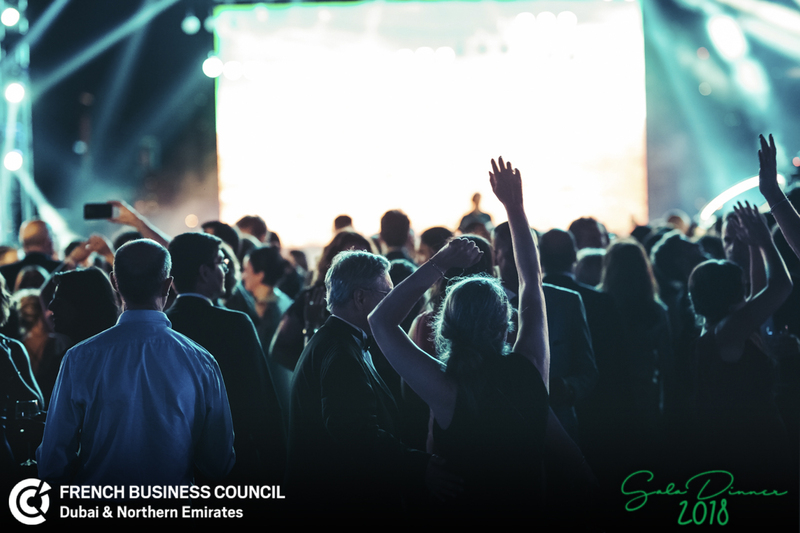 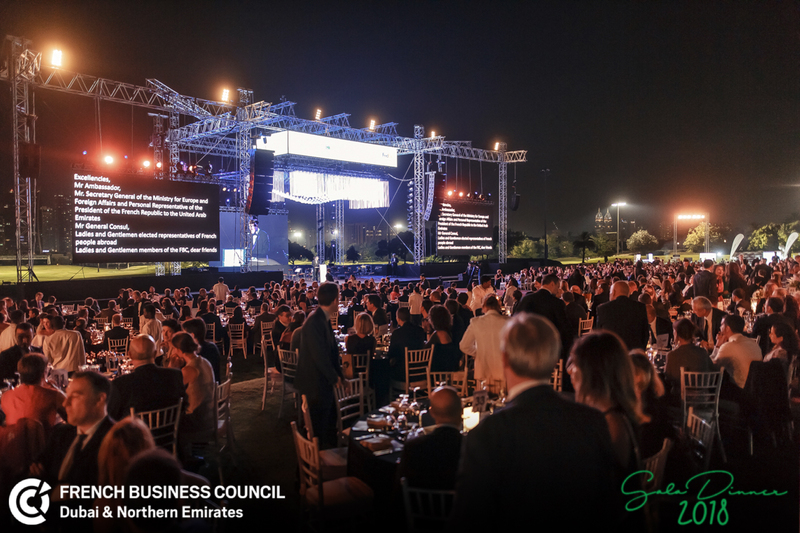 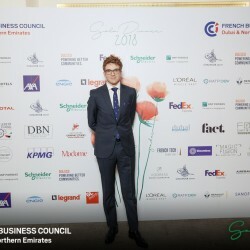 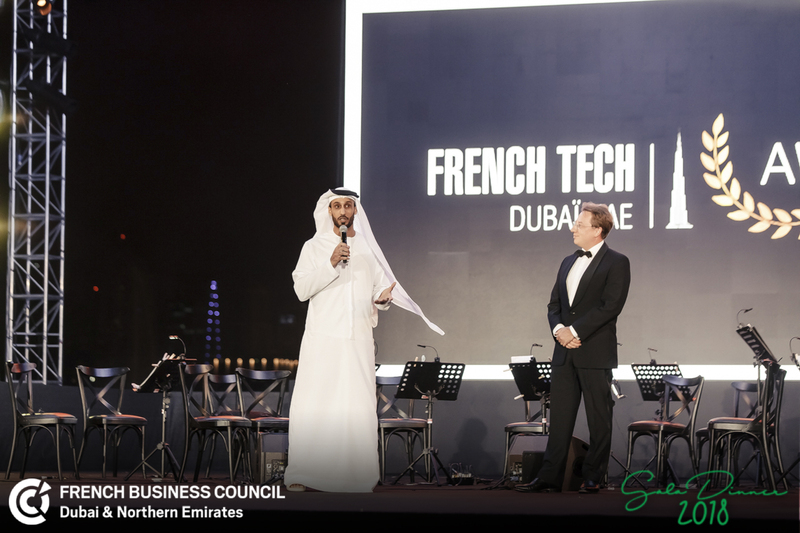 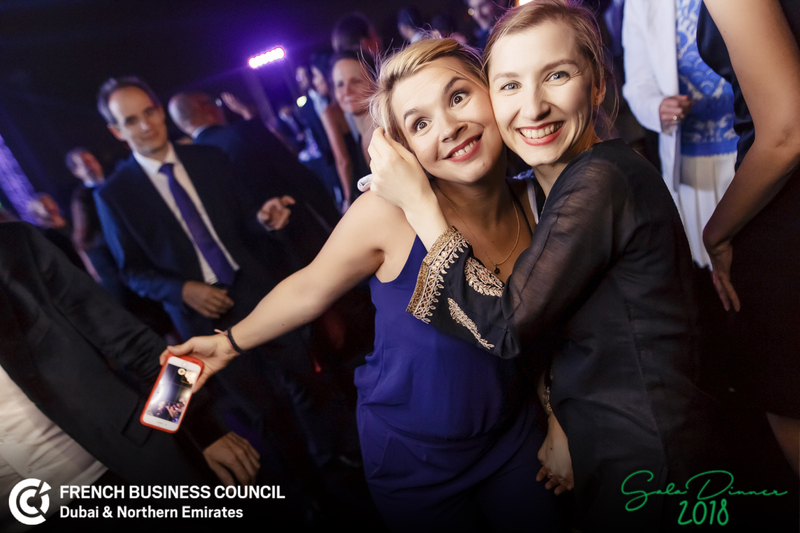 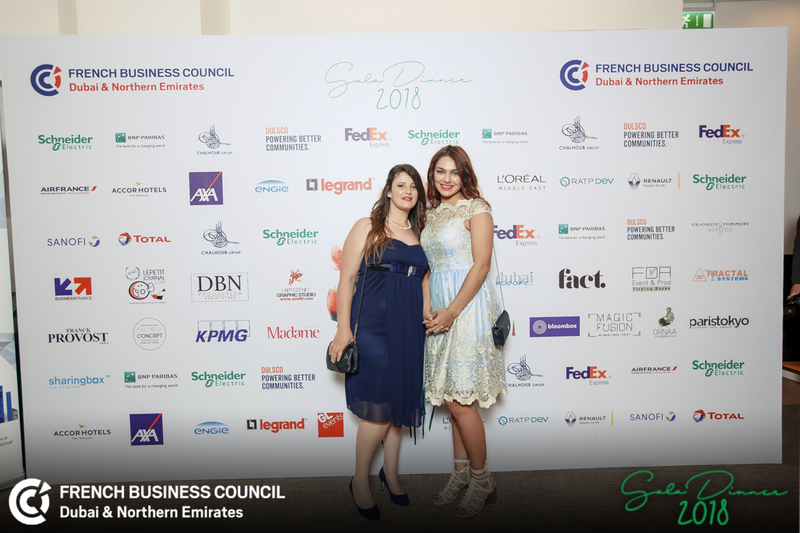 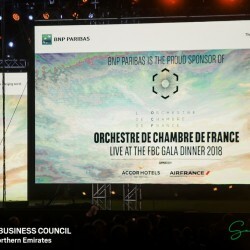 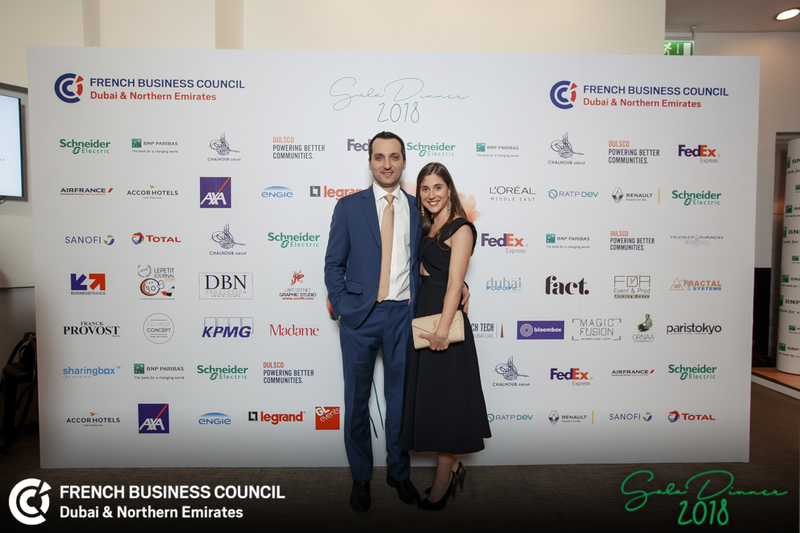 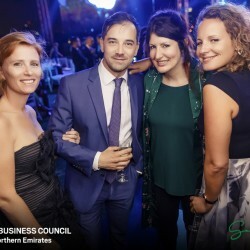 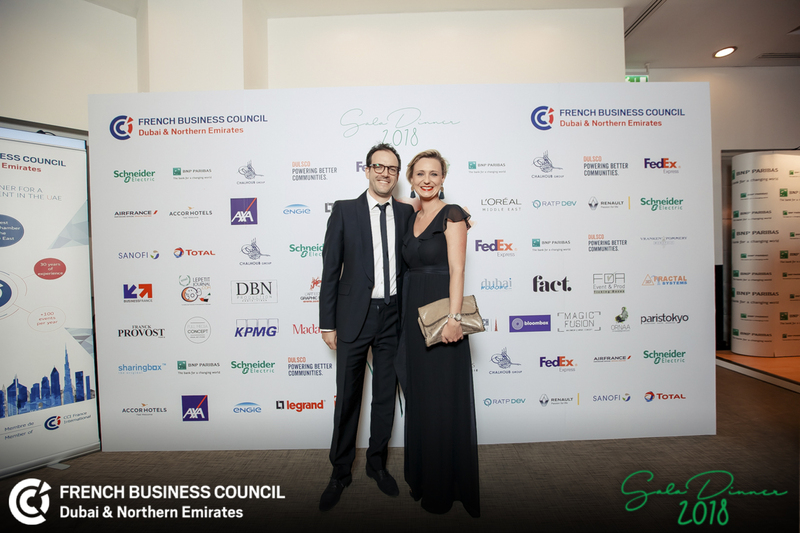 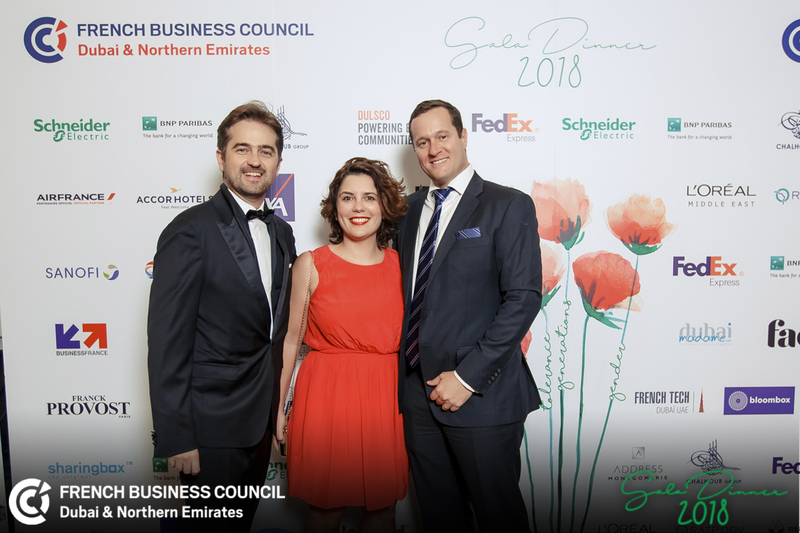 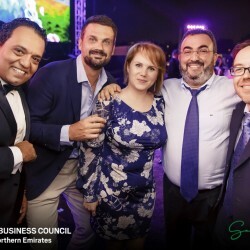 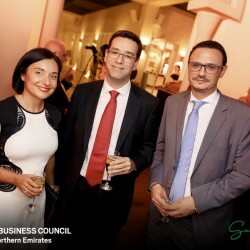 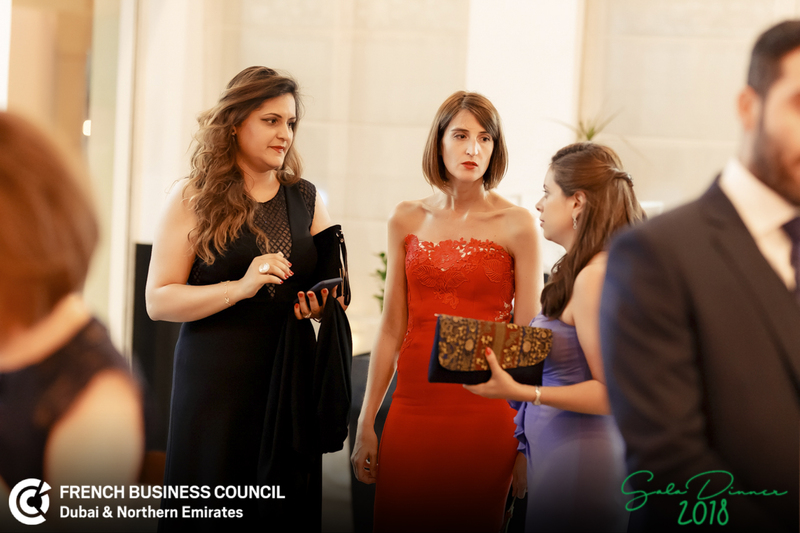 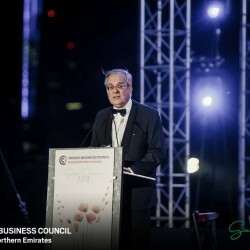 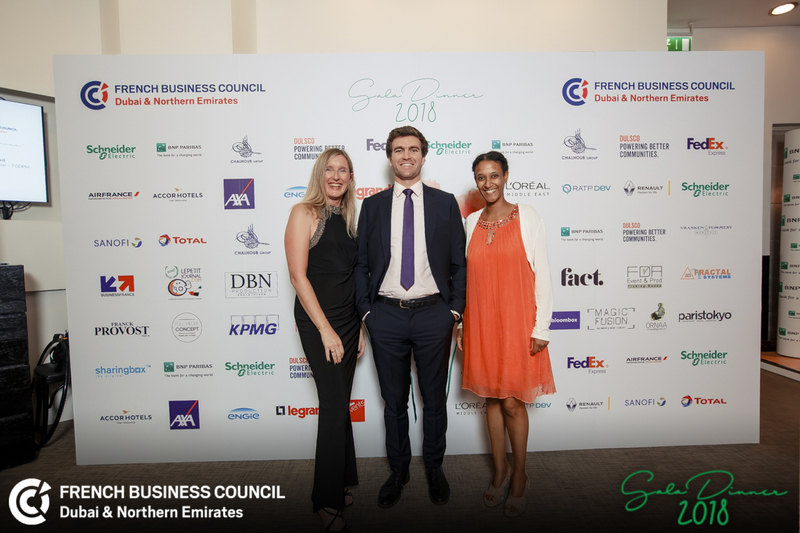 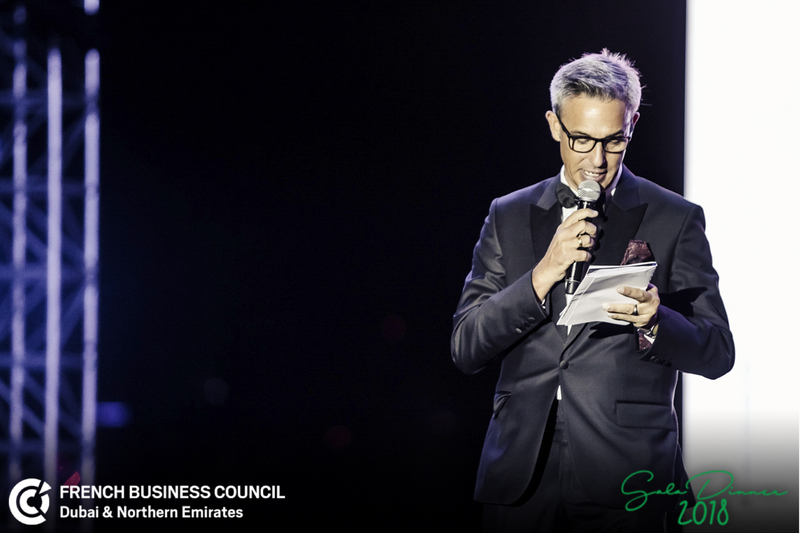 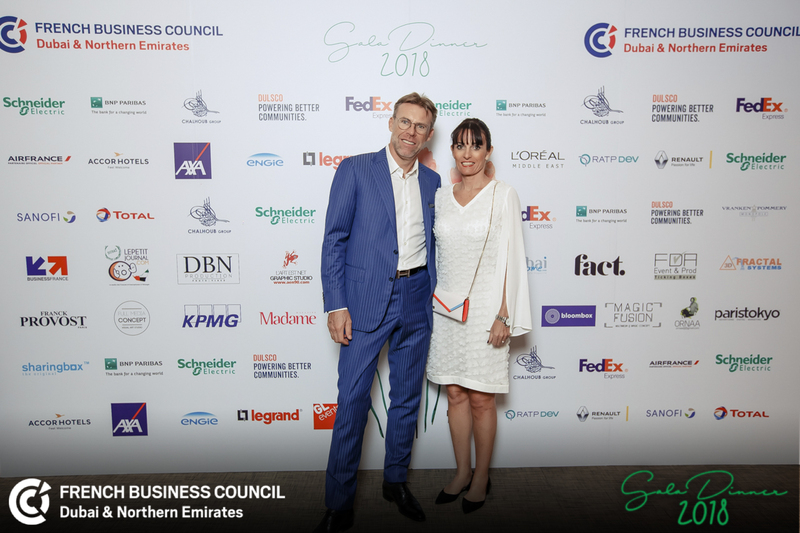 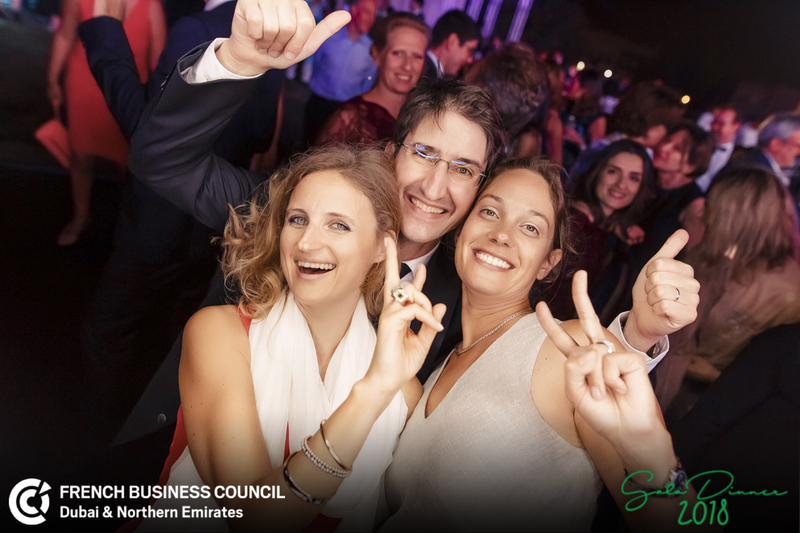 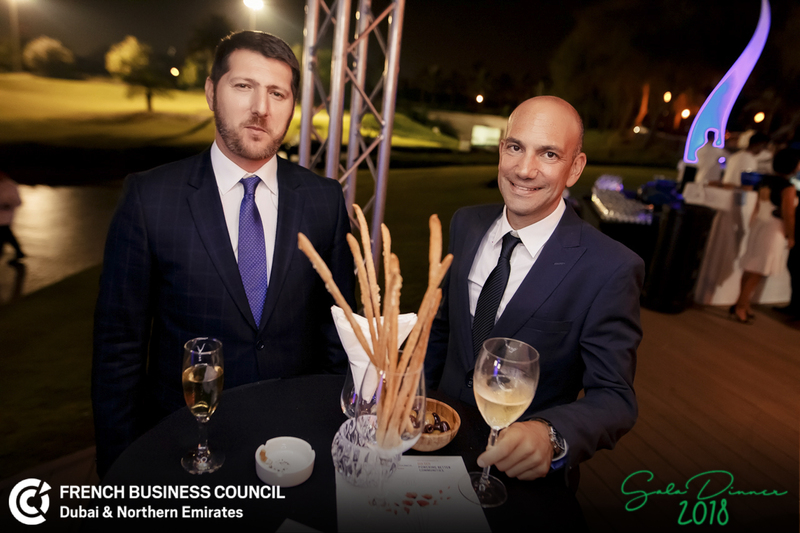 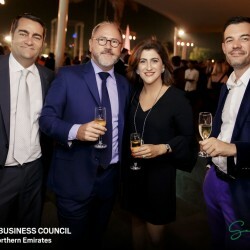 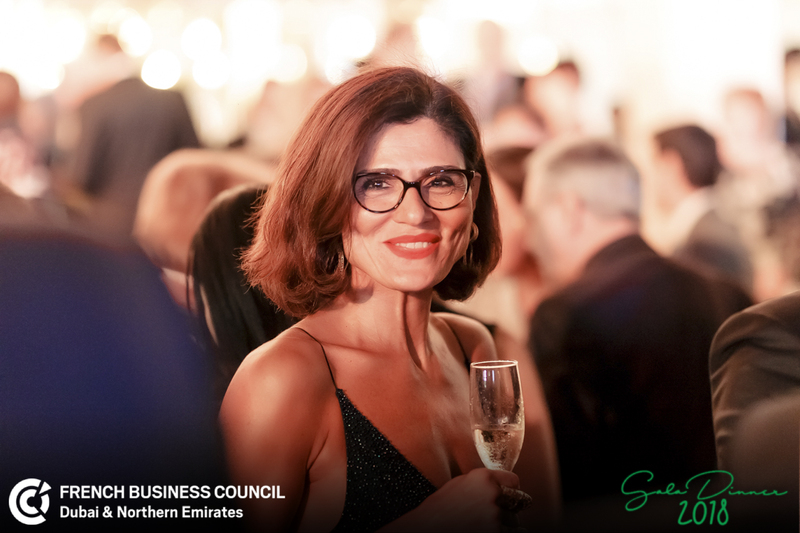 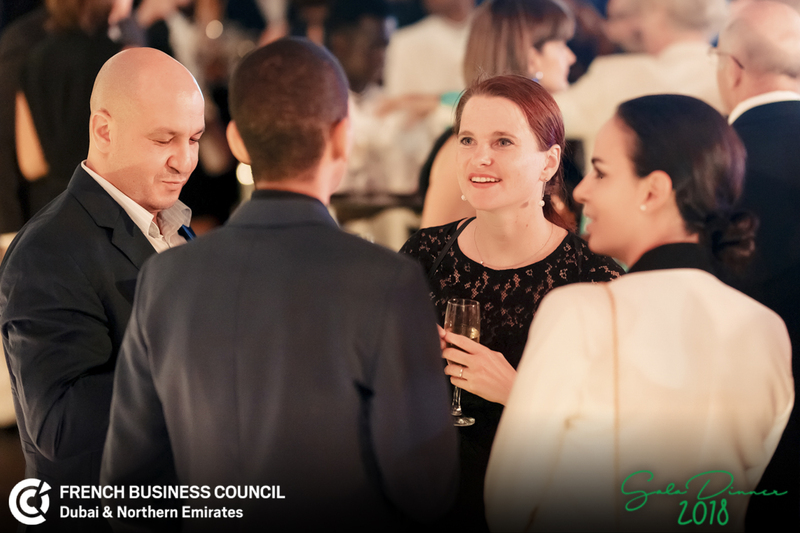 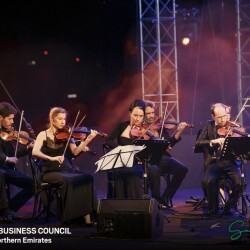 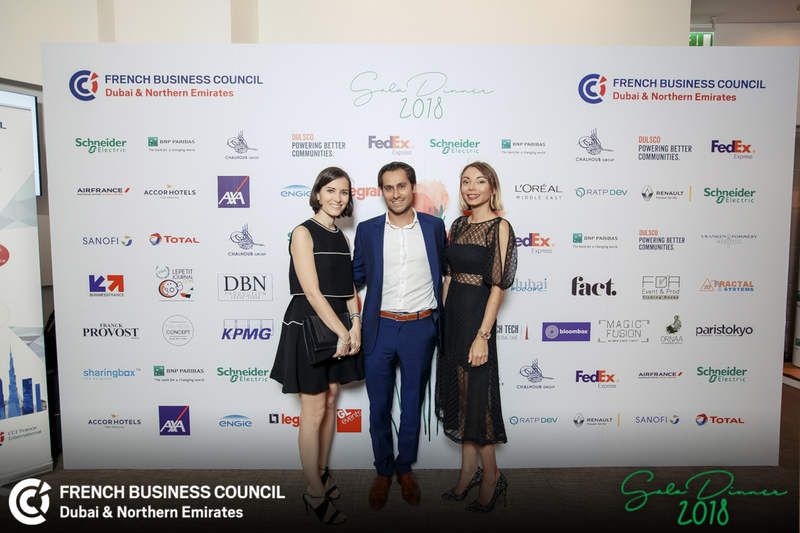 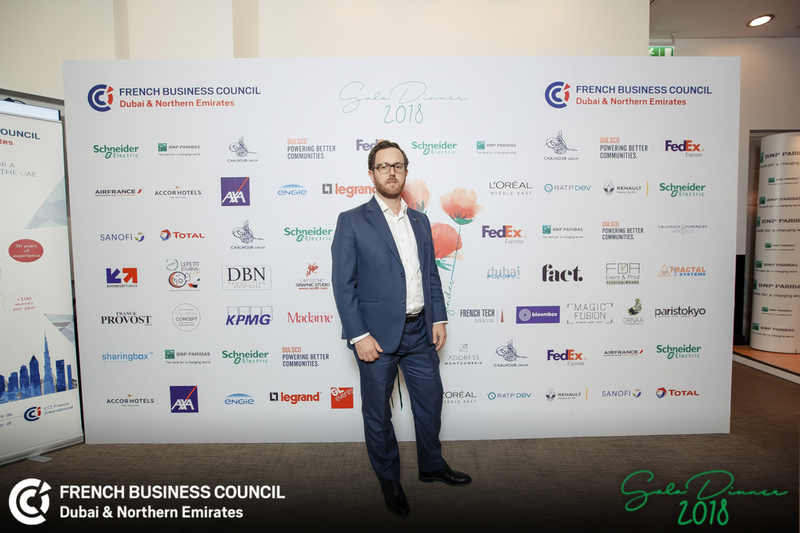 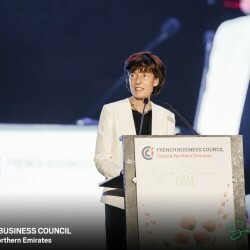 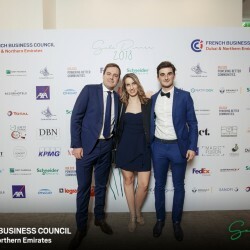 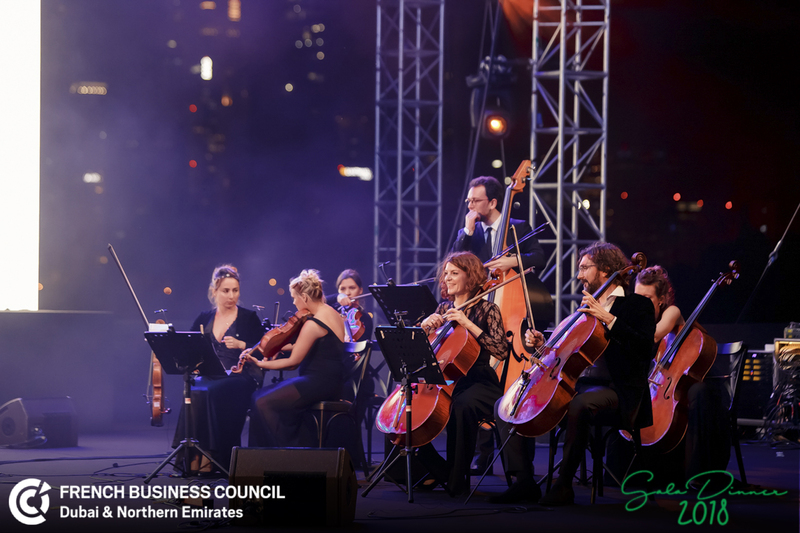 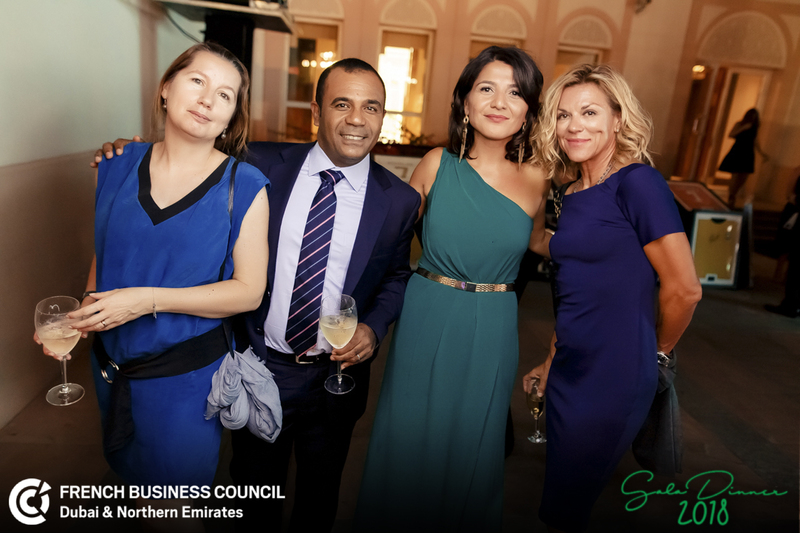 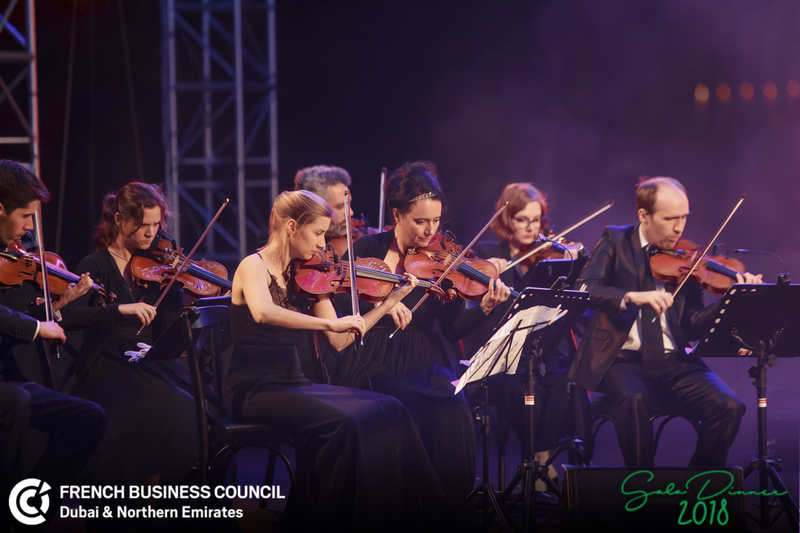 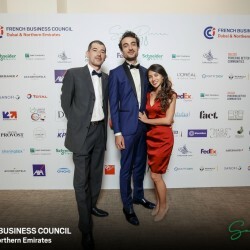 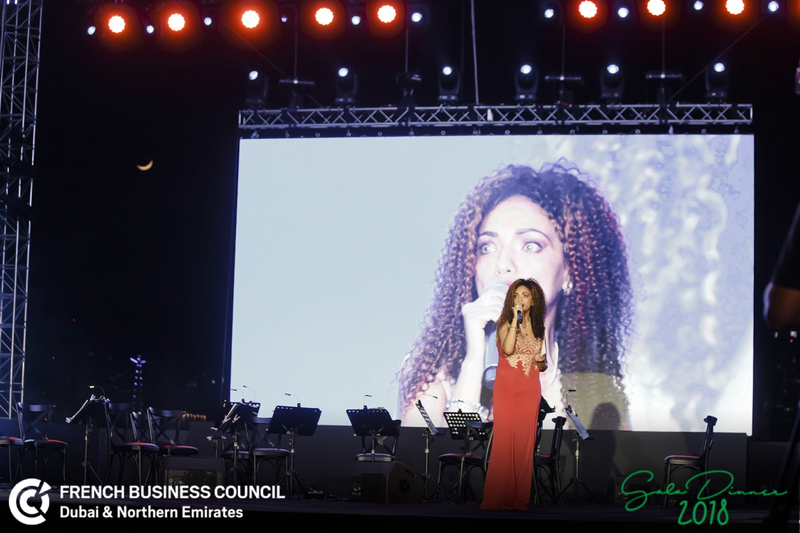 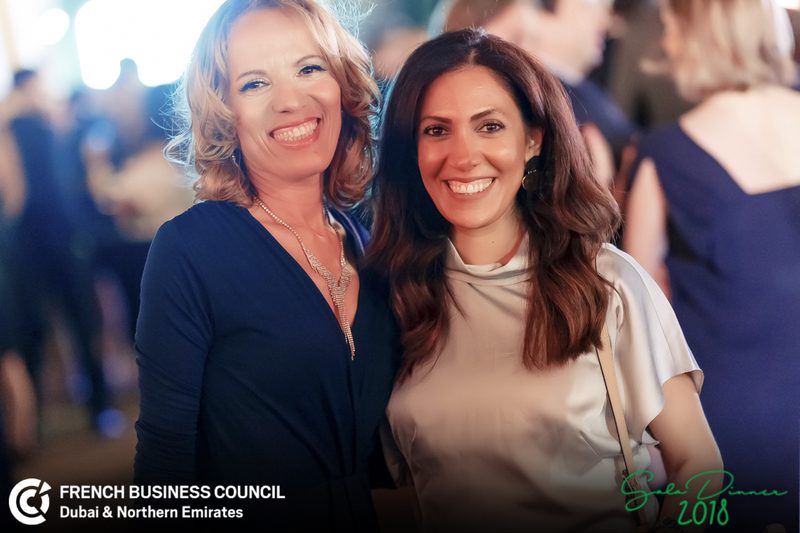 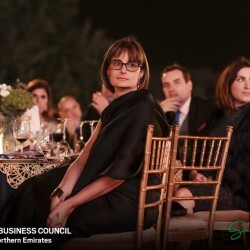 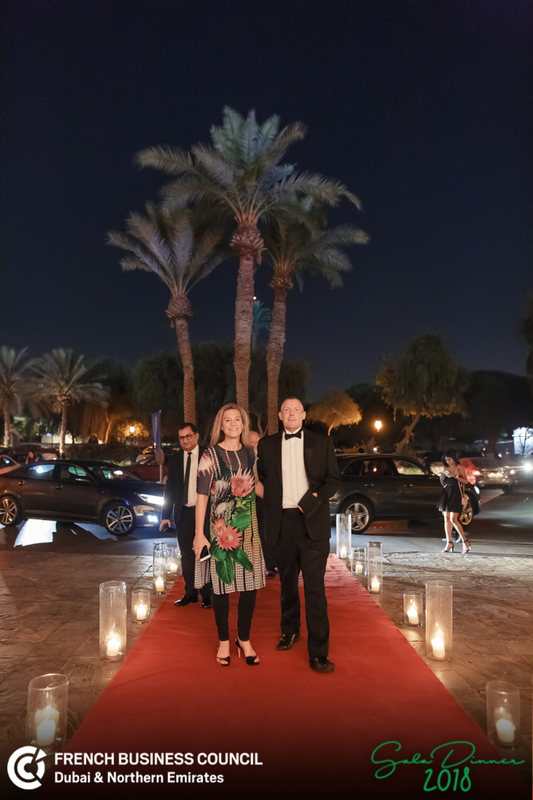 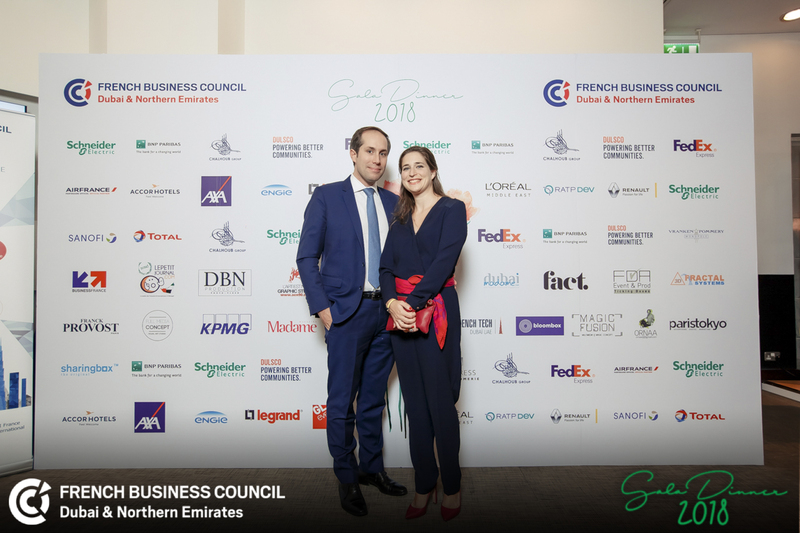 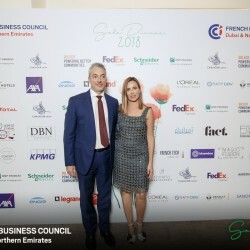 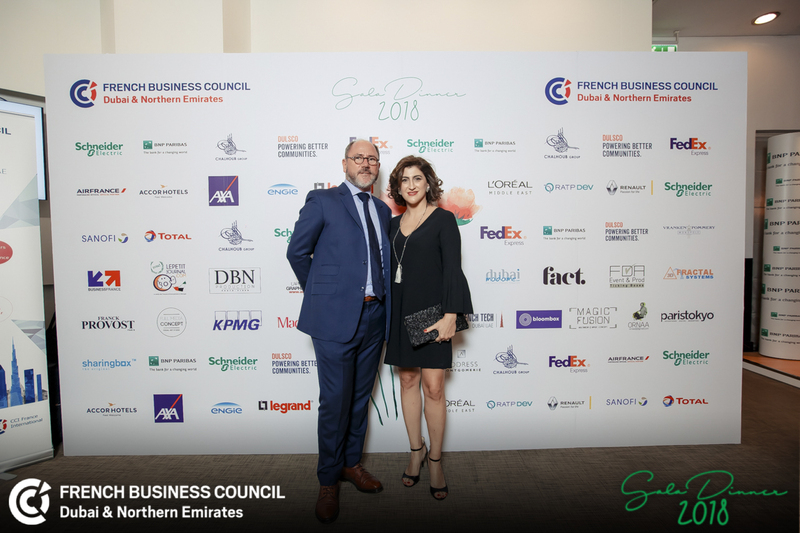 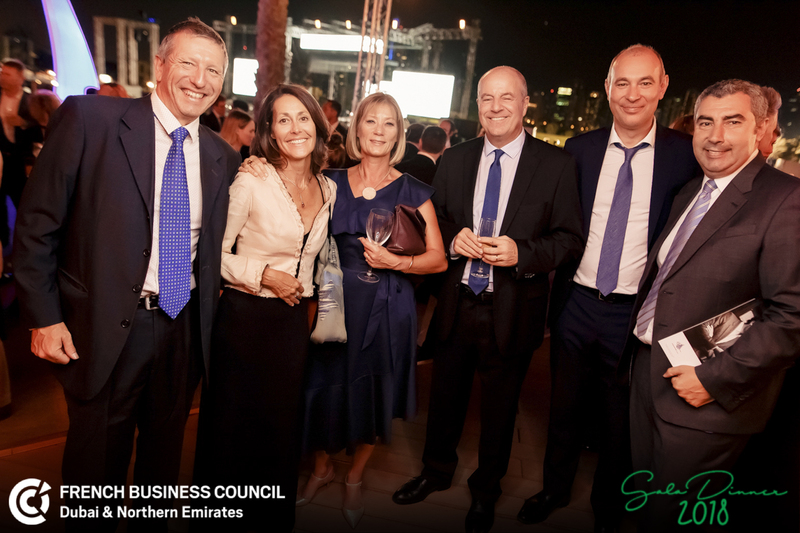 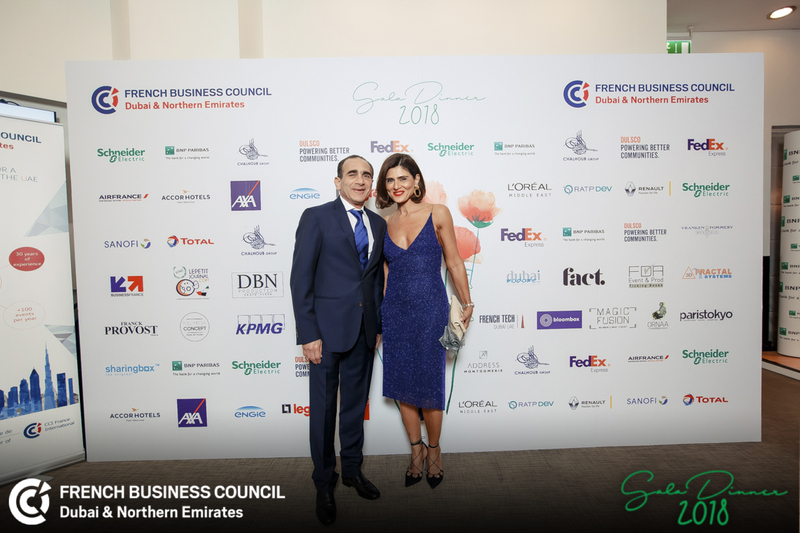 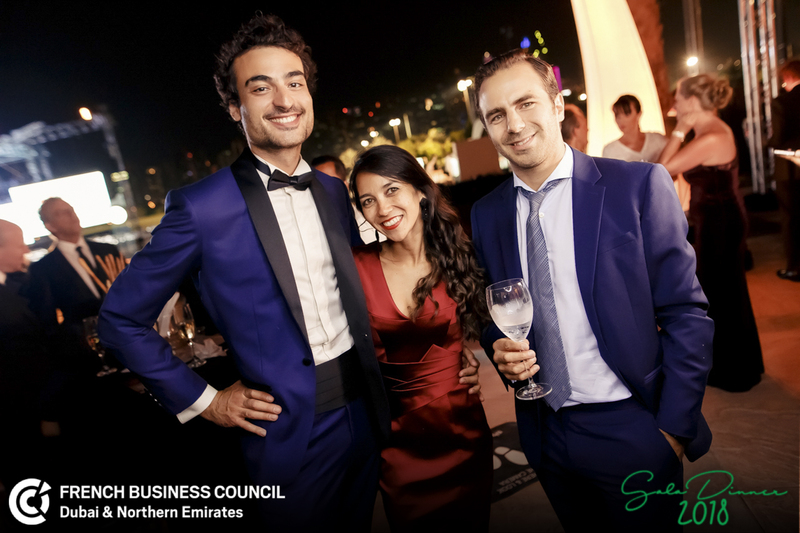 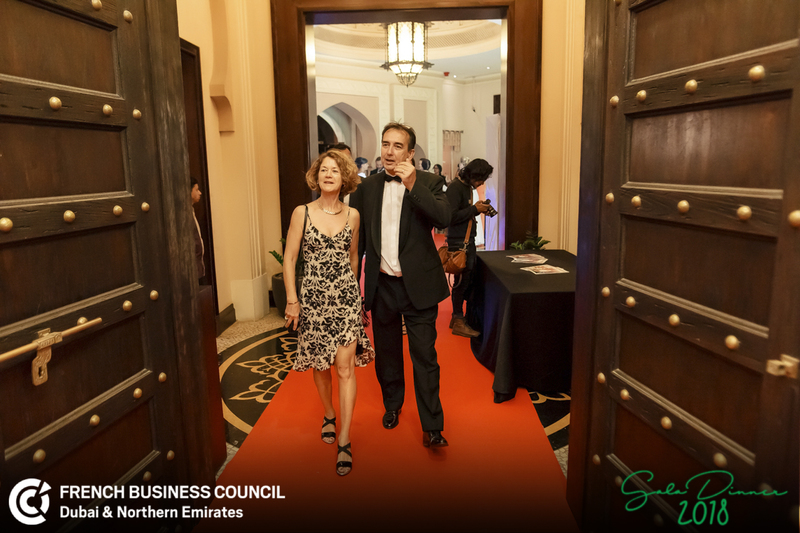 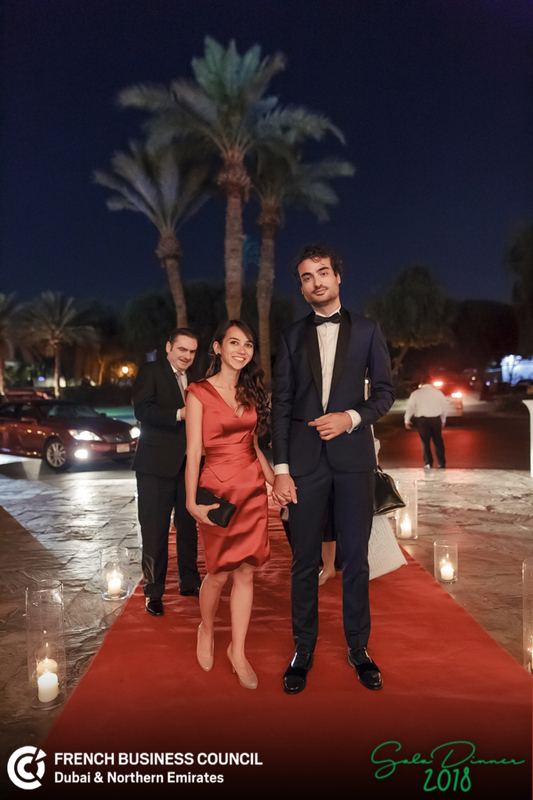 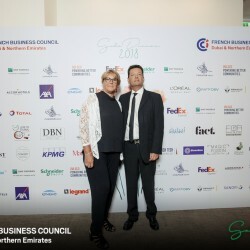 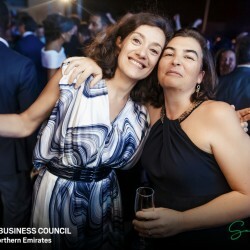 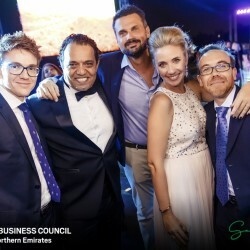 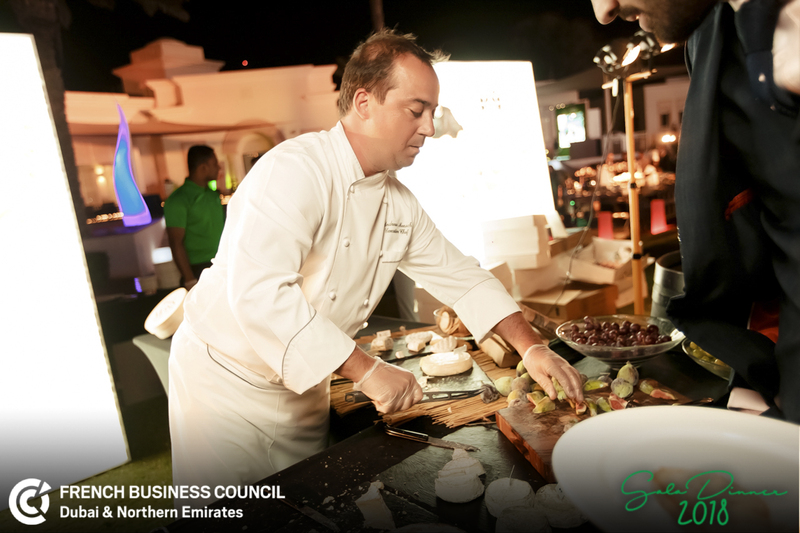 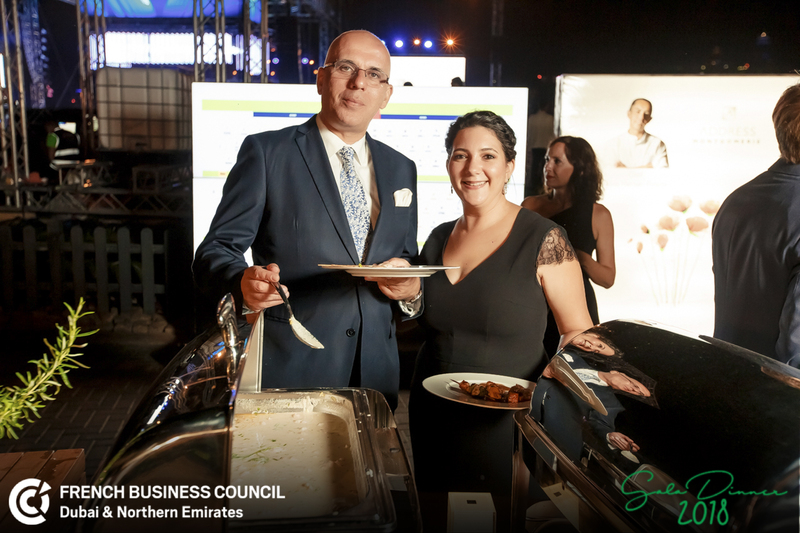 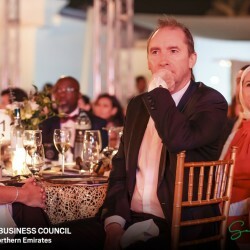 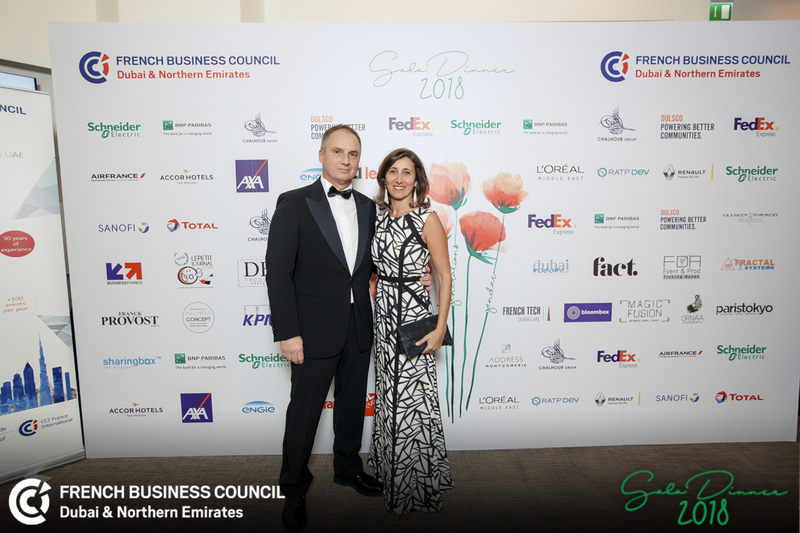 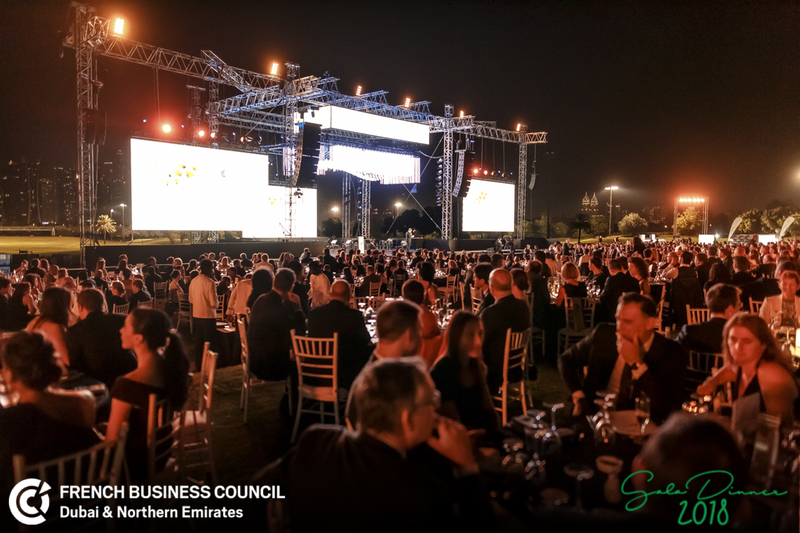 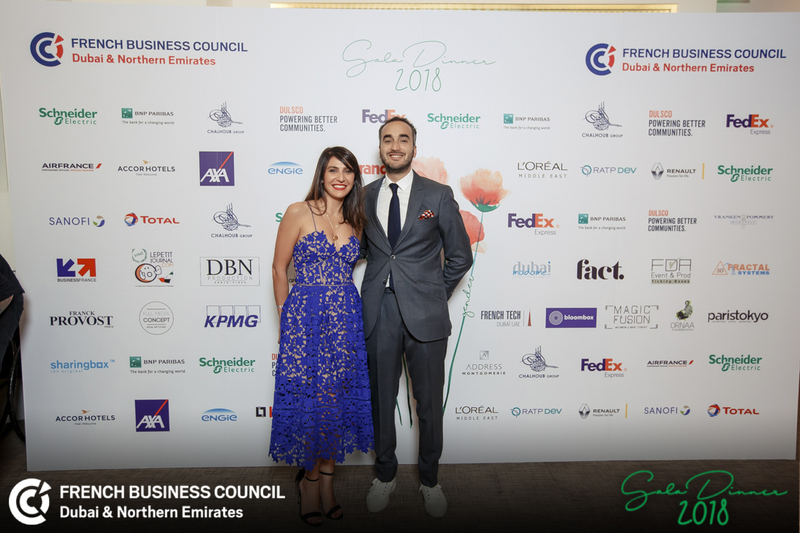 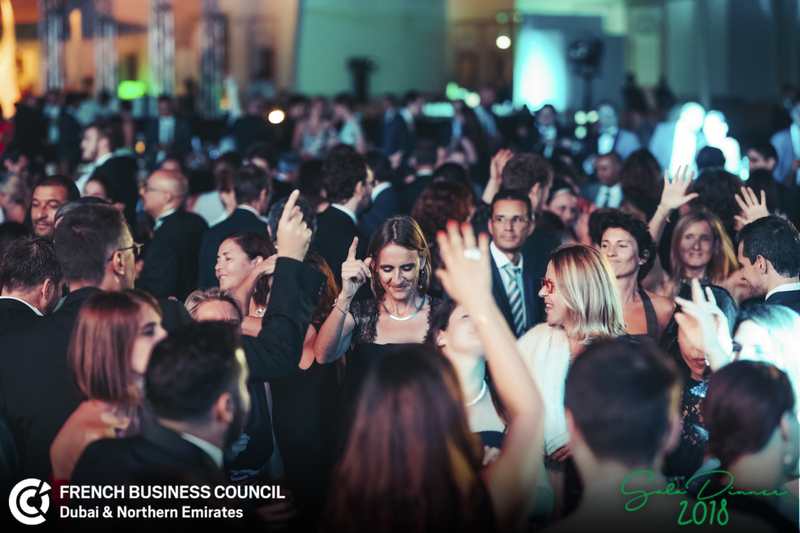 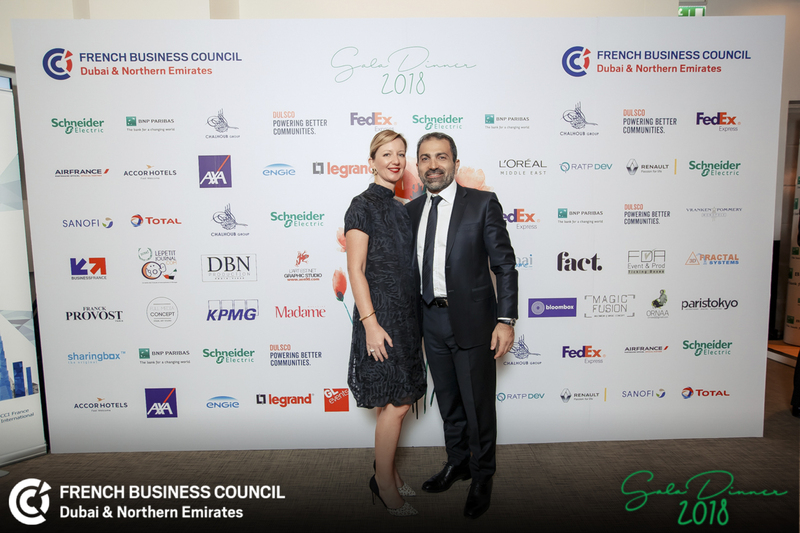 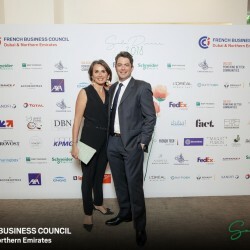 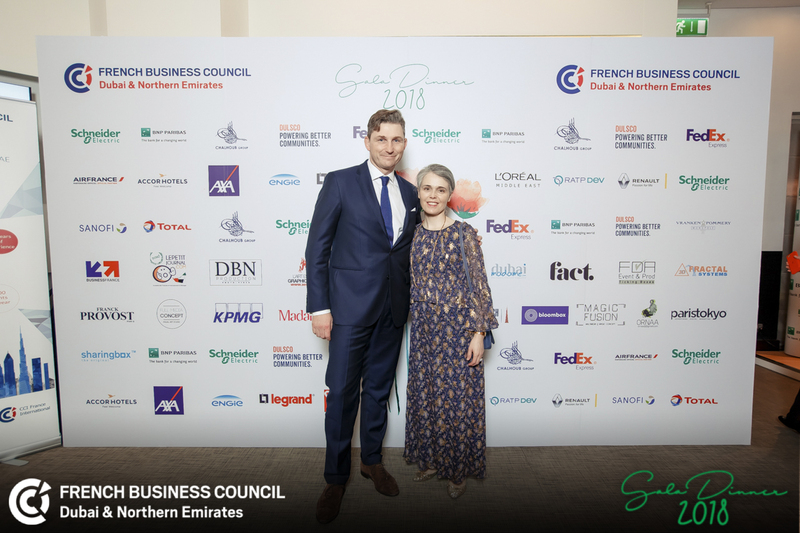 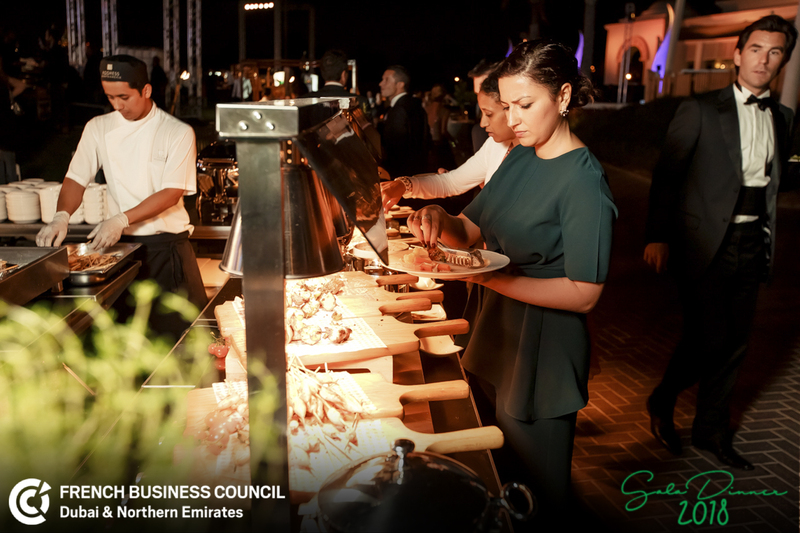 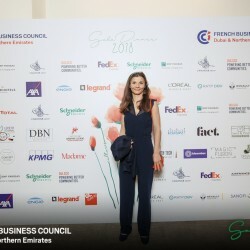 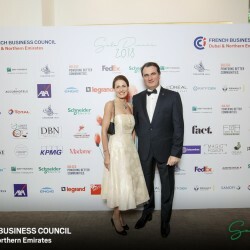 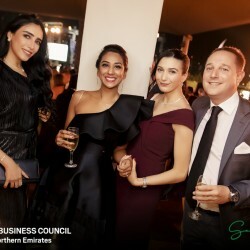 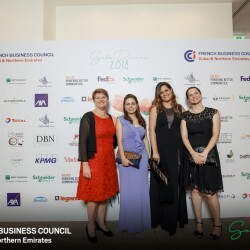 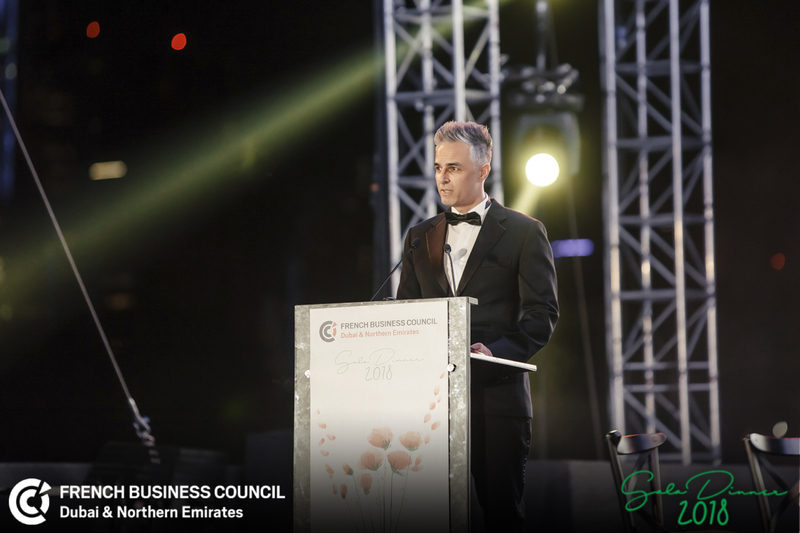 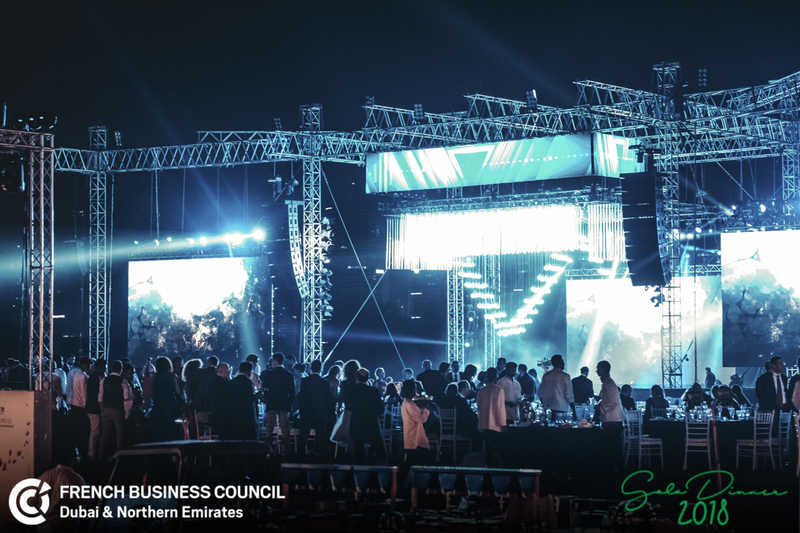 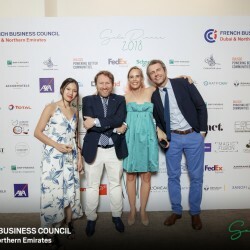 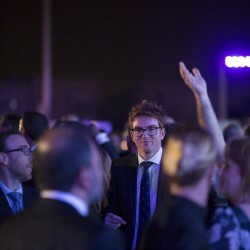 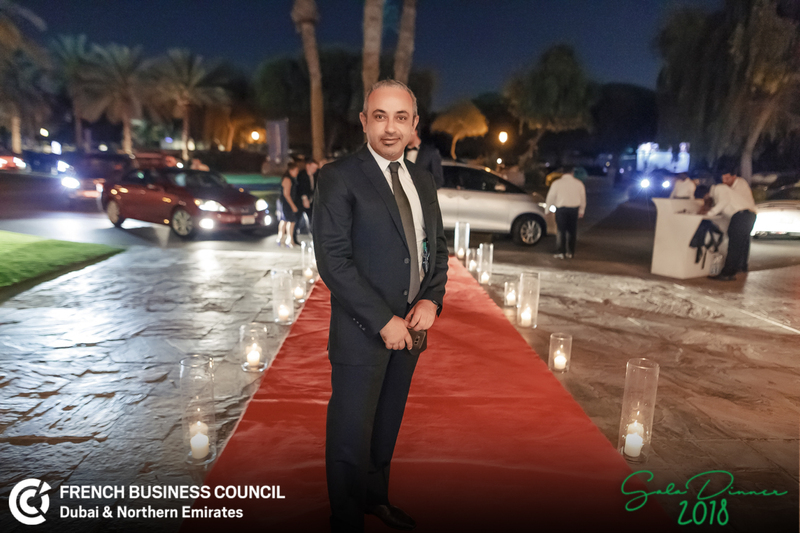 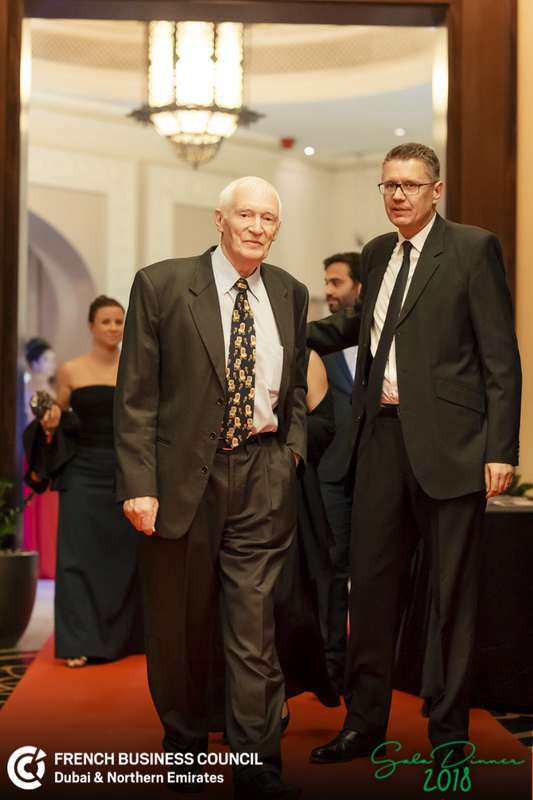 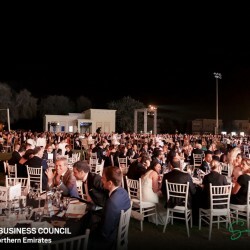 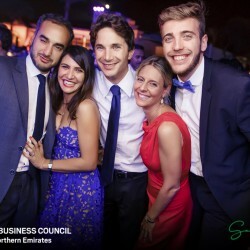 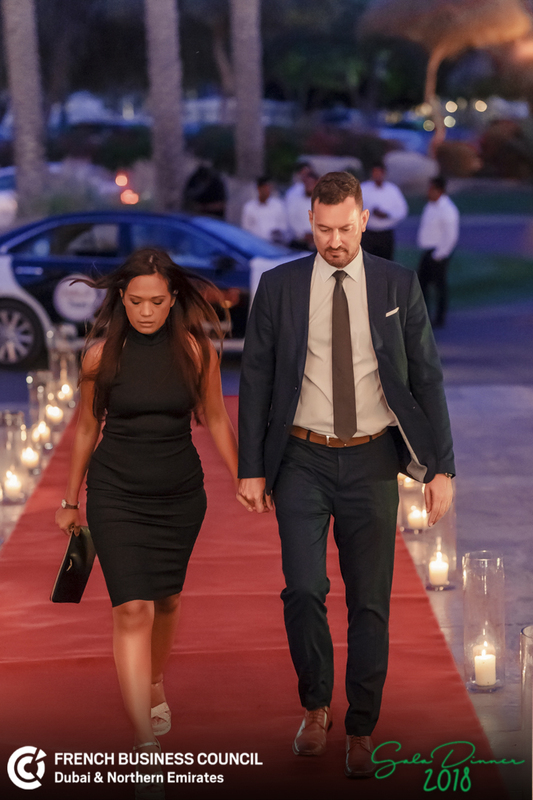 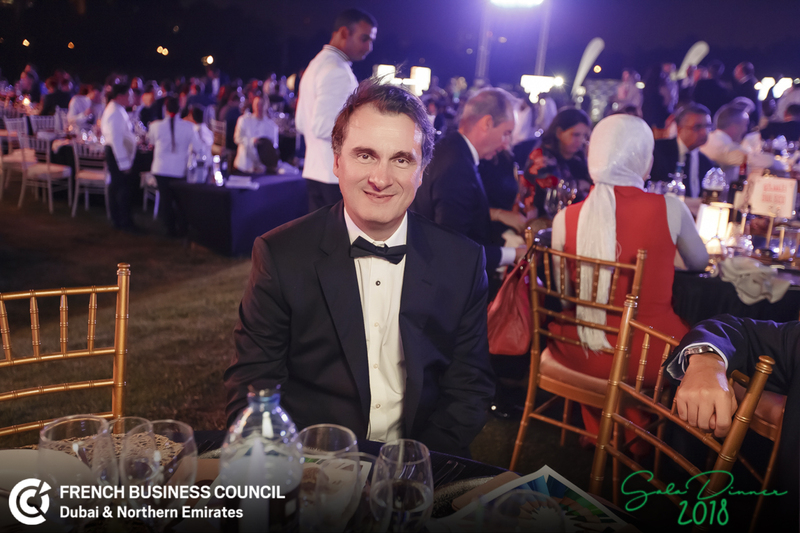 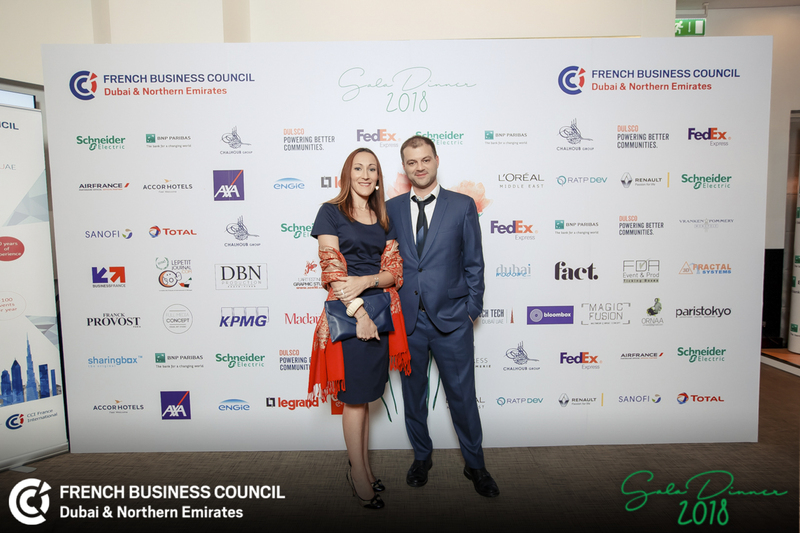 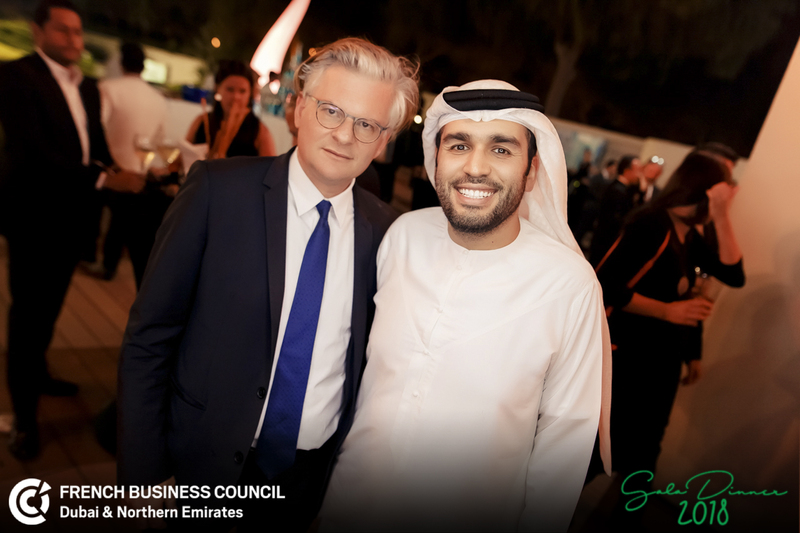 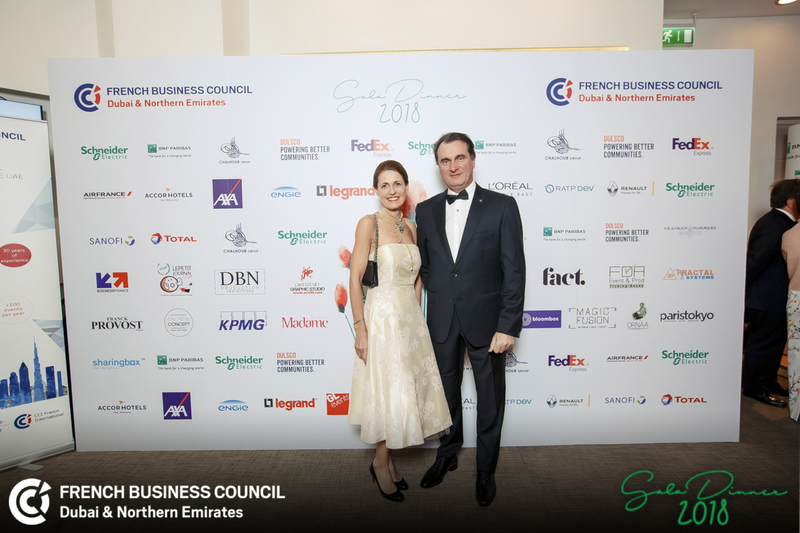 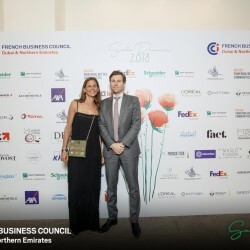 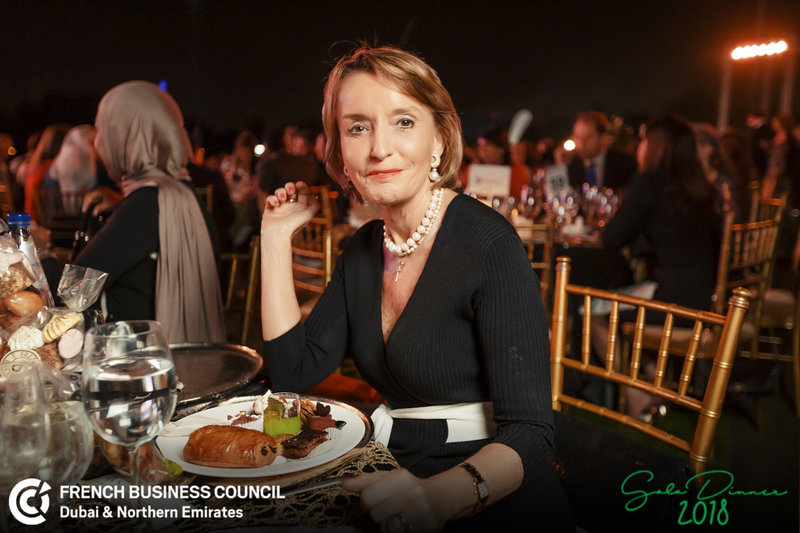 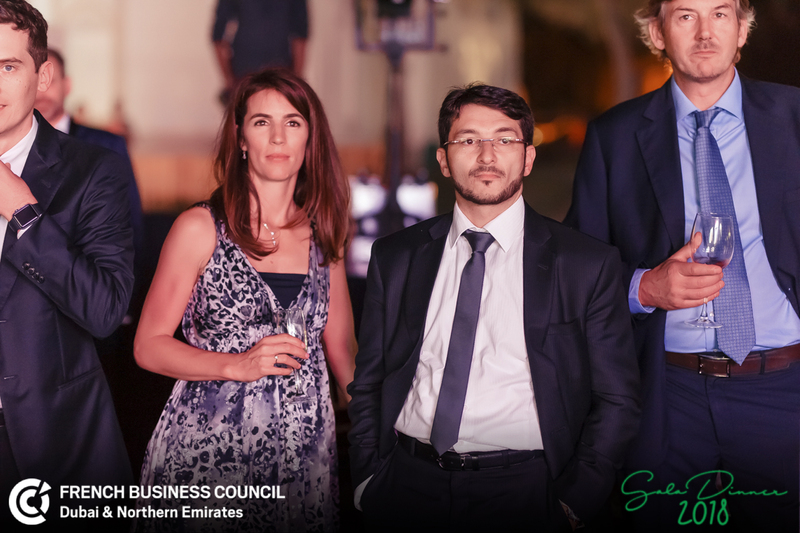 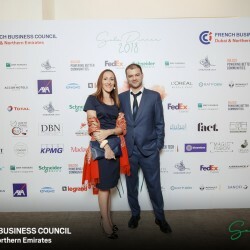 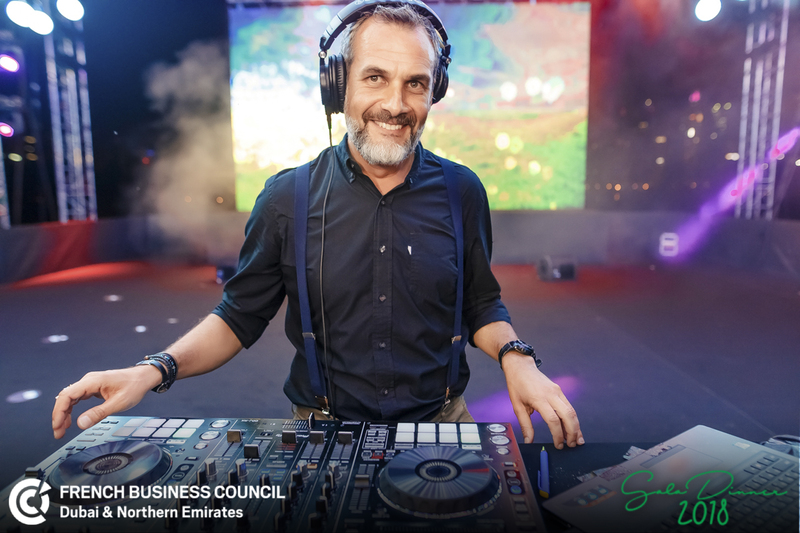 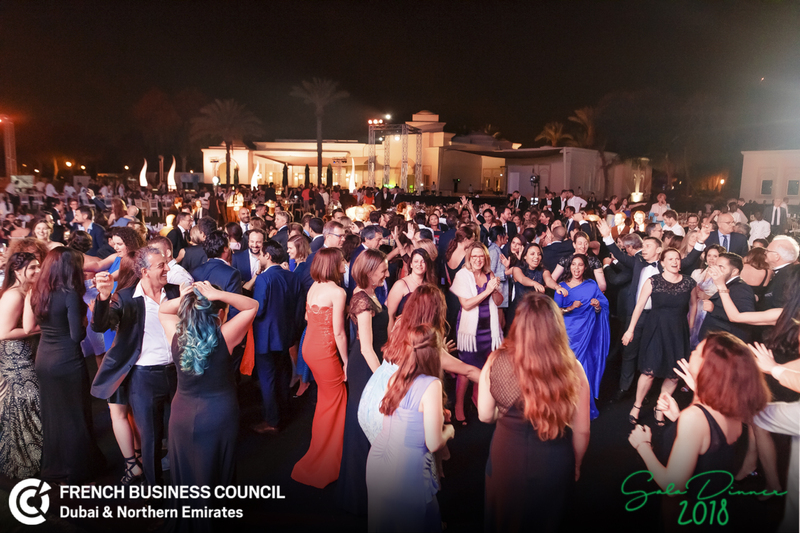 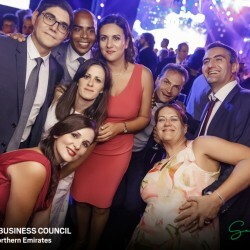 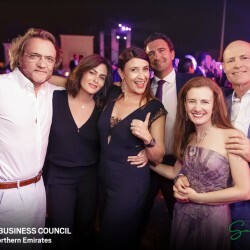 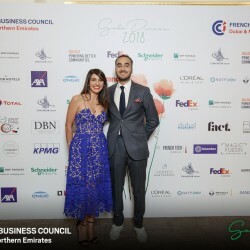 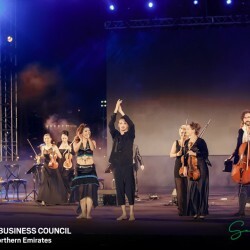 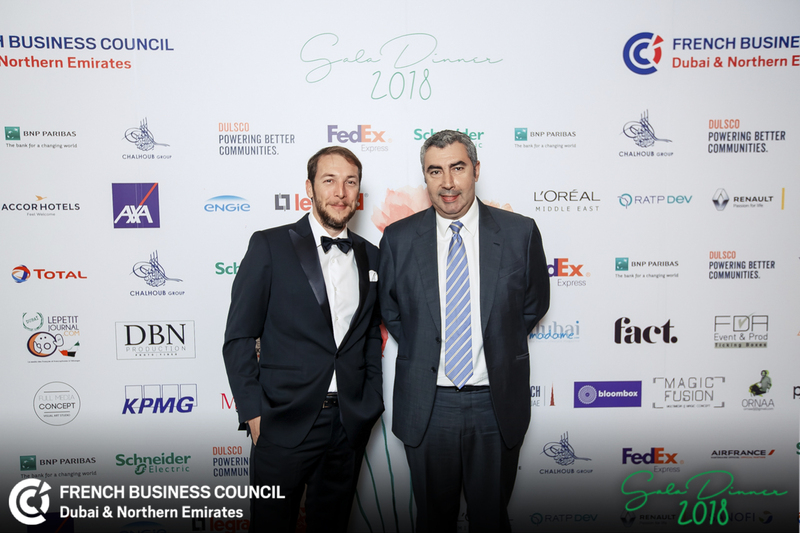 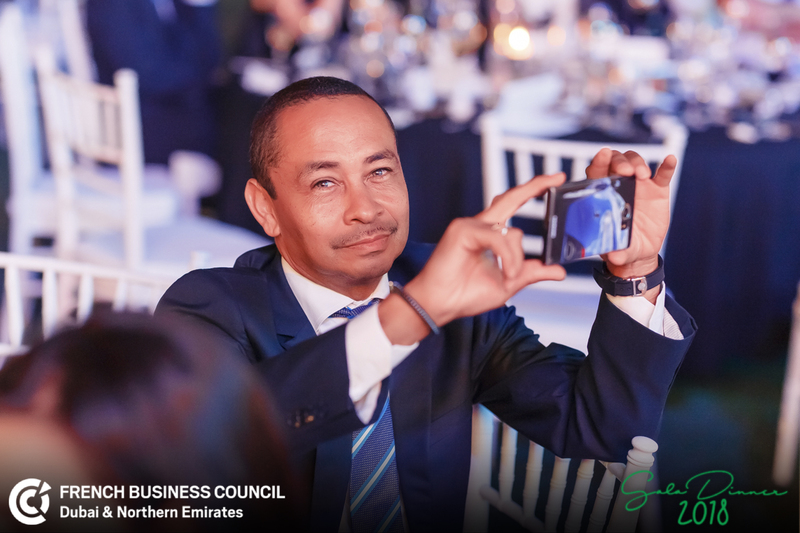 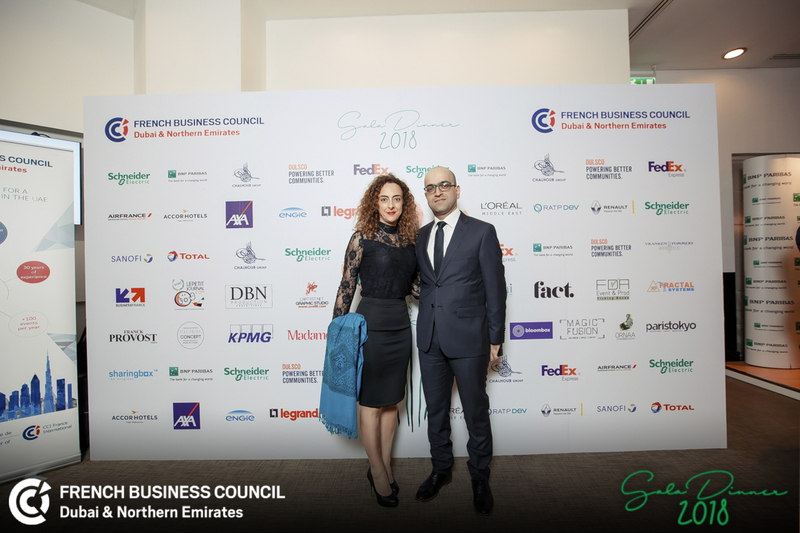 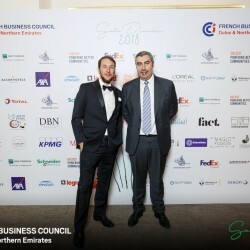 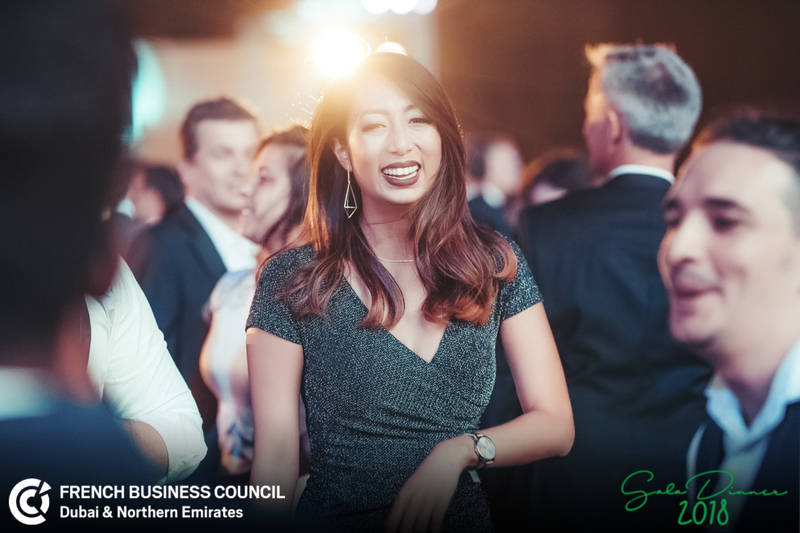 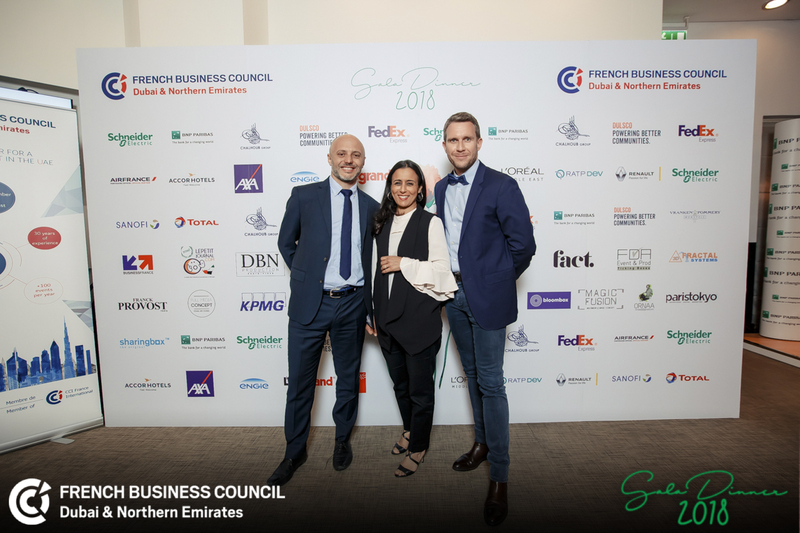 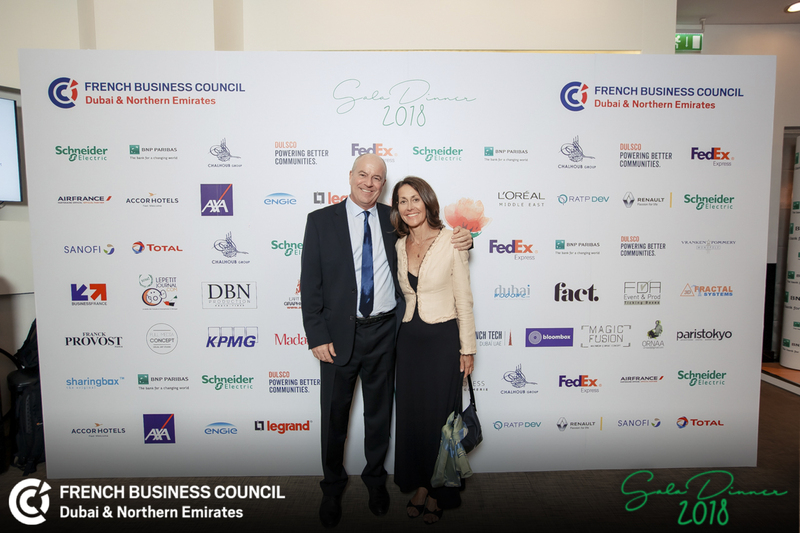 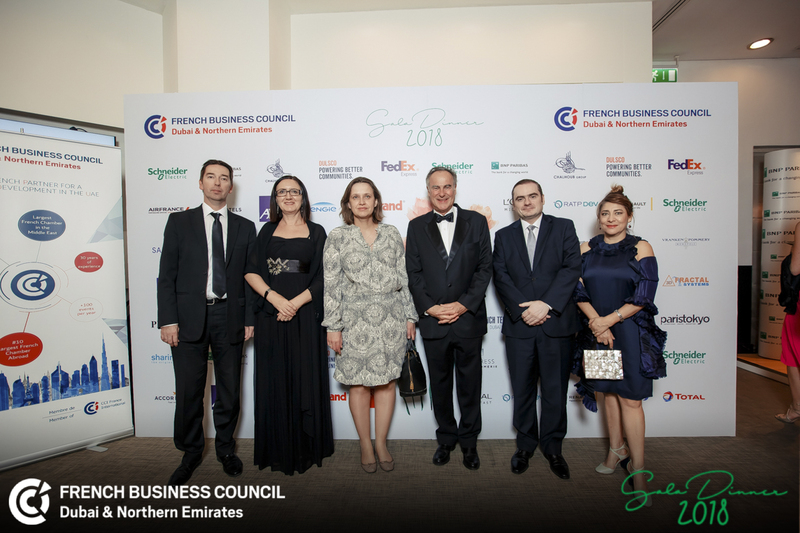 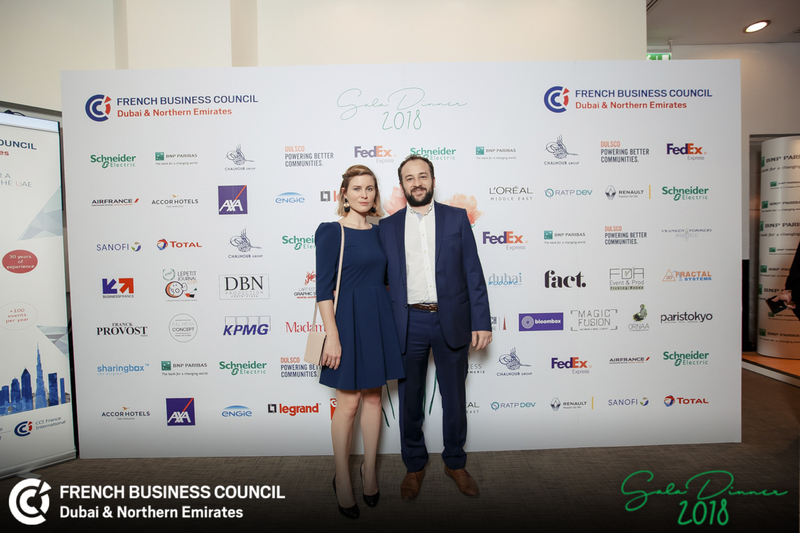 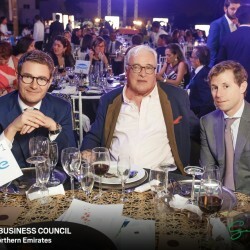 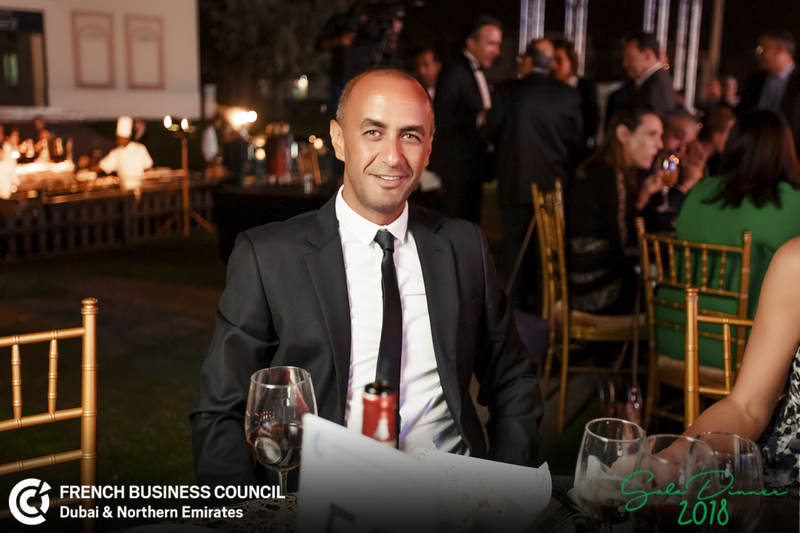 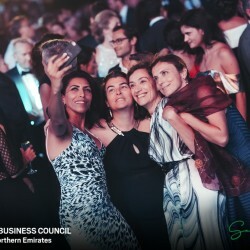 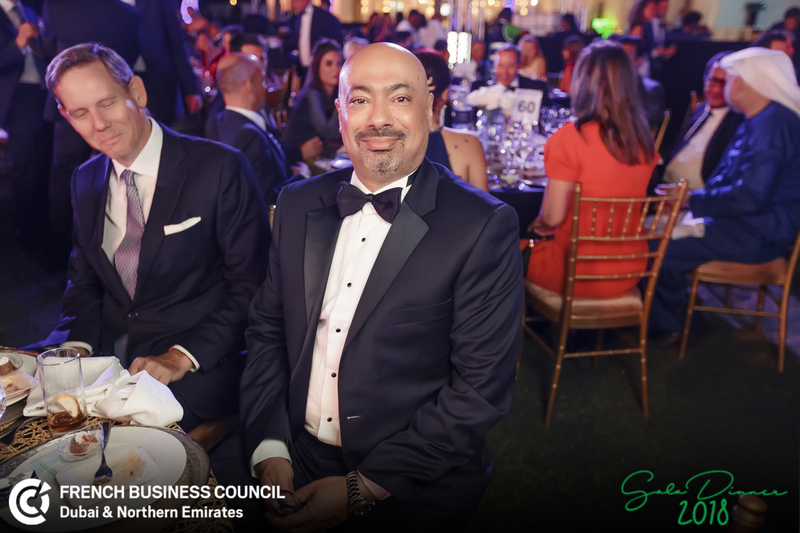 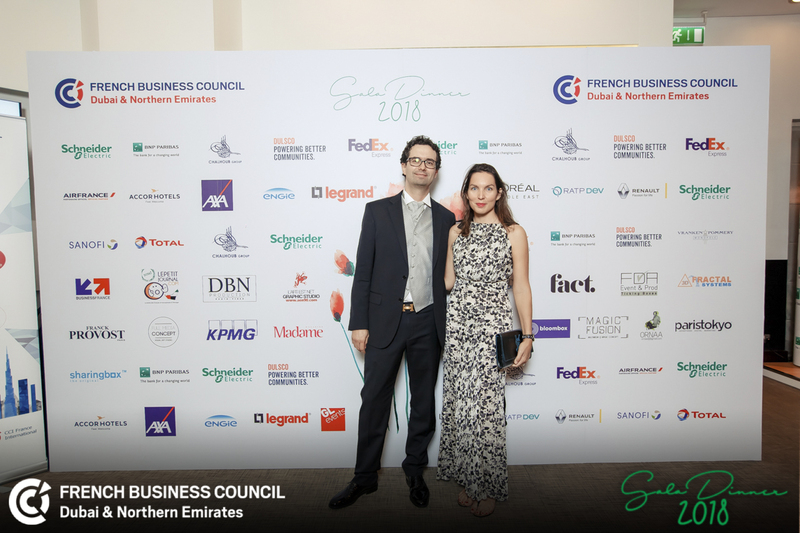 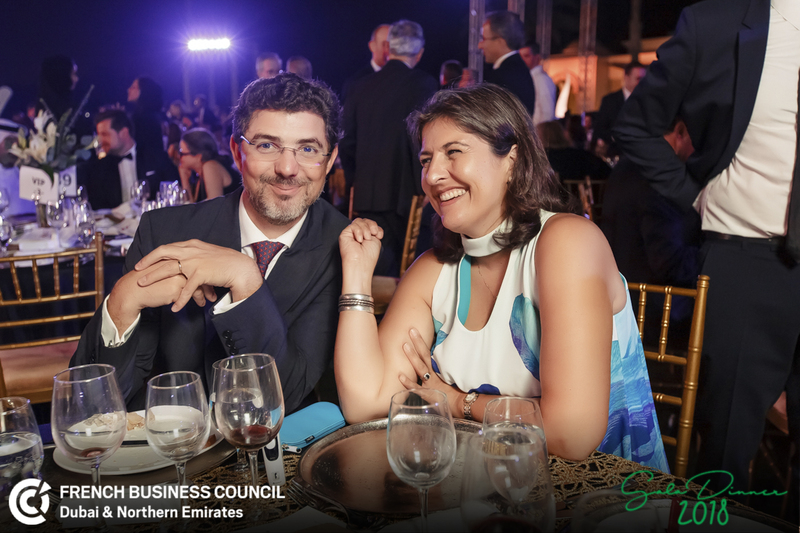 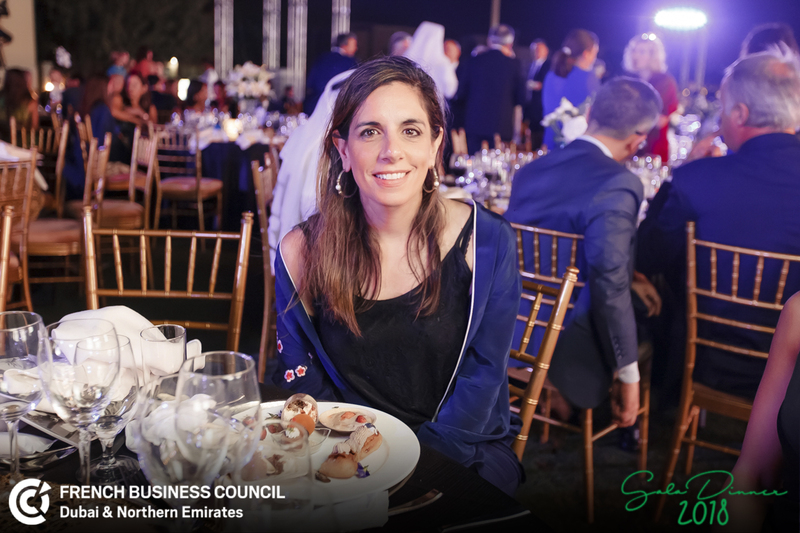 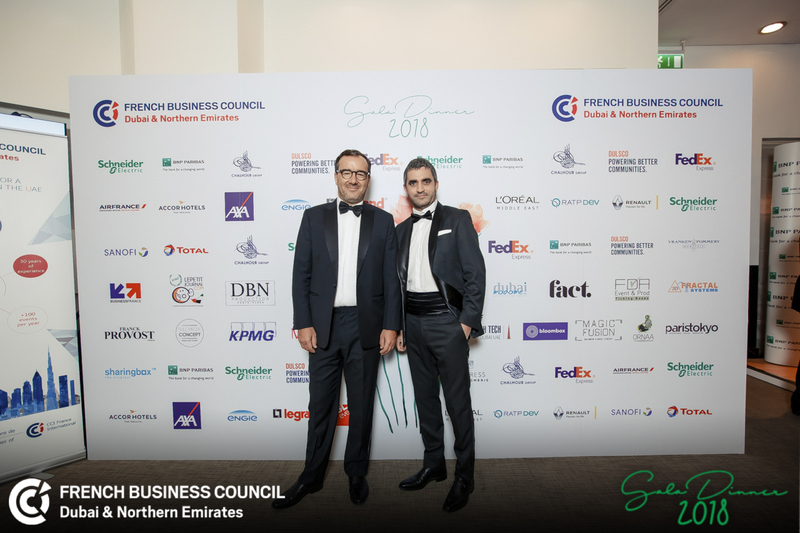 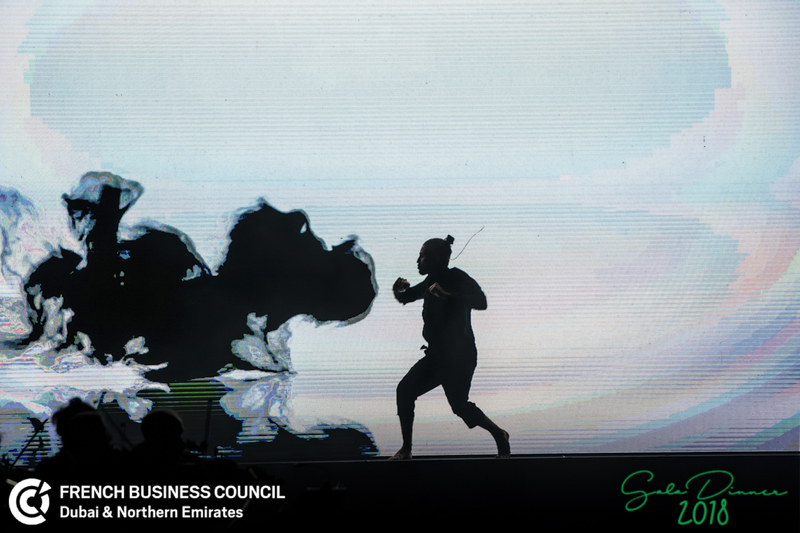 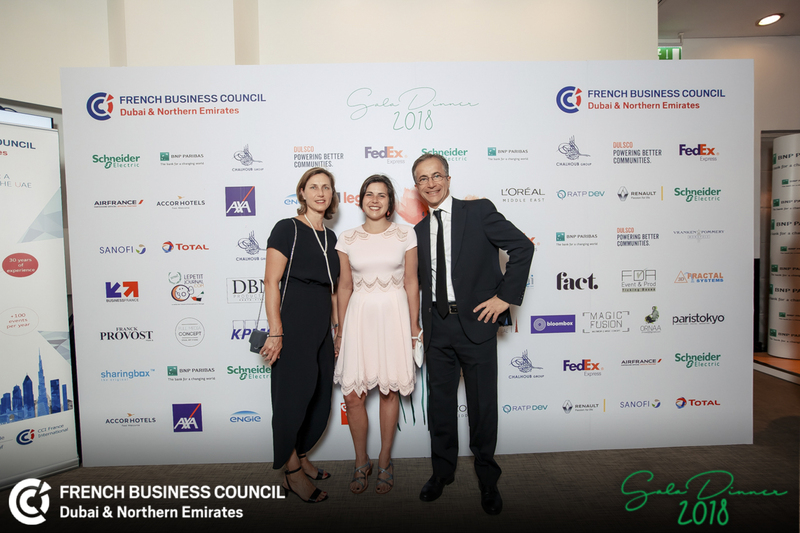 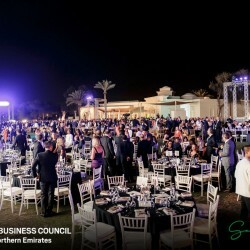 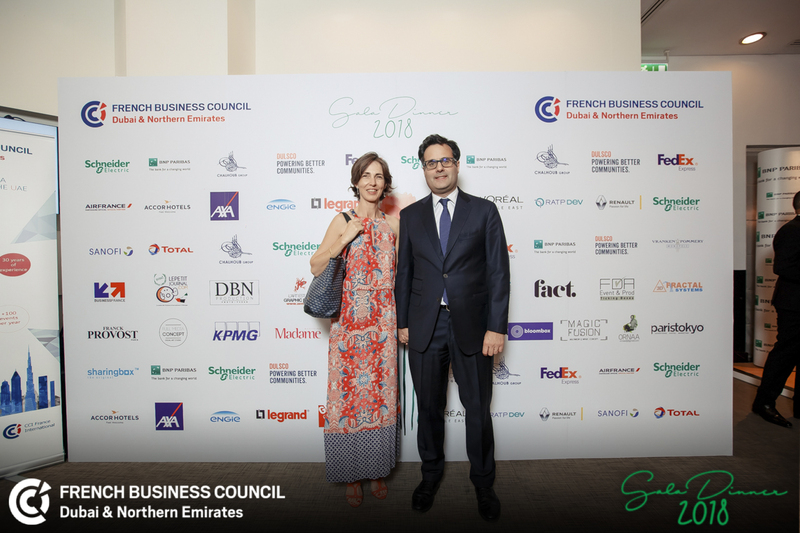 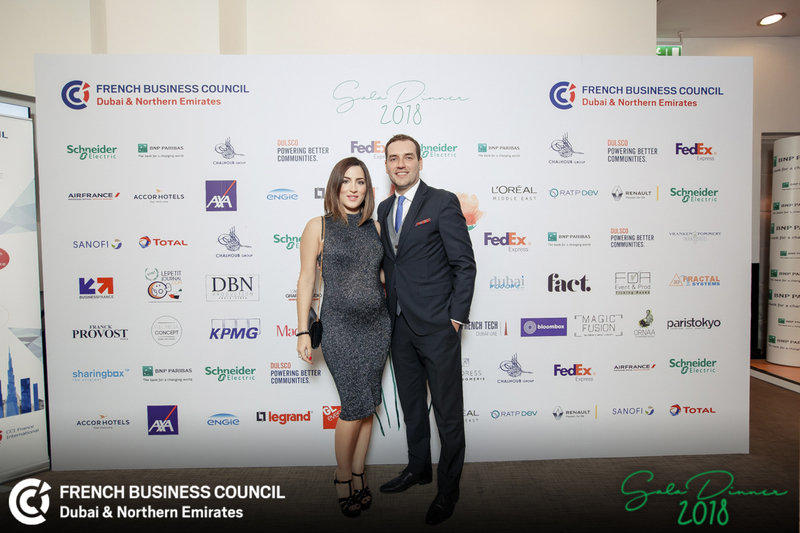 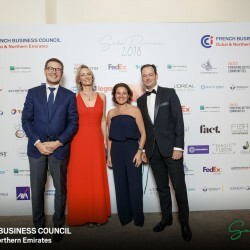 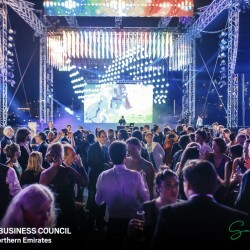 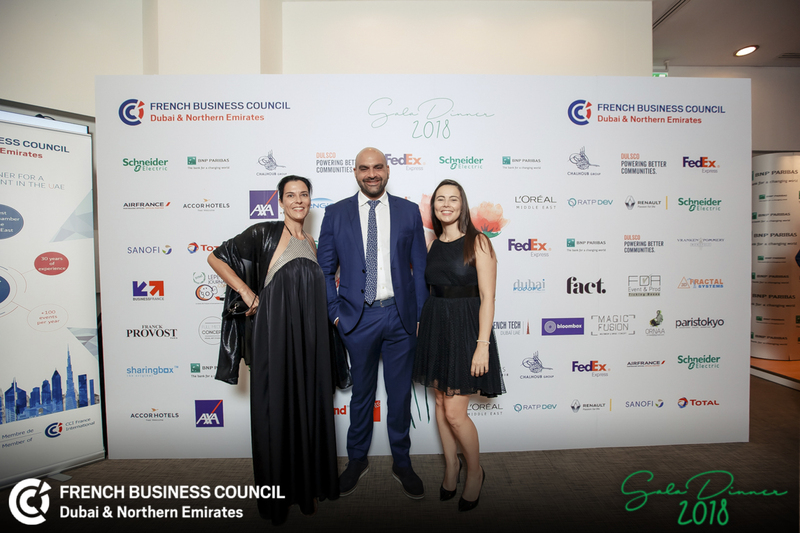 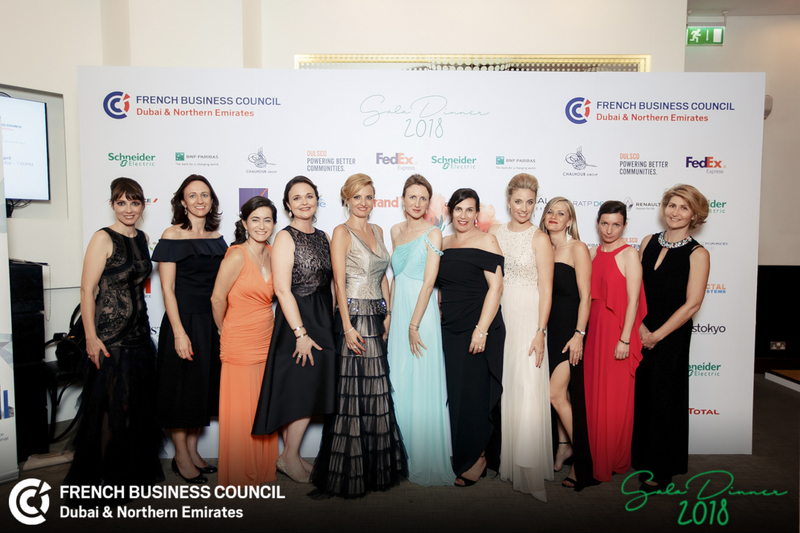 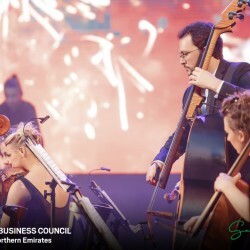 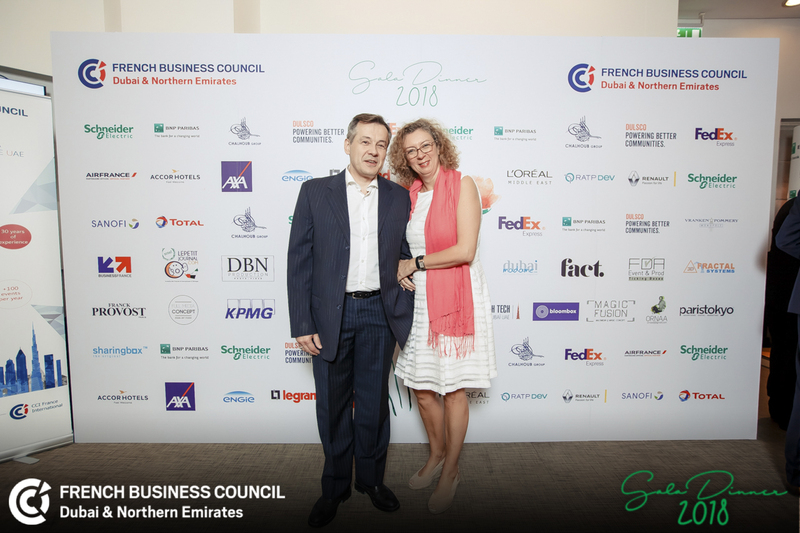 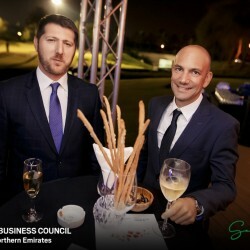 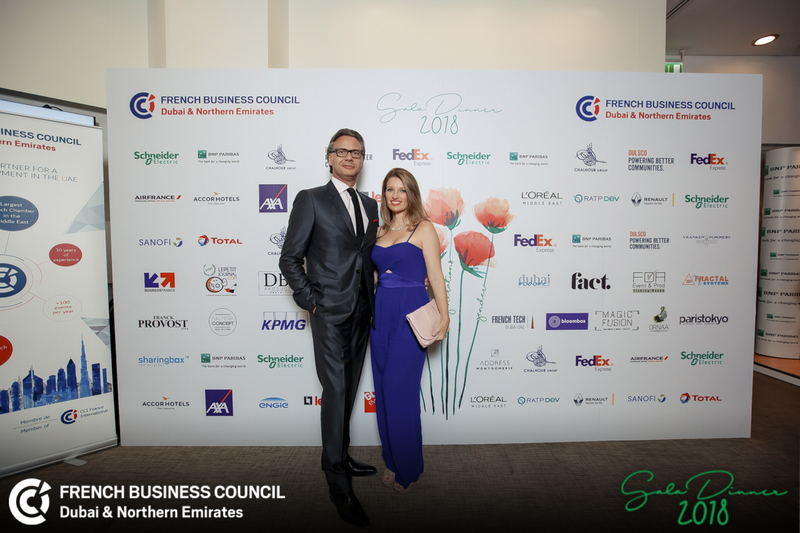 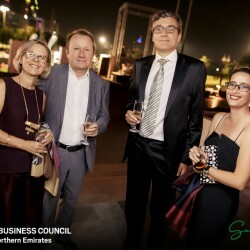 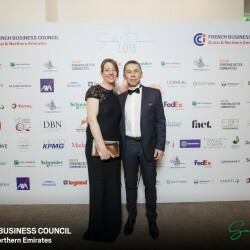 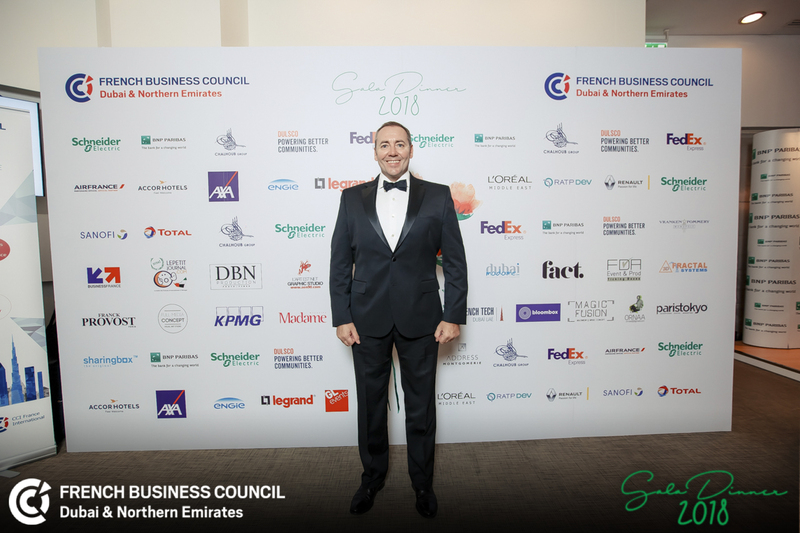 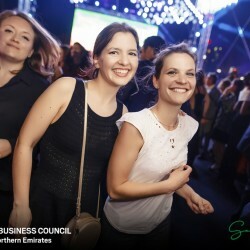 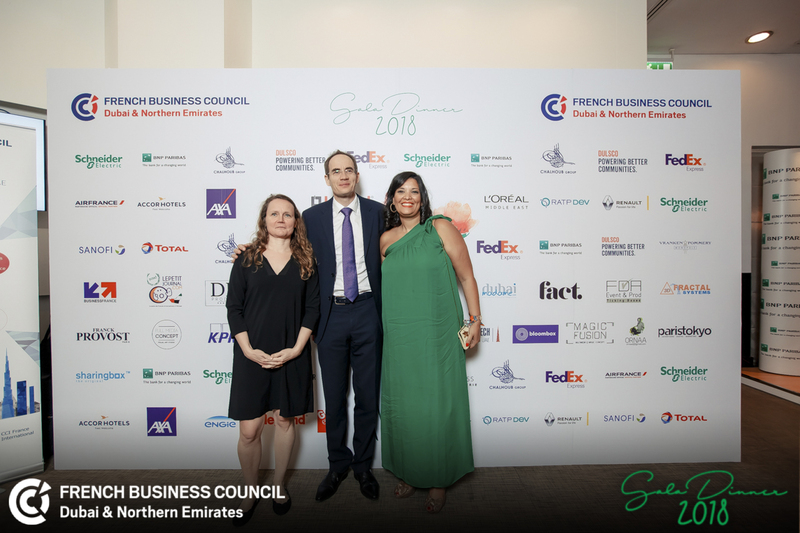 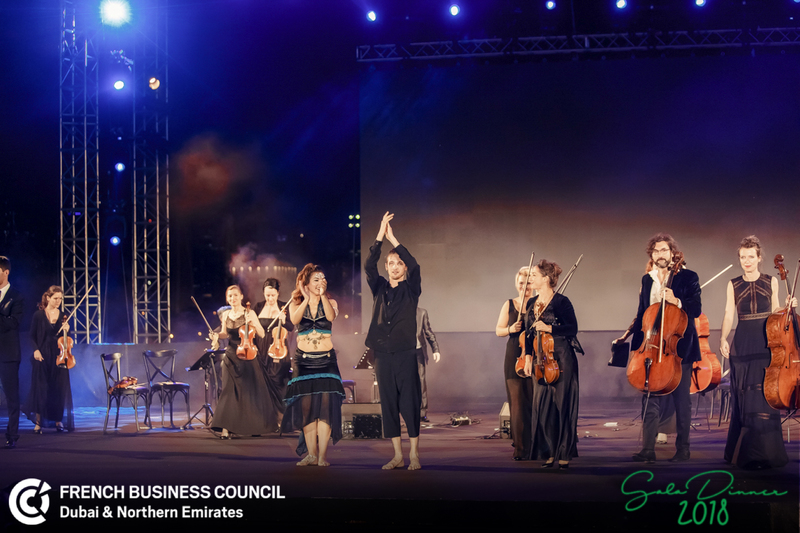 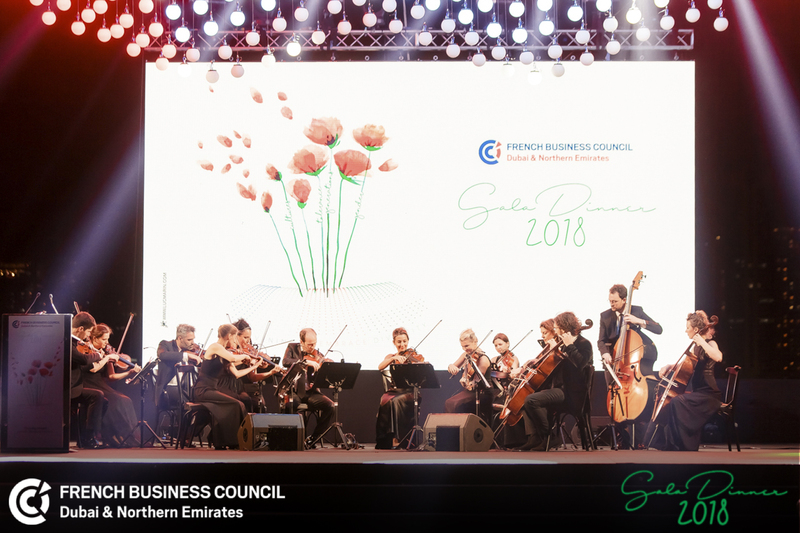 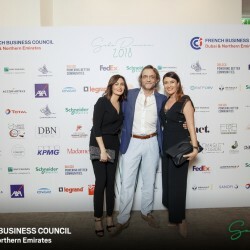 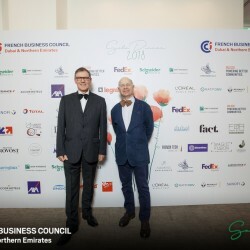 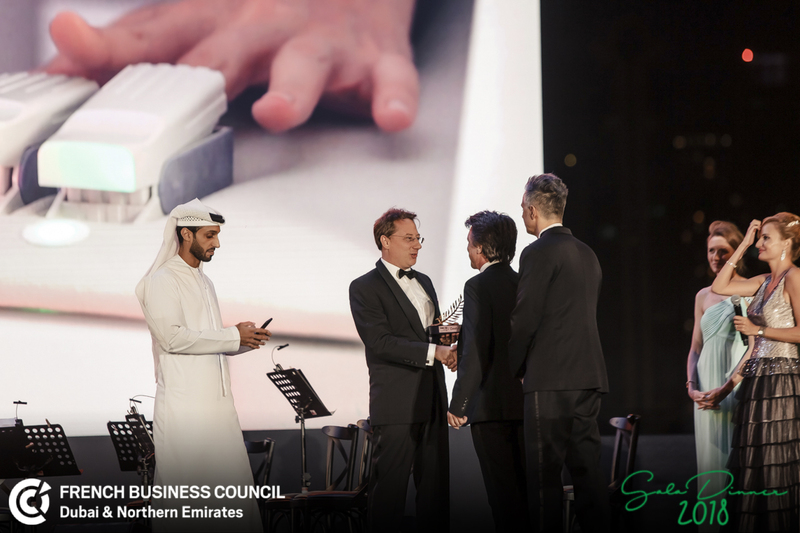 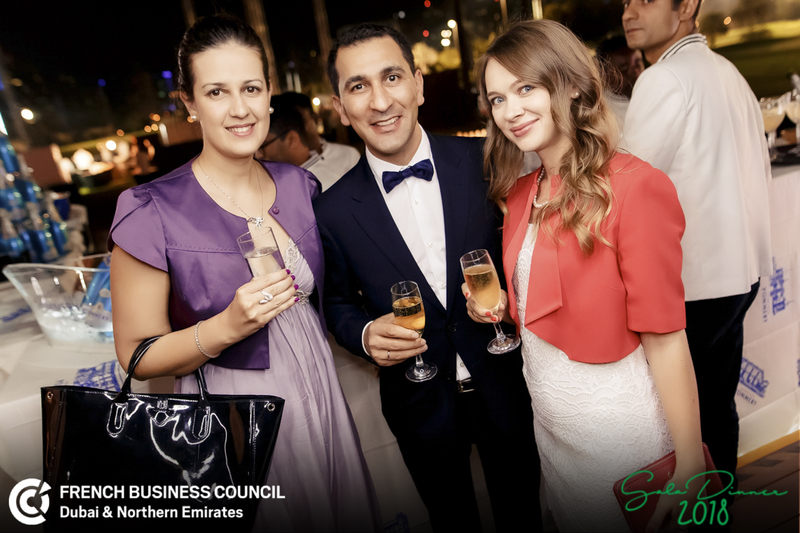 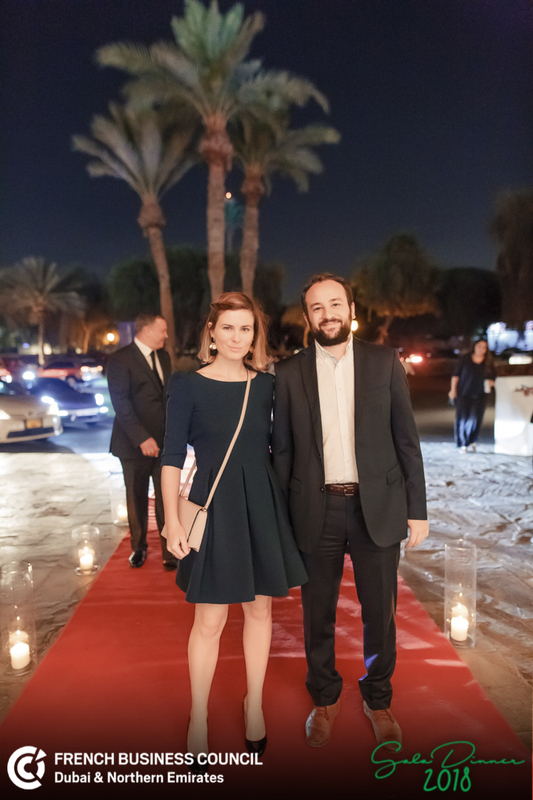 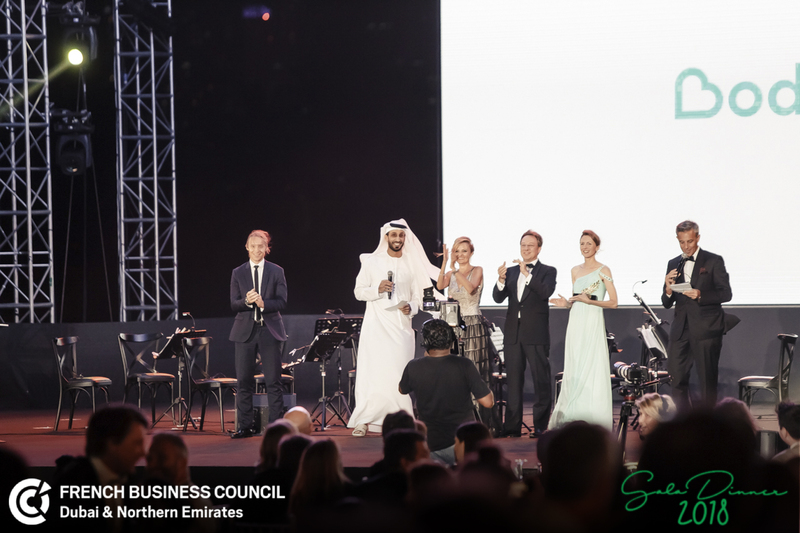 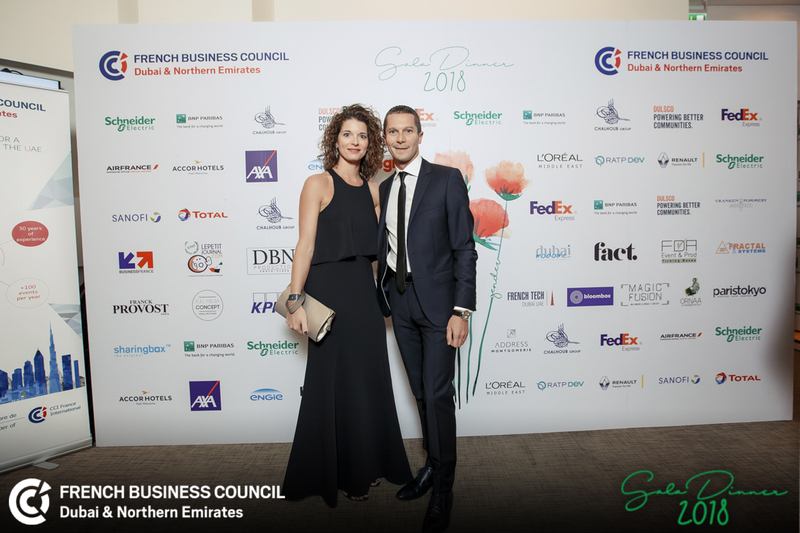 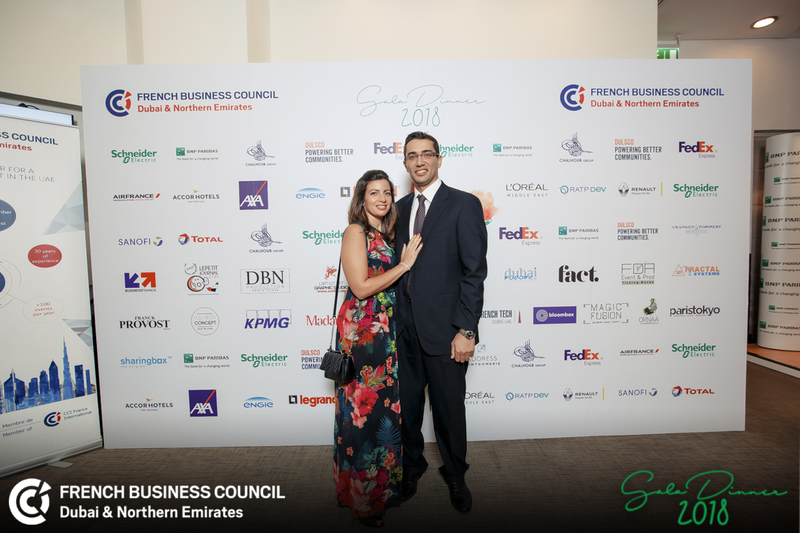 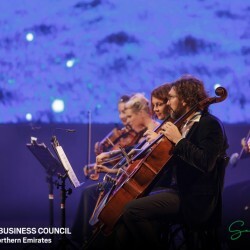 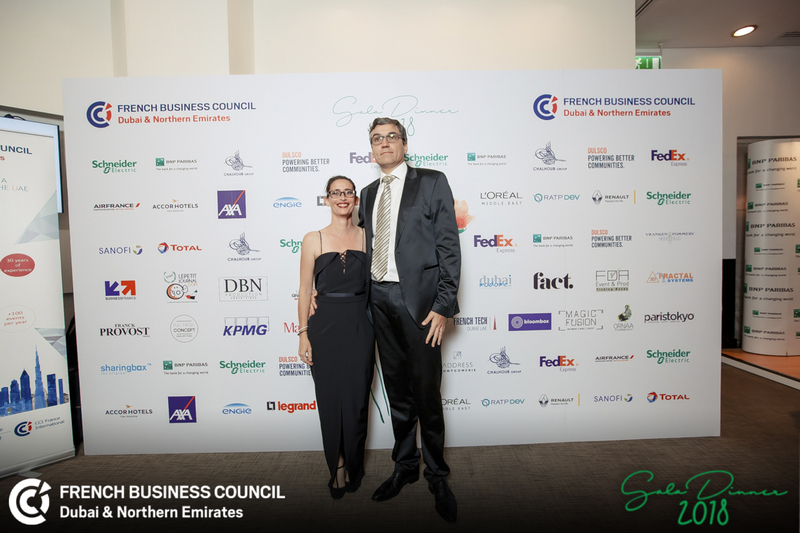 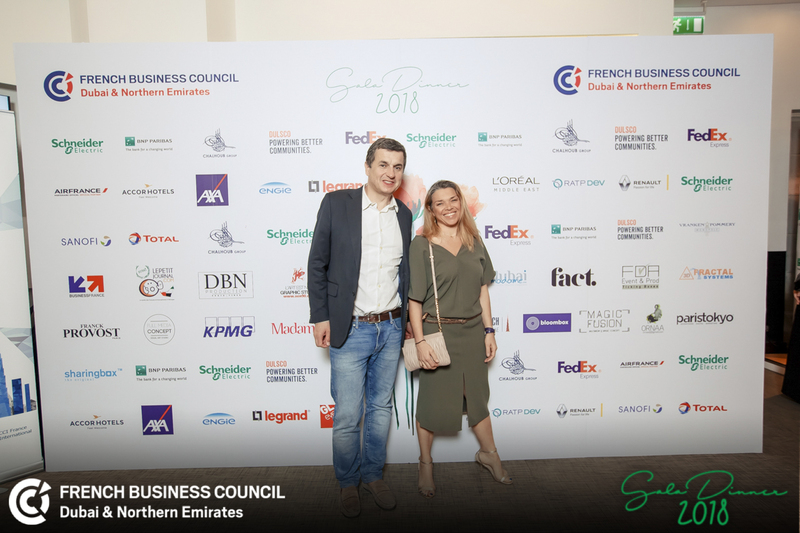 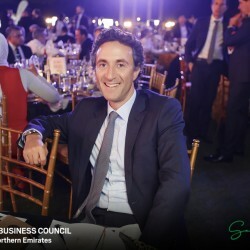 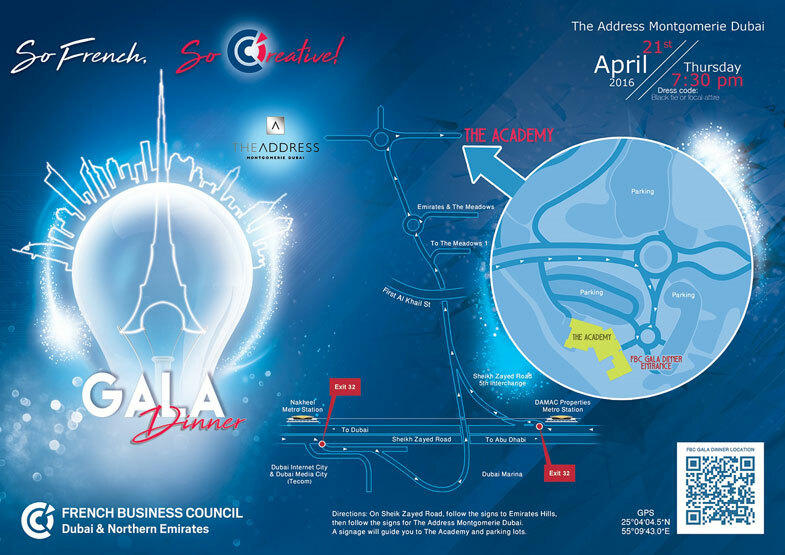 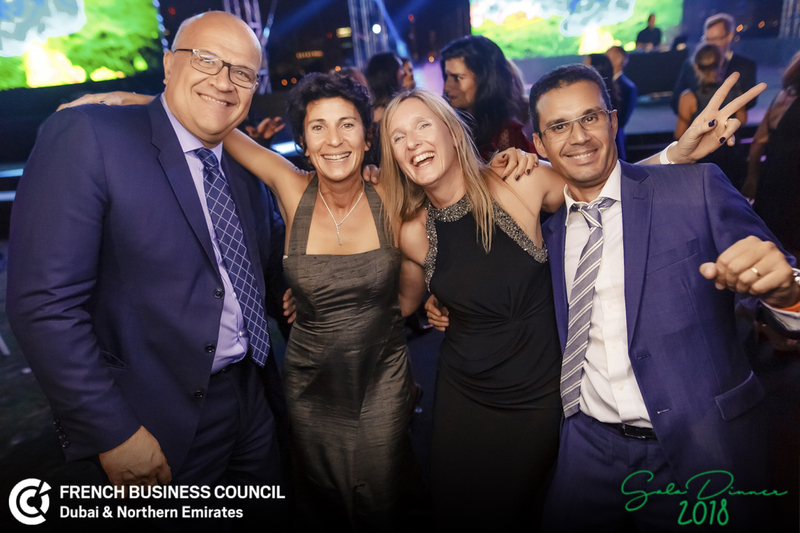 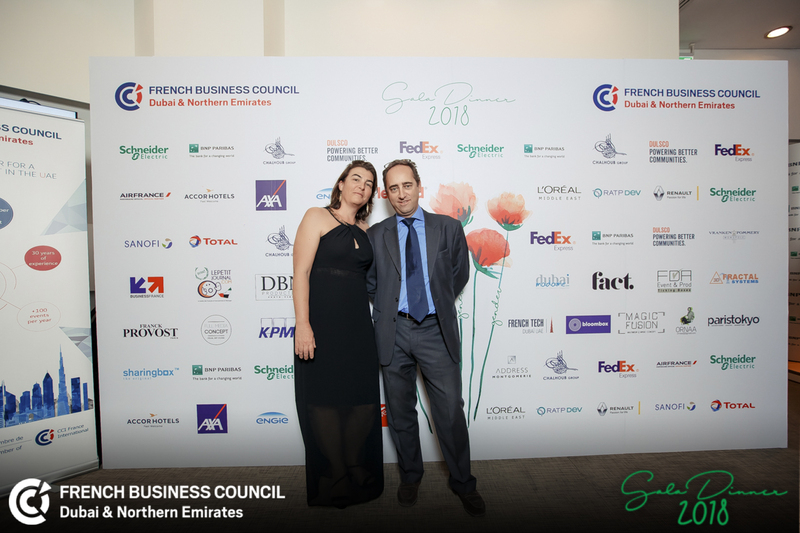 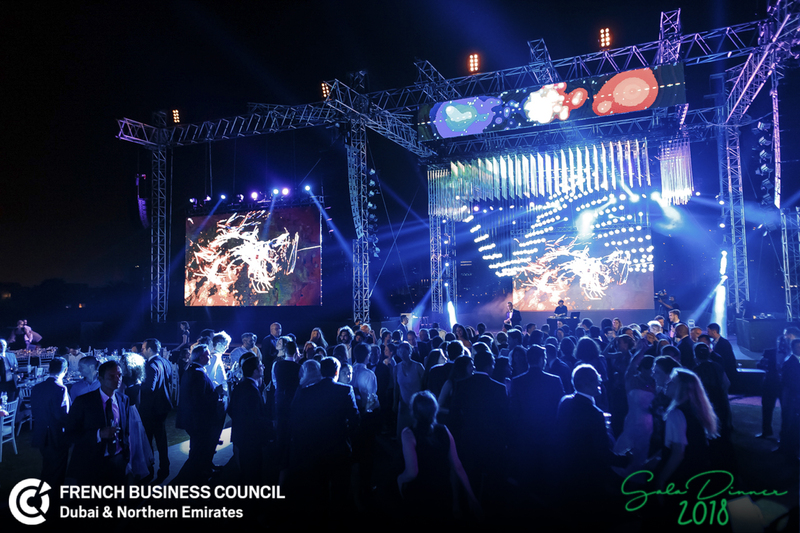 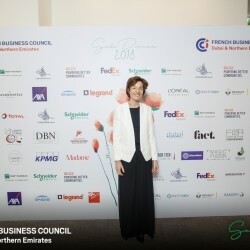 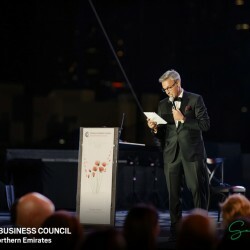 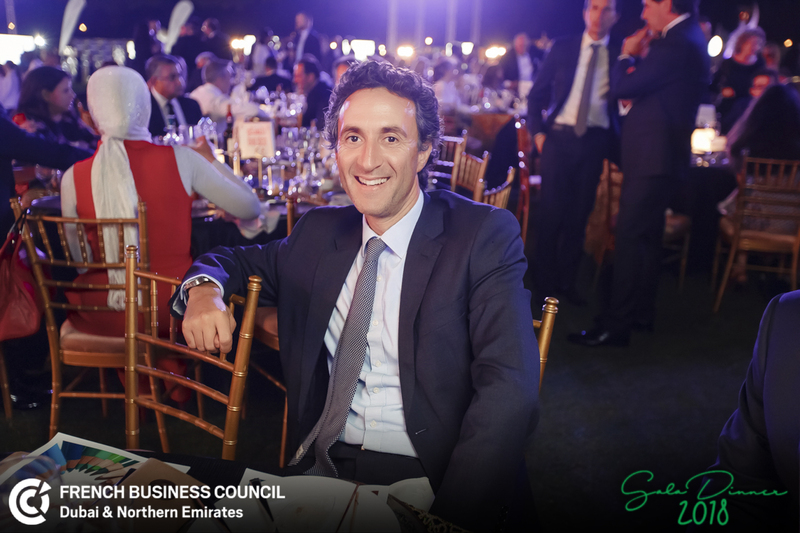 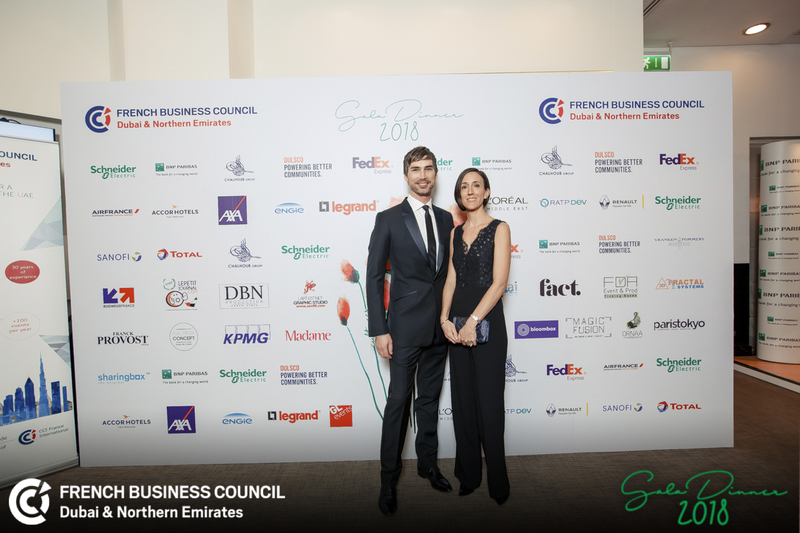 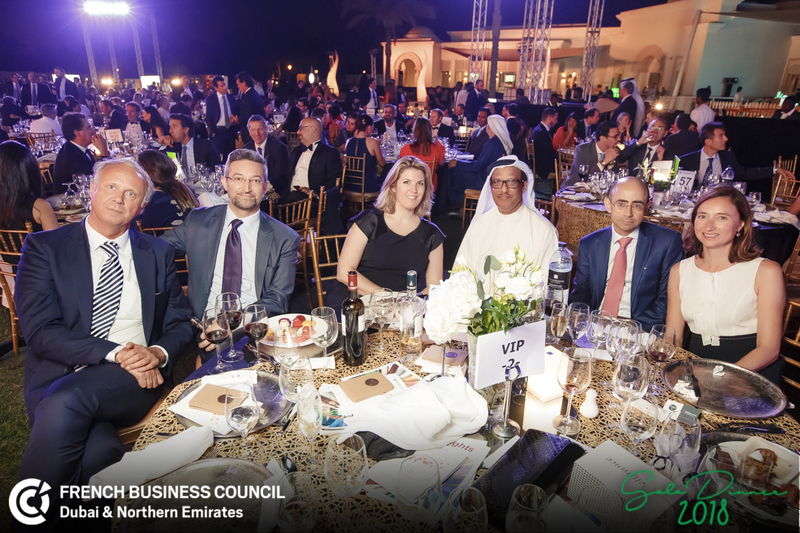 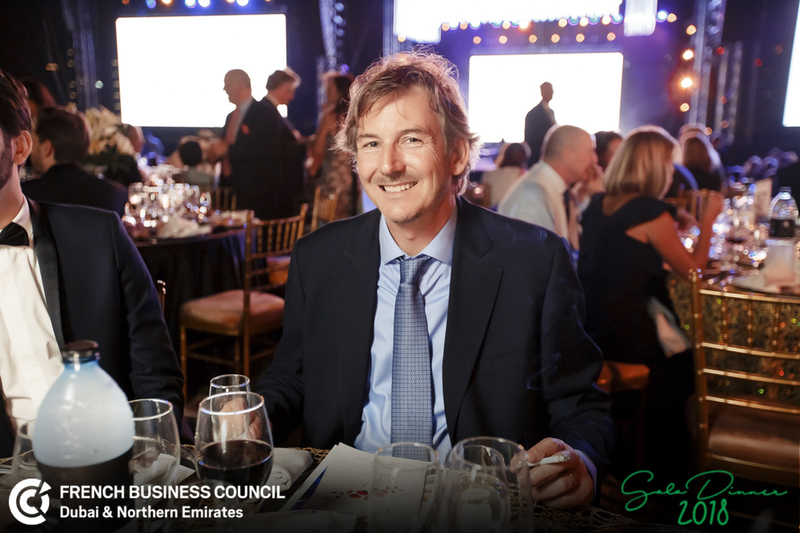 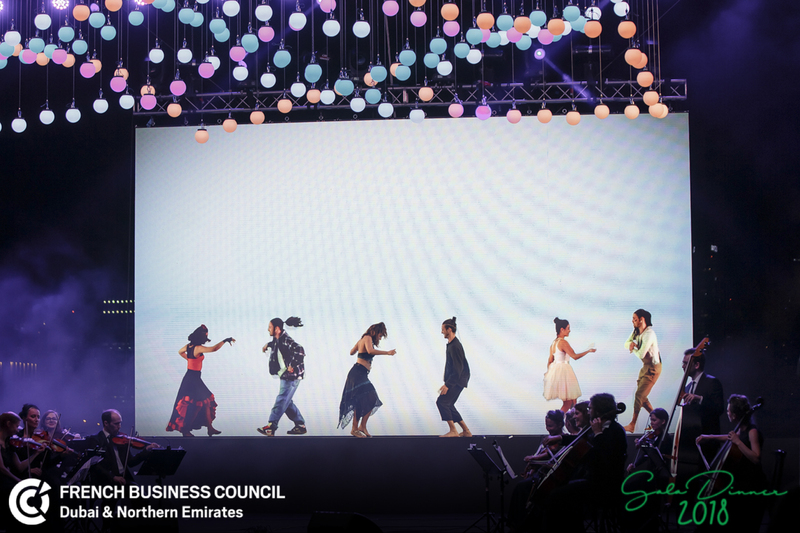 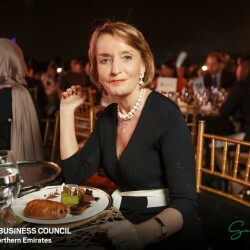 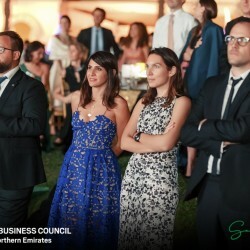 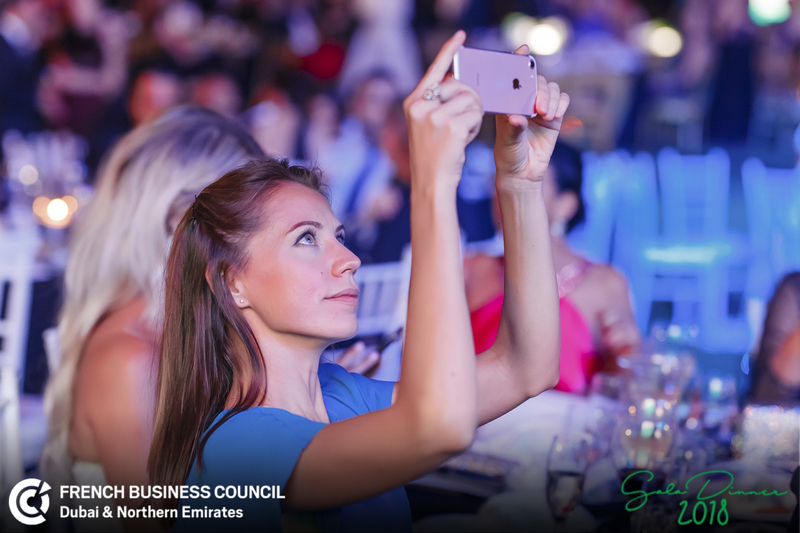 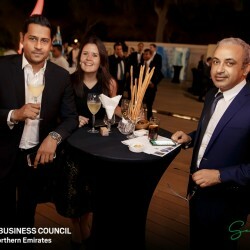 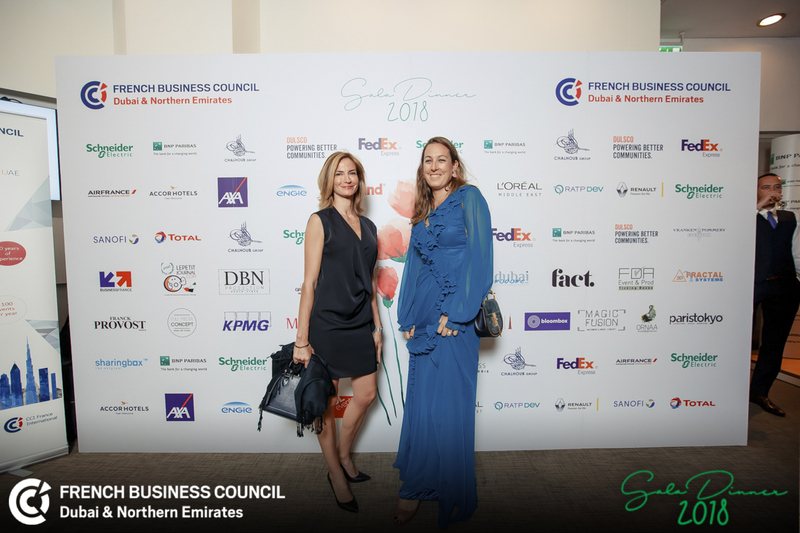 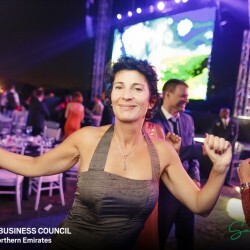 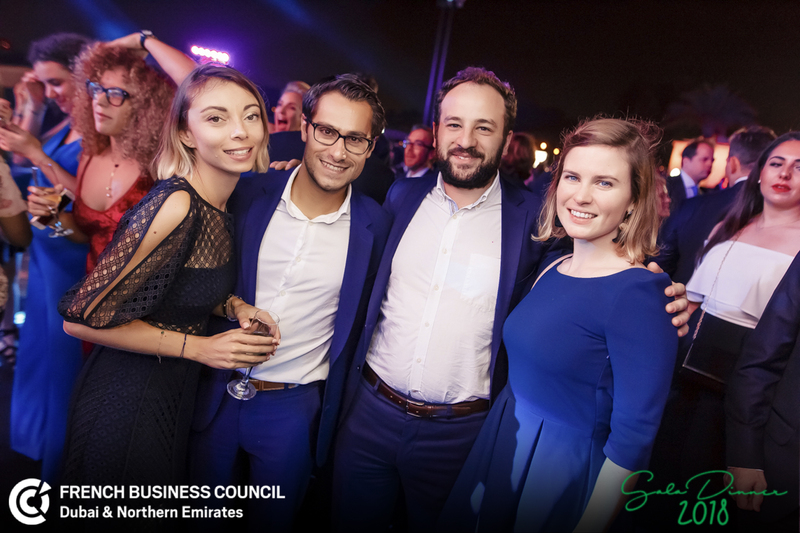 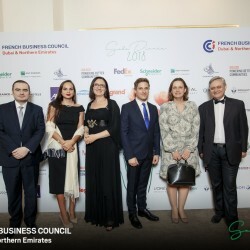 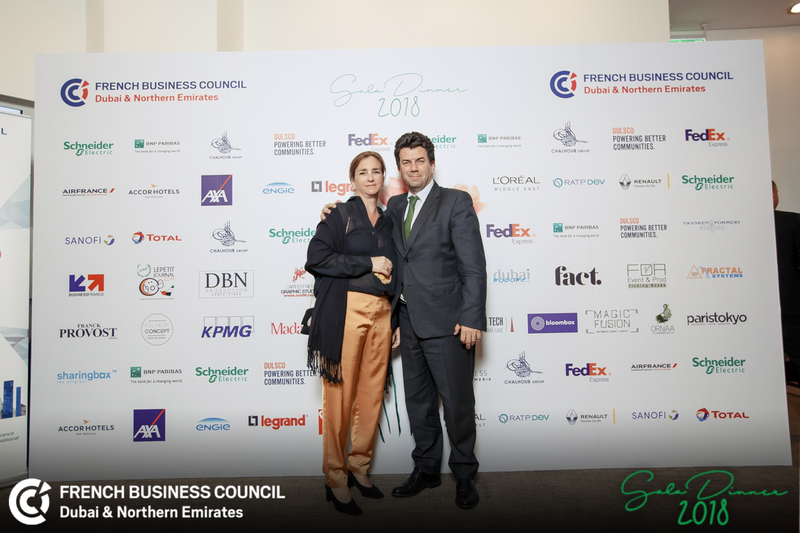 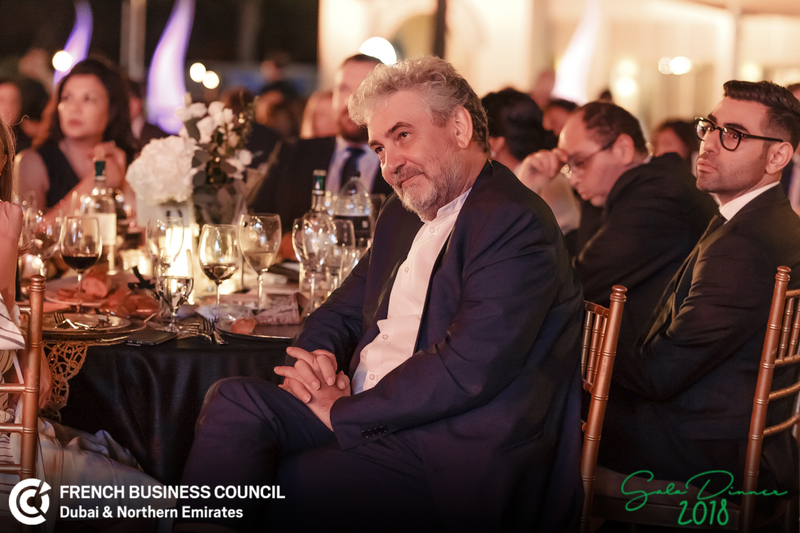 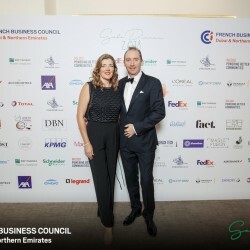 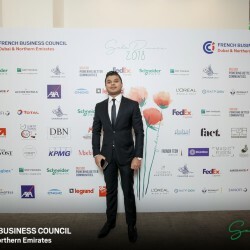 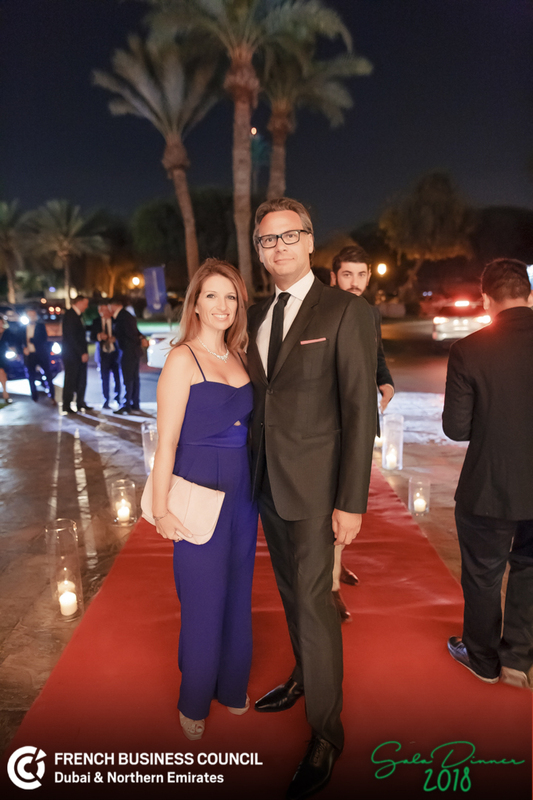 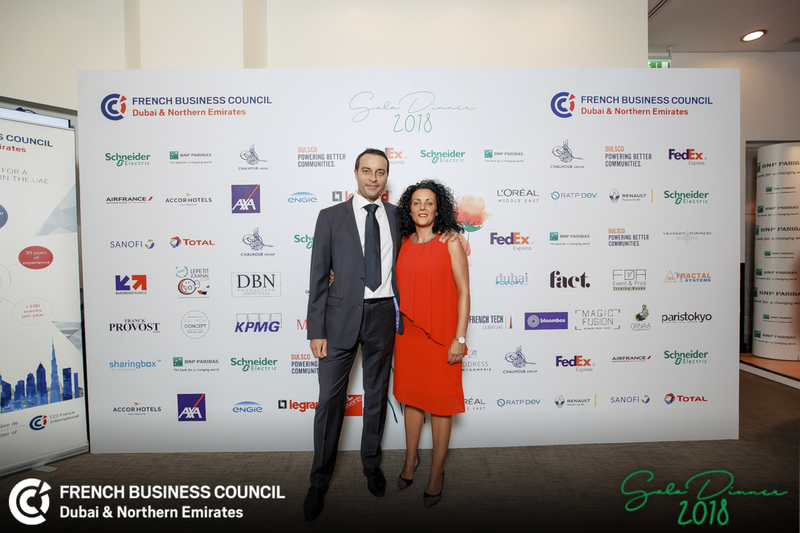 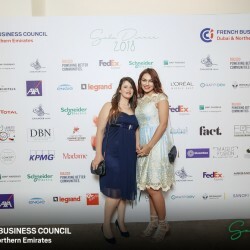 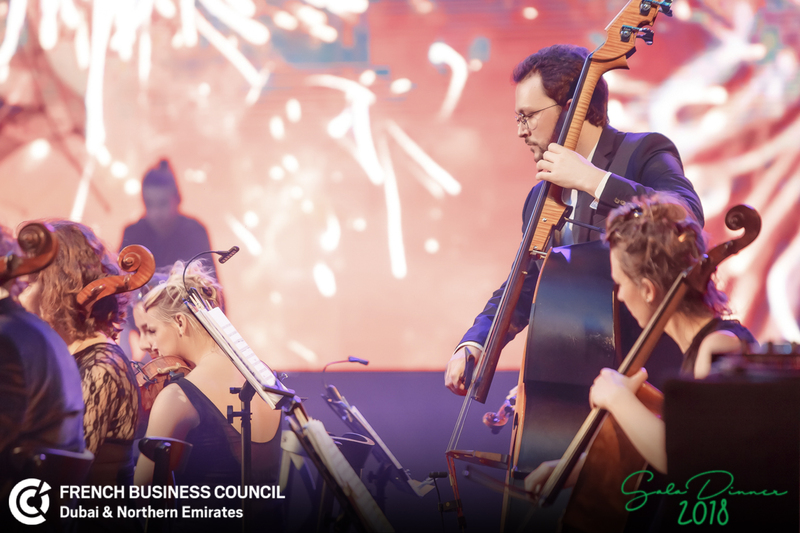 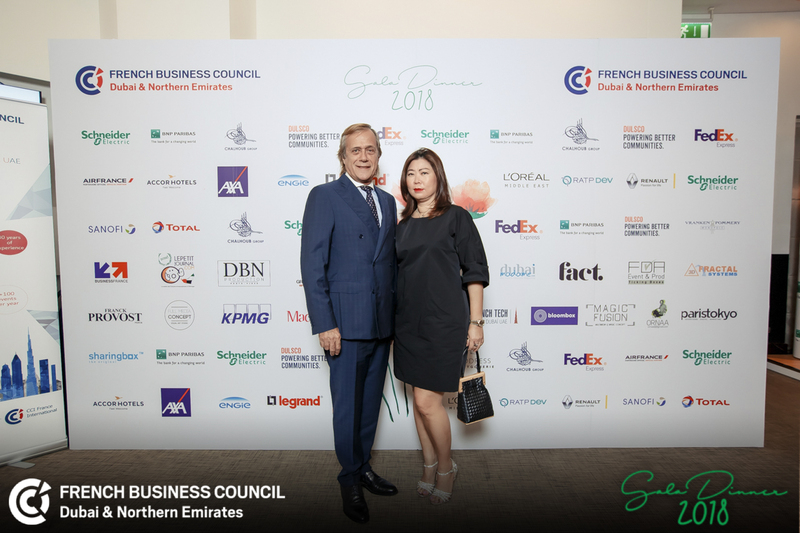 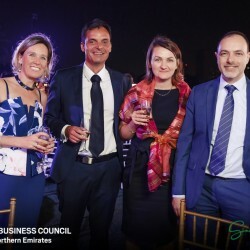 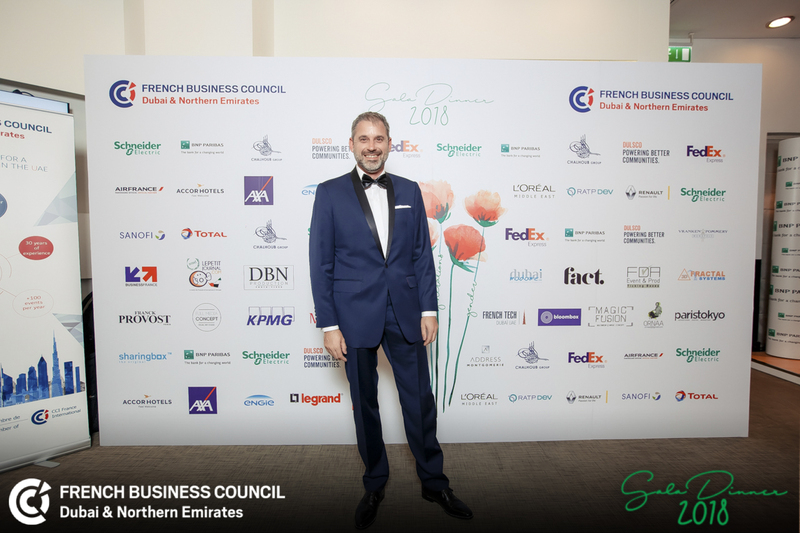 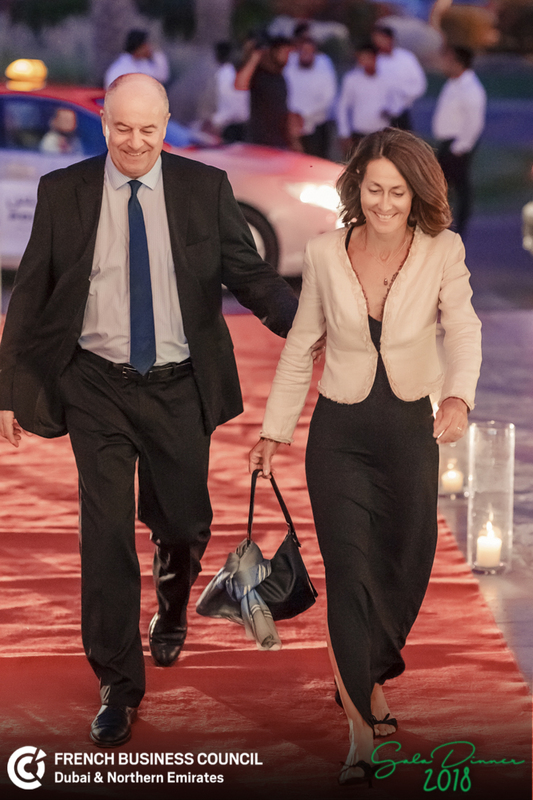 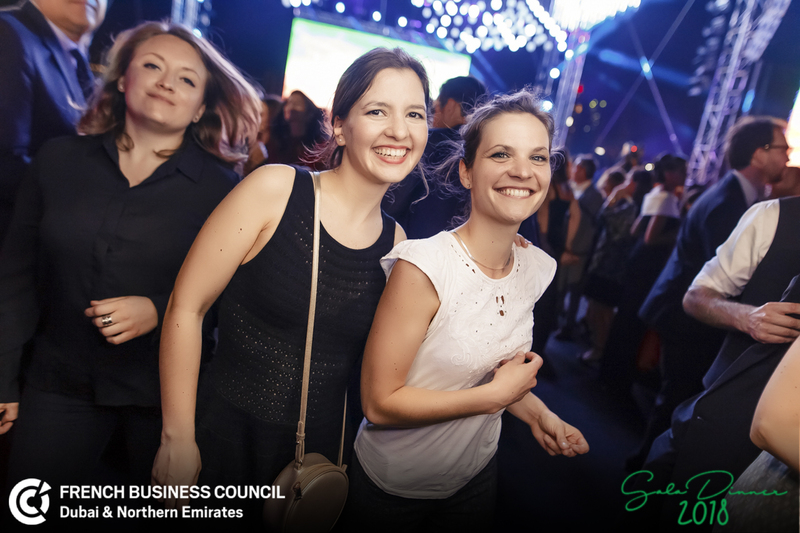 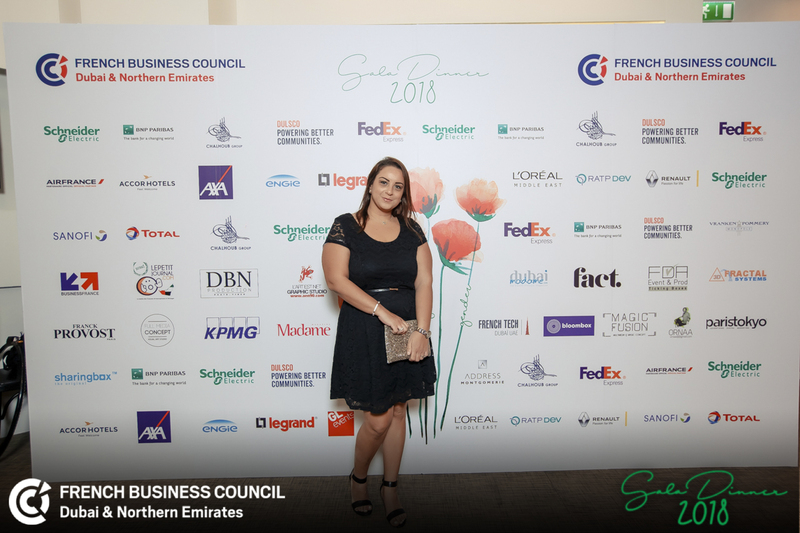 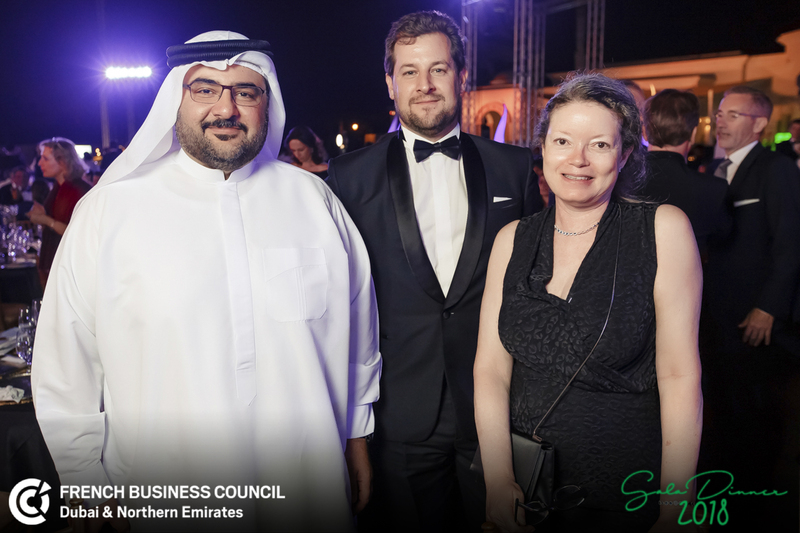 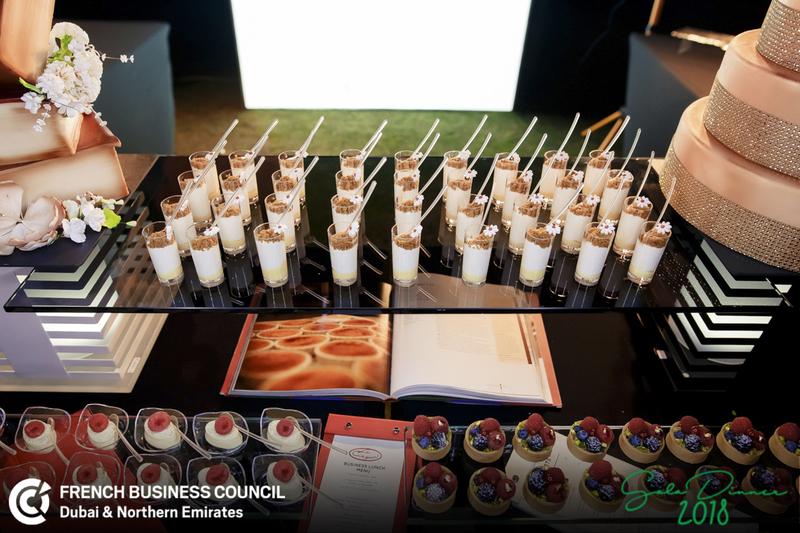 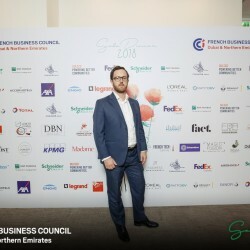 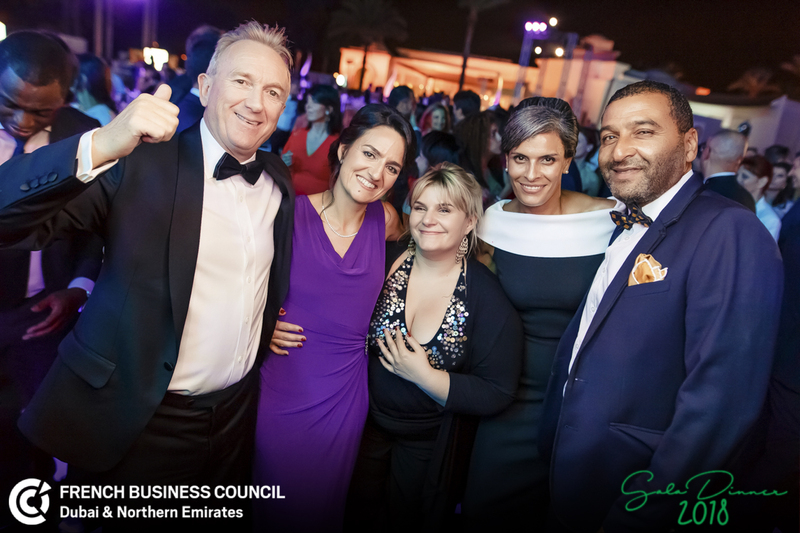 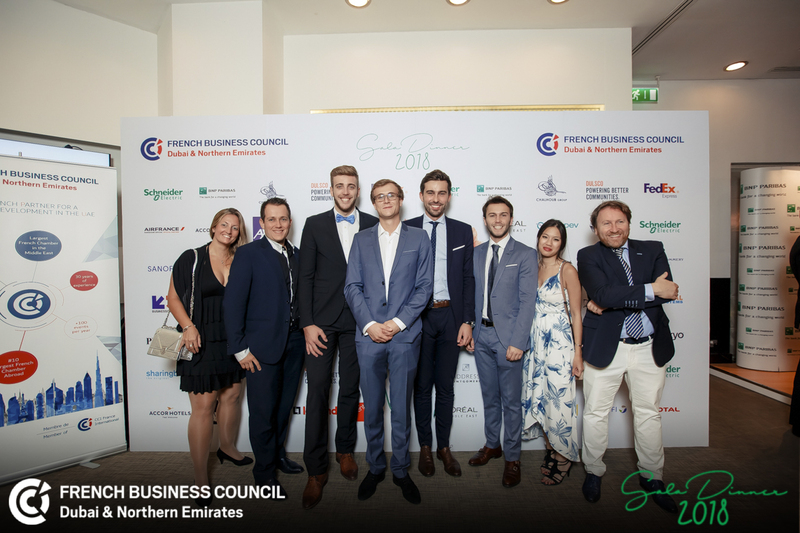 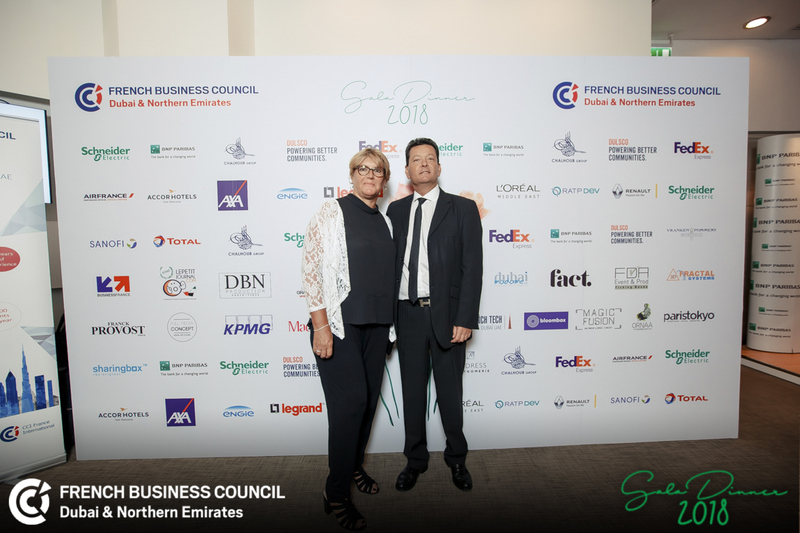 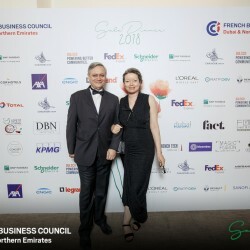 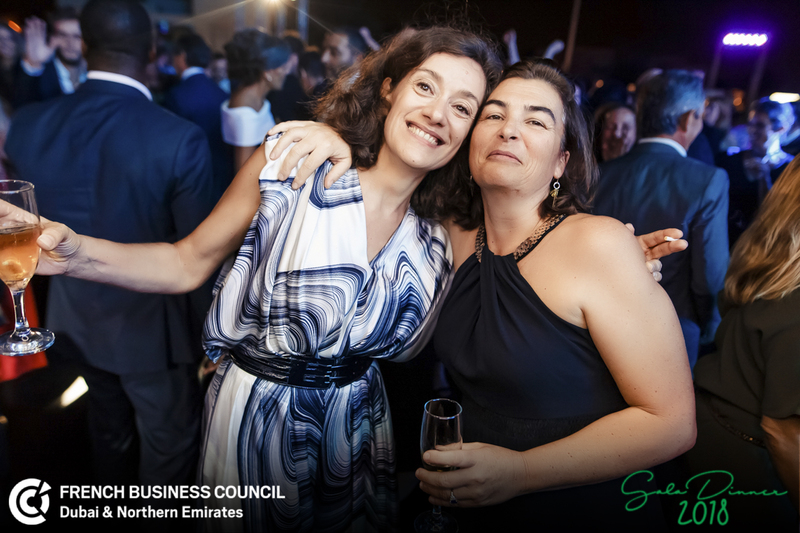 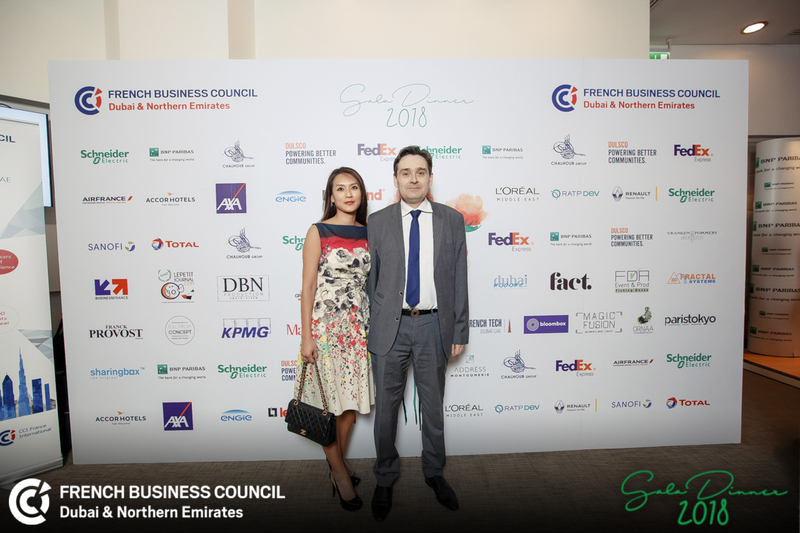 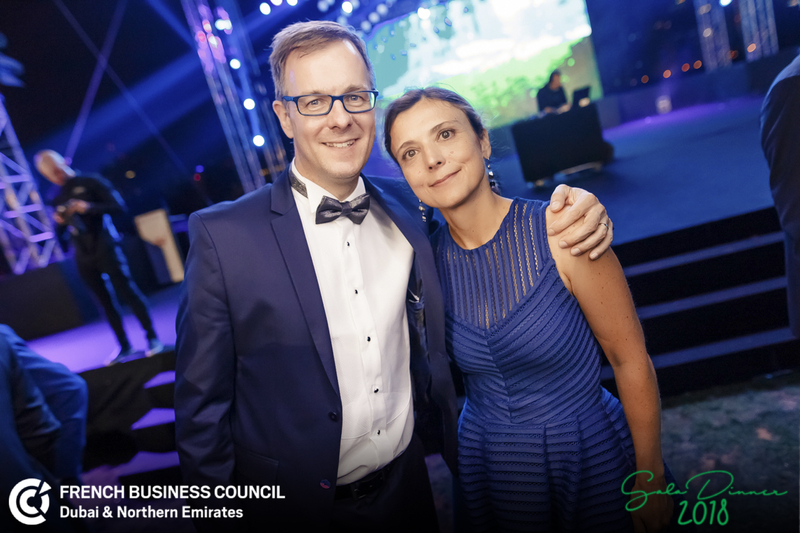 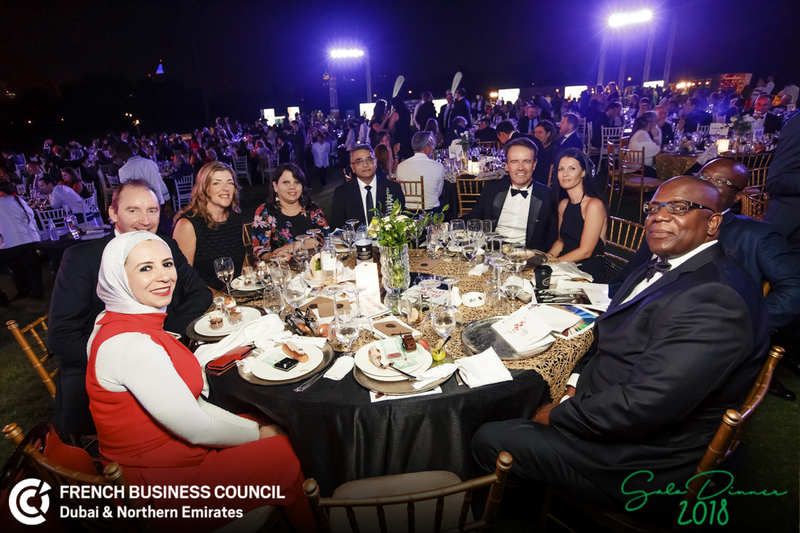 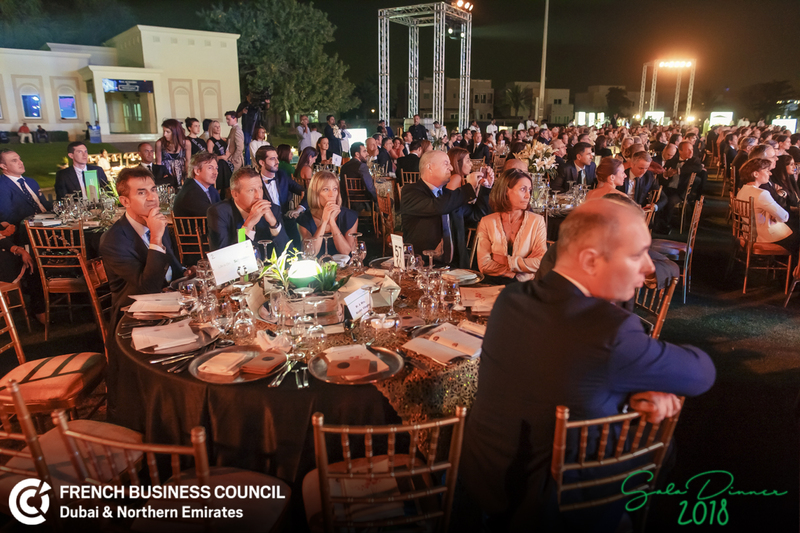 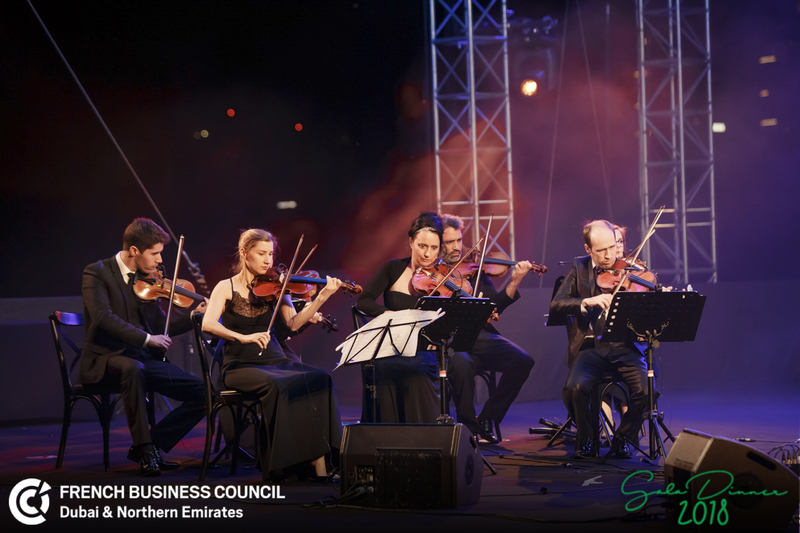 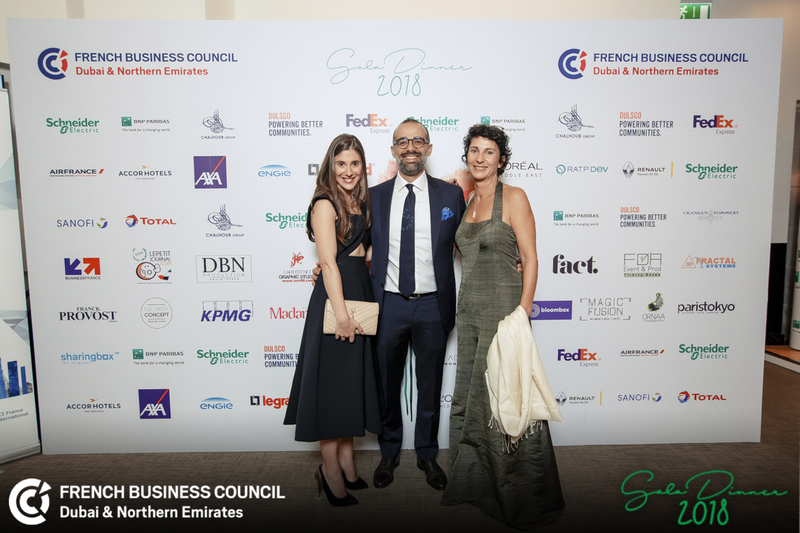 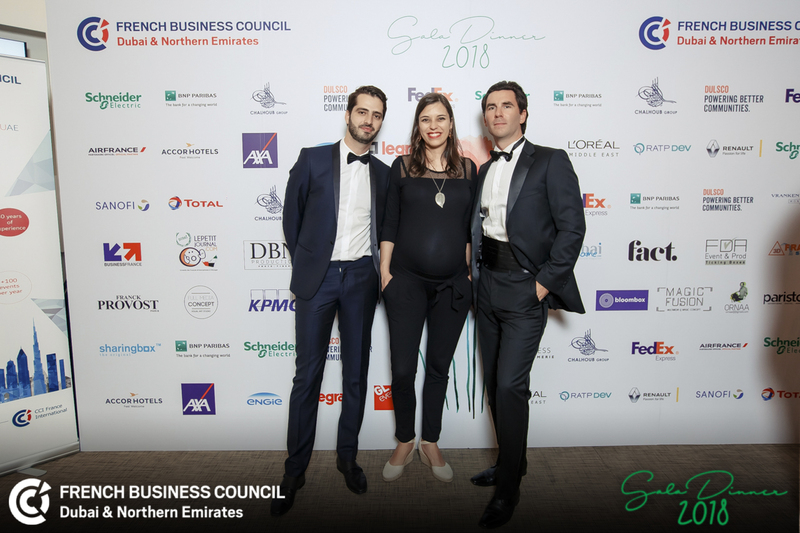 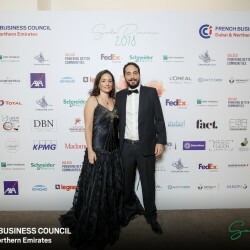 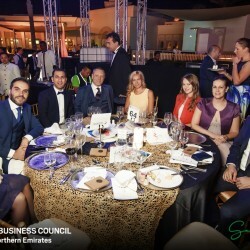 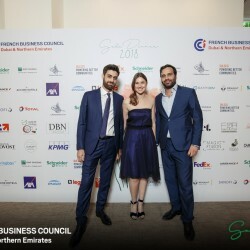 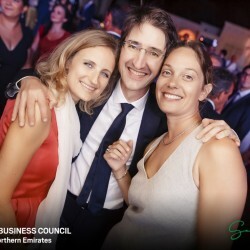 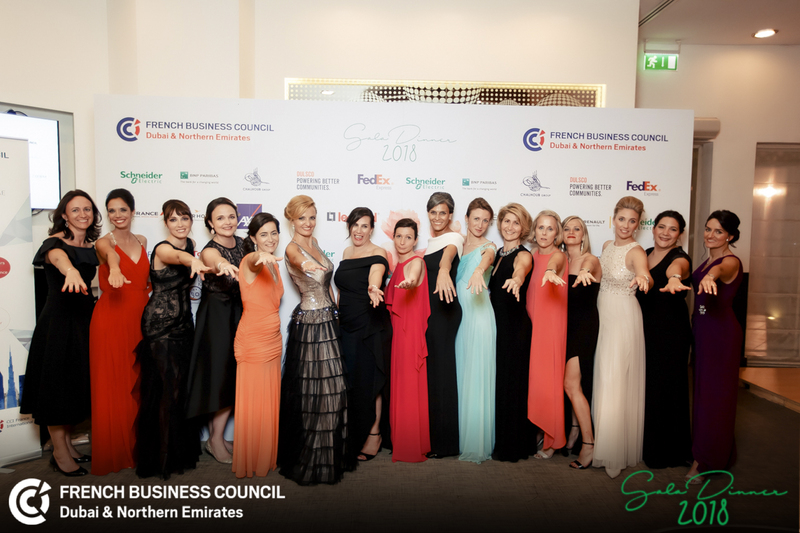 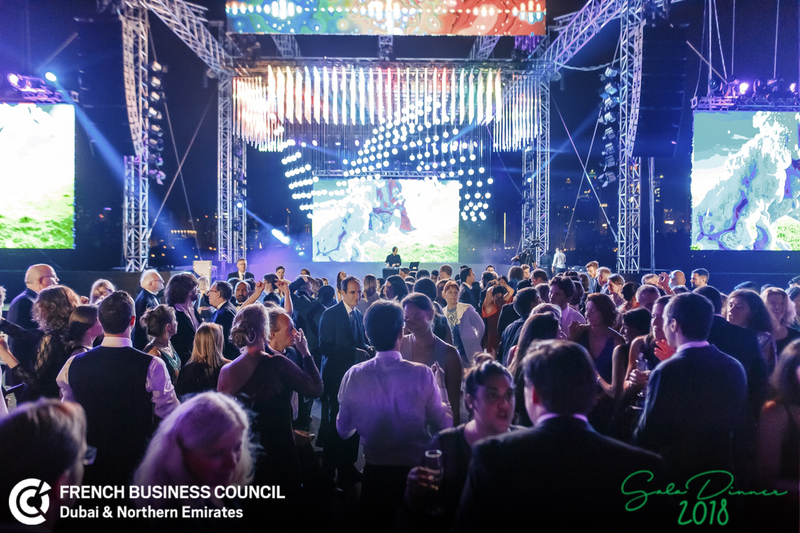 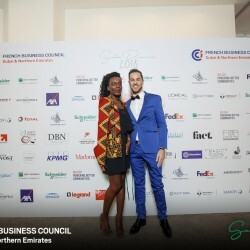 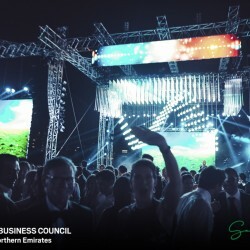 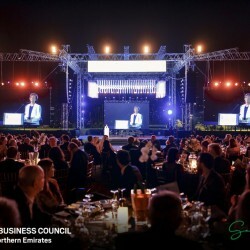 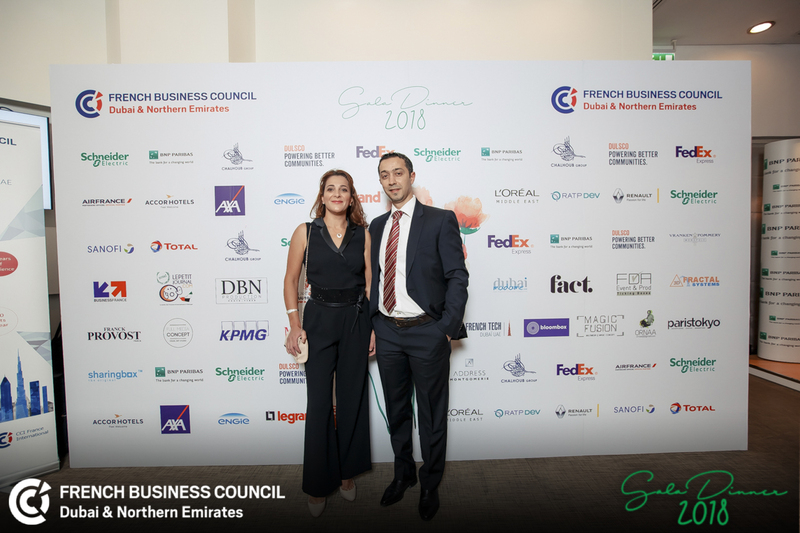 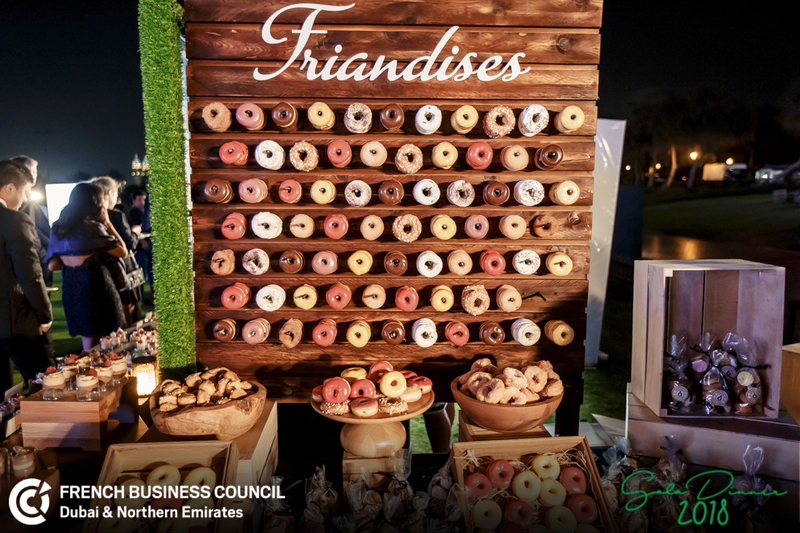 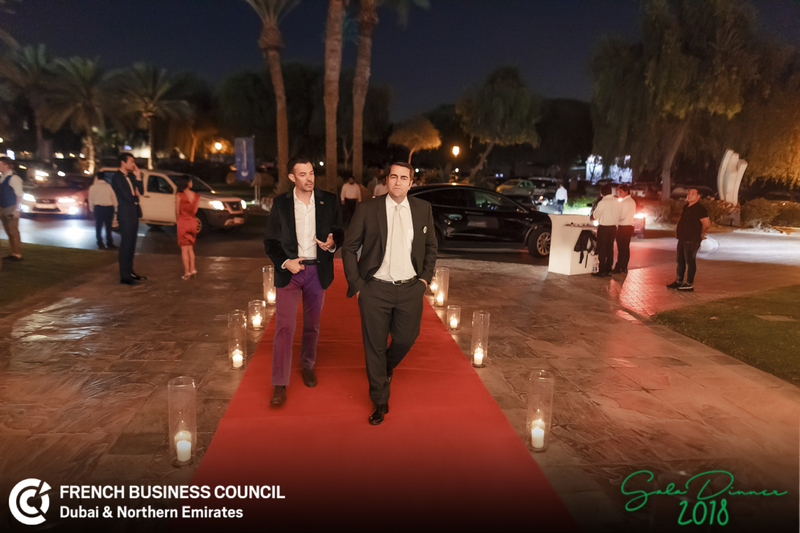 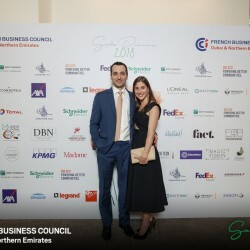 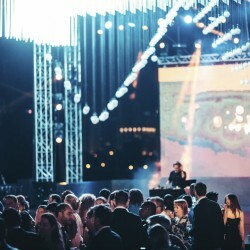 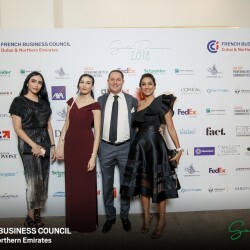 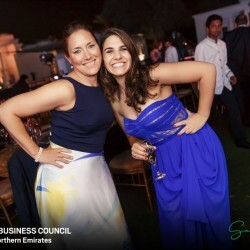 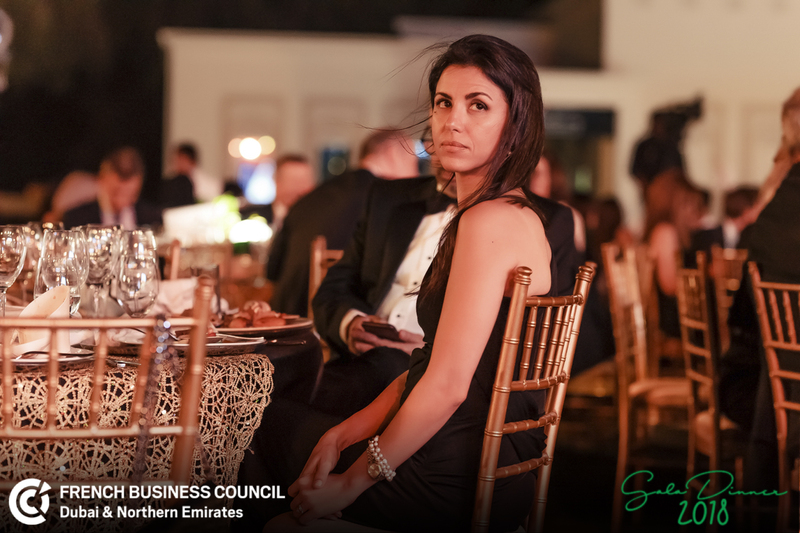 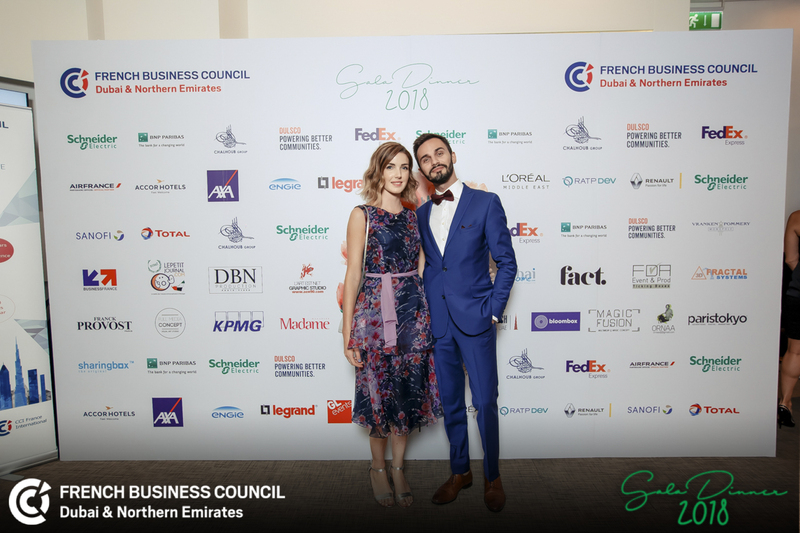 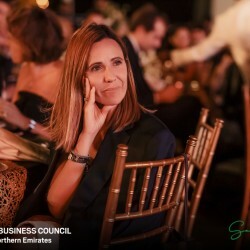 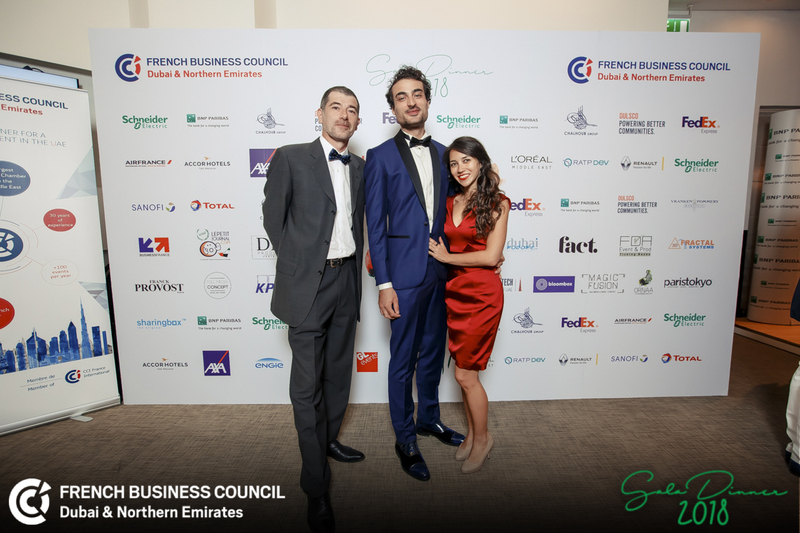 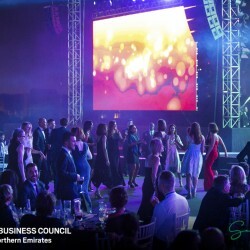 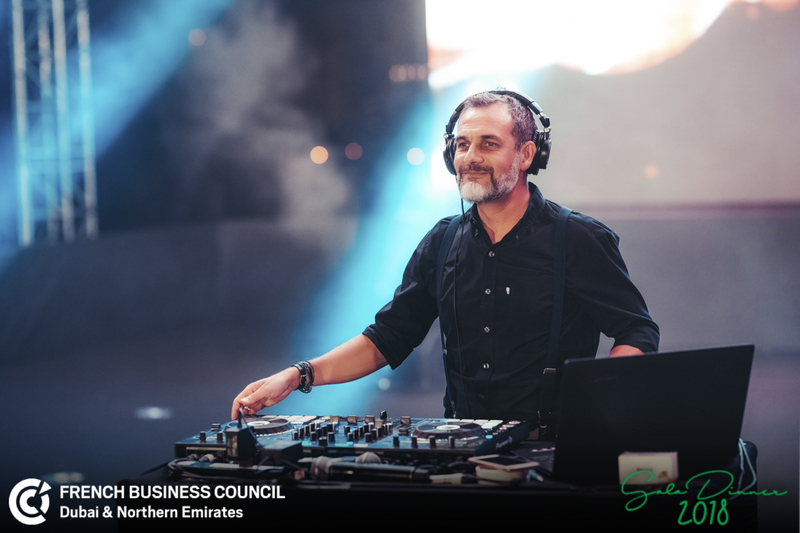 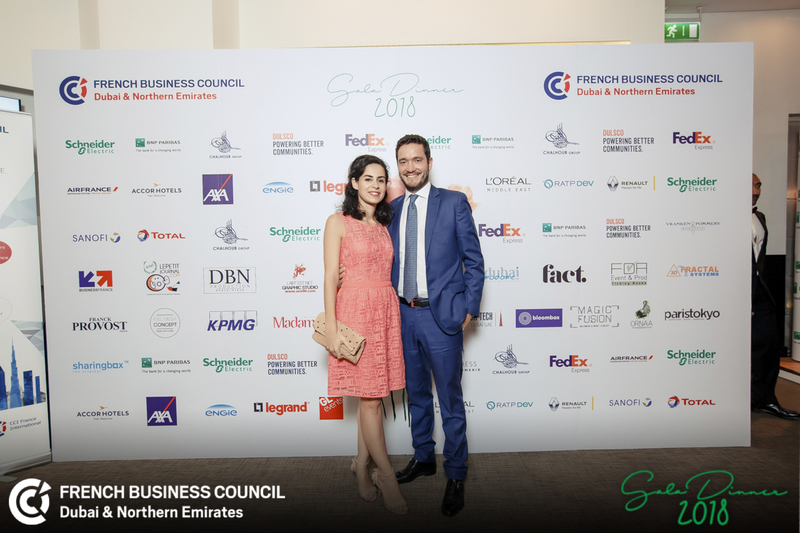 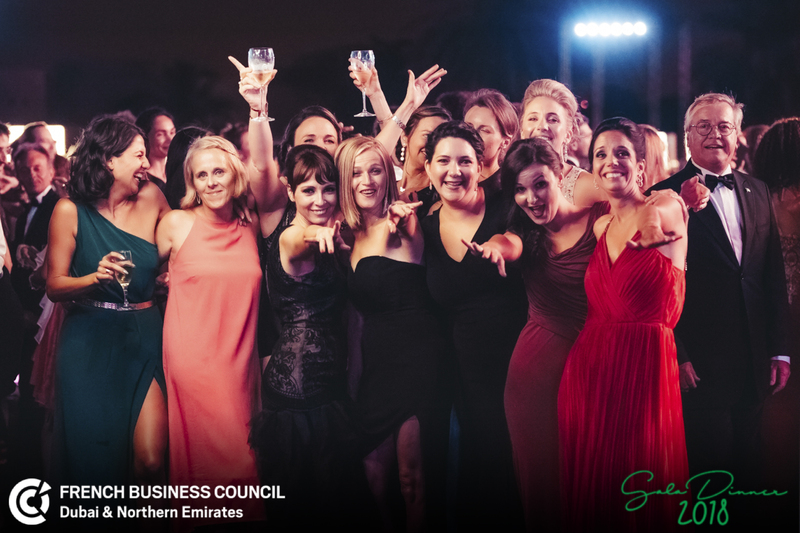 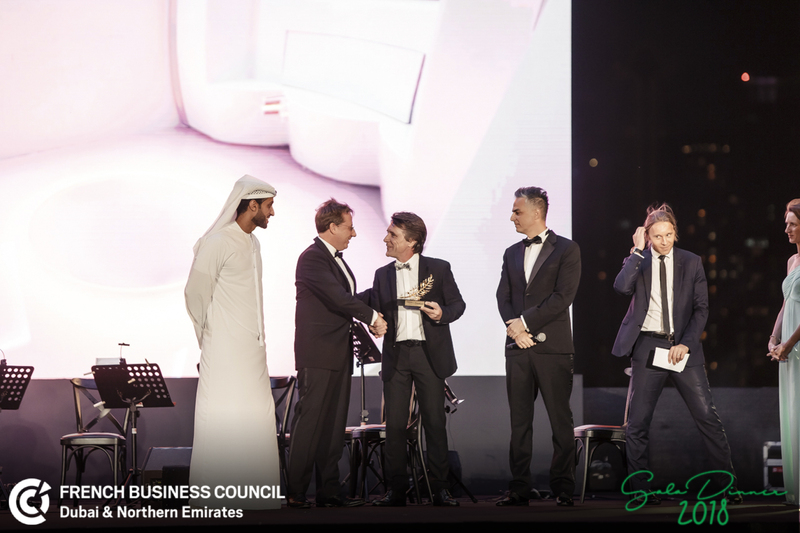 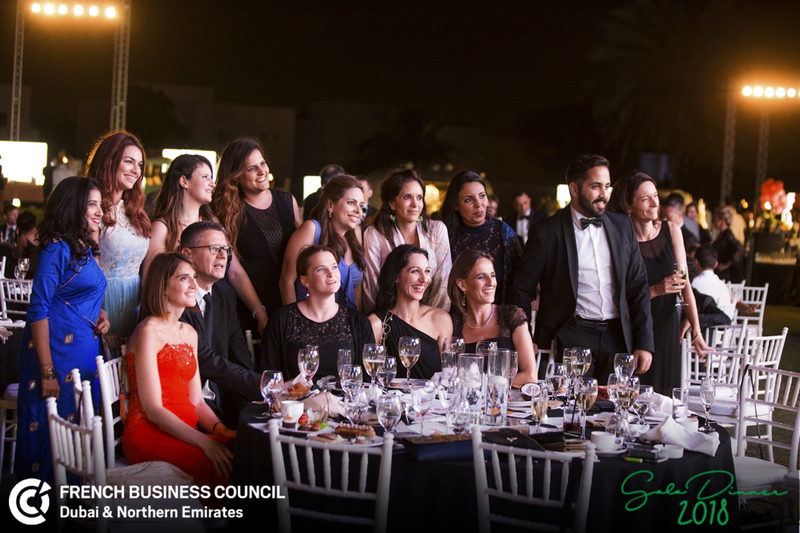 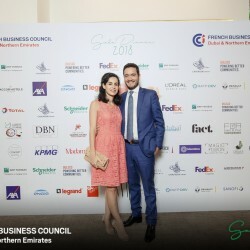 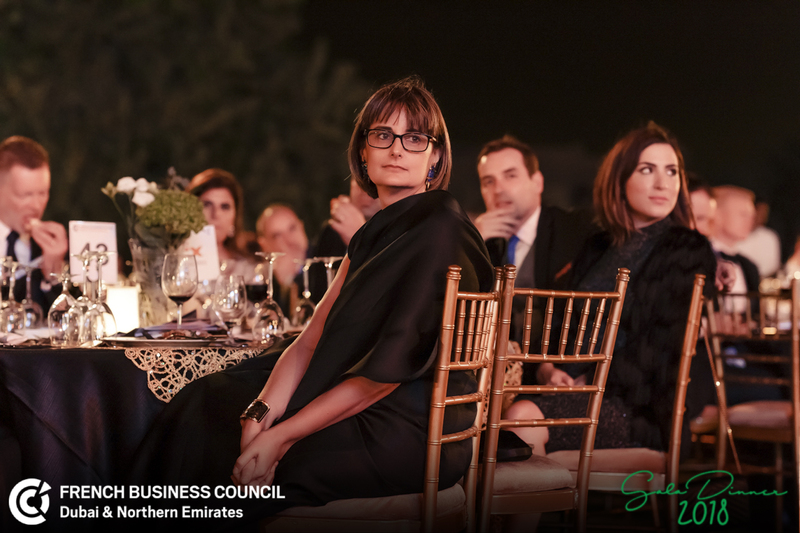 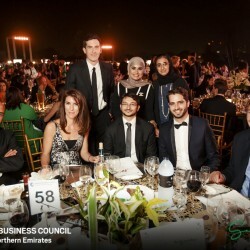 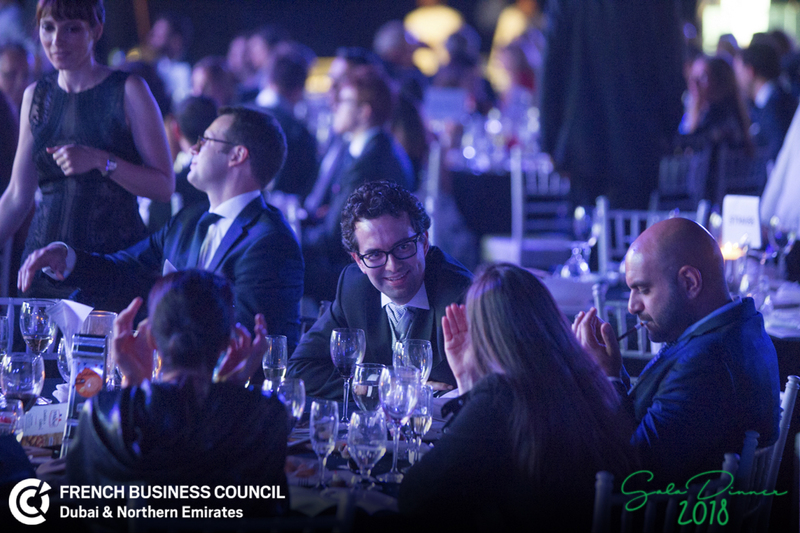 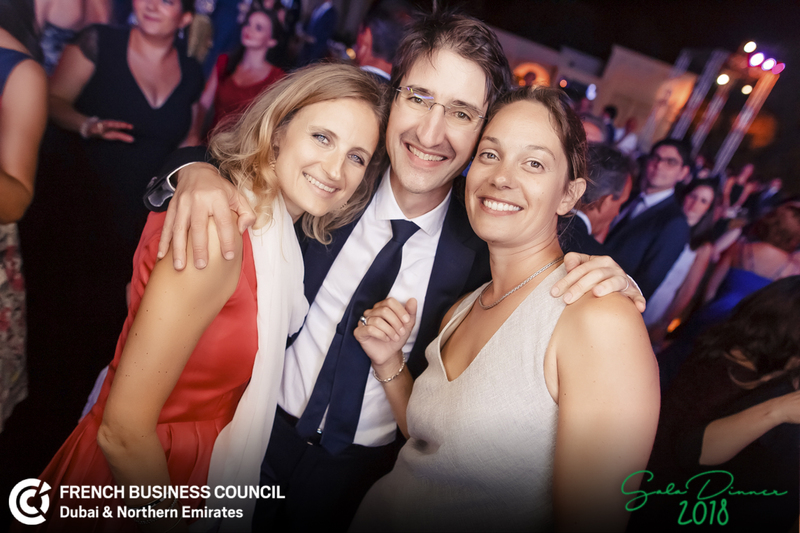 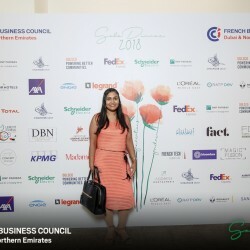 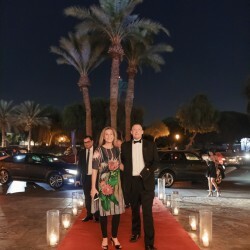 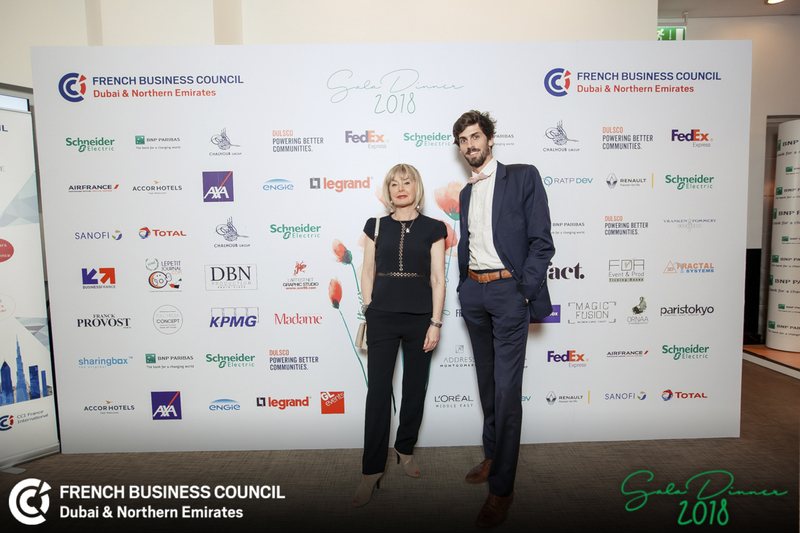 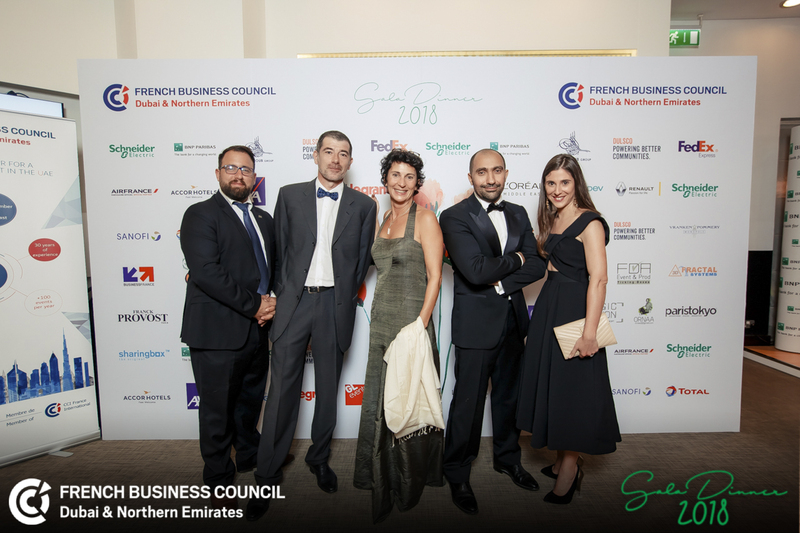 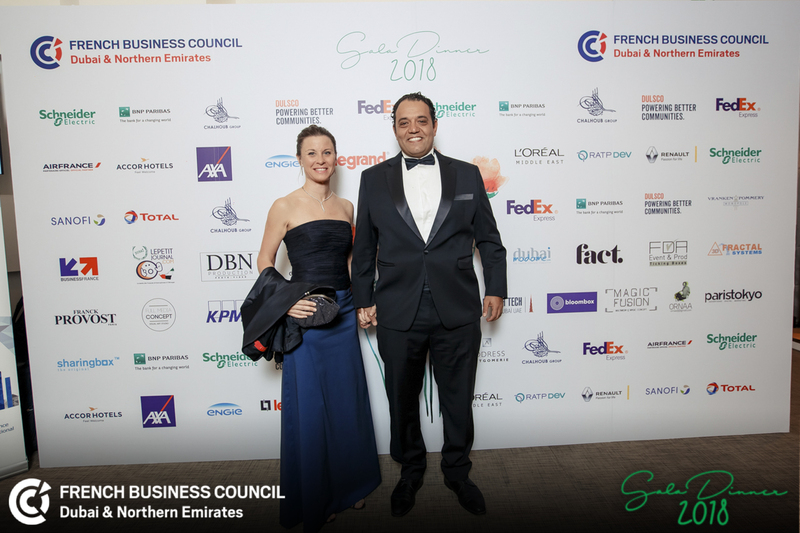 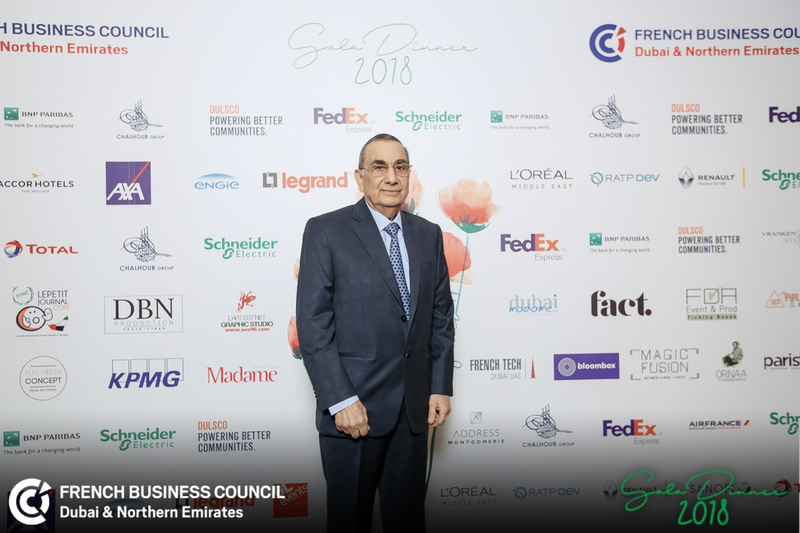 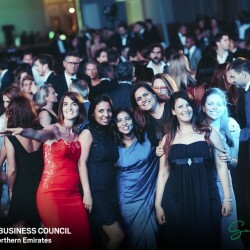 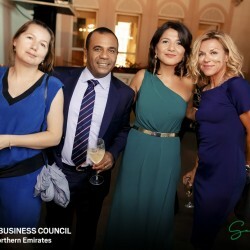 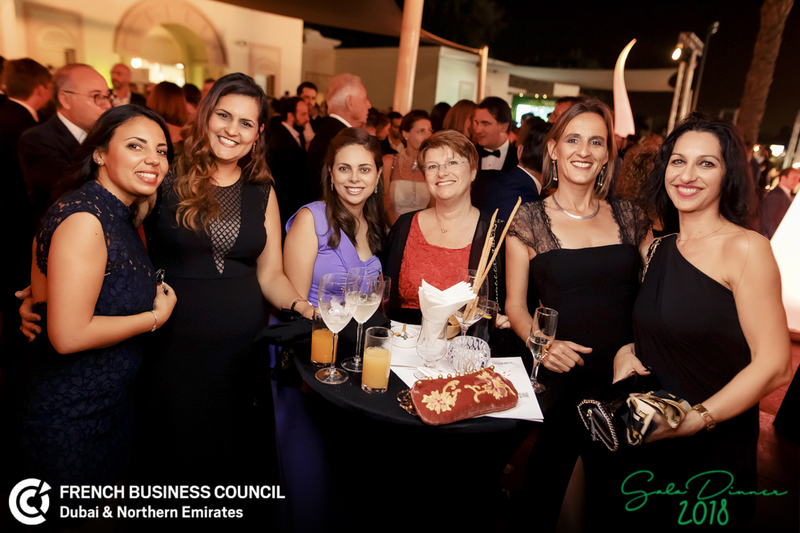 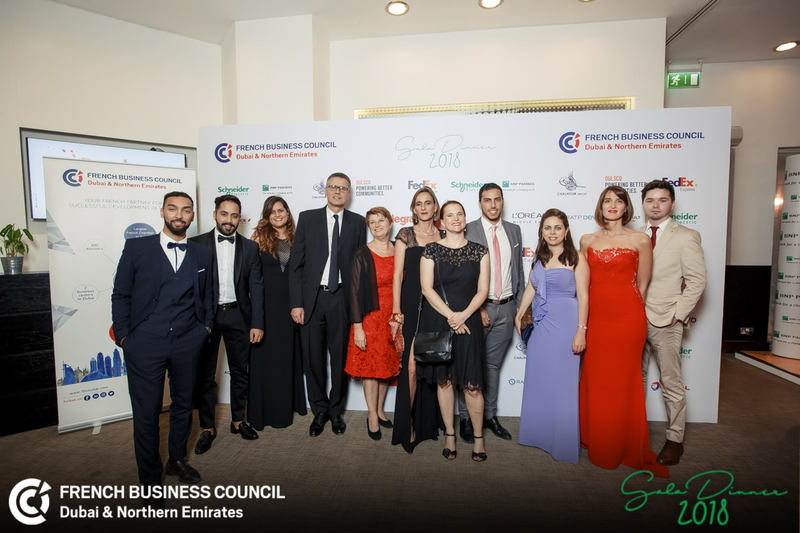 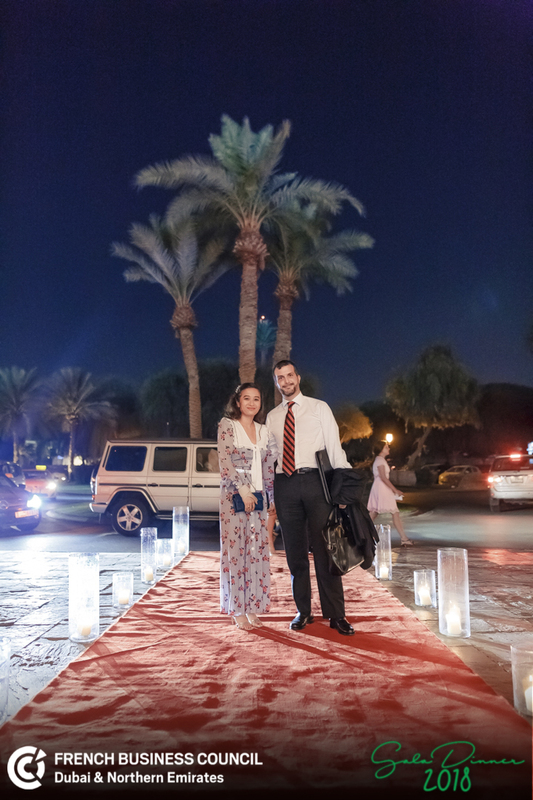 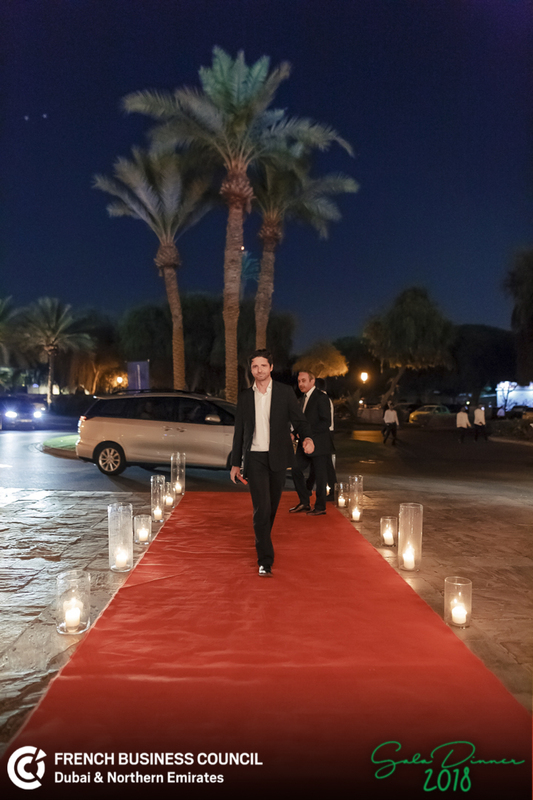 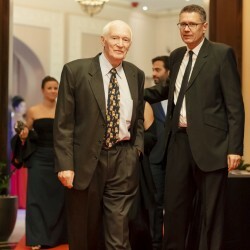 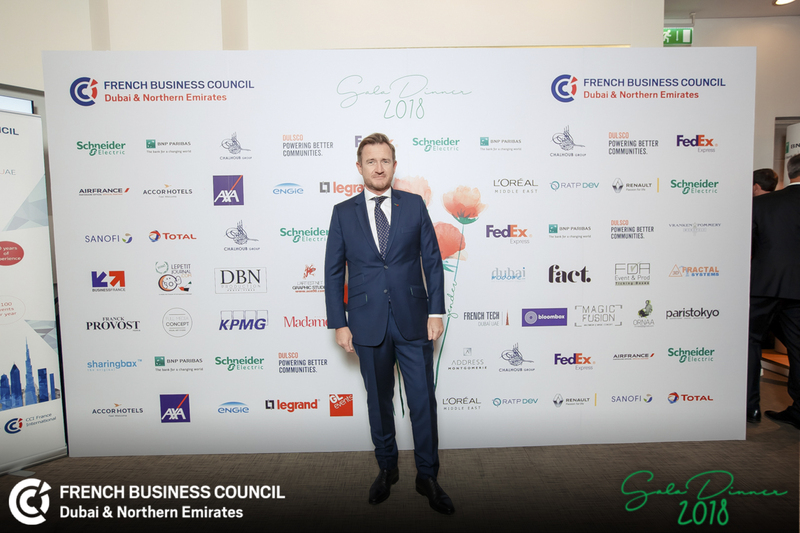 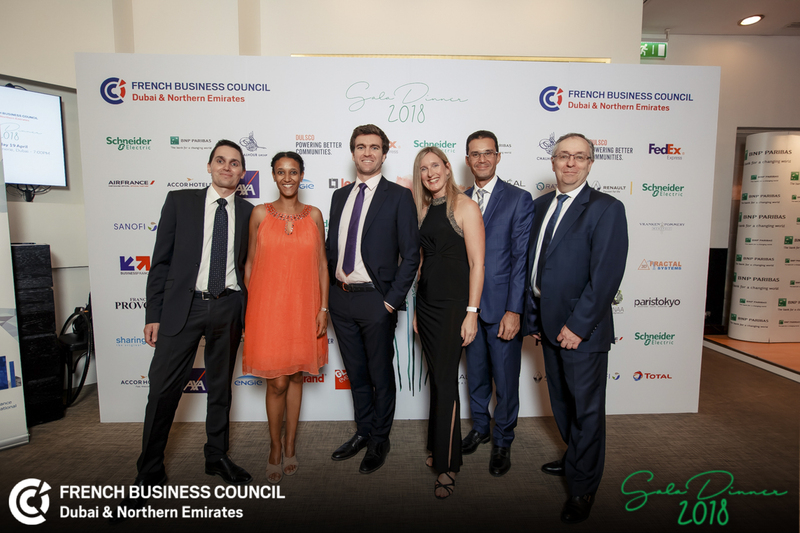 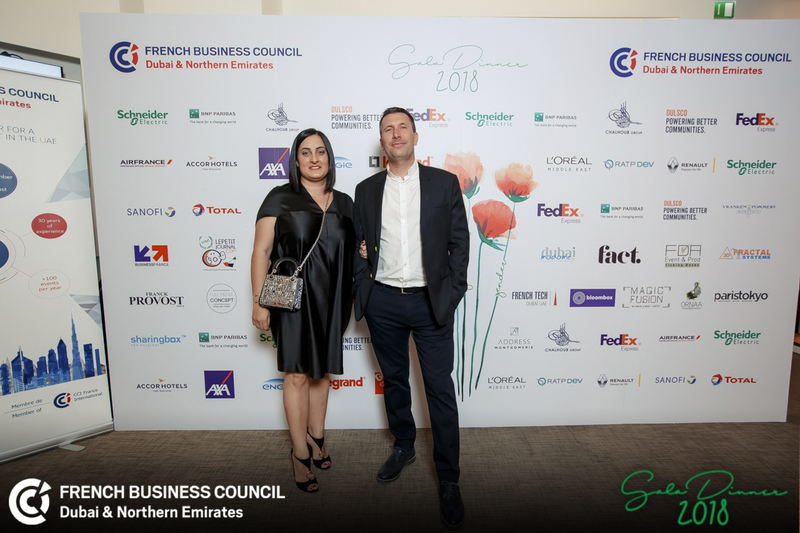 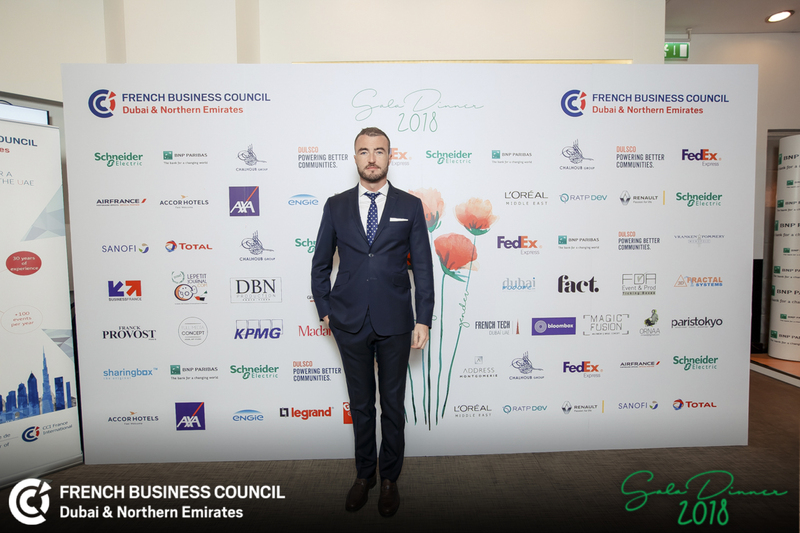 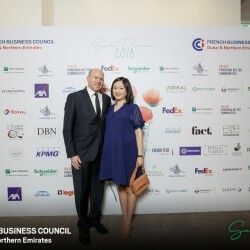 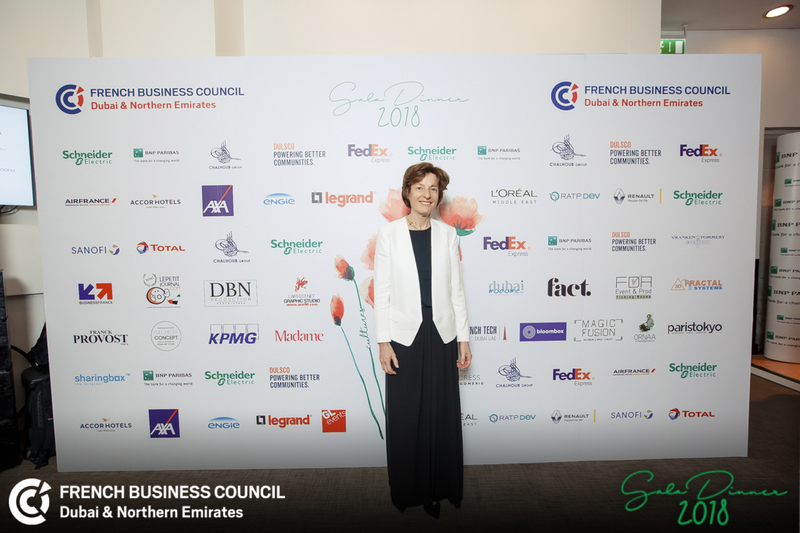 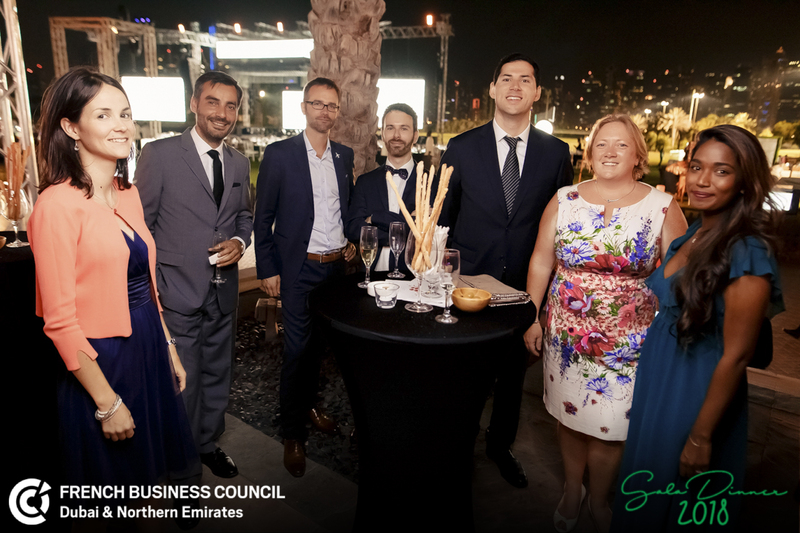 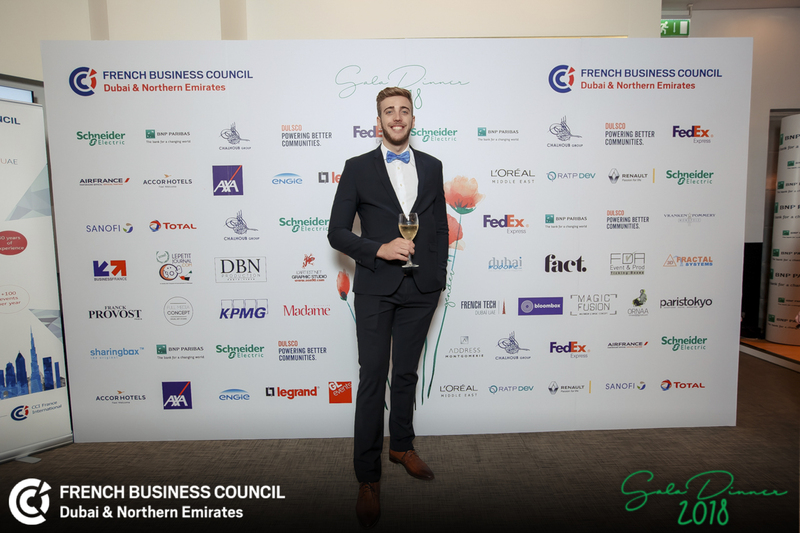 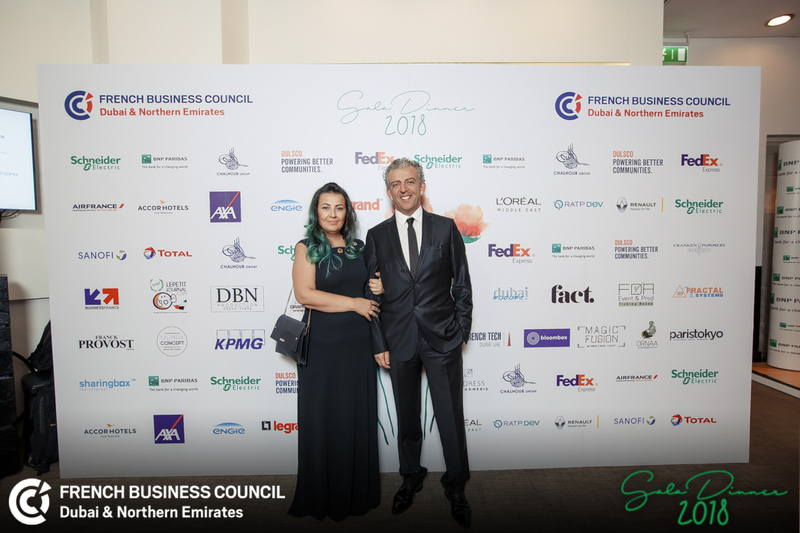 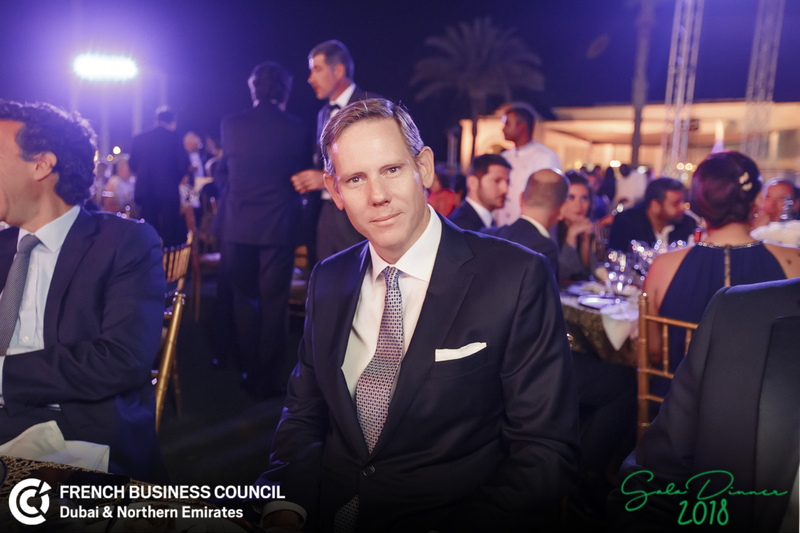 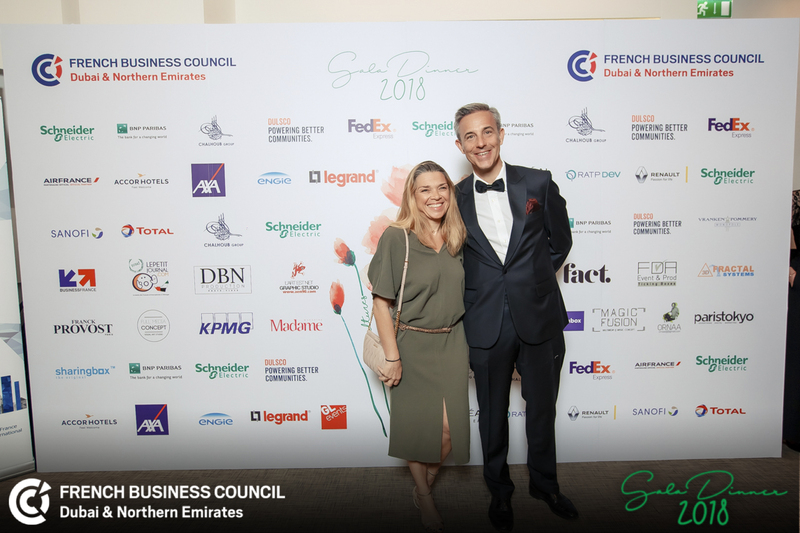 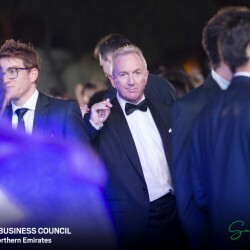 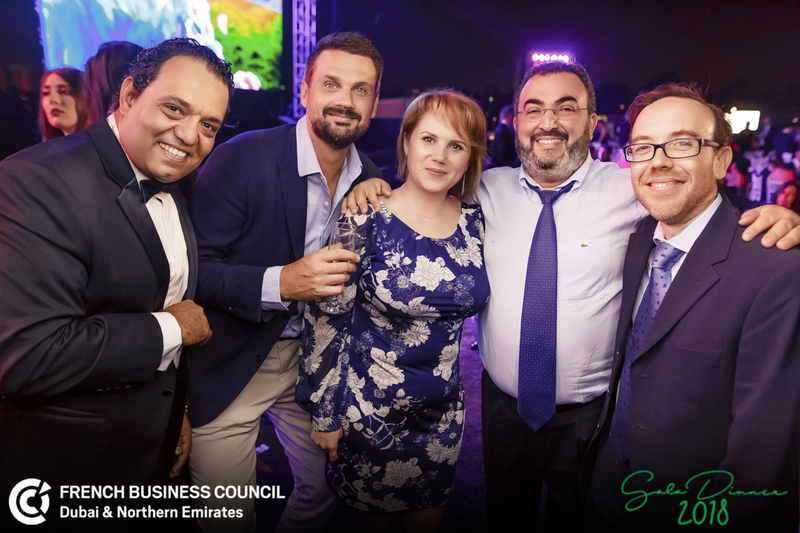 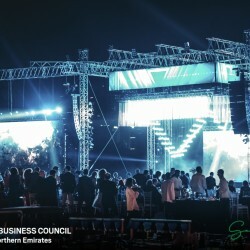 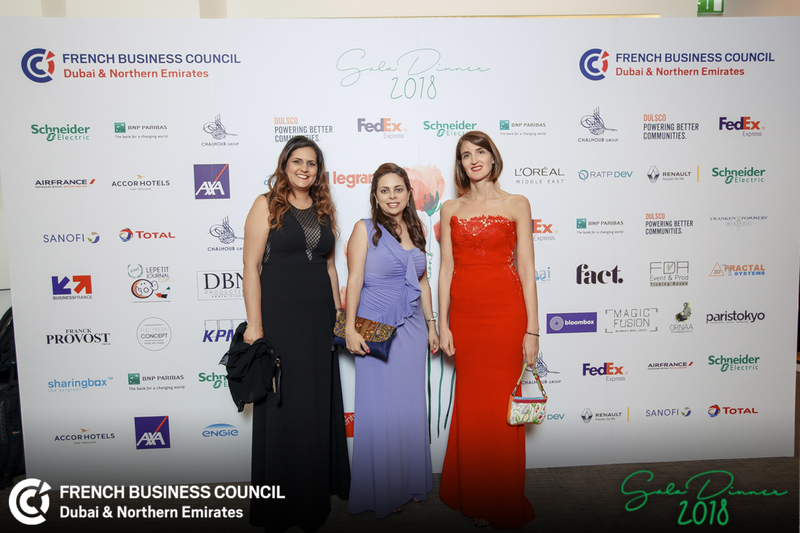 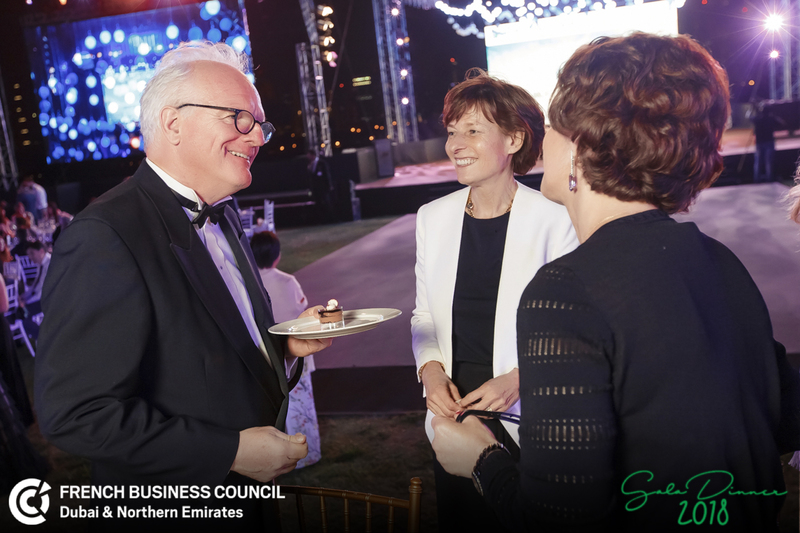 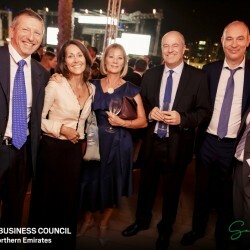 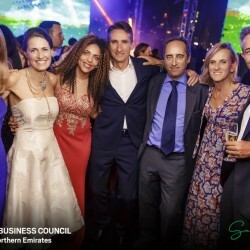 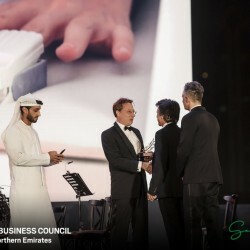 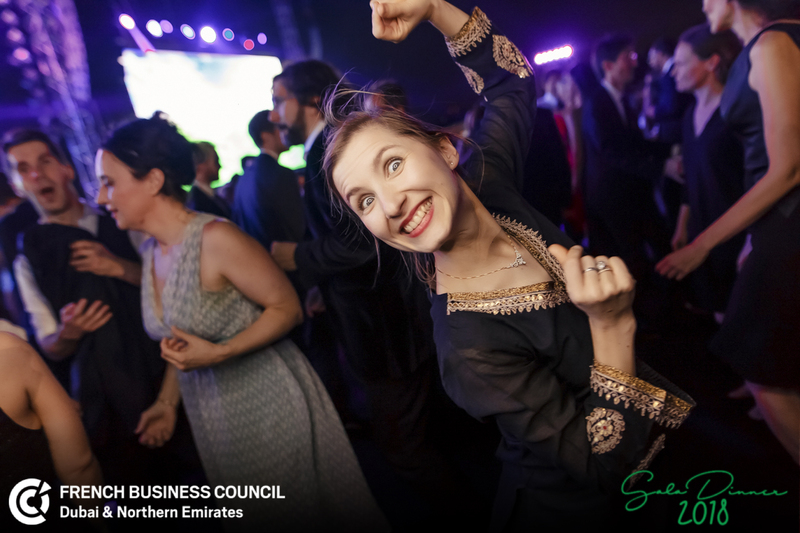 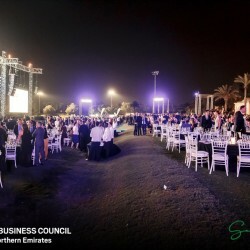 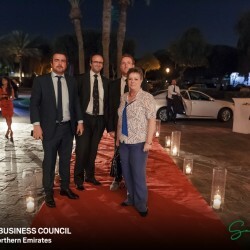 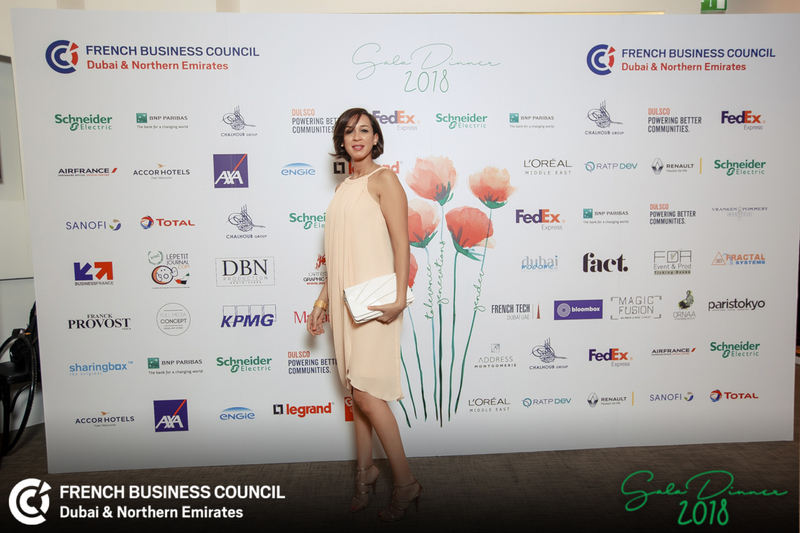 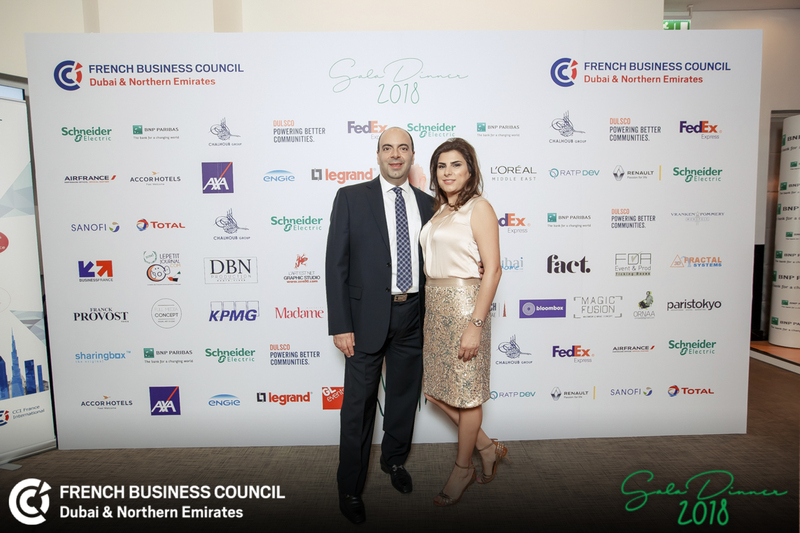 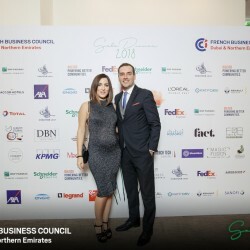 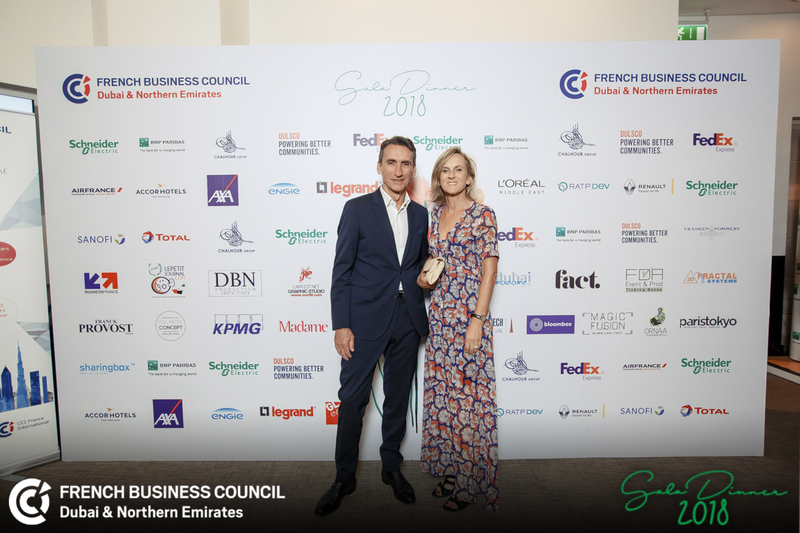 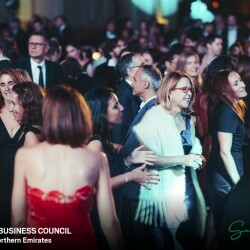 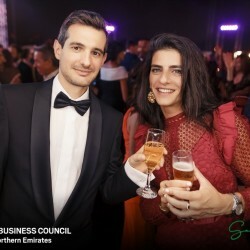 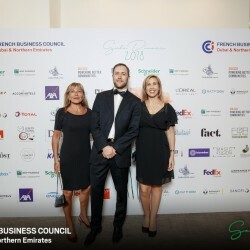 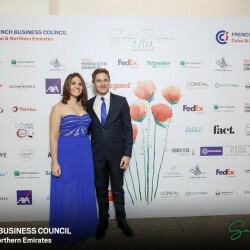 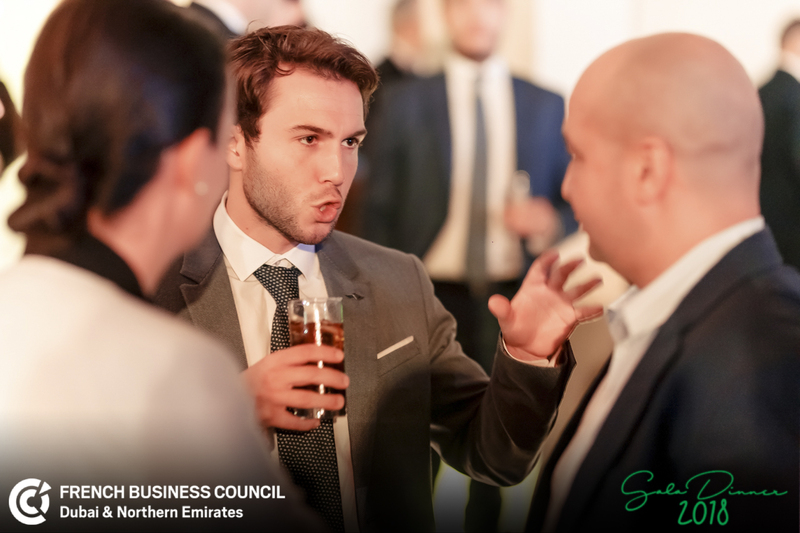 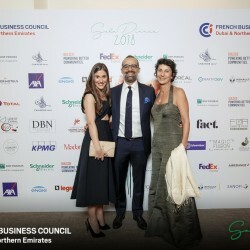 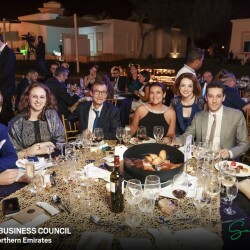 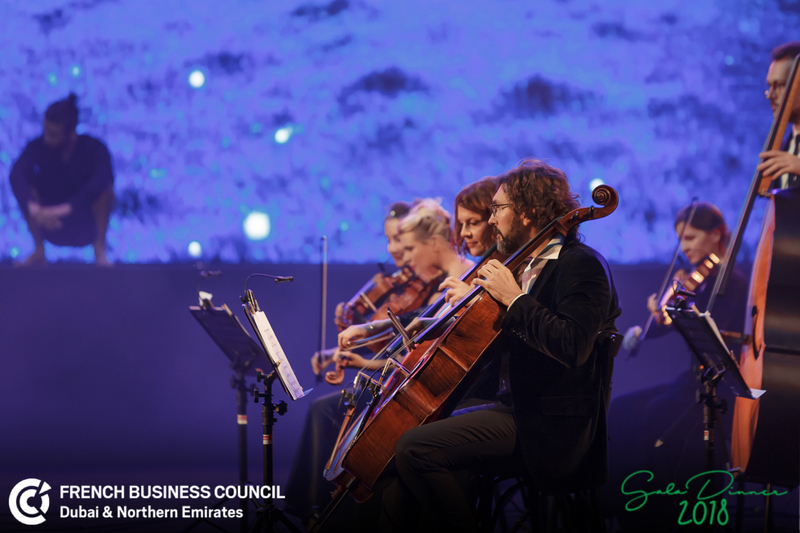 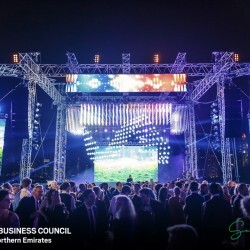 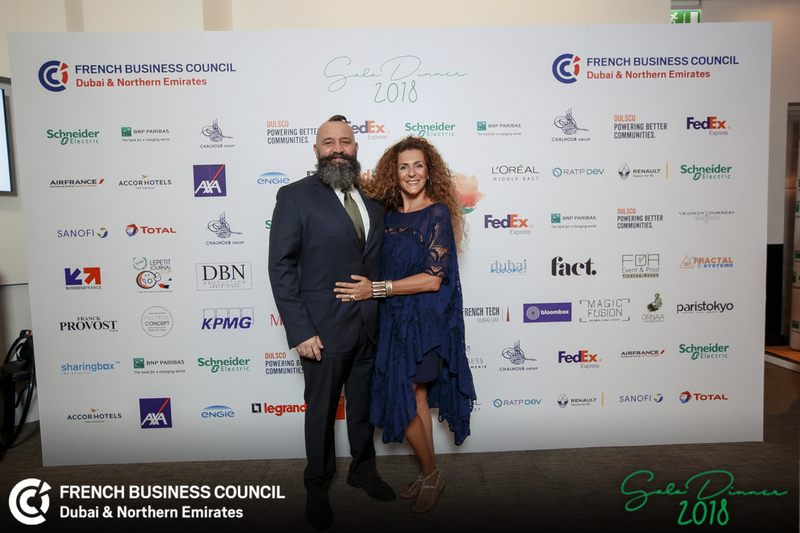 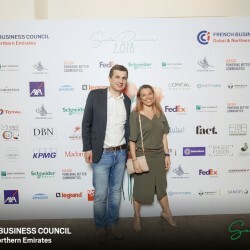 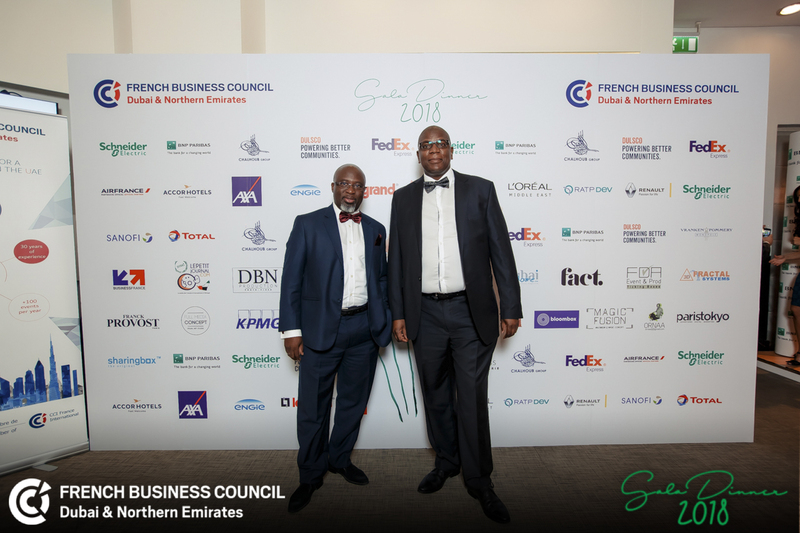 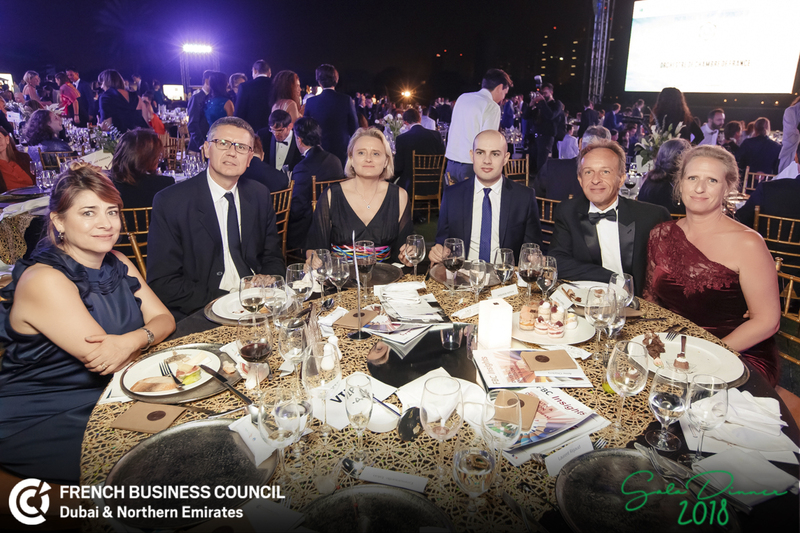 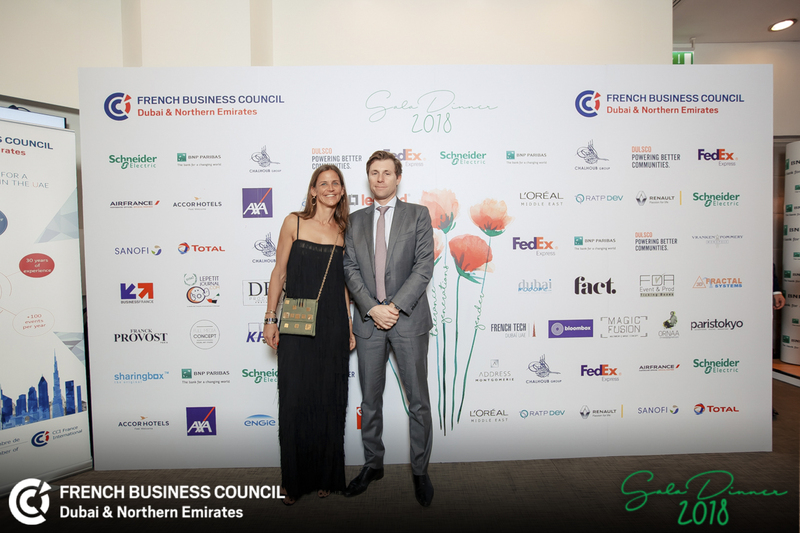 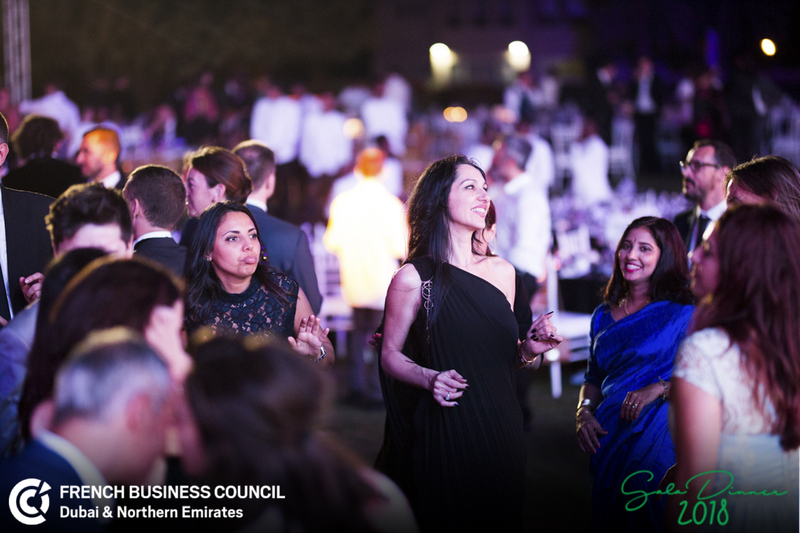 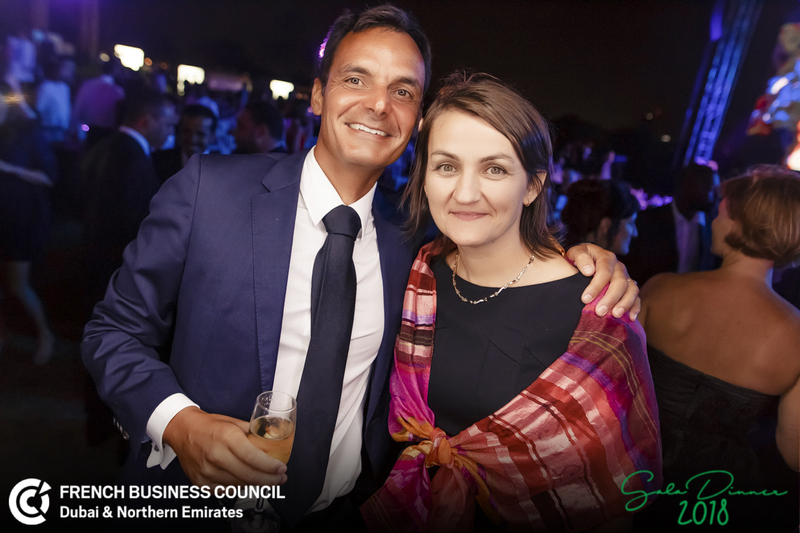 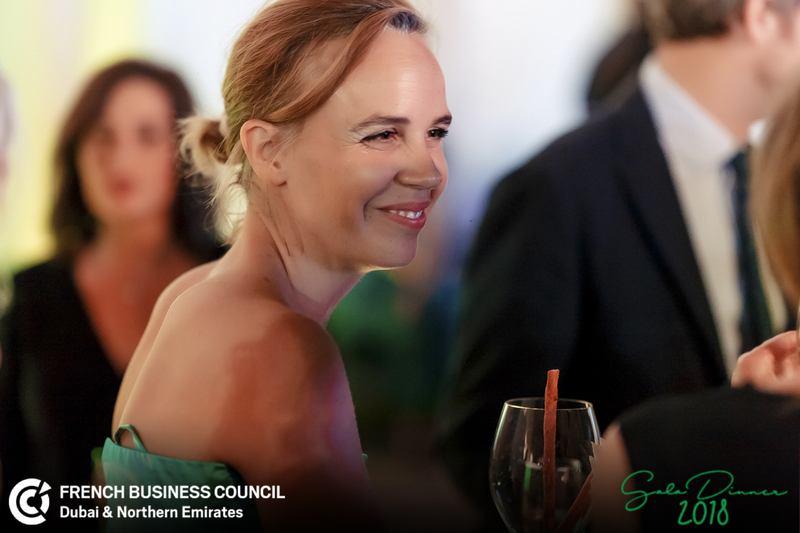 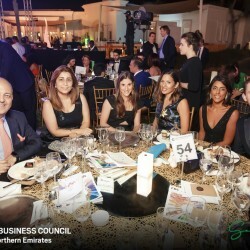 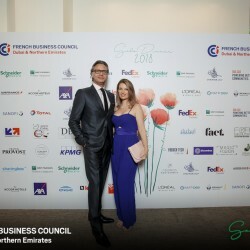 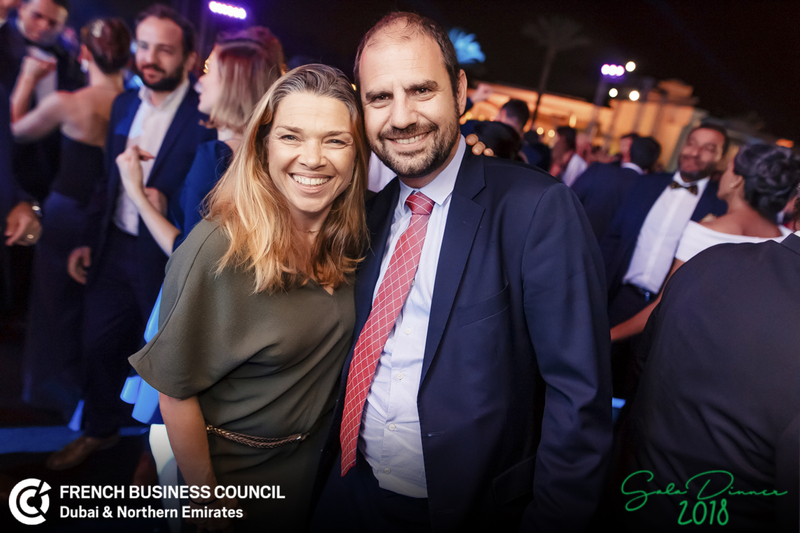 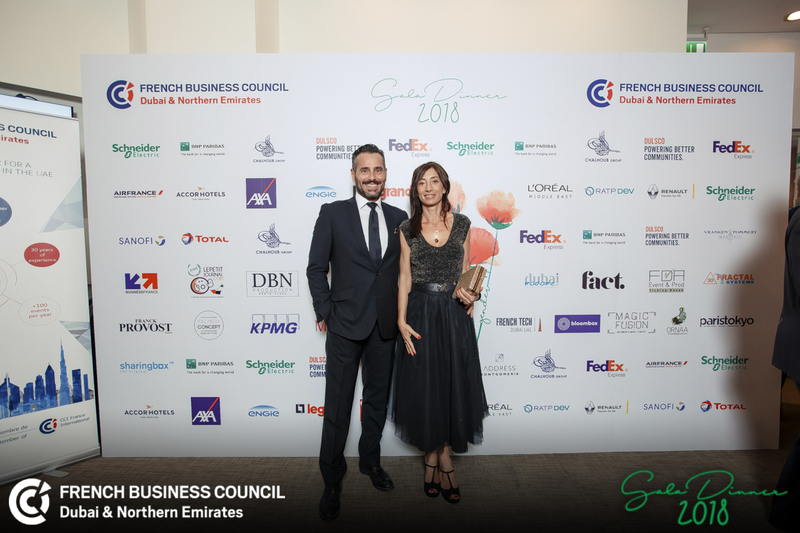 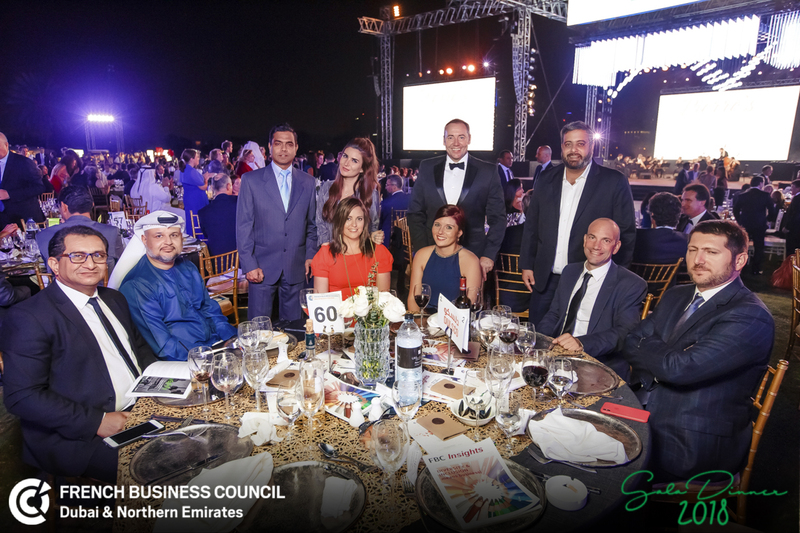 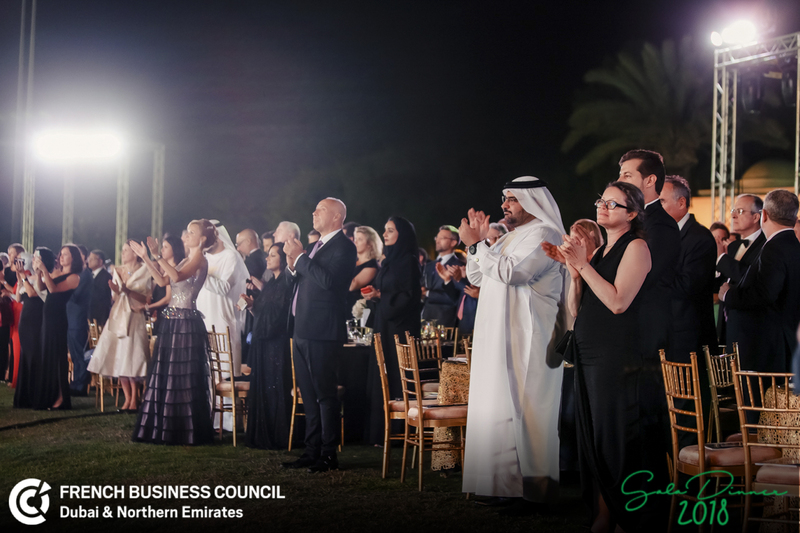 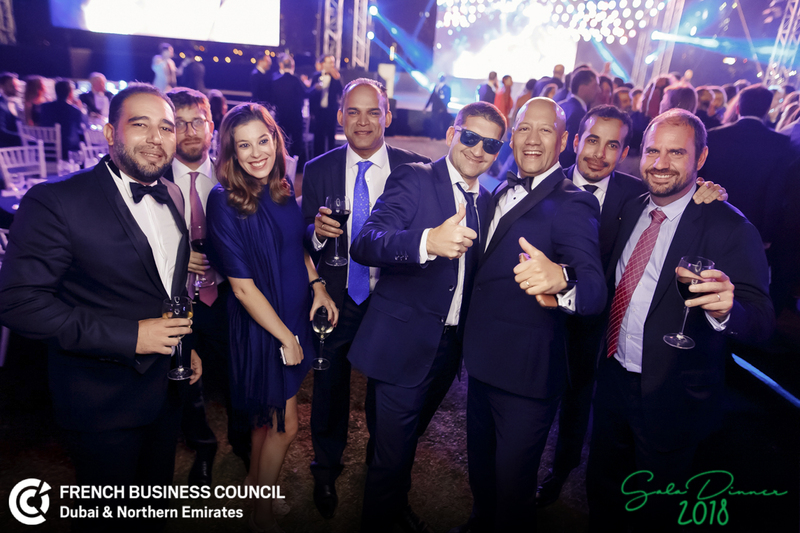 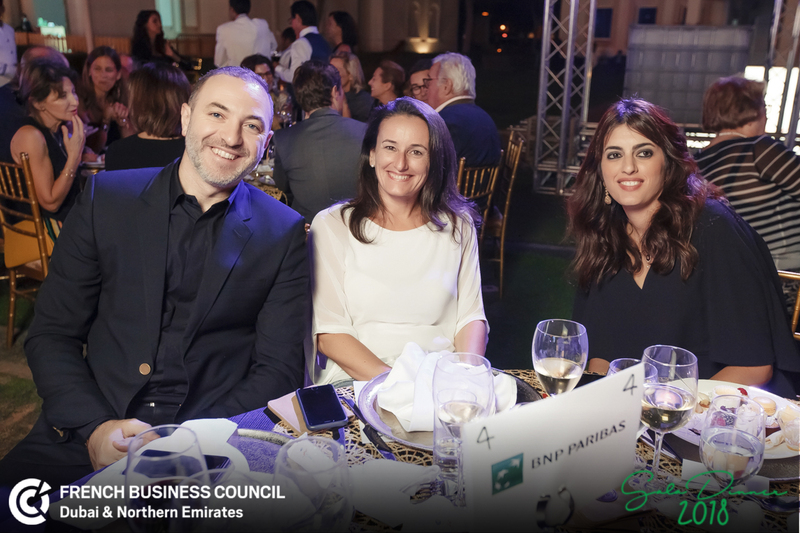 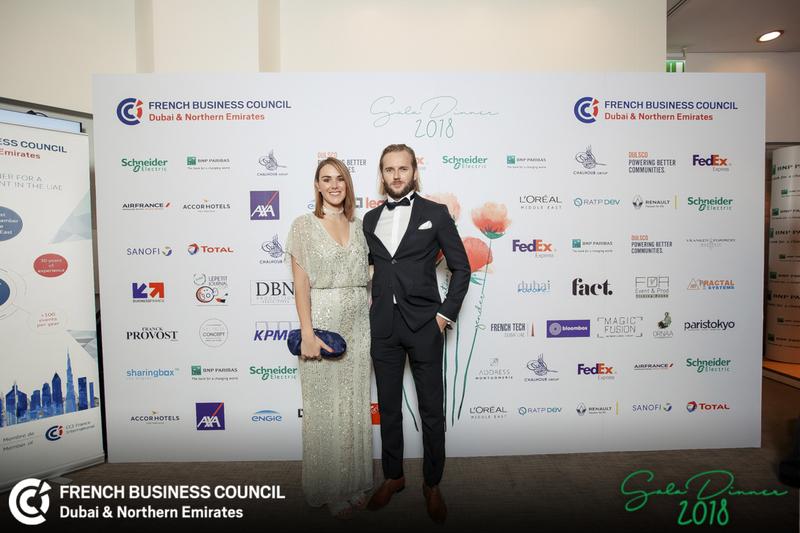 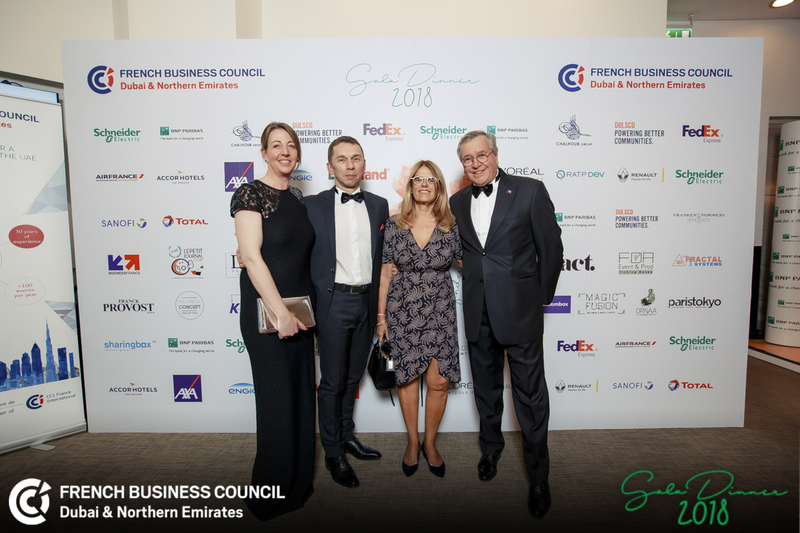 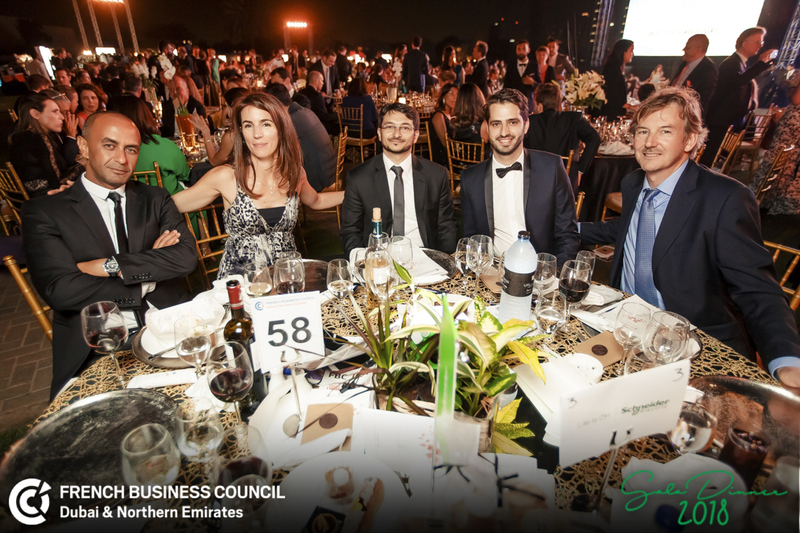 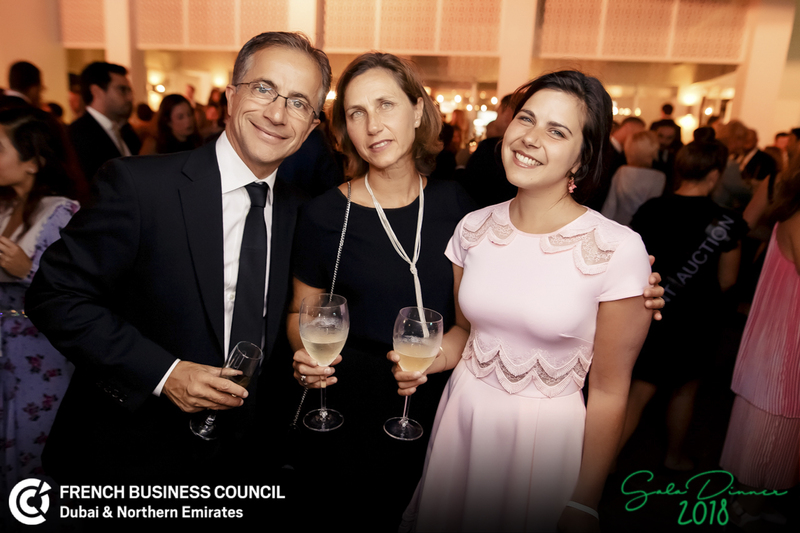 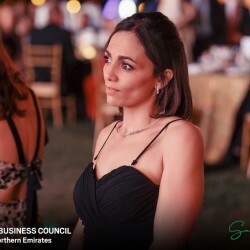 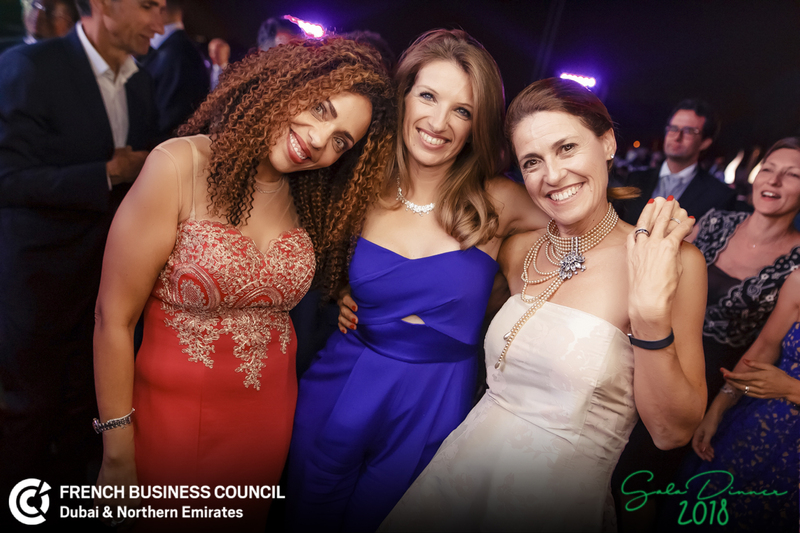 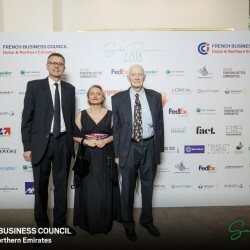 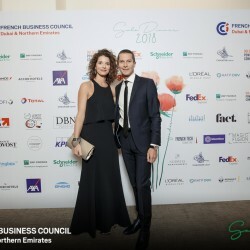 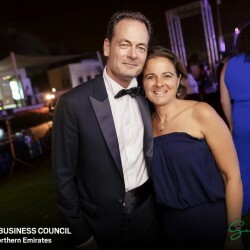 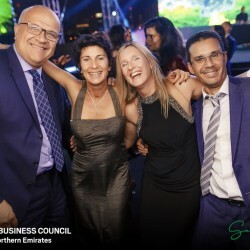 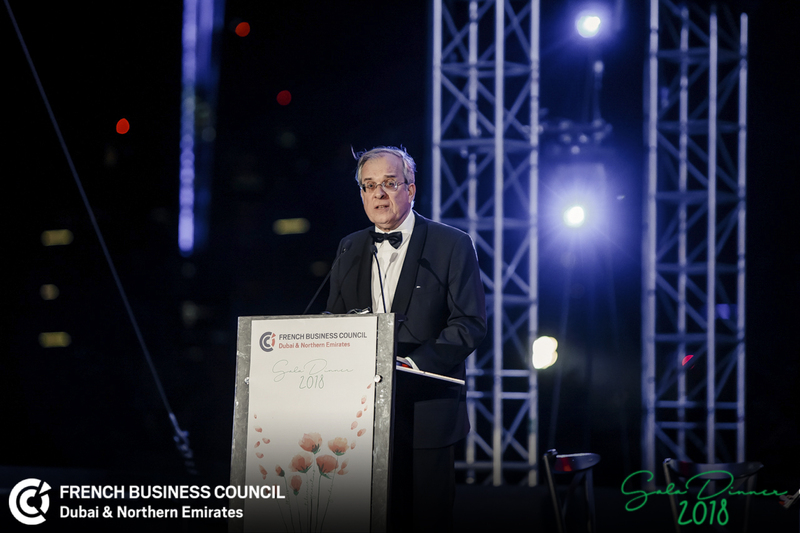 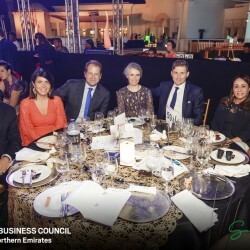 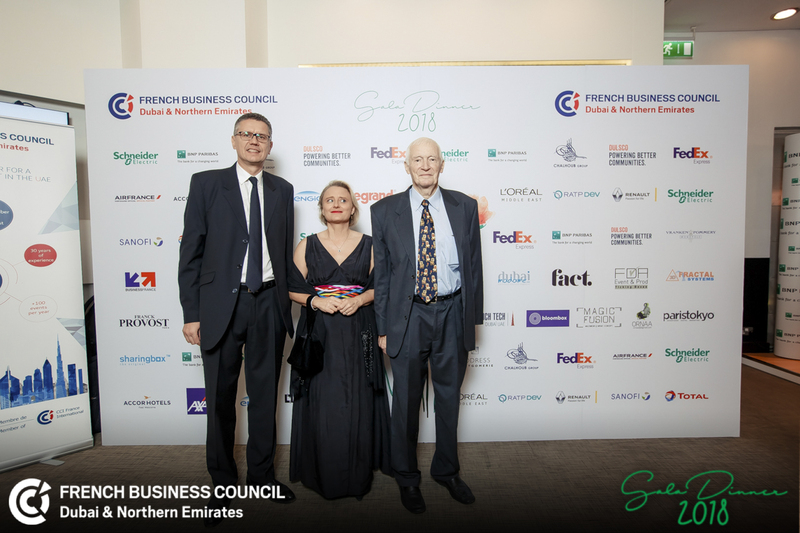 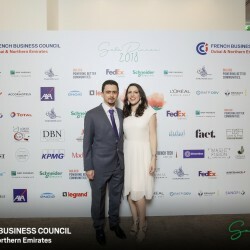 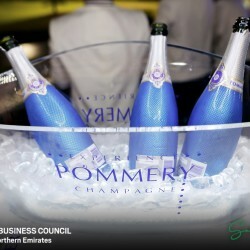 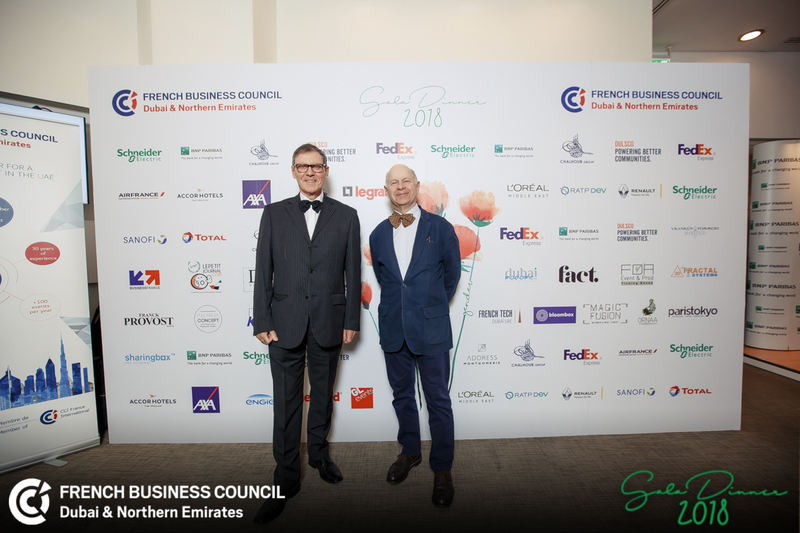 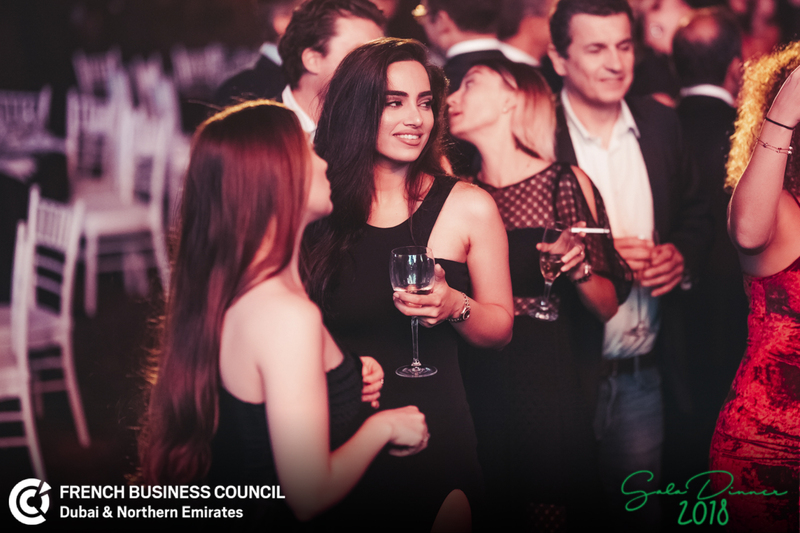 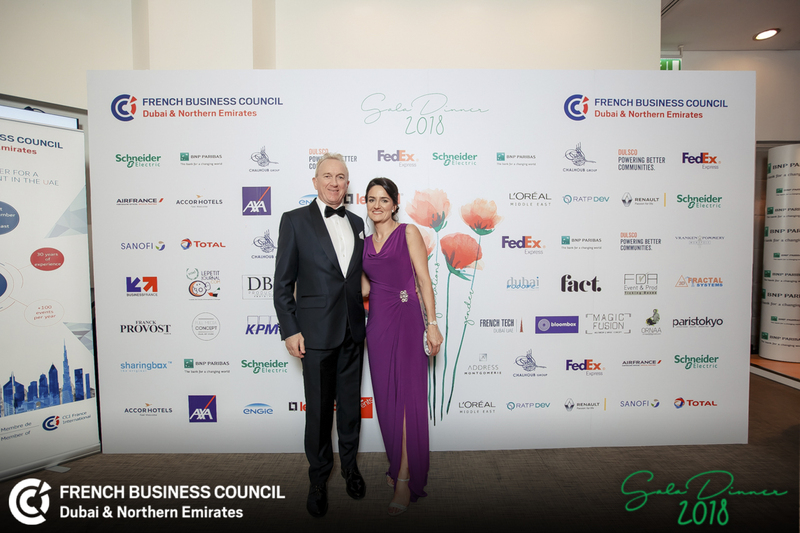 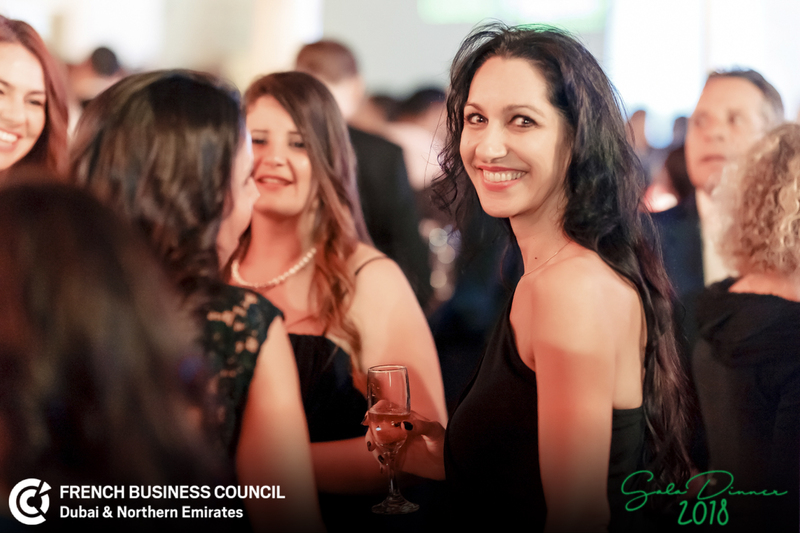 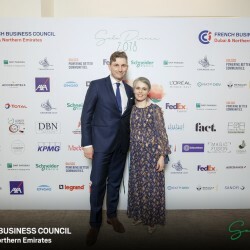 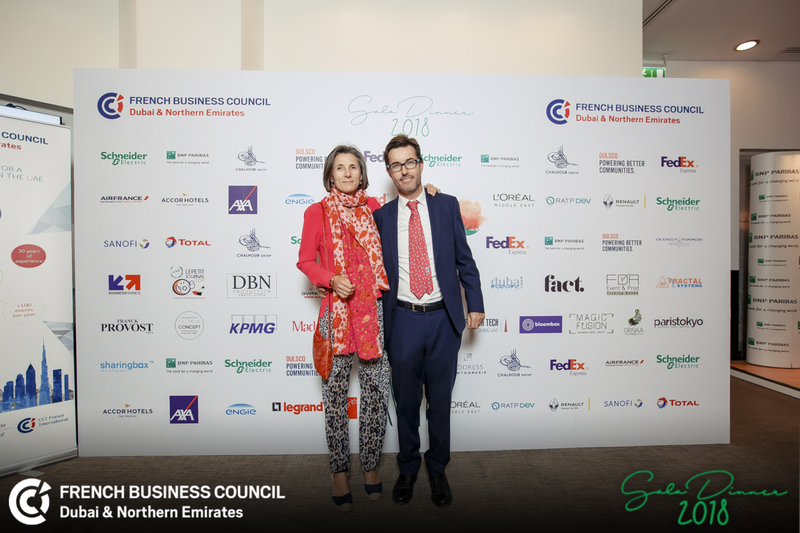 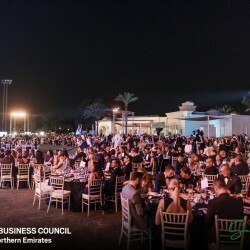 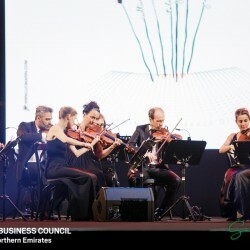 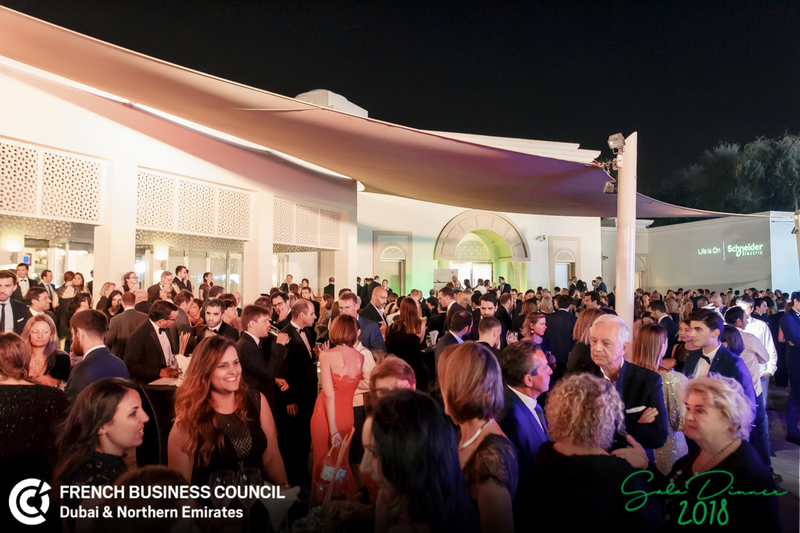 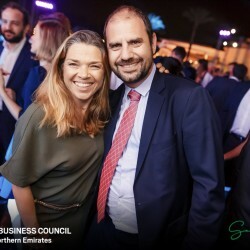 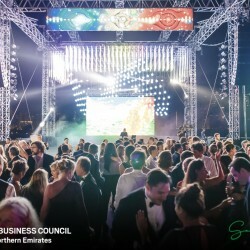 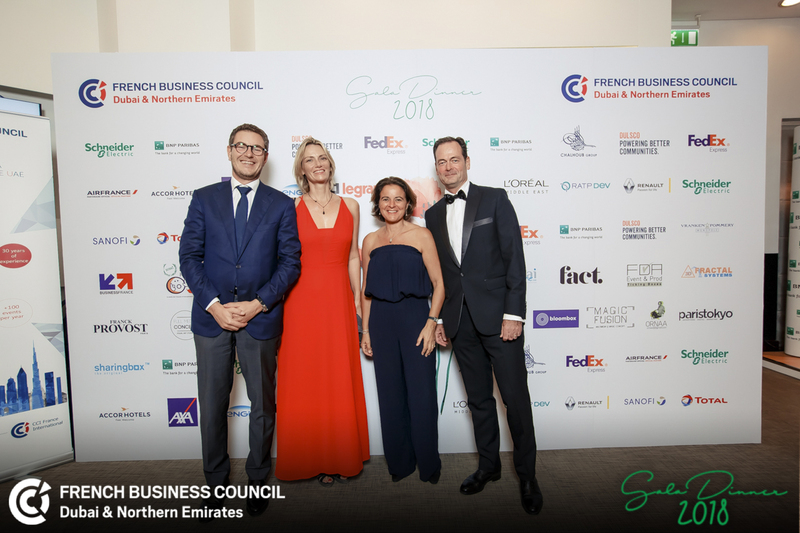 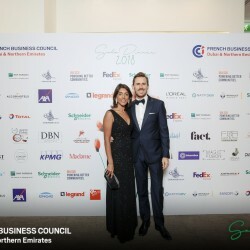 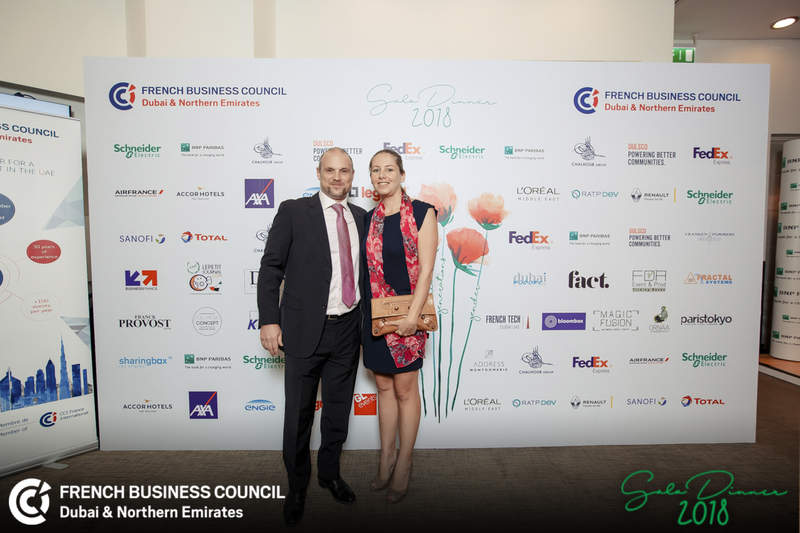 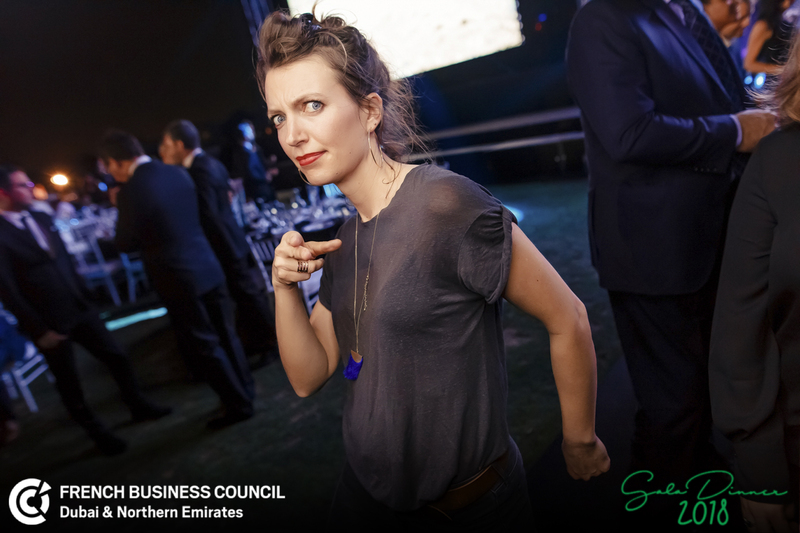 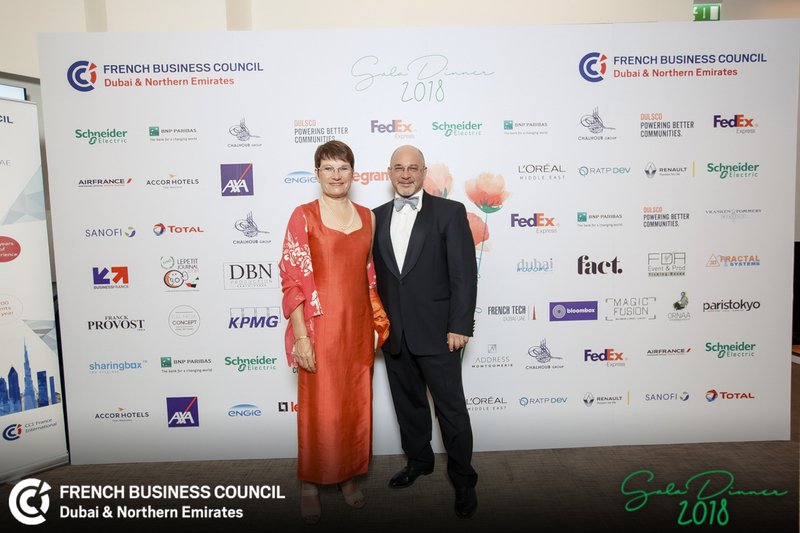 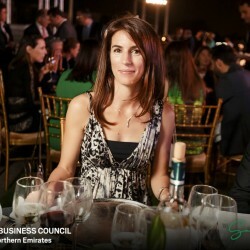 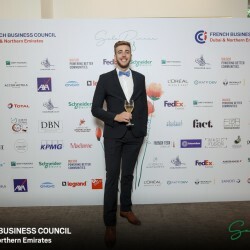 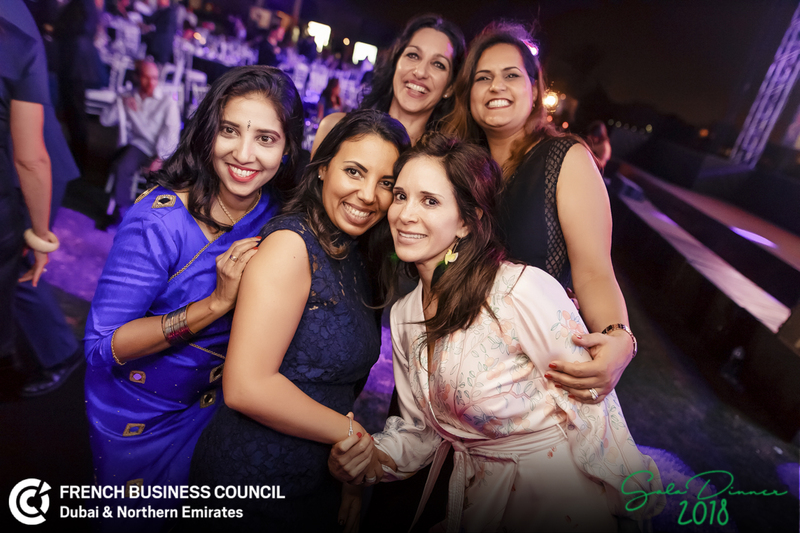 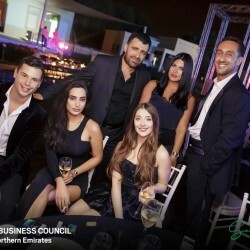 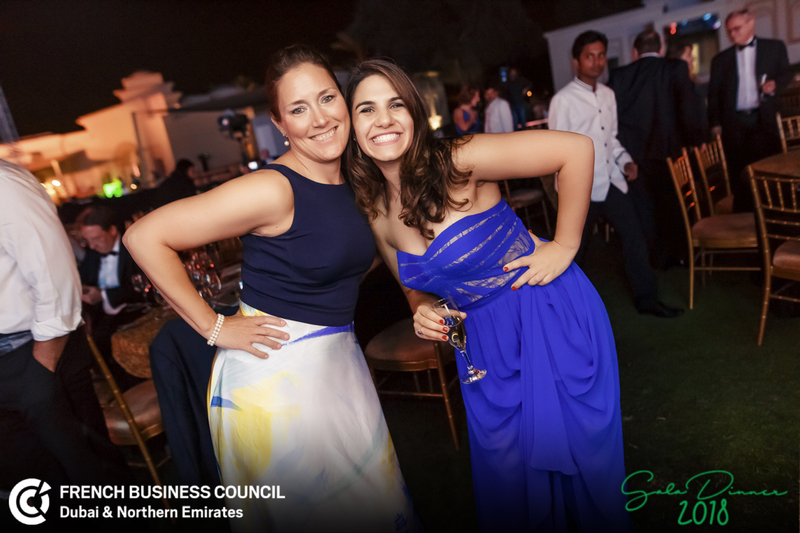 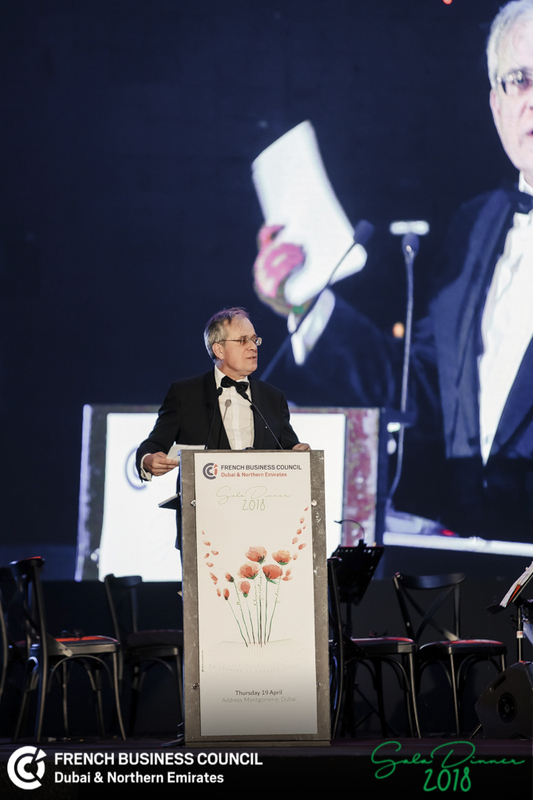 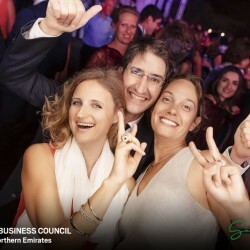 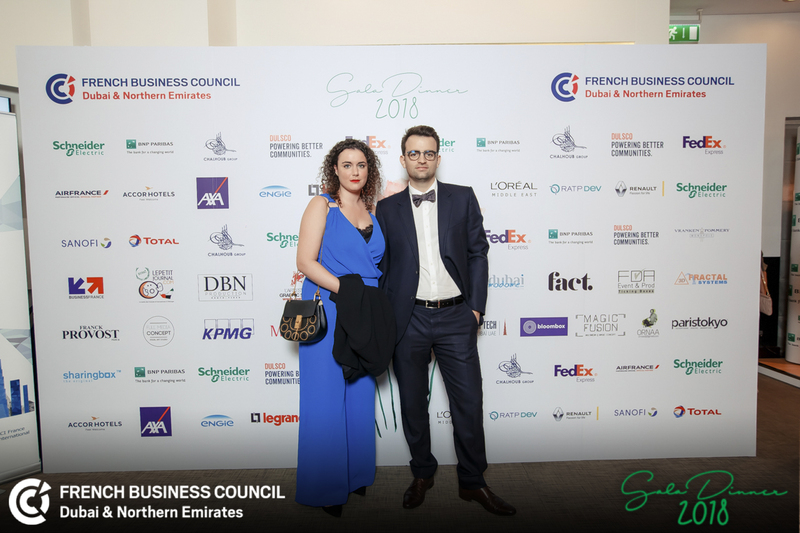 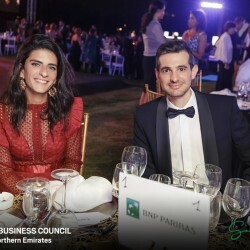 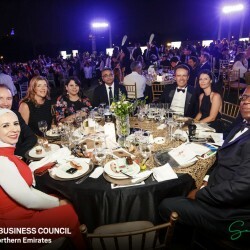 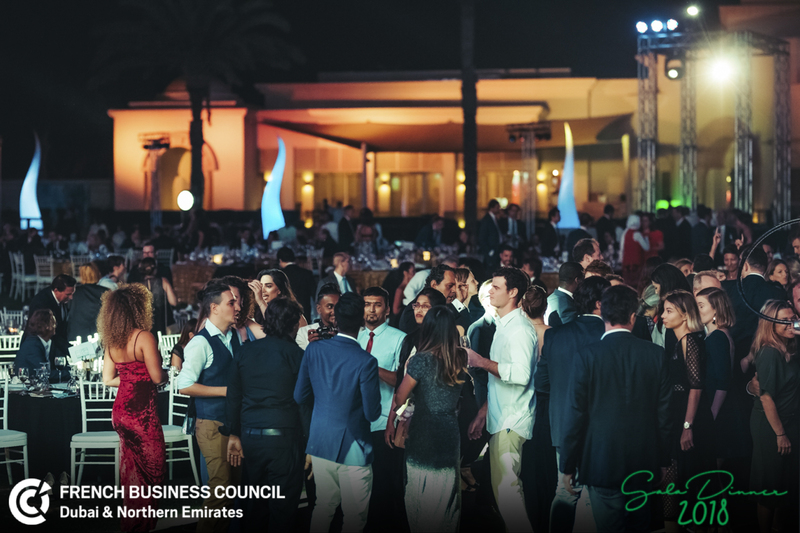 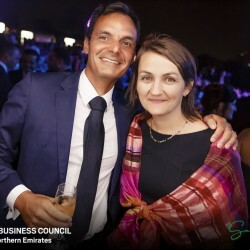 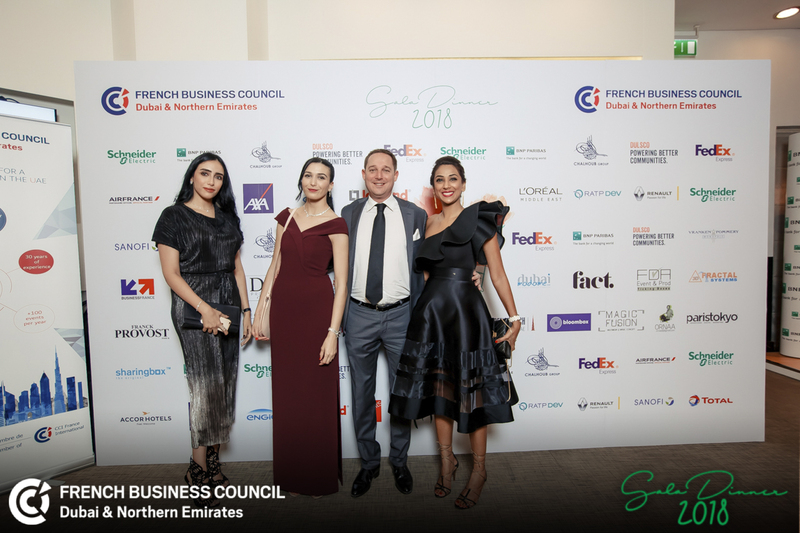 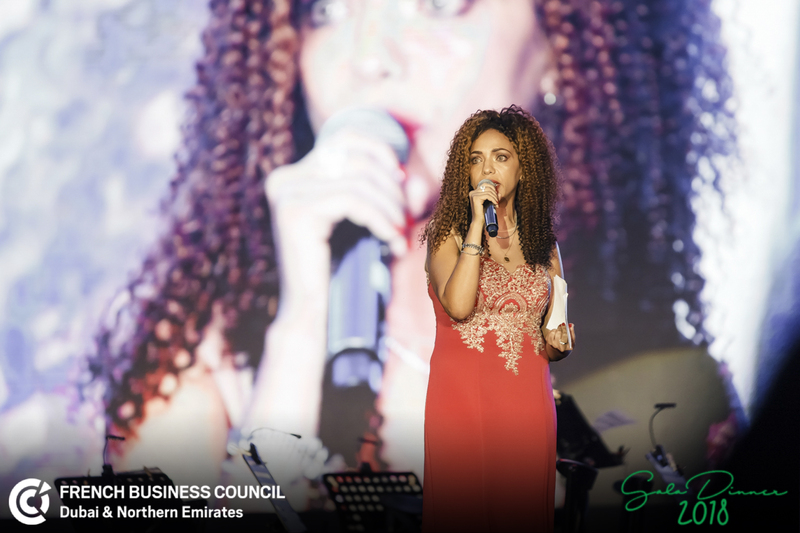 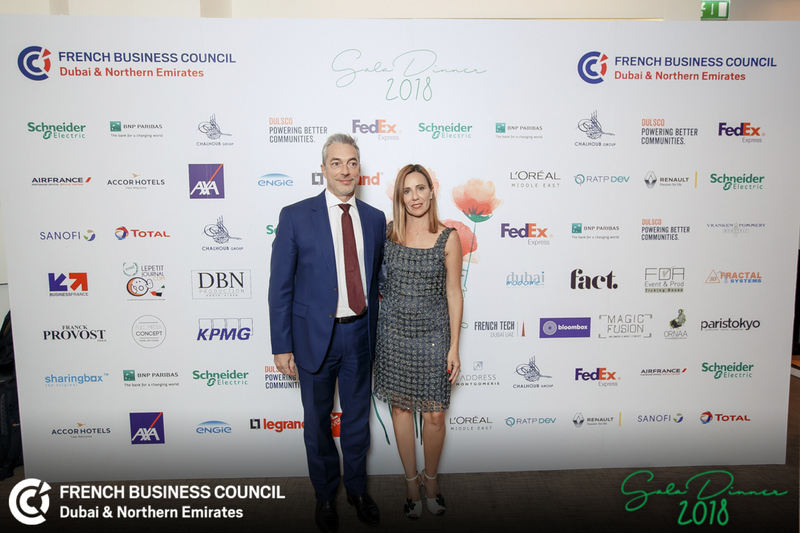 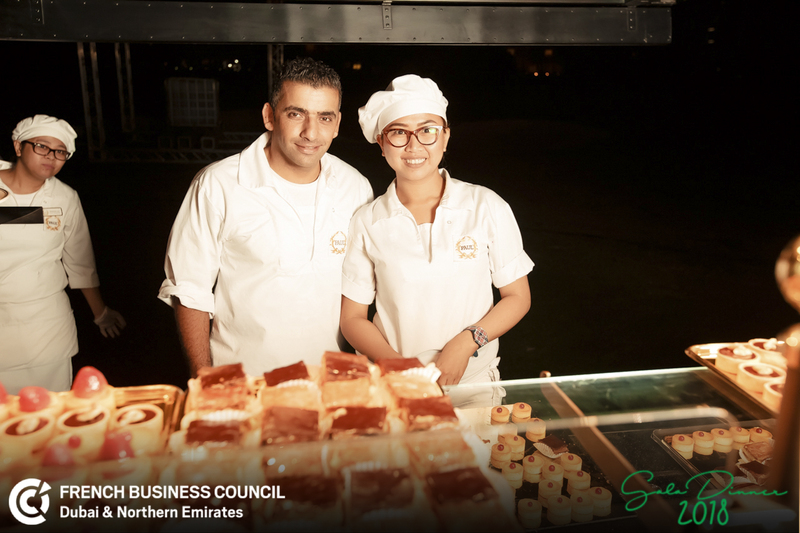 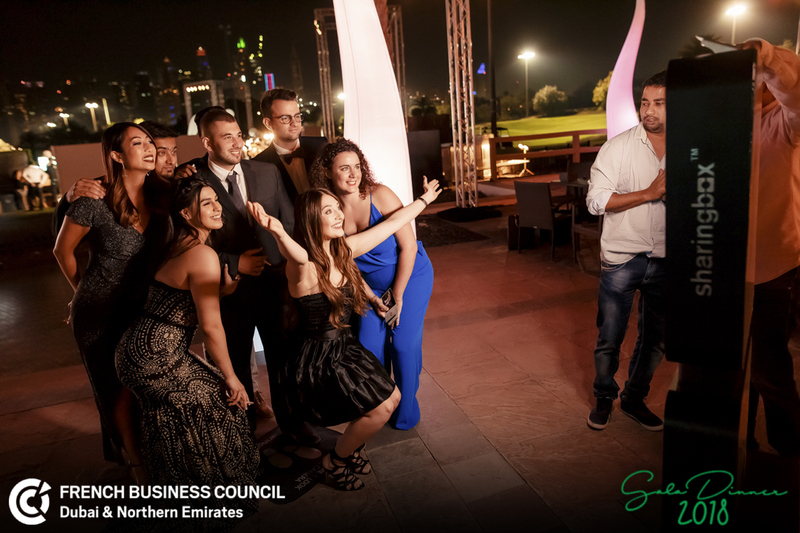 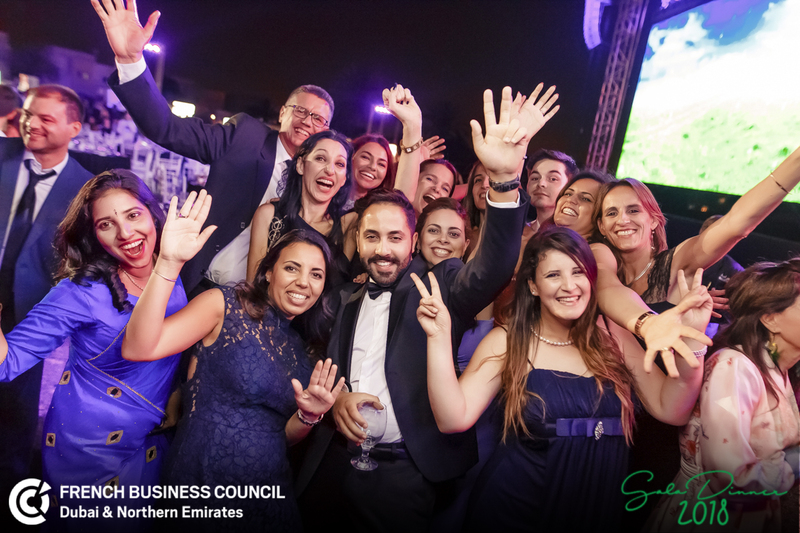 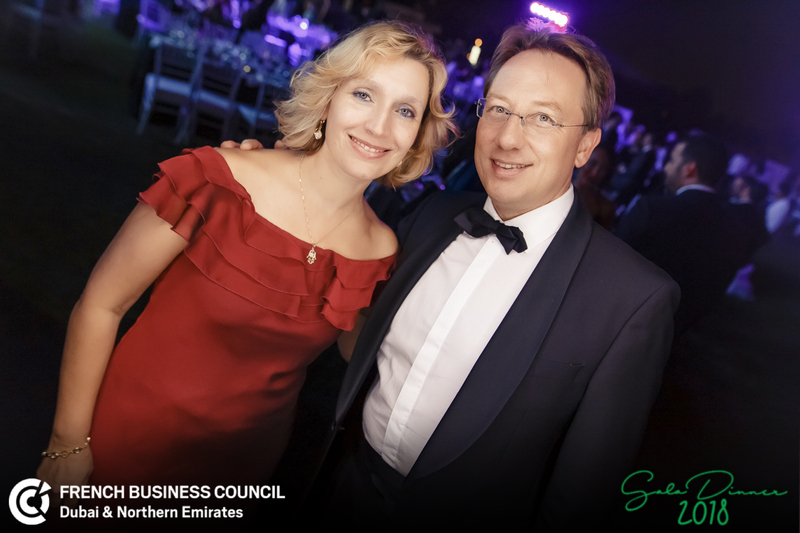 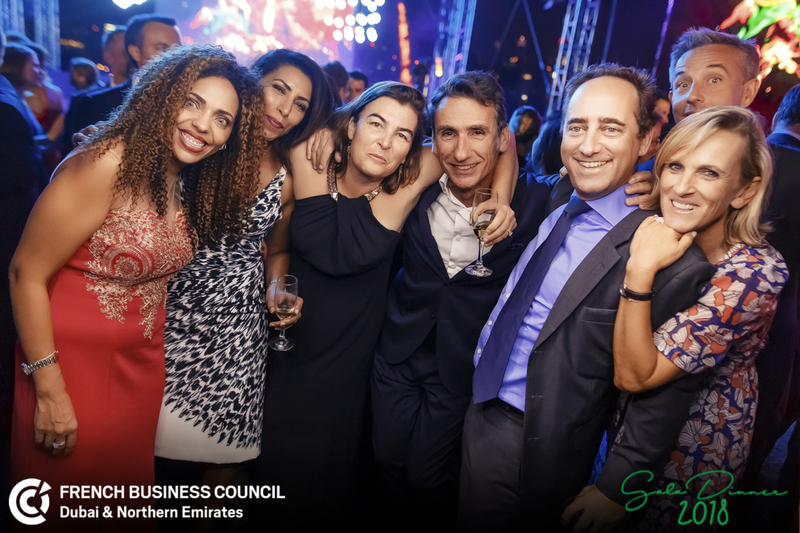 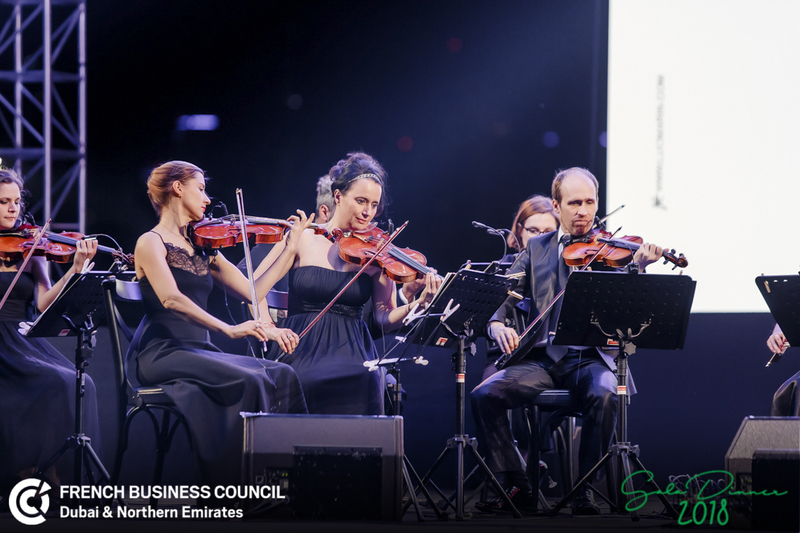 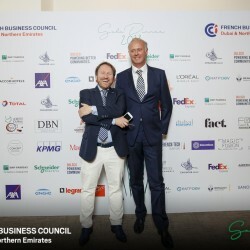 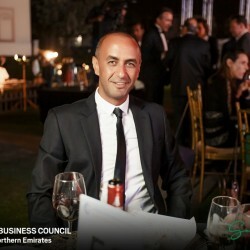 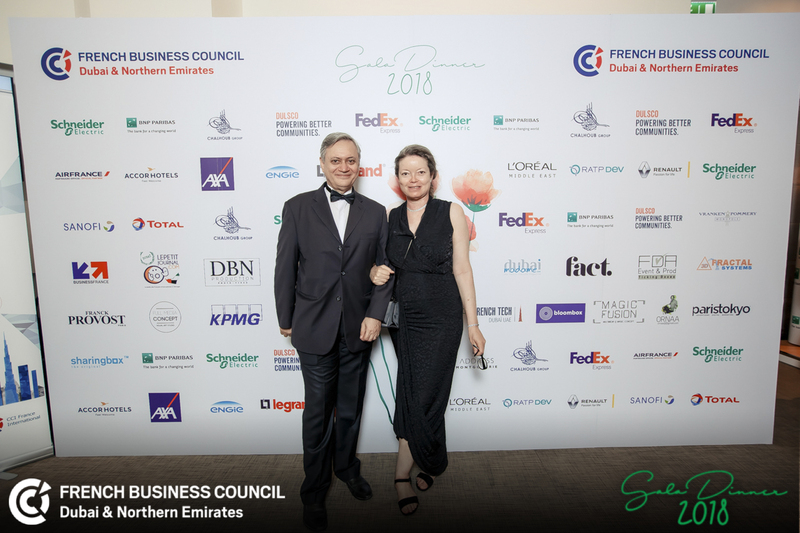 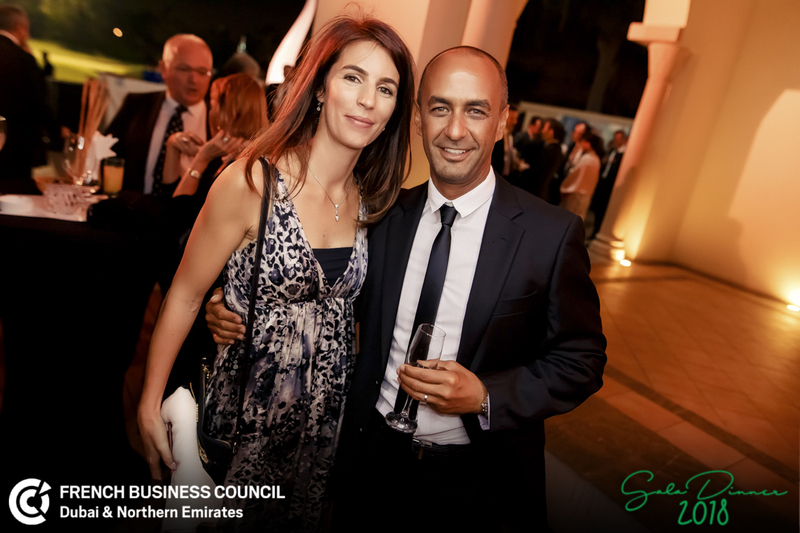 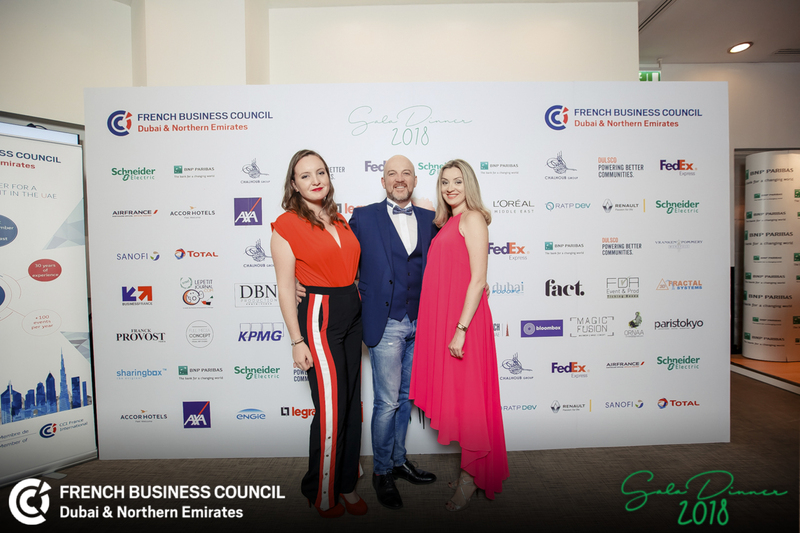 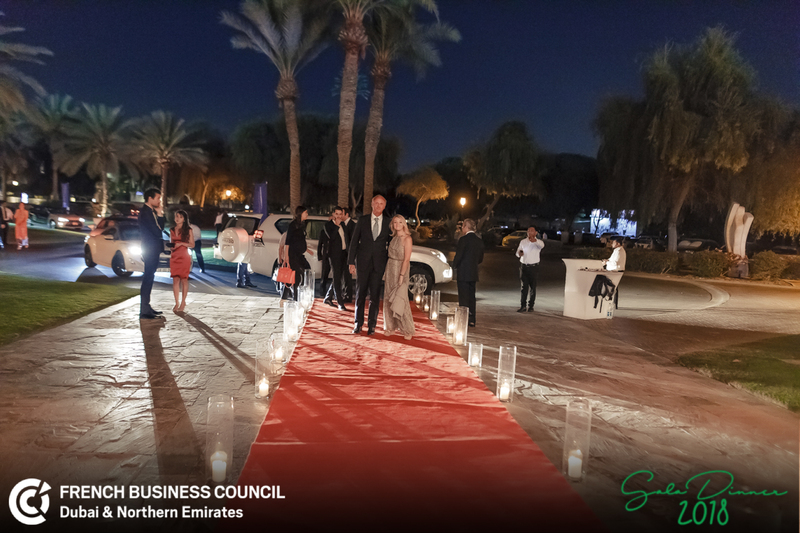 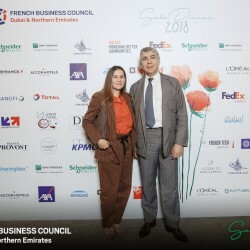 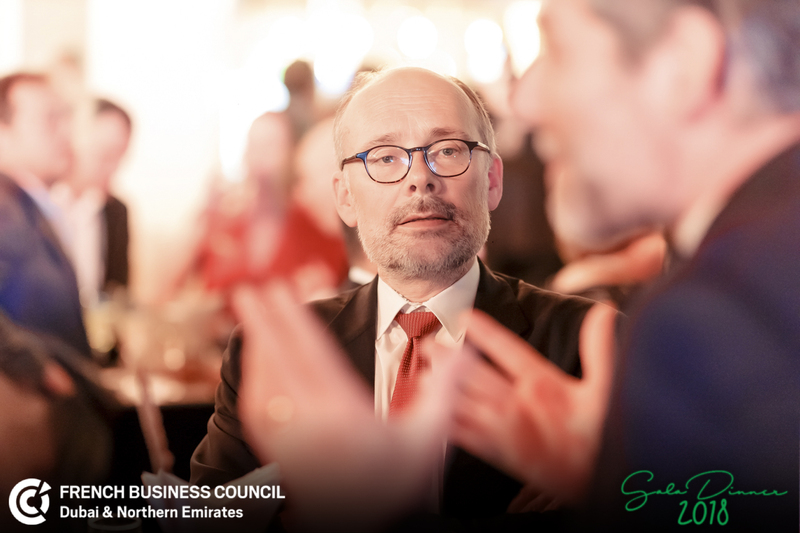 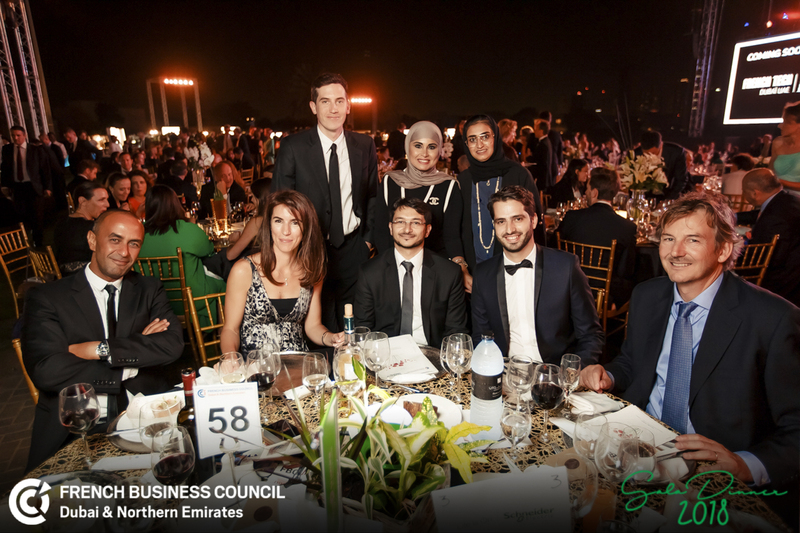 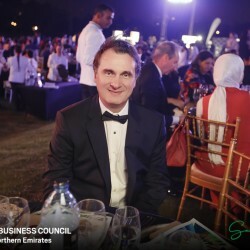 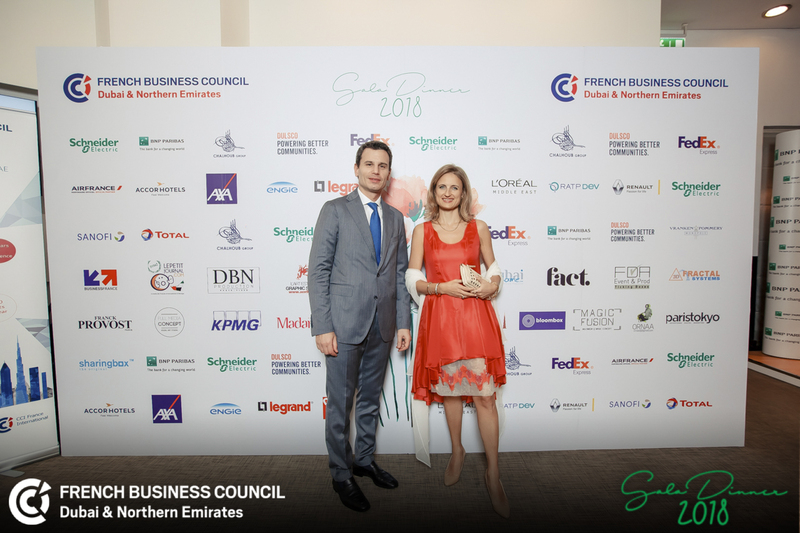 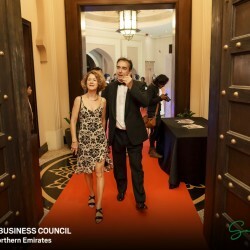 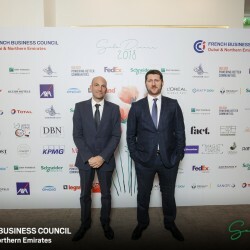 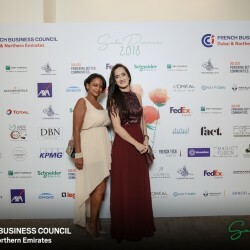 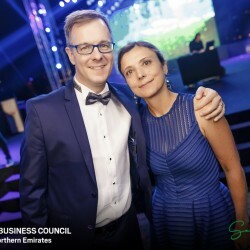 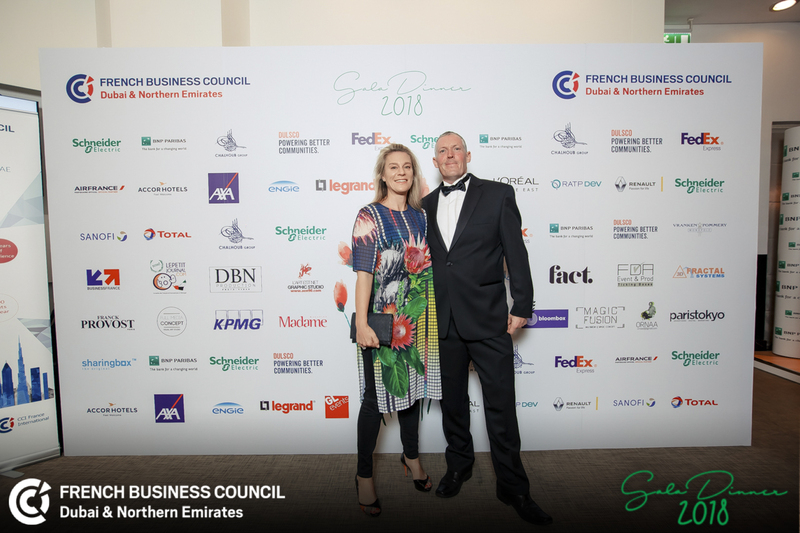 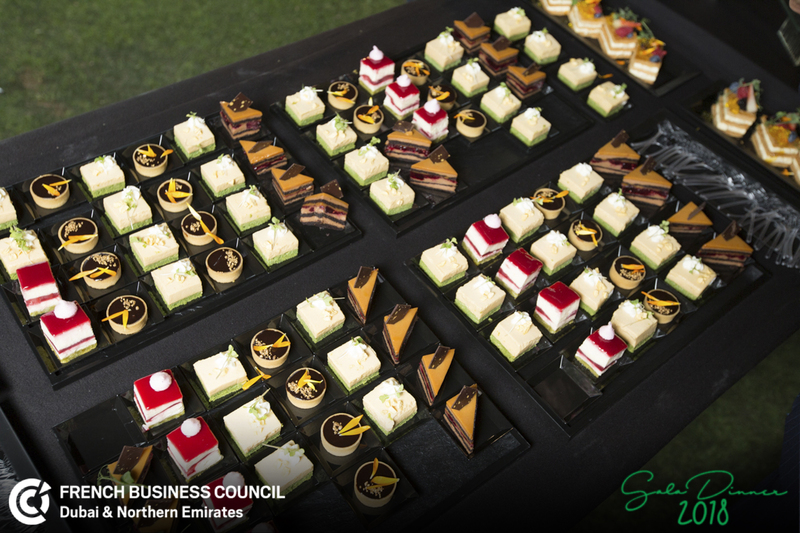 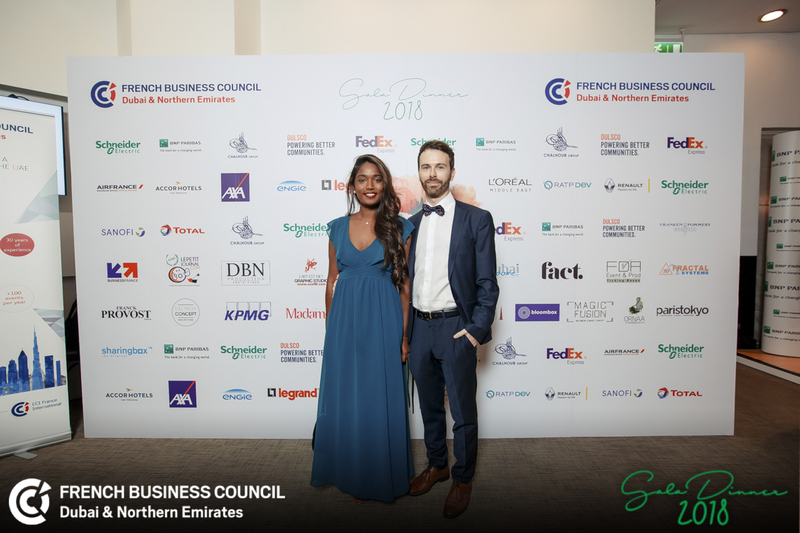 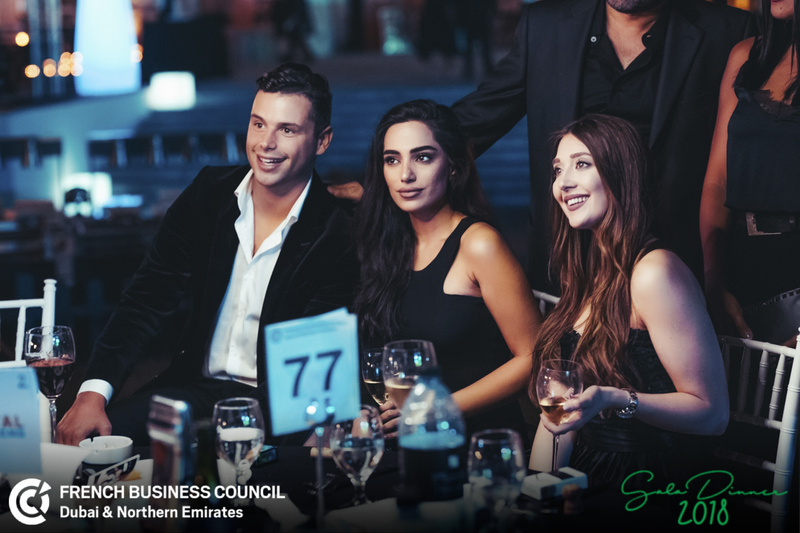 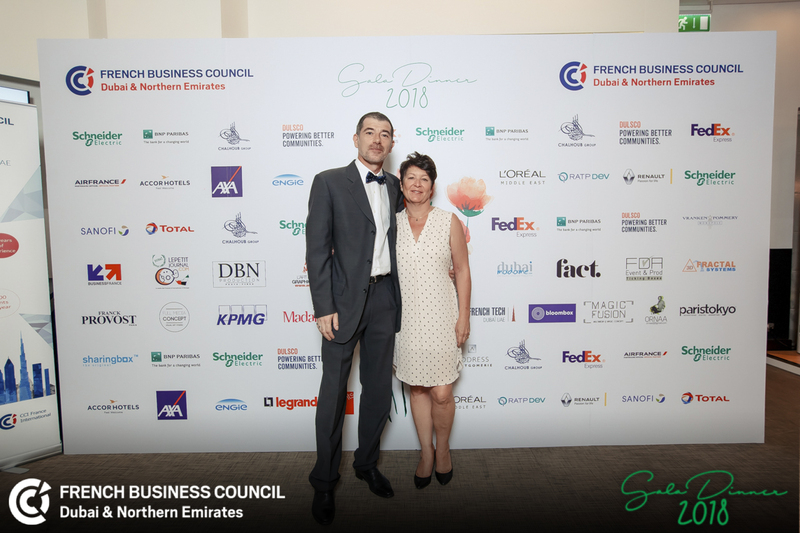 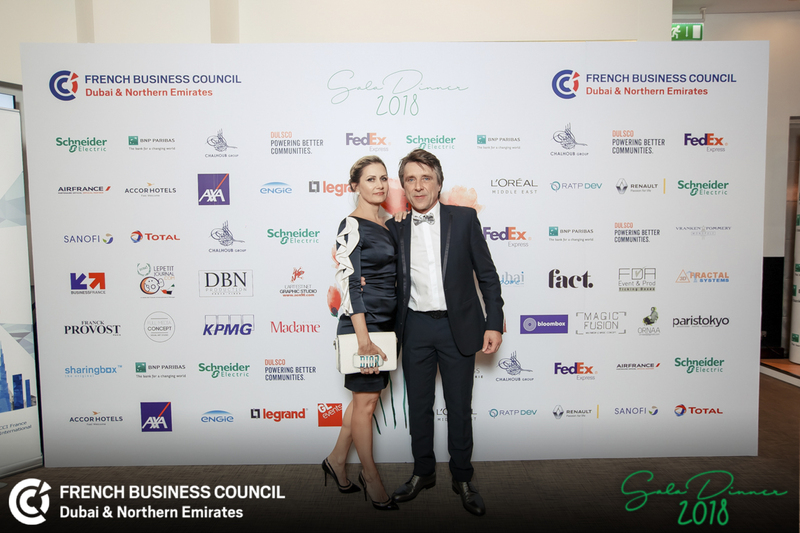 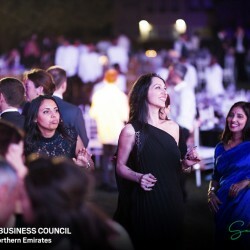 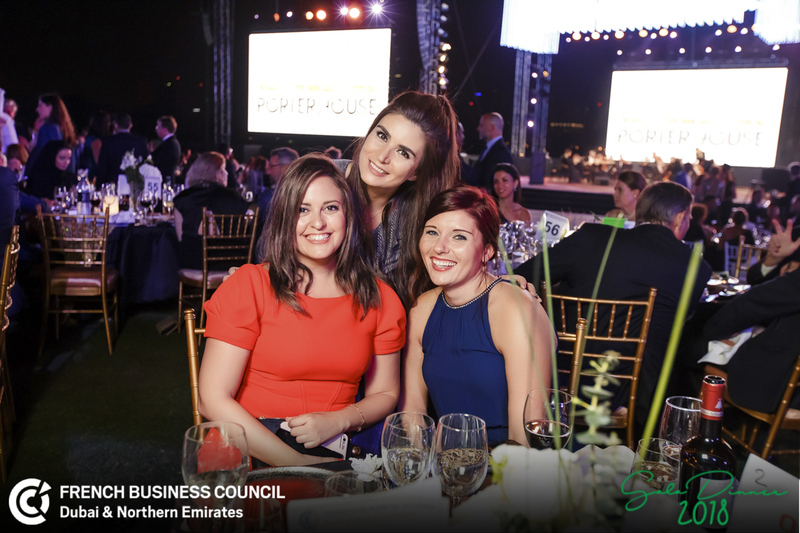 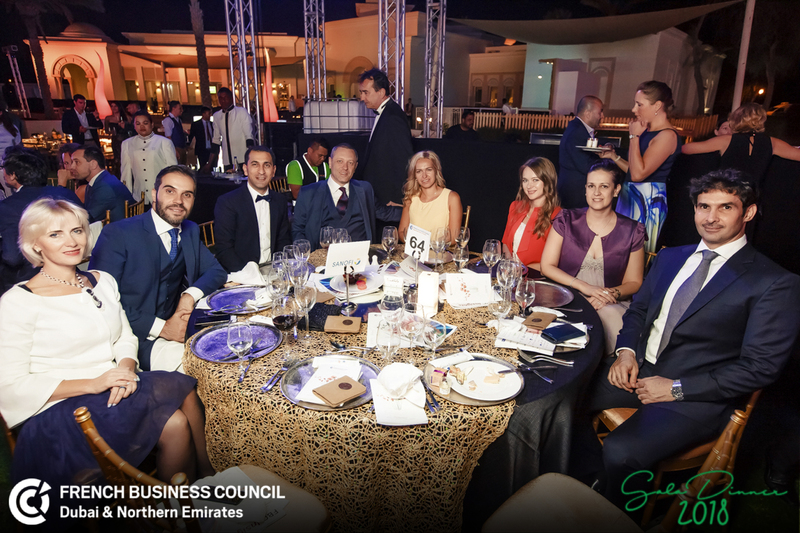 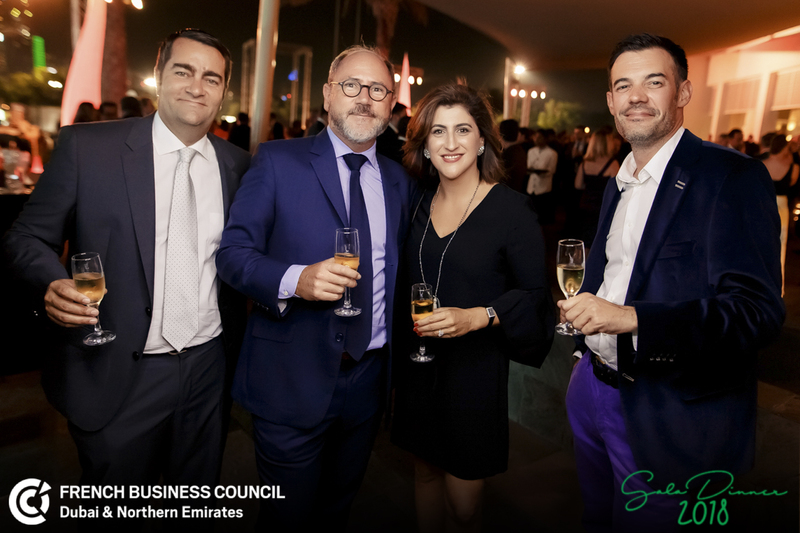 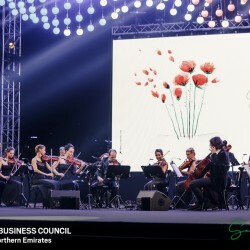 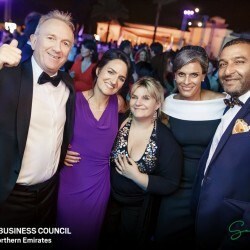 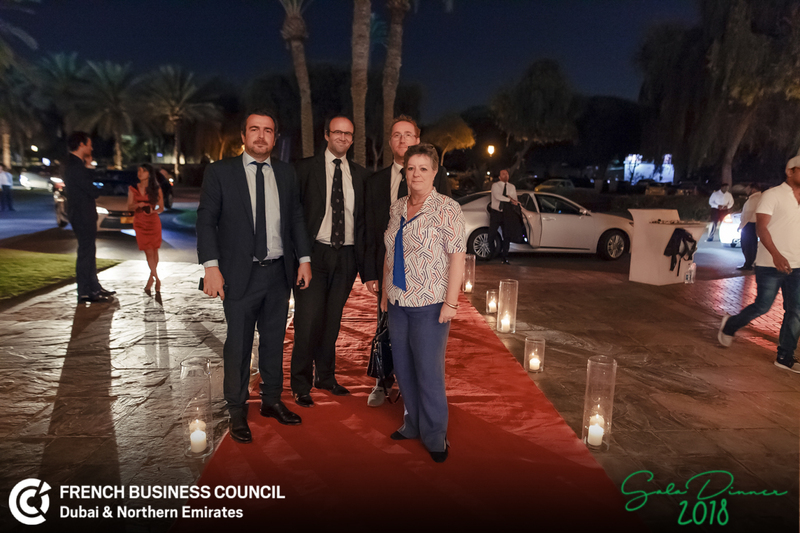 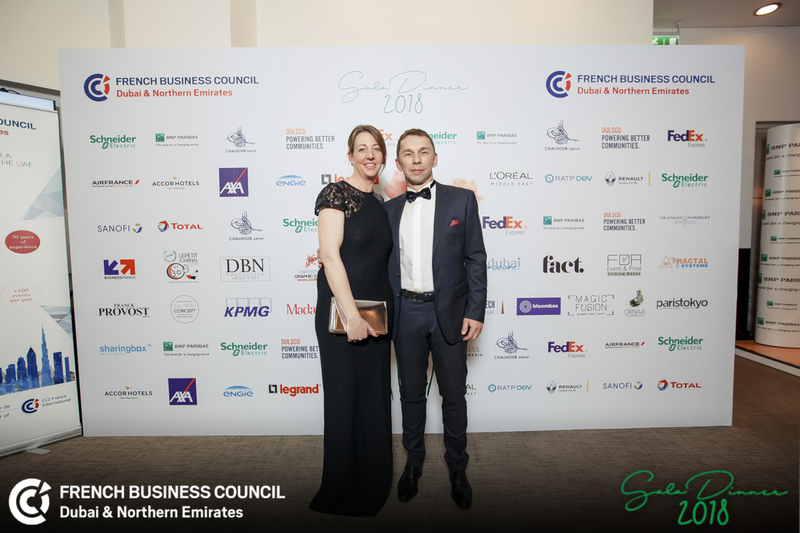 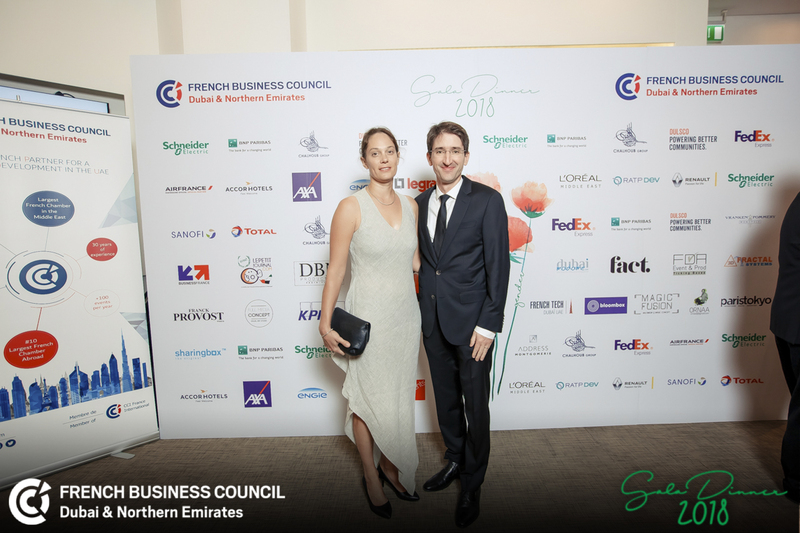 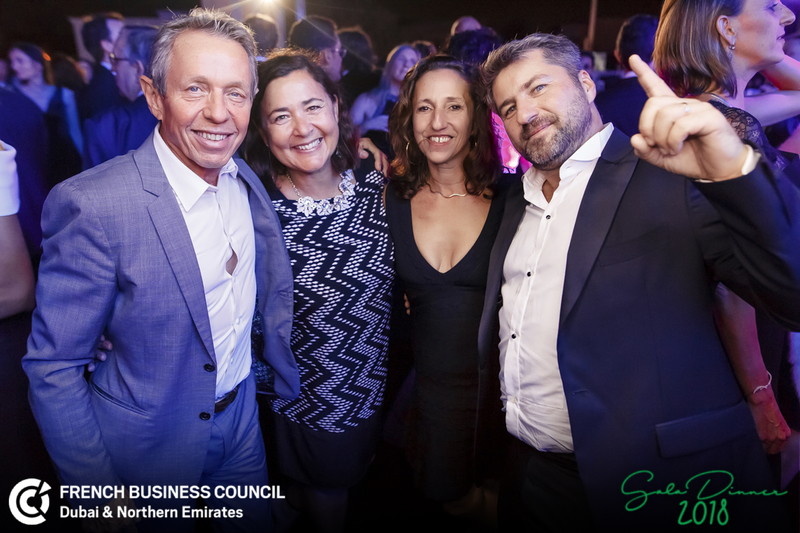 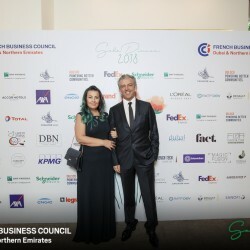 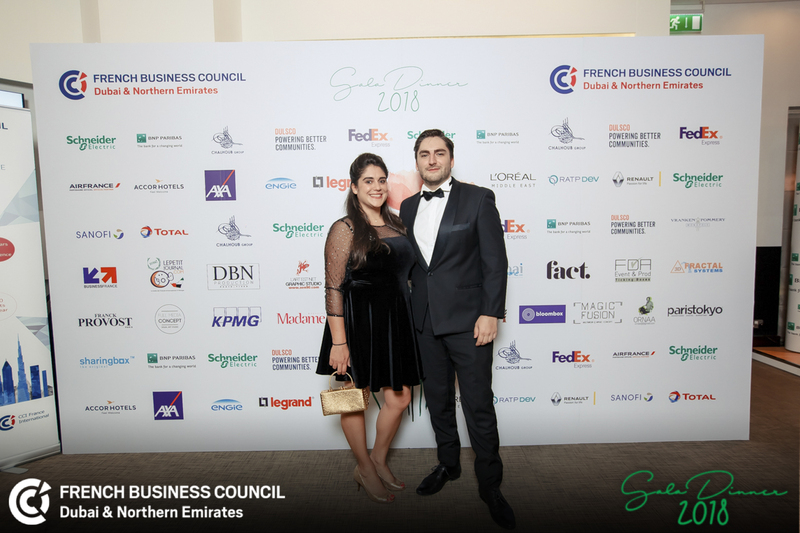 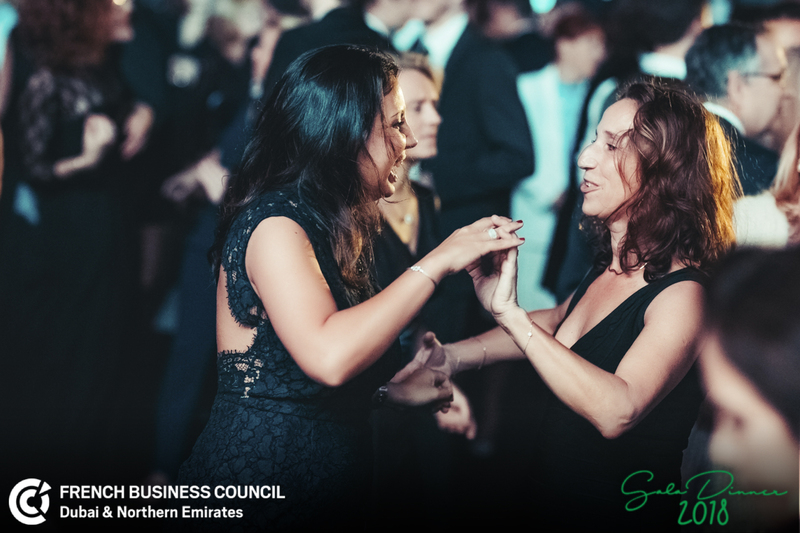 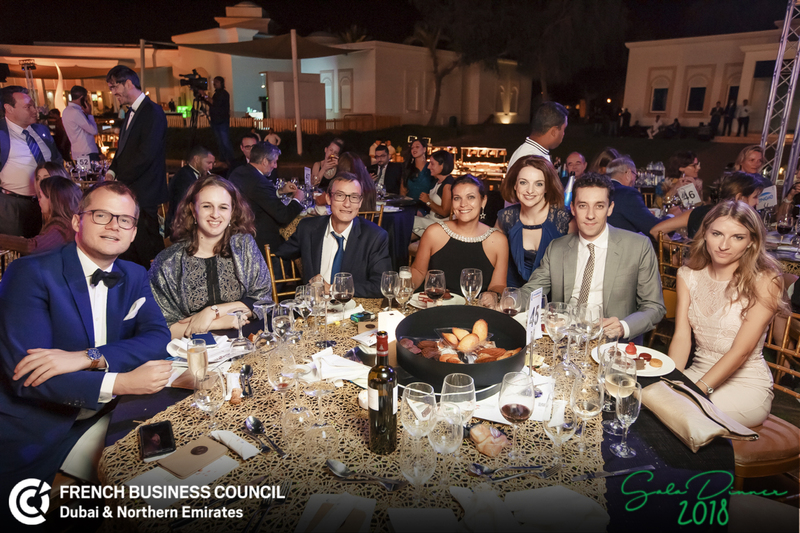 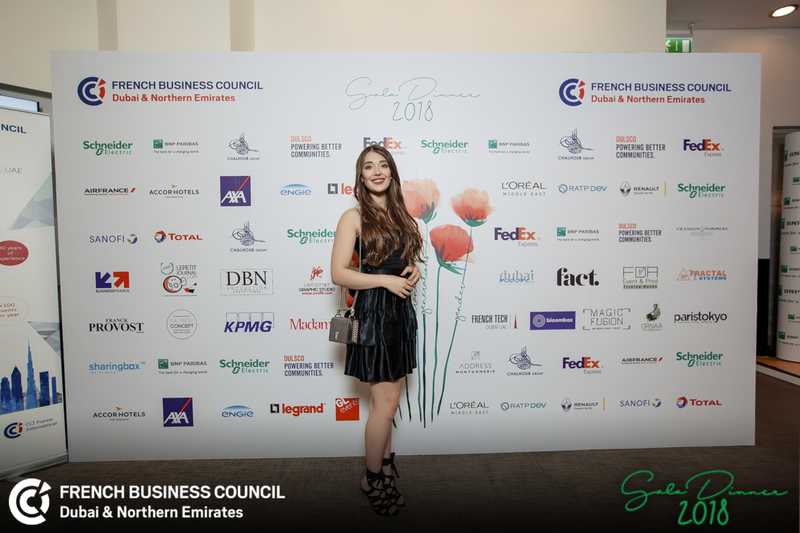 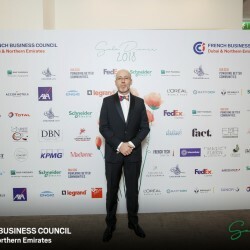 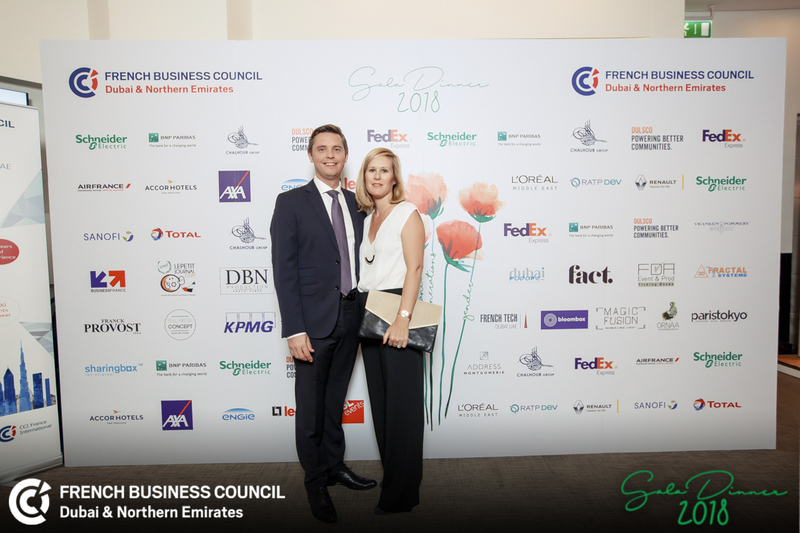 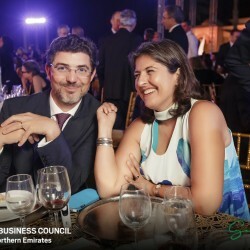 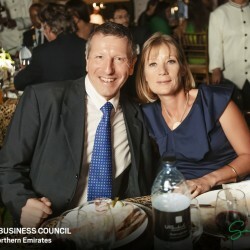 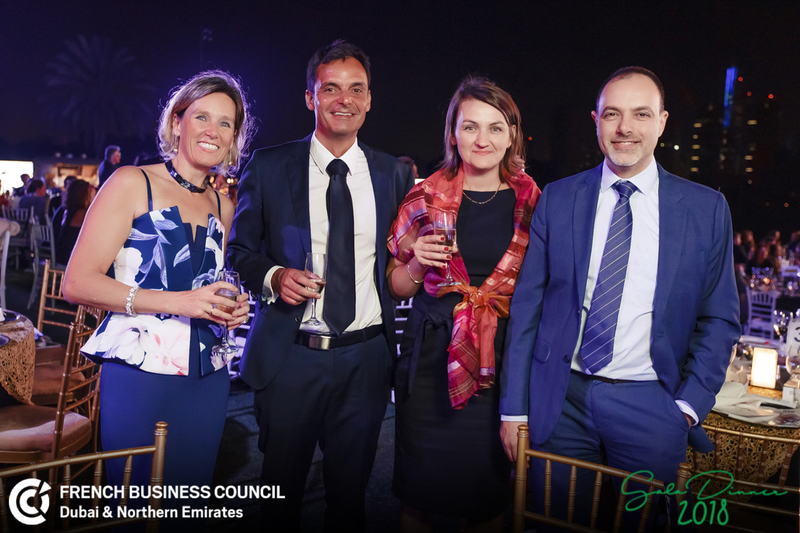 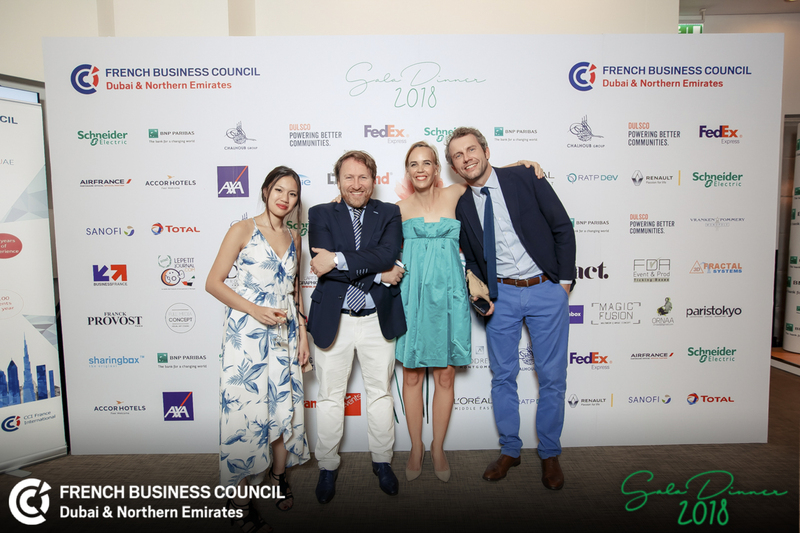 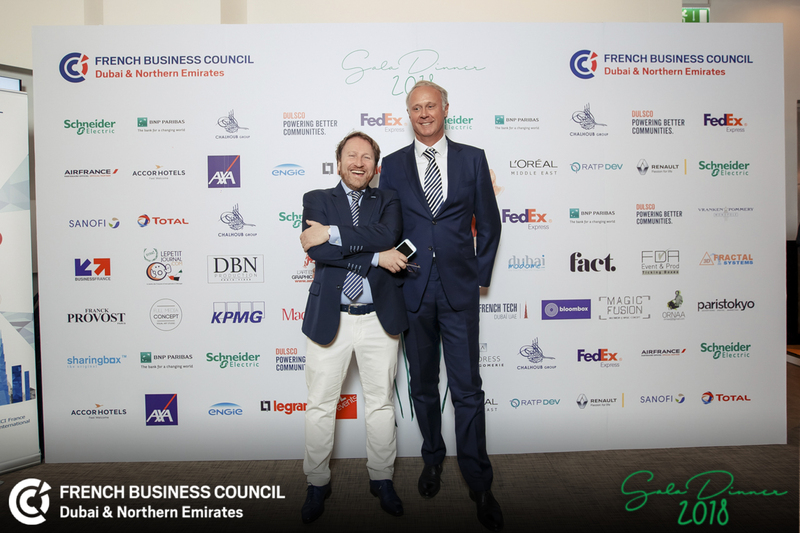 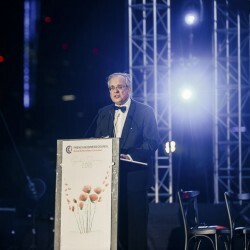 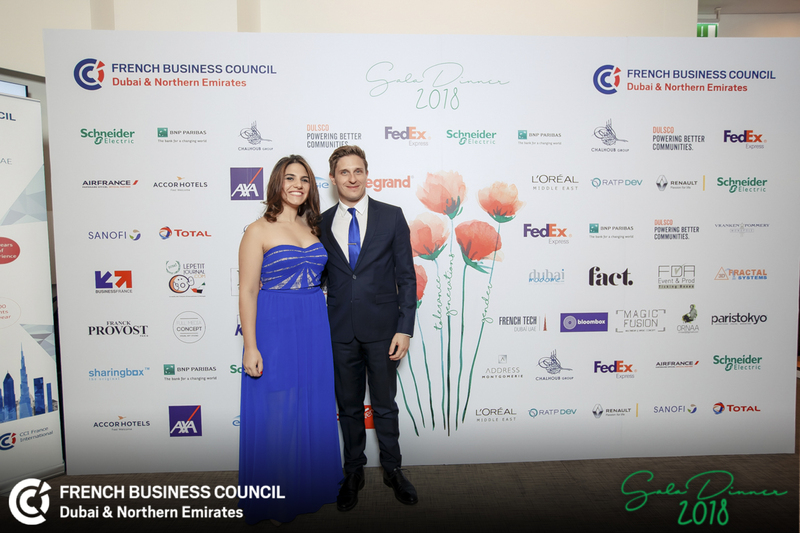 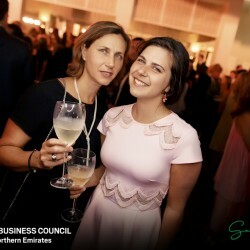 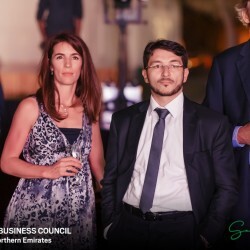 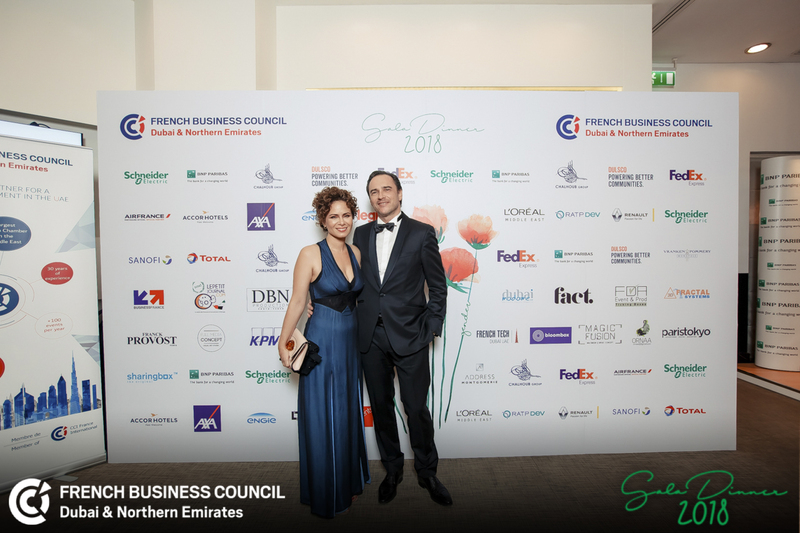 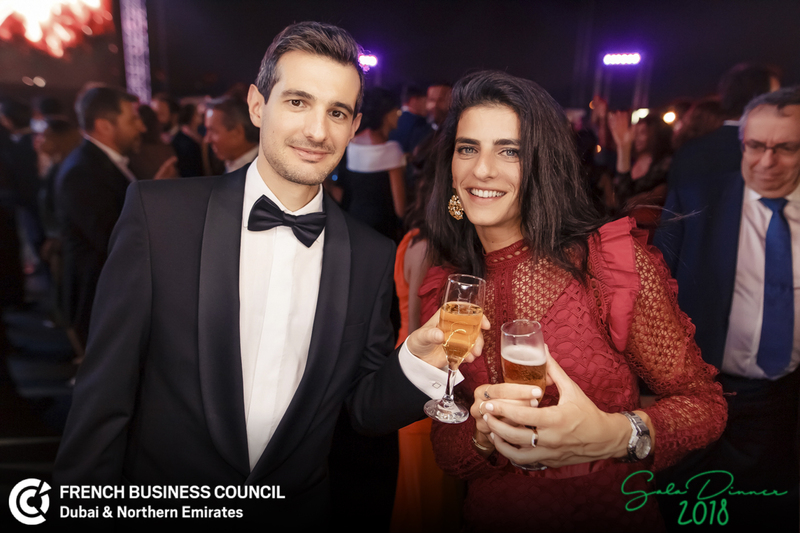 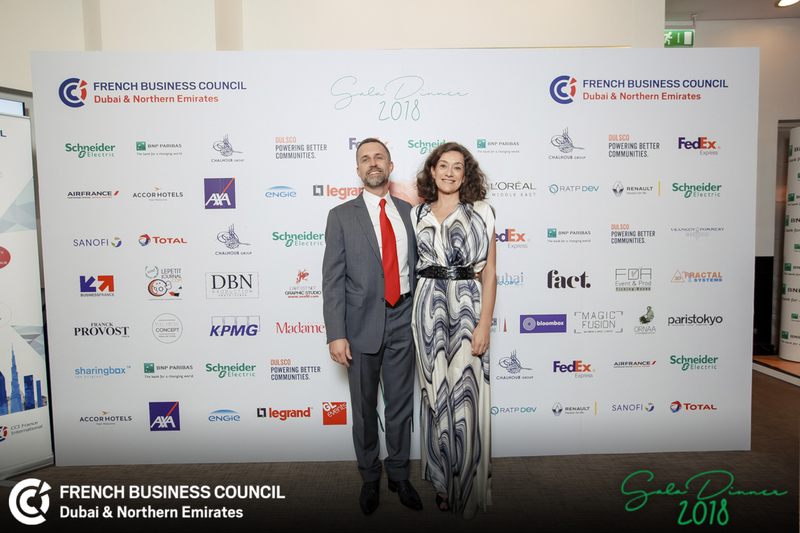 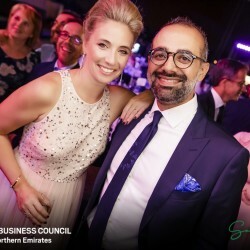 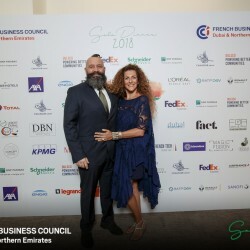 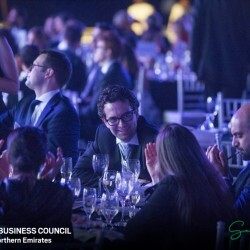 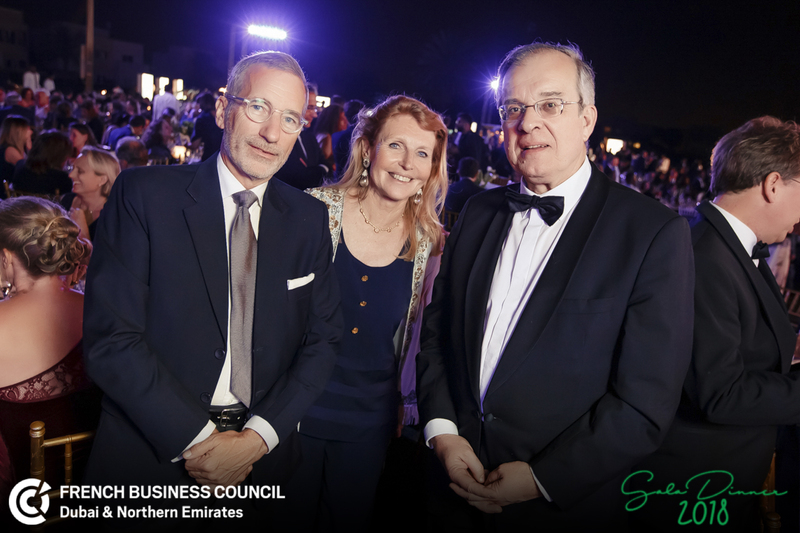 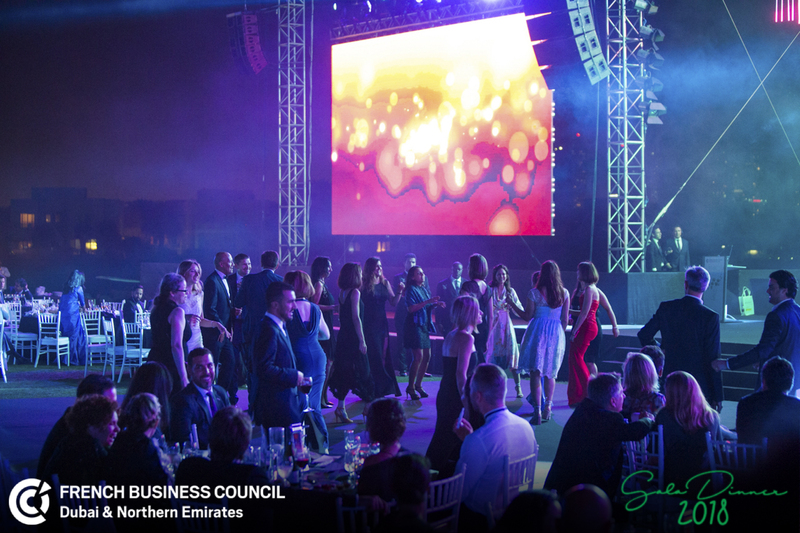 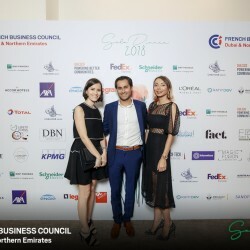 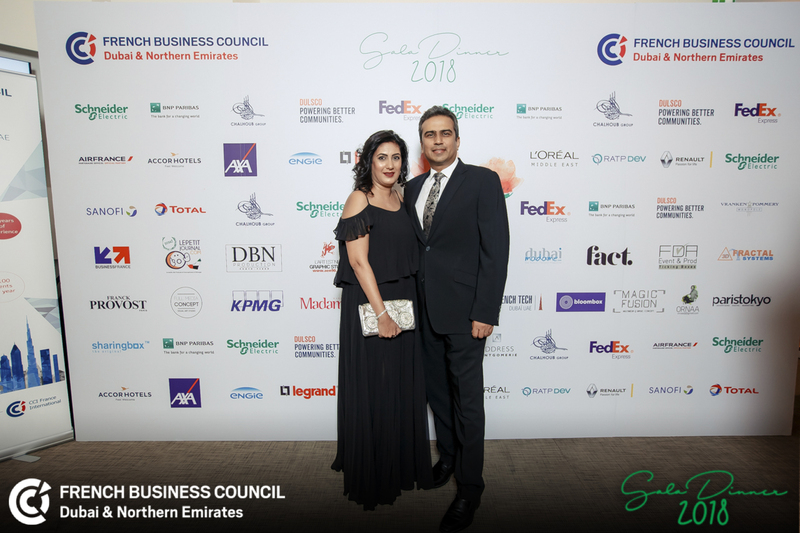 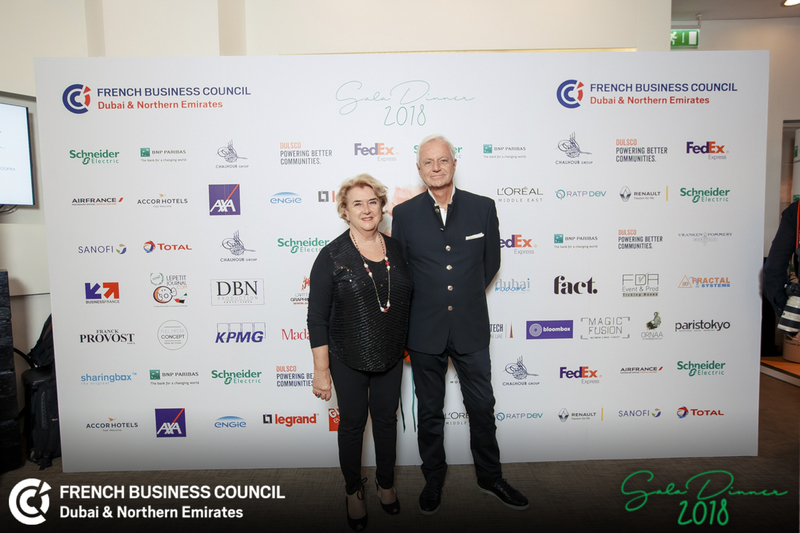 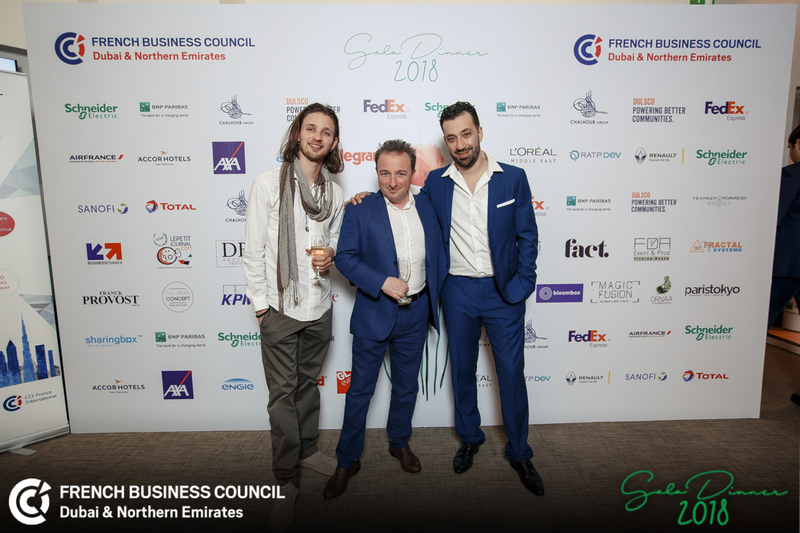 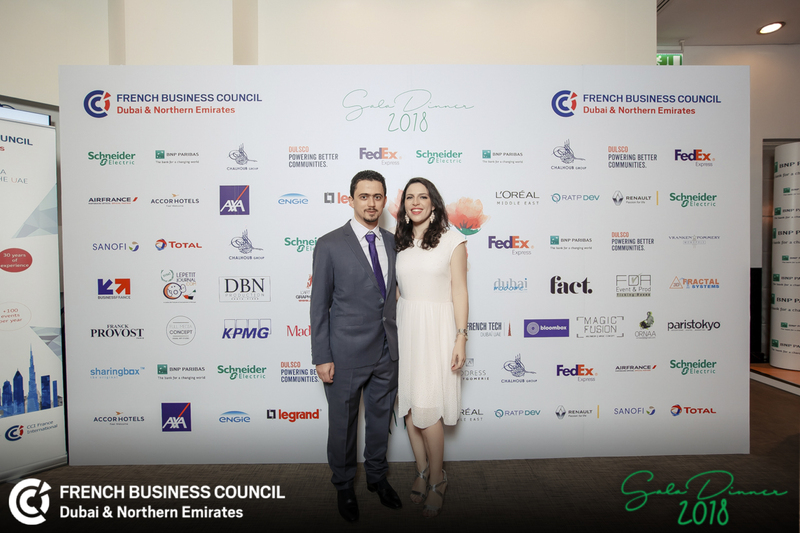 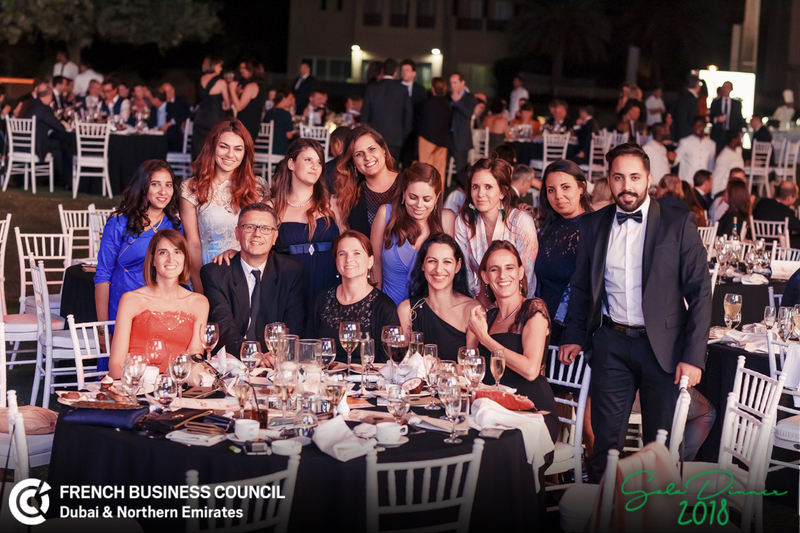 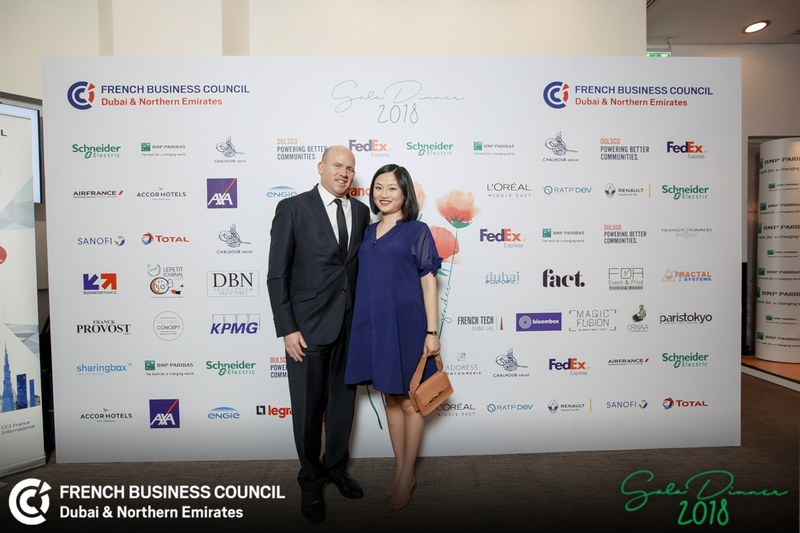 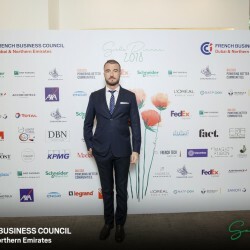 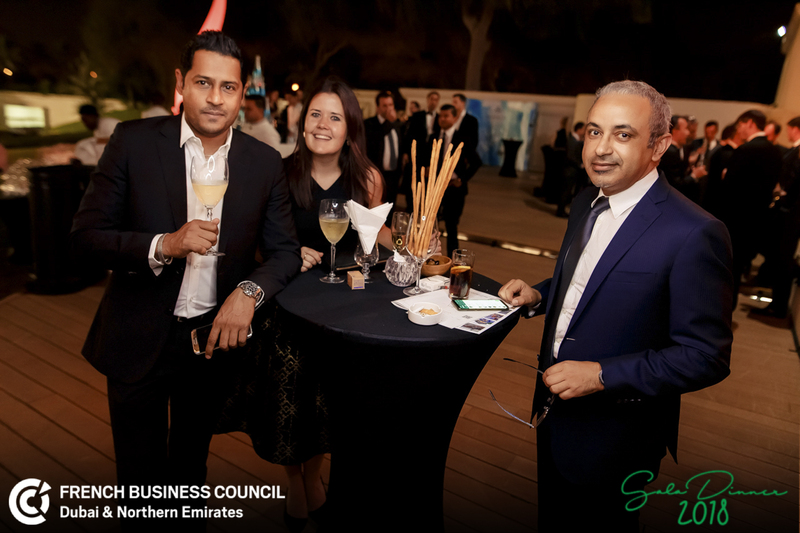 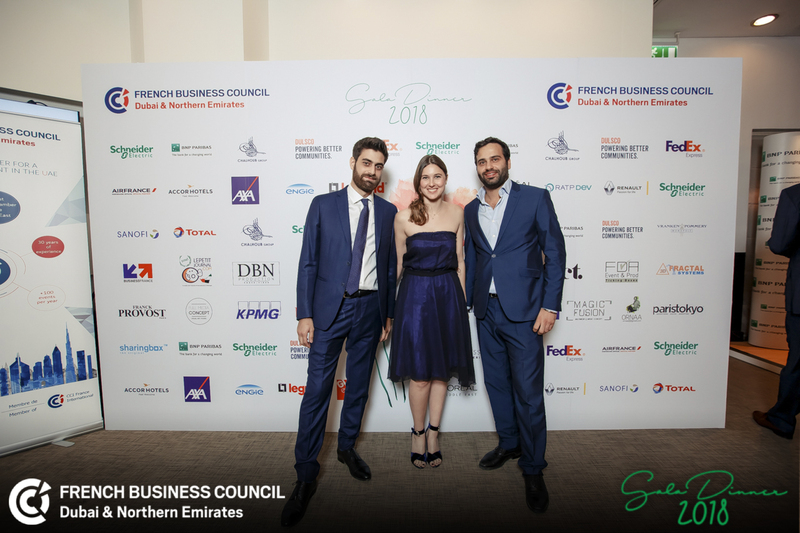 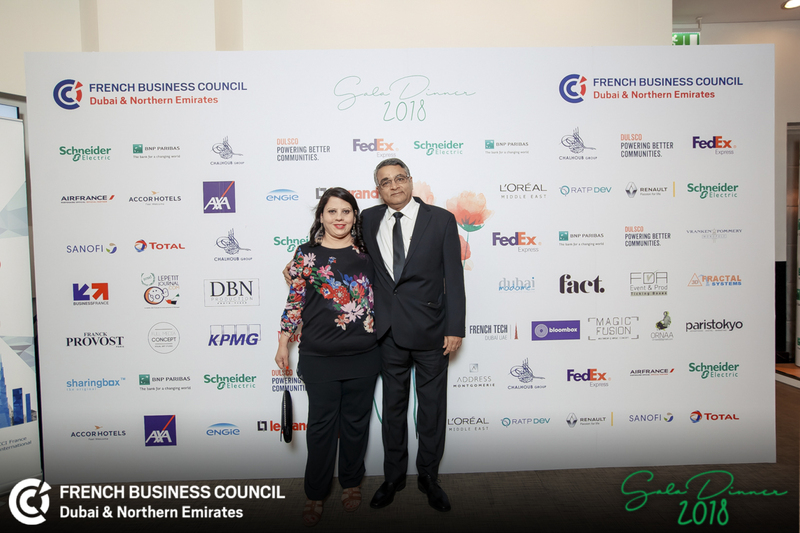 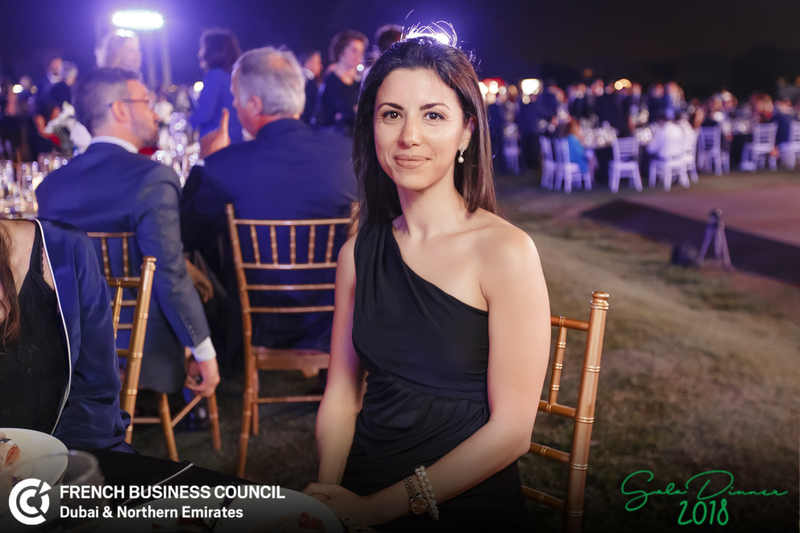 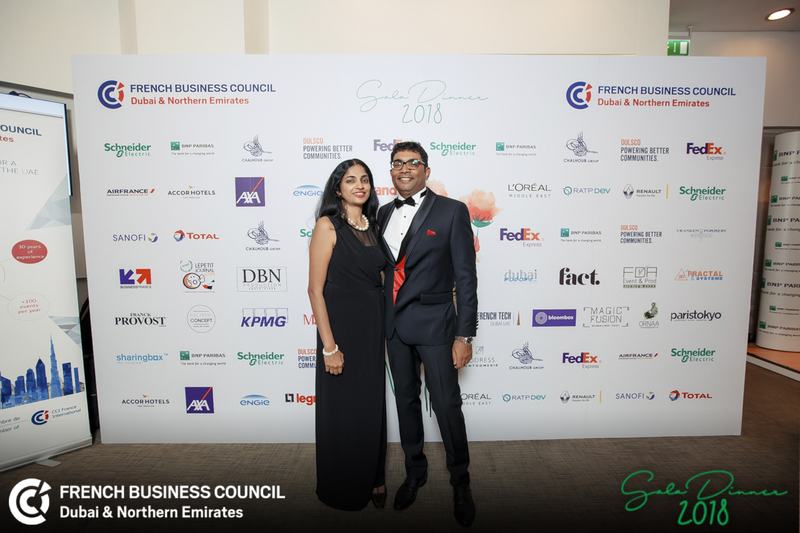 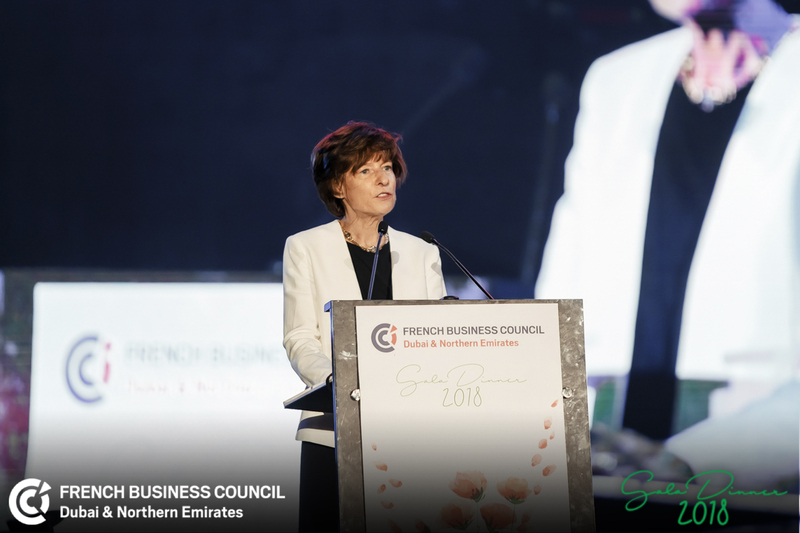 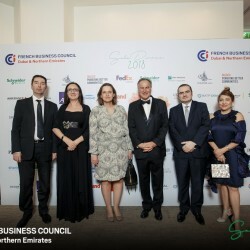 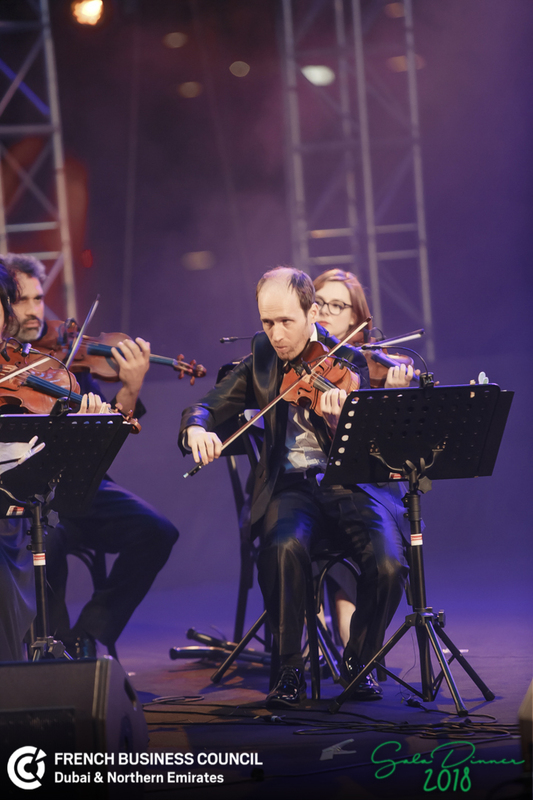 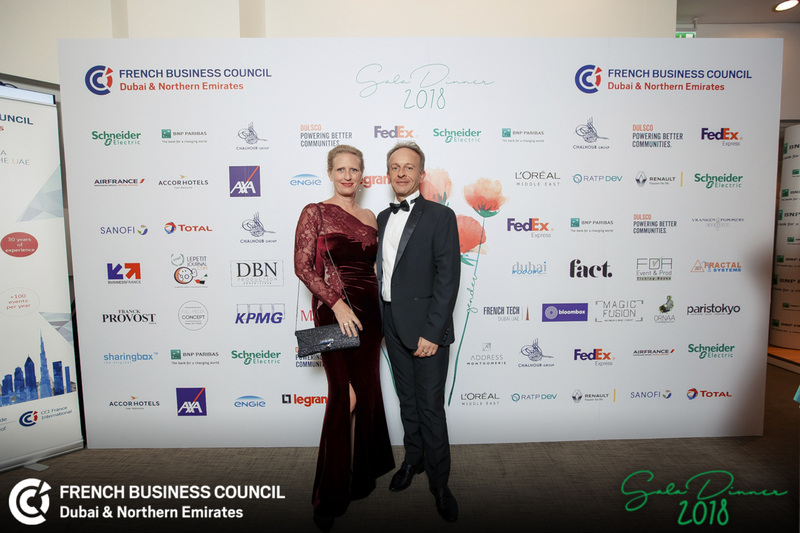 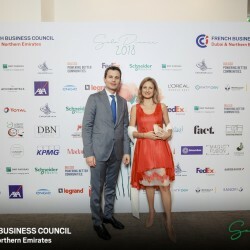 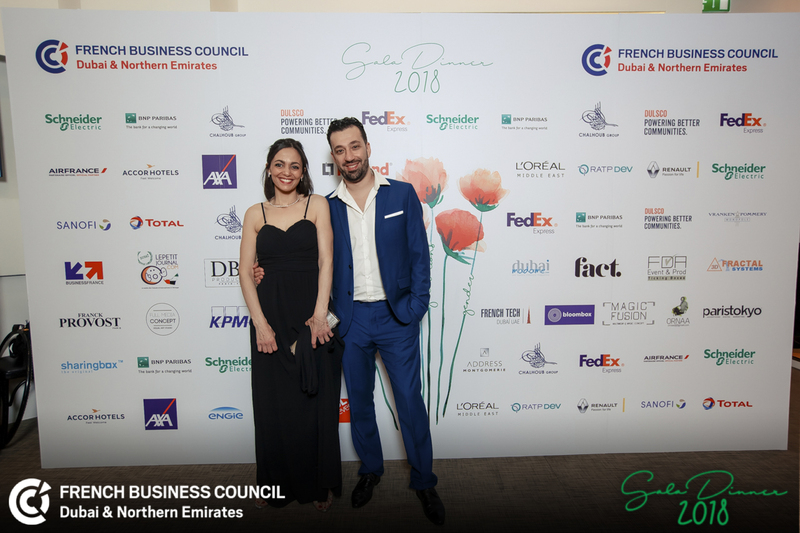 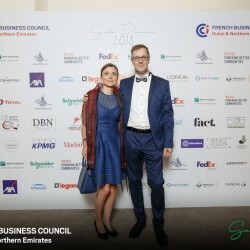 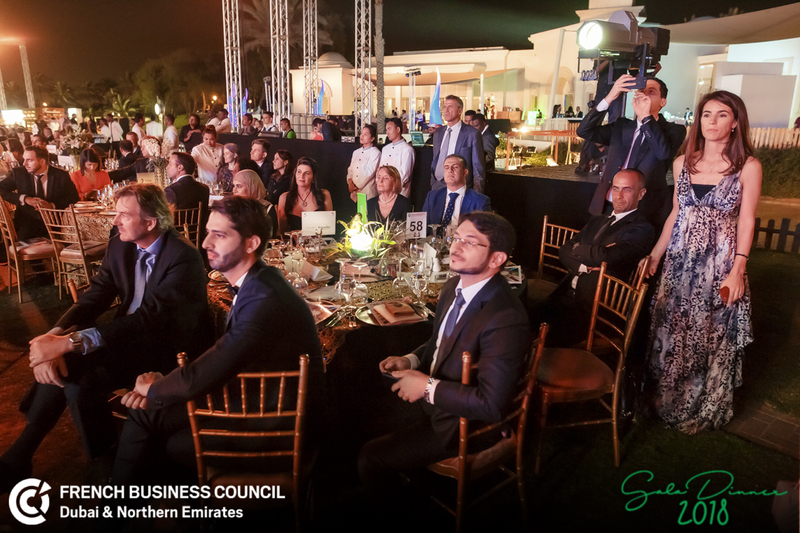 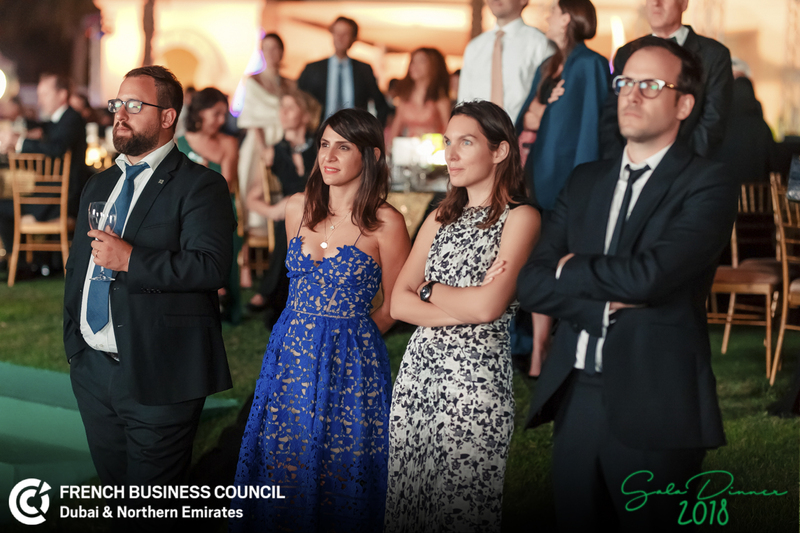 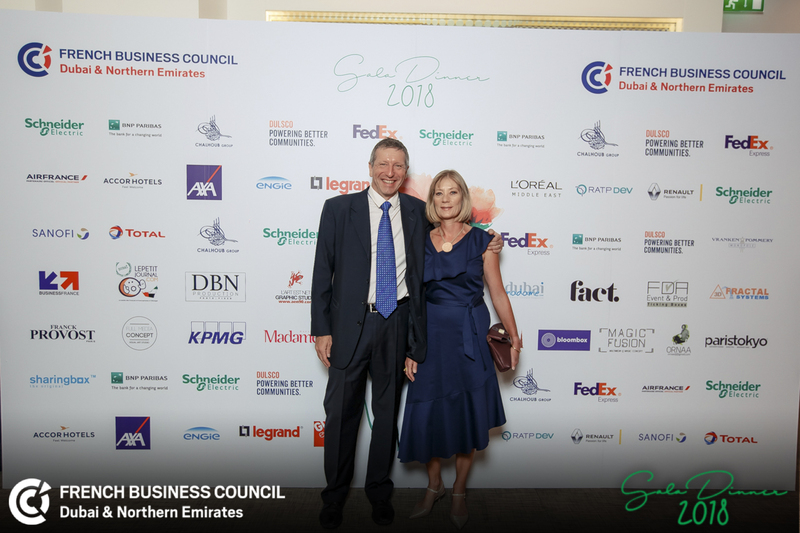 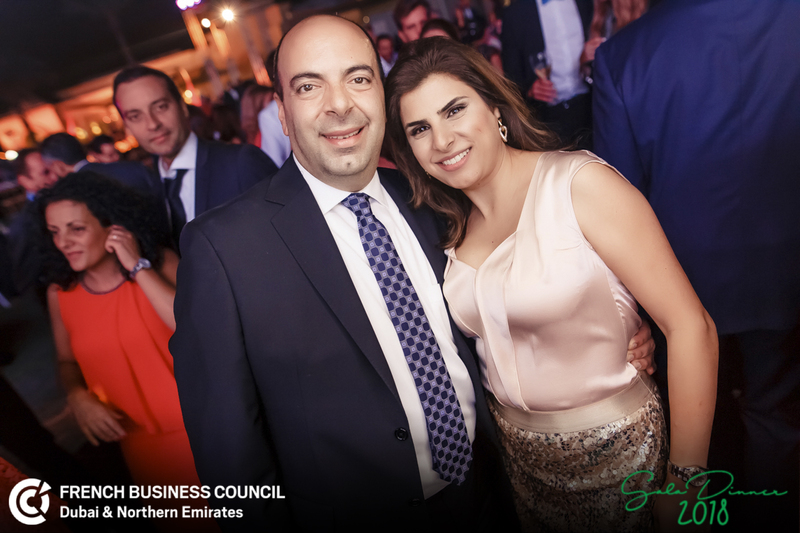 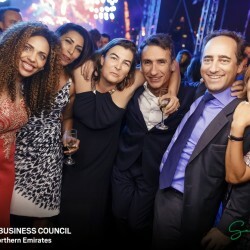 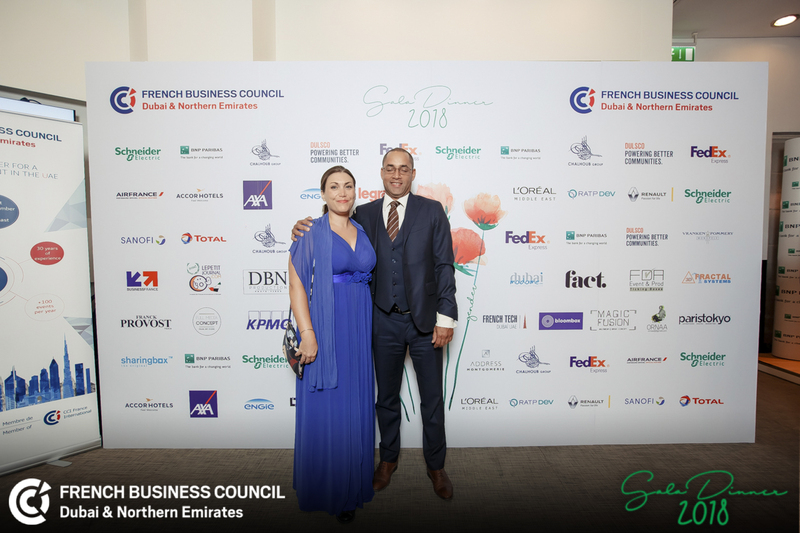 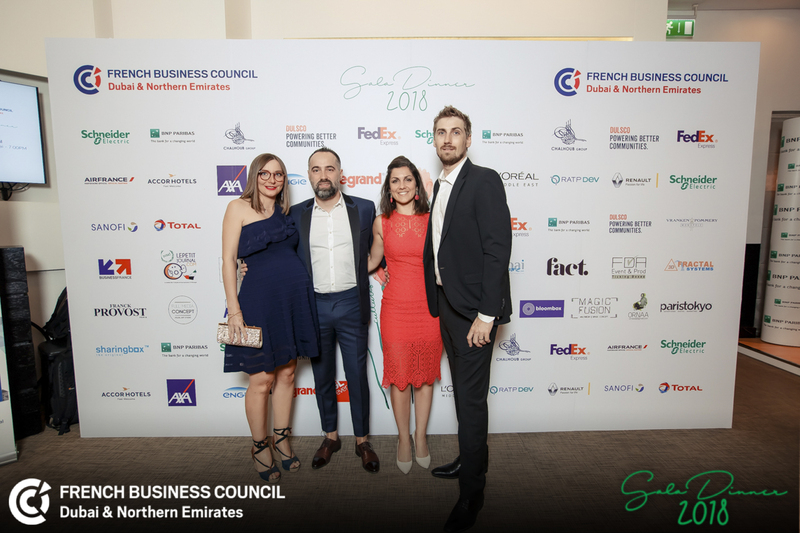 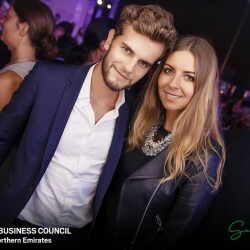 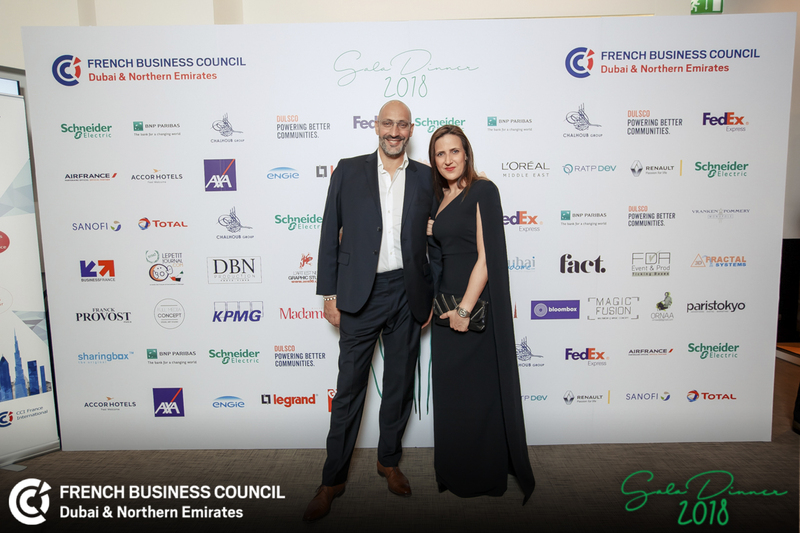 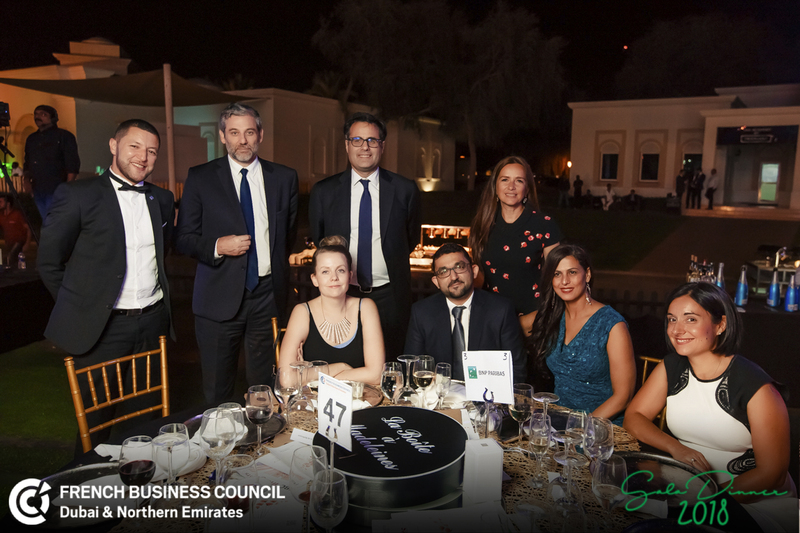 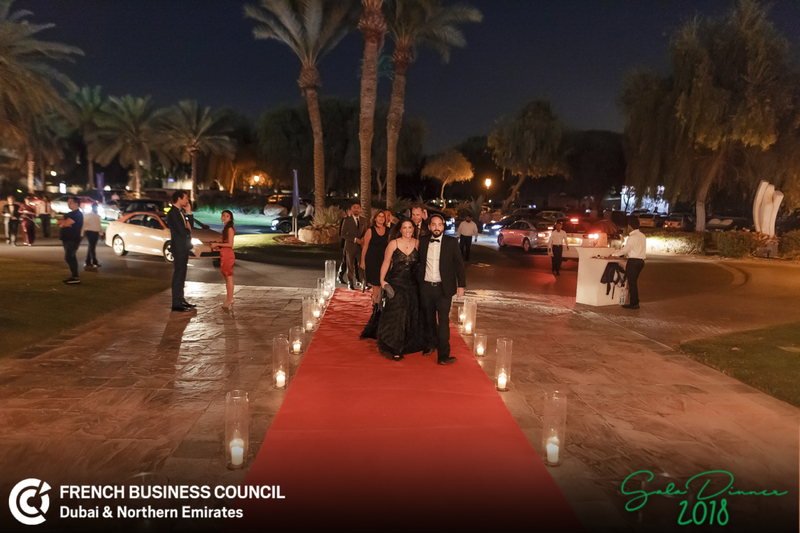 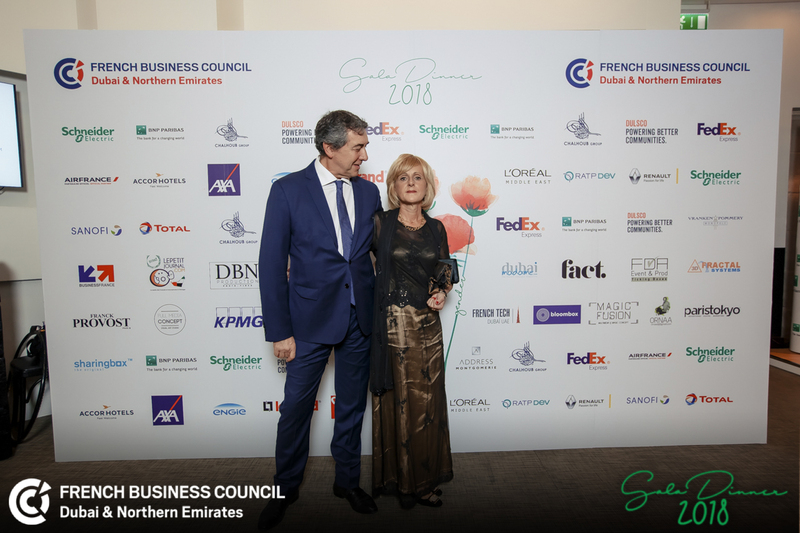 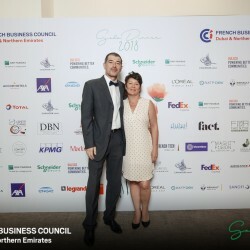 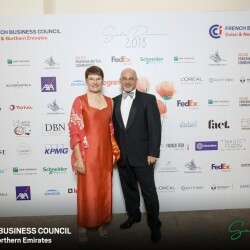 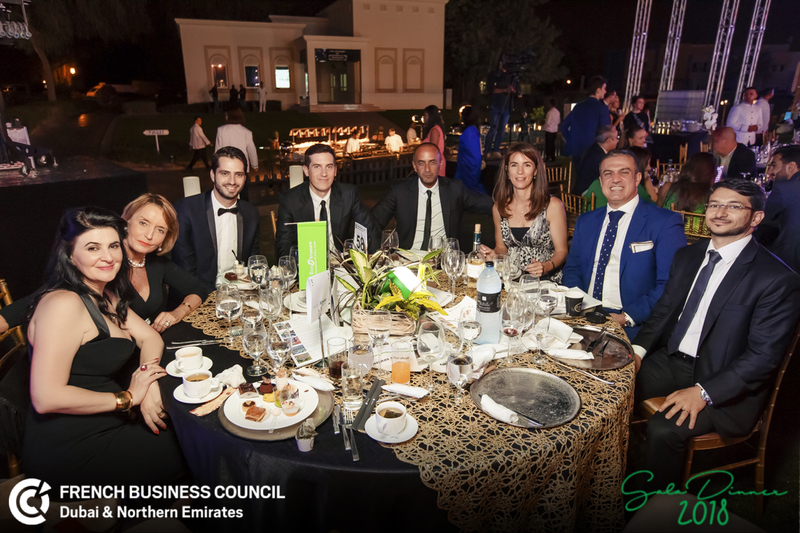 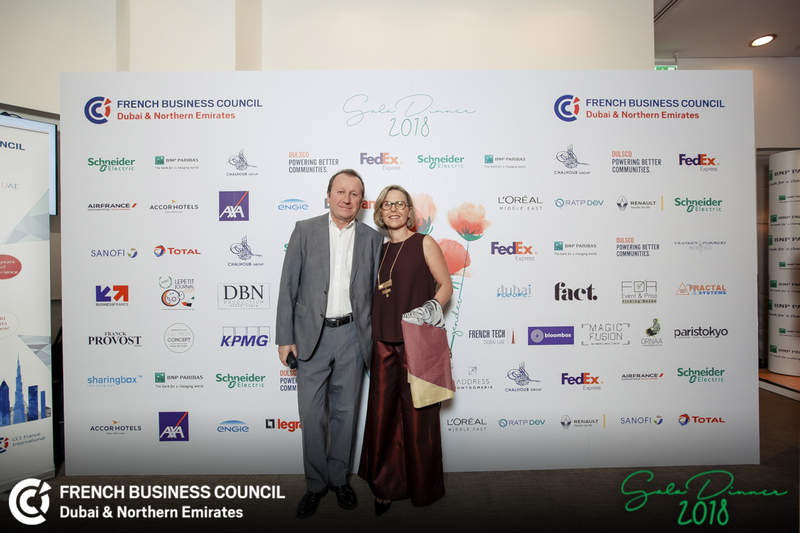 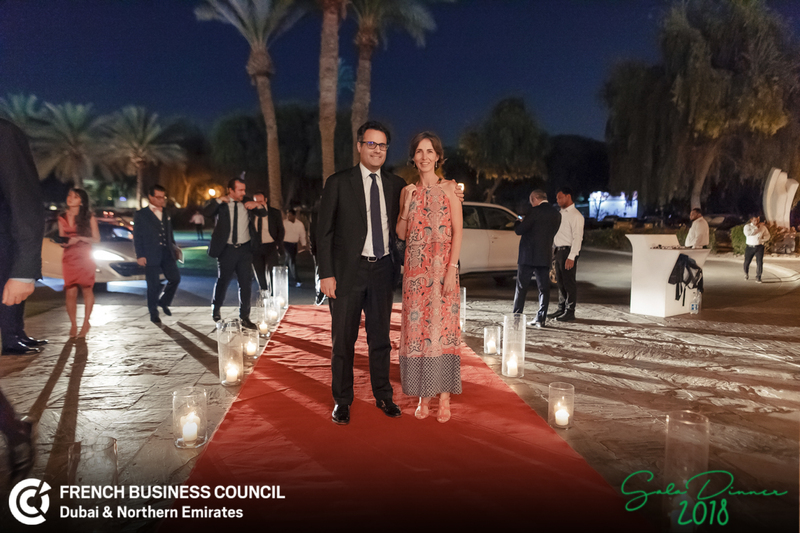 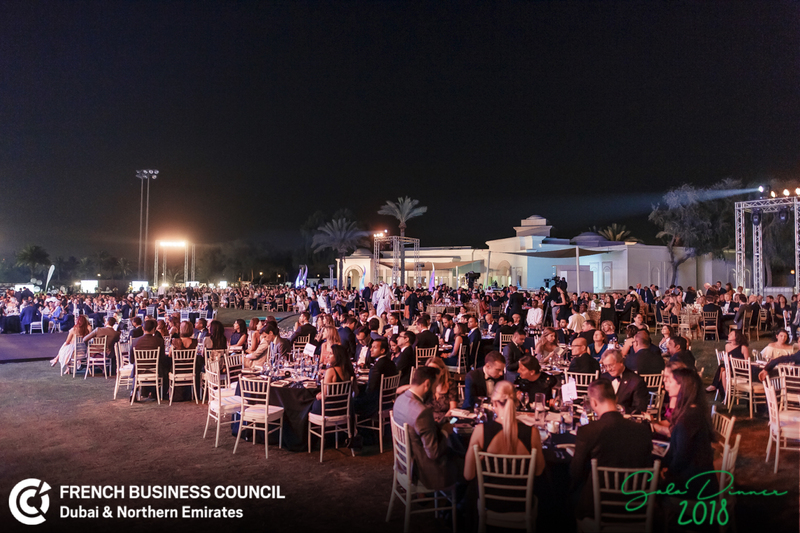 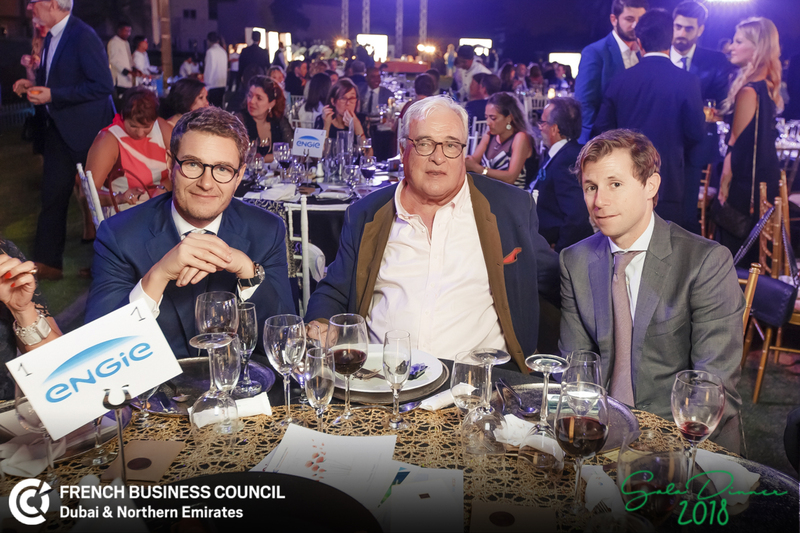 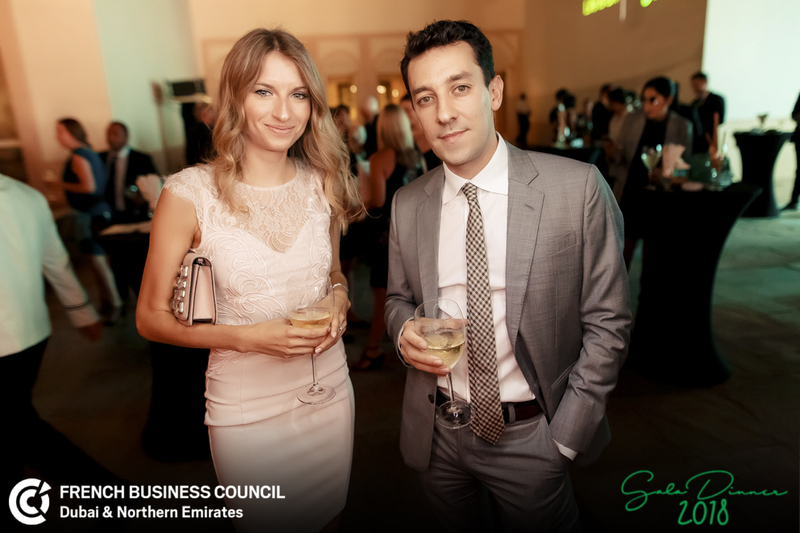 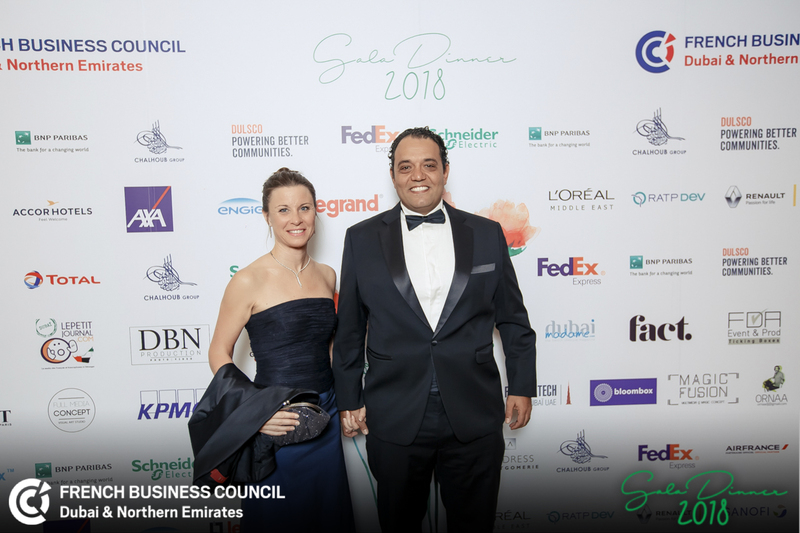 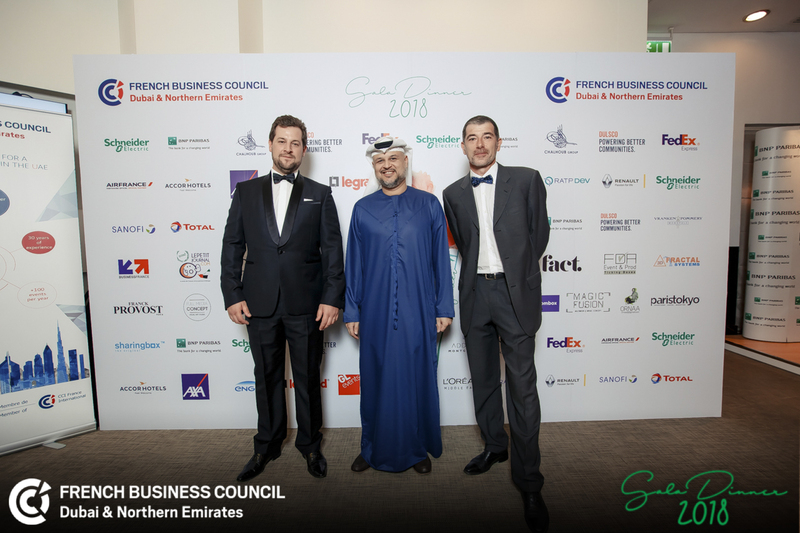 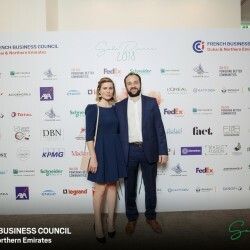 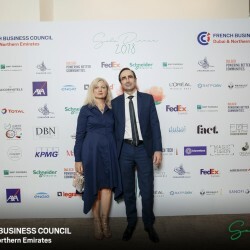 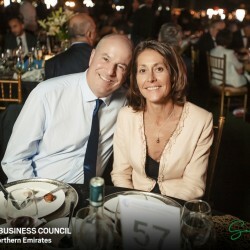 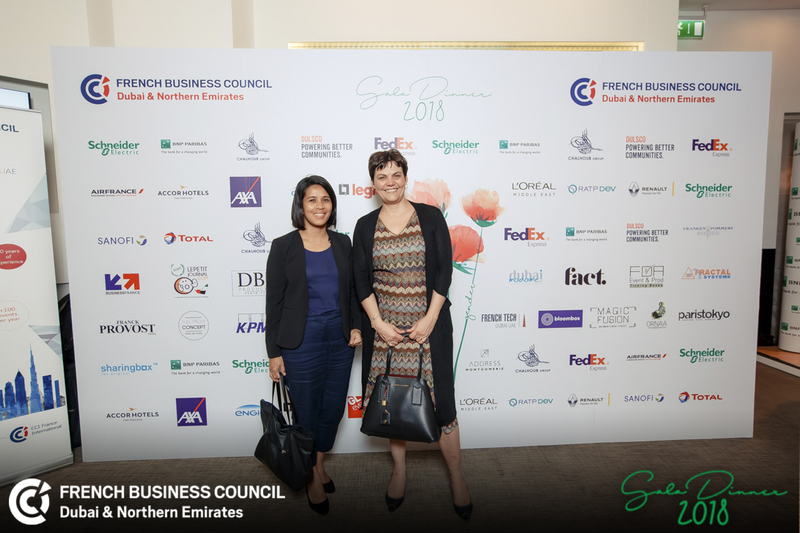 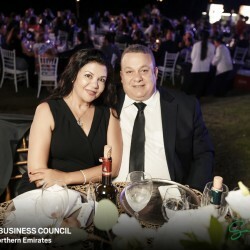 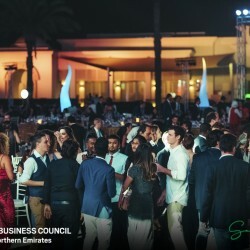 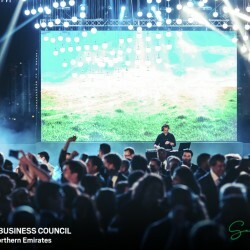 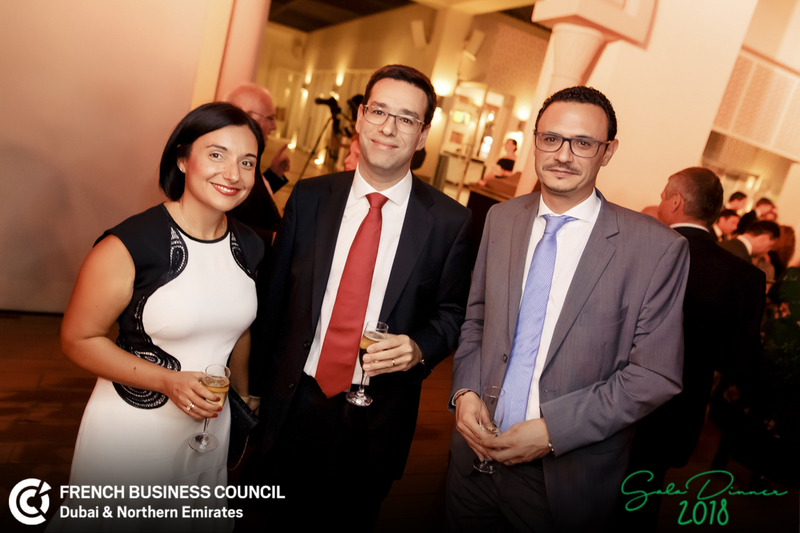 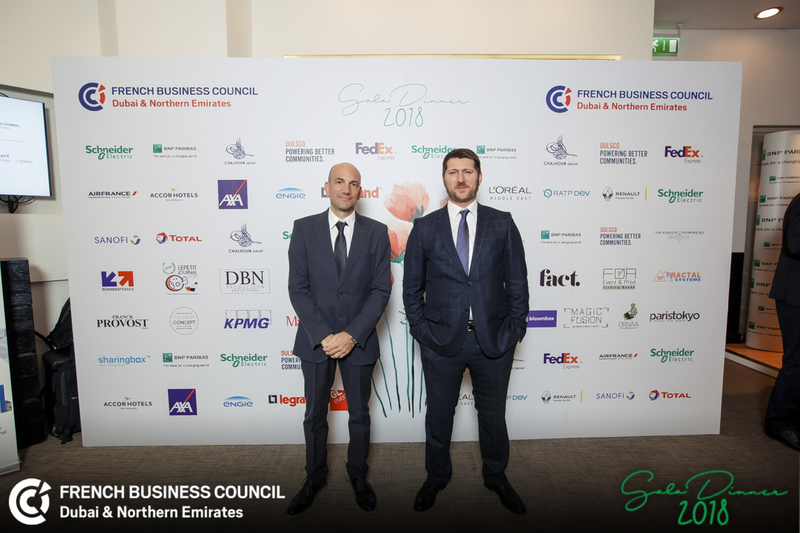 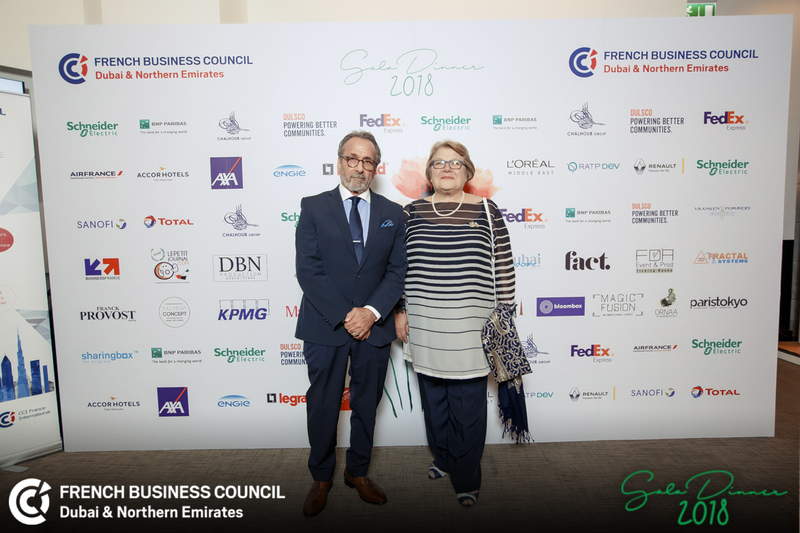 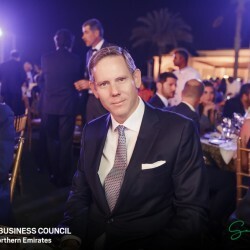 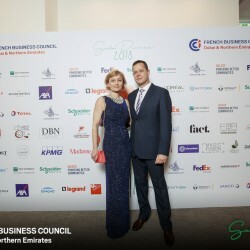 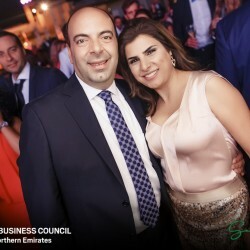 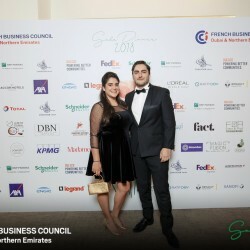 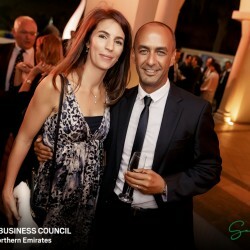 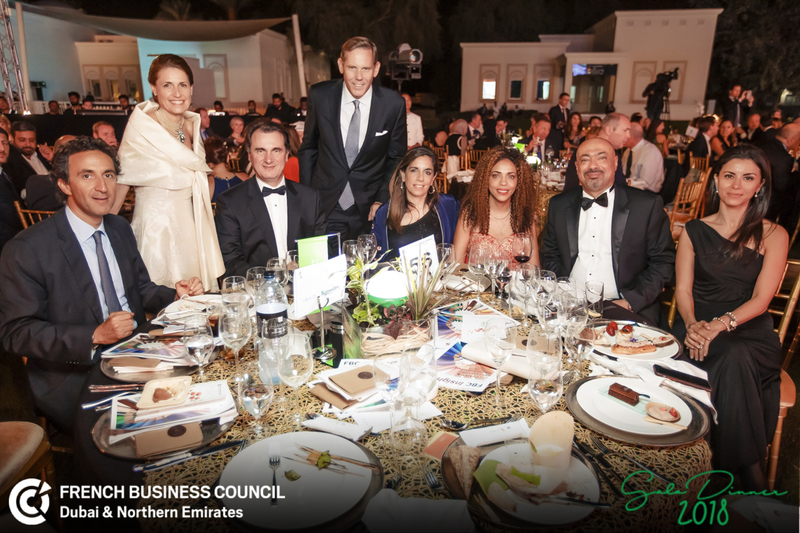 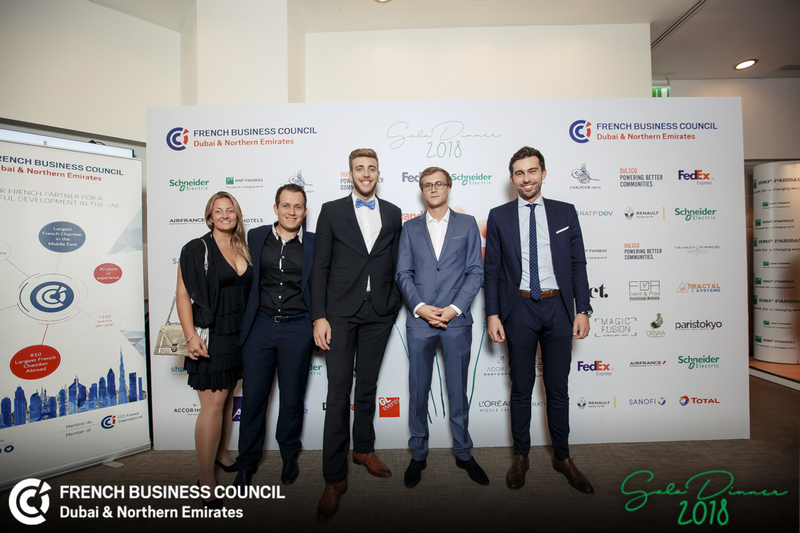 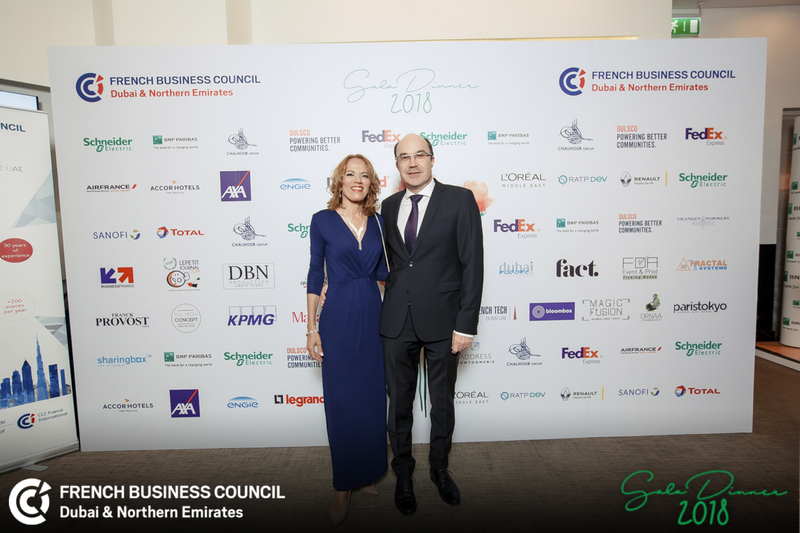 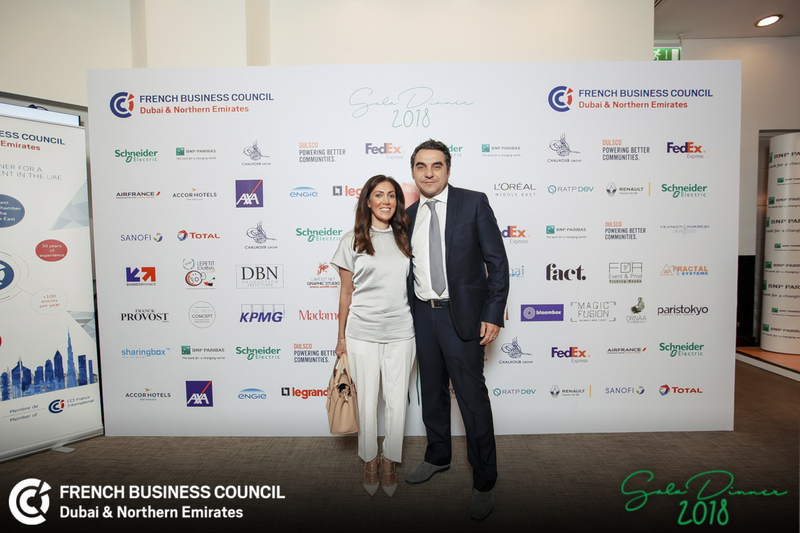 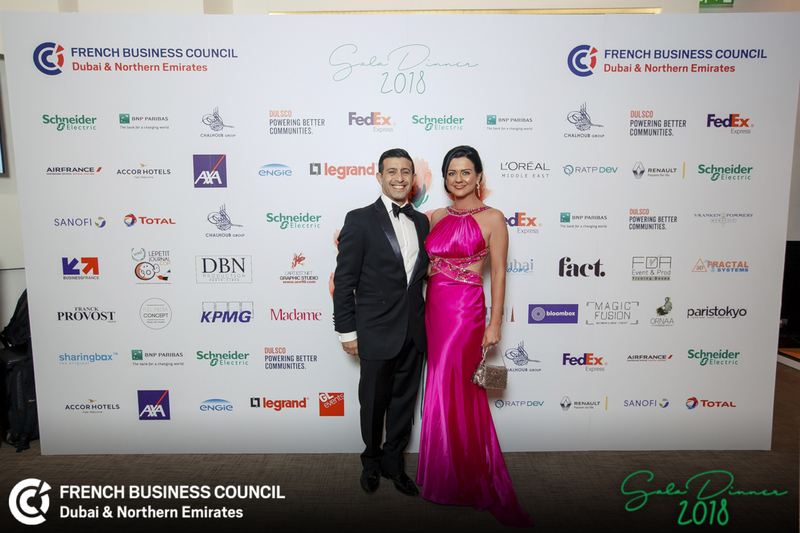 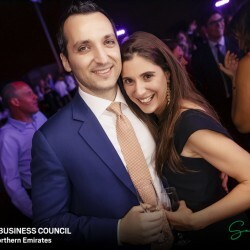 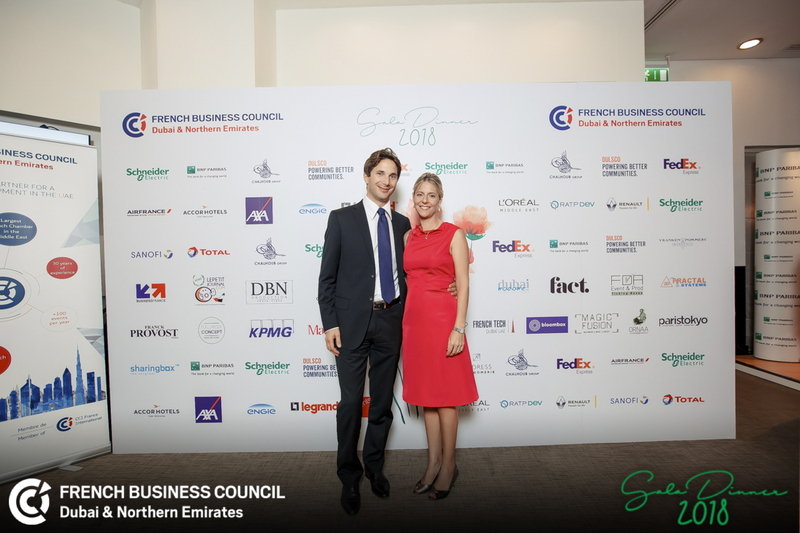 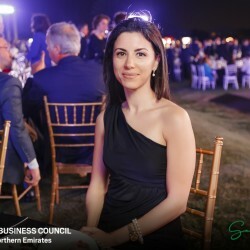 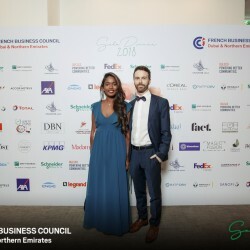 The FBC Gala Dinner is a major event for the French Business Community in the UAE, gathering more than 1,000 guests. 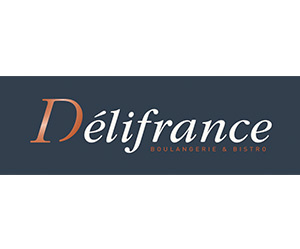 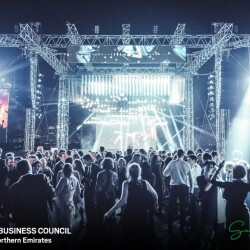 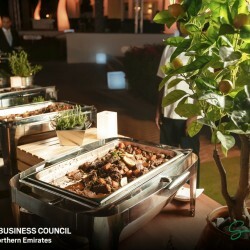 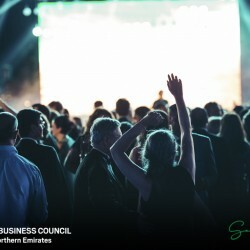 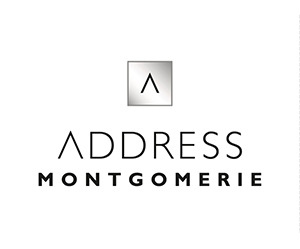 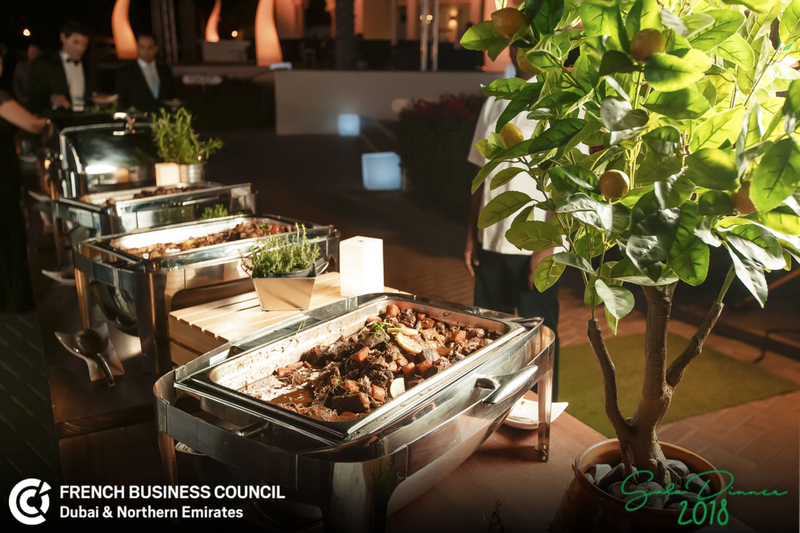 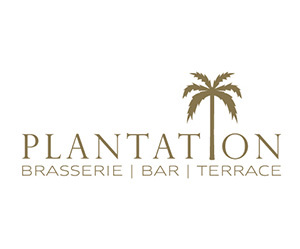 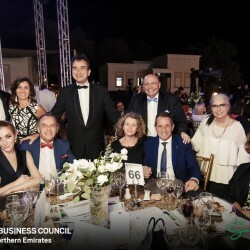 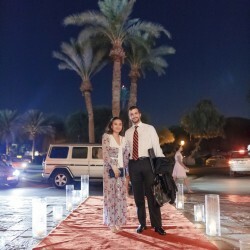 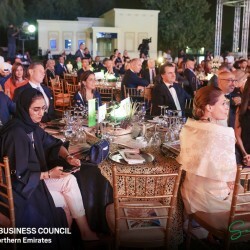 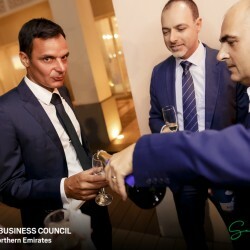 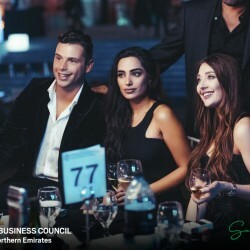 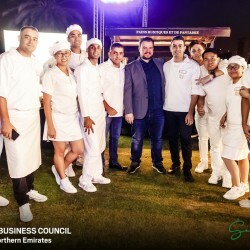 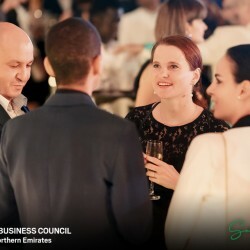 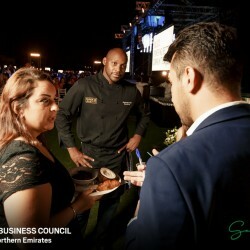 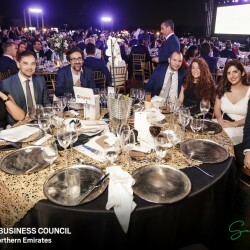 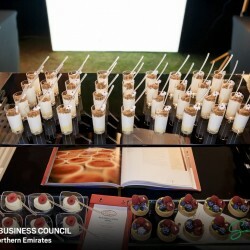 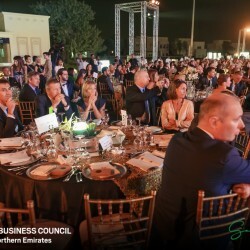 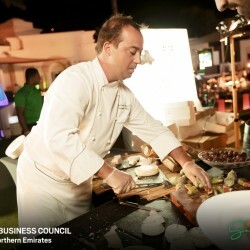 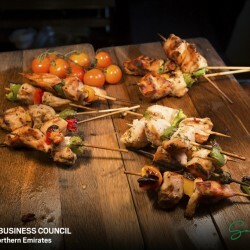 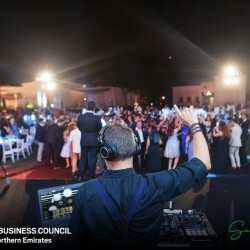 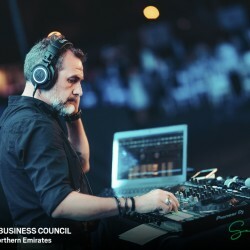 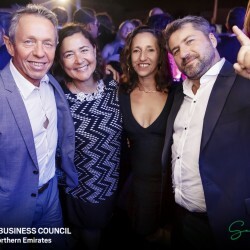 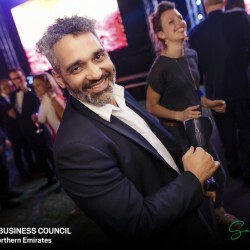 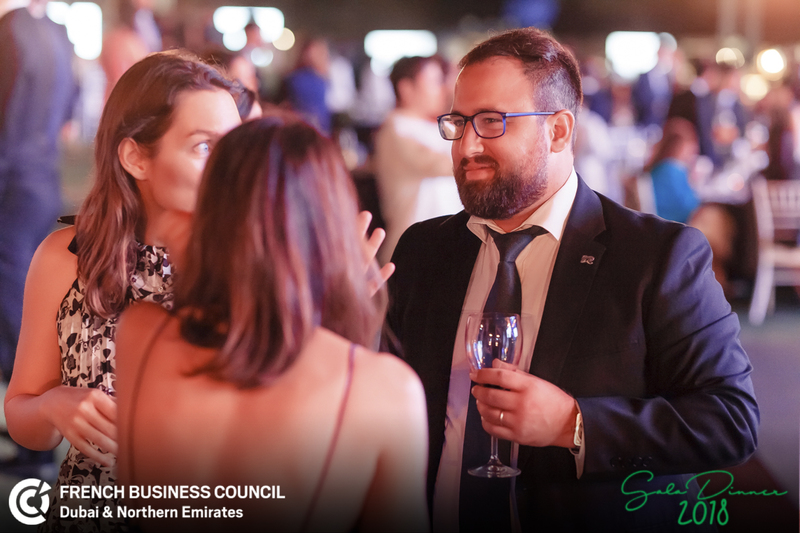 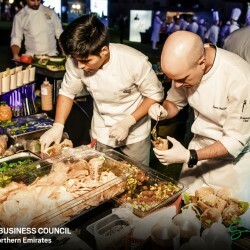 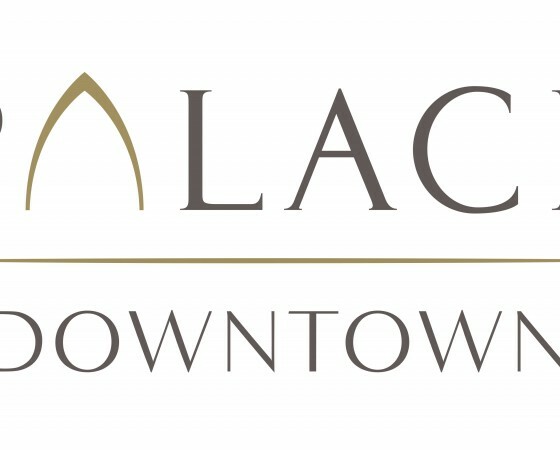 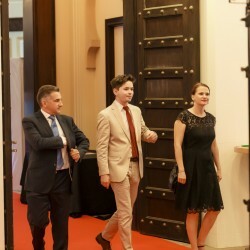 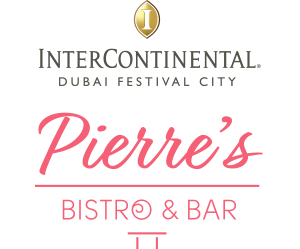 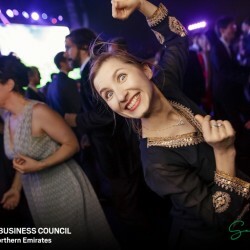 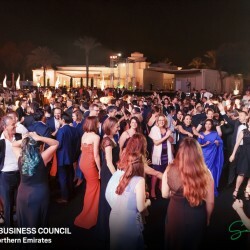 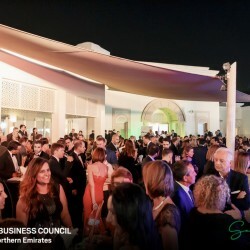 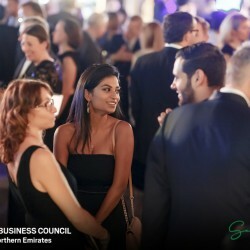 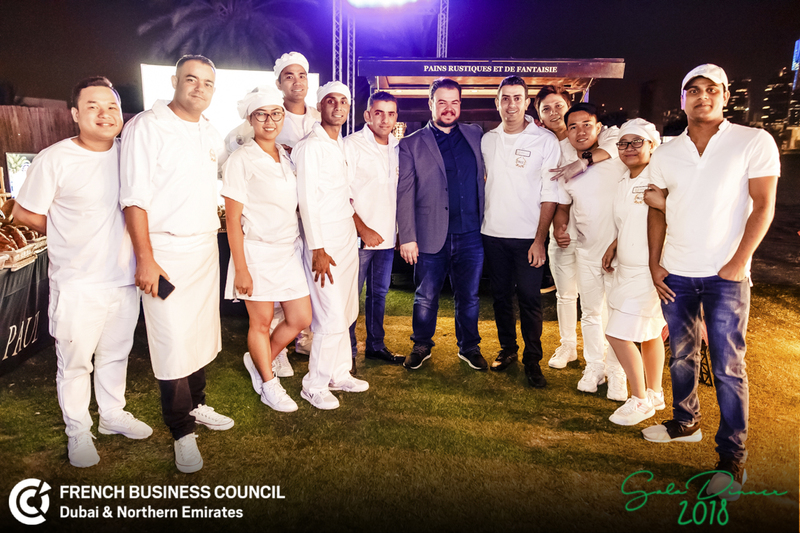 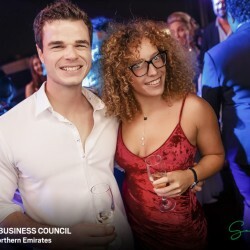 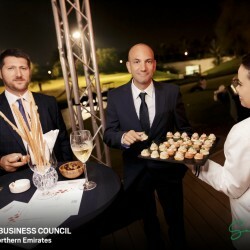 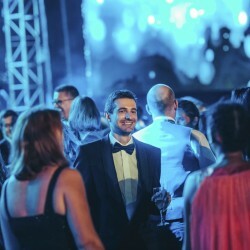 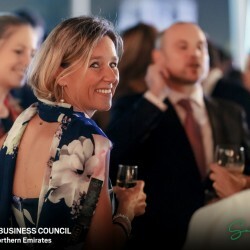 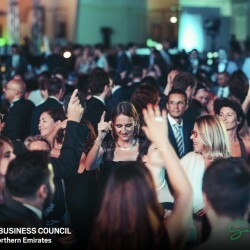 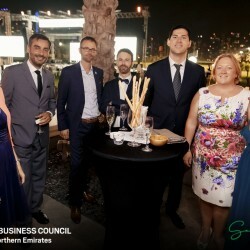 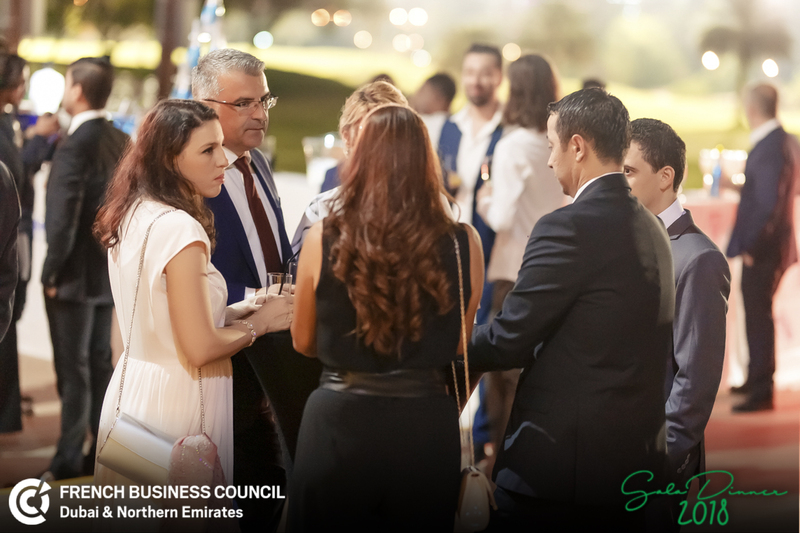 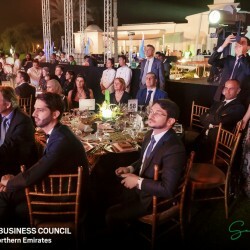 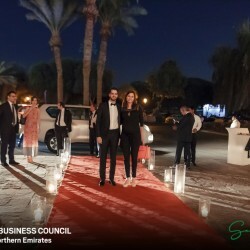 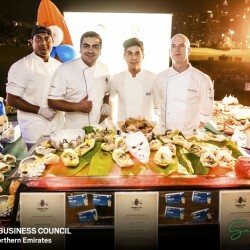 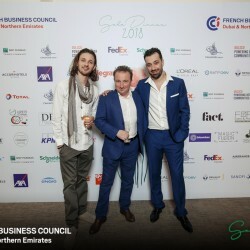 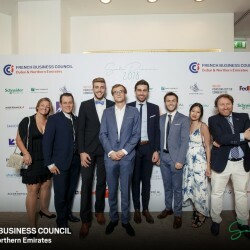 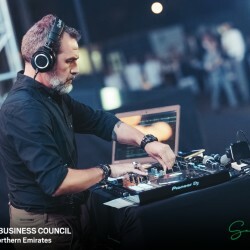 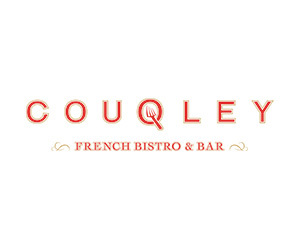 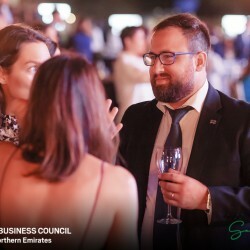 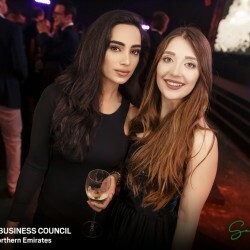 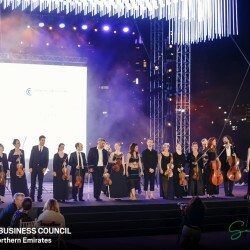 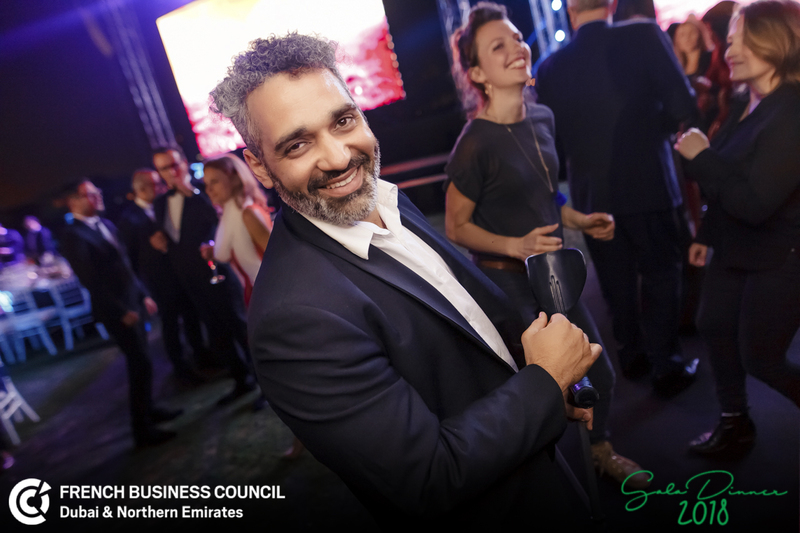 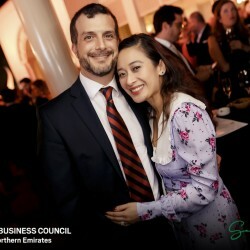 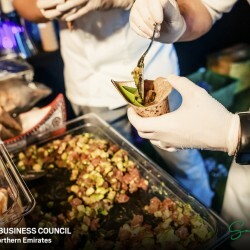 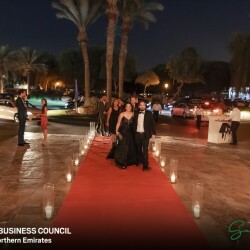 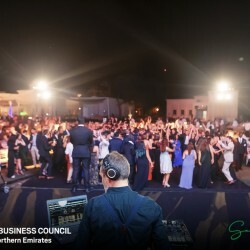 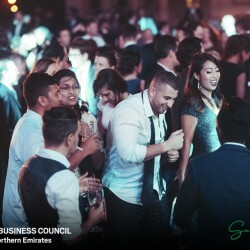 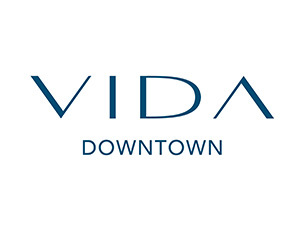 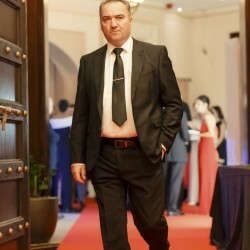 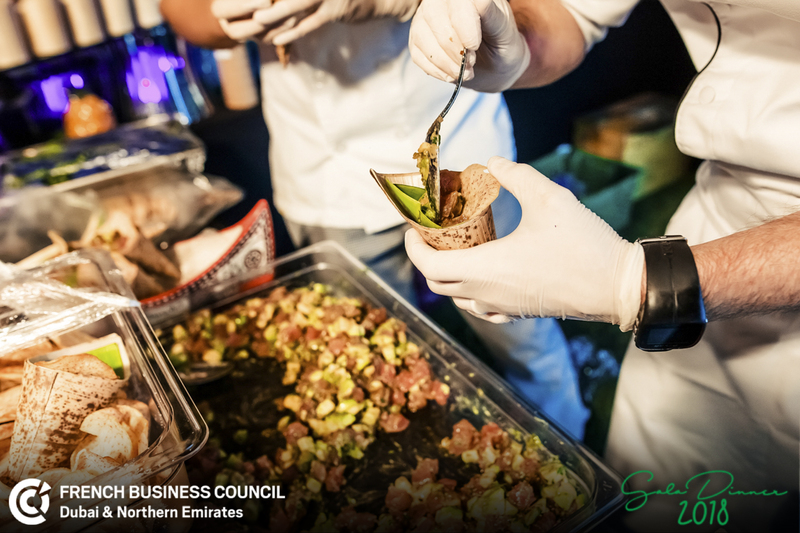 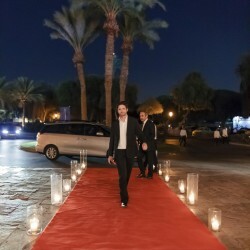 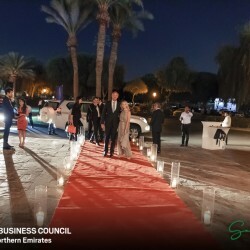 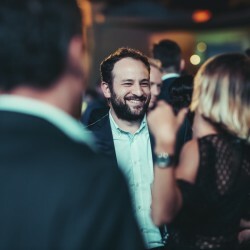 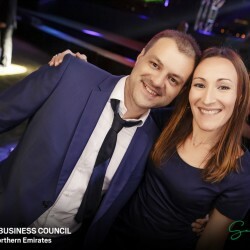 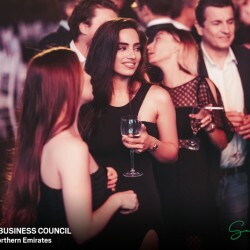 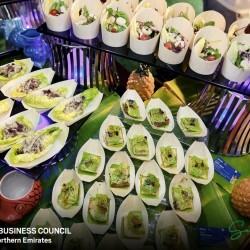 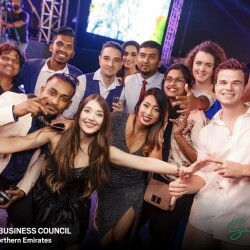 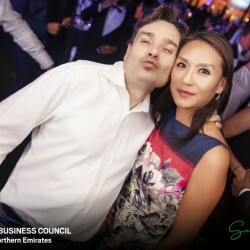 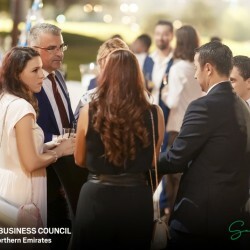 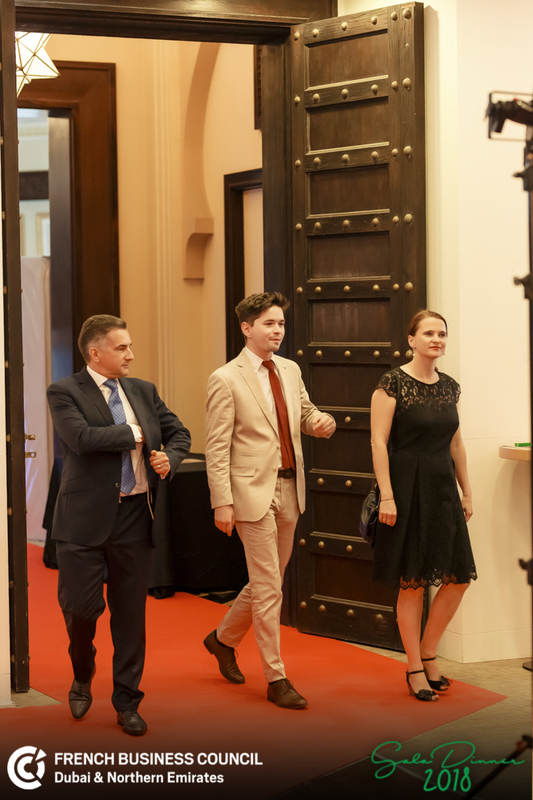 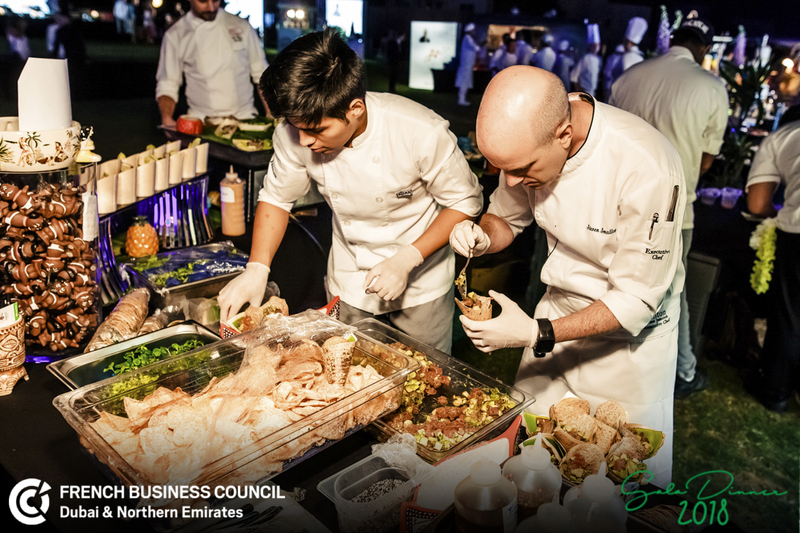 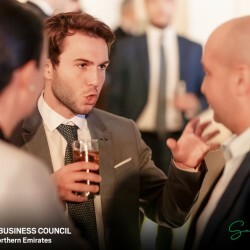 This unique evening will combine business networking opportunities with French, local and international business communityand the finest gastronomic experience with live cooking stations and talented Chefs from prestigious restaurants. 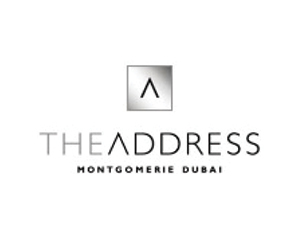 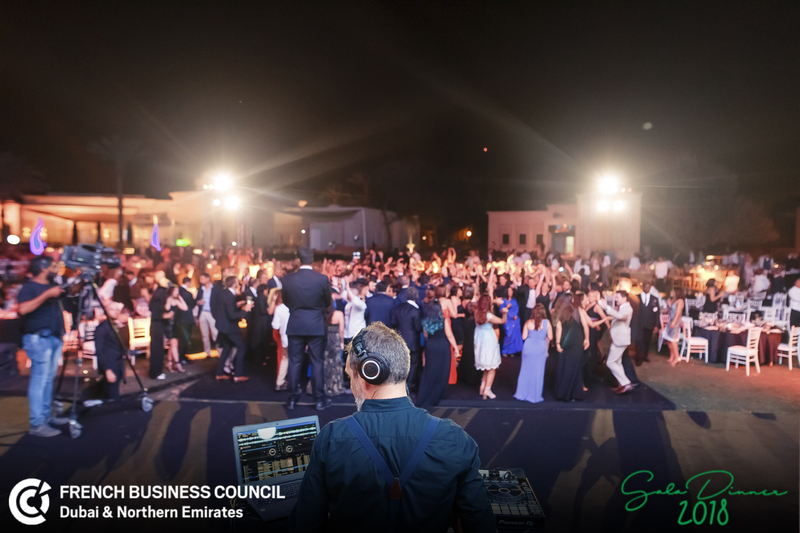 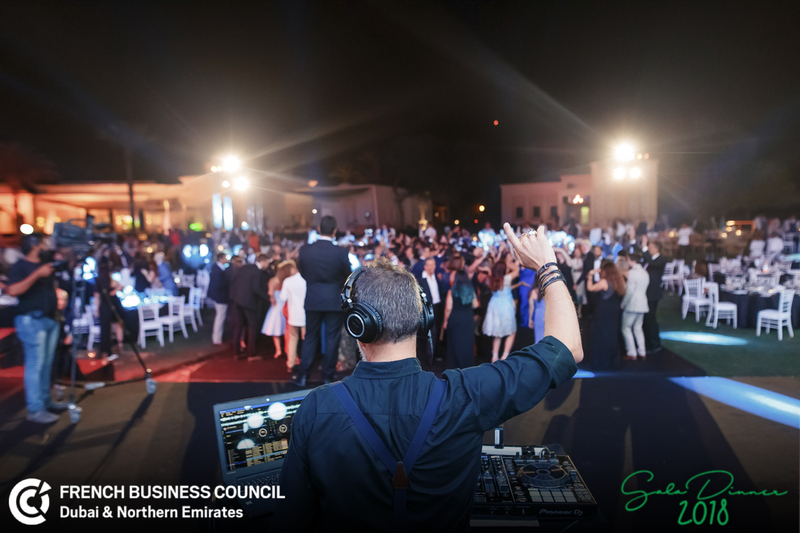 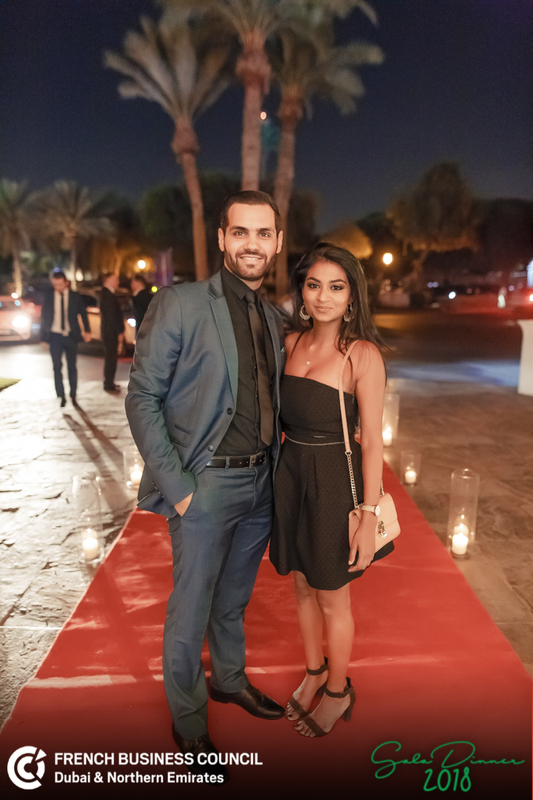 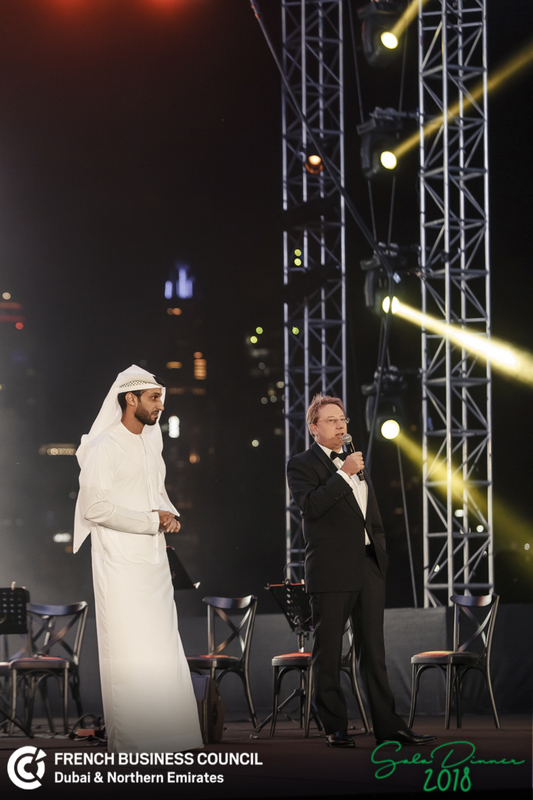 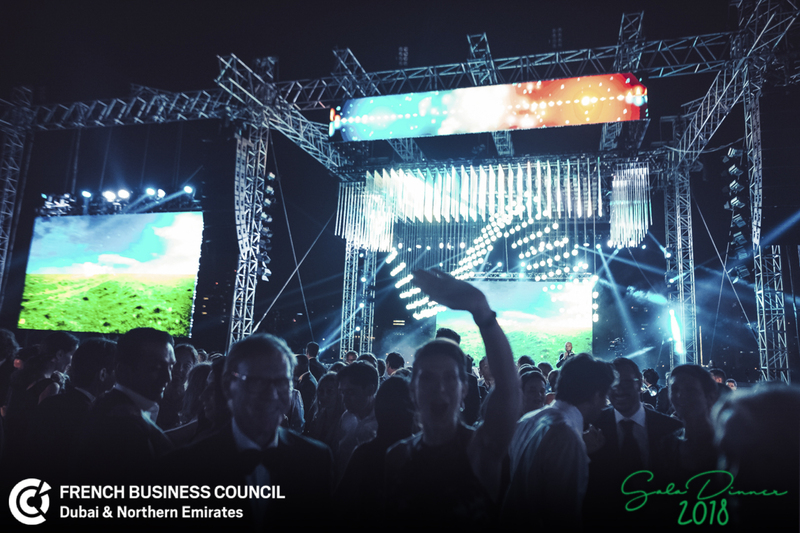 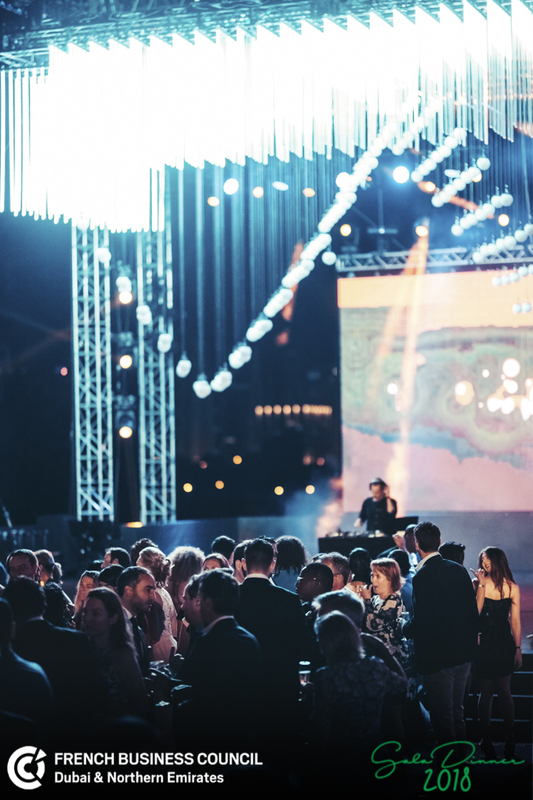 Address Montgomerie is the perfect location to held such an event, under the stars with an iconic view of the Dubai skyline! 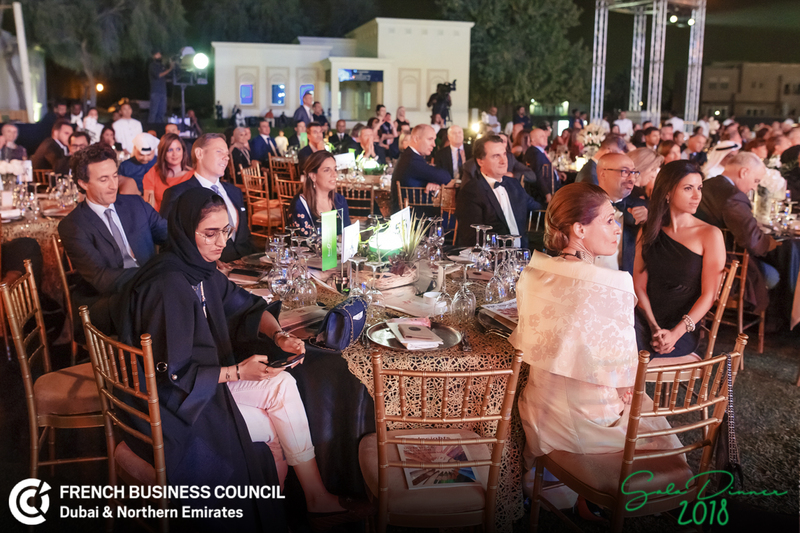 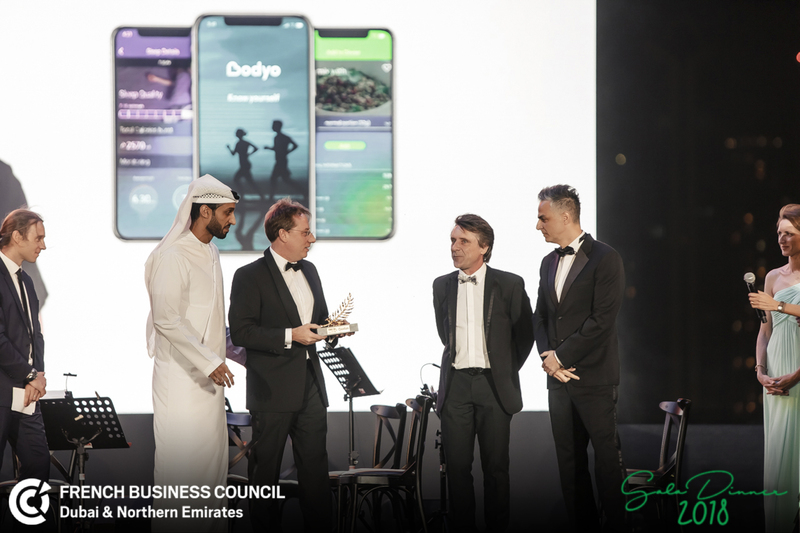 The participants will discover the best initiatives and practices of our sponsors and partners to support the strategy of the nation and contribute to make the UAE the happiest and smartest country in the world! 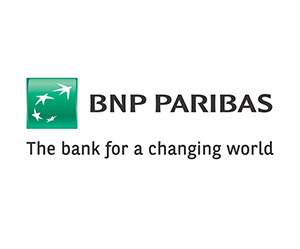 BNP Paribas is a leading bank in Europe with an international reach. 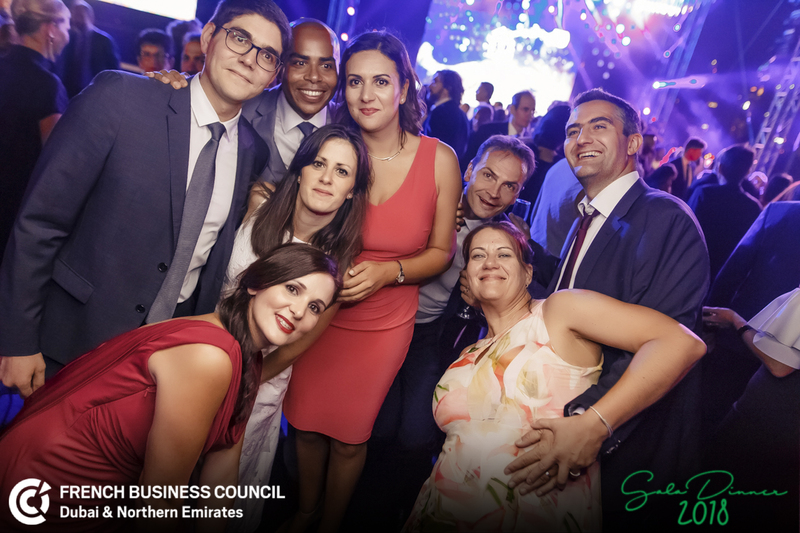 It has a presence in 74 countries, with more than 192,000 employees spread across Europe, Africa, Middle East, Asia Pacific and the Americas. 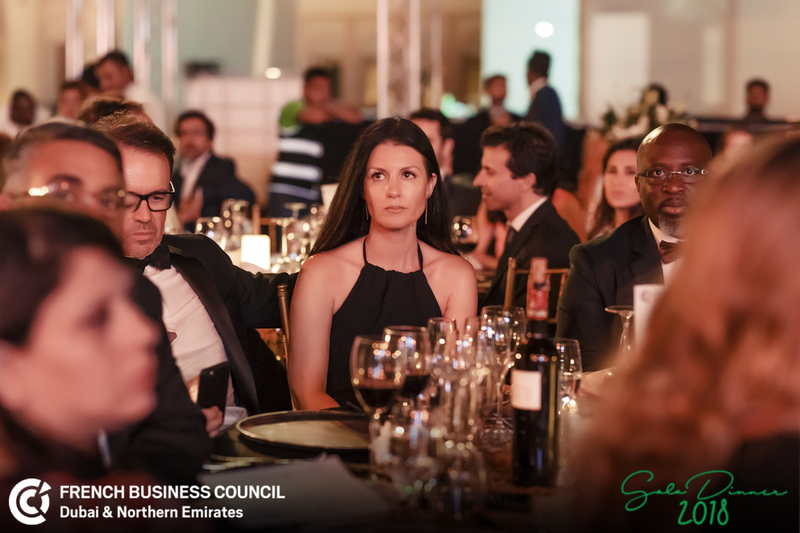 The Group has key positions in its three main activities: Domestic Markets, International Financial Services and Corporate & Institutional Banking. 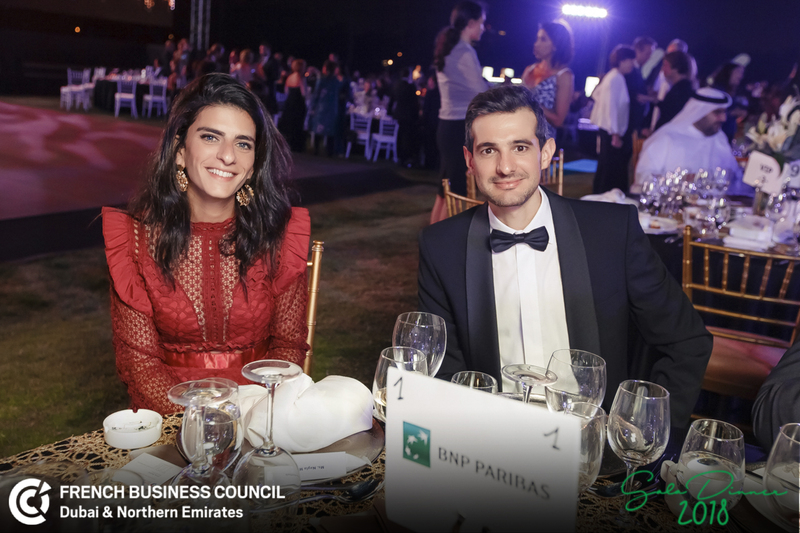 BNP Paribas acts as a responsible bank and provides solutions to all its clients: individuals, community associations, entrepreneurs, SMEs, corporate clients and institutional investors. 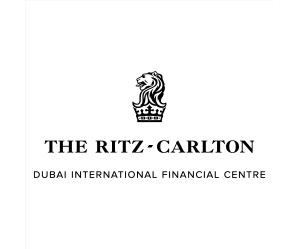 The Group helps all its clients to realise their projects through solutions spanning financing, investment, savings and protection insurance. 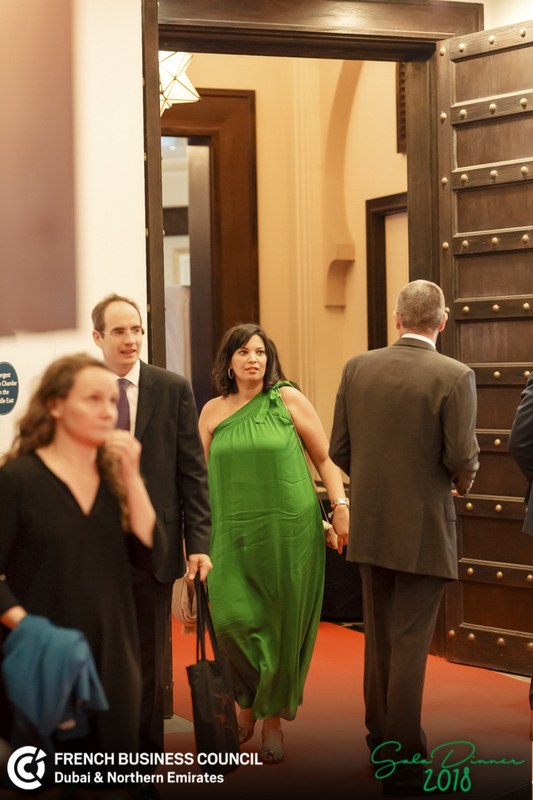 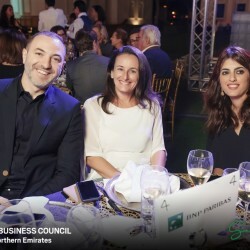 At BNP Paribas, our commitment to diversity and inclusion reflects our responsibilities to equality, opportunity and best in class management practices. 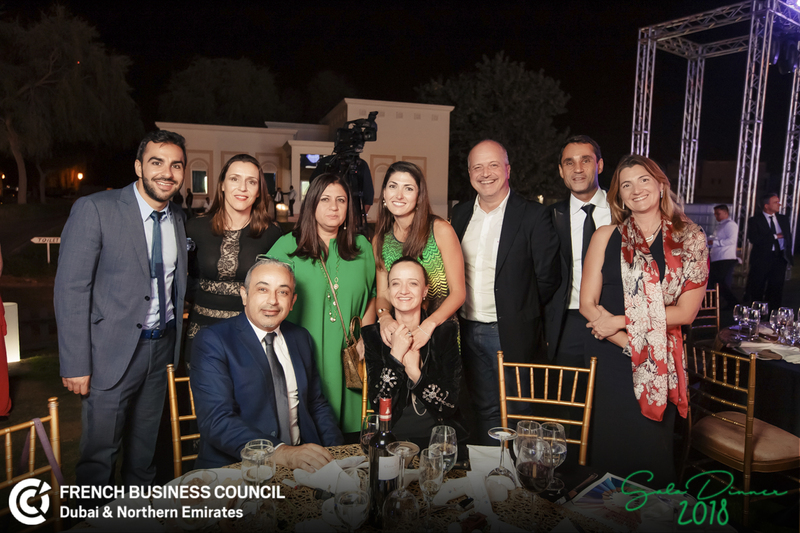 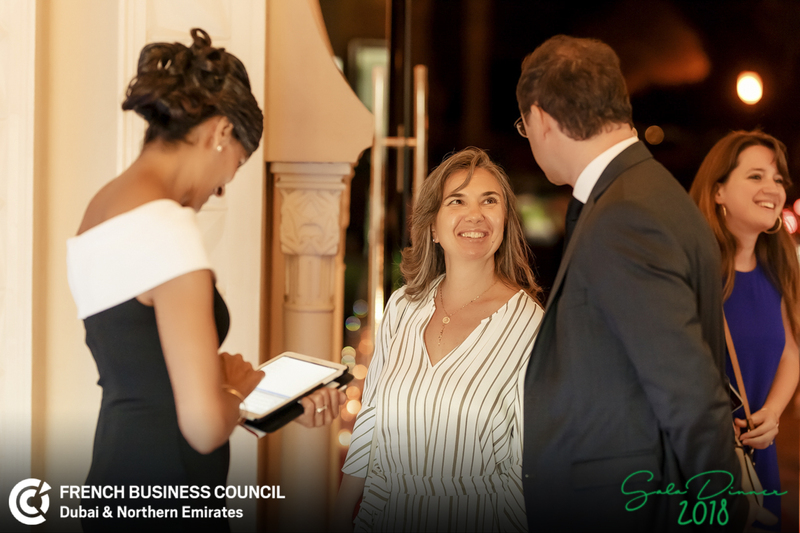 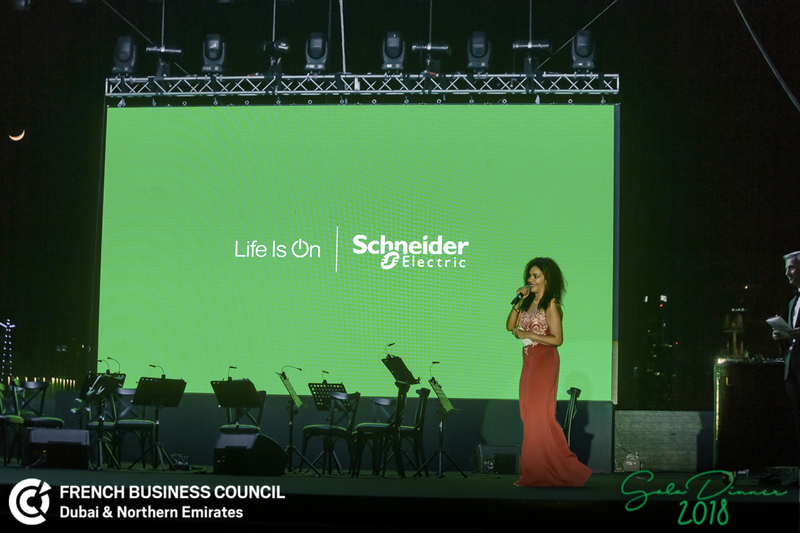 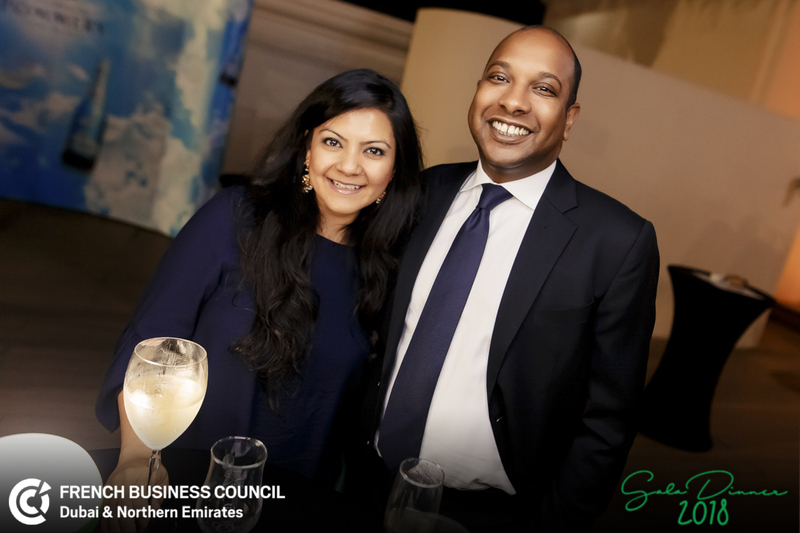 Throughout our growing network in the Middle East and Africa, and indeed around the world, our strength is rooted in our embedded culture of diversity, which guides our social impact and strengthens our business performance. 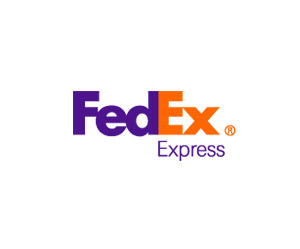 FedEx Corporation : FedEx Corp. (NYSE: FDX) provides customers and businesses worldwide with a broad portfolio of transportation, e-commerce and business services. 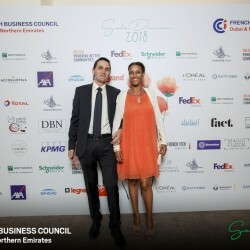 With annual revenues of $48 billion, the company offers integrated business applications through operating companies competing collectively and managed collaboratively, under the respected FedEx brand. 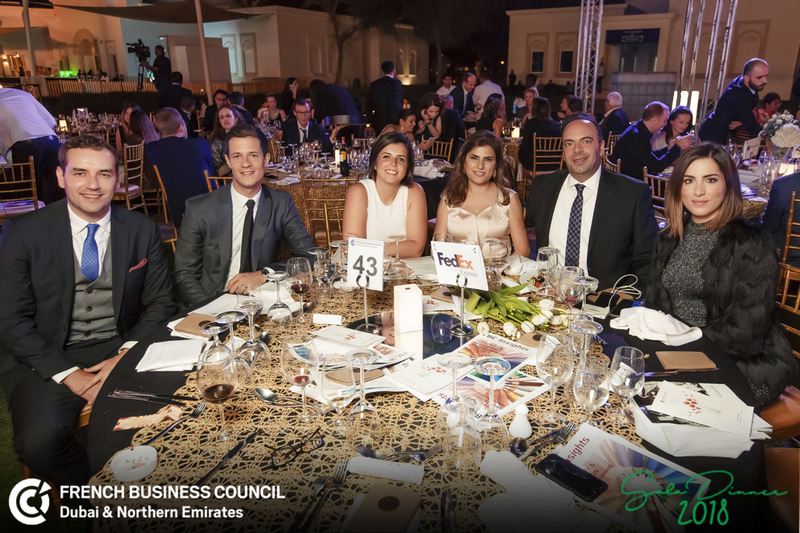 Consistently ranked among the world’s most admired and trusted employers, FedEx inspires its more than 325,000 team members to remain “absolutely, positively” focused on safety, the highest ethical and professional standards and the needs of their customers and communities. 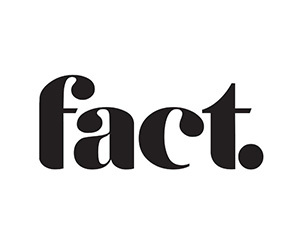 For more information, visit news.fedex.com. 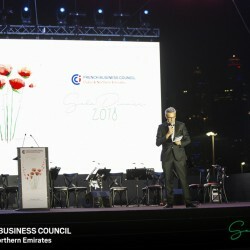 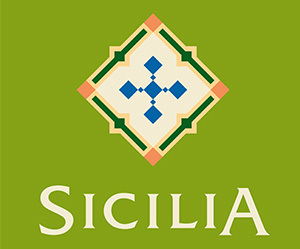 connecting markets that comprise more than 99 percent of the world’s gross domestic product within one to three business days. 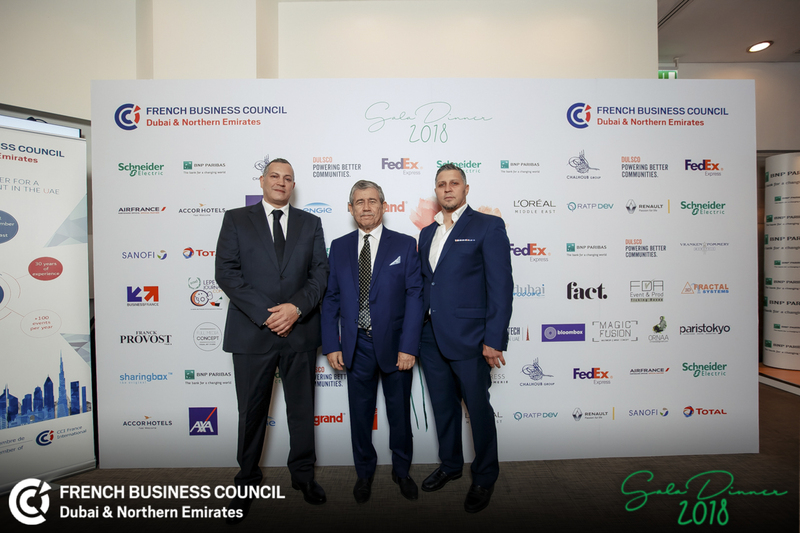 Unmatched air route authorities and transportation infrastructure, combined with leading-edge information technologies, make Fex Ex Express the world’s largest express transportation company, providing fast and reliable services for more than 4 million shipments each business day. 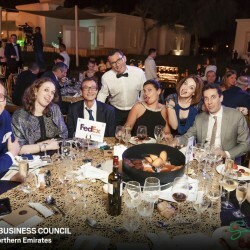 FedExpress – Middle East : FedEx Express established its regional headquarters and gateway facility in Dubai in 1989. 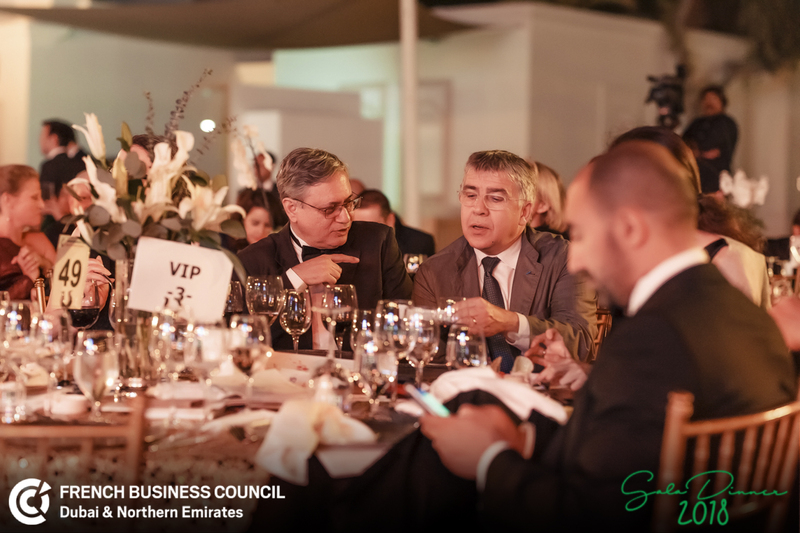 The UAE, Bahrain and Kuwait are direct-served markets with other countries in the region served through a network of service providers. 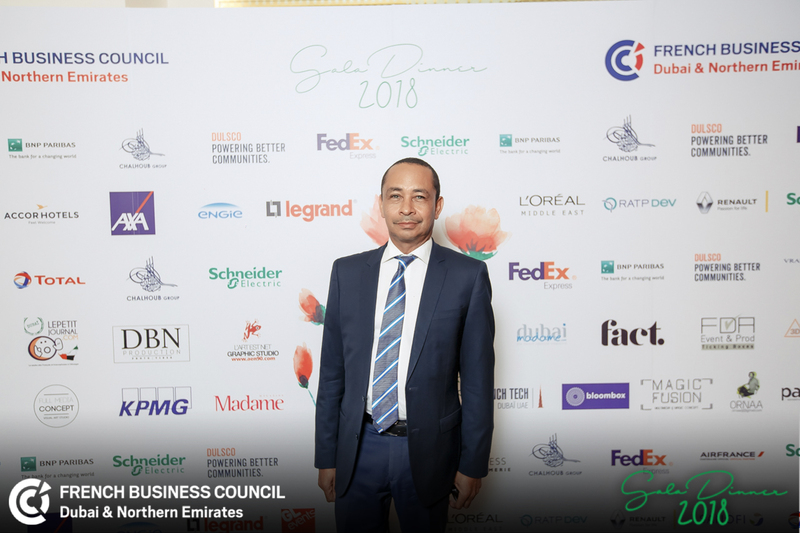 The FedEx Dubai Hub commenced operations in 1998by acting as a regional hub for the Middle East, Indian Subcontinent and Africa. 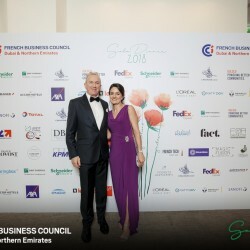 This hub serves weekly FedEx Express flights that connect to and from airports in the U.S., France, India, China, and Hong Kong. 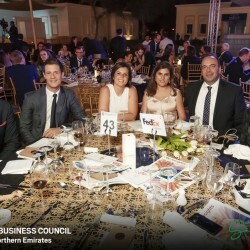 FedEx connects directly to locations in the region using a combination of commercial line-haul an trucking routes. 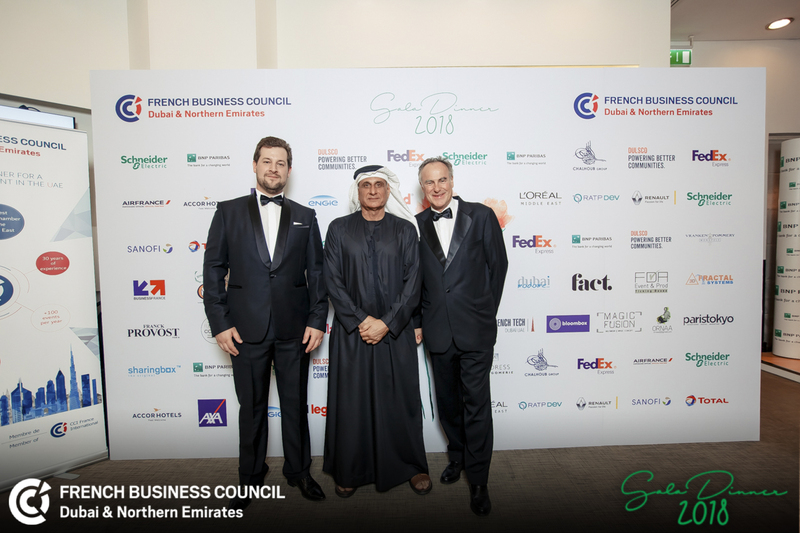 As the world’s largest express transportation company, FedEx uses a global air-and-ground network to speed delivery of time-sensitive shipments, usually in one to two business days with the delivery time guaranteed. 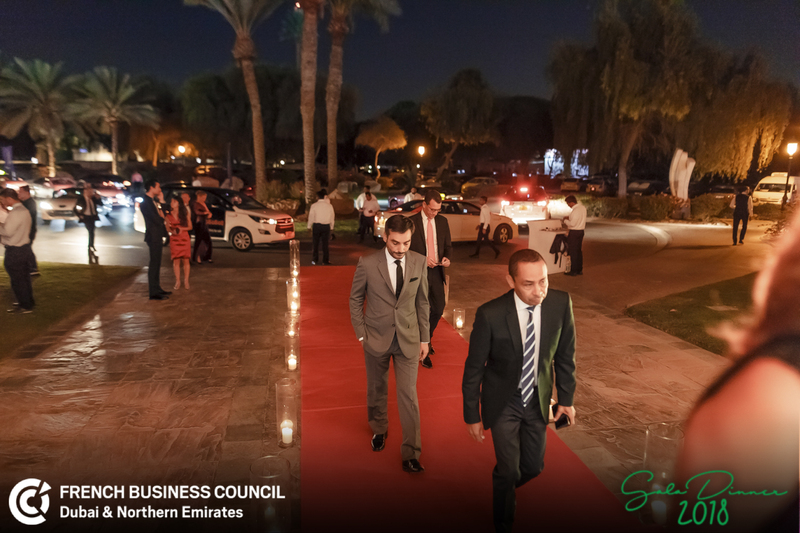 Our express segment and in particular our International Priority product has been the backbone of our success in the region. 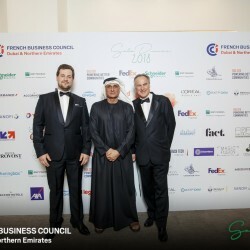 FedEx has also rolled out many other products and services in the market such as the International Express Freight, International Priority Freight Service, Next Day to the Us and Europe Next Day. 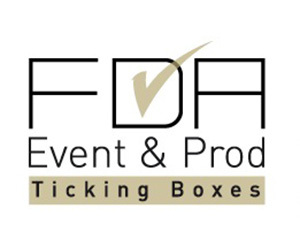 FedEx supports a wide array of industries across sectors-all industries with time critical needs, express delivery and specific handling (valuables), or large capacity handling (heavy weight shipments). 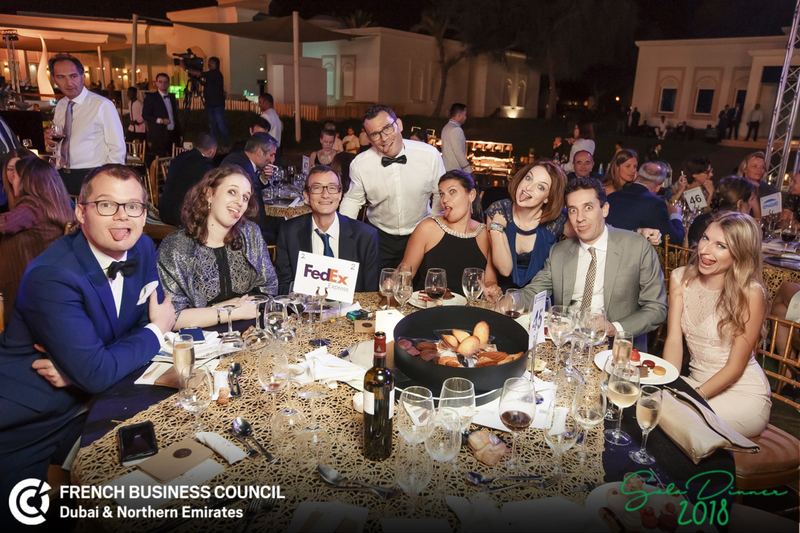 From within those industries, FedEx addresses its customer’s needs on a global and local level. 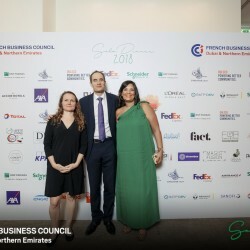 As the global pioneer of express delivery, FedEx stands out from its competitors by offering next day delivery, money back guarantee as well as state-of the-art technology for its customers and employees. 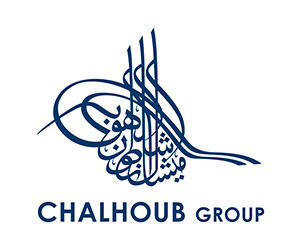 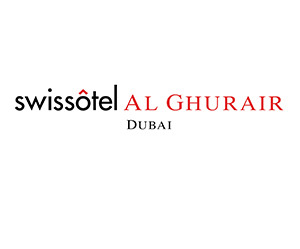 The Chalhoub Group is the leading partner for luxury across the Middle East since 1955. 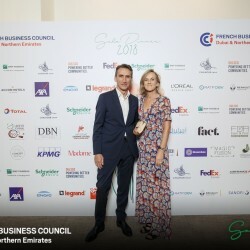 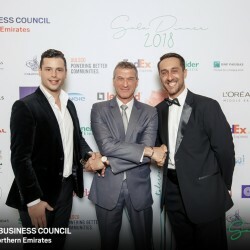 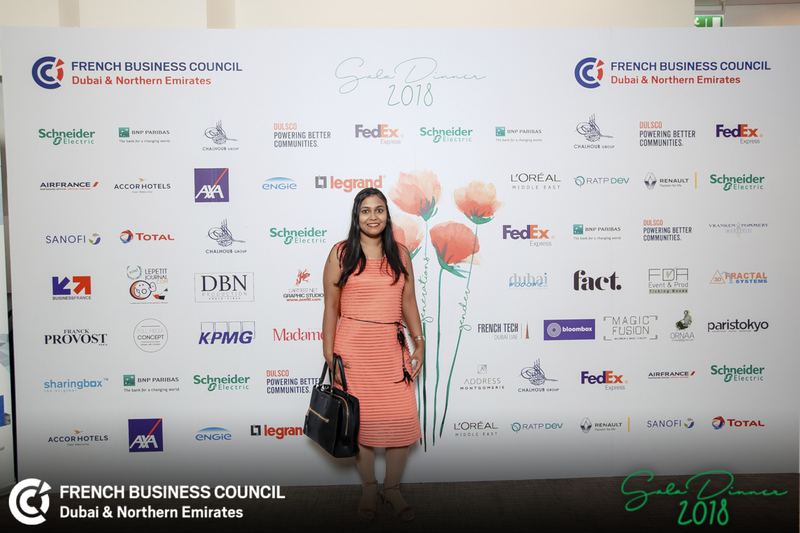 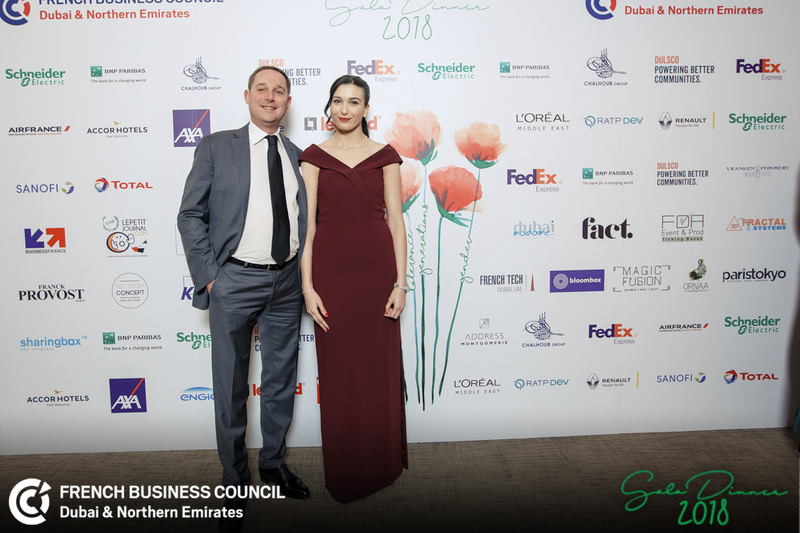 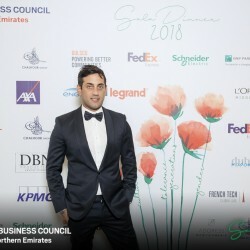 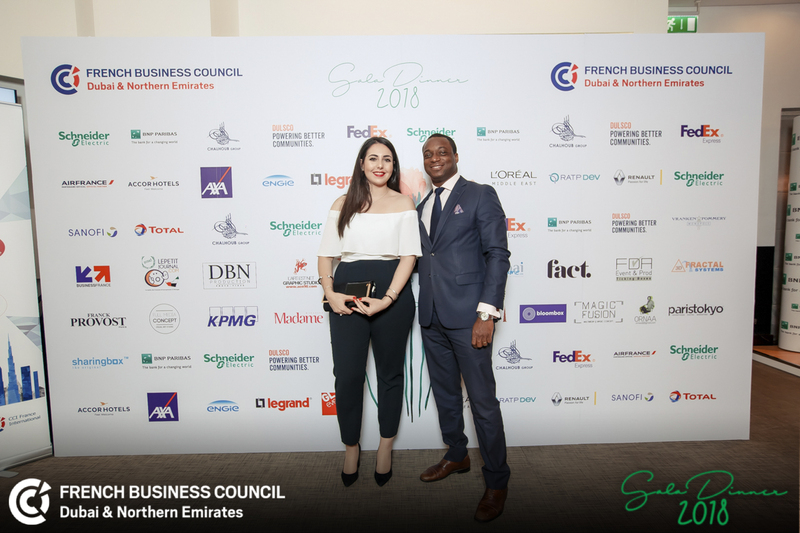 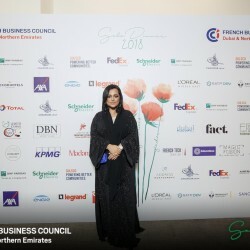 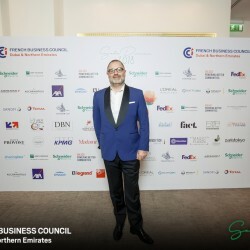 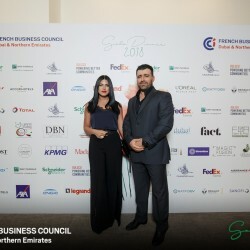 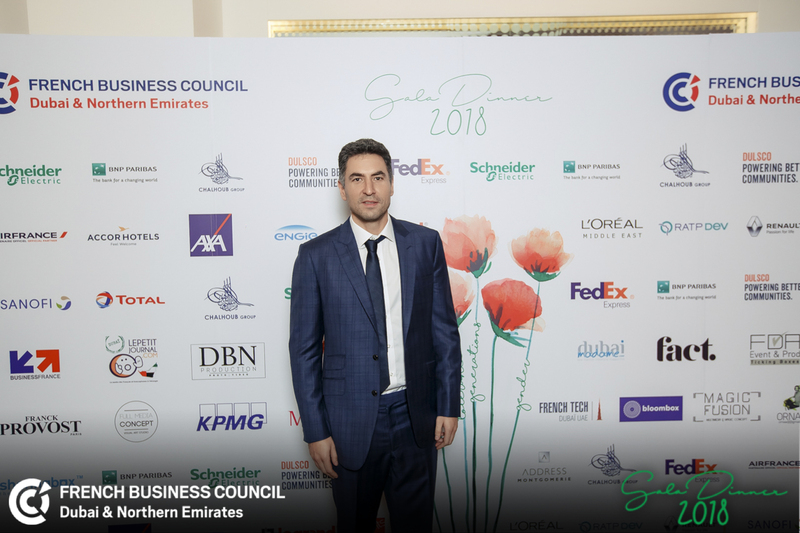 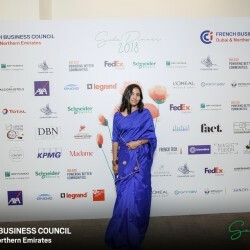 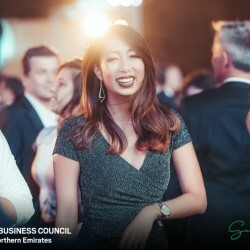 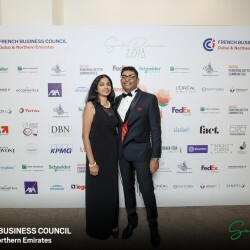 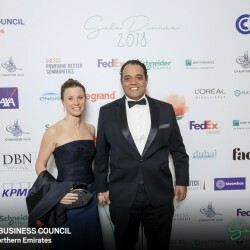 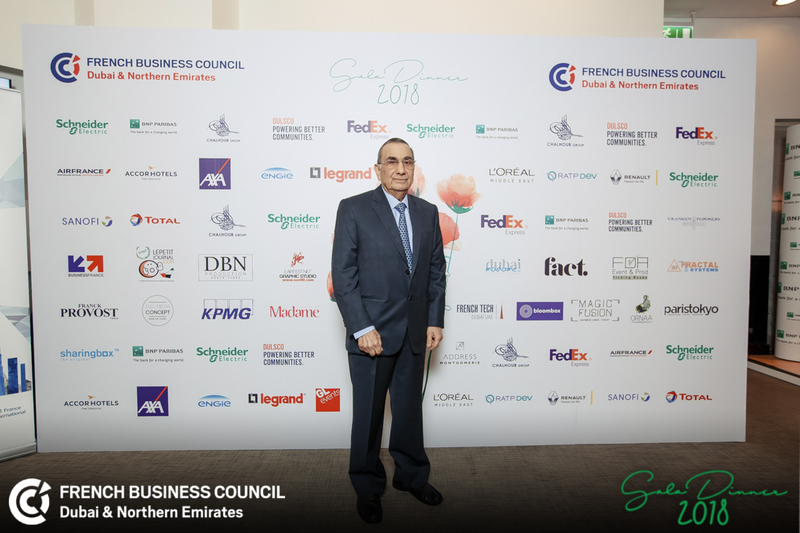 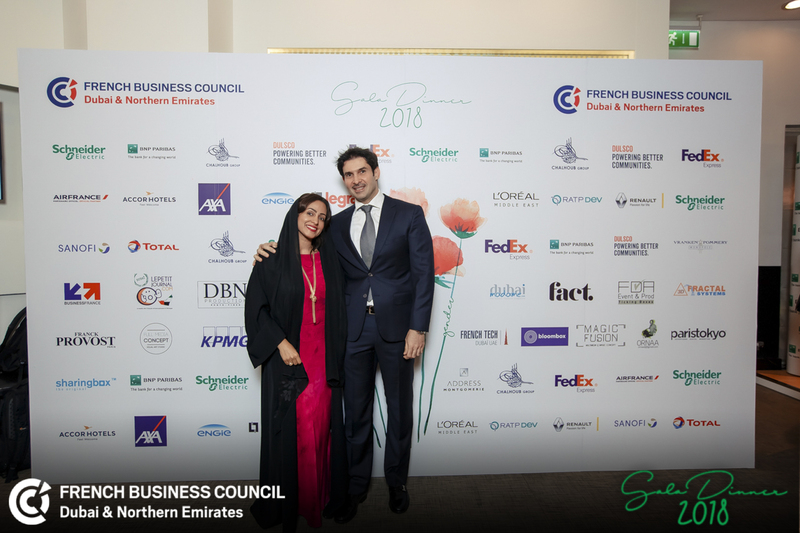 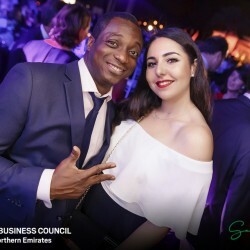 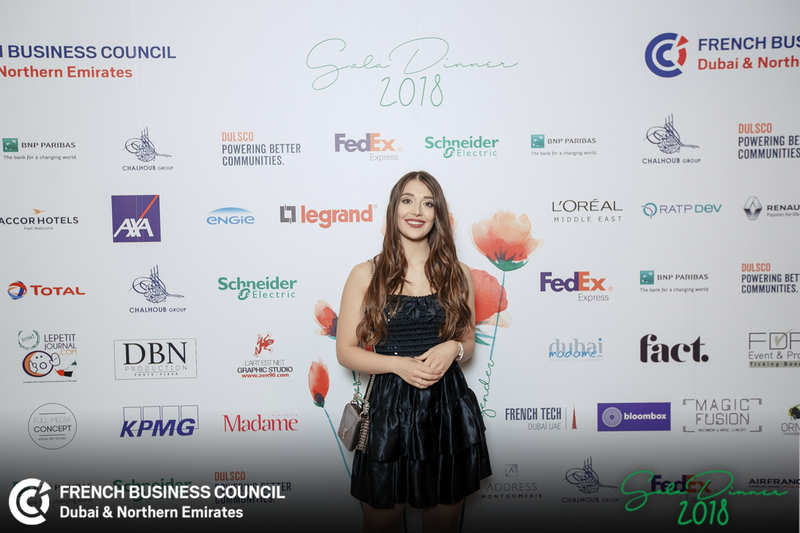 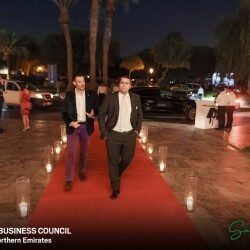 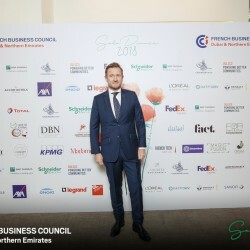 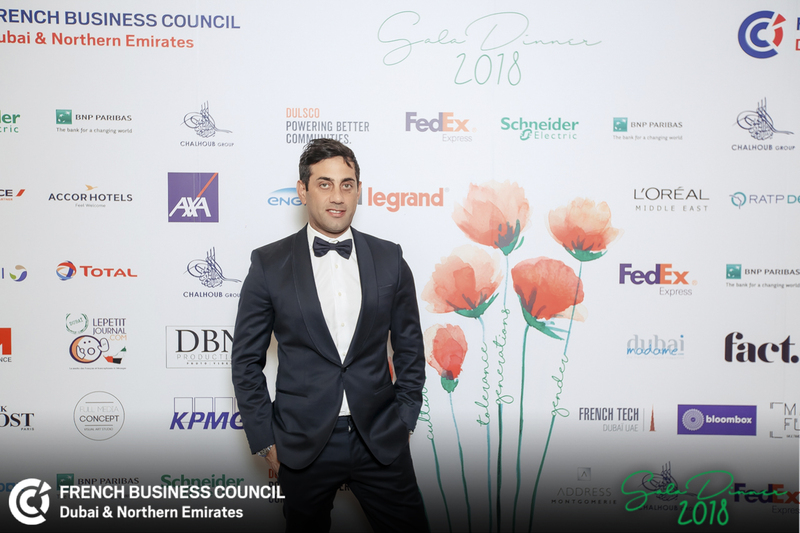 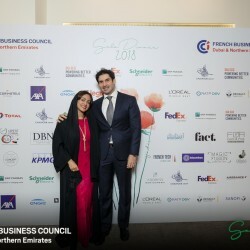 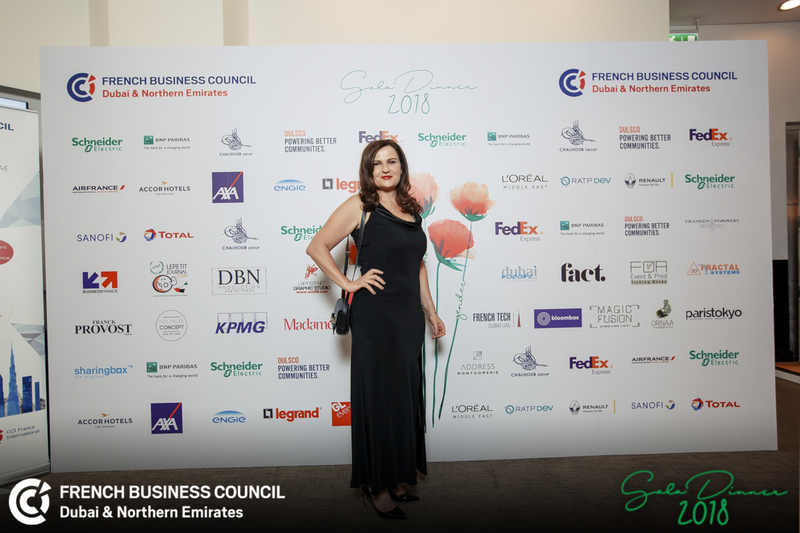 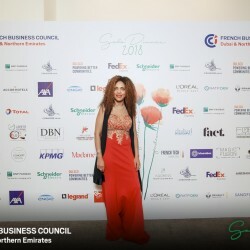 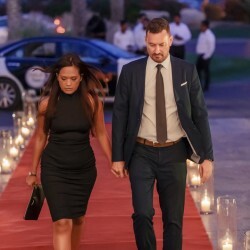 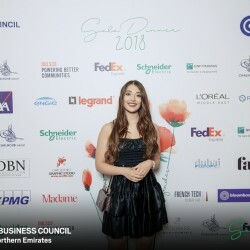 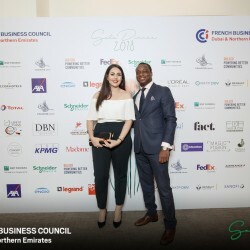 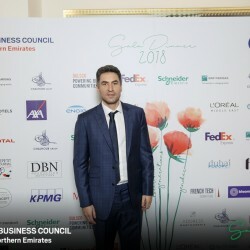 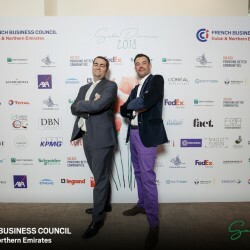 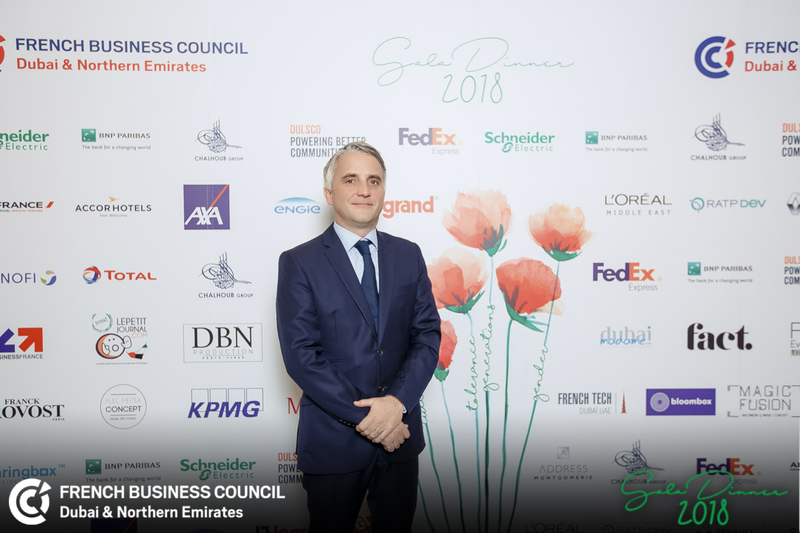 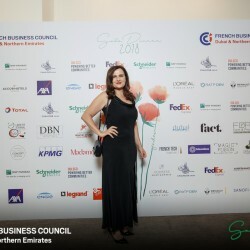 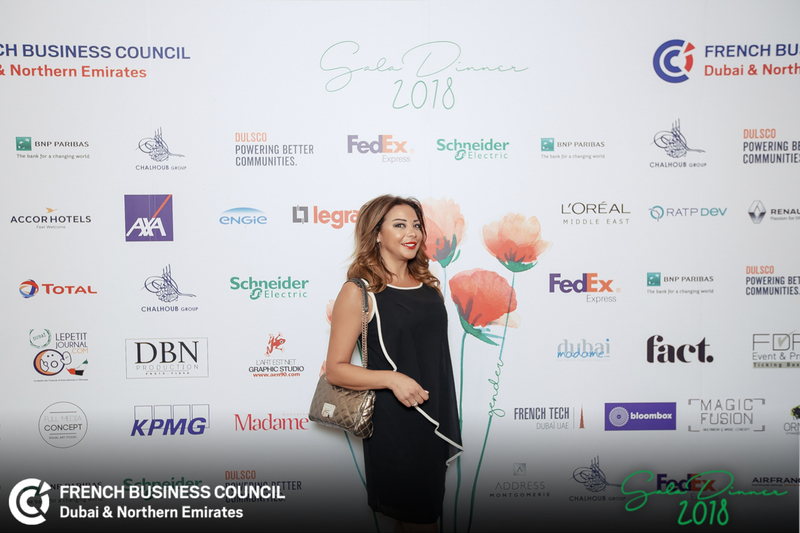 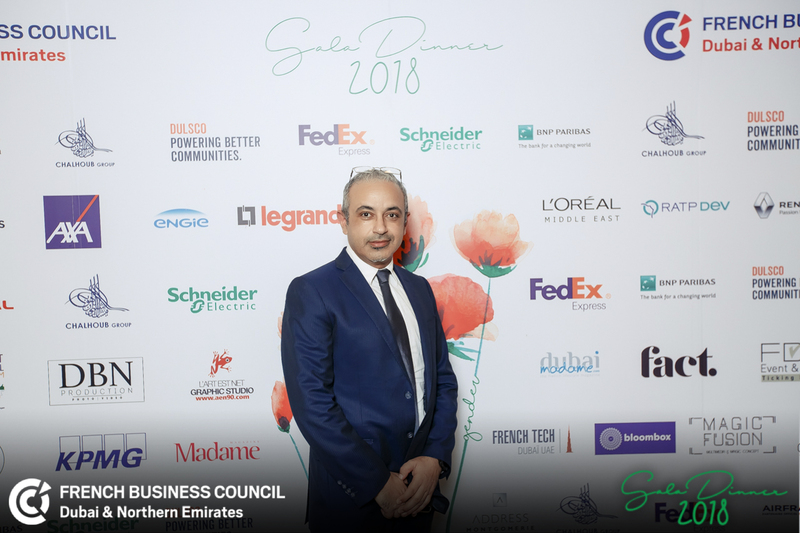 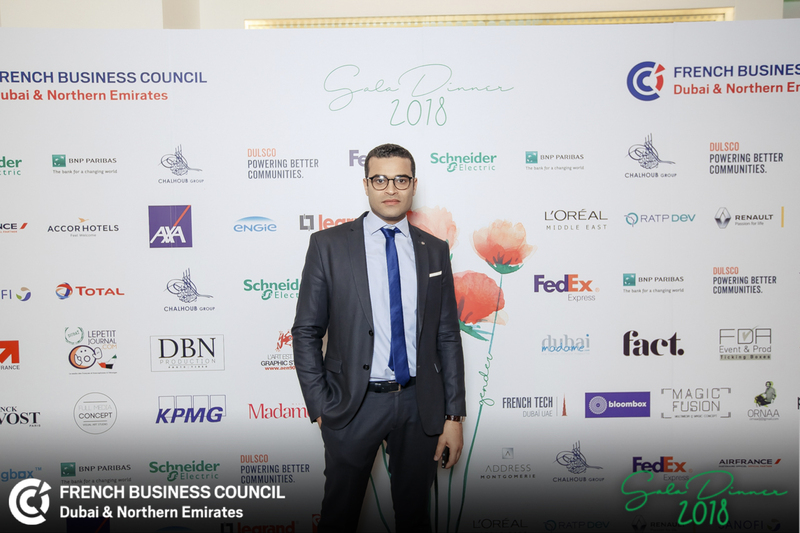 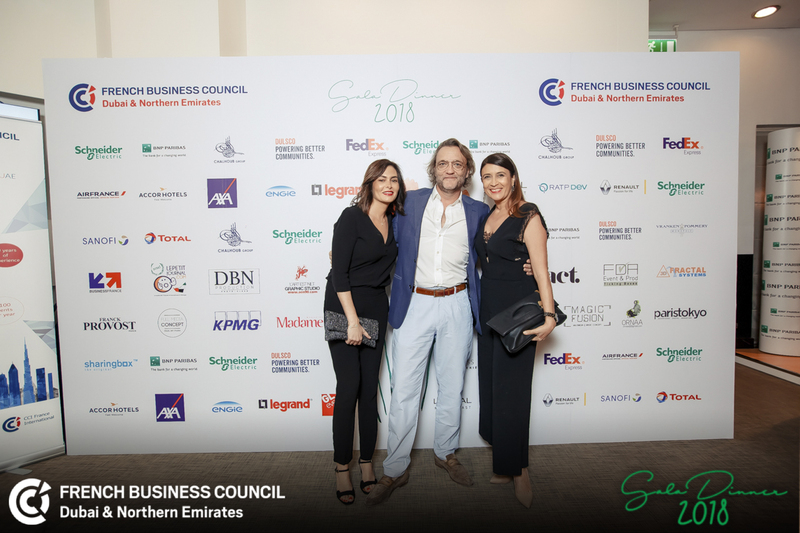 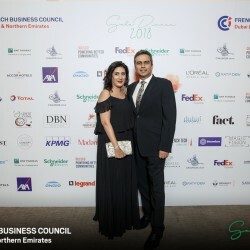 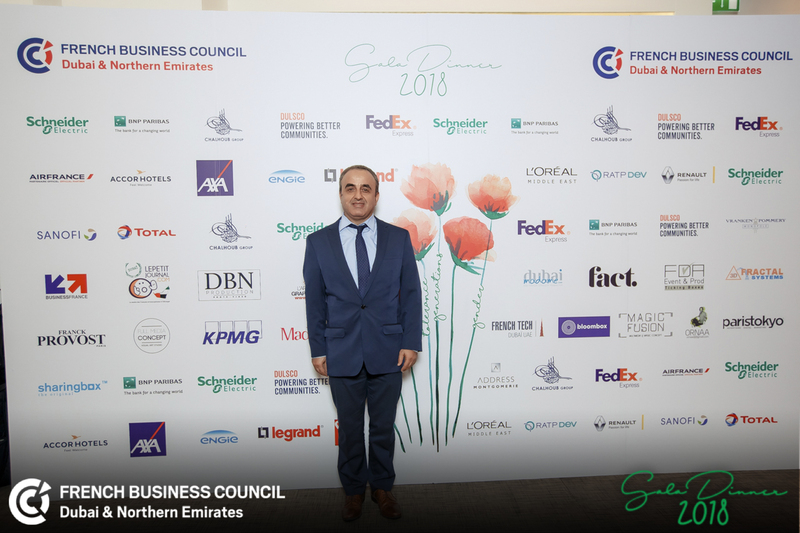 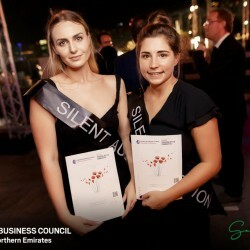 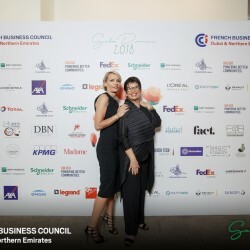 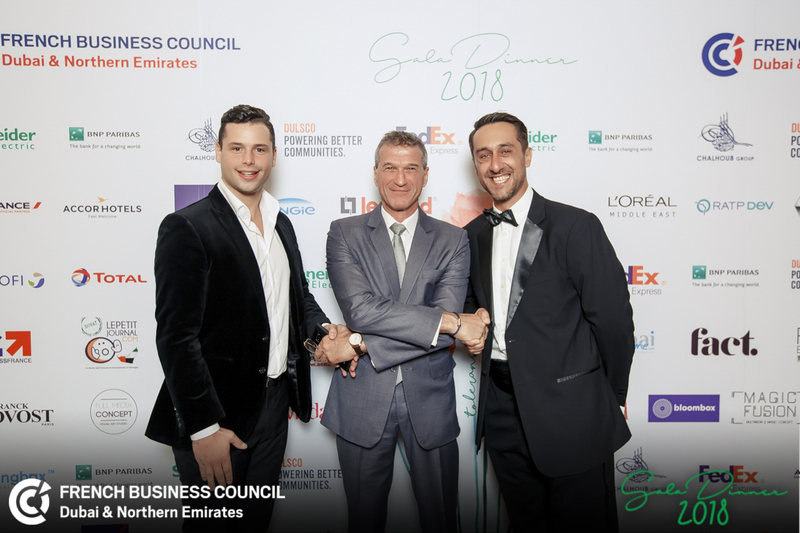 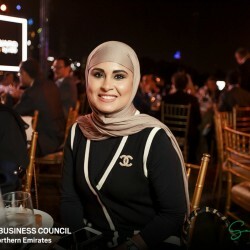 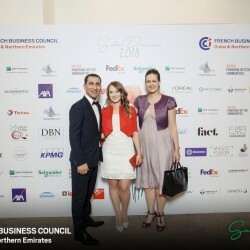 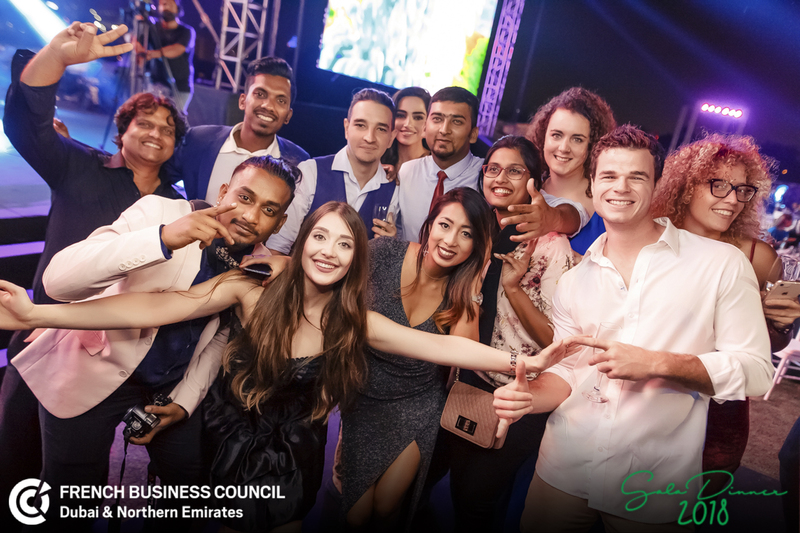 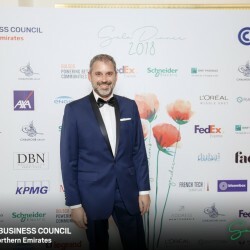 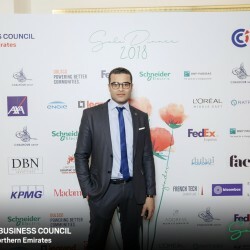 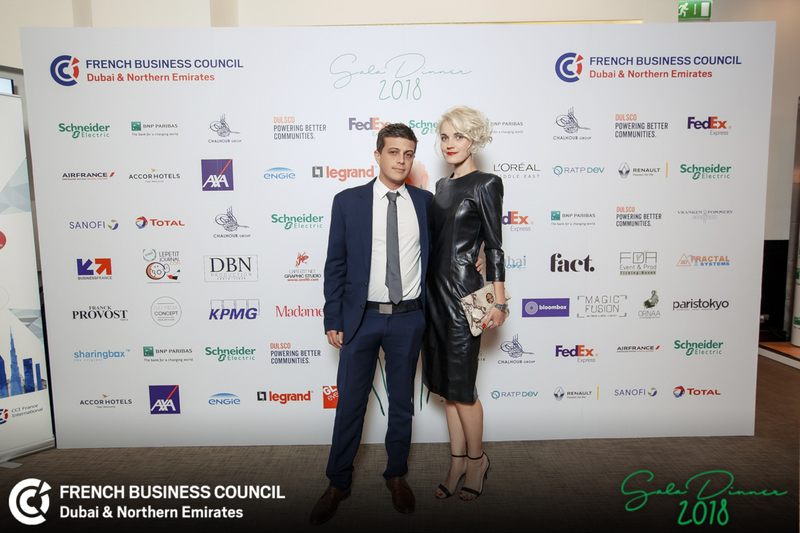 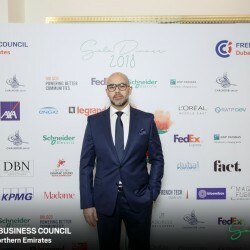 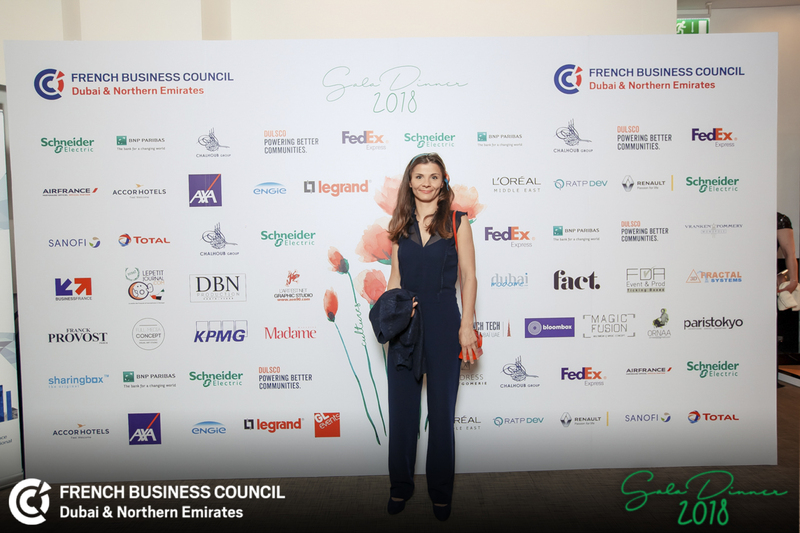 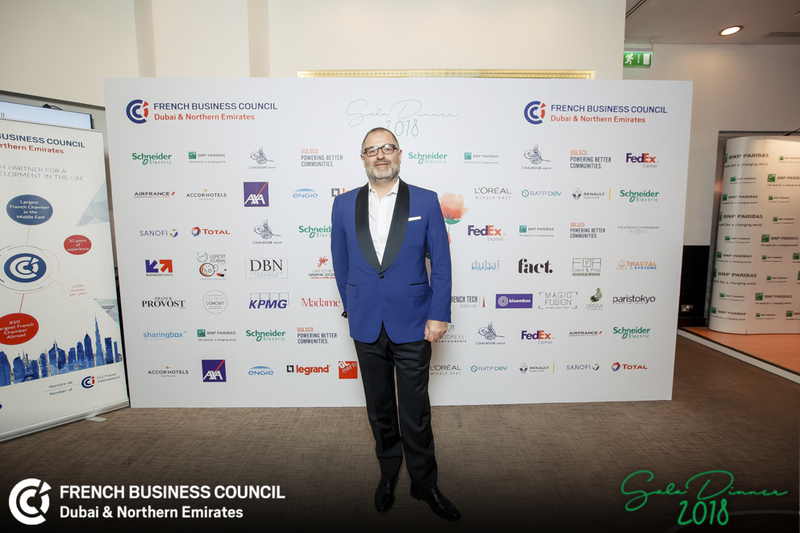 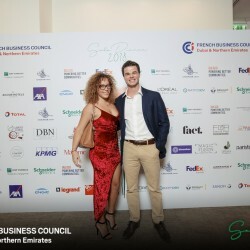 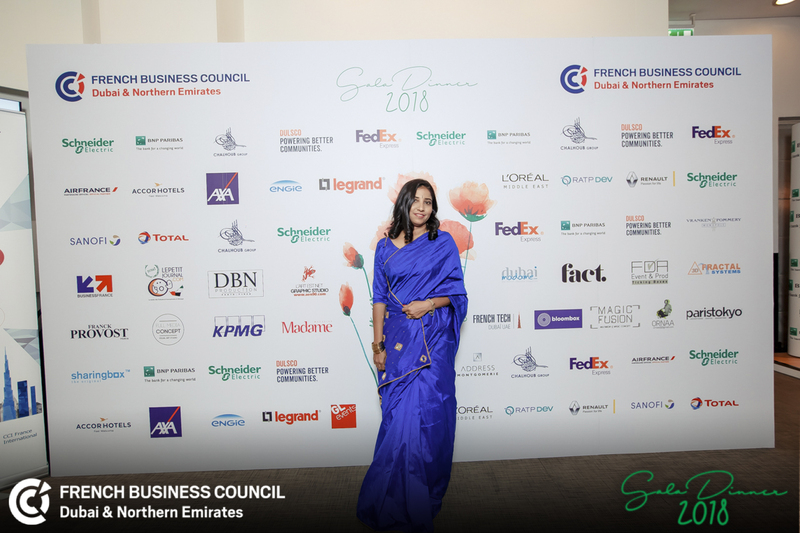 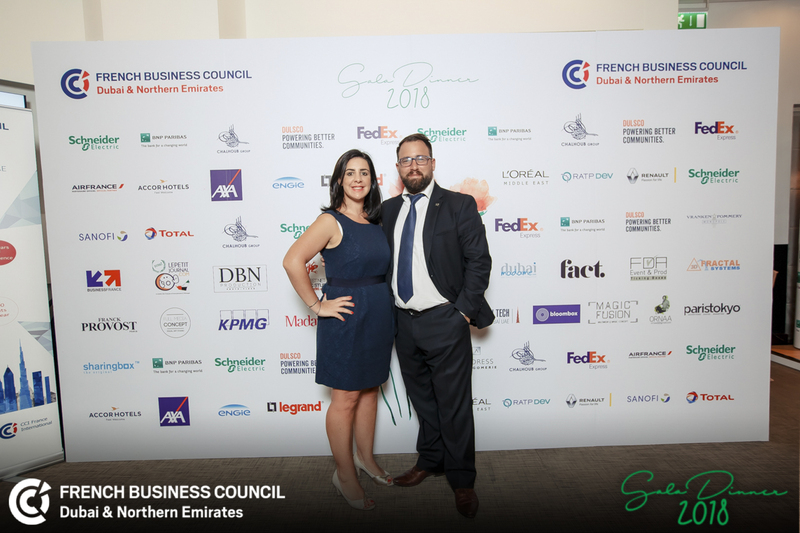 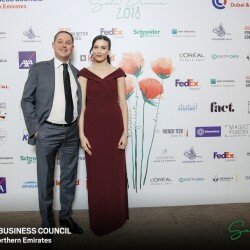 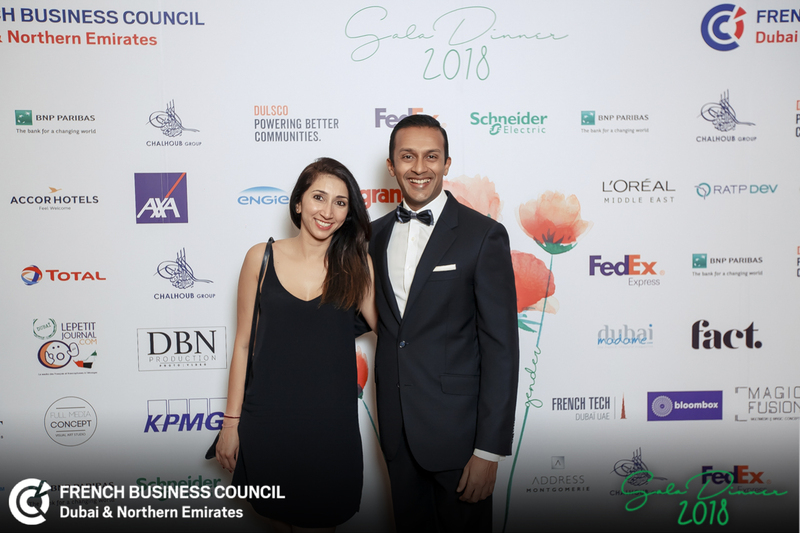 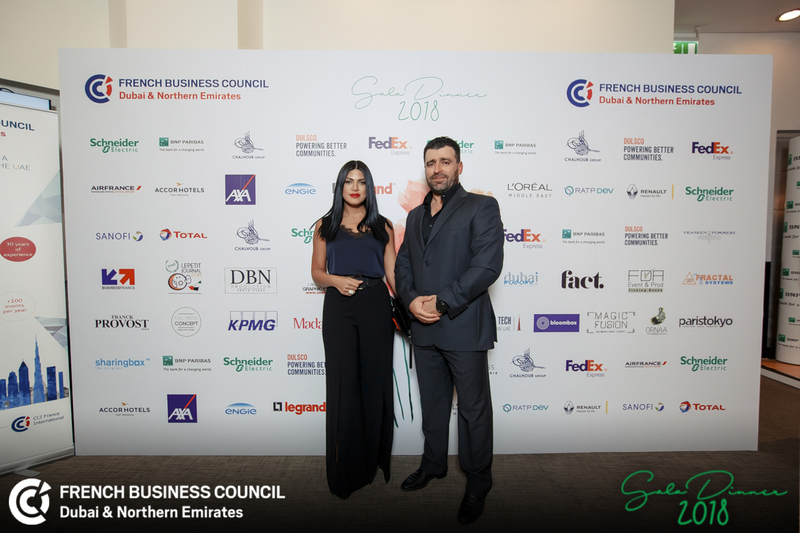 As an expert in retail, distribution and marketing services based in Dubai, the Group has become a major player in the beauty, fashion and gift sectors regionally. 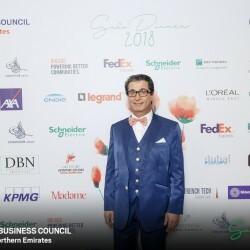 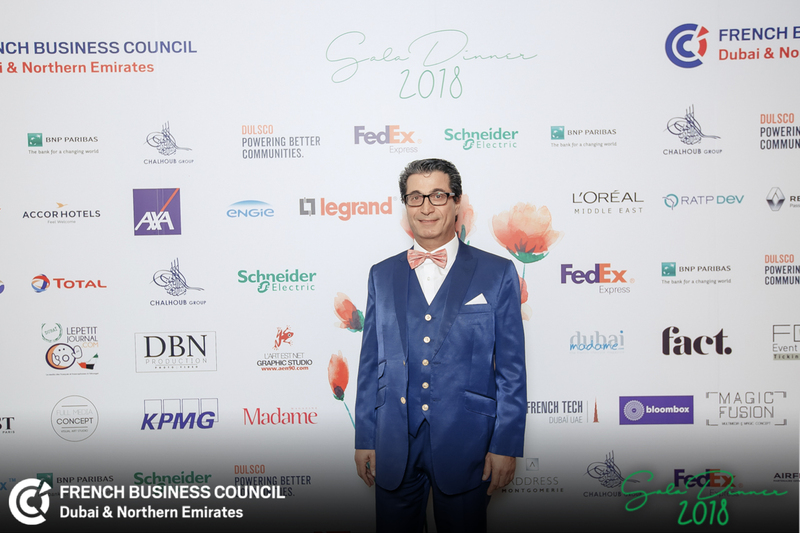 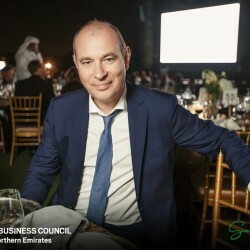 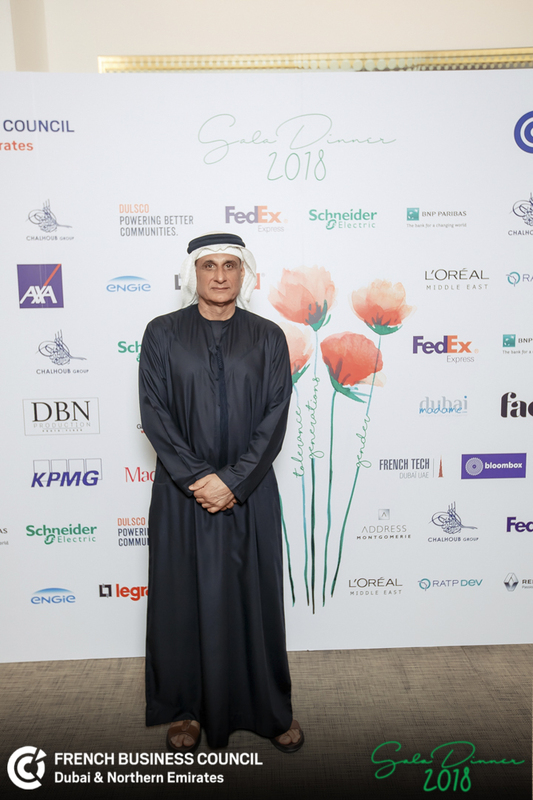 By blending its Middle East expertise and intimate knowledge of luxury, the Chalhoub Group is building brands in the region, by offering service excellence to all its partners and a unique experience to its customers. 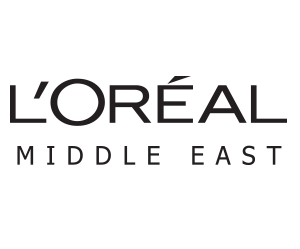 Research and innovation, and a dedicated research team of 3,870 people, are at the core of L’Oréal’s strategy, working to meet beauty aspirations all over the world. 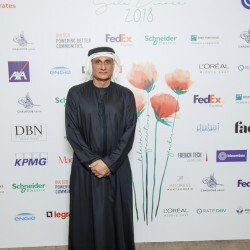 L’Oréal’s sustainability commitment for 2020 “Sharing Beauty With All” sets out ambitious sustainable development objectives across the Group’s value chain. 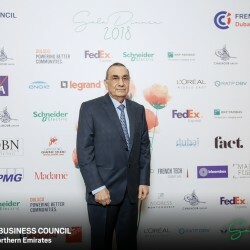 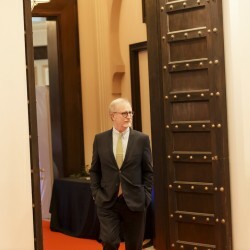 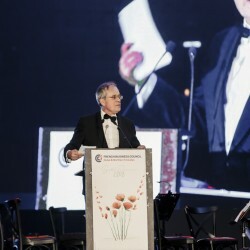 “Since 1990, Total Marketing Middle East, an owned subsidiary of Total Group, established its offices in the UAE and is now a market leader in the Middle East in the manufacturing and marketing of the entire range of automotive and Industrial lubricants, greases, marine lubricants and specialty products through its fully operational Lubricant Blending Unit. 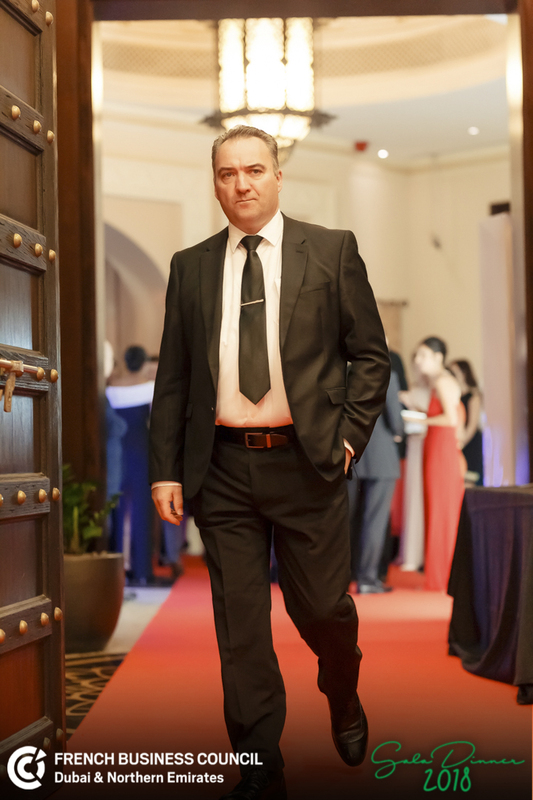 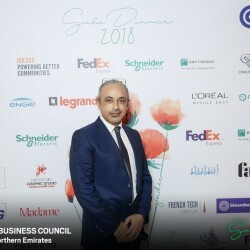 Through its offices across the region and well established distributor network, the company markets the Total & Elf brand of lubricants in the Middle East and Central Asian regions. 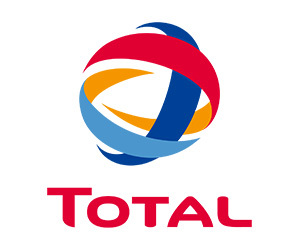 Total Marketing Middle East is a Lubricant solution provider and supplies more than 50 countries. 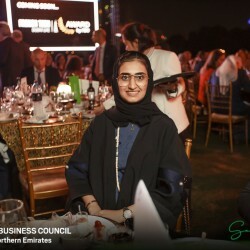 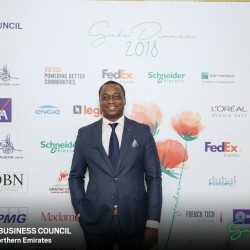 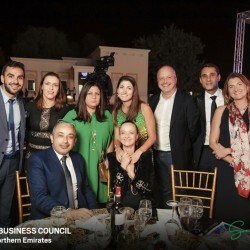 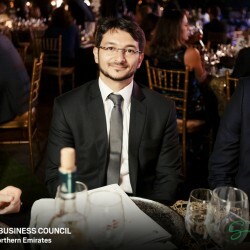 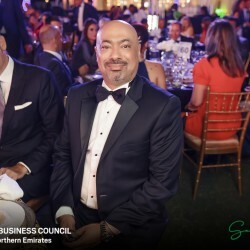 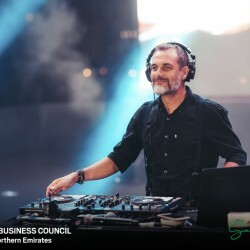 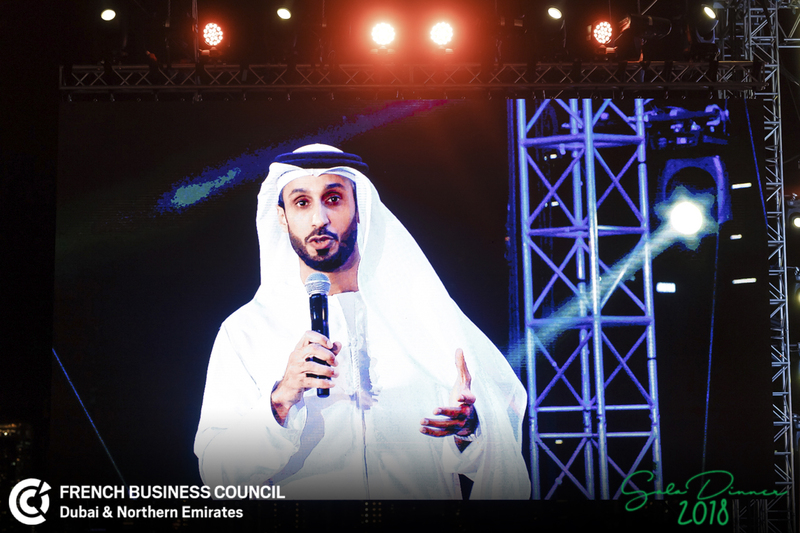 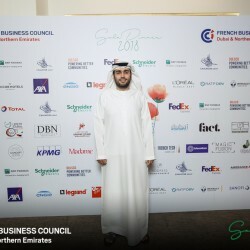 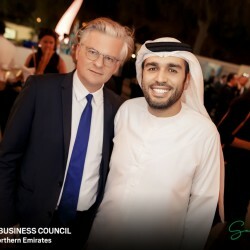 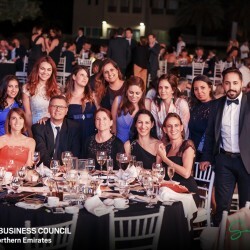 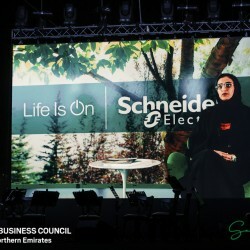 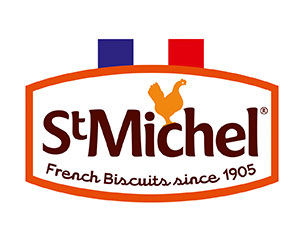 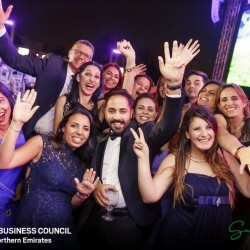 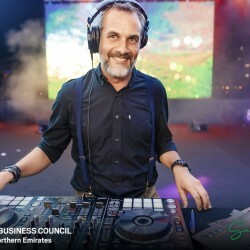 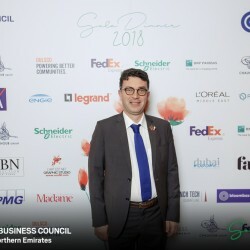 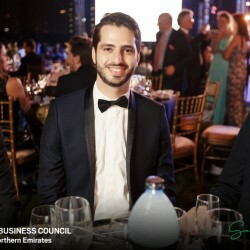 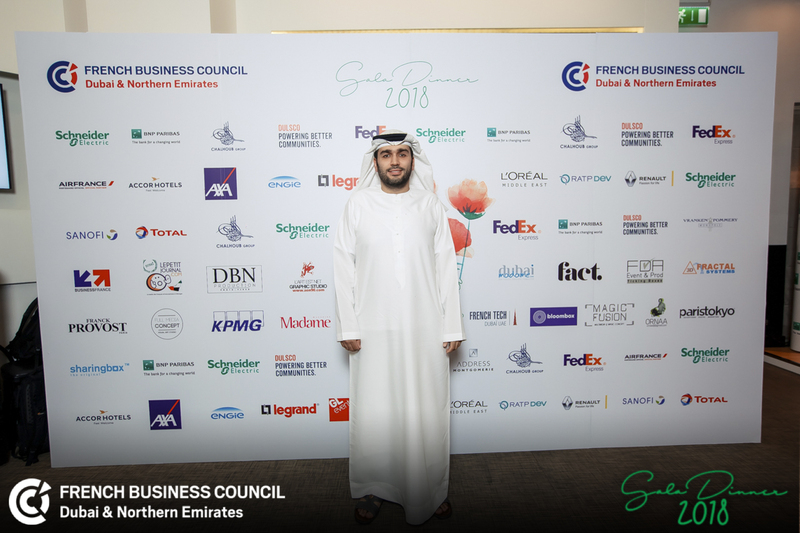 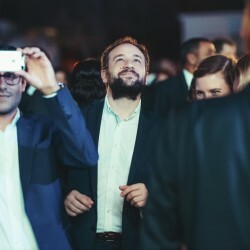 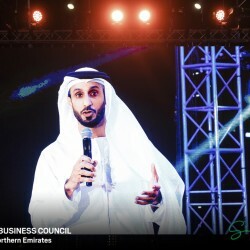 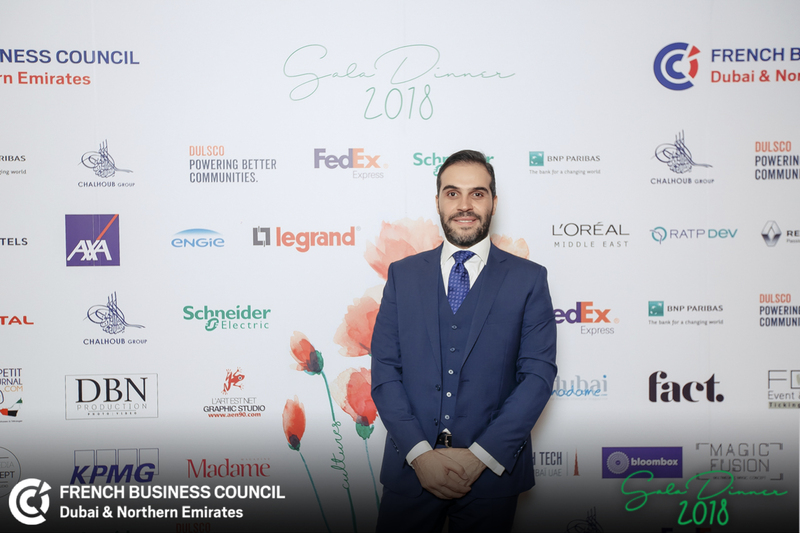 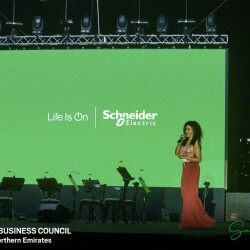 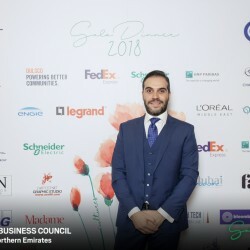 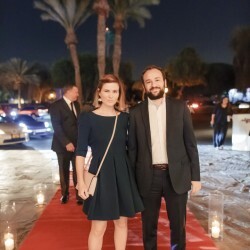 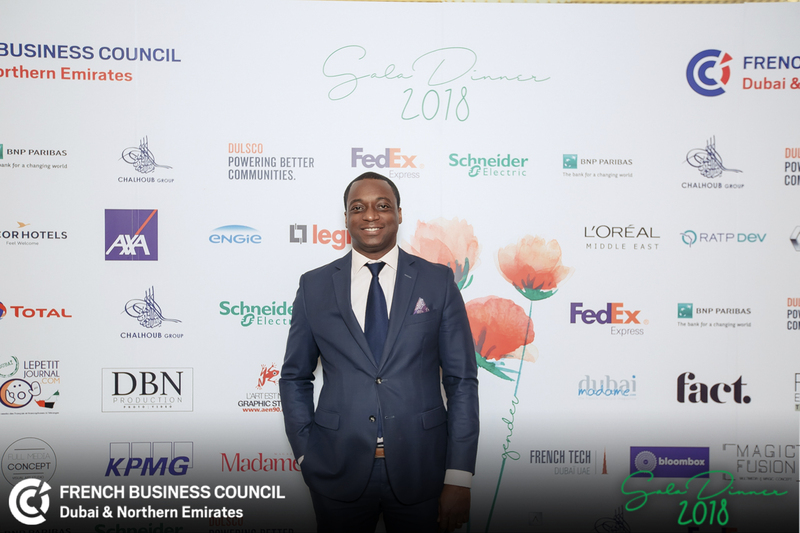 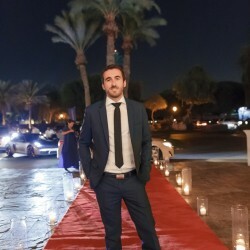 “In Total Marketing Middle East, we enable all of our employees to develop their professional skills and advance in their career without discrimination of any kind and we encourage proactive behavior to ensure that each employee feels welcome and is treated as an integral part of the company”. 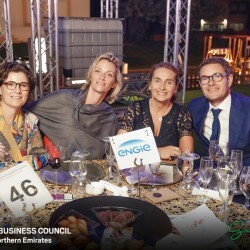 ENGIE is a global energy player and expert operator in the three key sectors of low-carbon power generation, gas infrastructure and energy services. 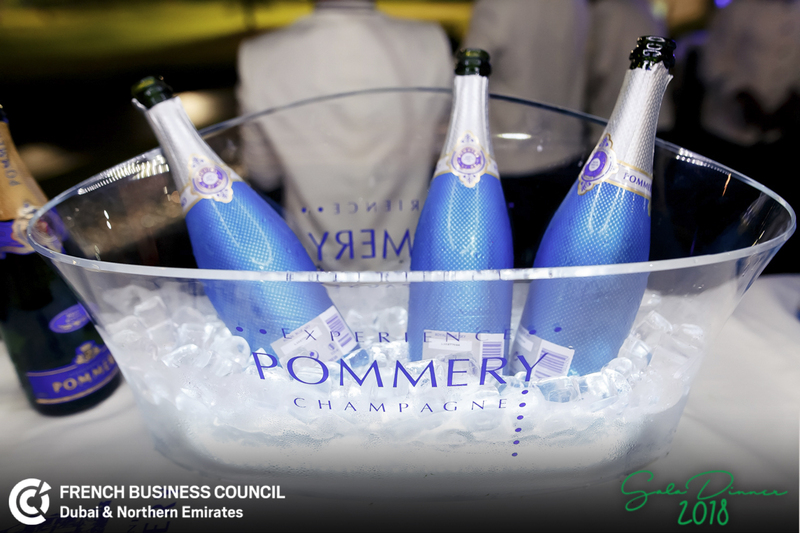 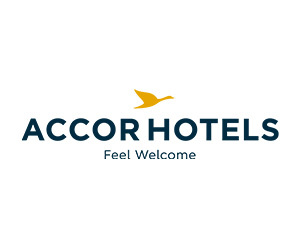 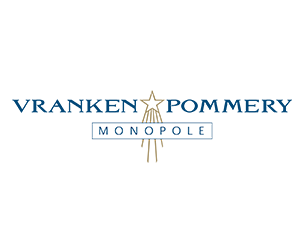 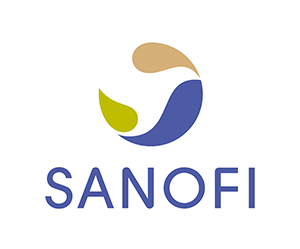 The Group is active in 70 countries, employs 150,000 people worldwide and achieved revenues of EUR 66.6 billion in 2016. 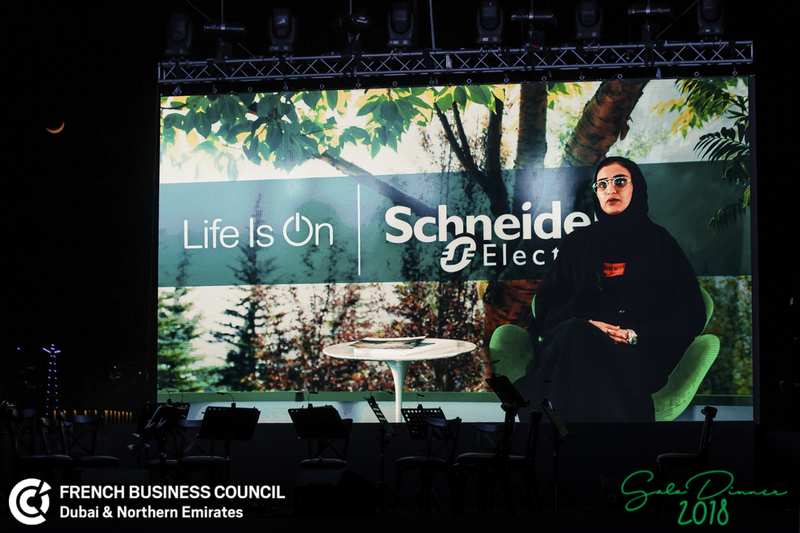 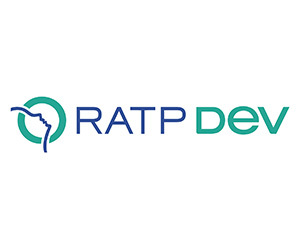 As a leader in the Energy Transition, the Group is accelerating its development, focusing on the decarbonization, decentralization and digitalization of its offerings. 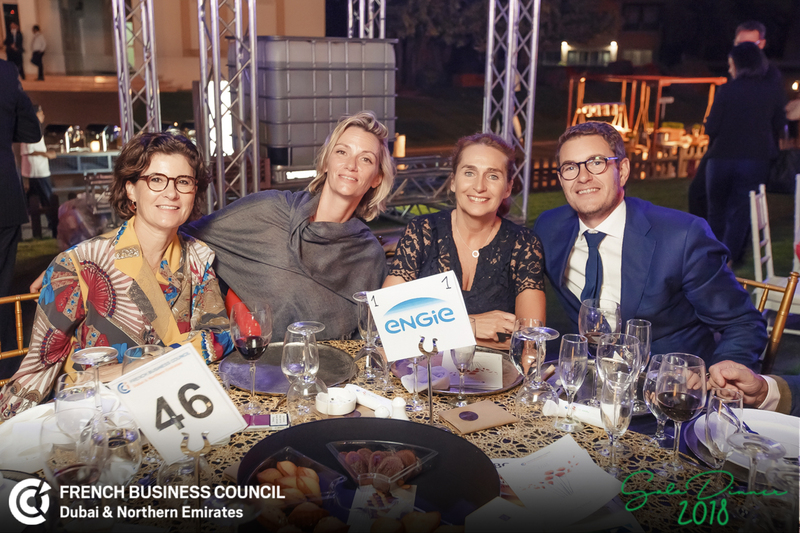 ENGIE develops solutions that combine performance and sustainability and that support its customers in building harmonious progress. 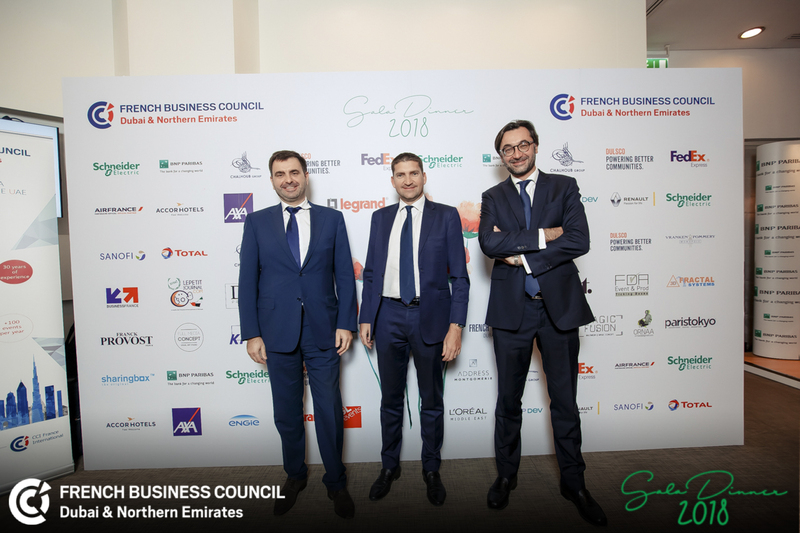 ENGIE Middle East, South & Central Asia and Turkey (MESCAT), with HQ in Dubai (UAE), has a regional presence of 30 years, during which it has been deploying expert solutions to support local customers – private, corporate and local authorities – in realizing their vision. 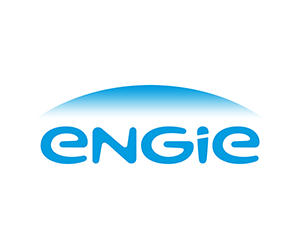 ENGIE is the regional leading independent power & water producer with 32 GW power production and 5.5 million m3/day potable water production. 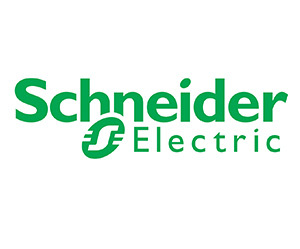 The portfolio includes 810 MWp of solar PV and 30 MW wind in India. 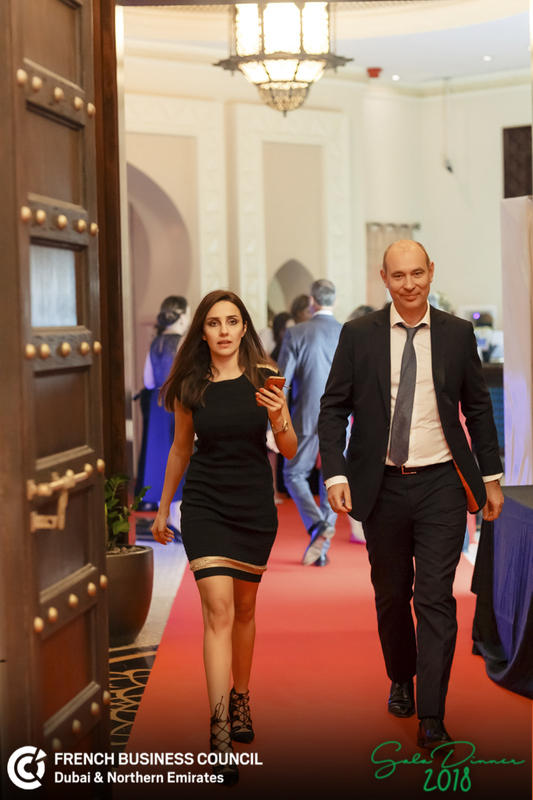 In Turkey, ENGIE has 370,000 customers in gas distribution via IZGAZ and is active in energy retail, trading and origination. 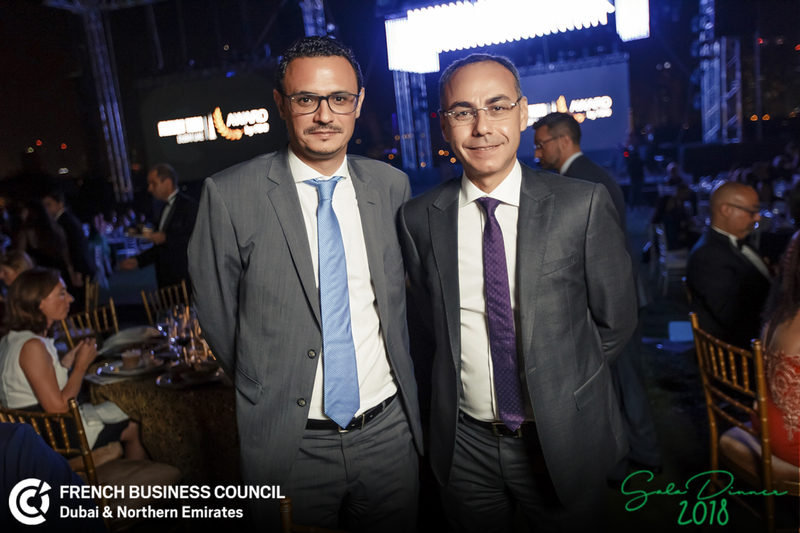 ENGIE owns 40% of Tabreed, the regional leader in district cooling, which is a key regional development platform. 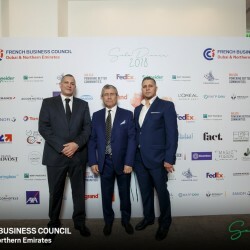 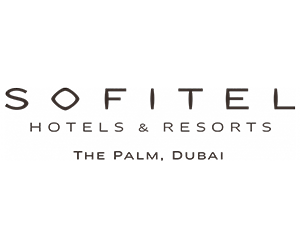 The Group is also the GCC’s leading Facility-Management provider via Cofely-Besix. 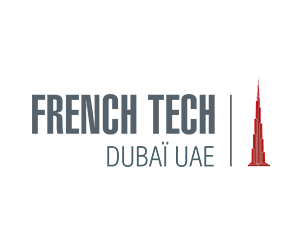 Legrand offers a comprehensive range of products and systems tailored to commercial, residential and industrial markets. 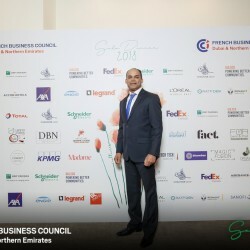 Based in Dubai Silicon Oasis, U.A.E., Legrand SNC FZE is handling operations for the Middle East with local teams in Bahrain, Cyprus, Iraq, Jordan, Kuwait, Lebanon, Oman, Pakistan, Qatar, Saudi Arabia, U.A.E. 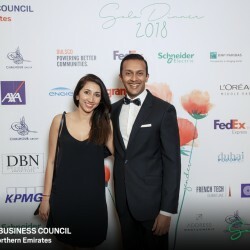 and Yemen. 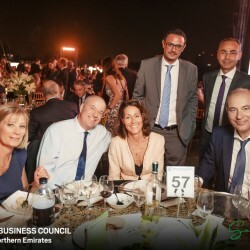 Our regional dedicated teams are there to support you throughout every step of your project and are committed to provide you with excellent services and advice. 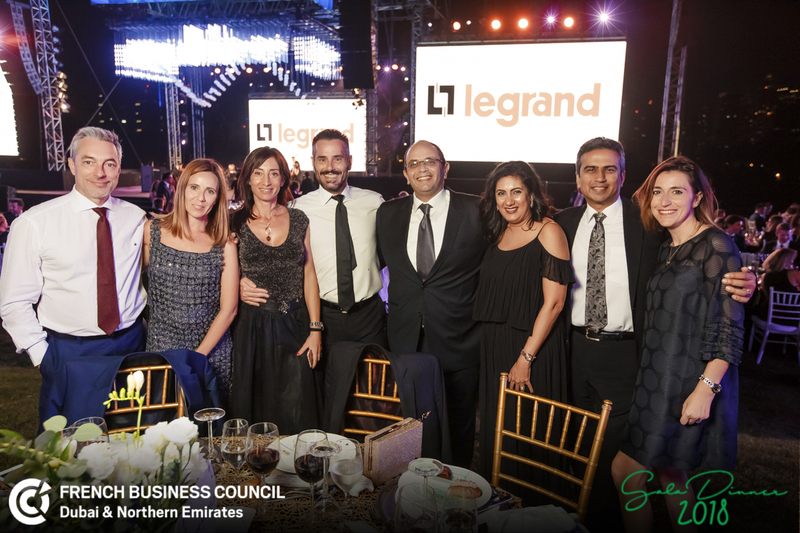 Legrand’s CSR strategy is located at the intersection between the Group’s business, its strategy, and the global challenges it is facing. 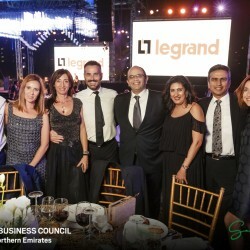 CSR is therefore totally integrated in Legrand’s business. 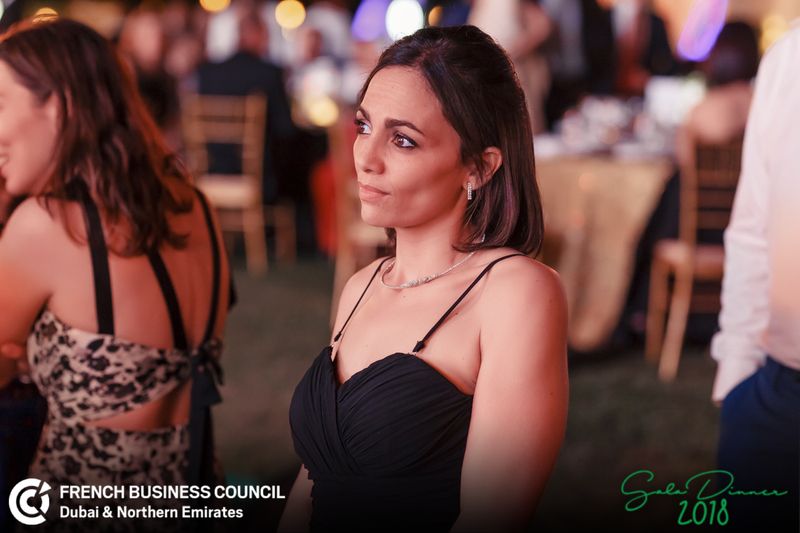 It involves the whole organisation: every subsidiary and entity of the Group is a stakeholder in this CSR strategy and helps to implement it. 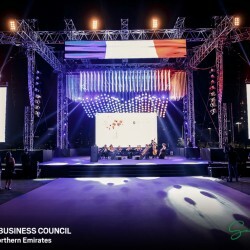 Renault in the Middle East, a French Group with an offensive international strategy. 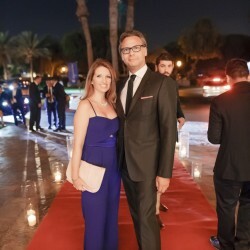 Headquartered in Dubai, Renault Middle East is the operational division of Renault spanning across countries from the Arabian Gulf, Levant and Egypt. 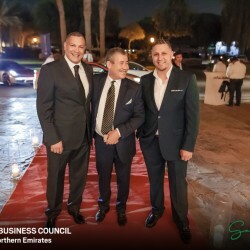 In the UAE, Renault is present via two exclusive distributors: Arabian Automobiles for Dubai and Northern Emirates and Al Masaood Automobiles in Abu Dhabi. 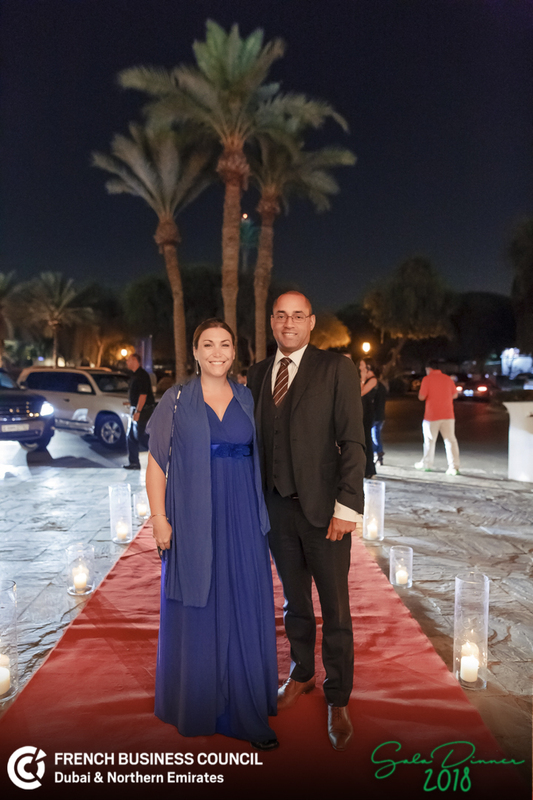 The remarkable growth of Renault in the Middle East region results from a high quality range of Renault models and competitive pricing. 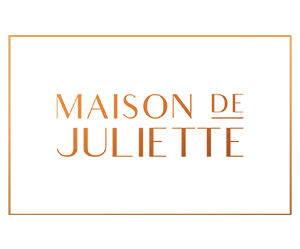 Part of Renault Quality standards, all cars are rigorously tested under local conditions prior to launch to ensure the products meet regional requirements. 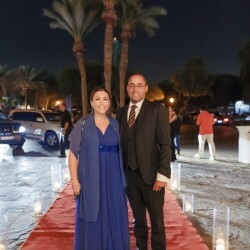 Renault Middle East is part of the AMI Region (Africa-Middle East-India), the Group’s second regional market after Europe. 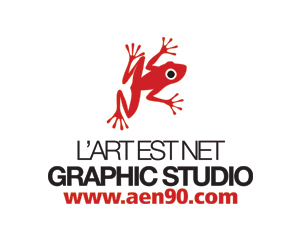 At the end 2015, AMI sales have reached around 360,000 unit sold. 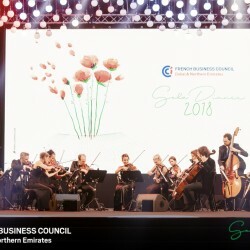 Groupe Renault, a passionate and visionary company. 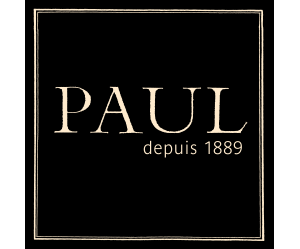 Groupe Renault has been making cars since 1898. 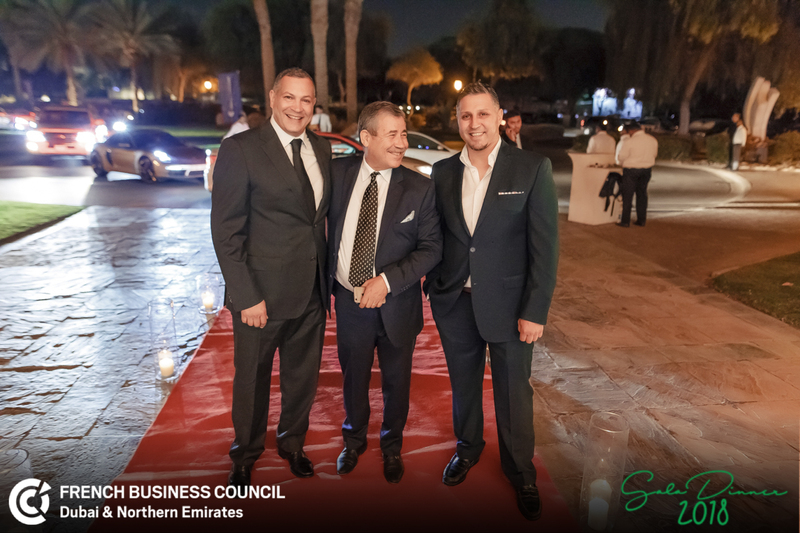 Today it is an international multi-brand group, selling 2.8 million vehicles in 2015 and employing nearly 128,000 people at 38 manufacturing sites and 13,000 sales points around the world. 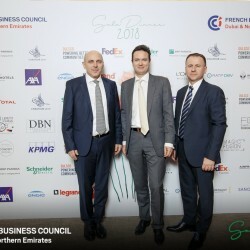 To meet the major technological challenges of the future and continue its strategy of profitable growth, the Group is harnessing its international development, the complementary fit of its three brands, electric vehicles, the Alliance with Nissan, and its partnerships with Avtovaz, Daimler and Mitsubishi. 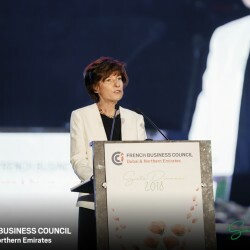 The Renault-Nissan Alliance, formed in 1999, is the fourth-largest automotive group in the world, selling more than eight million vehicles worldwide. 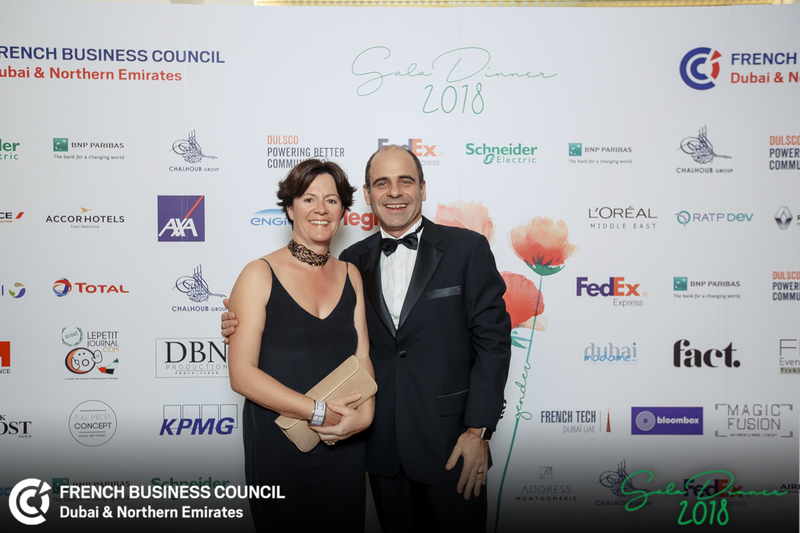 AXA, one of the largest global insurers, is a worldwide leader in Insurance and Asset Management with a purpose of empowering people to live a better life. 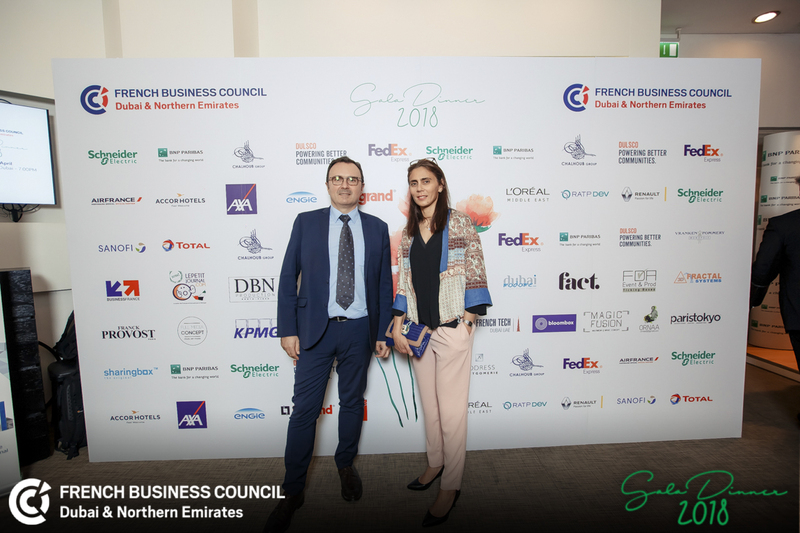 In the Gulf region, AXA has been present for more than 65 years, offering a wide range of insurance products and services for corporate, SME and individual customers. 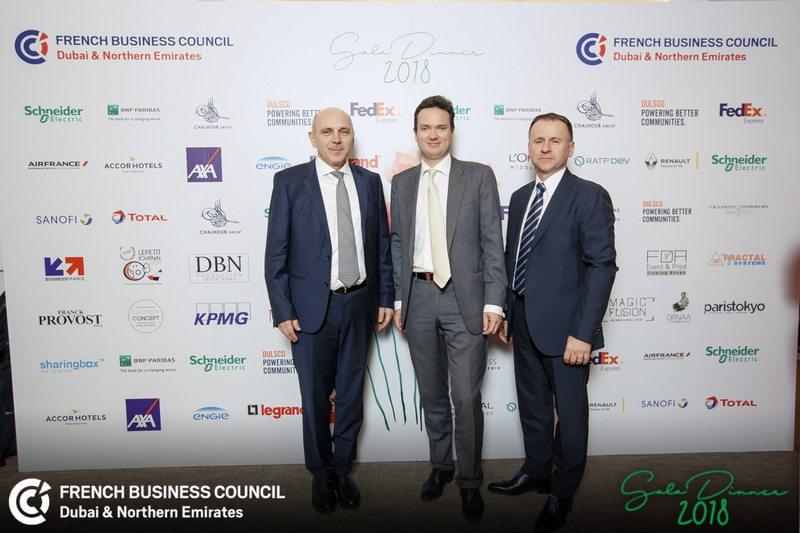 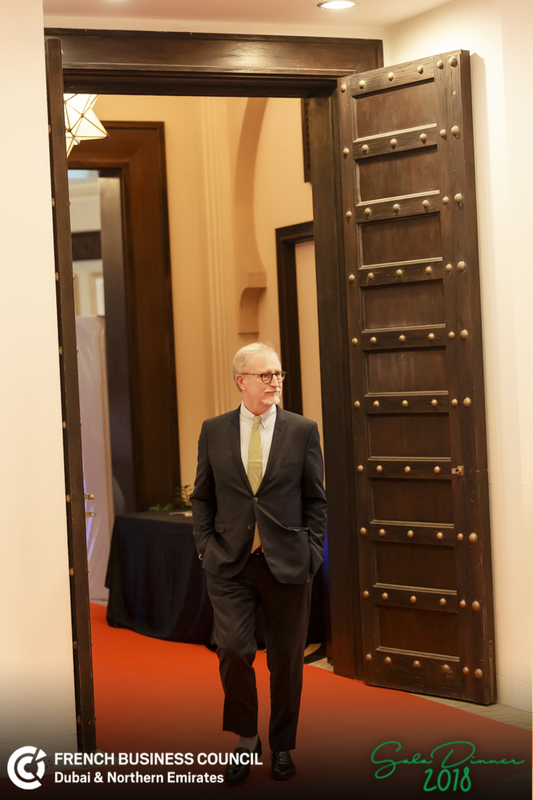 AXA in the Gulf is one of the largest international players in the GCC, covering the UAE, Oman, Bahrain and Qatar markets, with a workforce of over 765 employees, 22 branches and retail shops region-wide and close to 1 million customers. 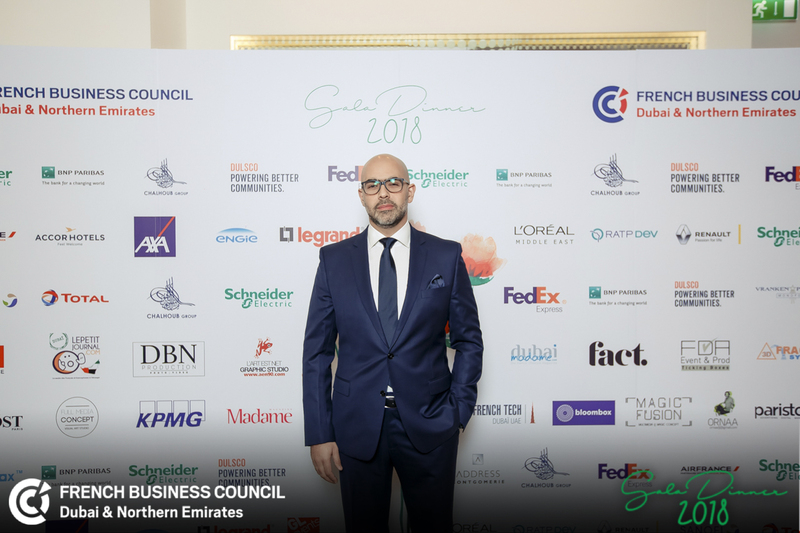 With a range of products and services tailored to each customer, covering property & casualty insurance and life & health insurance, AXA in the Gulf is a multi-lined one-stop shop insurer. 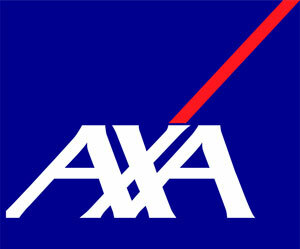 Recognised as a leading insurance brand, AXA has been winning several awards for its quality of services and products, and remains the #1 Global Insurance Brand for the 9th consecutive year as per Interbrand rating. 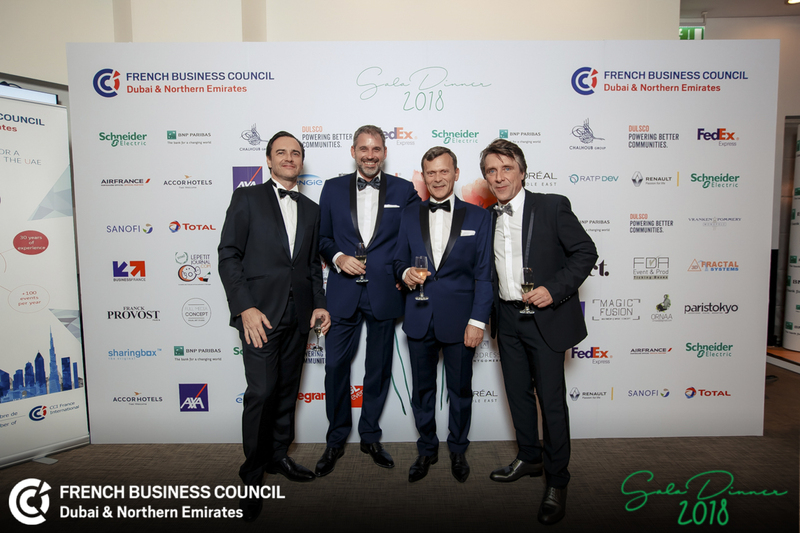 A global giant with a strong European base, the Air France-KLM Group’s main areas of business are passenger transport, cargo transport and aeronautical maintenance. 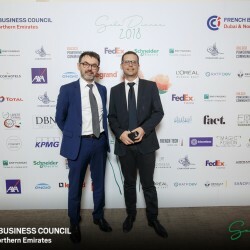 Air France-KLM is the leading Group in terms of international traffic on departure from Europe. 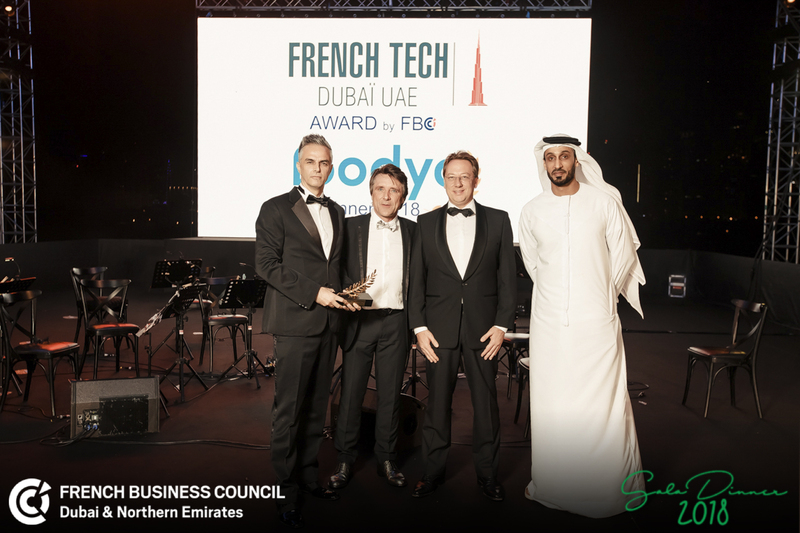 In 2017, it offers its customers access to a network covering 328 destinations in 118 countries thanks to its five brands Air France, KLM Royal Dutch Airlines, Joon, Transavia and HOP! 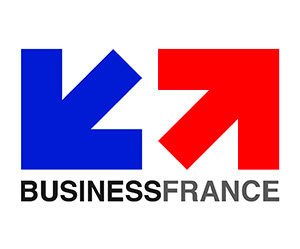 Air France. 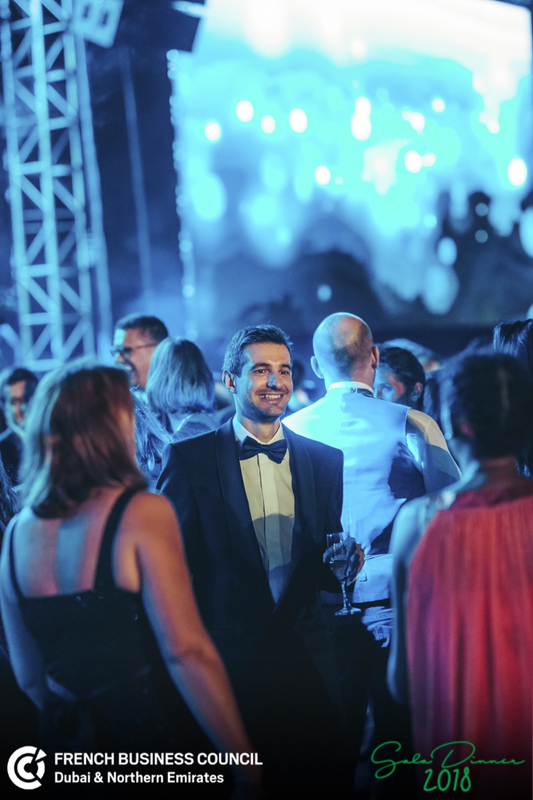 With a fleet of 534 aircraft in operation and 93.4 million passengers carried in 2016, Air France-KLM operates up to 2,300 daily flights, mainly from its hubs at Paris-Charles de Gaulle and Amsterdam-Schiphol. 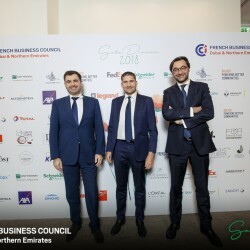 Air France-KLM and its partners Delta Air Lines and Alitalia operate the biggest trans-Atlantic joint-venture with over 270 daily flights. 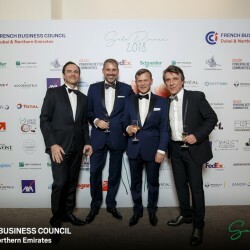 Air France-KLM is also a member of the SkyTeam alliance which has 20 member airlines, offering customers access to a global network of over 16,600 daily flights to more than 1,070 destinations in 177 countries. 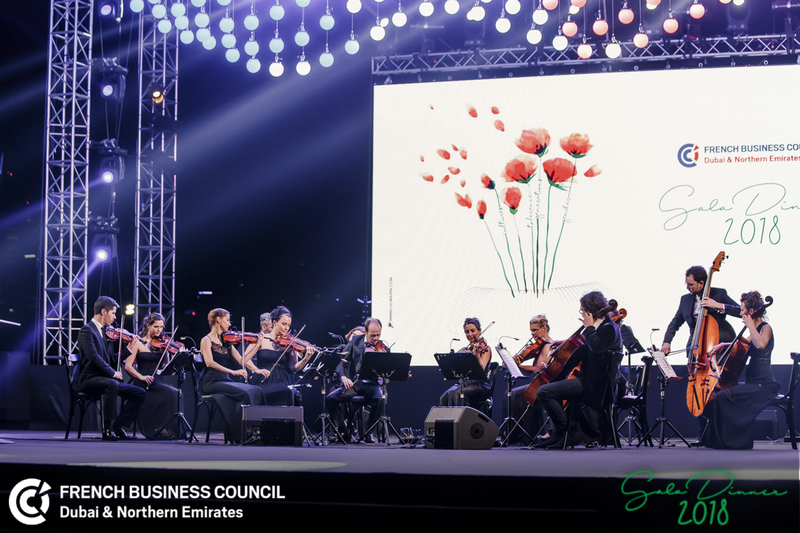 Since we started in 2012, we’ve delighted more than 500,000 customers in our 50+ flower shops located in the major malls of the UAE. 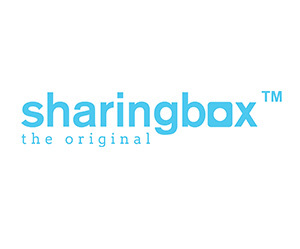 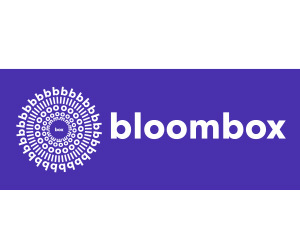 Bloombox is represented by a diverse, passionate, and experienced team of flower enthusiasts. 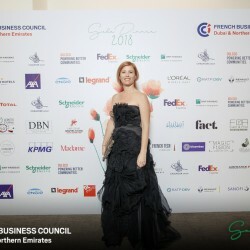 Feel free to contact us for any flower needs! 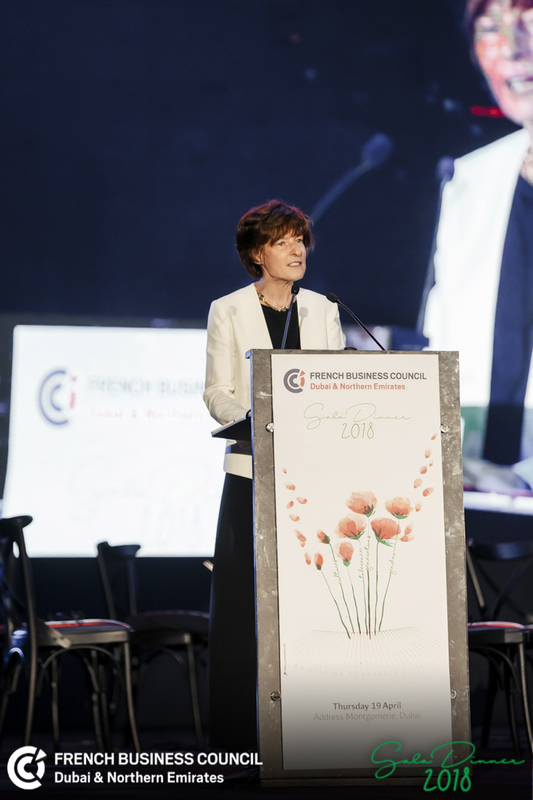 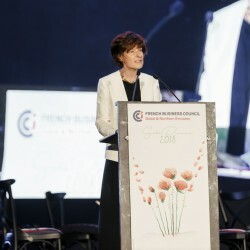 Business France launched an international campaign called: “CREATIVE FRANCE”, in order to promote France’s economic attractiveness, strengthen perceptions towards France image and create positive conditions for French economic development. 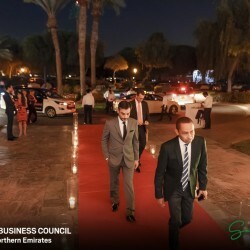 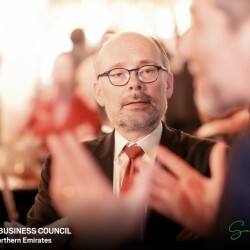 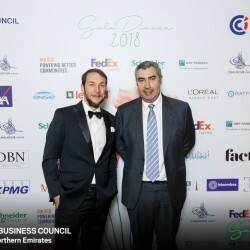 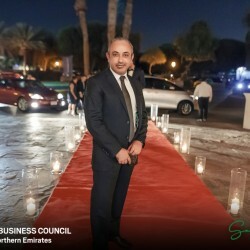 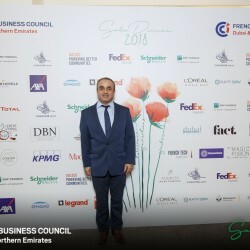 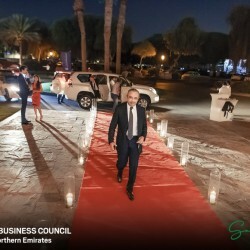 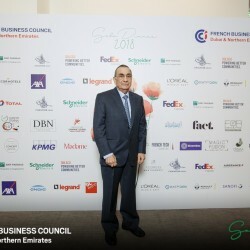 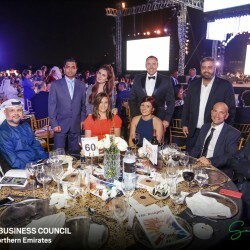 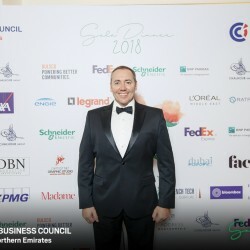 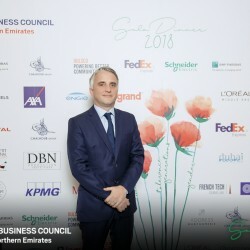 As one of the leading professional services in the UAE and Oman, we are proud of our reputation for delivering cutting-edge solutions and exceptional client value. 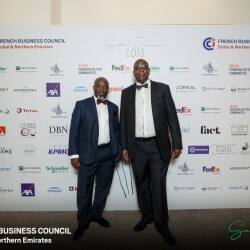 With over 50 partners and directors leading 750 professionals across the offices, we offer independent audit, tax and consulting advisory services, to business corporations, government bodies and not for profit organizations. 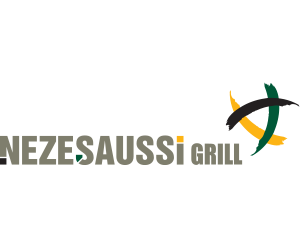 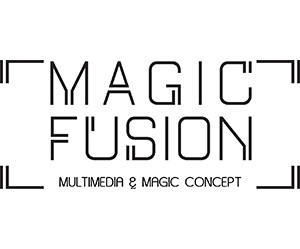 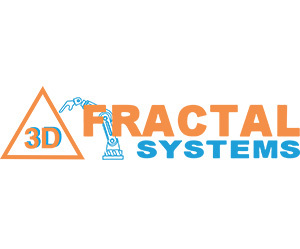 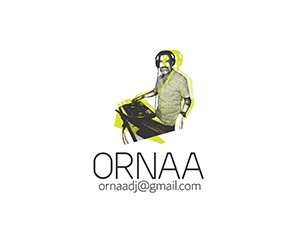 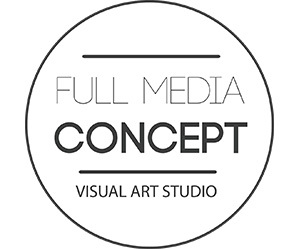 We design a strong communication from solid brand fondations. 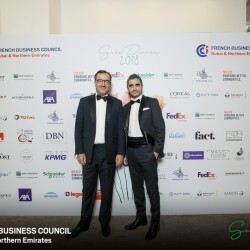 Since a decade on the Middle East market, Paristokyo is part of THE BOX GROUP composed of three other French advertising companies: Iziasys established in 2001, Idaho established in 1988, and Jviewimmo established in 2006. 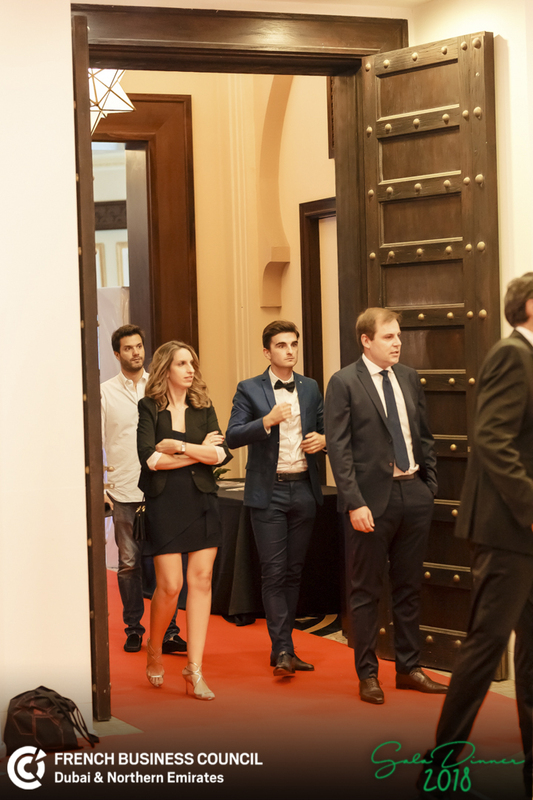 At Paristokyo, we carefully listen to clients as we believe that the starting point of any projects has to be based what your values are, your needs and more importantly selecting solutions that fit your budget! 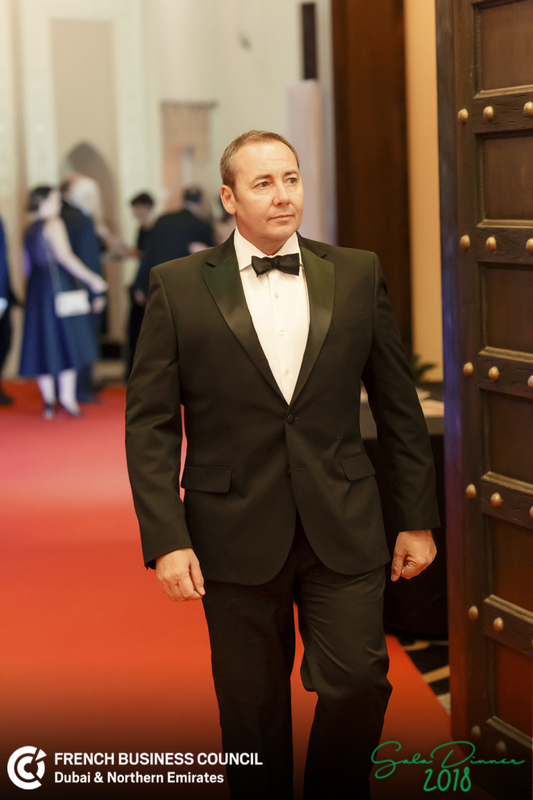 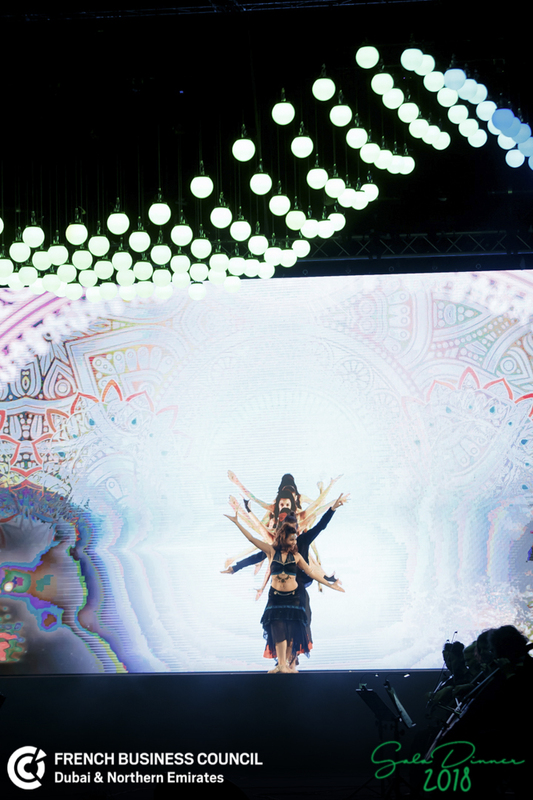 Paristokyo activities are focused on providing strategic solutions, devoted to make you stand out from the crowd. 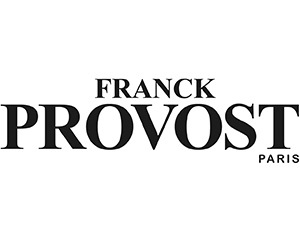 Paristokyo’s strength is our experienced creative team with passionate business units which will guide you through your evolution and implementation of optimal solutions. 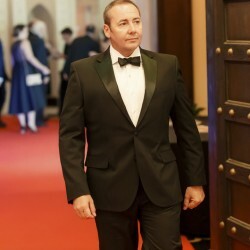 Paristokyo is a partner for tailored recommendations, implementation of a strategic communication and success stories. 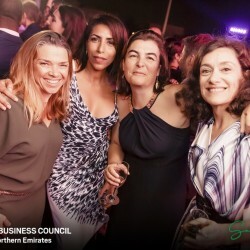 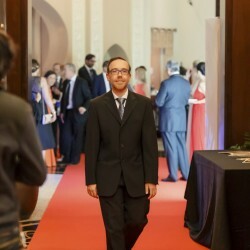 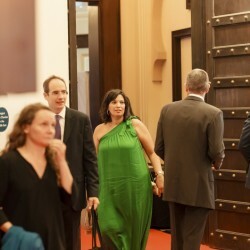 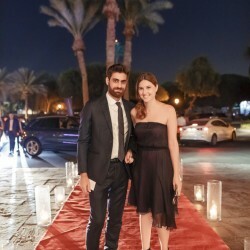 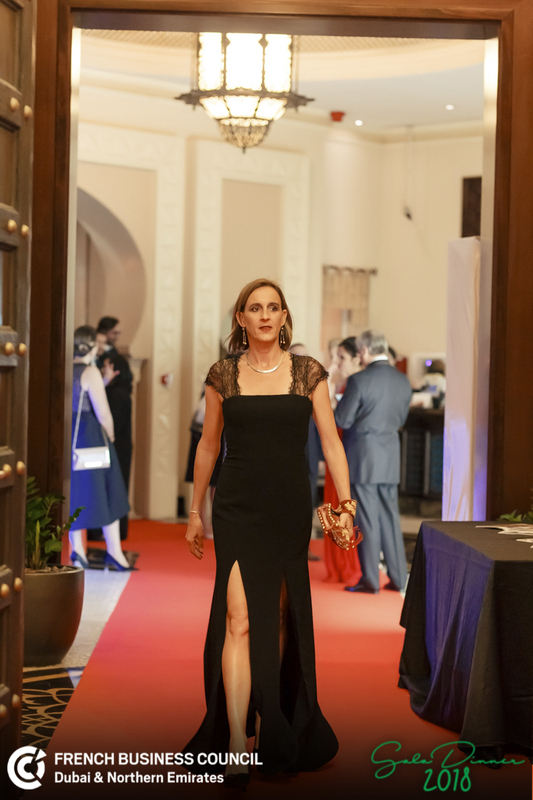 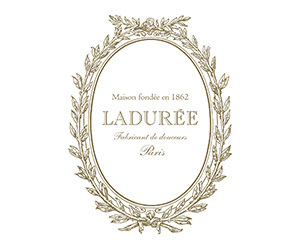 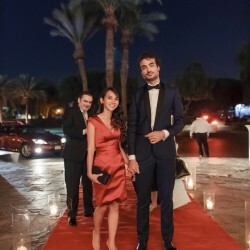 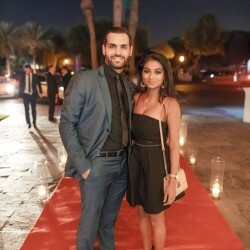 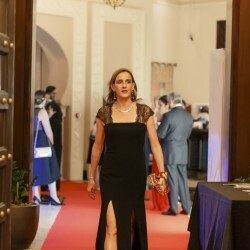 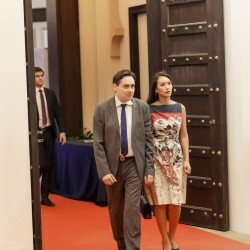 Dubaimadame.com is the only women’s webmagazine written in French for the French speaking community living in Dubai and the UAE. 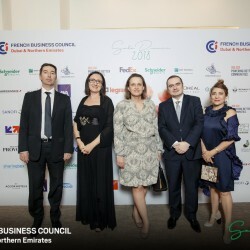 Since its inception in 2009, it has become the French Community’s site of reference for all residents, newcomers and tourists thanks, mainly, to its interaction with the readers and to its exhaustive content. 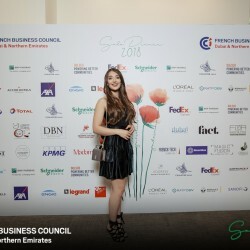 The magazine not only features daily online articles, a monthly agenda, interviews and topics of fashion, beauty, health but also a selection of the best places to go out to and of the best deals in town. 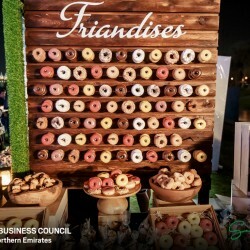 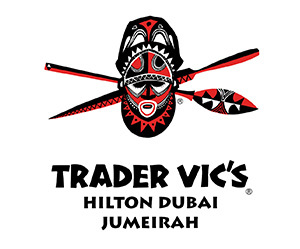 Dubaimadame.com is as well organizing interactive coffee conferences around federative topics, for the delight of our faithful readers. 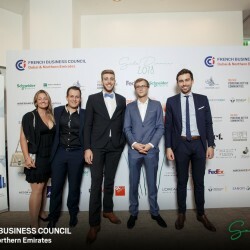 Dubaimadame.com finally is the essential guide to French expatriates who move to Dubai, thanks to practical information such as “How to settle in the UAE?” “What school for your kids?”etc. 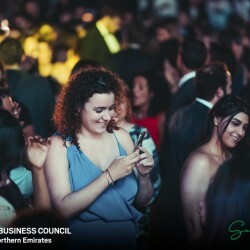 and to our “Classifieds” which aim at meeting any need from finding a job, to selling or buying a car and so on …be connected !